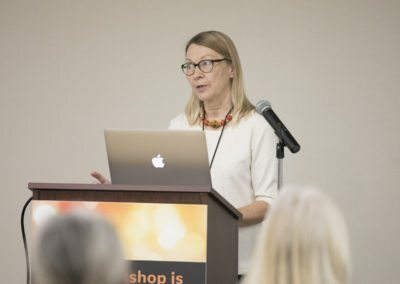 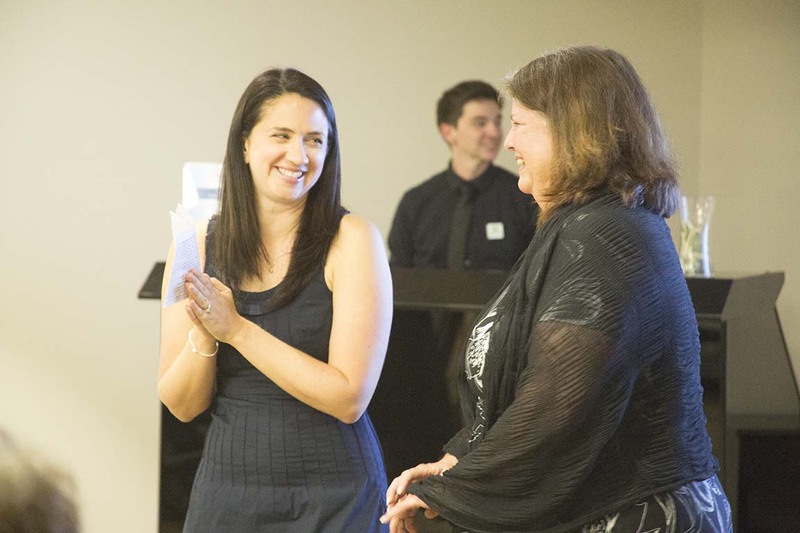 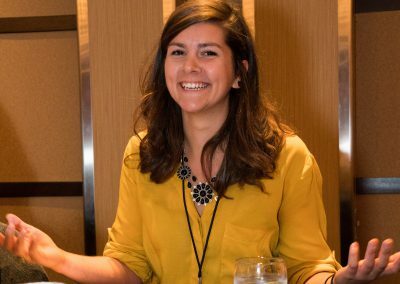 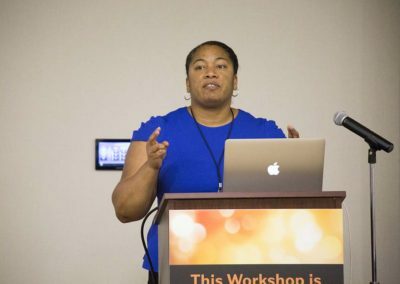 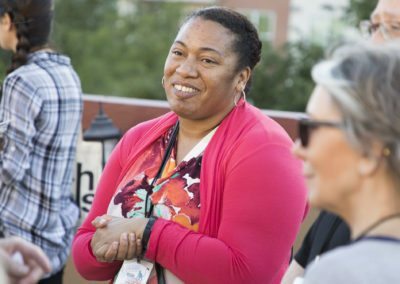 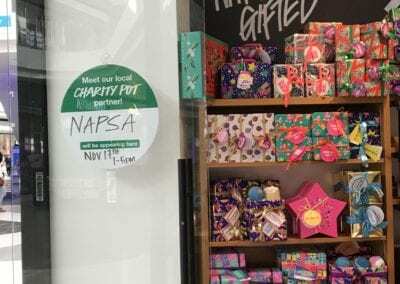 NAPSA’s Program Director, Erika Fleury, spread the word about NAPSA at an in-store event in November 2018. 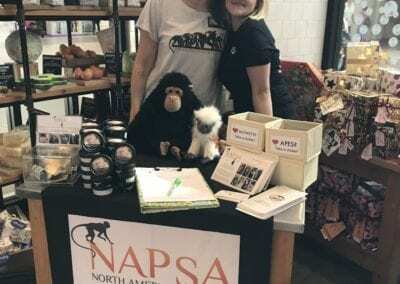 The store’s Charity Pot Star, Crystal, ensured Lush staff were well-educated about NAPSA and primate sanctuary facts. 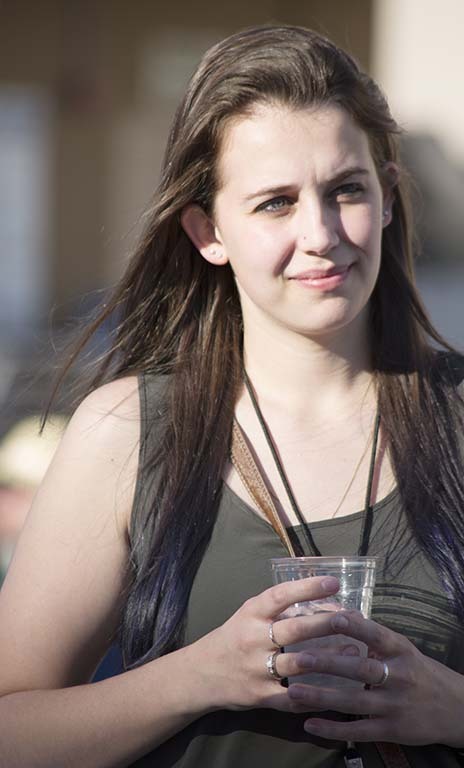 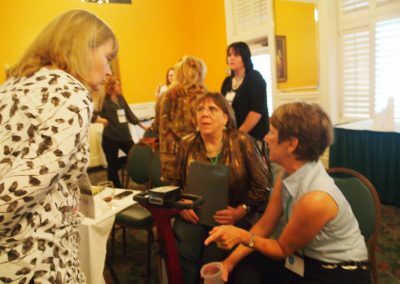 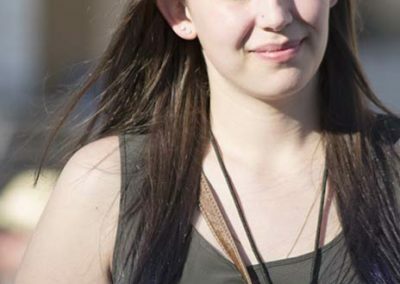 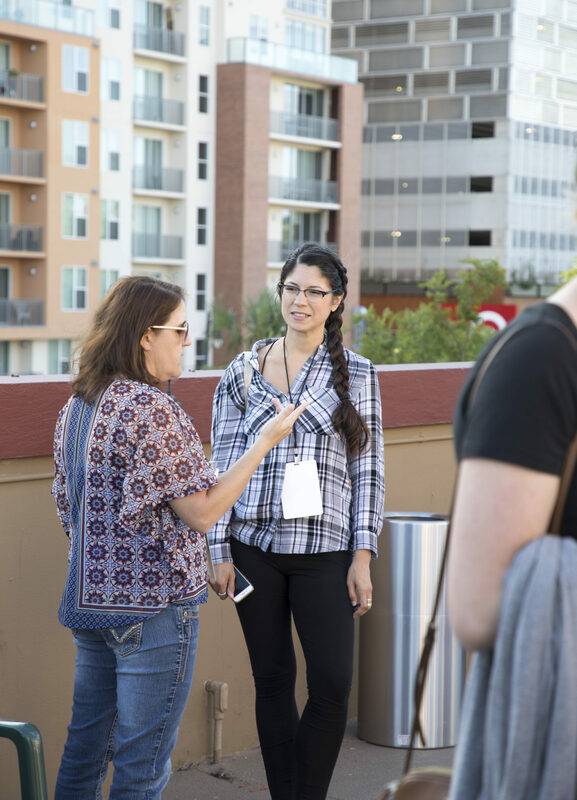 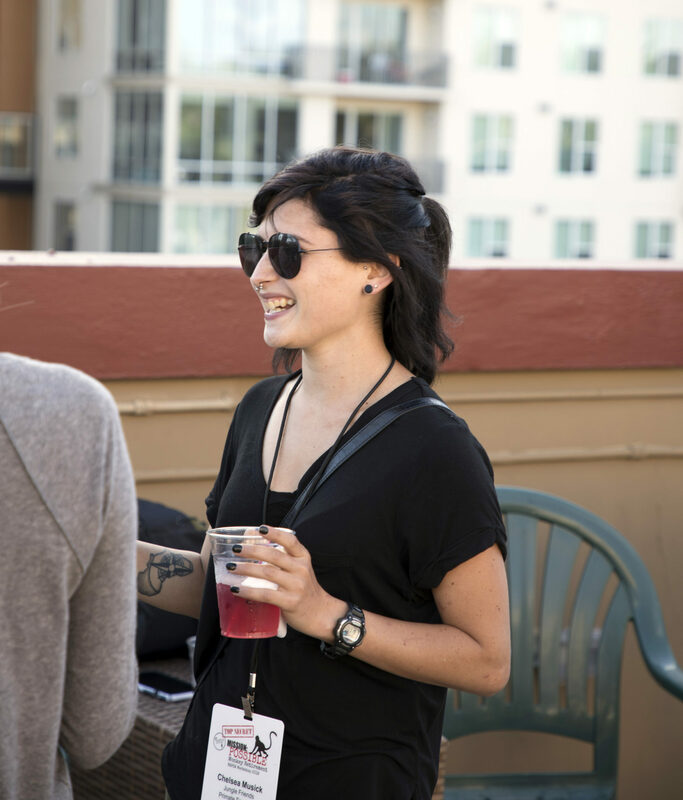 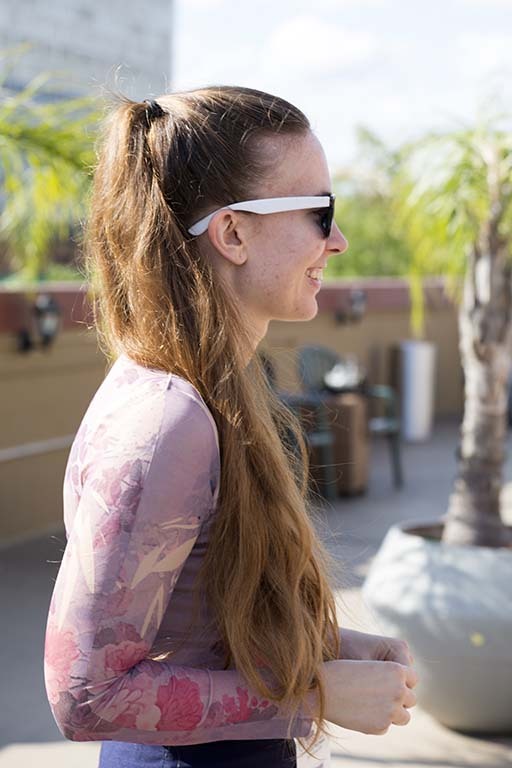 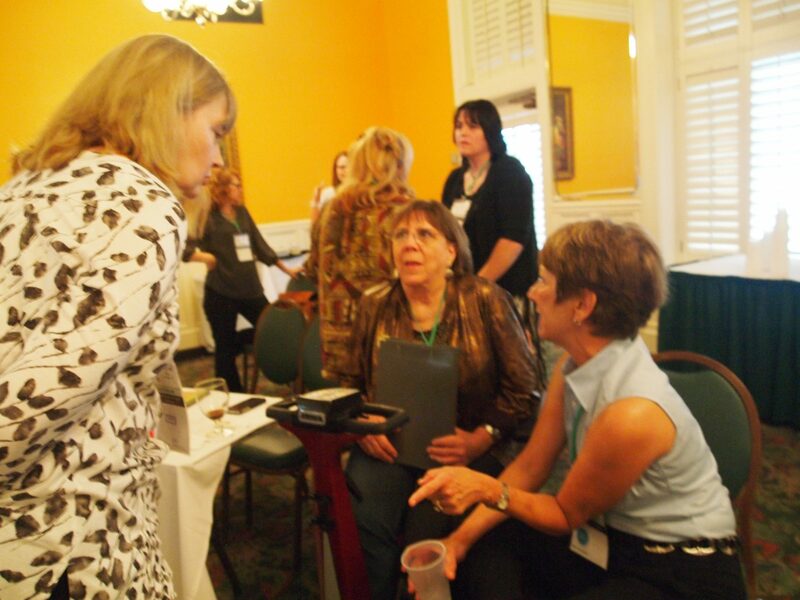 She helped direct people to our table so they could meet Erika and learn more. 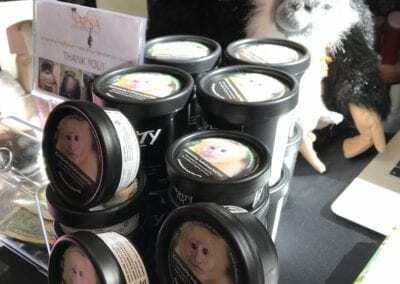 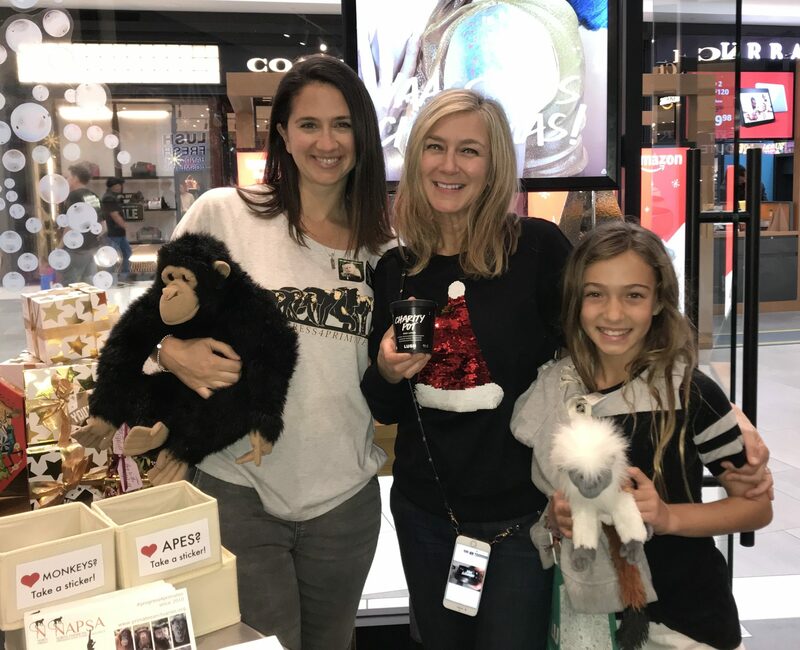 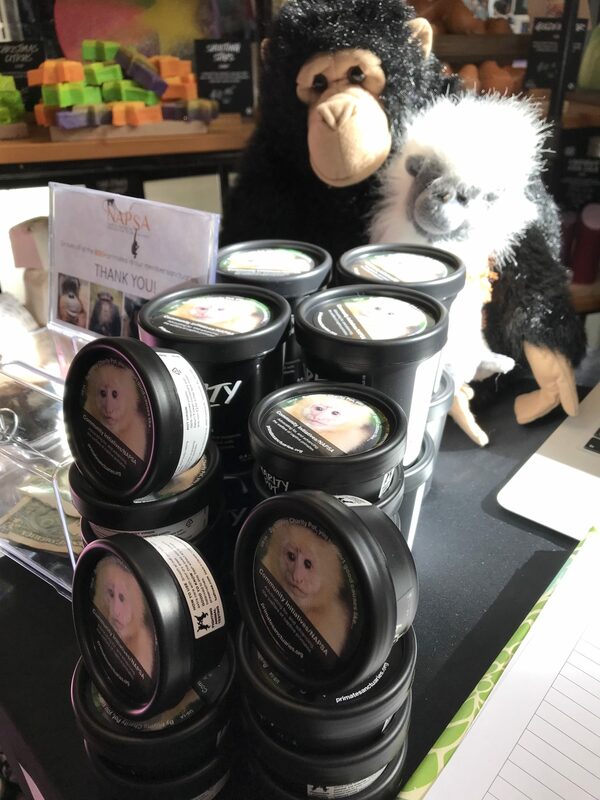 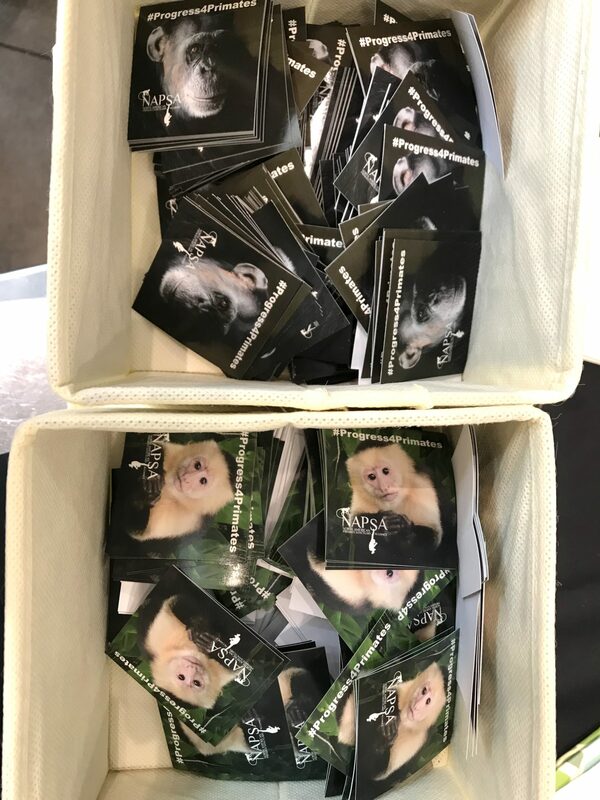 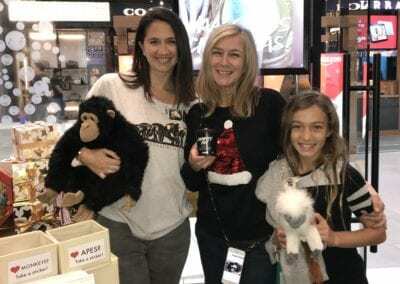 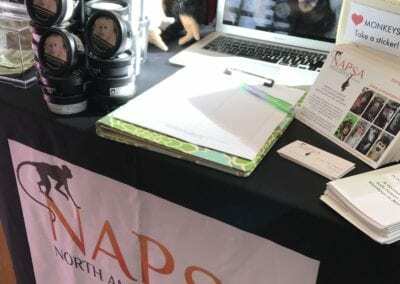 NAPSA Charity Pot lotions were selling like hotcakes – thanks in part to the cute photo of Hayley from Jungle Friends Primate Sanctuary on the front! 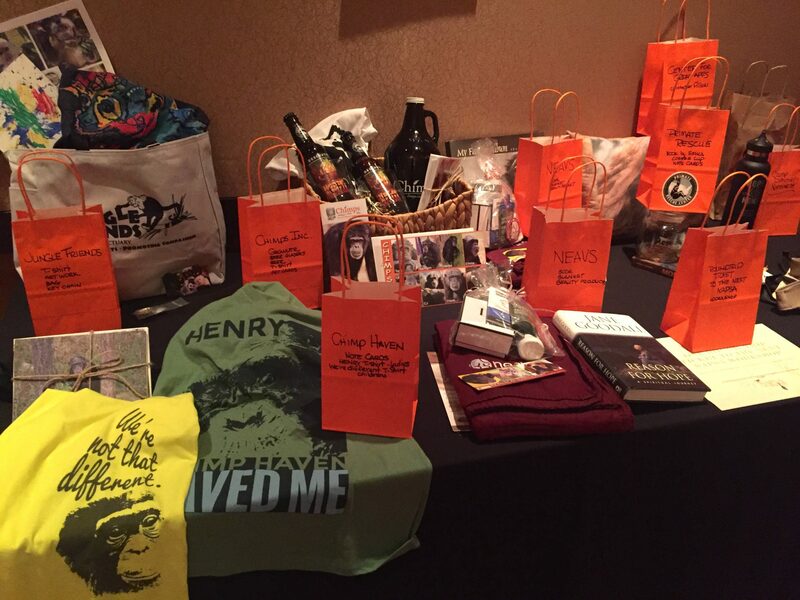 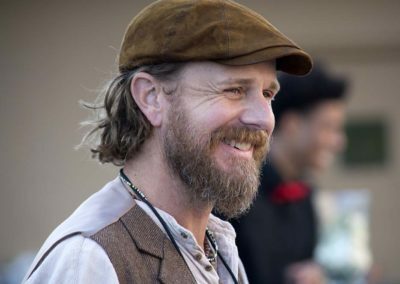 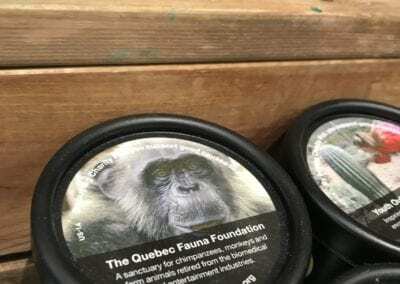 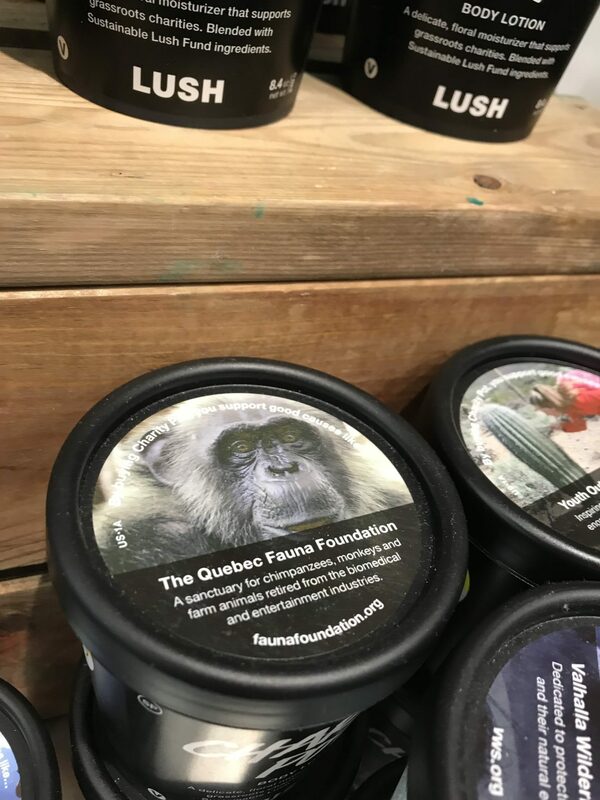 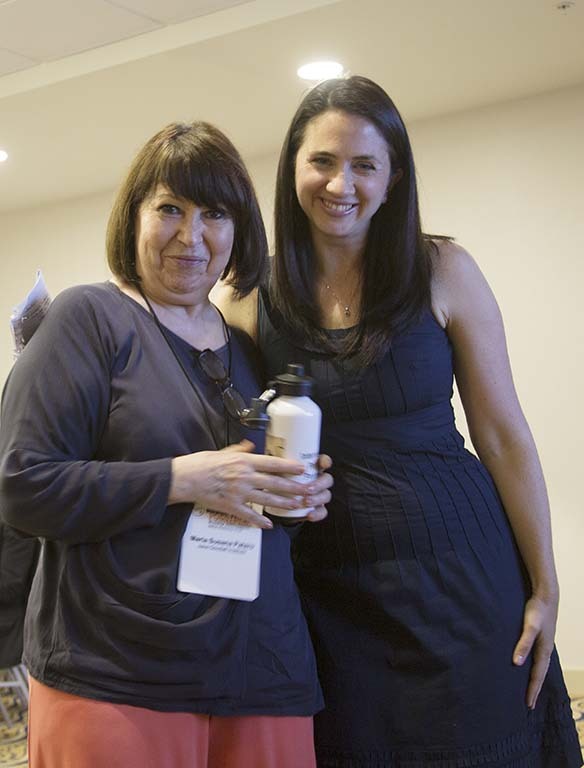 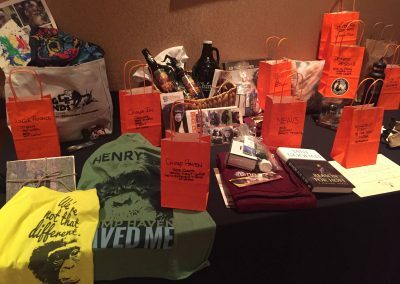 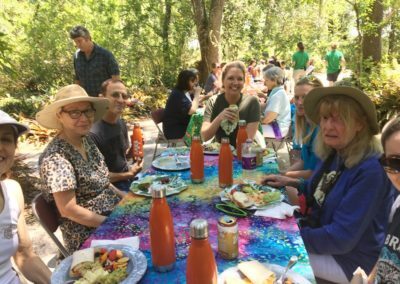 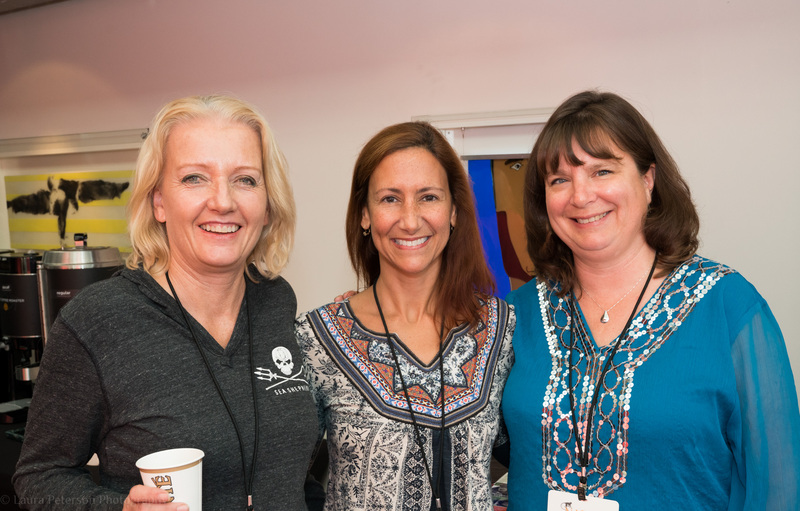 Fauna Foundation was there in spirit – we spied their Charity Pot lotion! 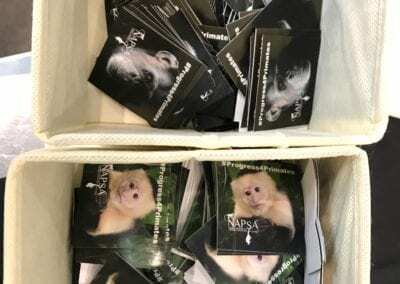 Everyone smiled when they saw our cute NAPSA stickers! 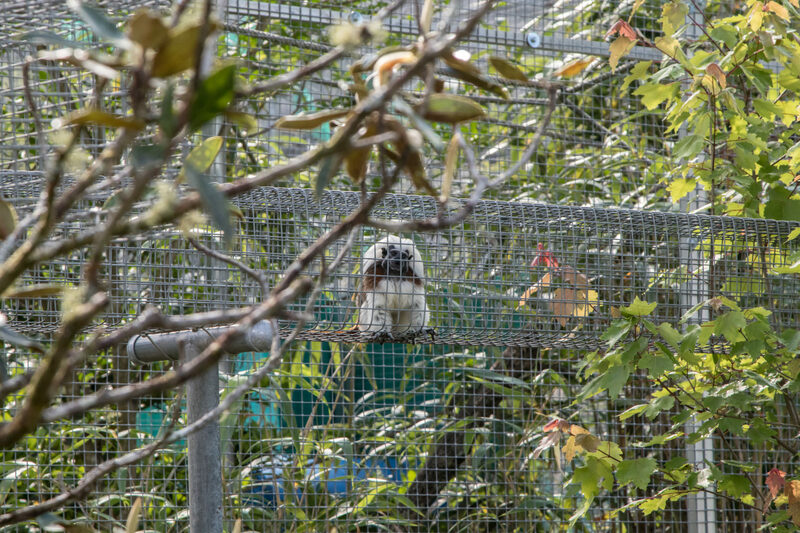 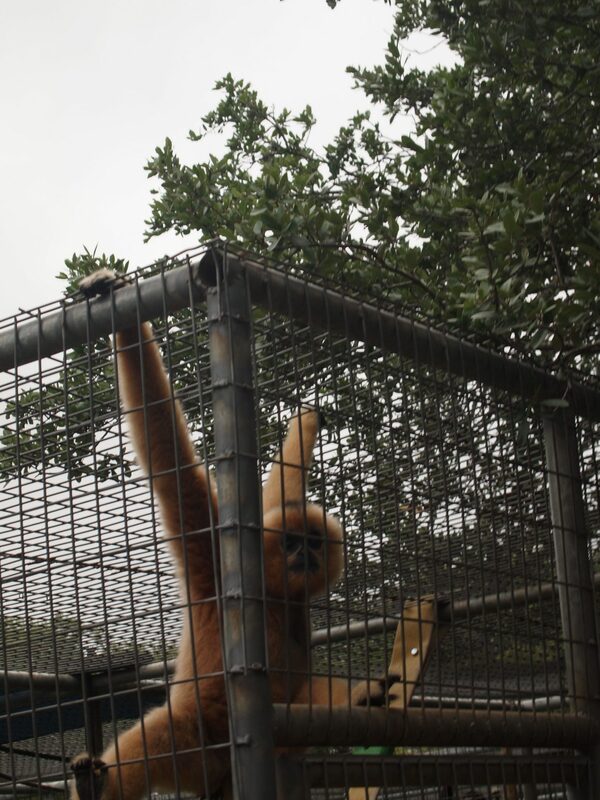 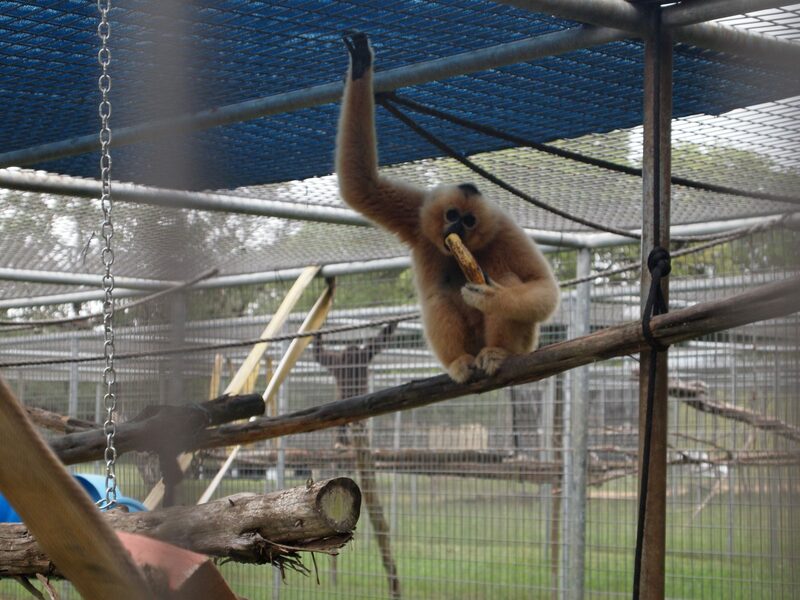 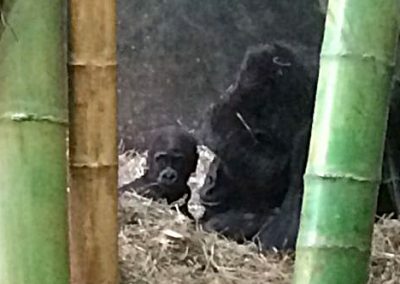 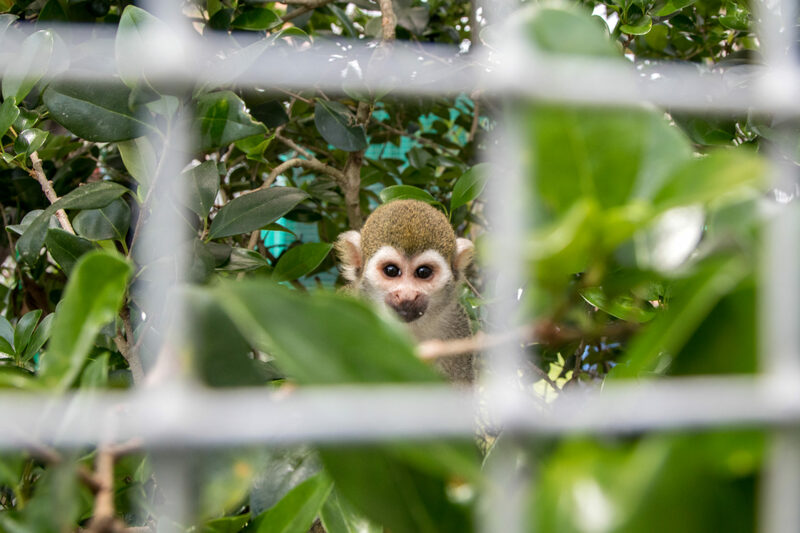 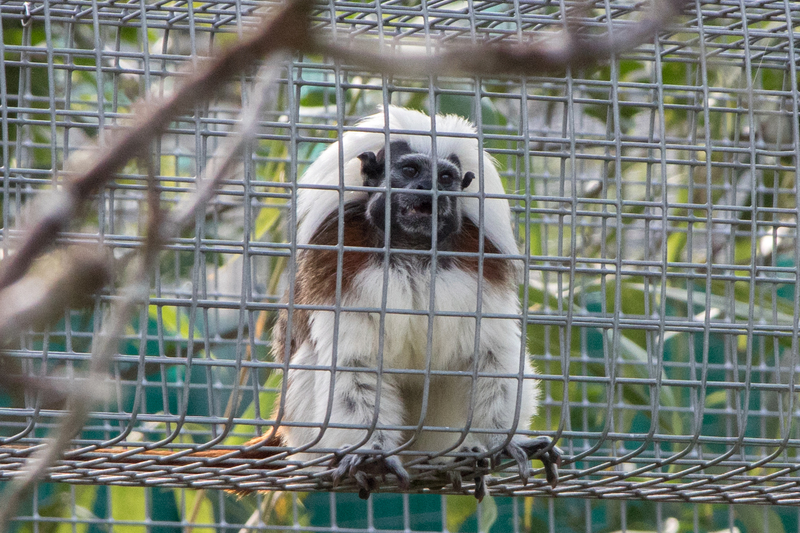 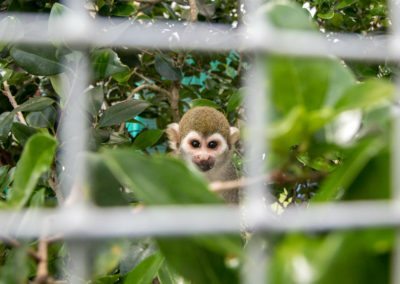 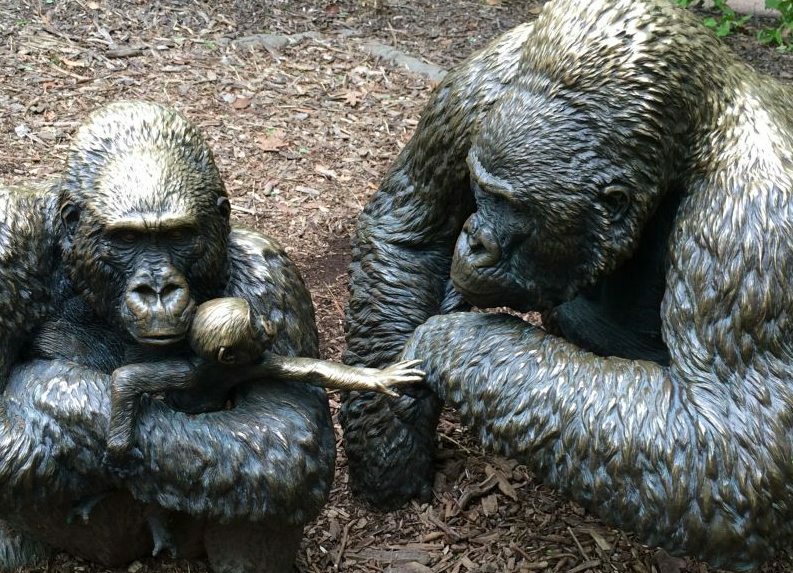 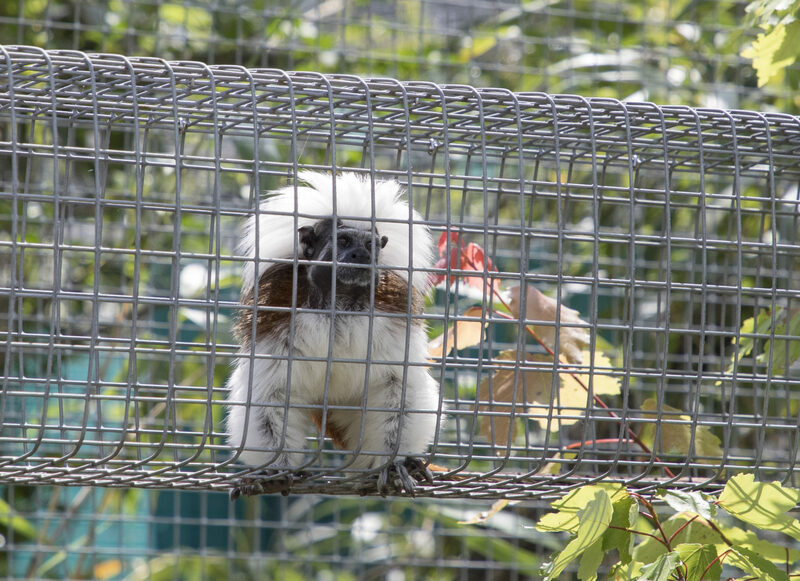 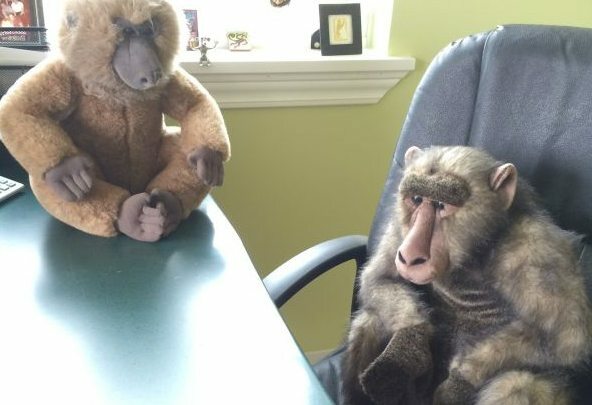 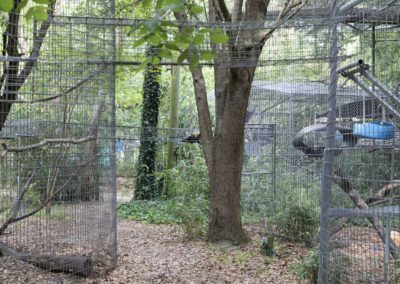 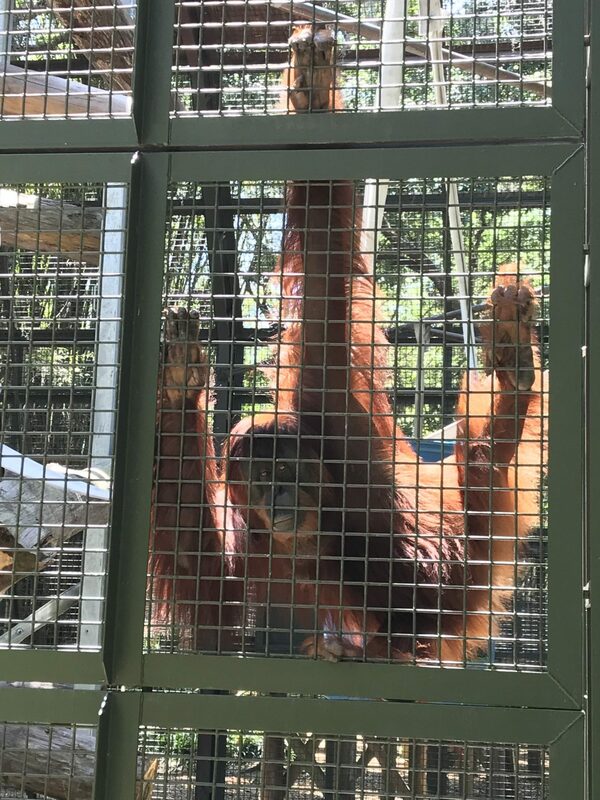 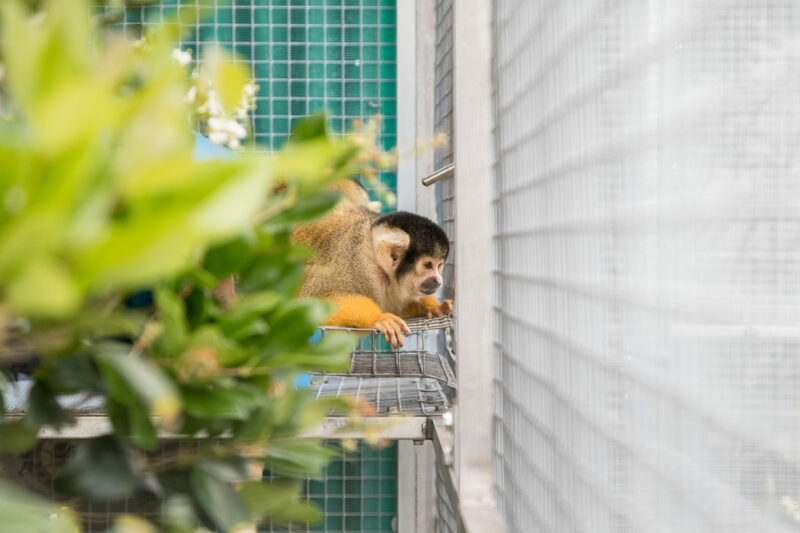 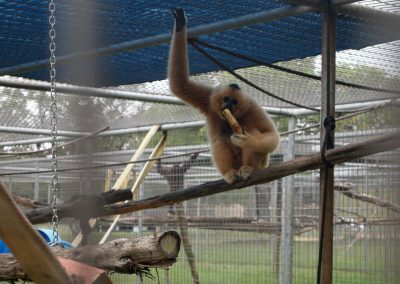 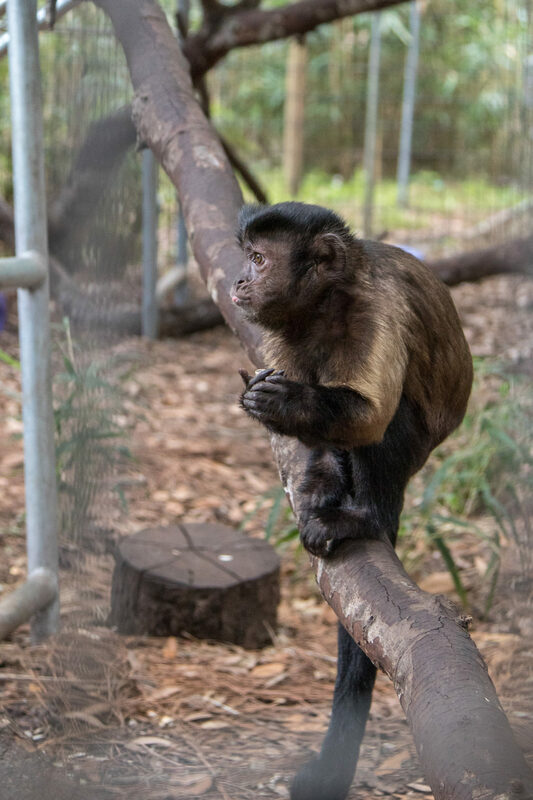 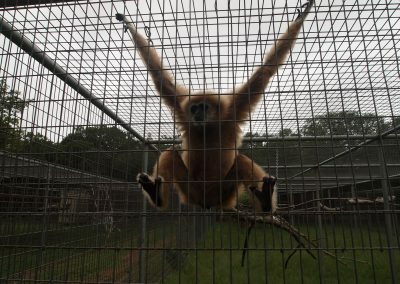 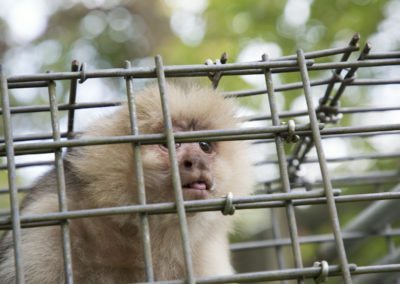 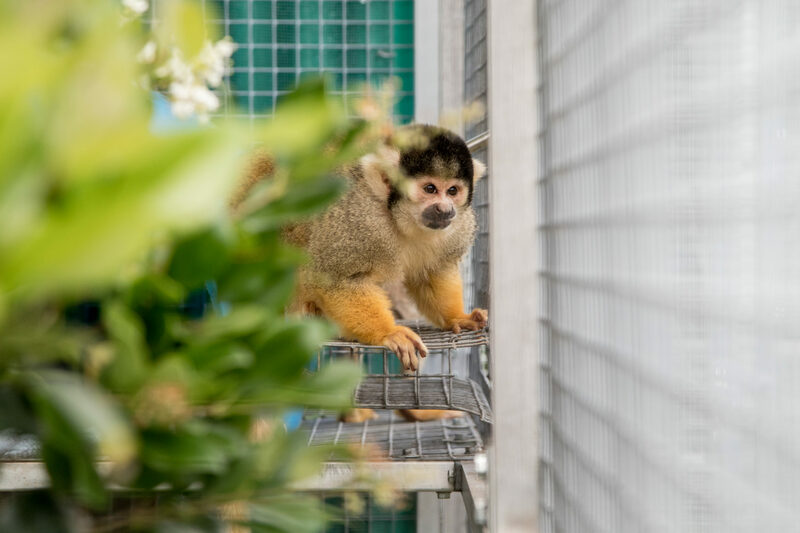 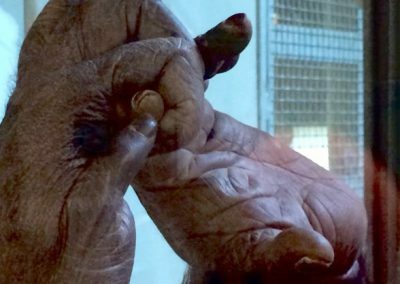 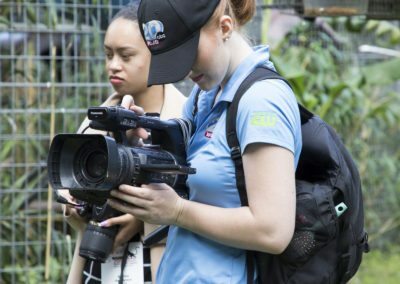 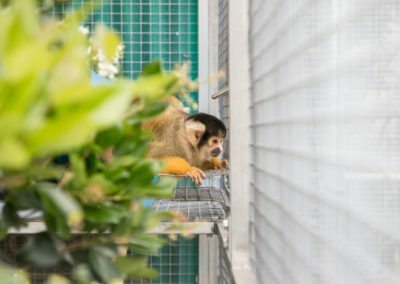 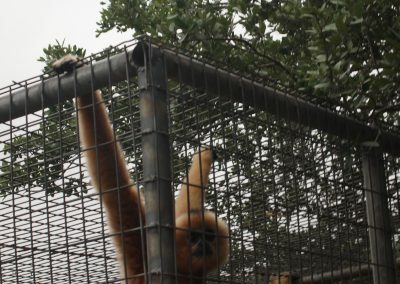 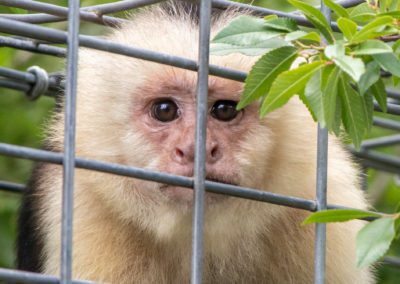 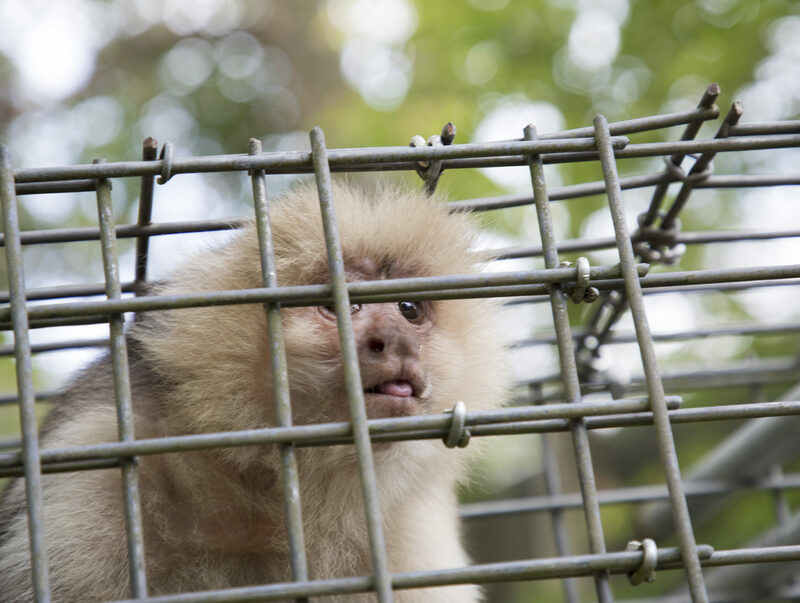 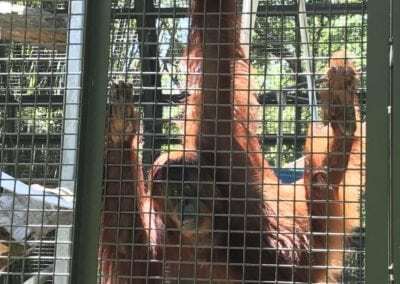 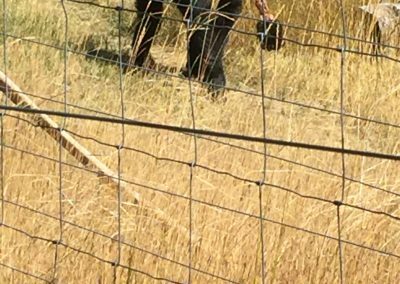 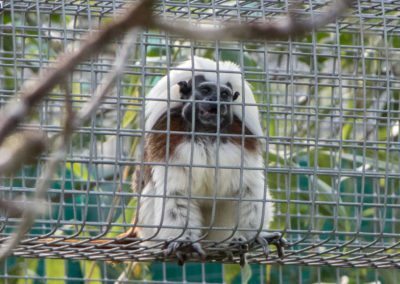 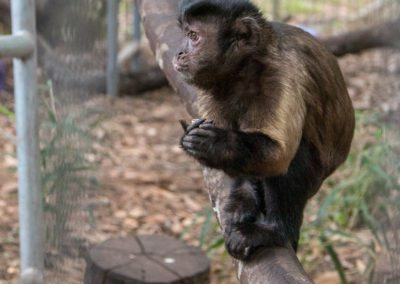 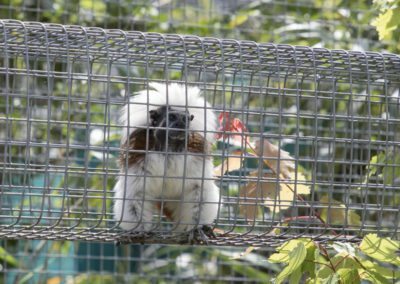 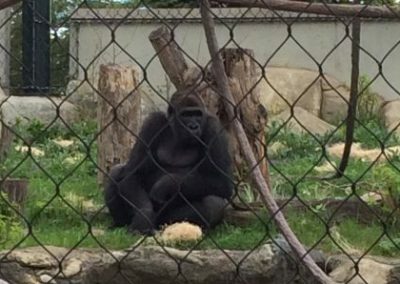 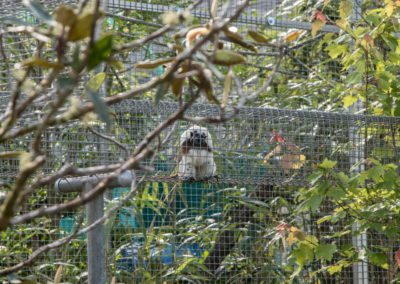 It was a great way to explain the back stories of these two rescued primates, and the 800 others like them currently living in NAPSA member sanctuaries. 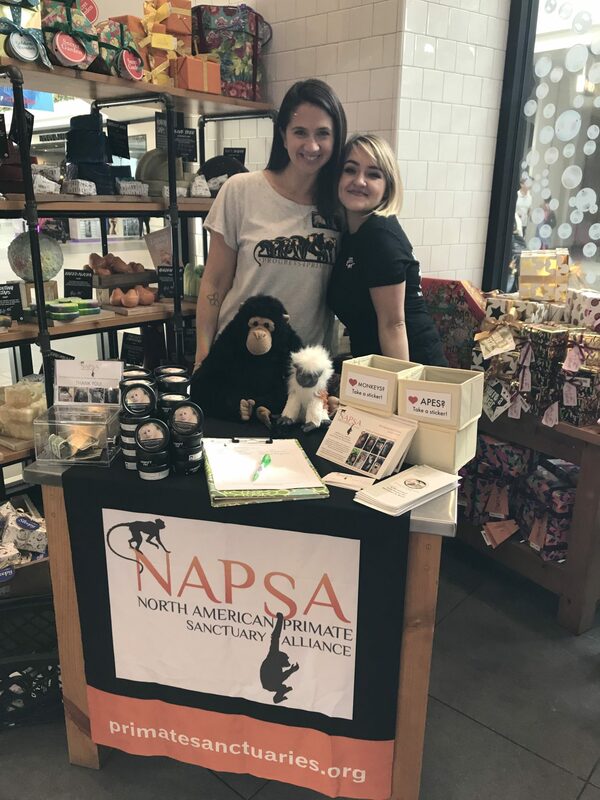 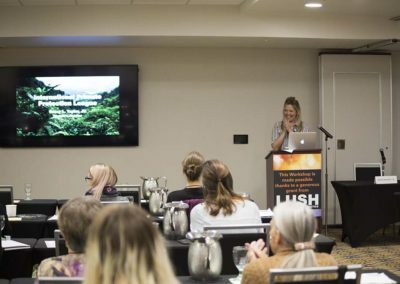 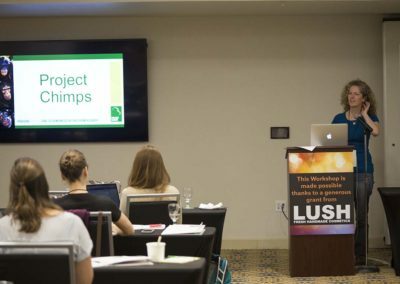 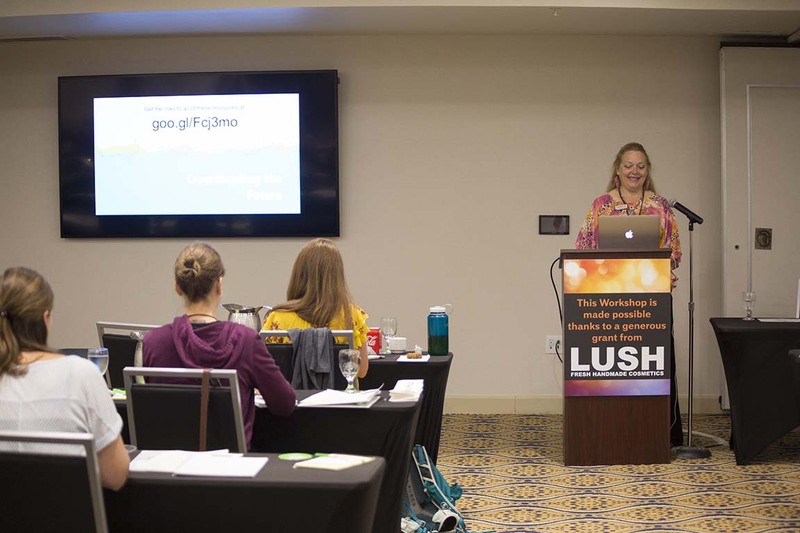 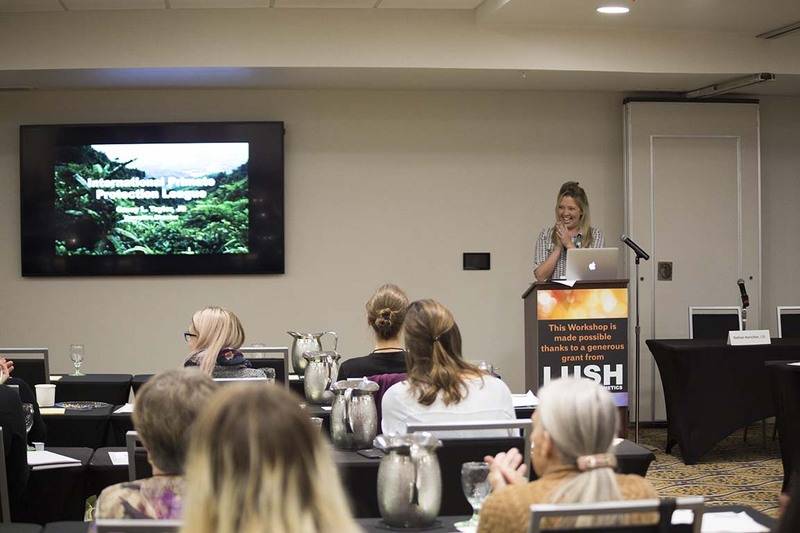 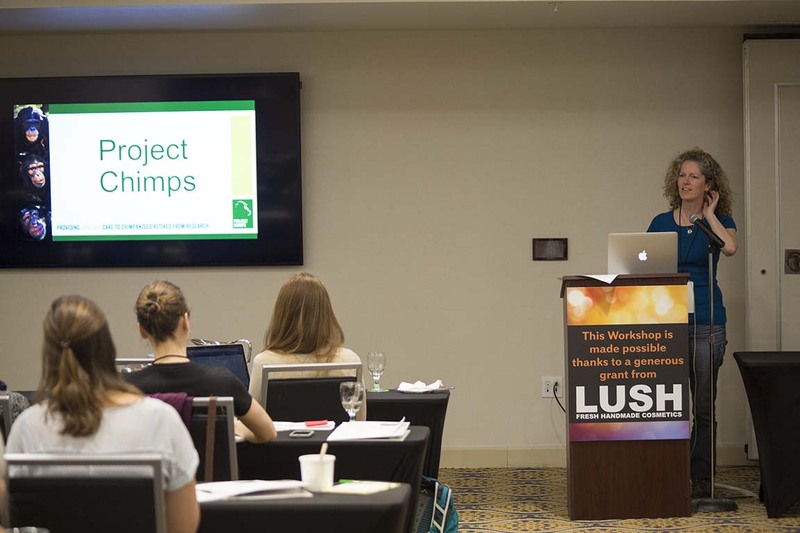 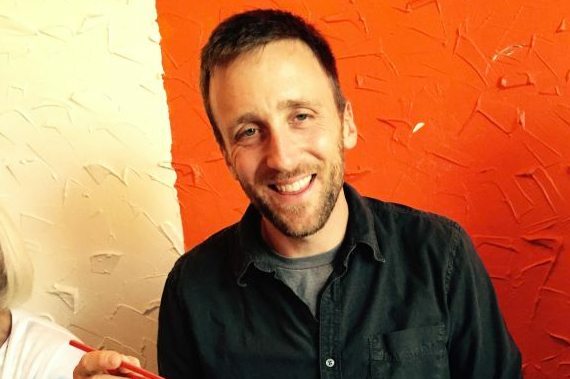 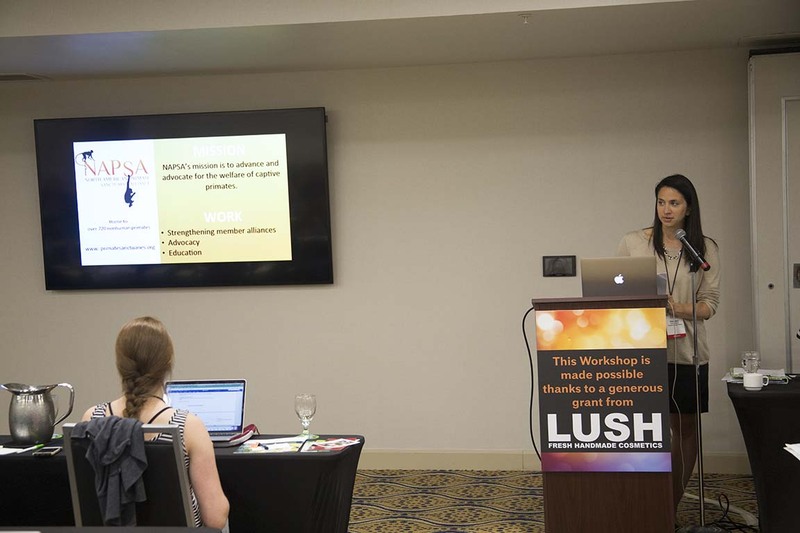 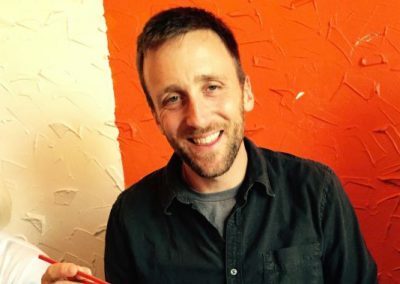 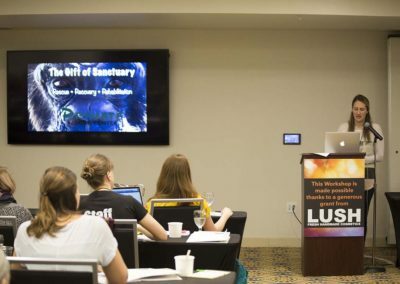 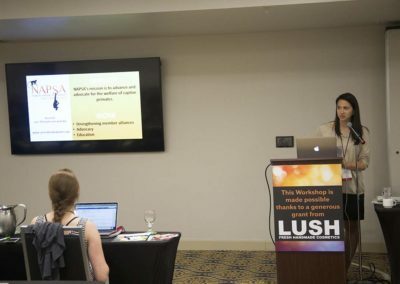 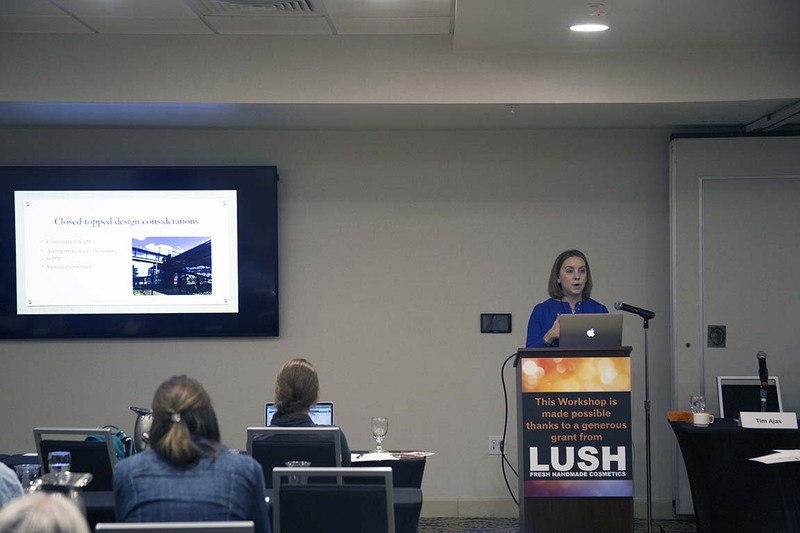 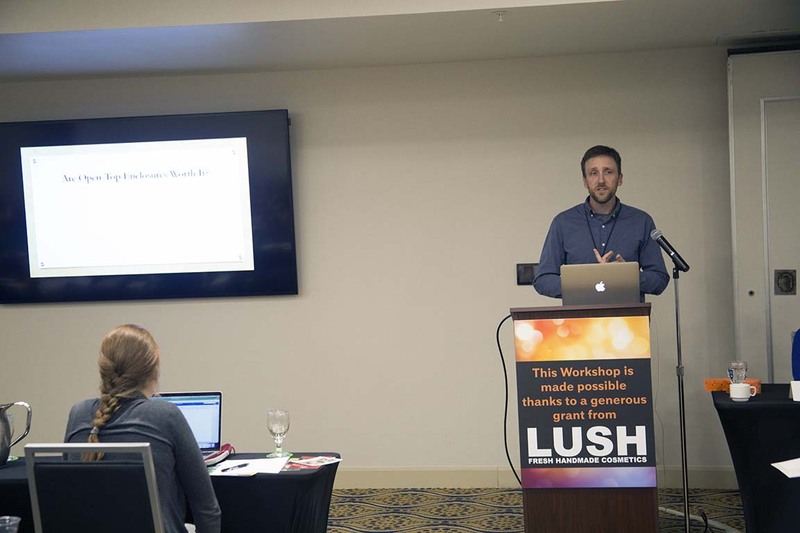 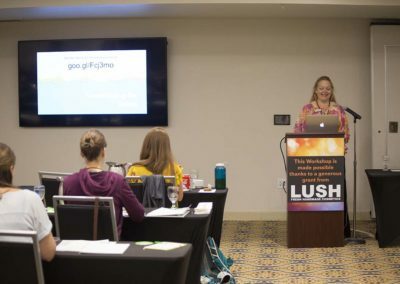 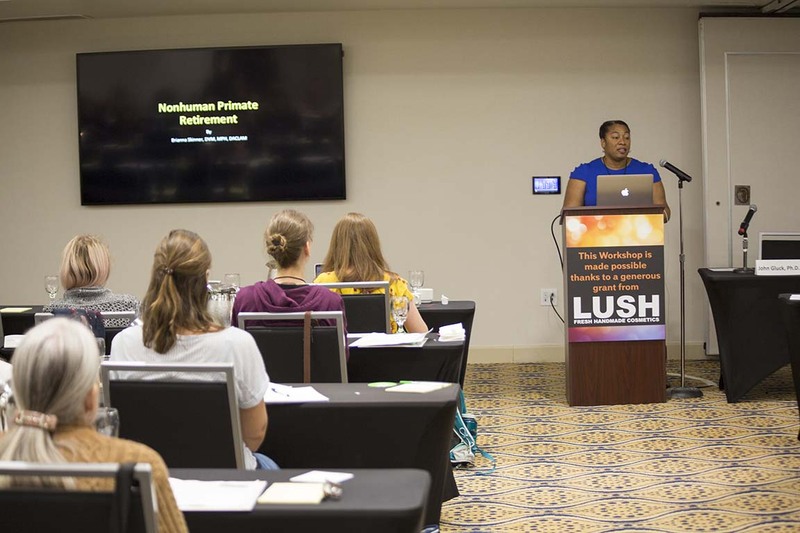 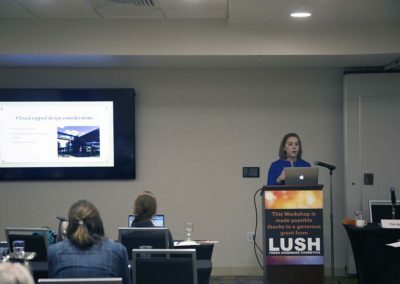 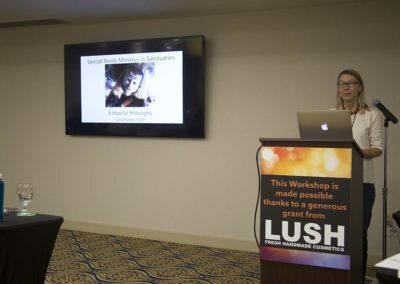 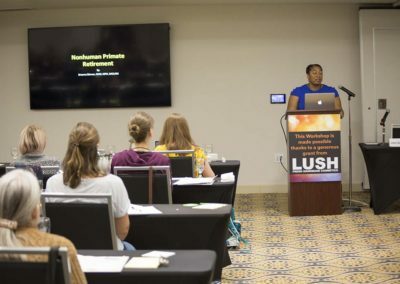 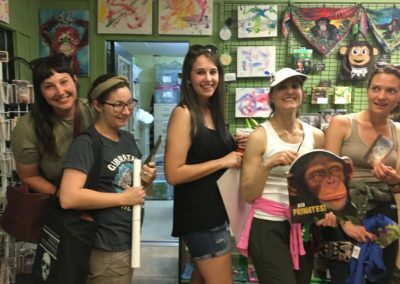 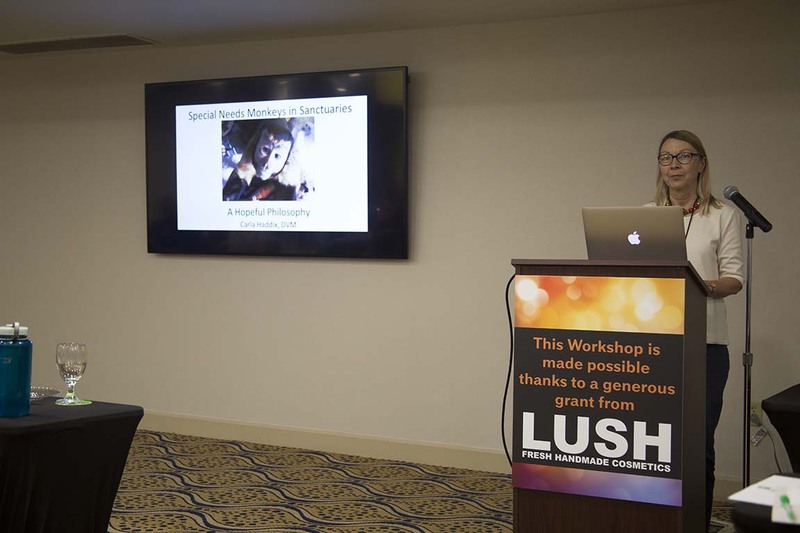 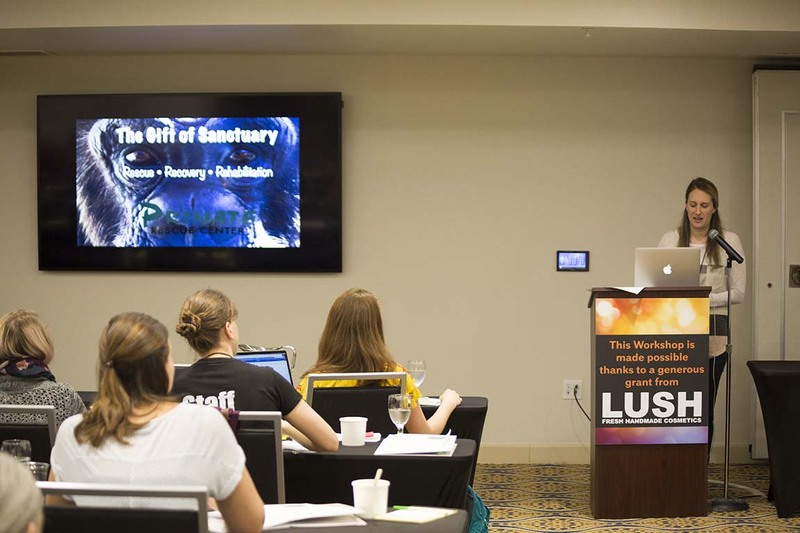 Some Primate Protectors grateful that Lush supports NAPSA and its member sanctuaries! 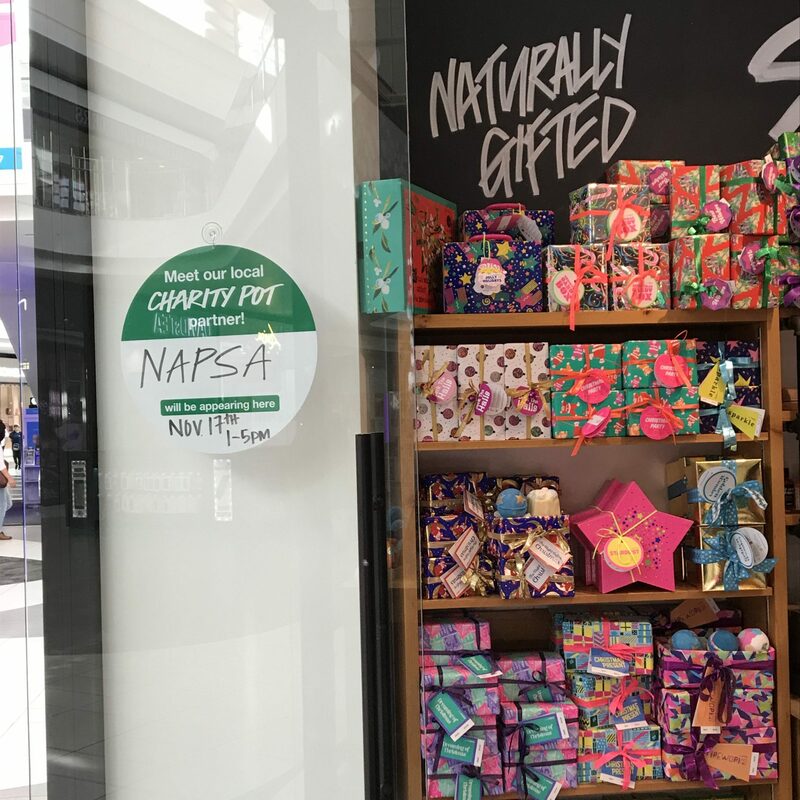 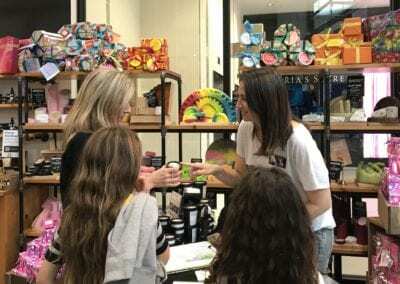 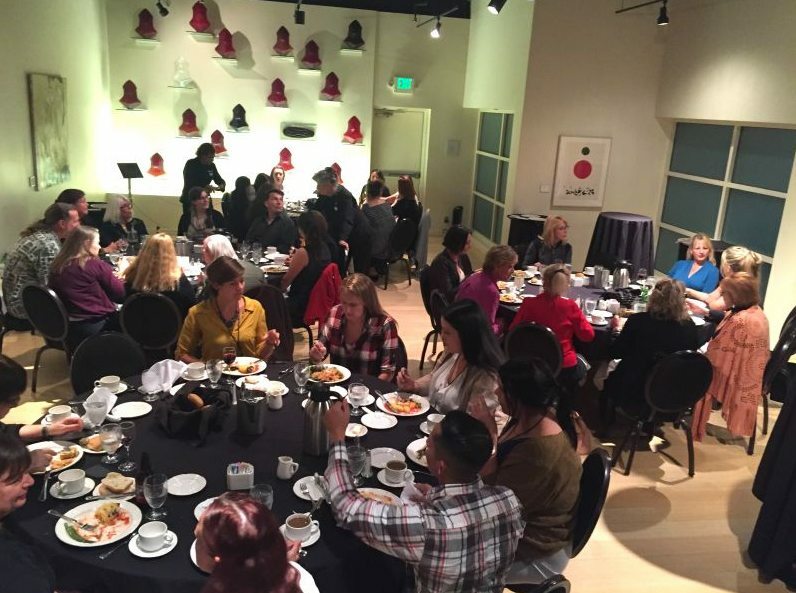 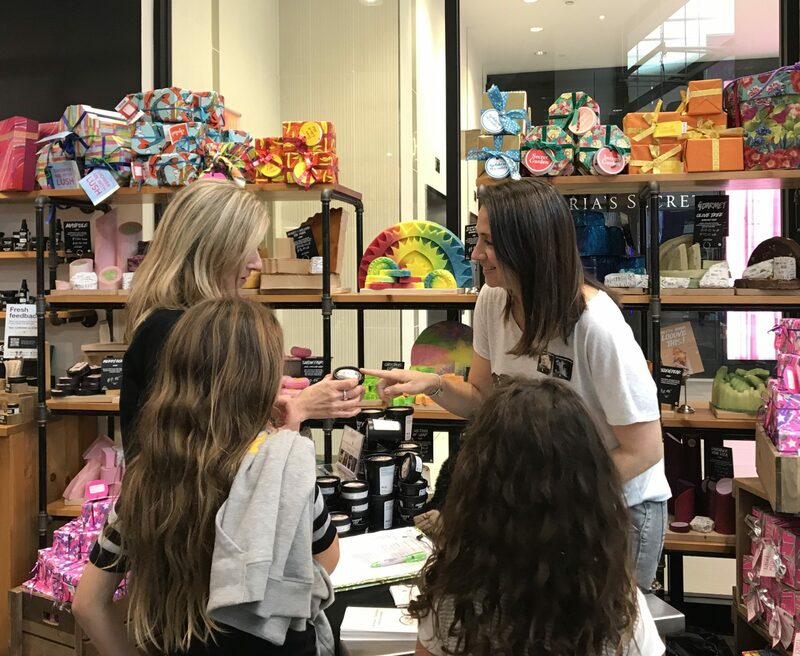 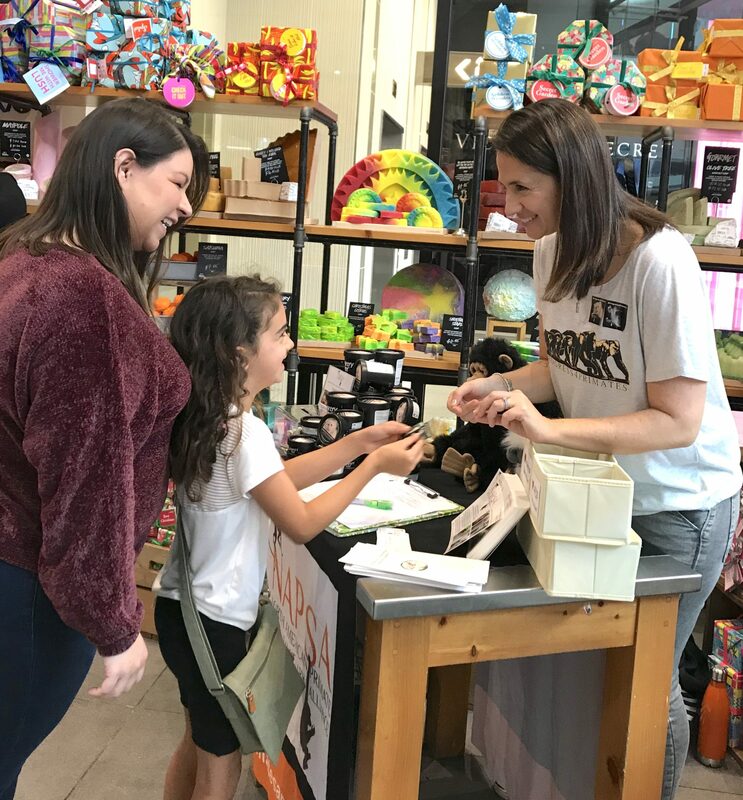 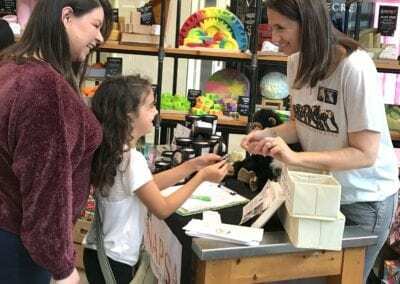 Customers were able to test out the Charity Pot lotion while learning how Lush supports NAPSA initiatives. 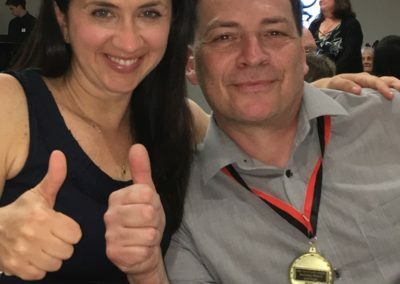 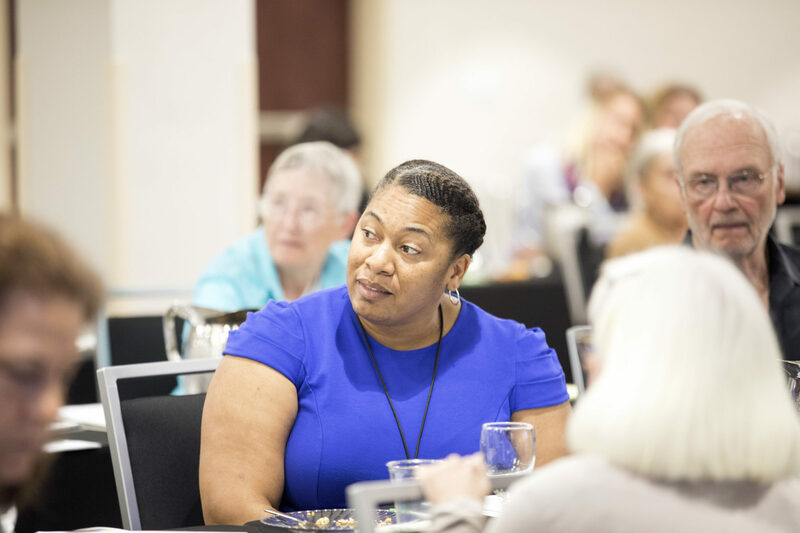 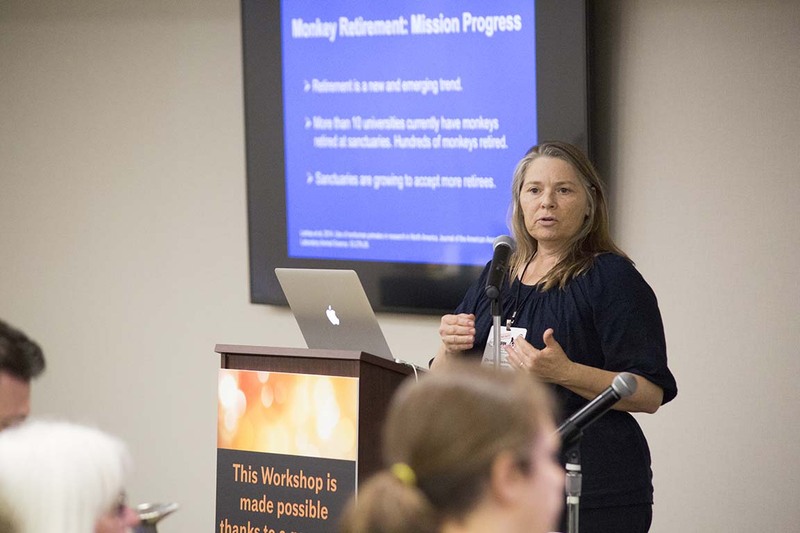 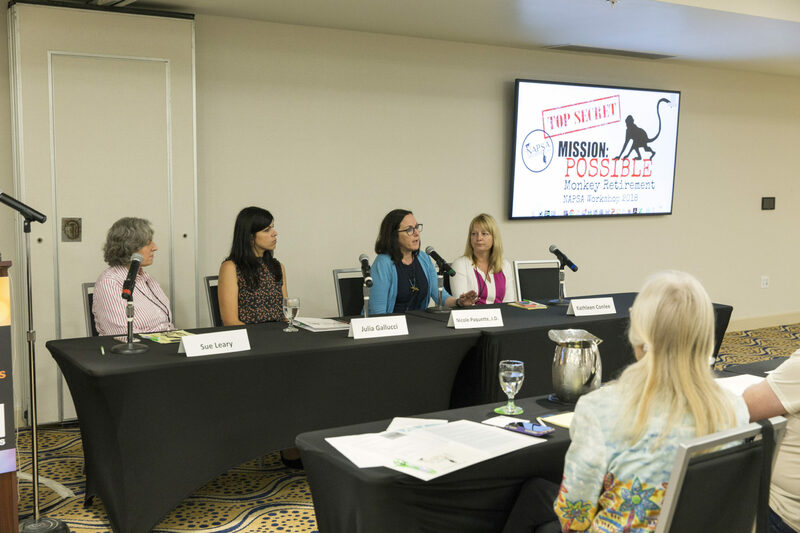 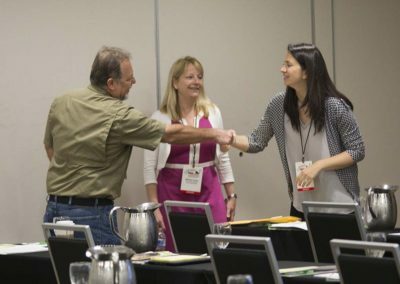 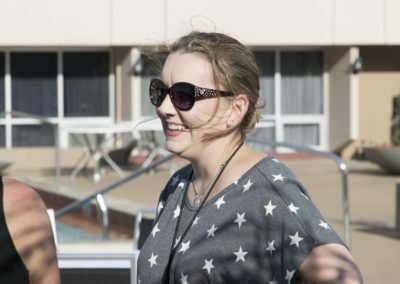 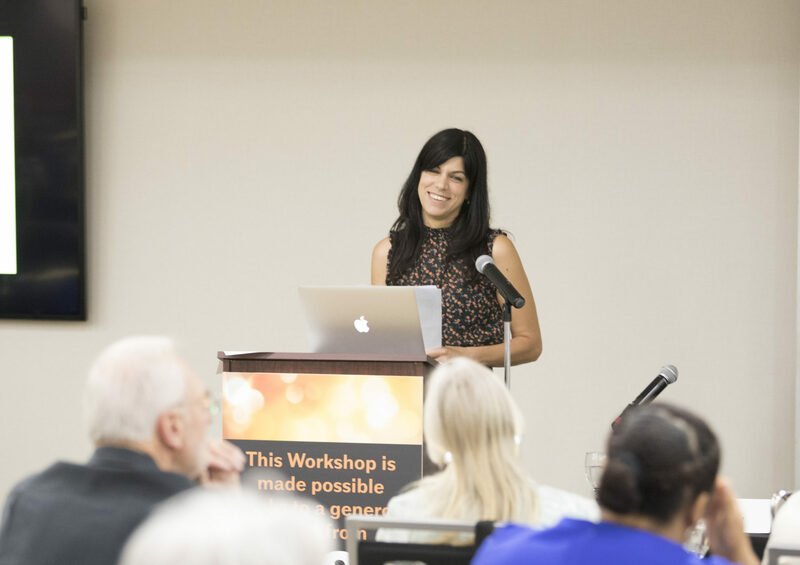 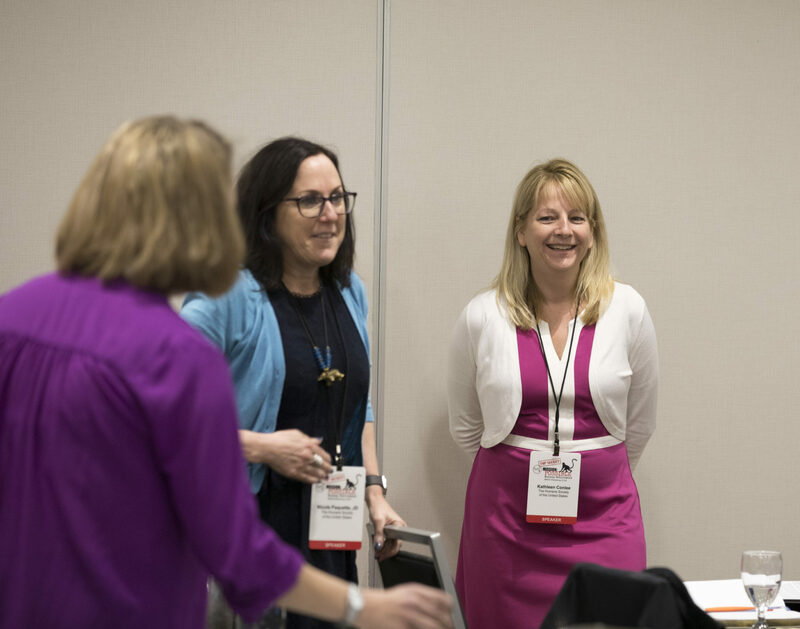 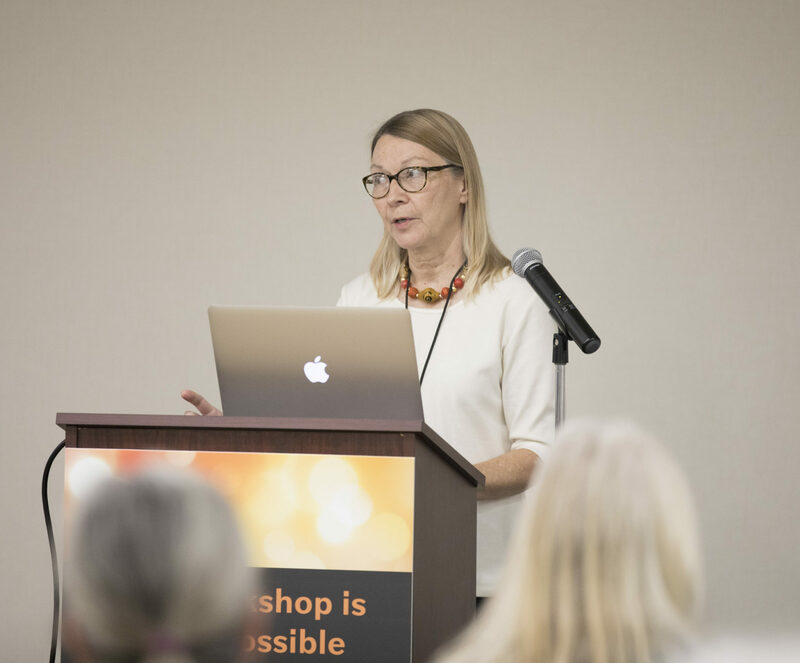 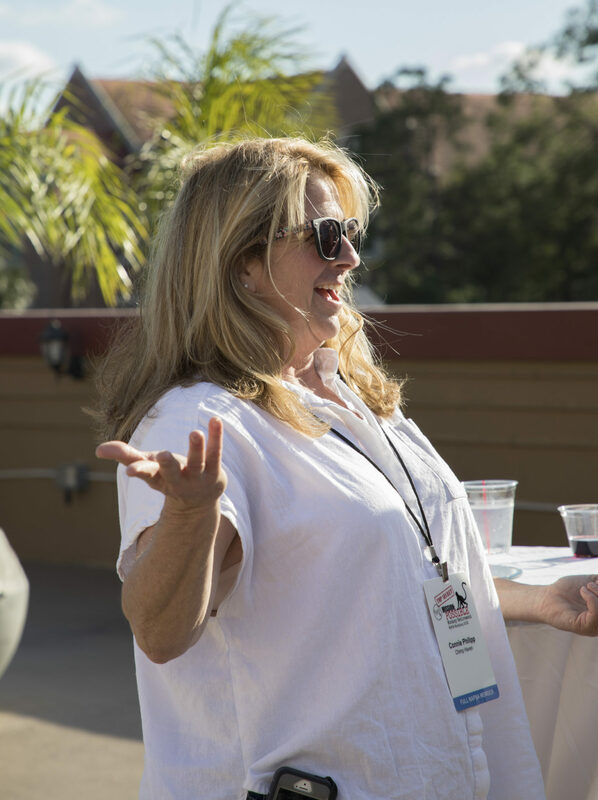 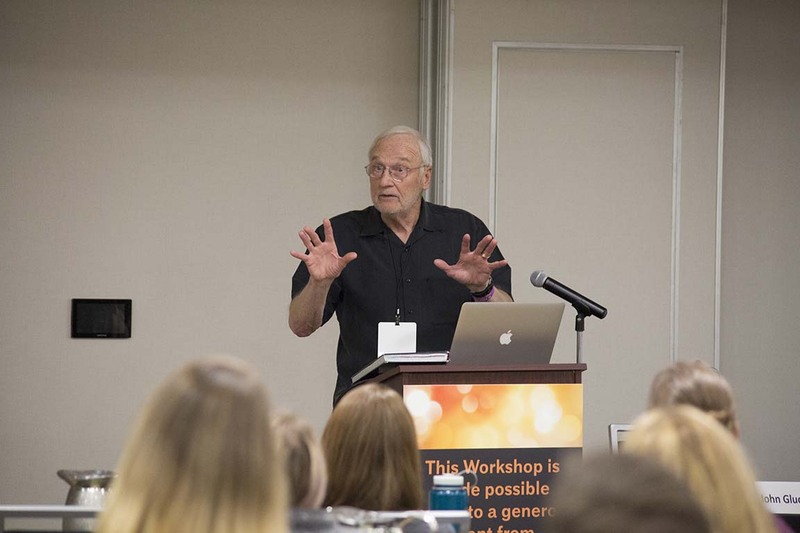 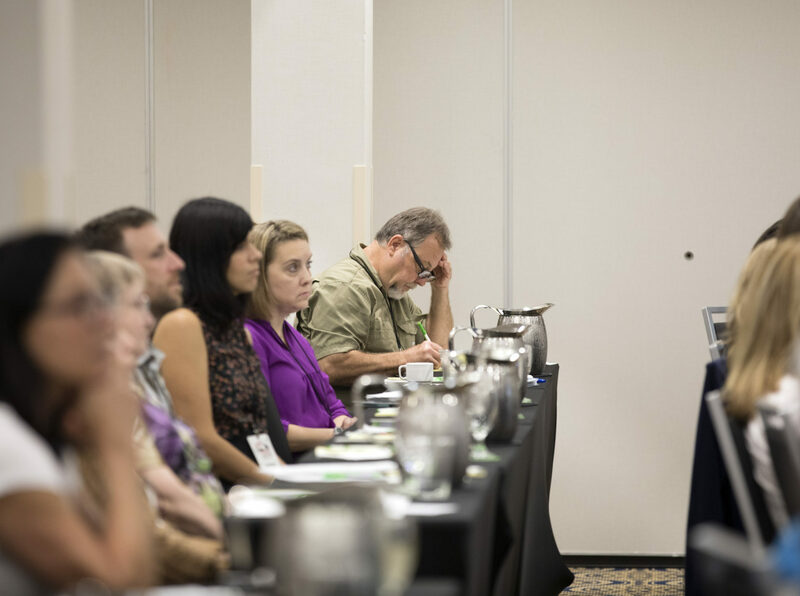 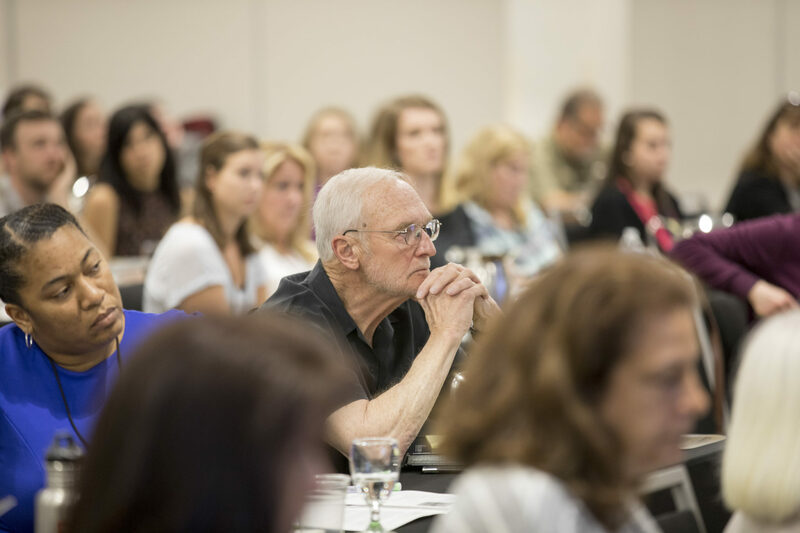 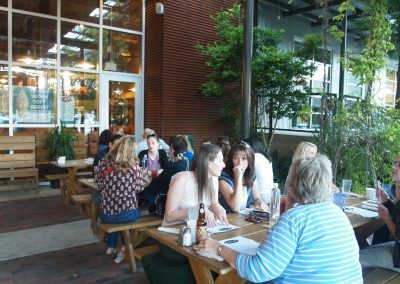 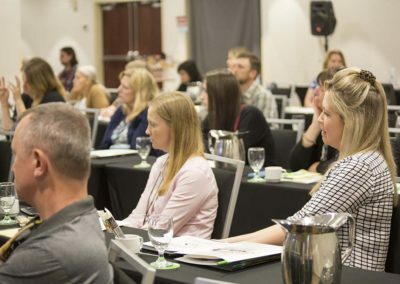 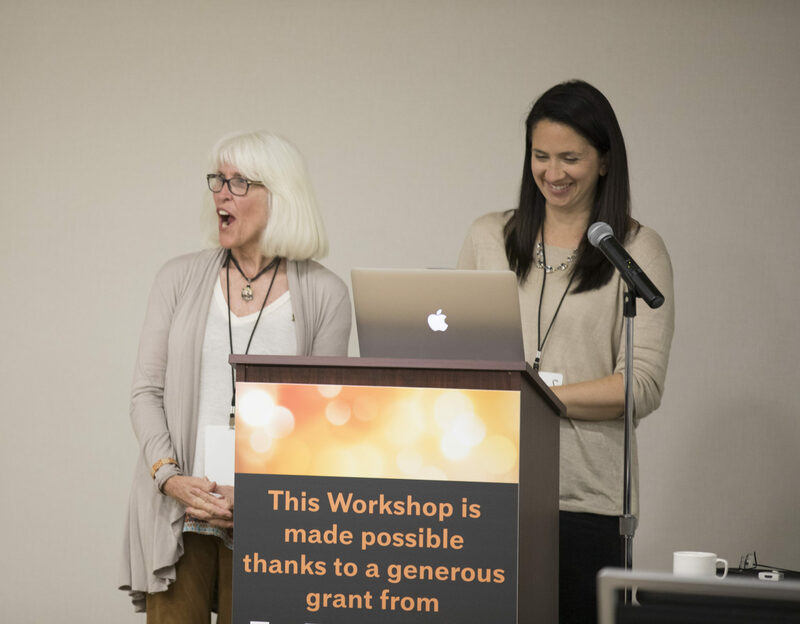 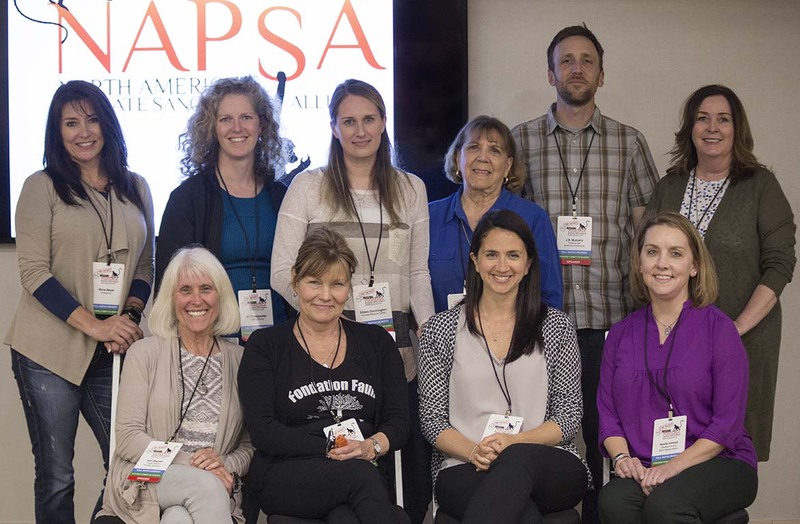 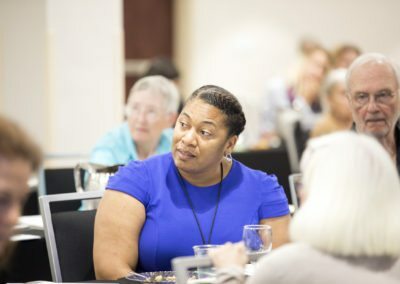 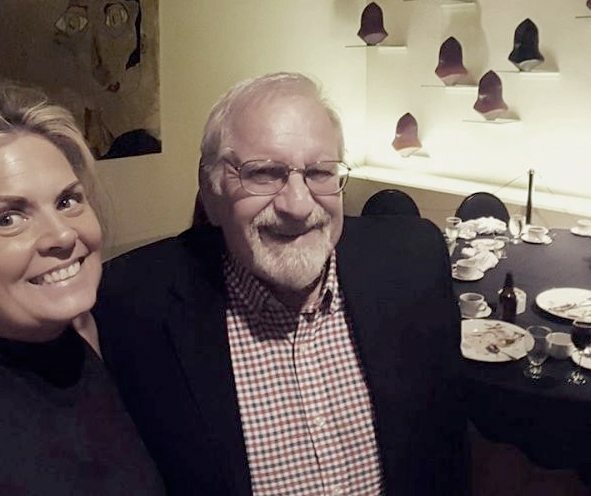 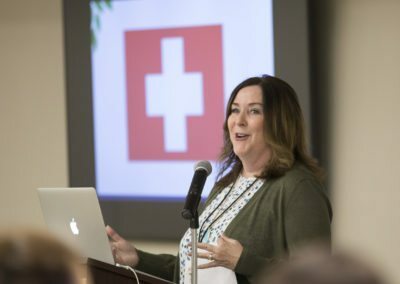 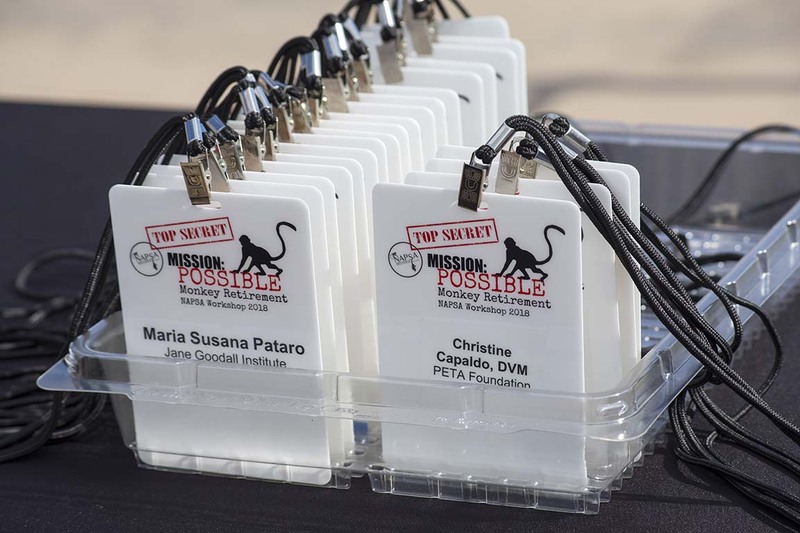 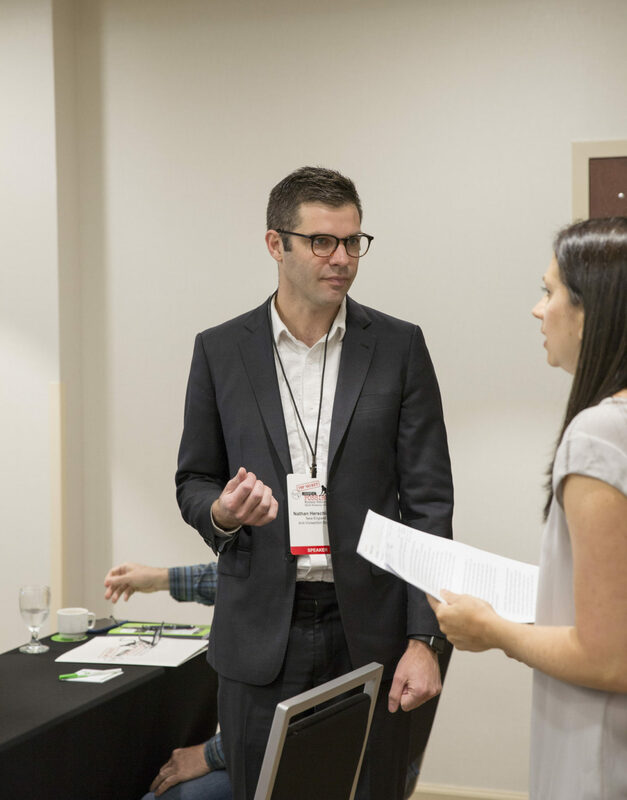 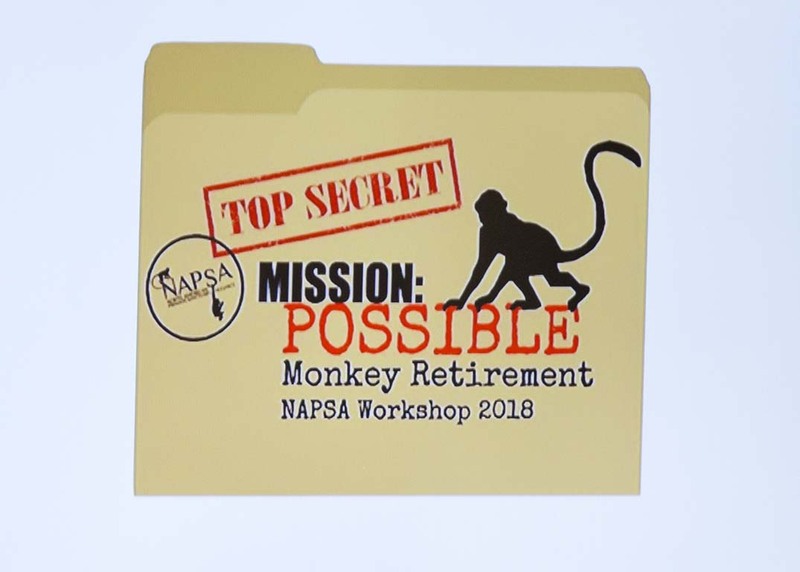 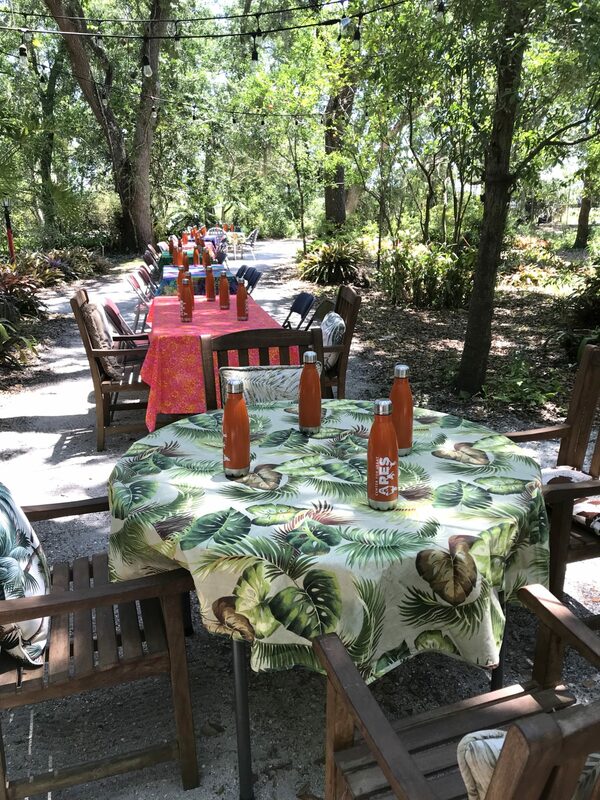 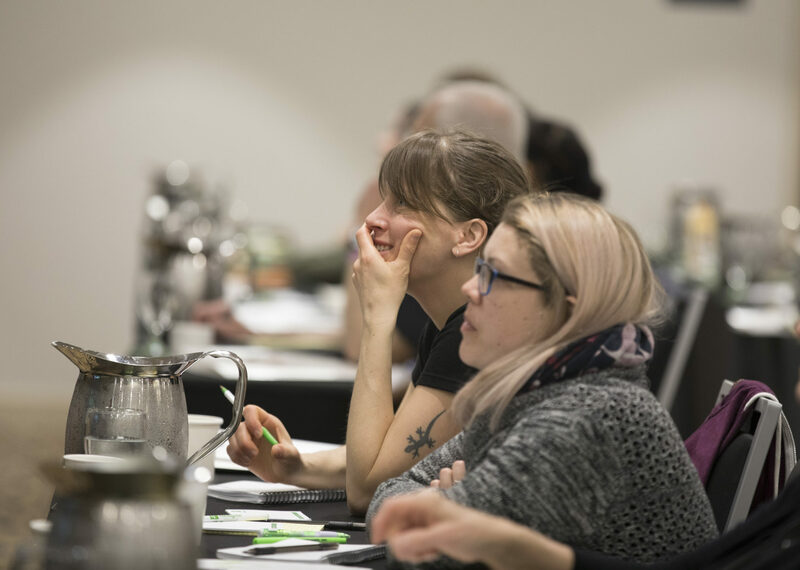 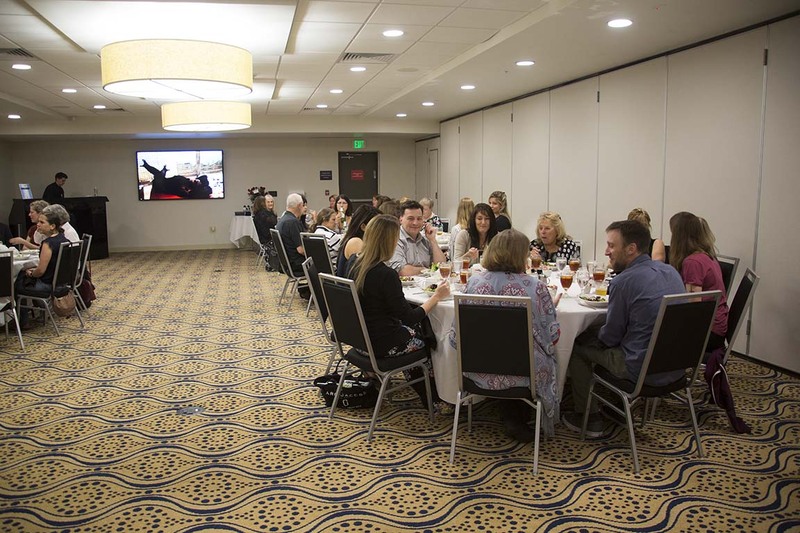 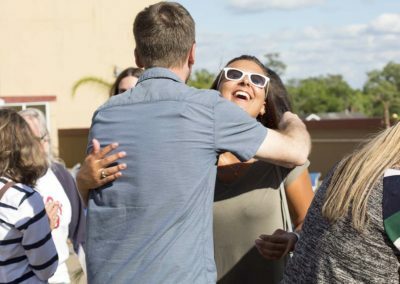 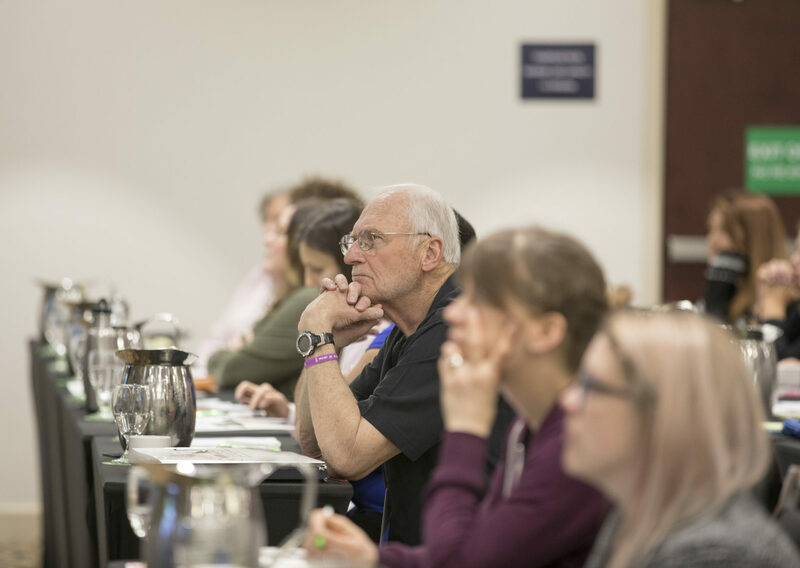 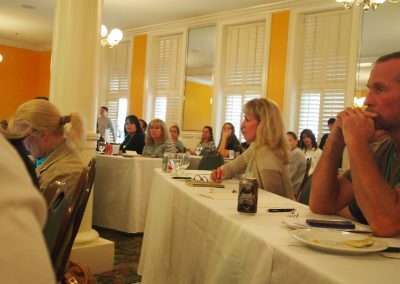 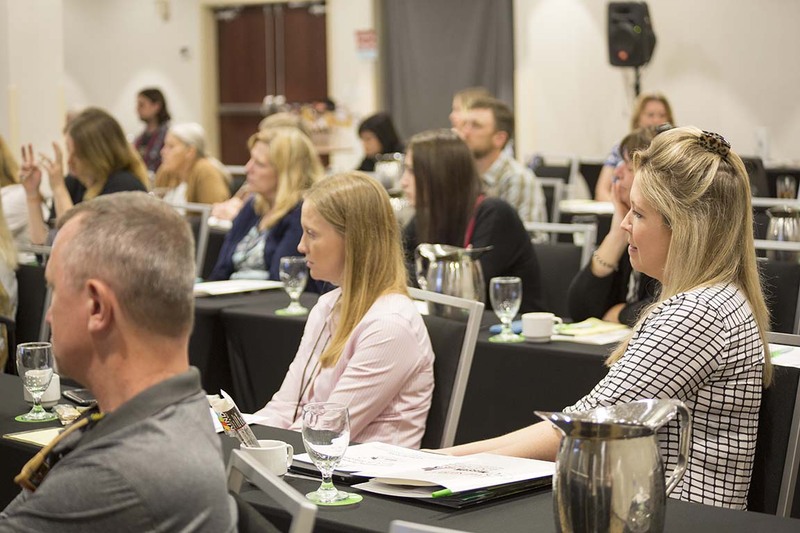 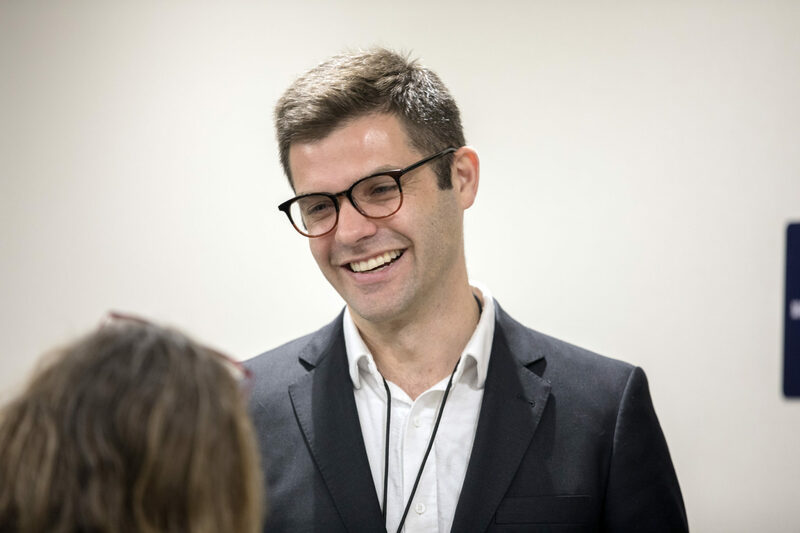 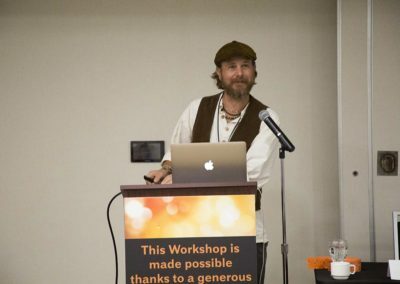 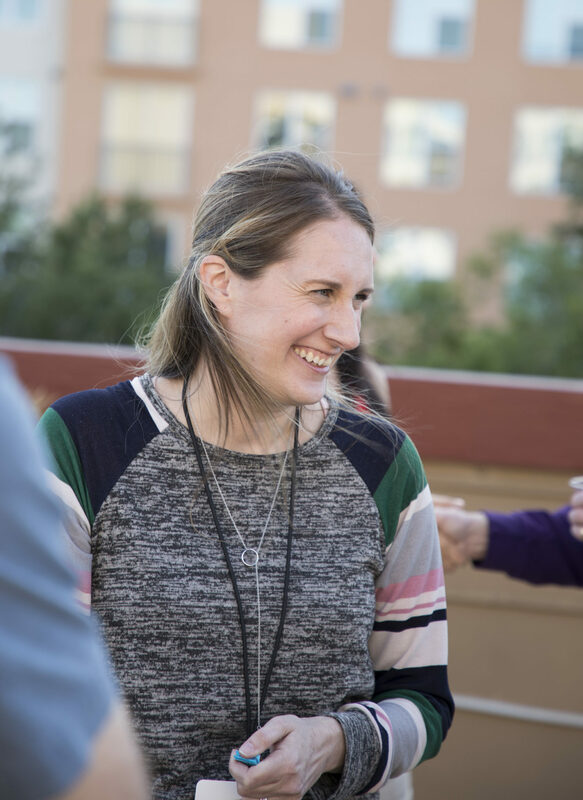 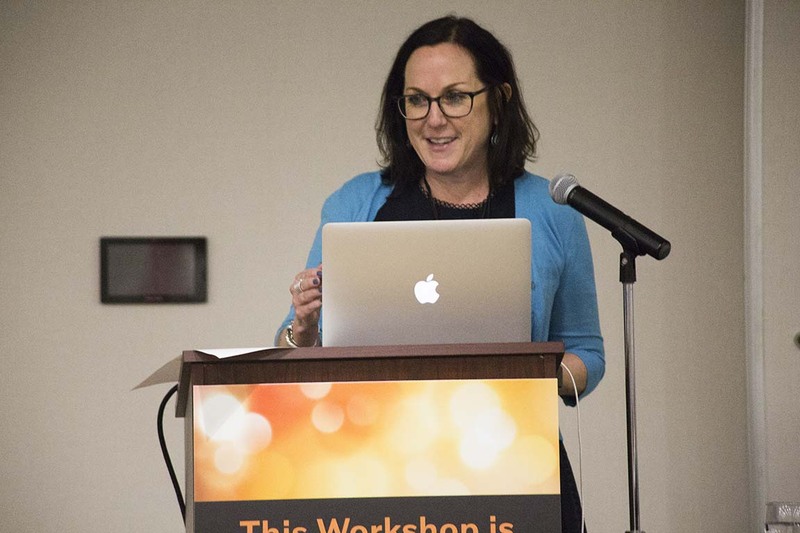 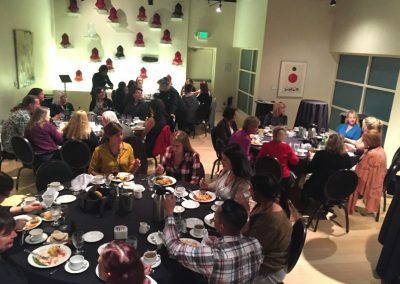 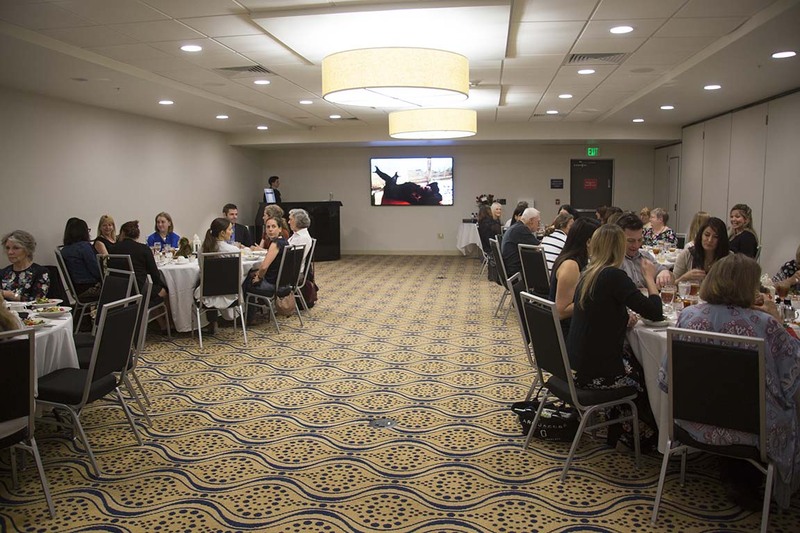 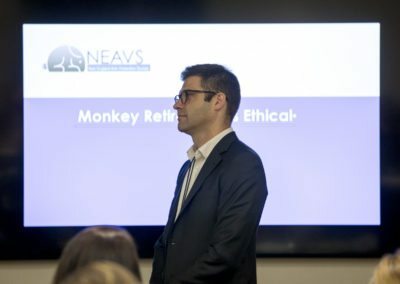 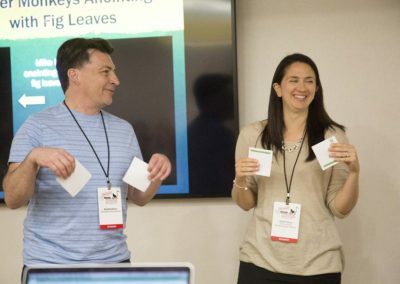 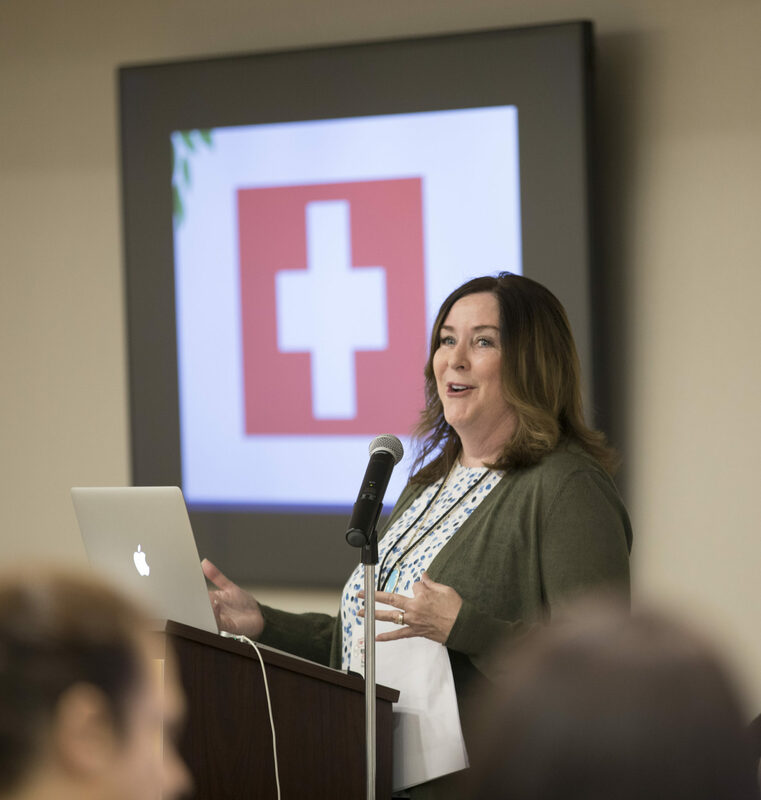 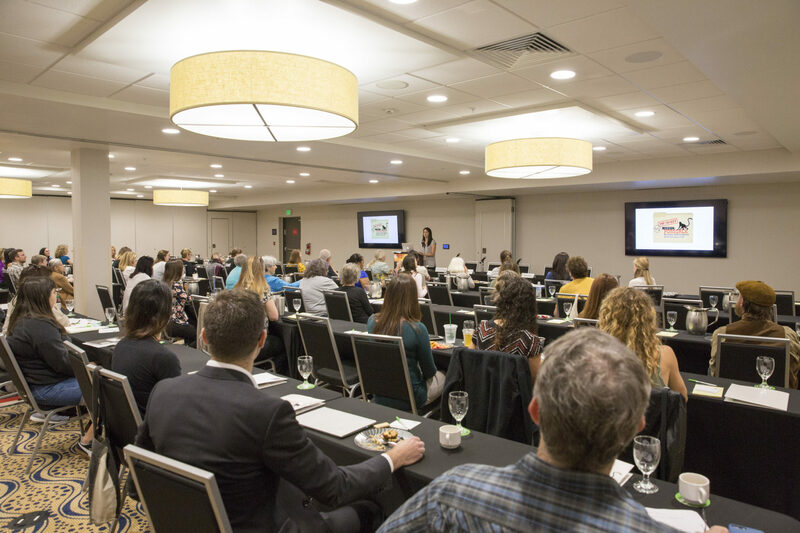 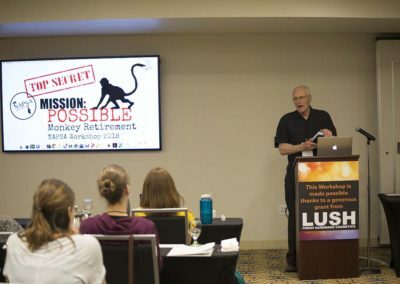 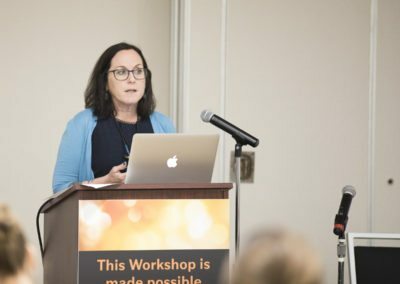 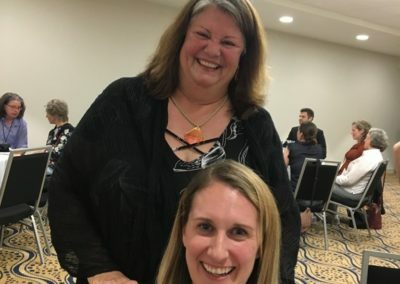 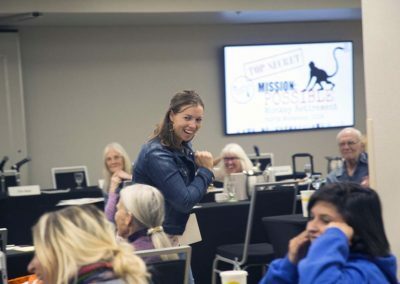 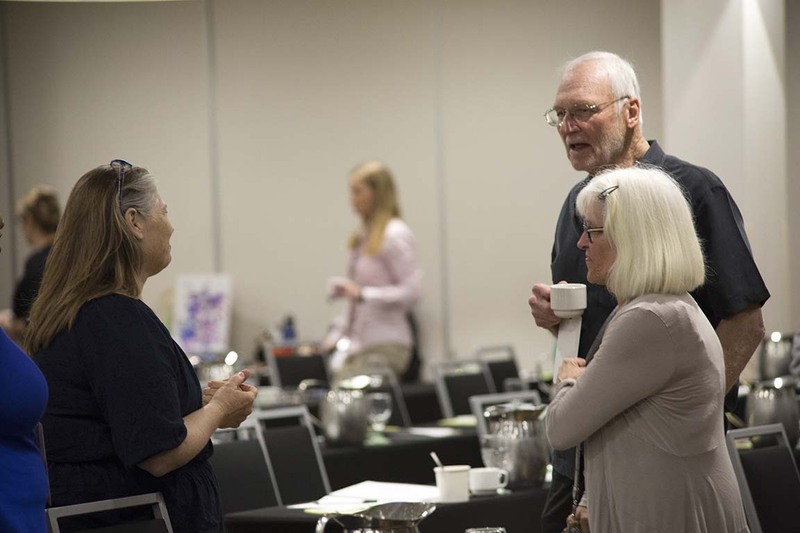 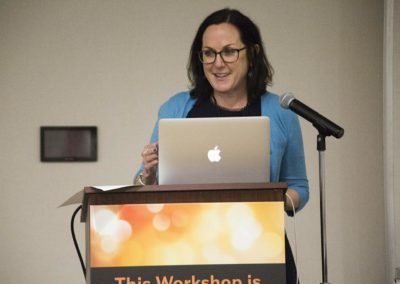 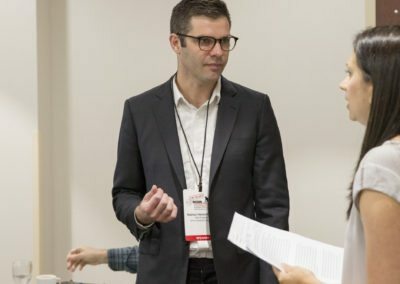 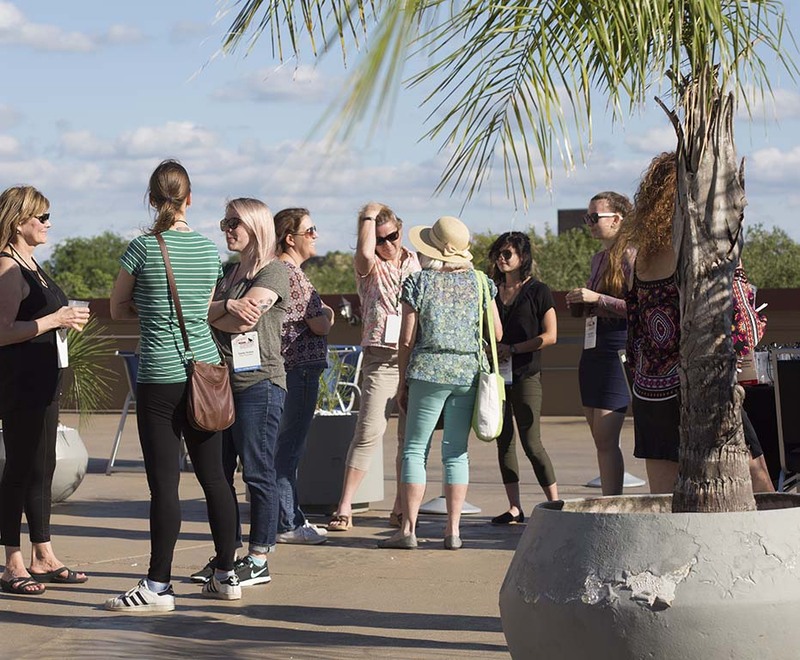 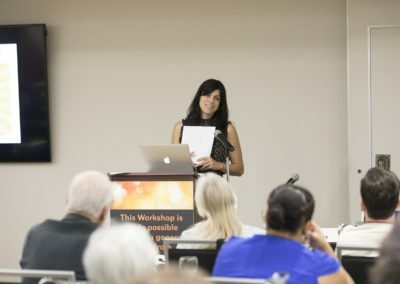 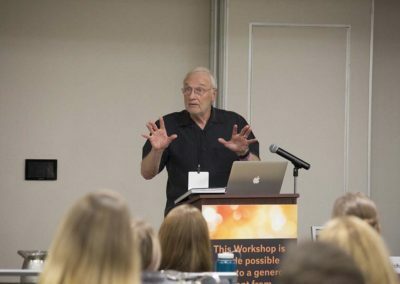 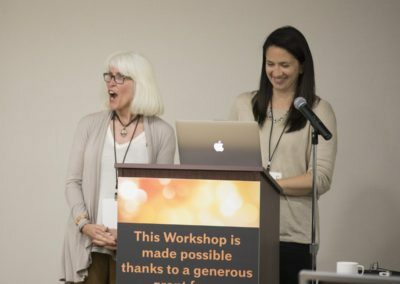 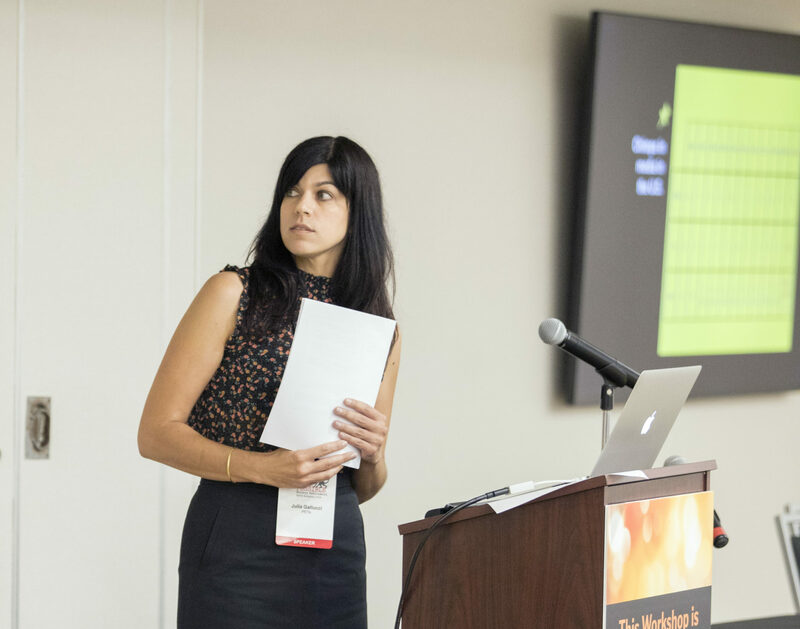 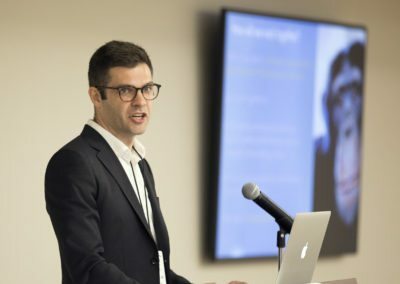 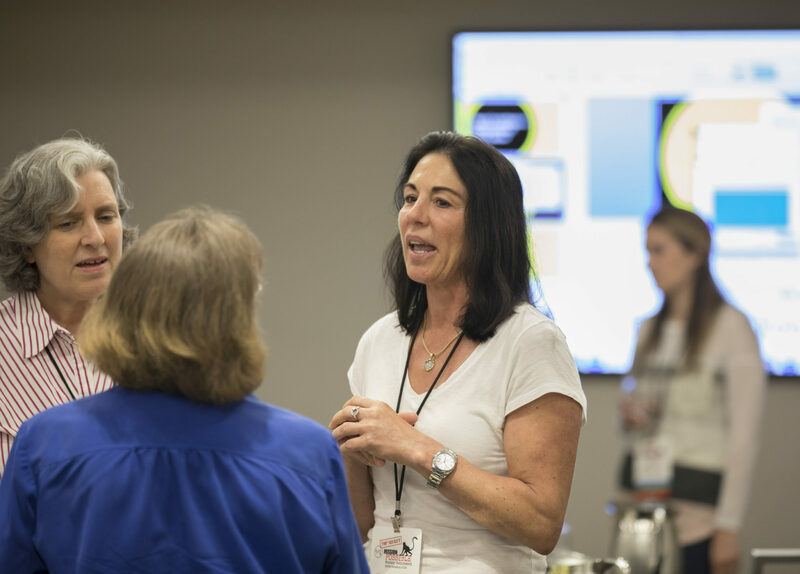 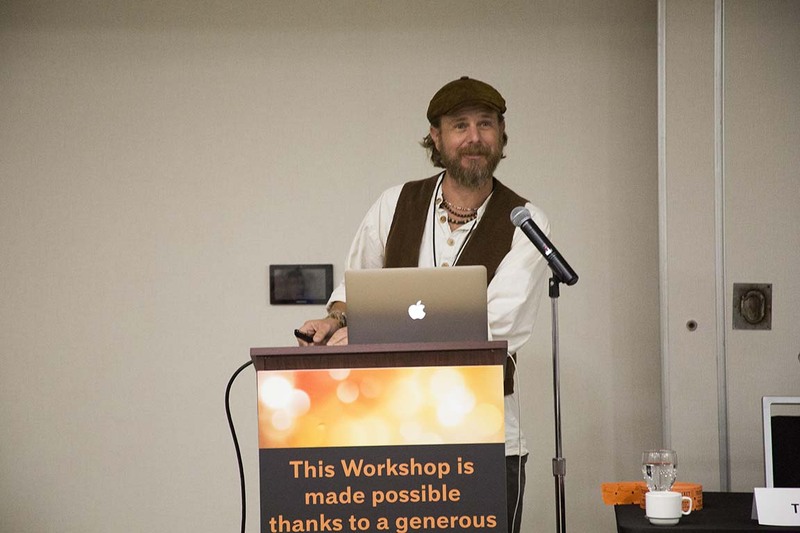 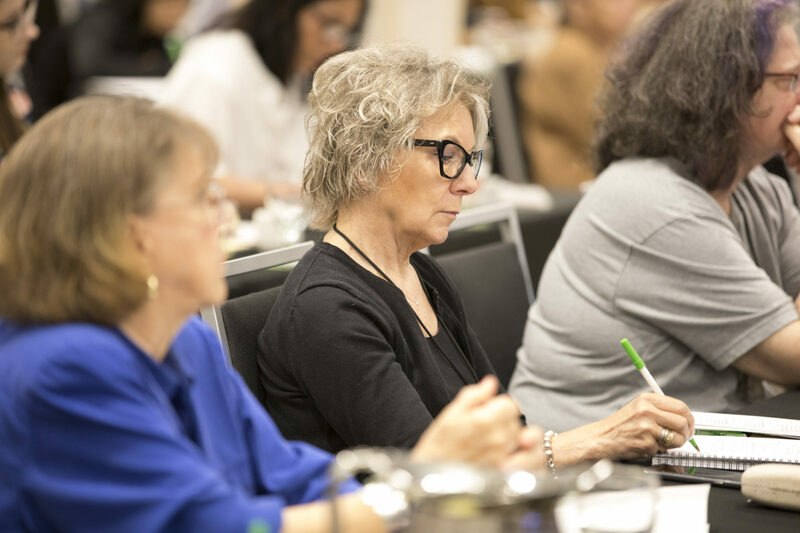 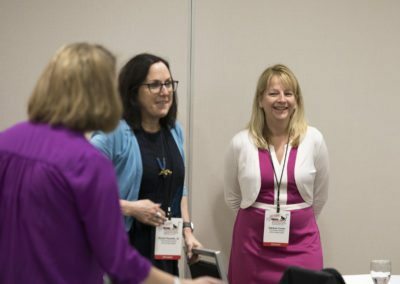 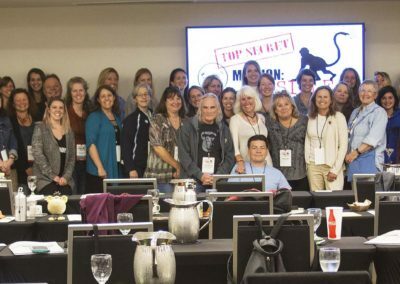 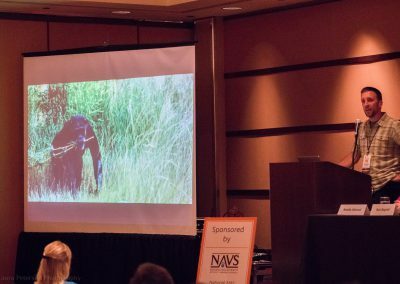 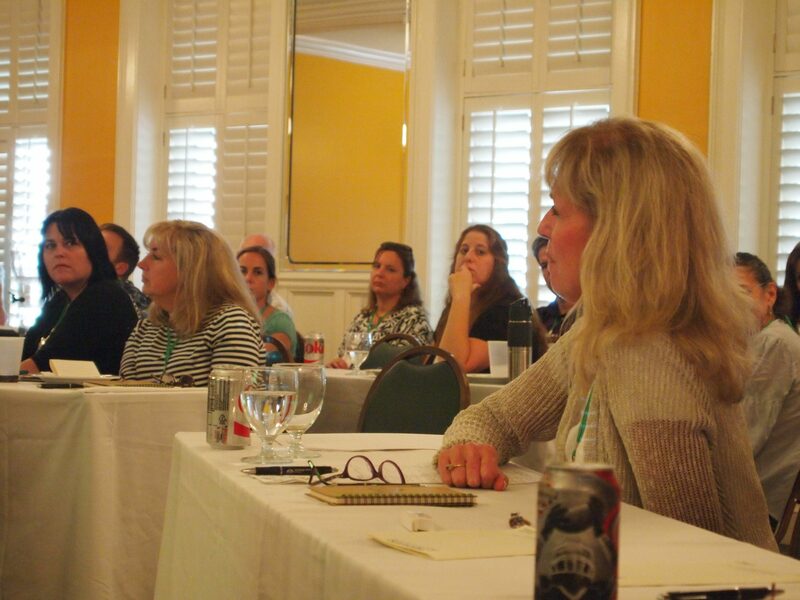 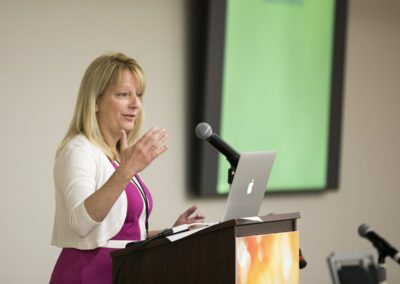 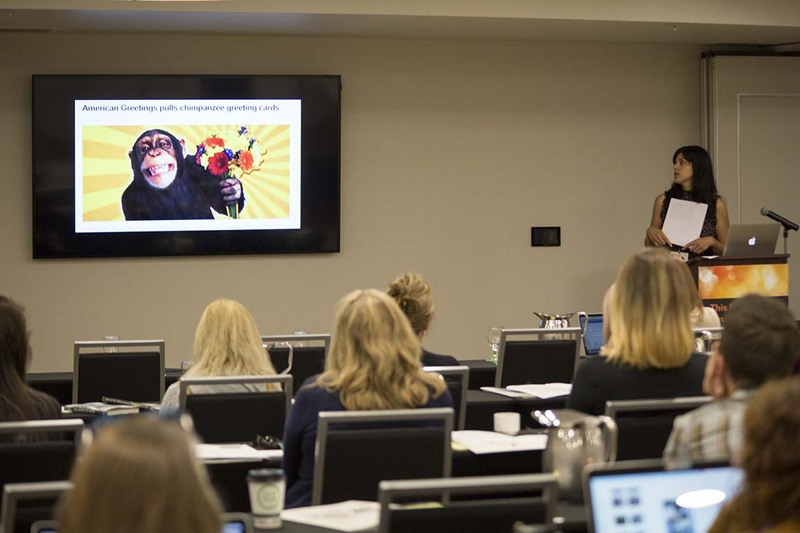 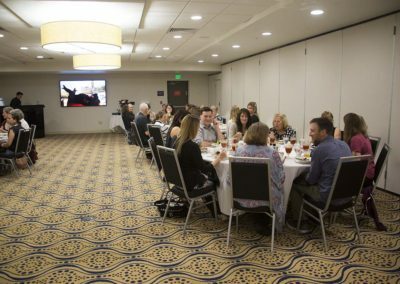 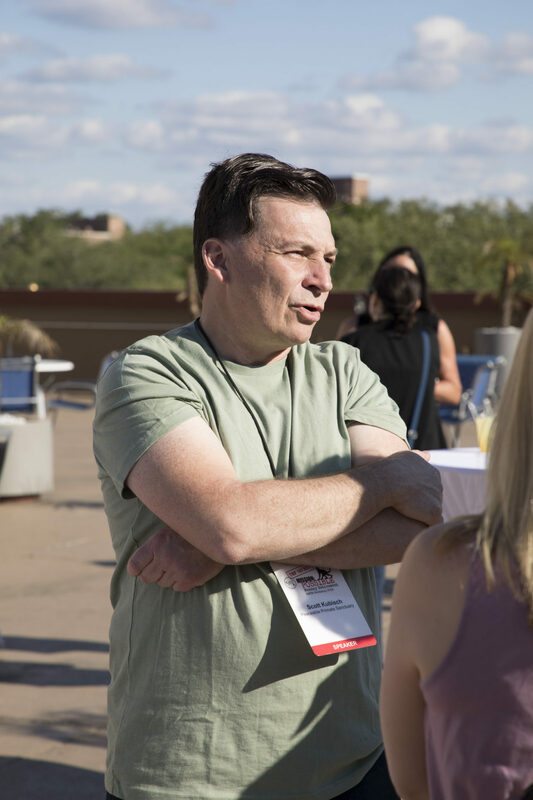 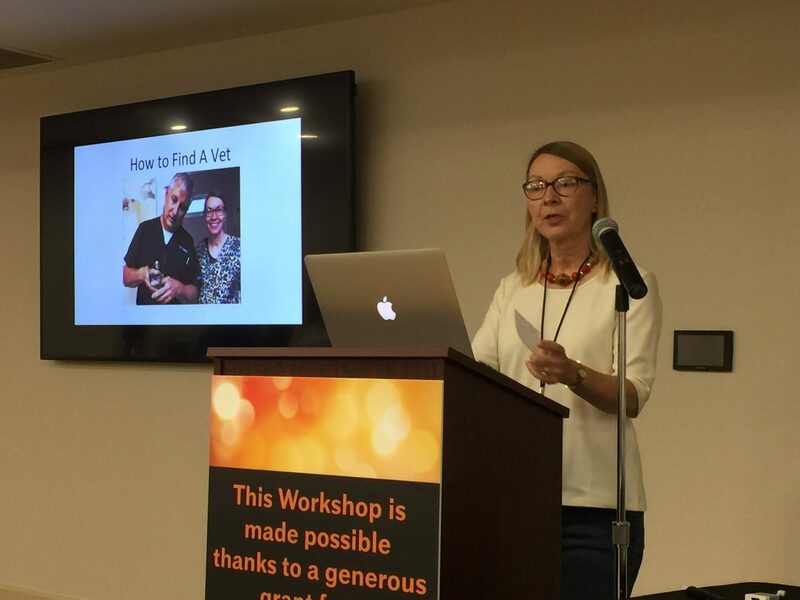 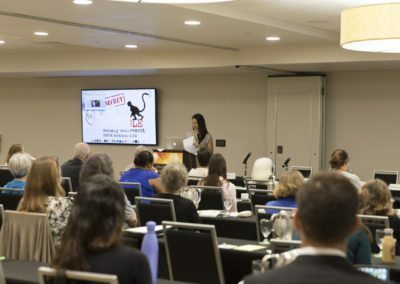 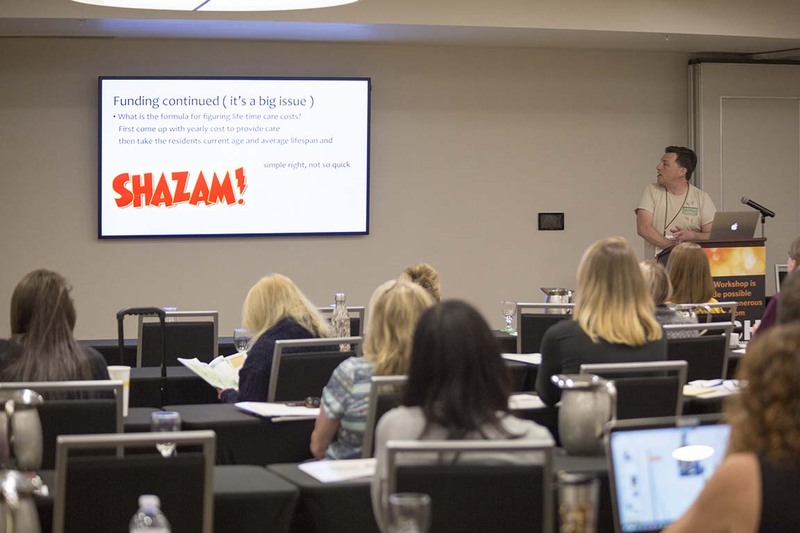 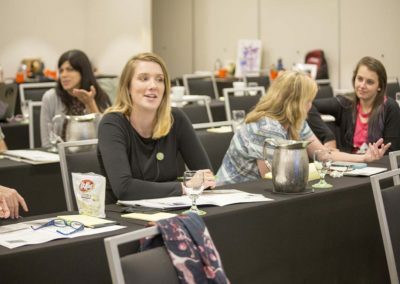 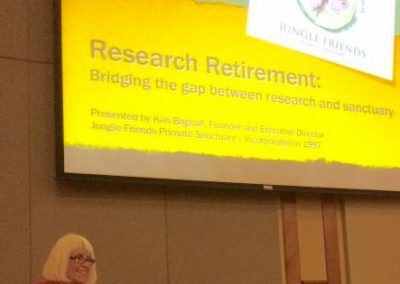 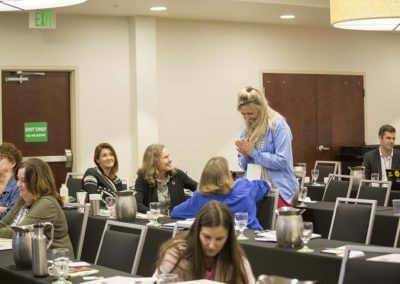 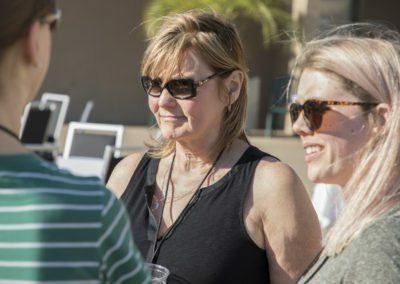 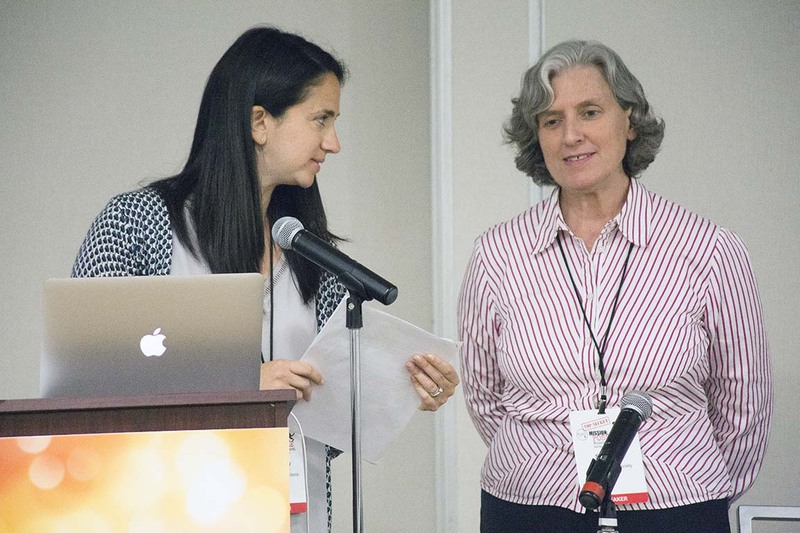 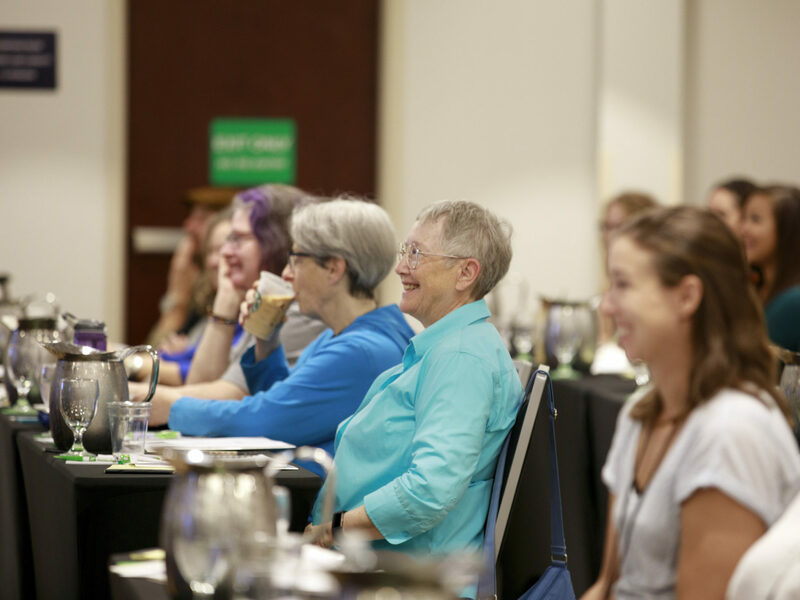 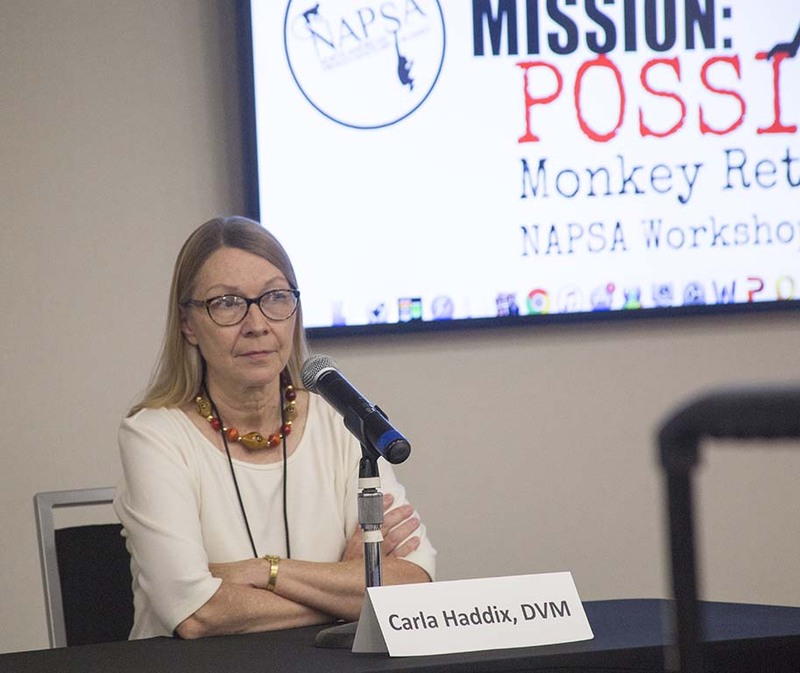 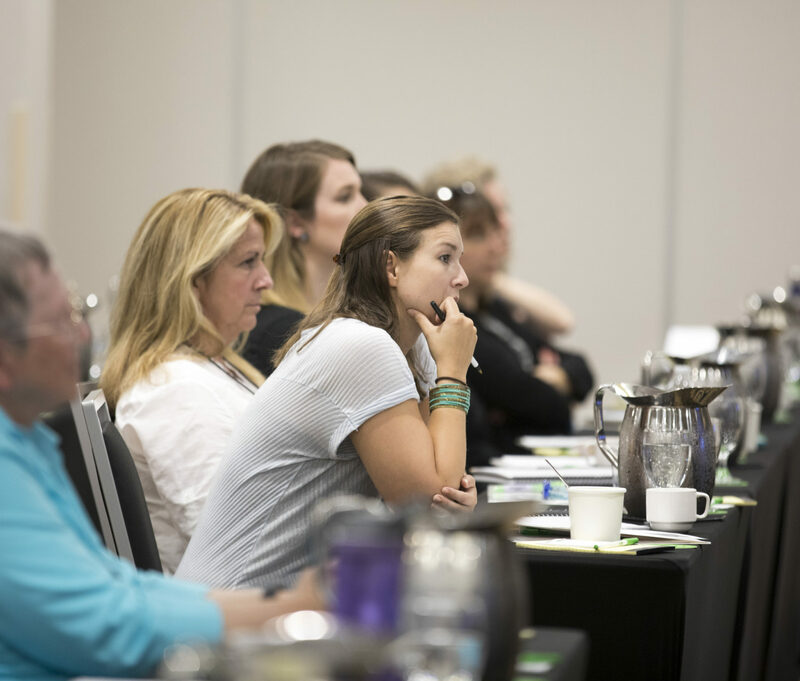 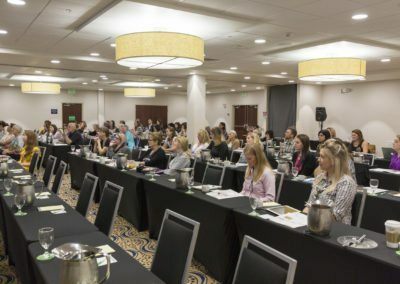 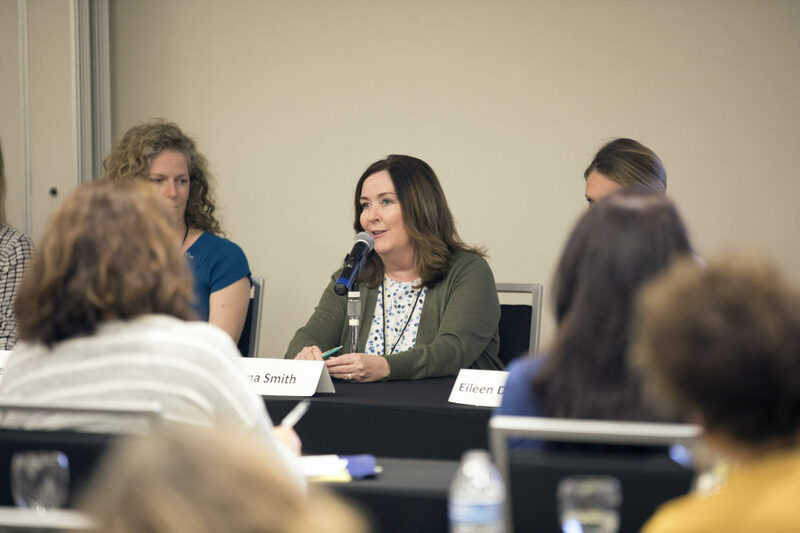 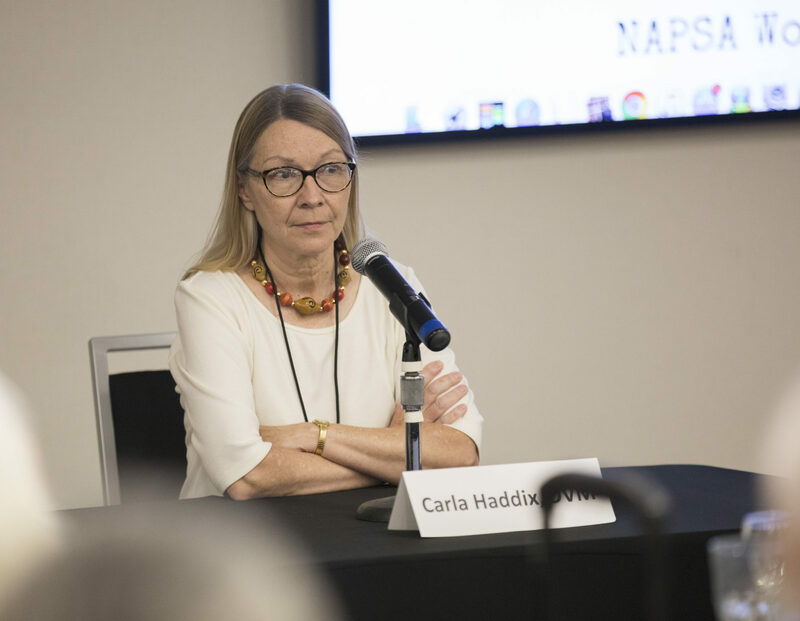 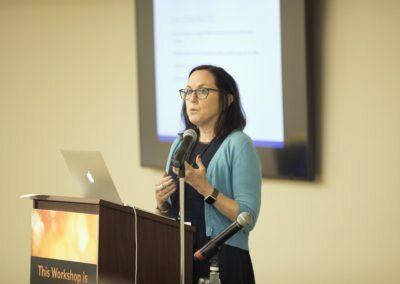 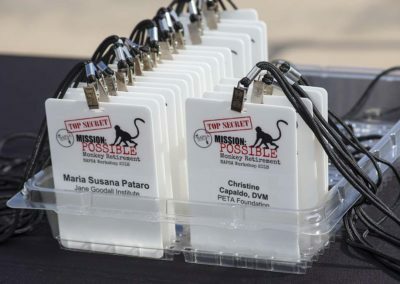 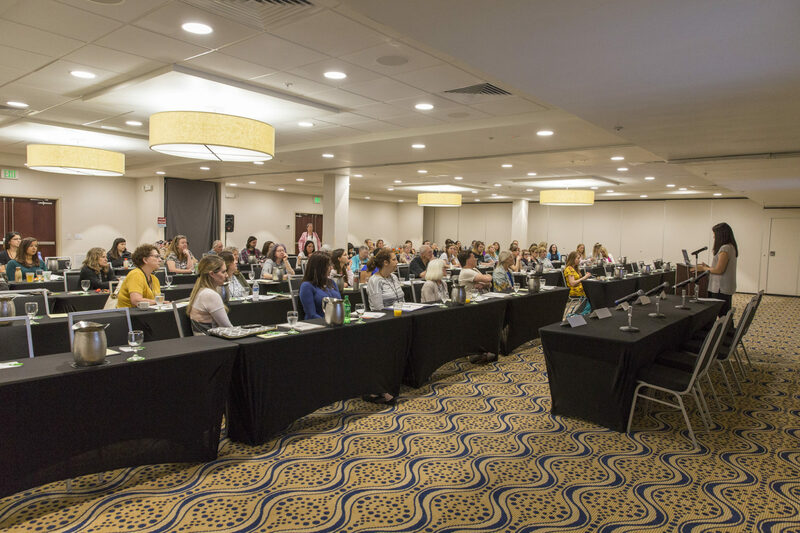 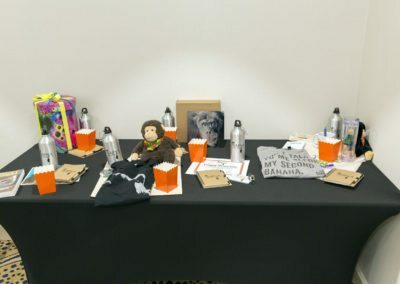 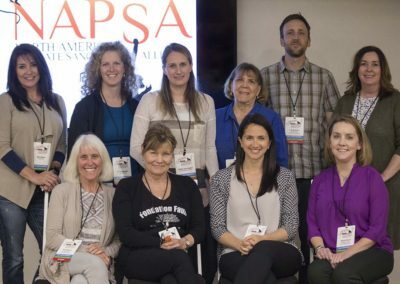 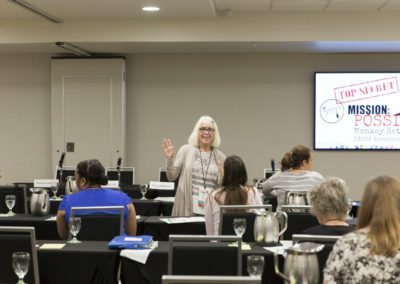 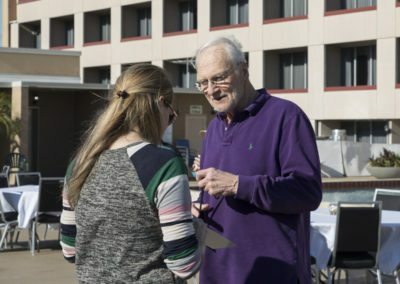 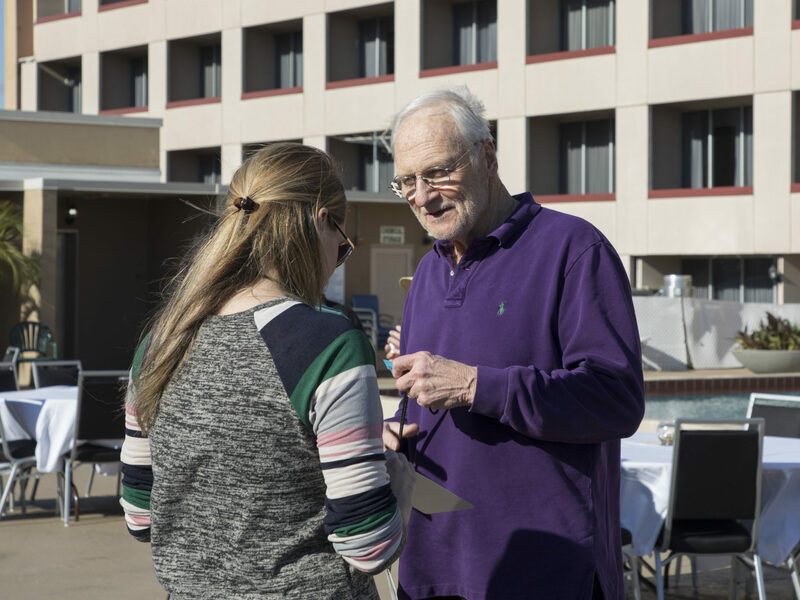 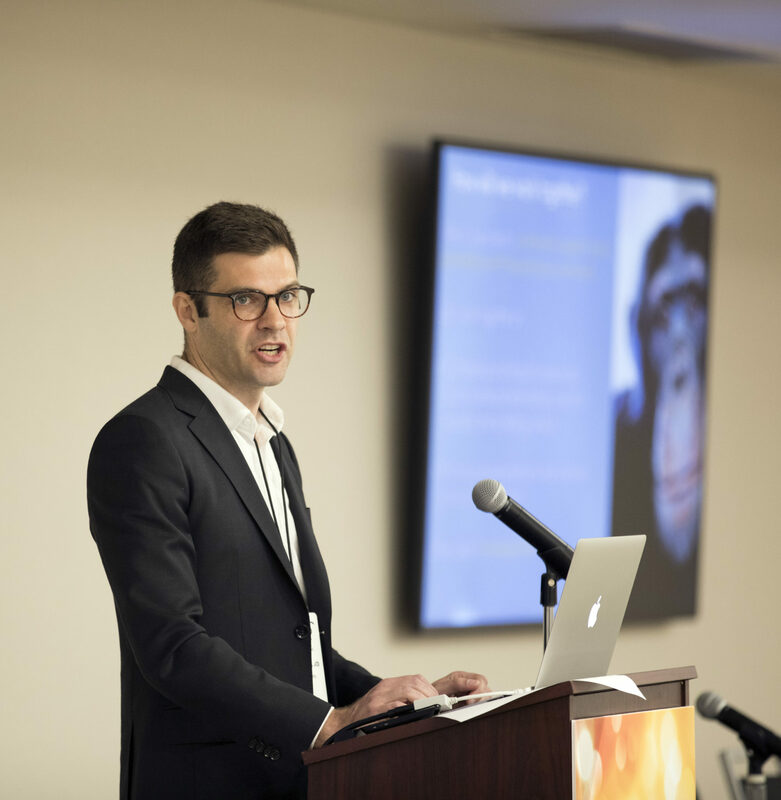 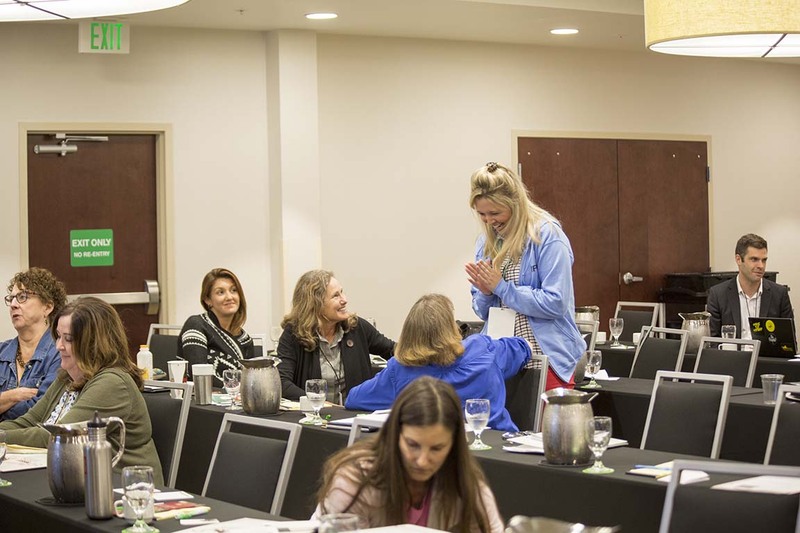 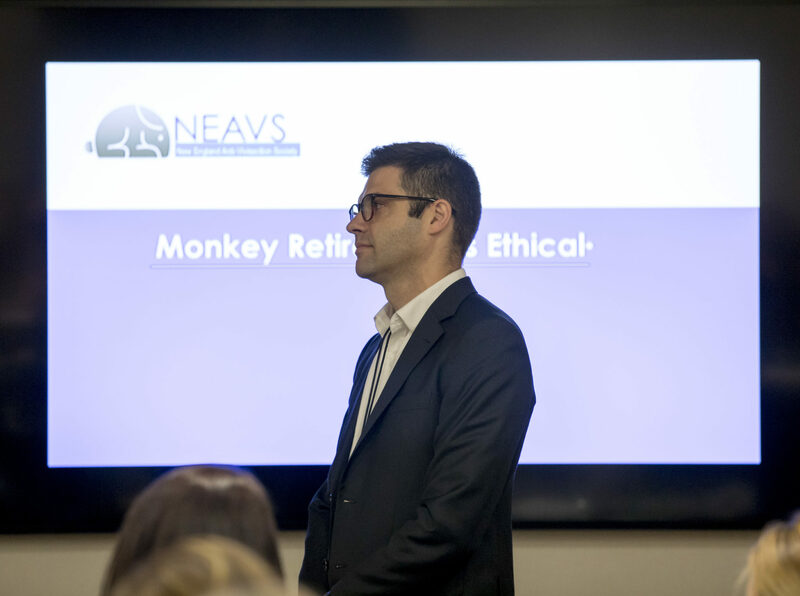 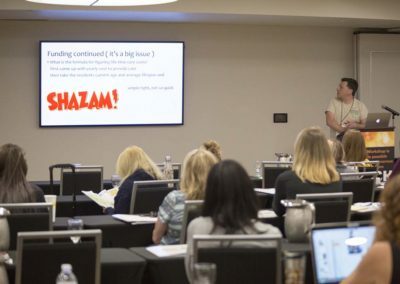 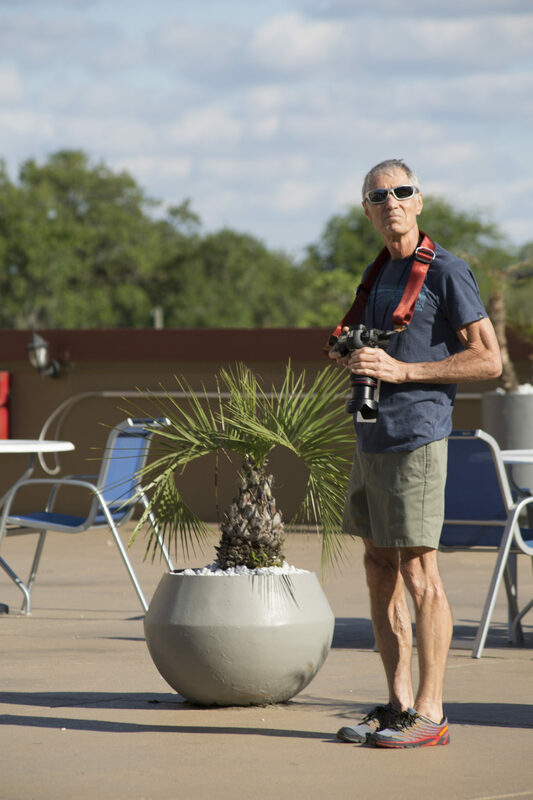 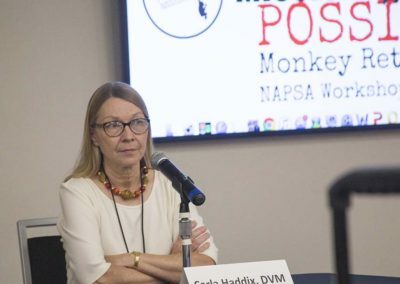 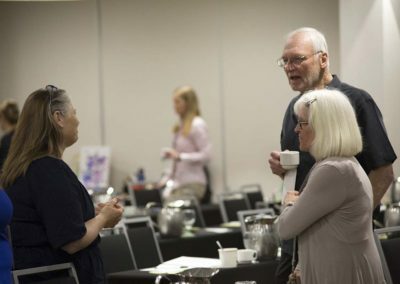 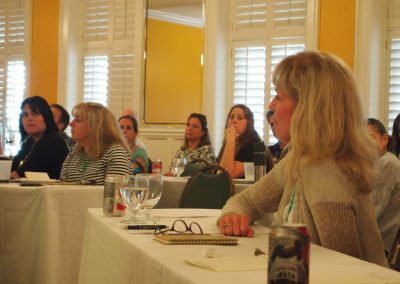 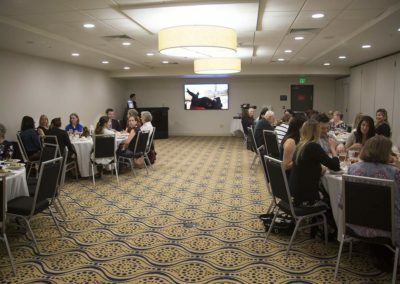 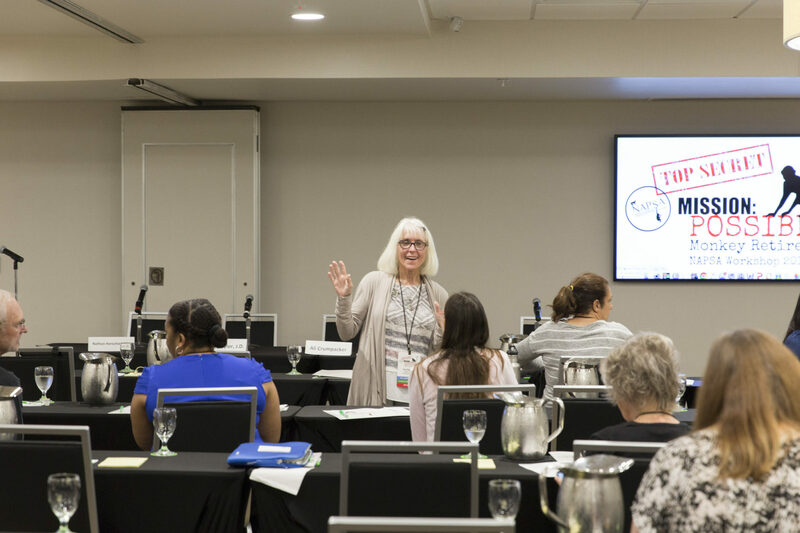 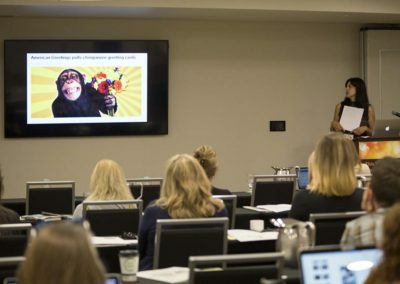 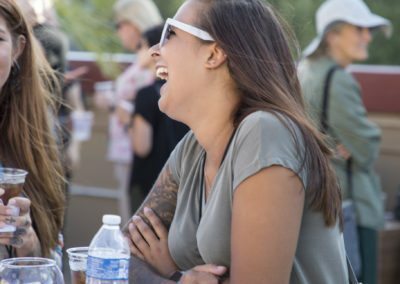 We welcomed over 75 people in April 2018 for NAPSA’s fifth Workshop – Mission Possible: Monkey Retirement. 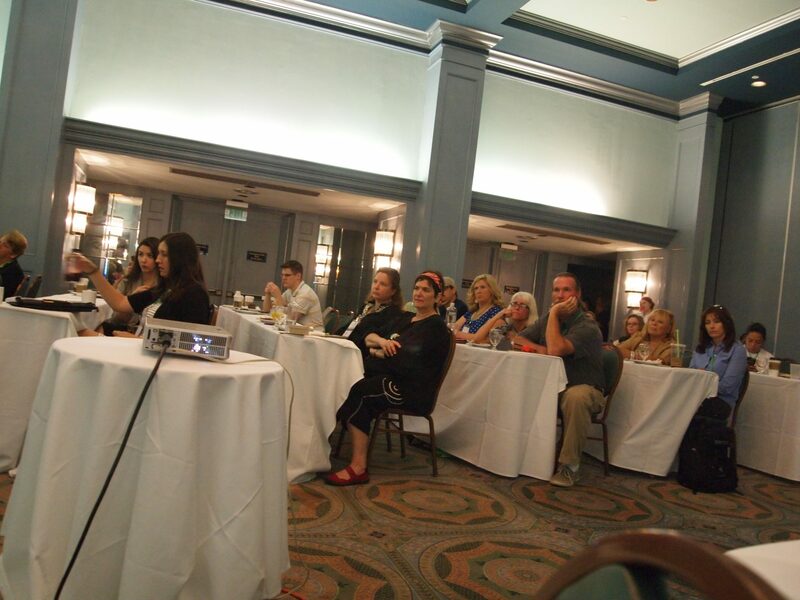 It was an inspirational and collaborative event.. 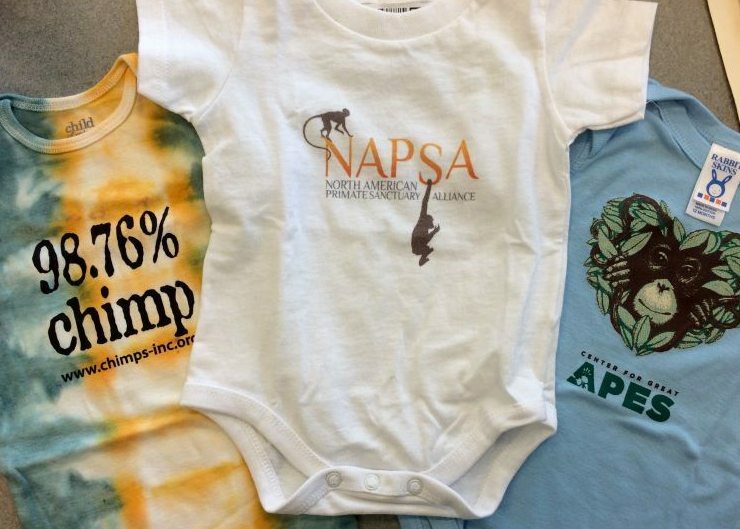 Fashionable attire at NAPSA Workshop! 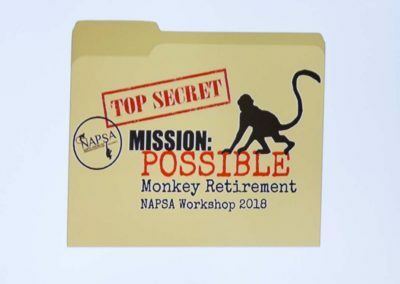 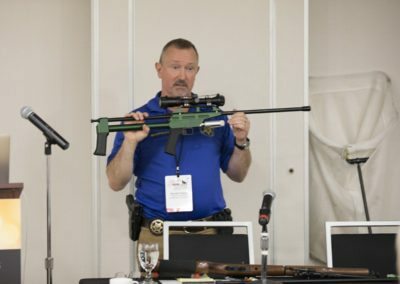 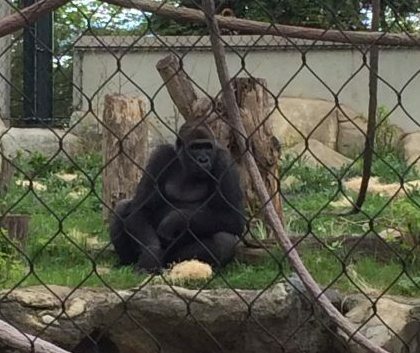 Everyone had their sights set on monkey retirement! 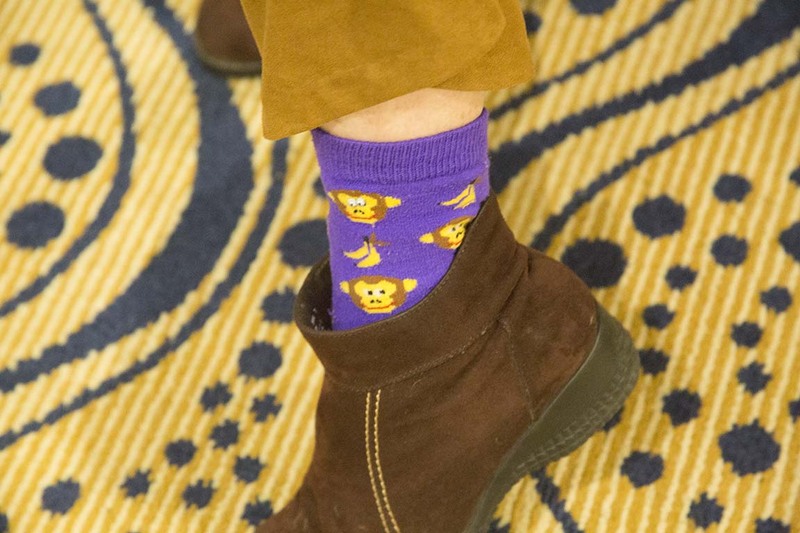 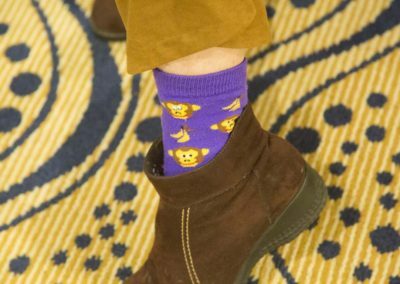 NAPSA Workshops feature the best socks! 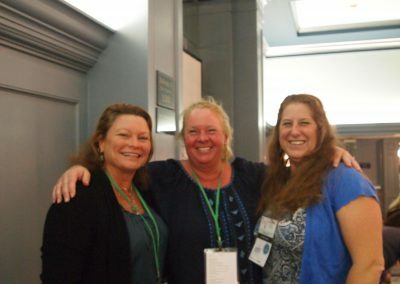 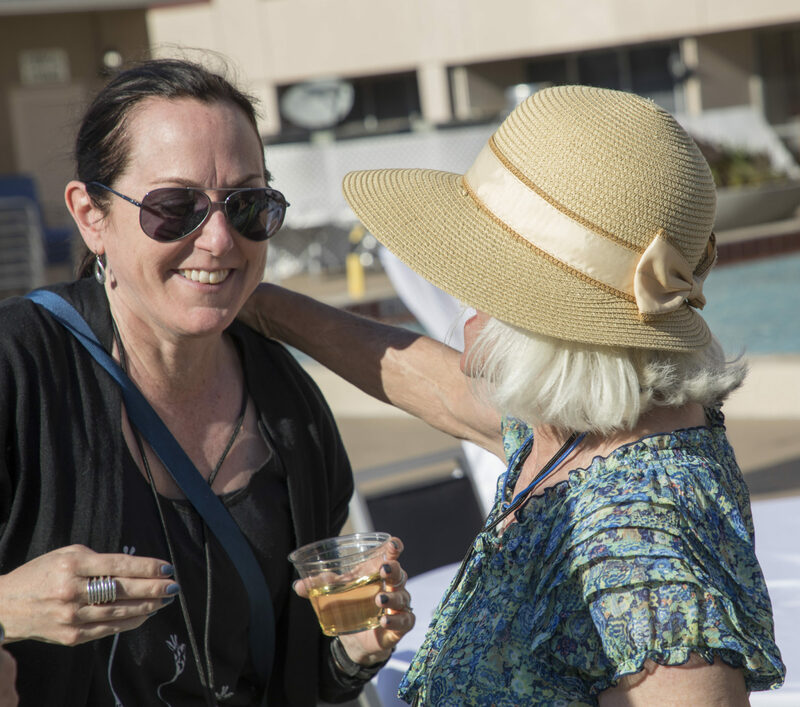 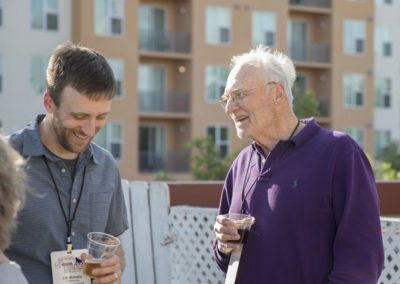 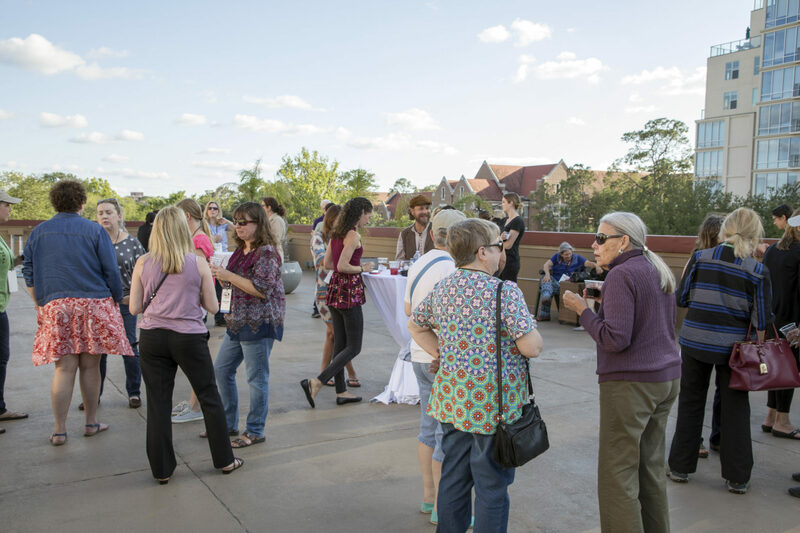 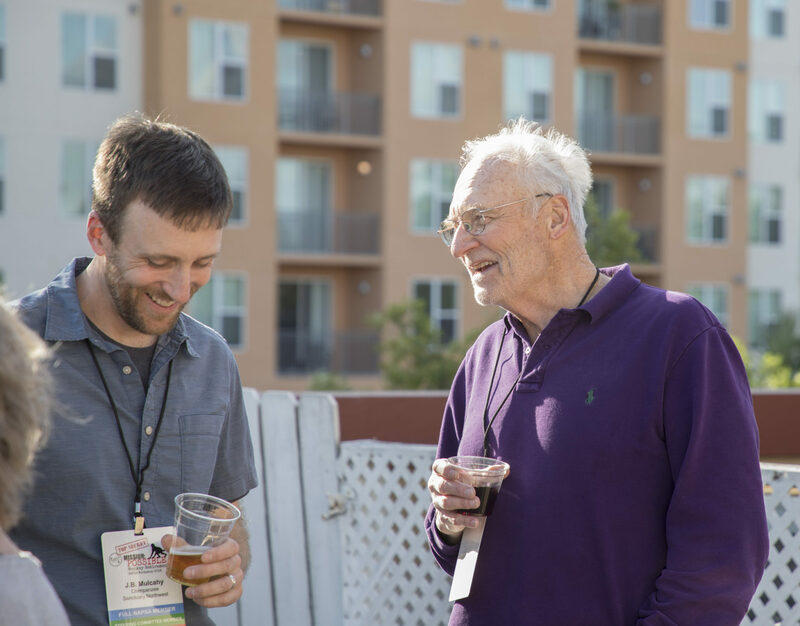 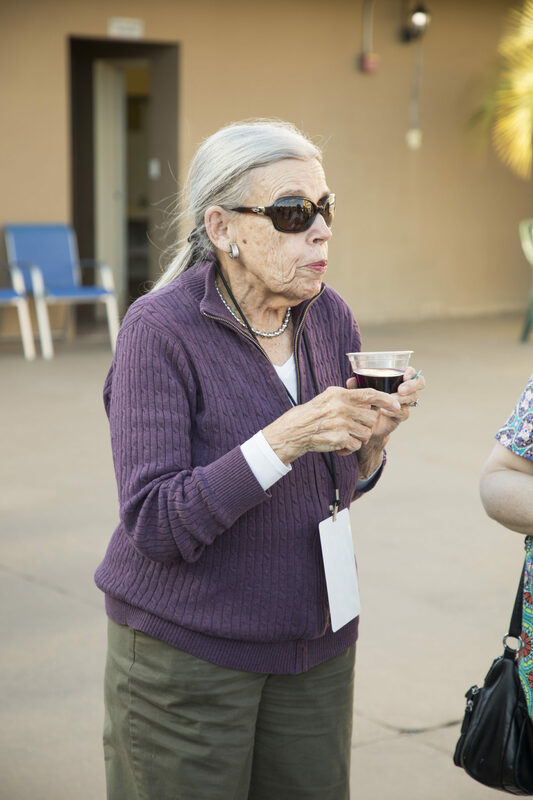 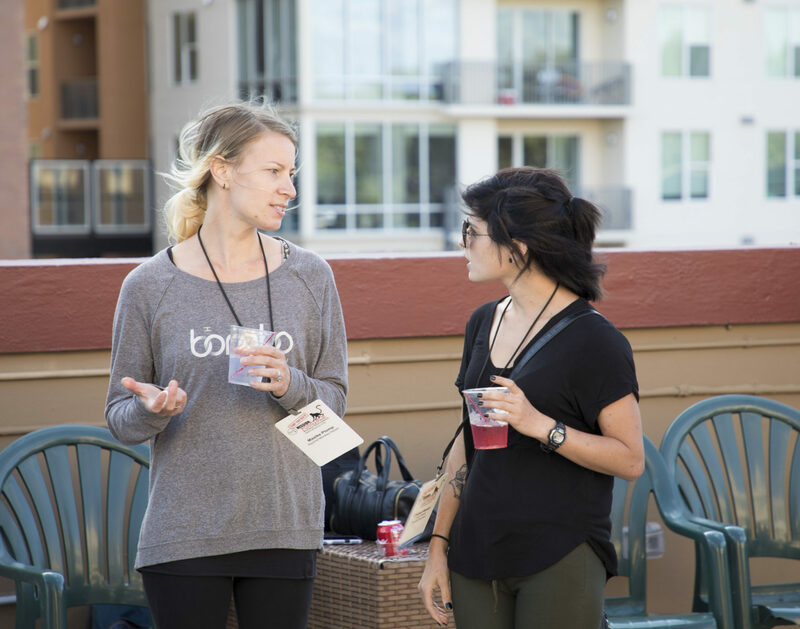 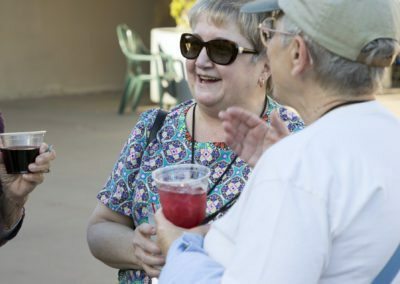 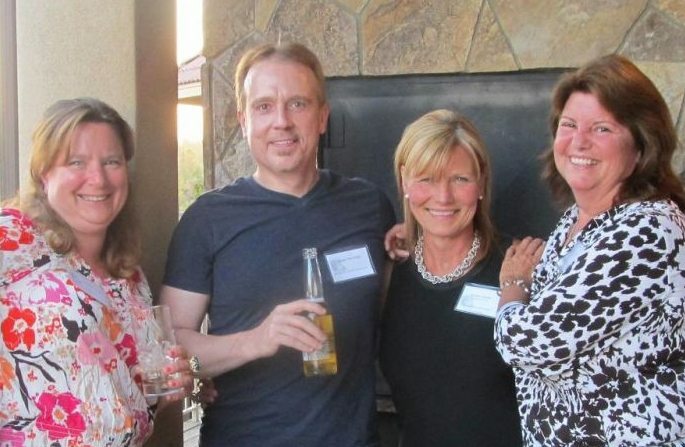 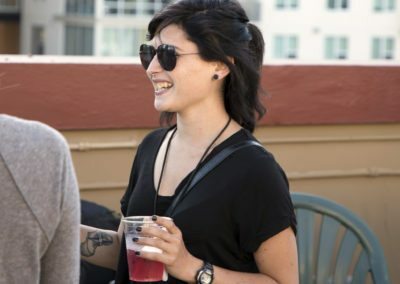 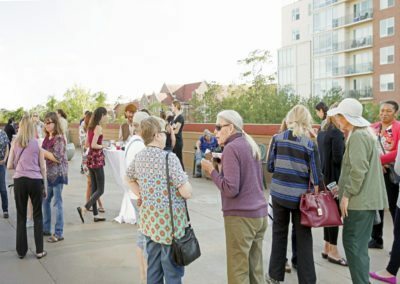 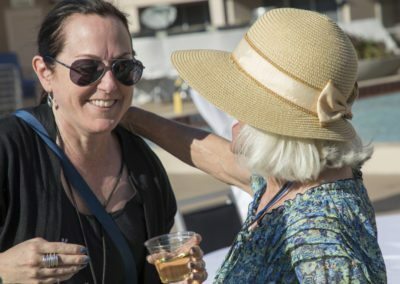 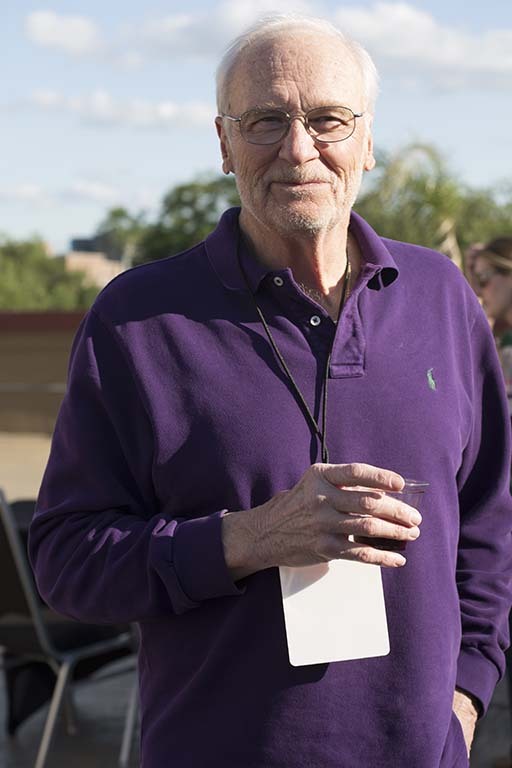 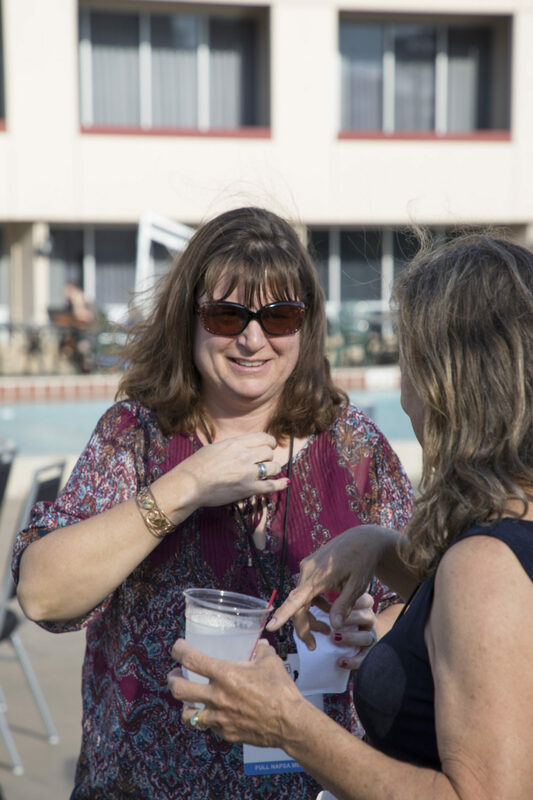 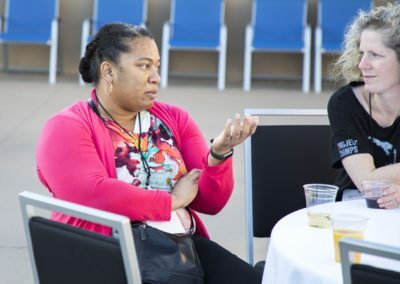 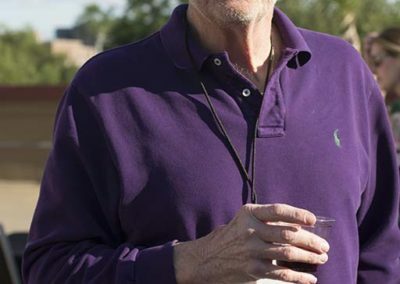 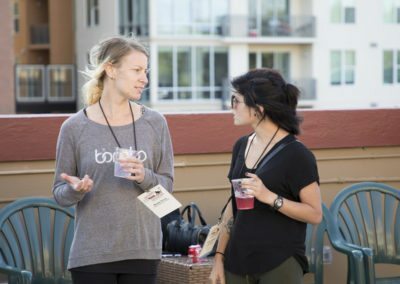 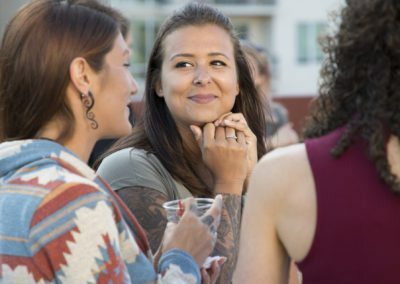 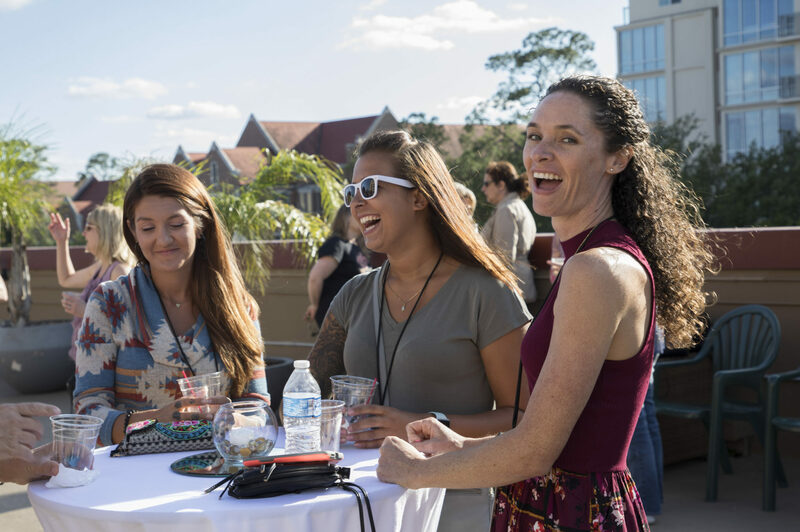 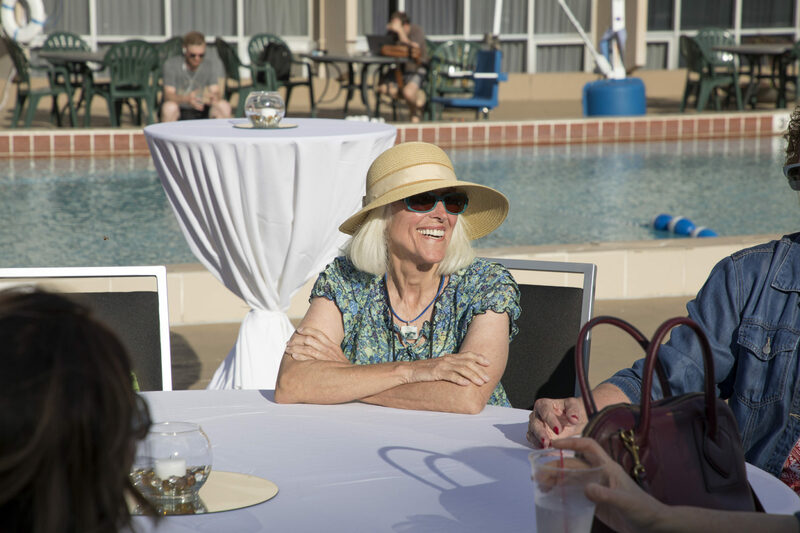 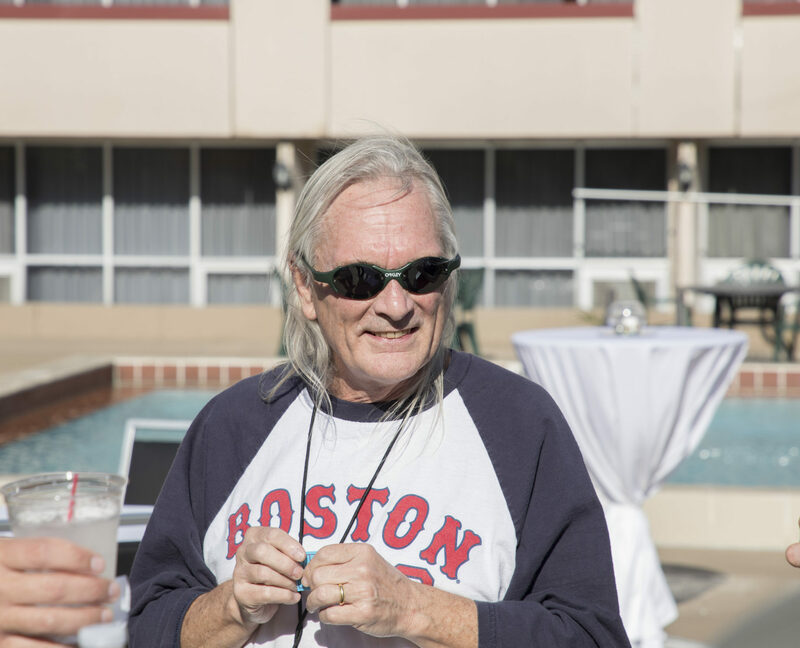 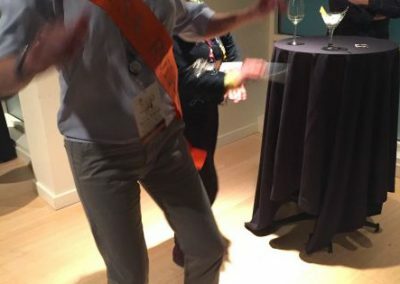 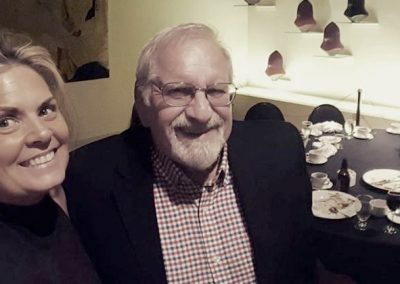 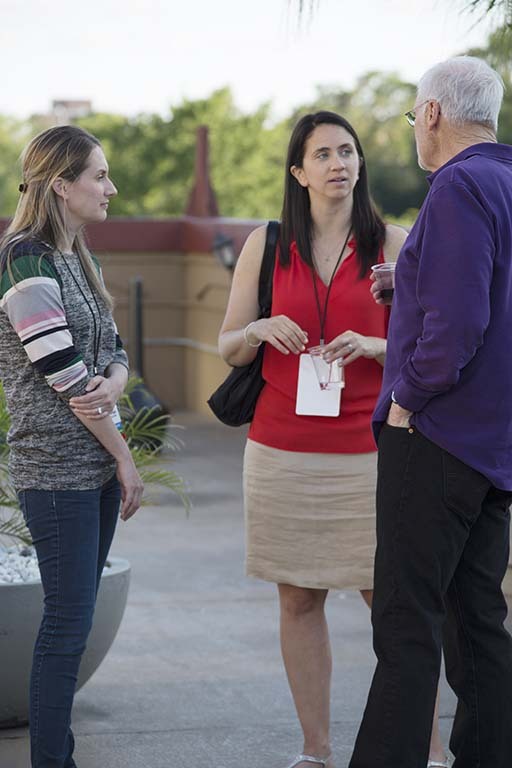 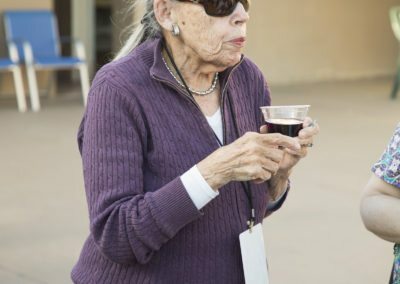 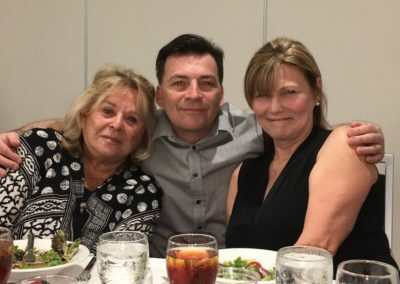 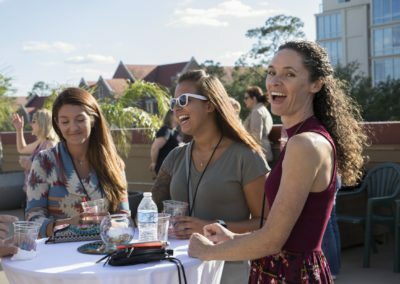 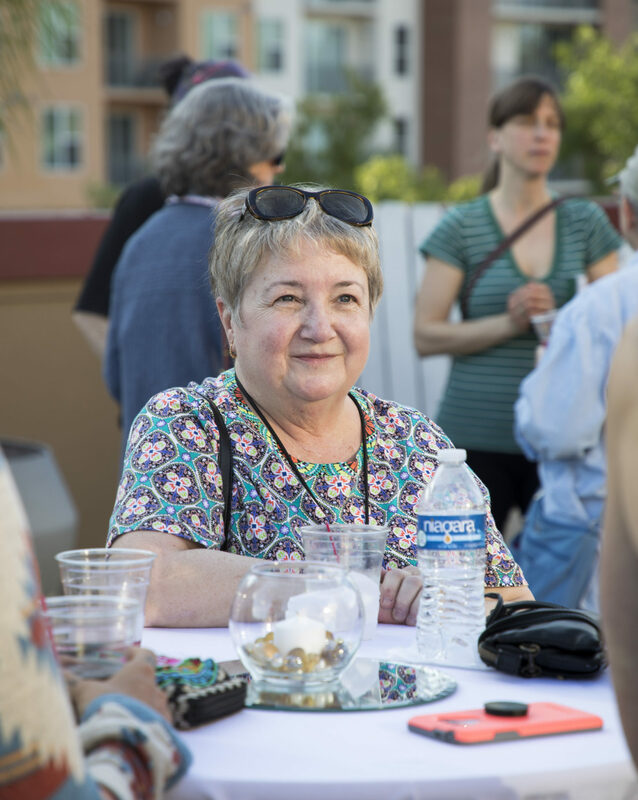 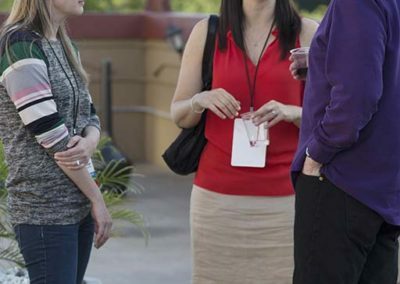 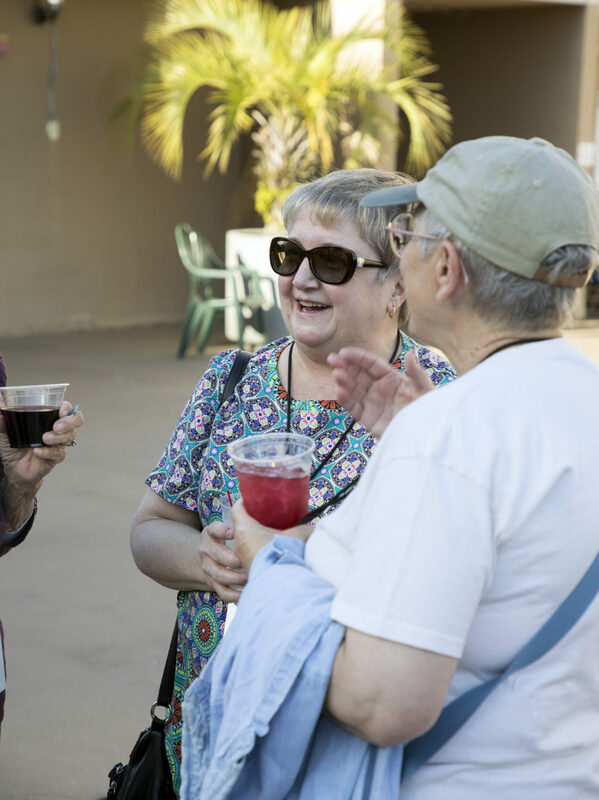 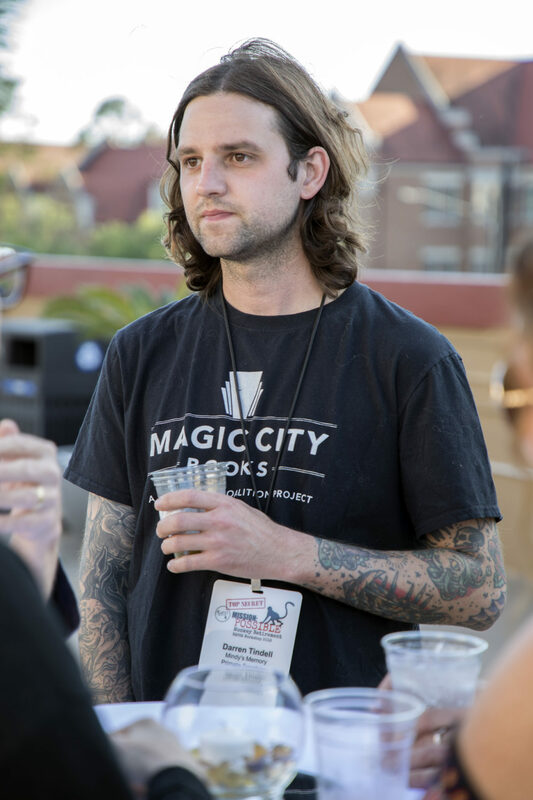 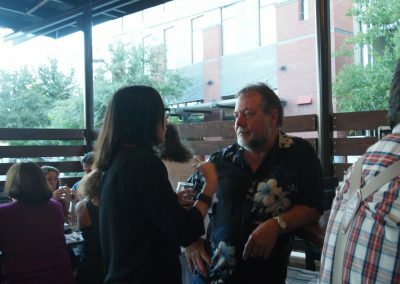 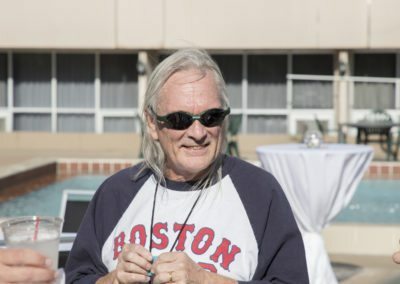 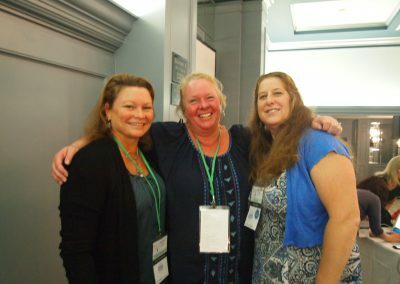 The Drinks Reception was a great time to reconnect with old friends! 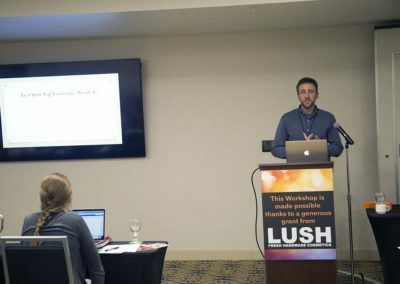 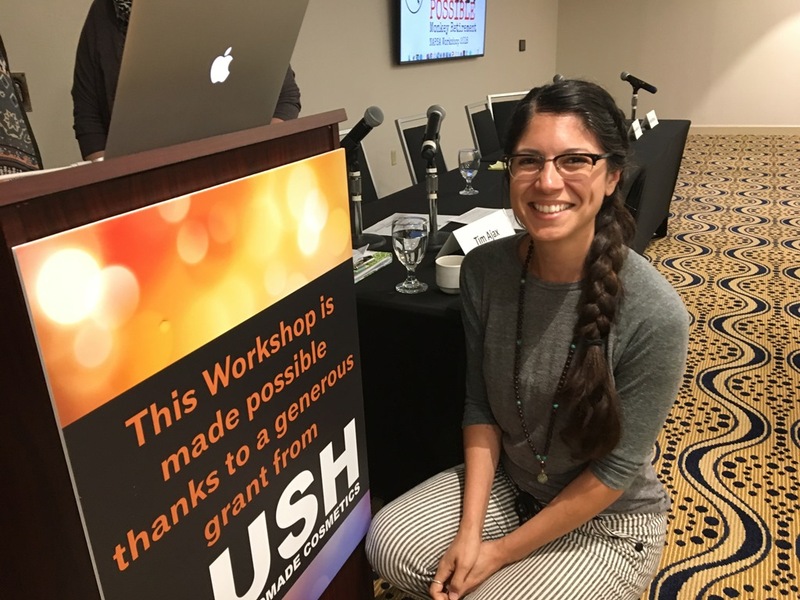 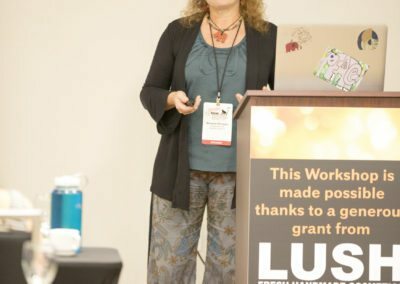 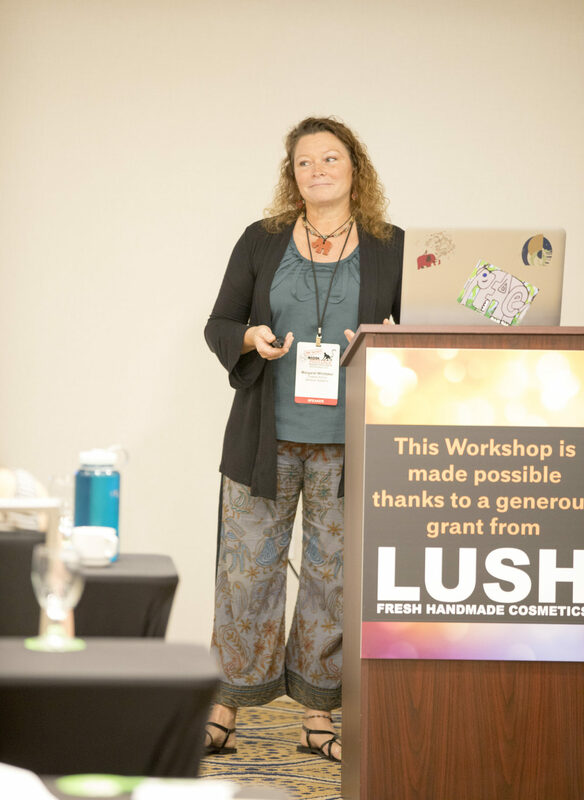 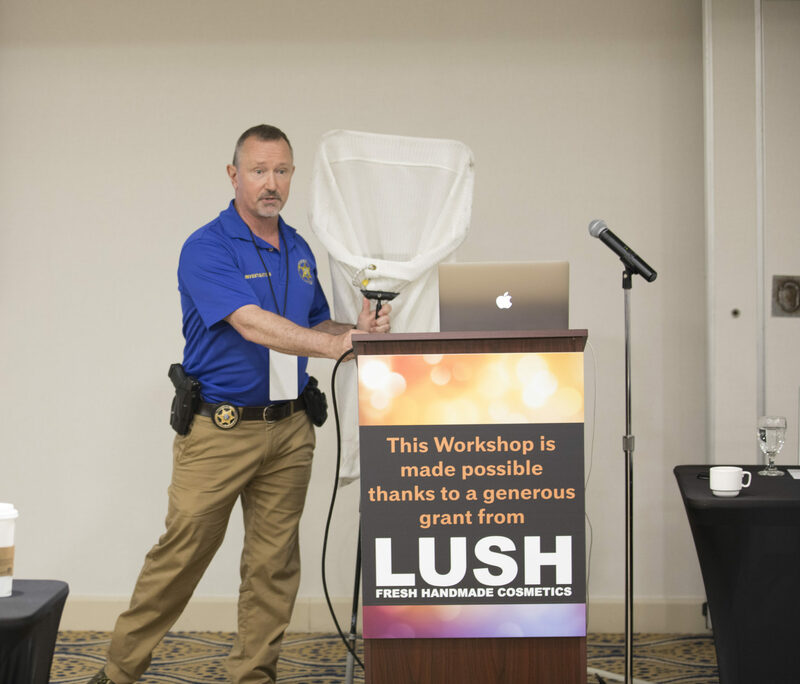 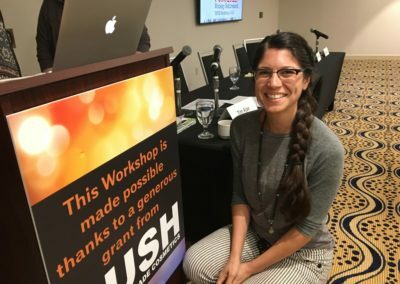 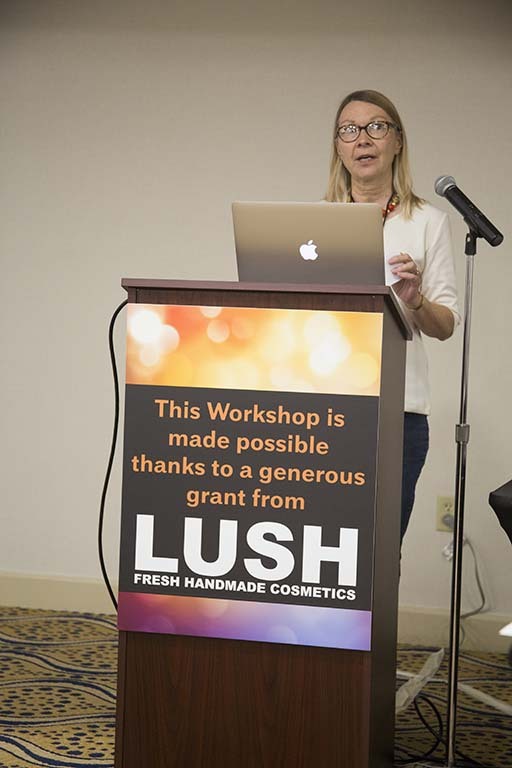 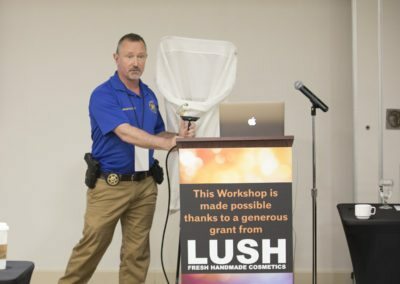 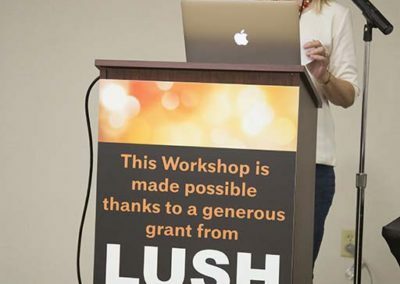 Thanks LUSH for helping fund our Workshop! 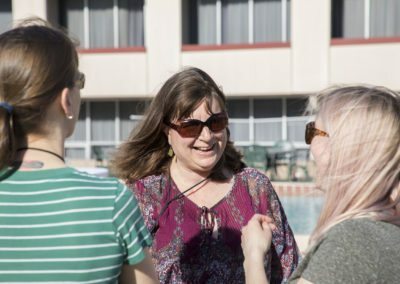 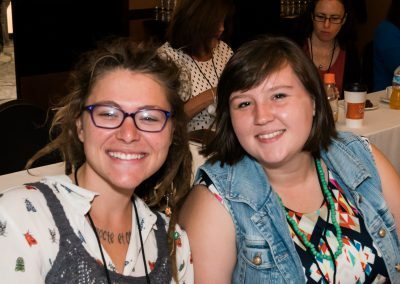 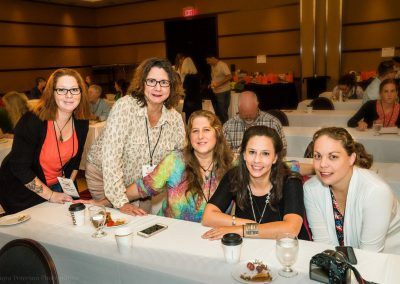 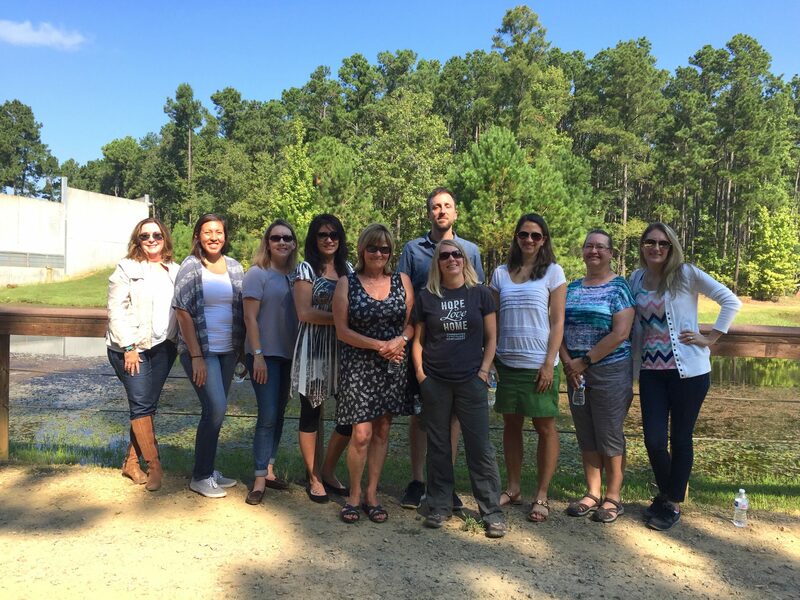 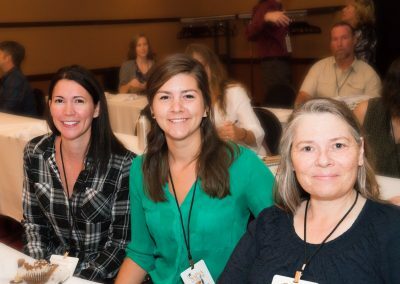 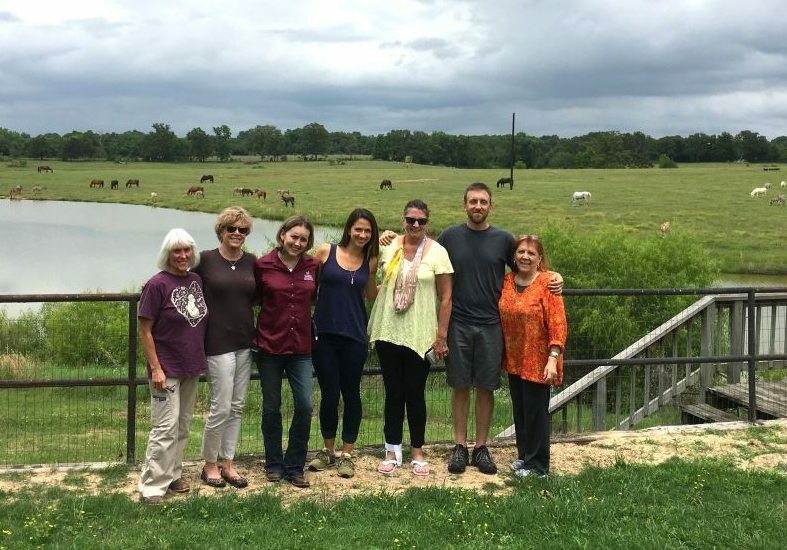 In September 2017, our Steering Committee members and alternates gathered for a retreat in Shreveport, Louisiana. 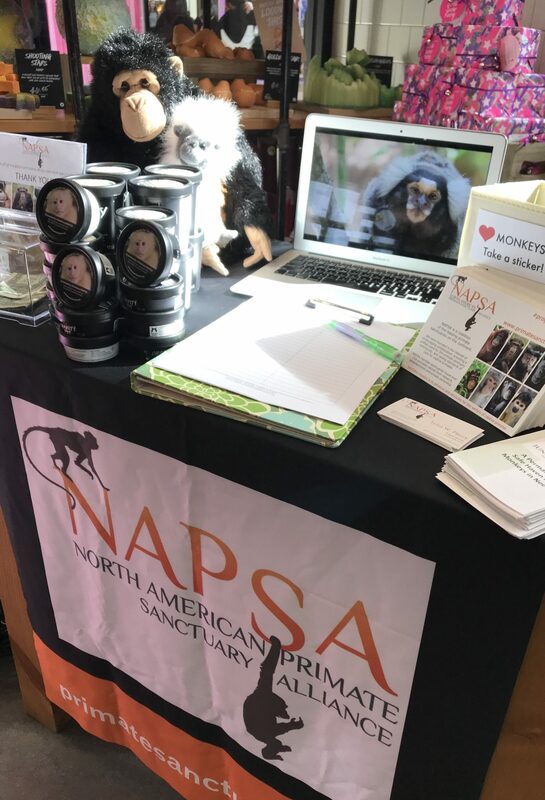 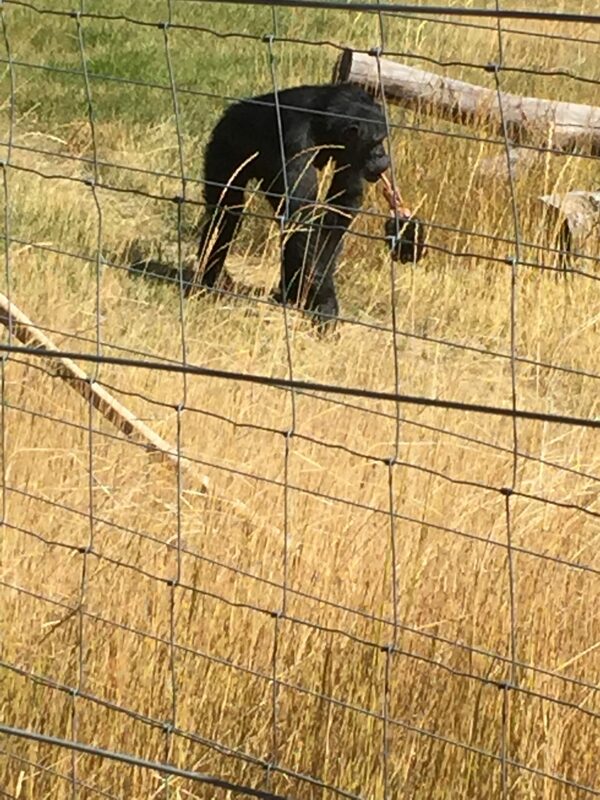 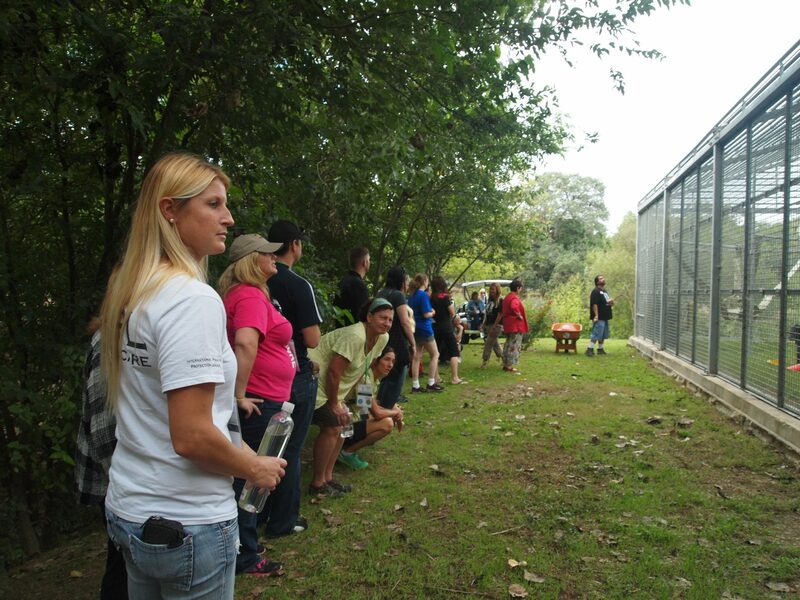 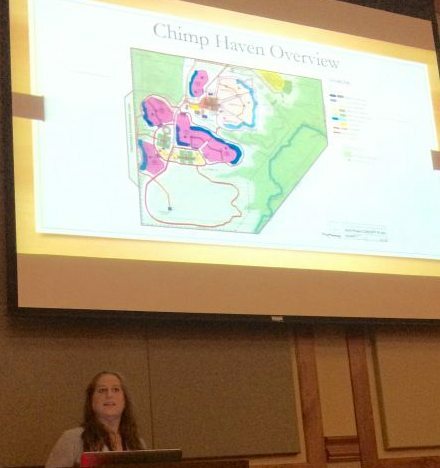 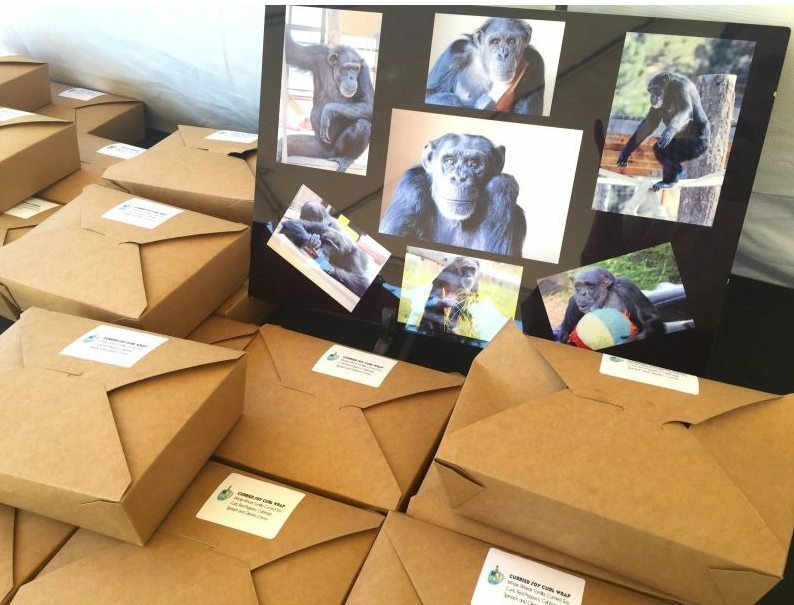 We planned for NAPSA’s bright future and met the chimps of Chimp Haven! 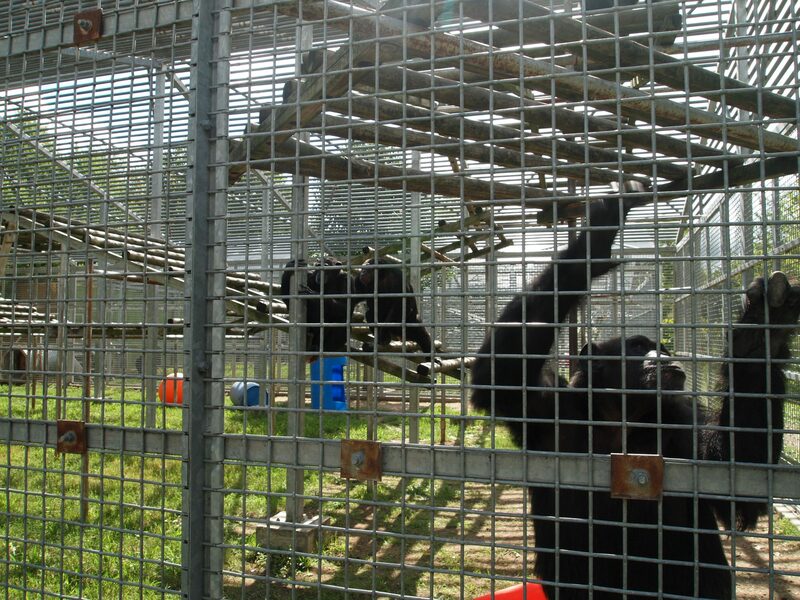 We arrived at Chimp Haven! 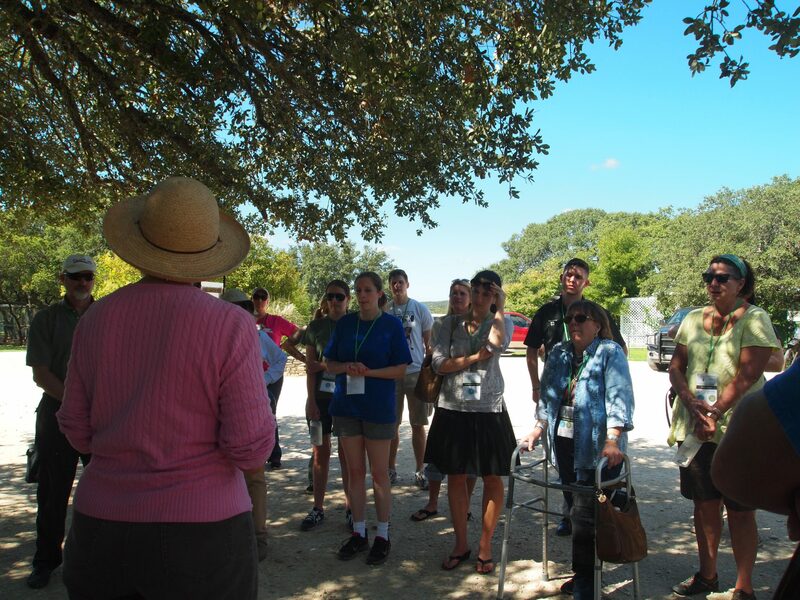 Kathleen Taylor was quite an informative tour guide. 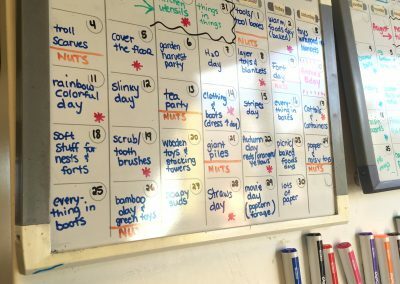 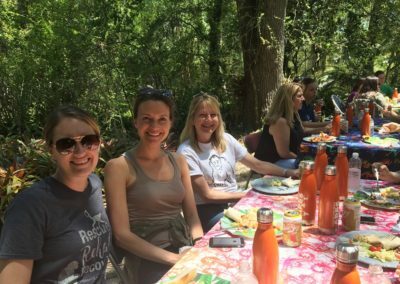 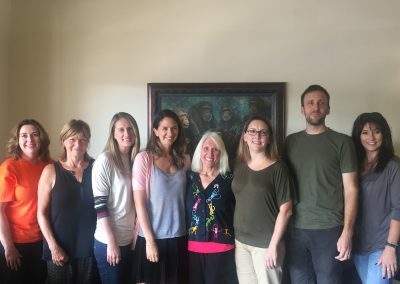 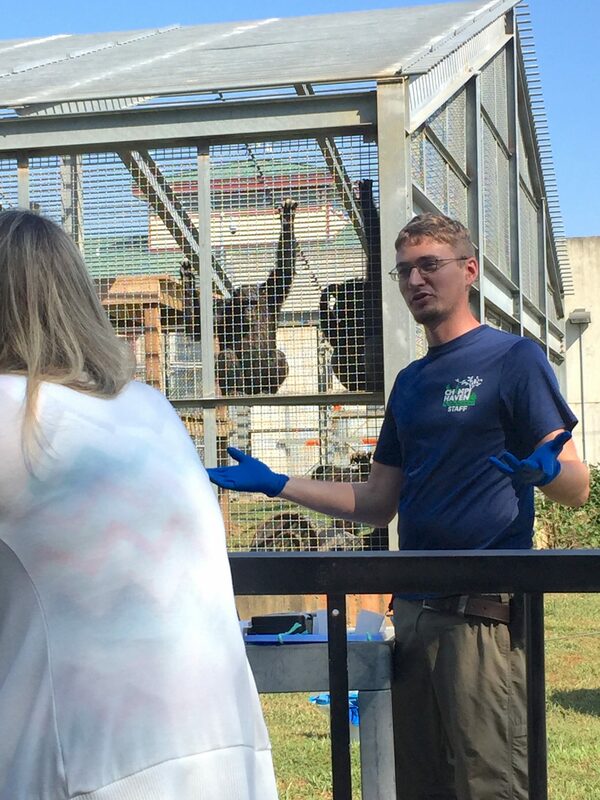 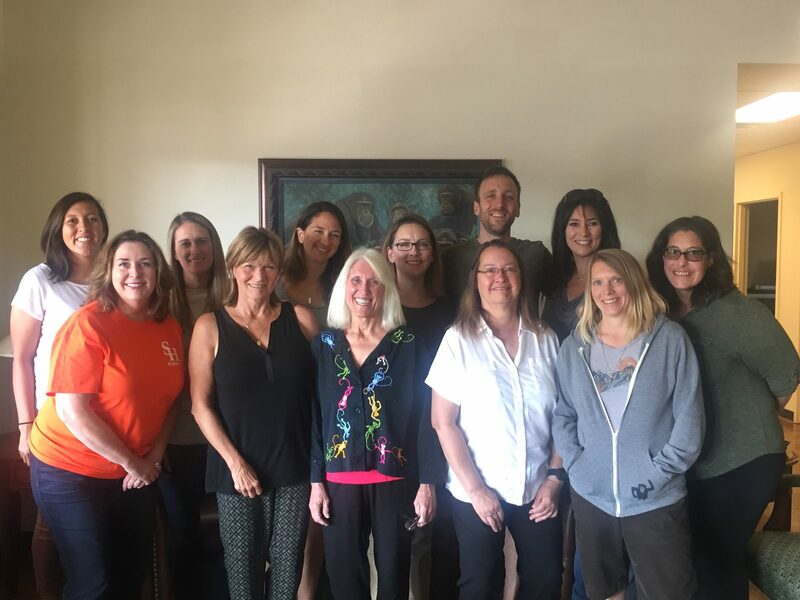 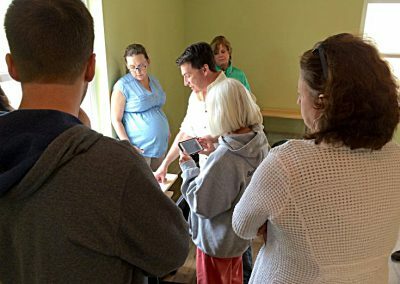 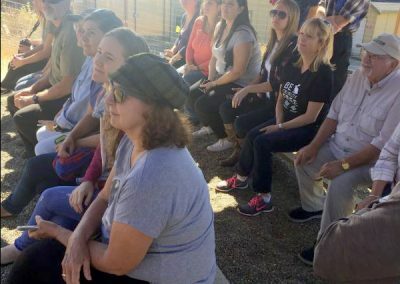 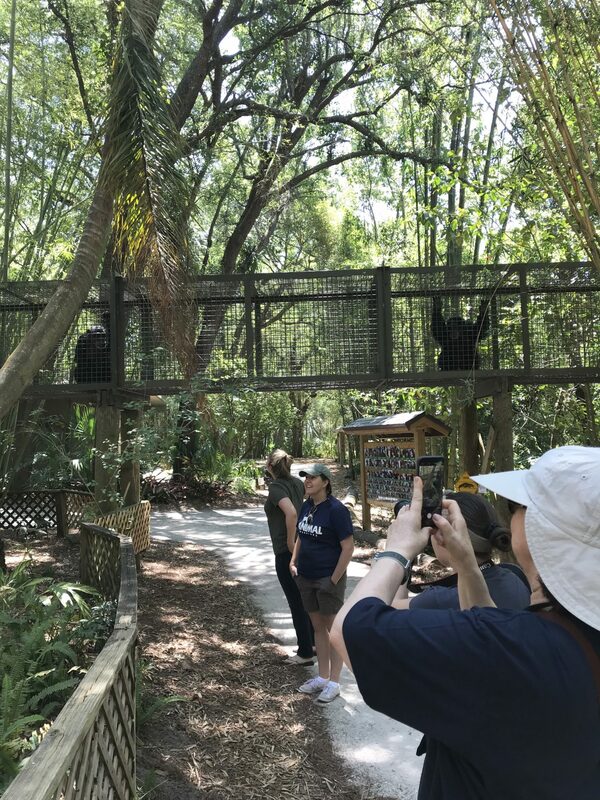 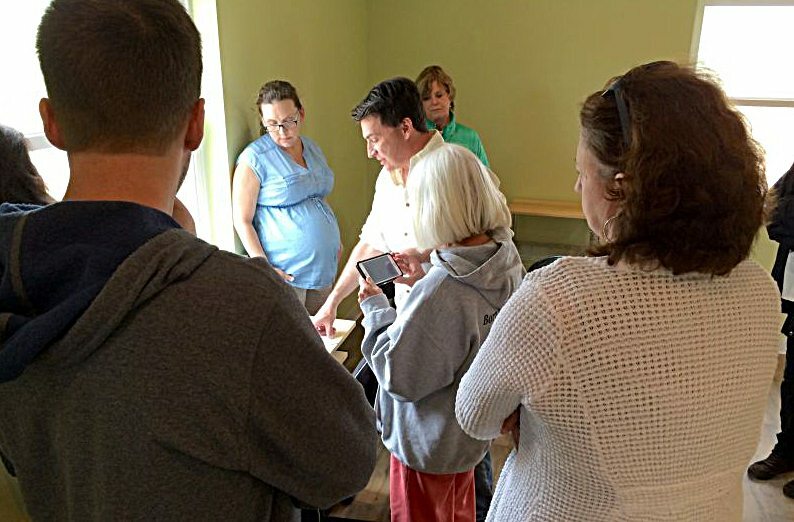 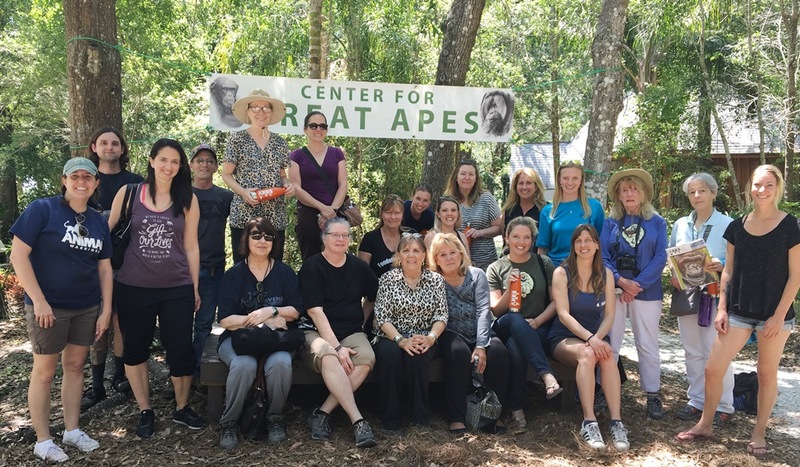 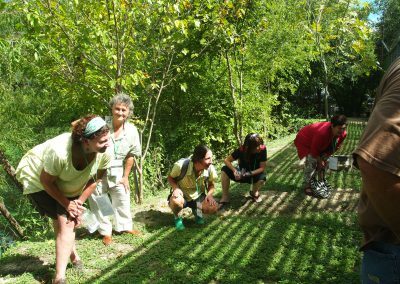 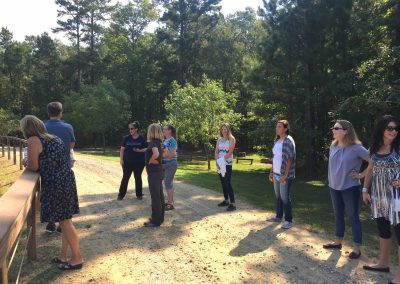 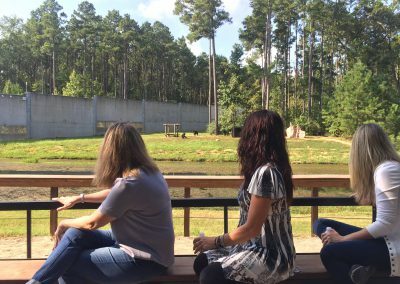 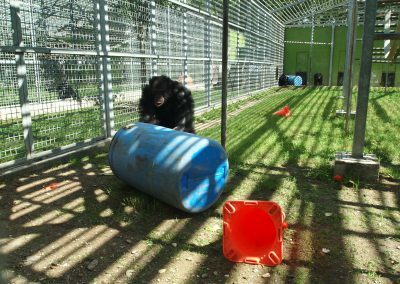 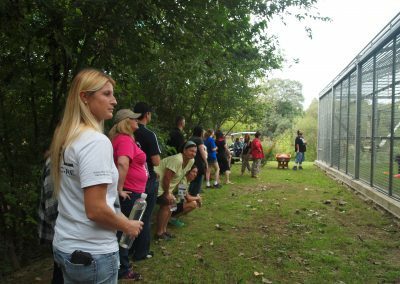 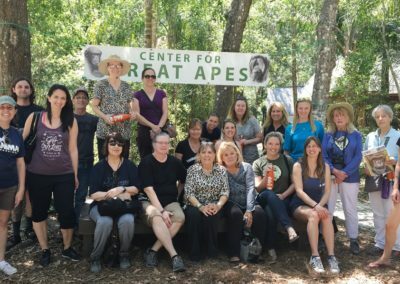 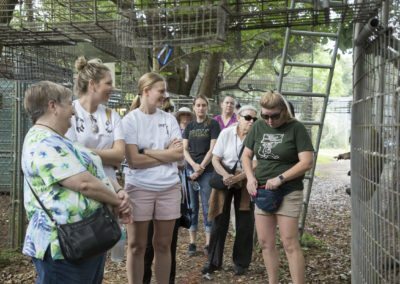 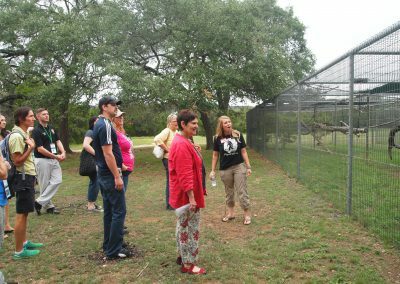 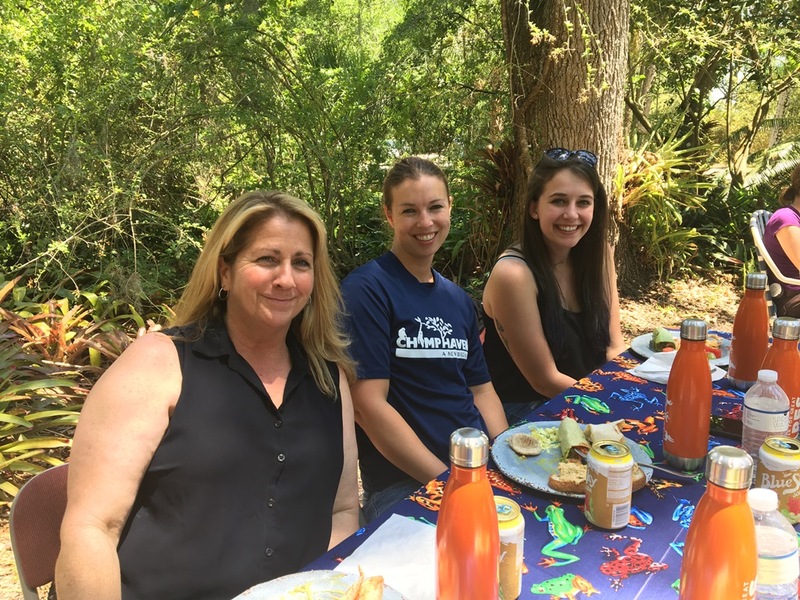 NAPSA’s Steering Committee learned how Chimp Haven staff use positive reinforcement training to care for their chimpanzees. 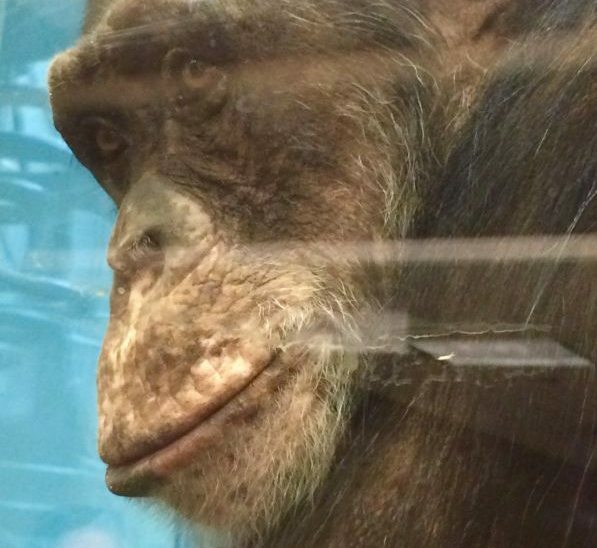 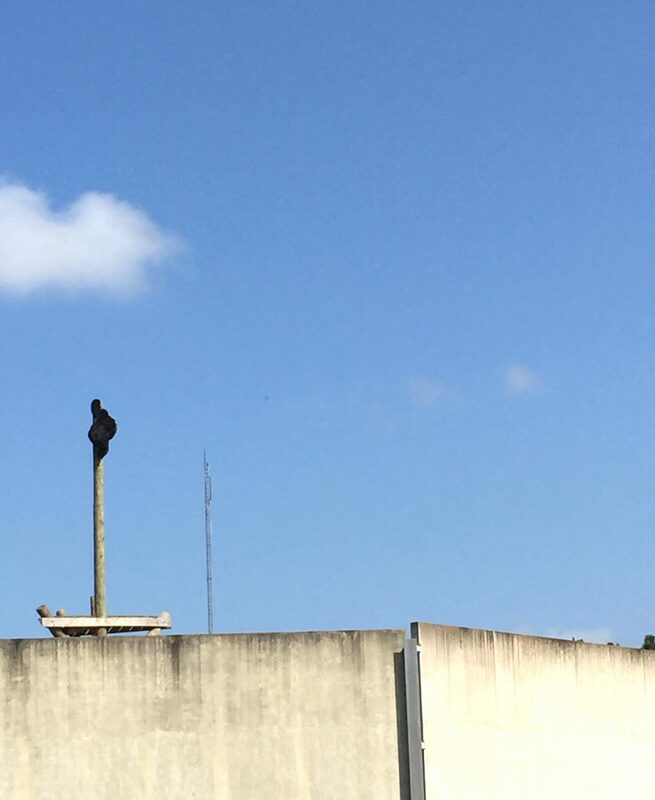 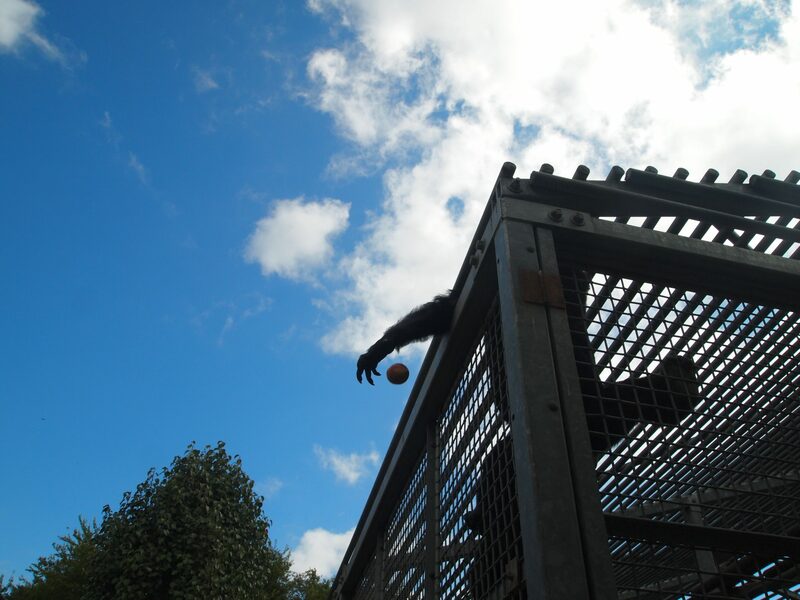 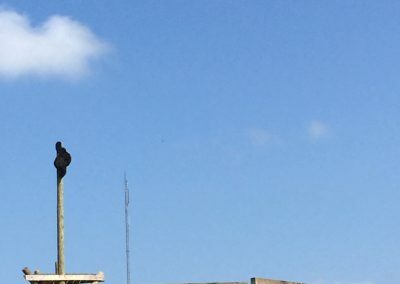 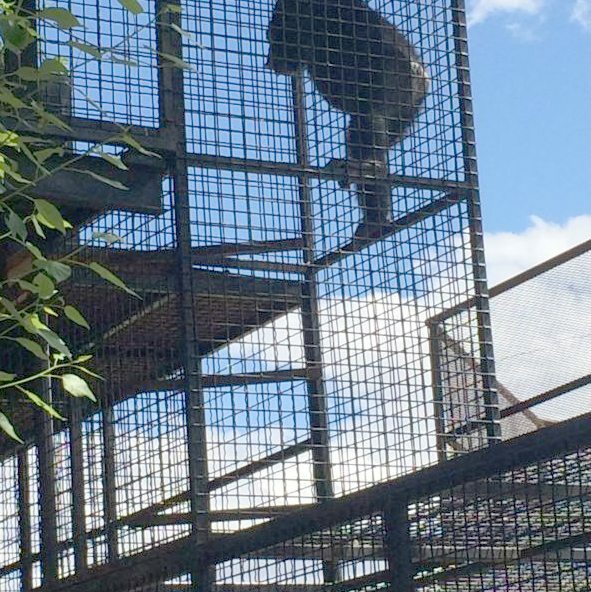 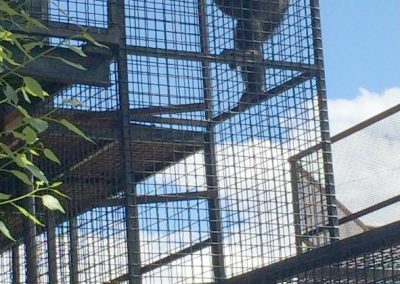 Chimpanzee Henry feels on top of the world in his retirement! 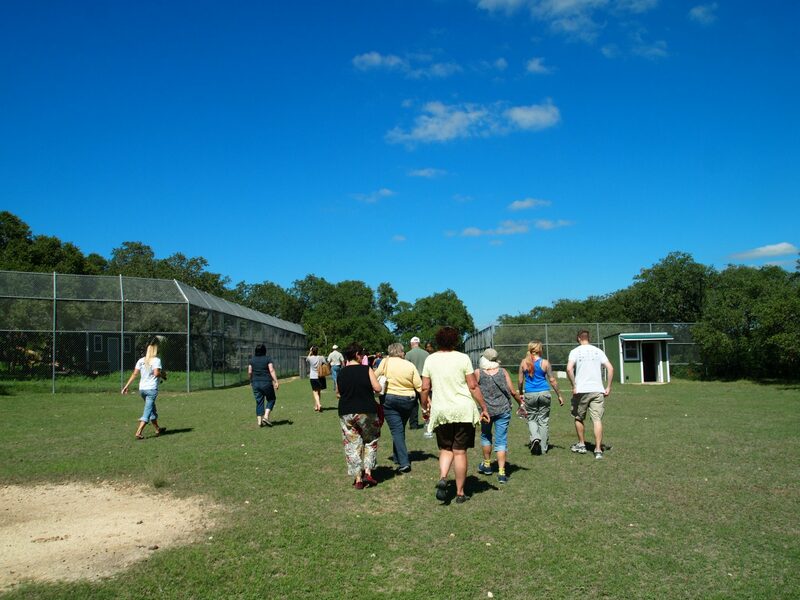 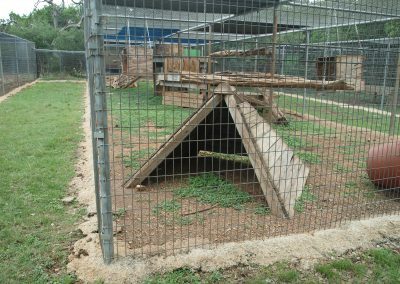 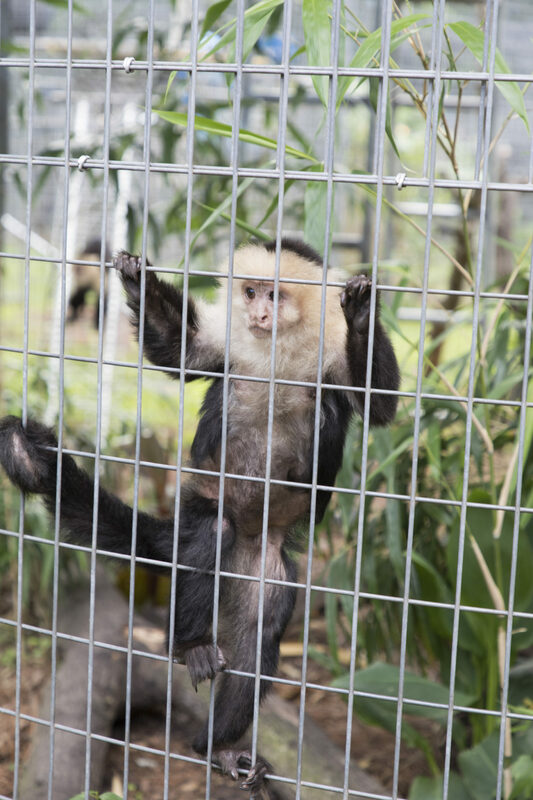 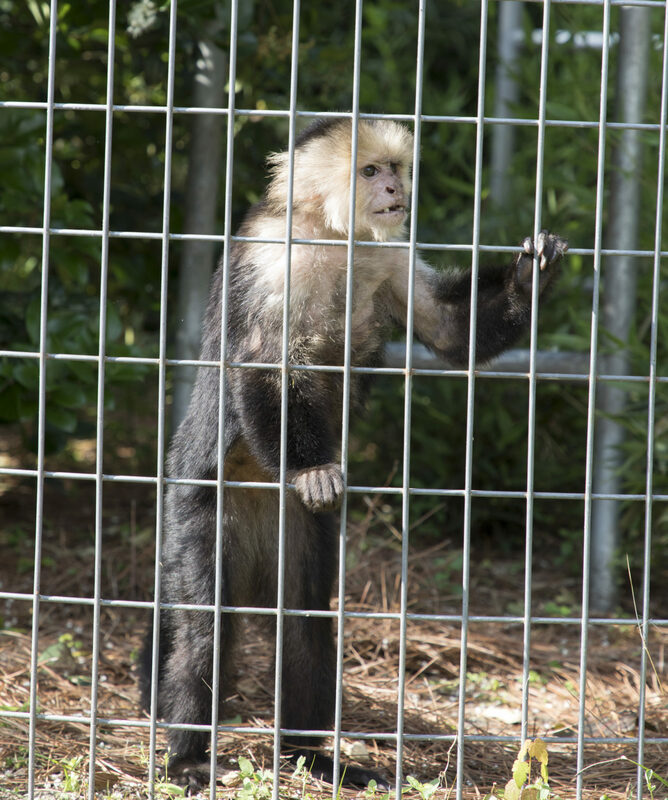 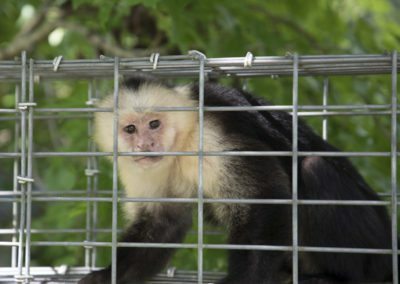 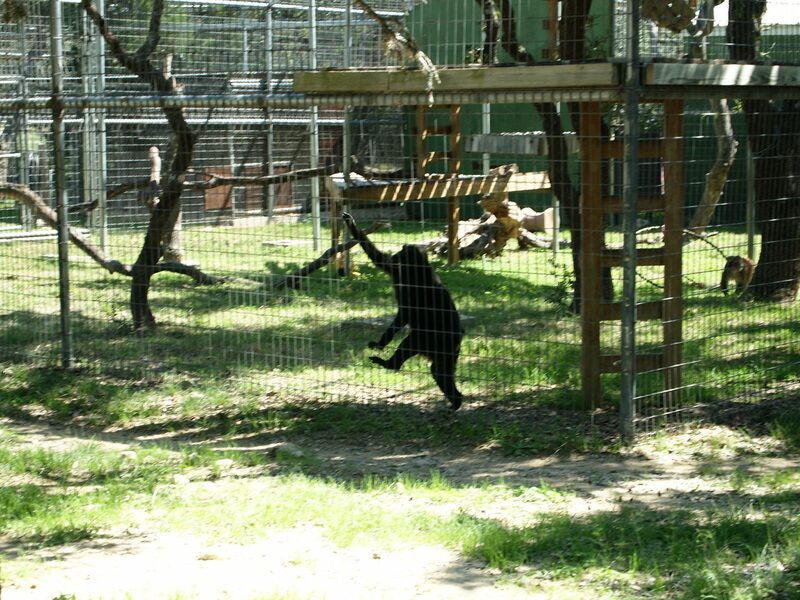 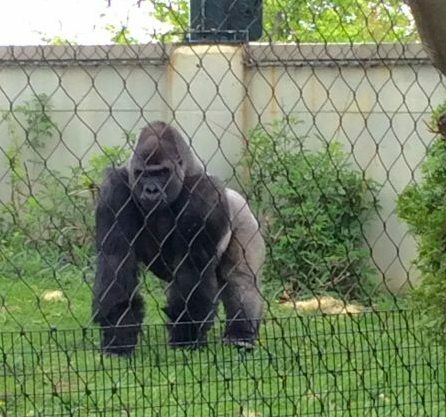 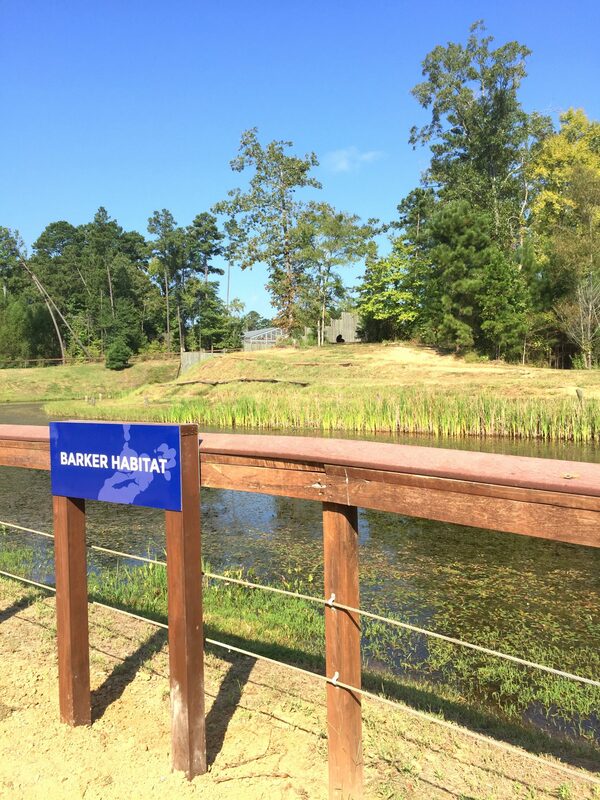 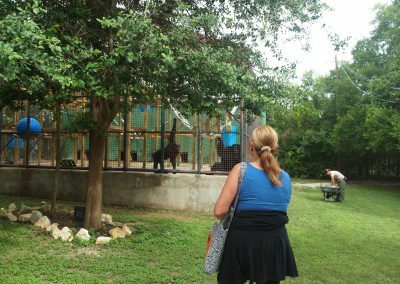 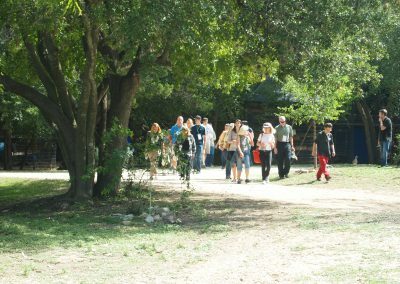 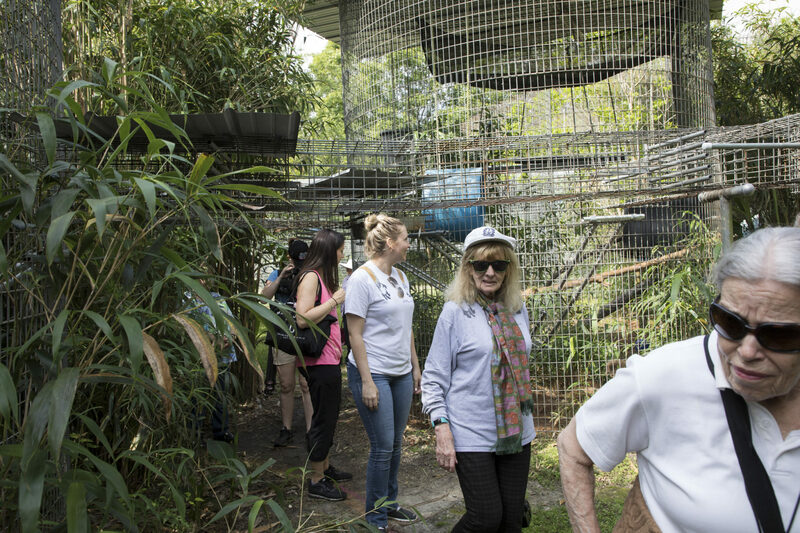 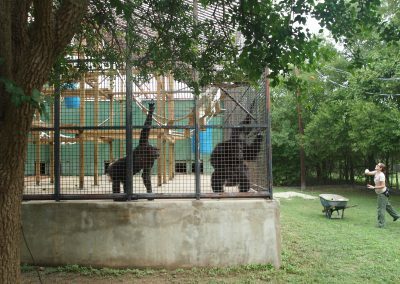 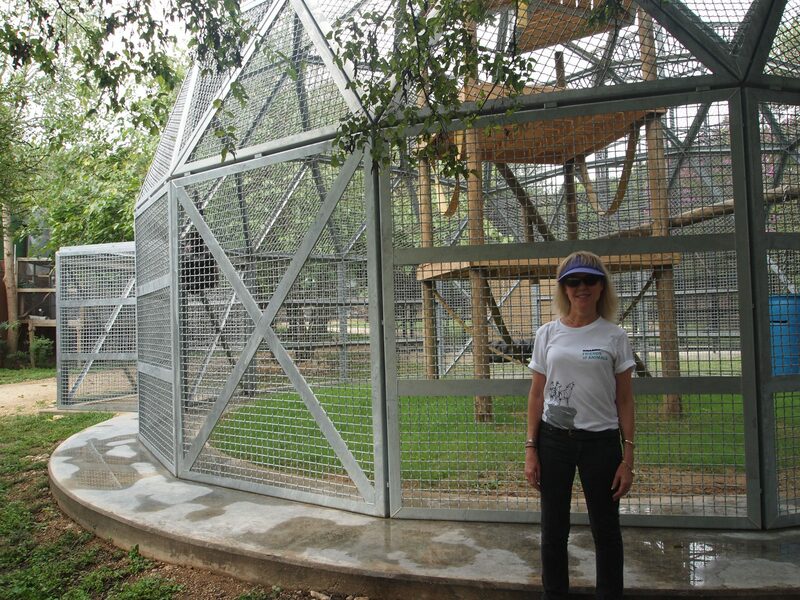 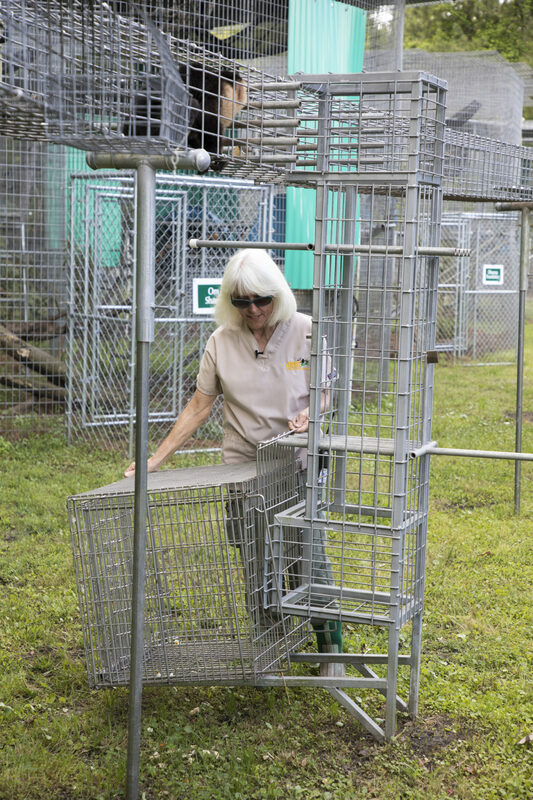 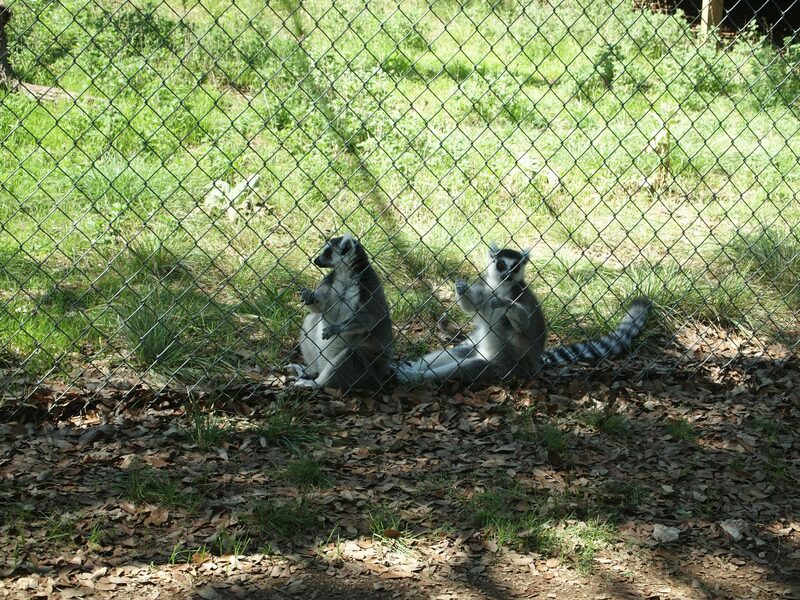 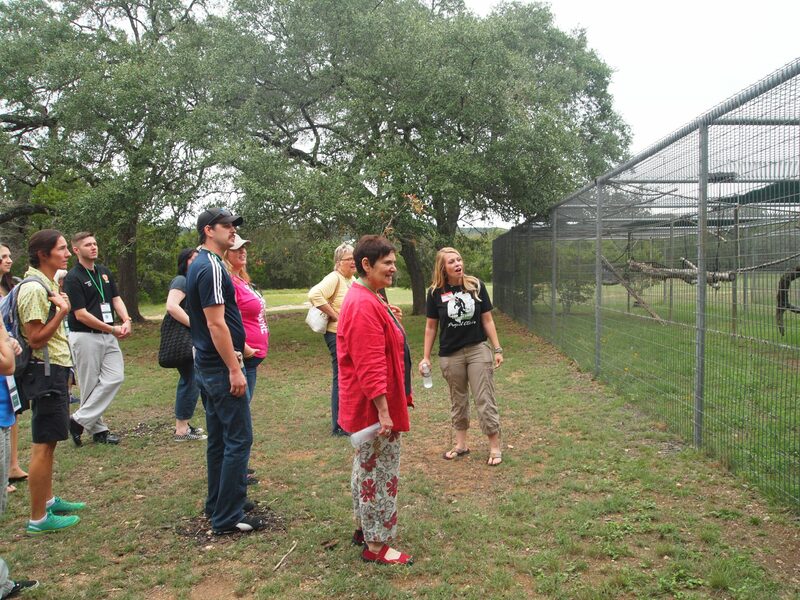 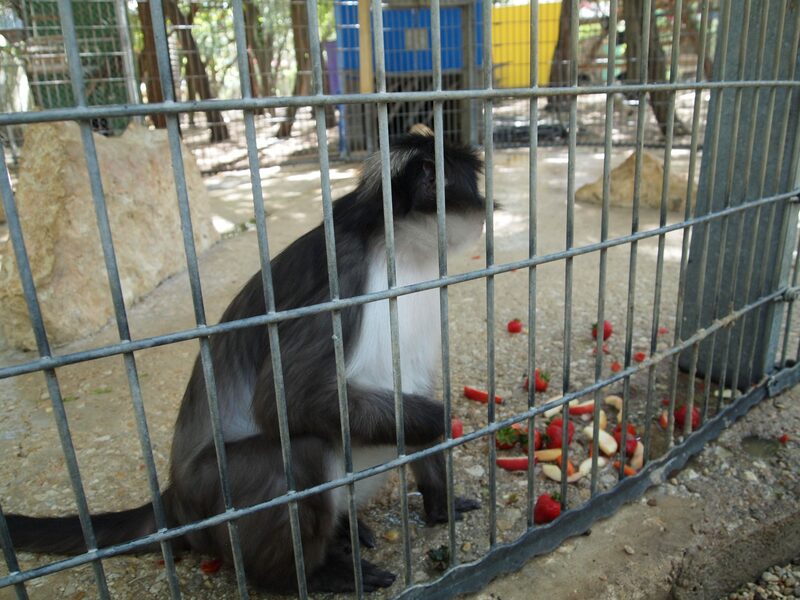 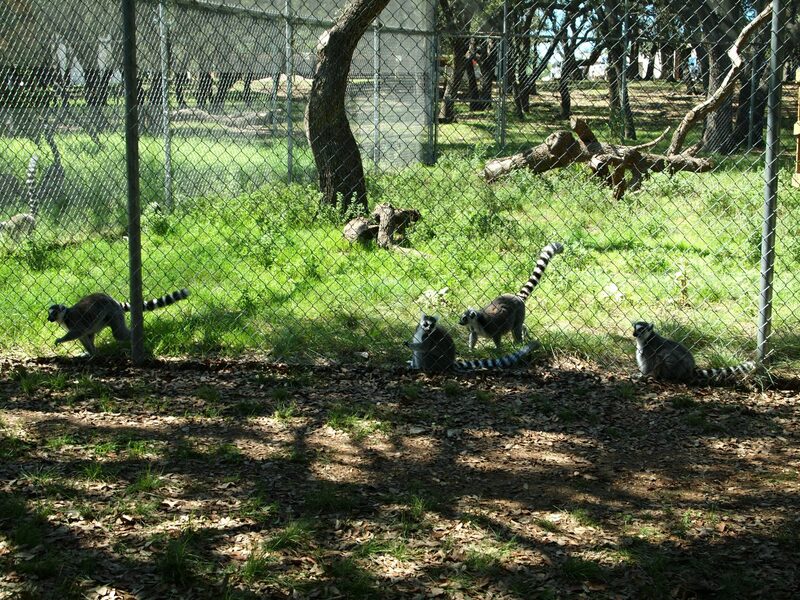 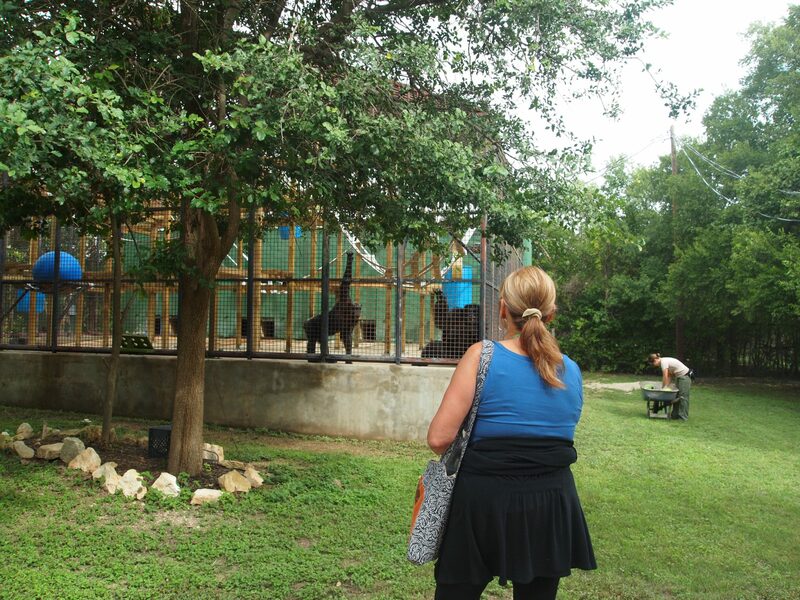 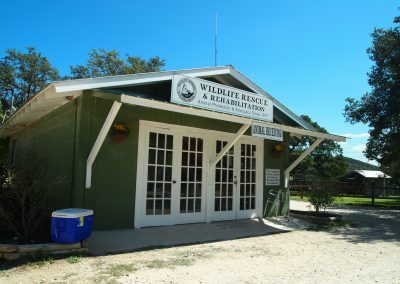 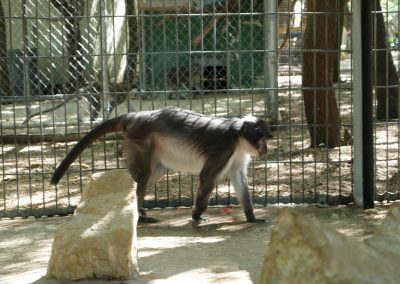 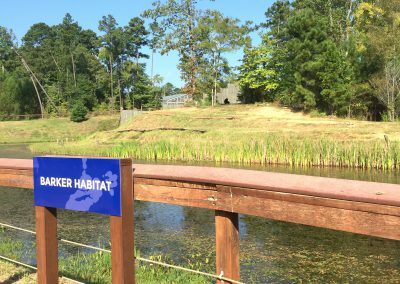 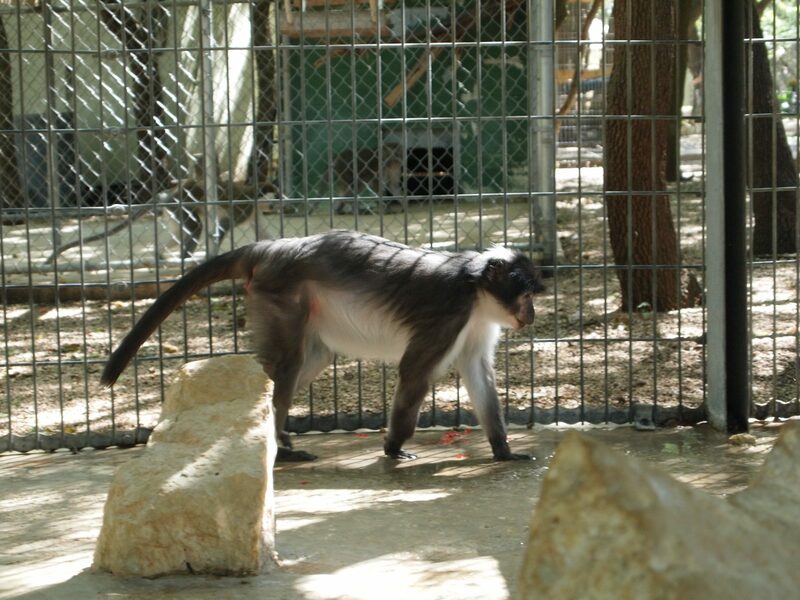 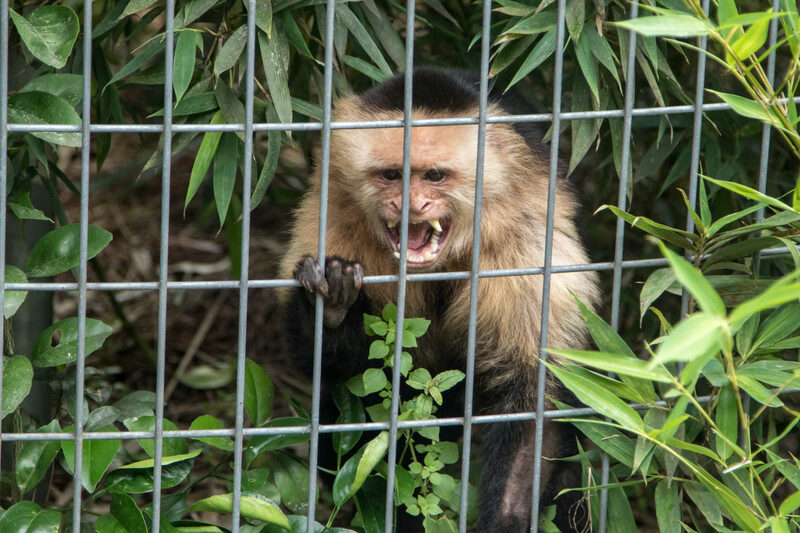 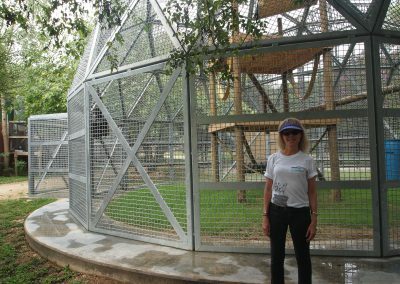 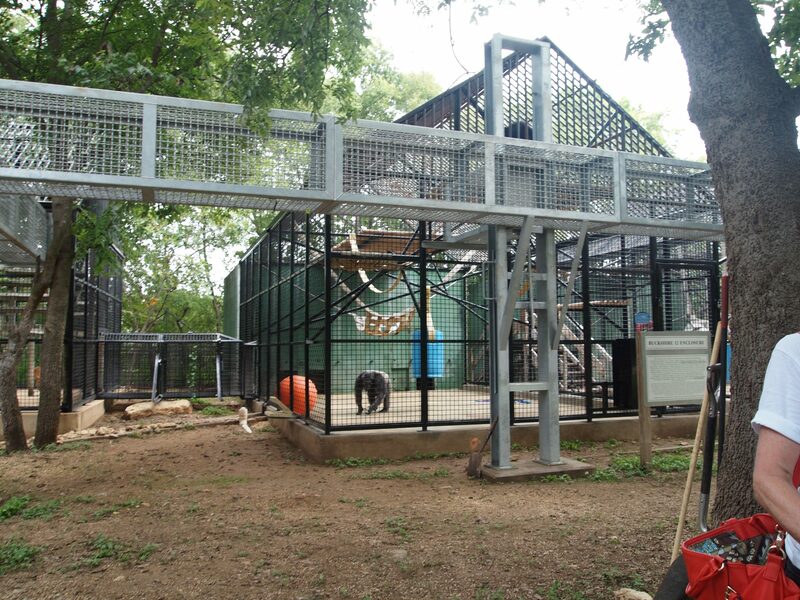 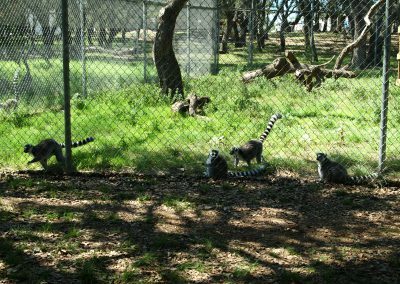 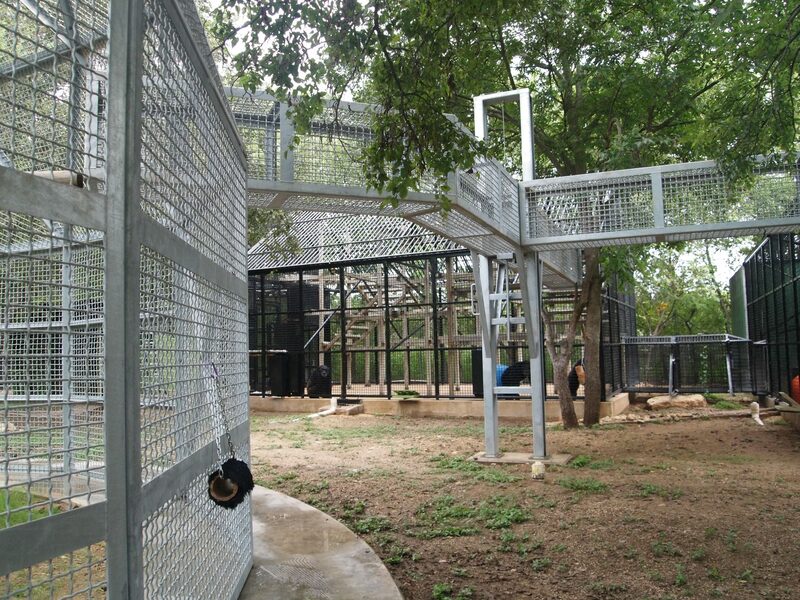 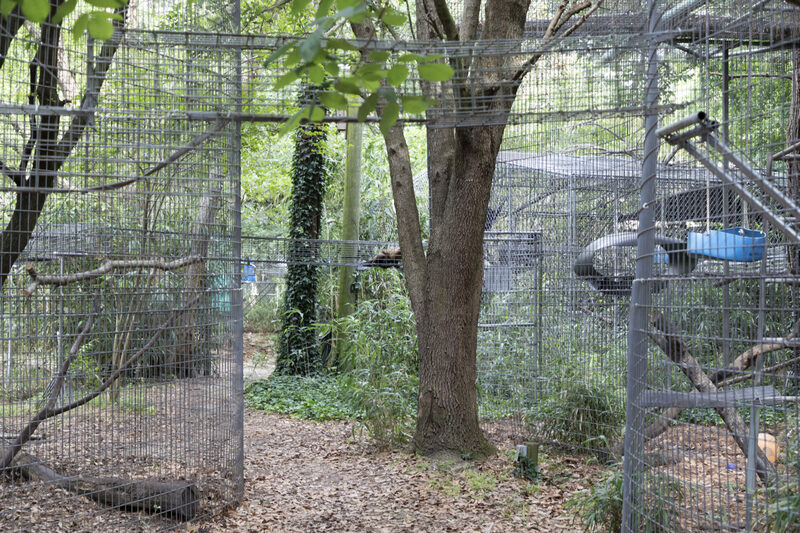 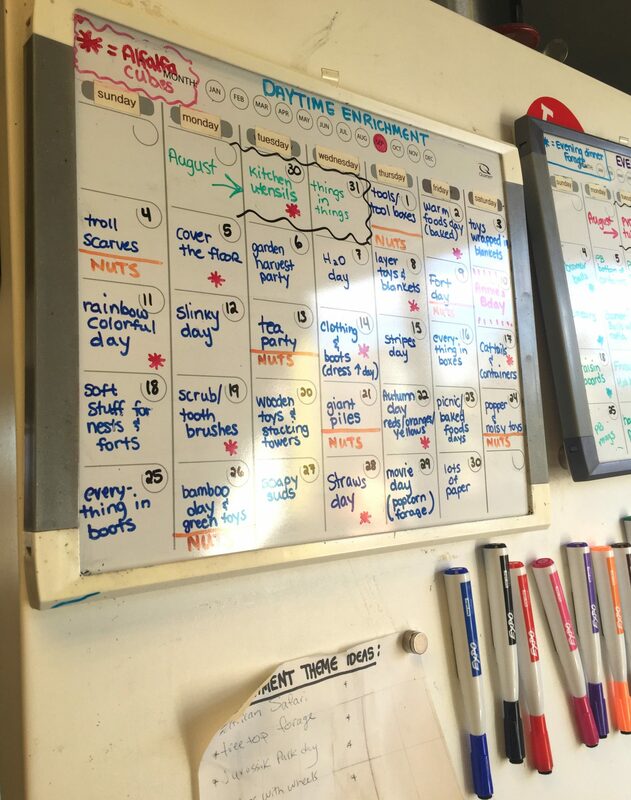 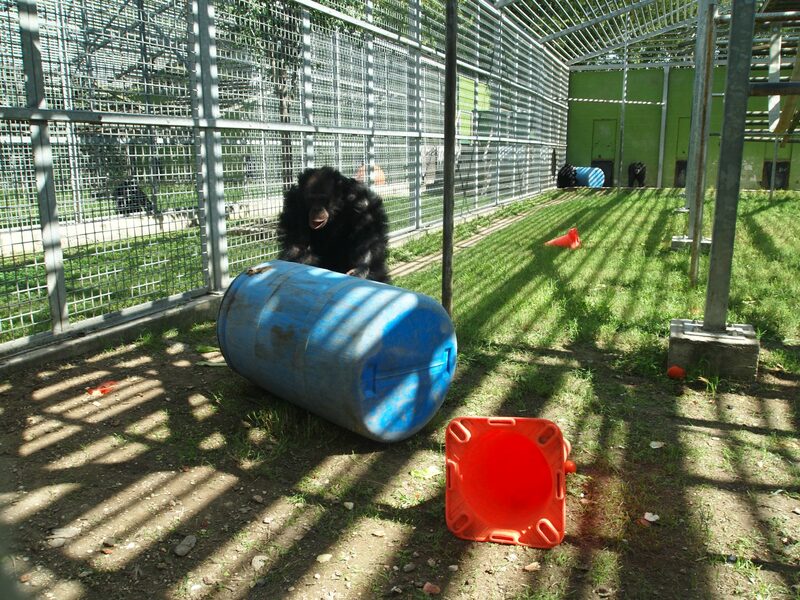 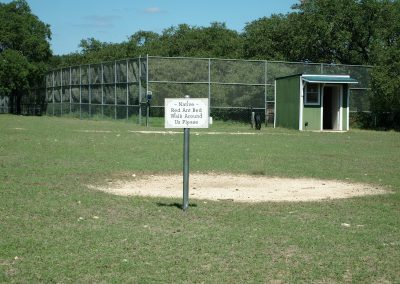 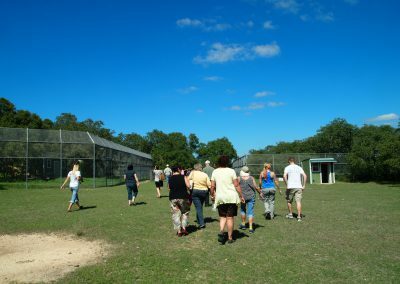 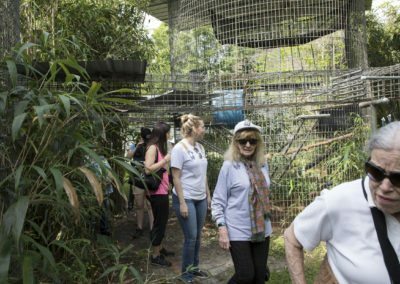 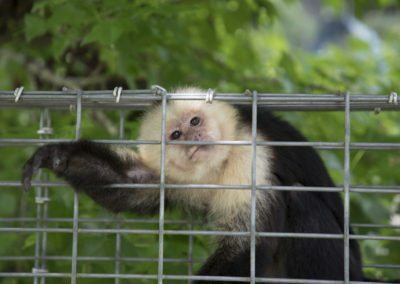 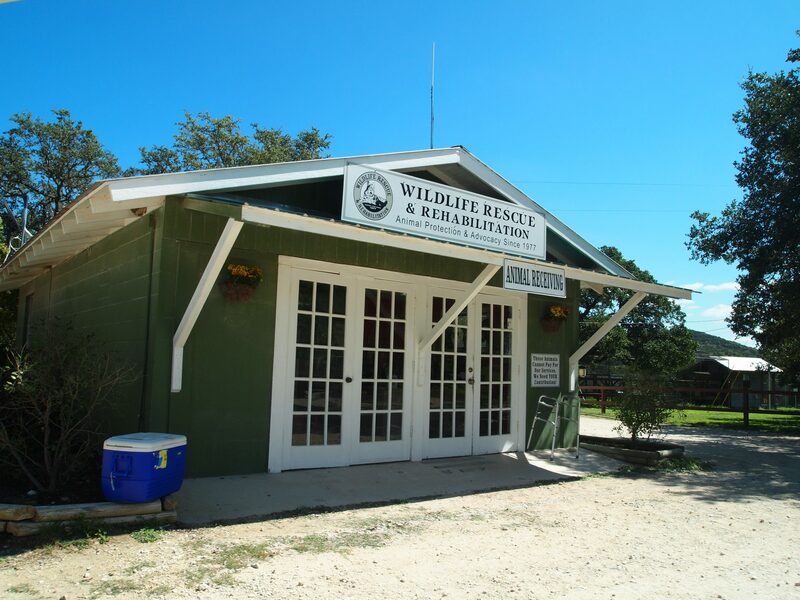 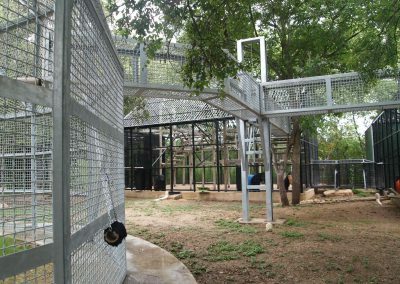 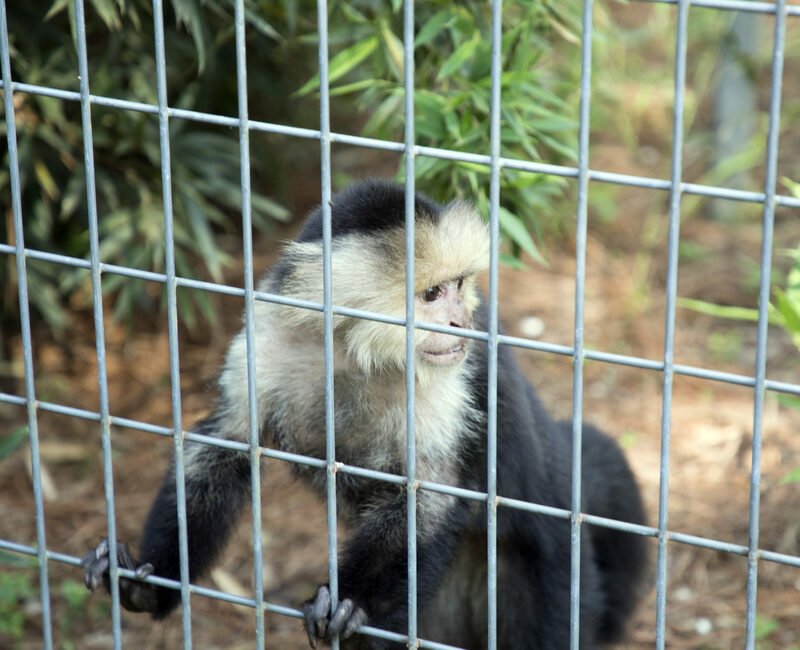 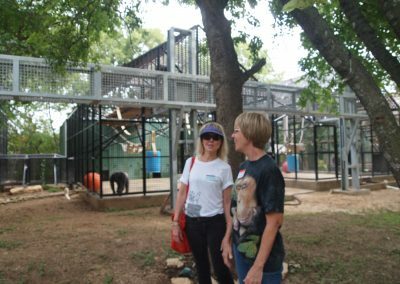 The Bob Barker Habitat is one of many habitats toured at Chimp Haven. 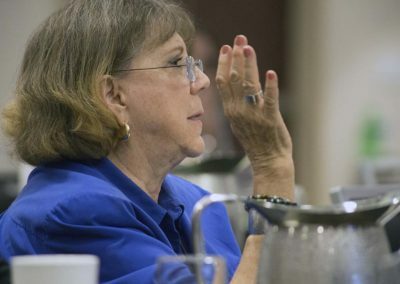 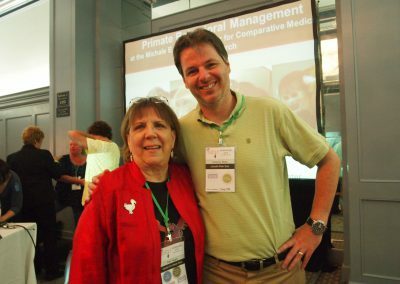 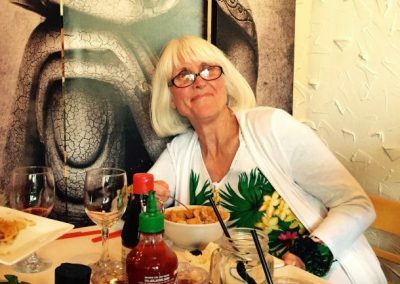 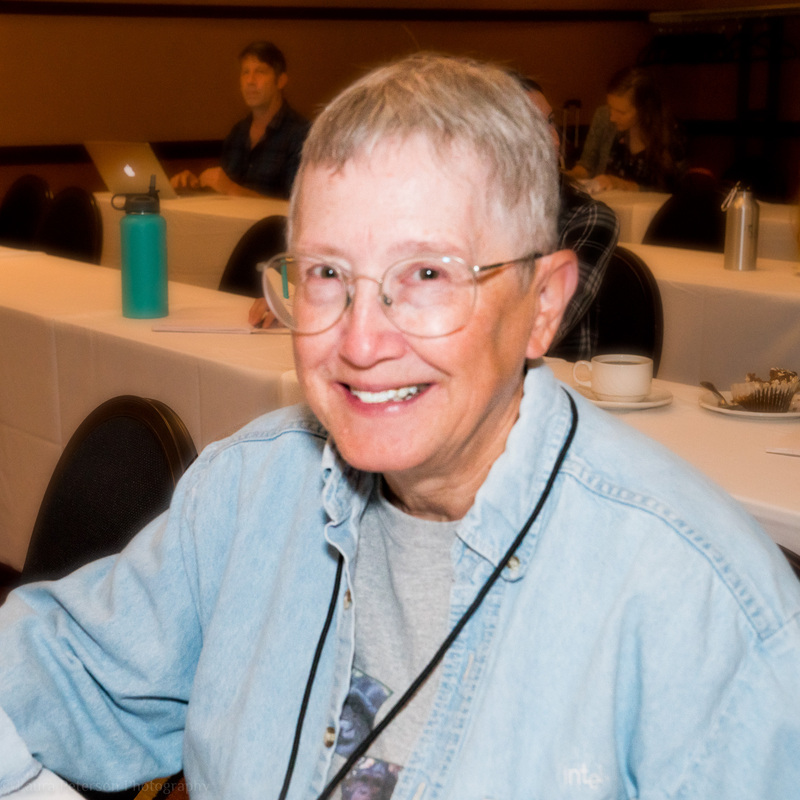 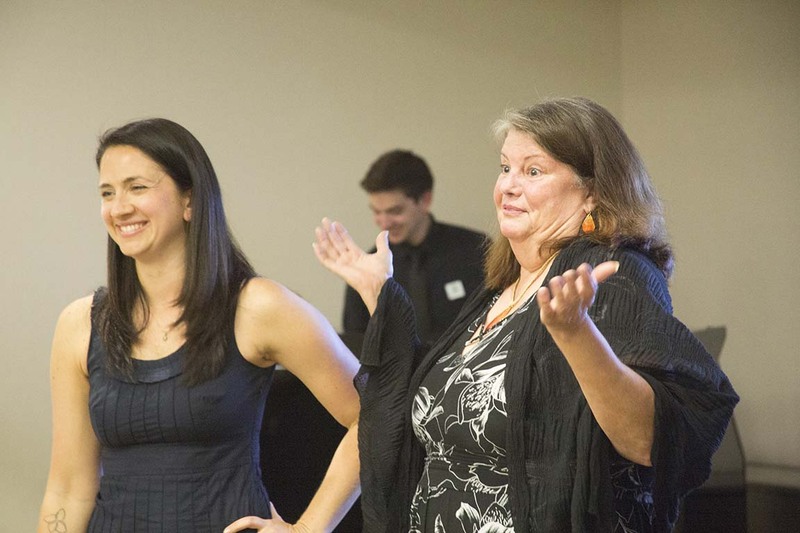 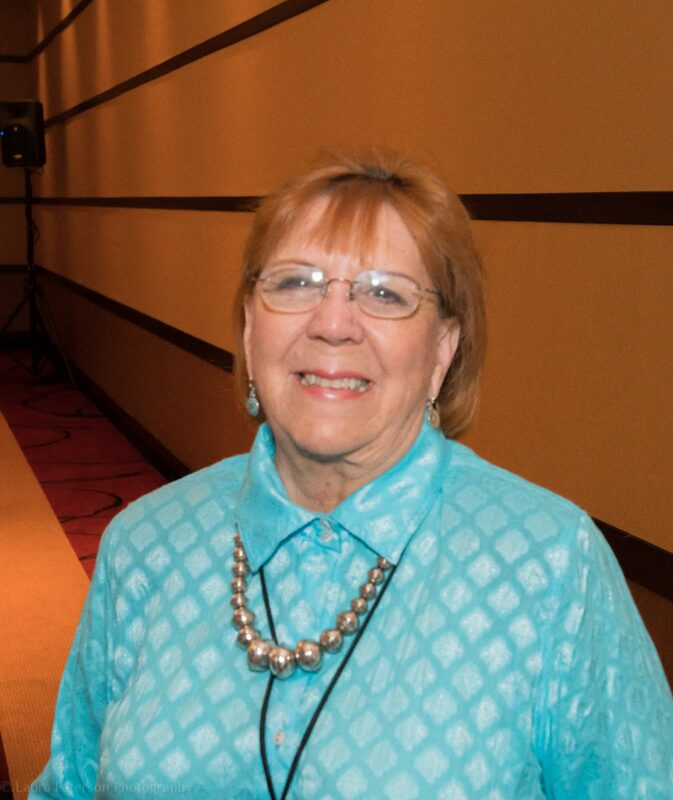 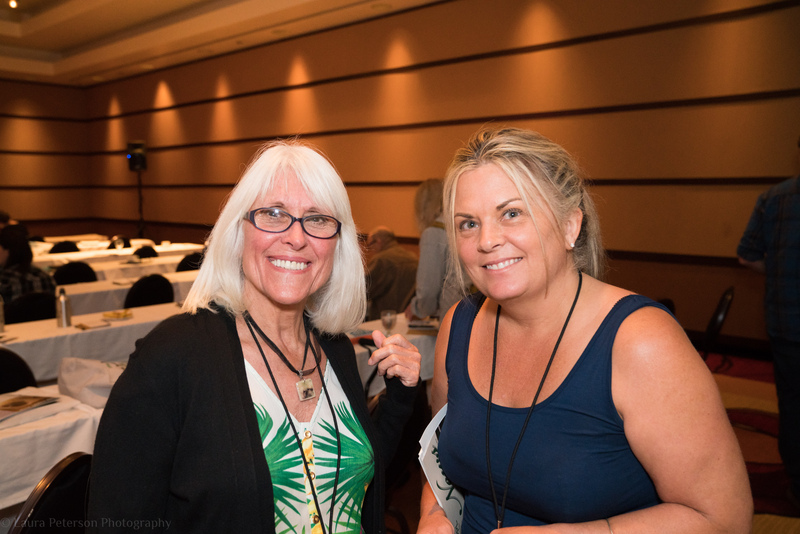 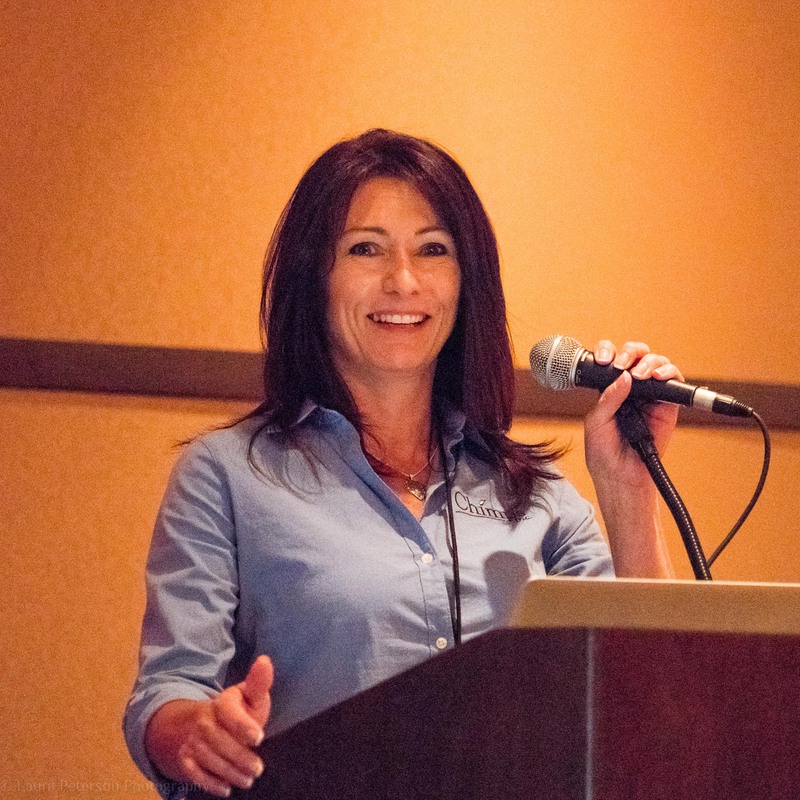 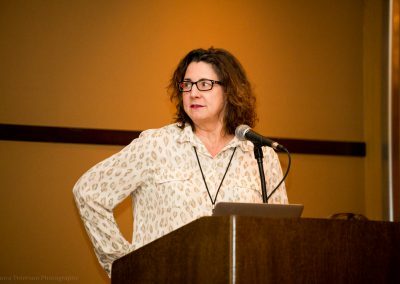 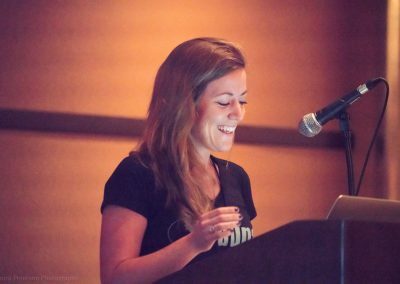 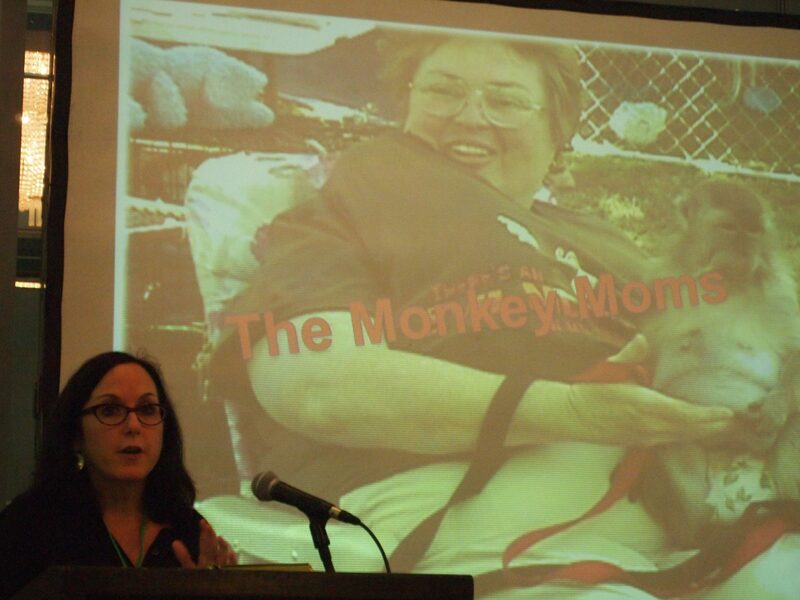 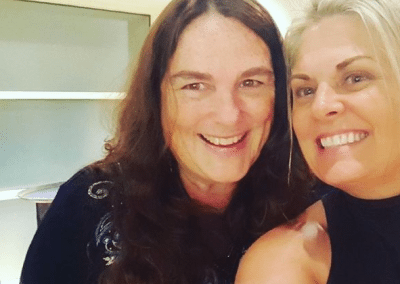 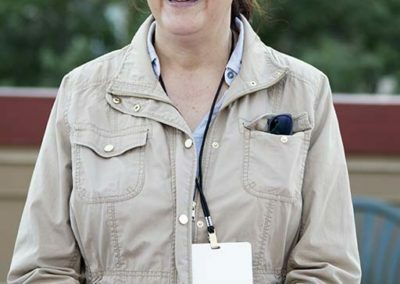 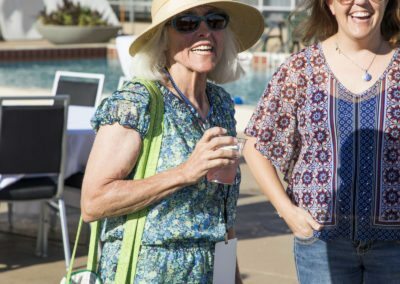 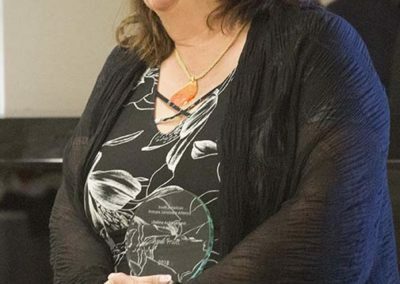 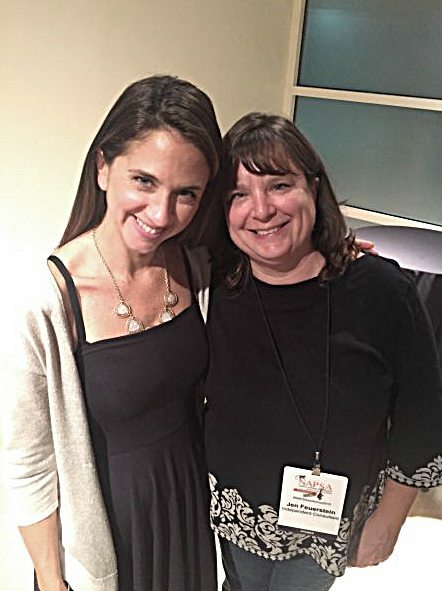 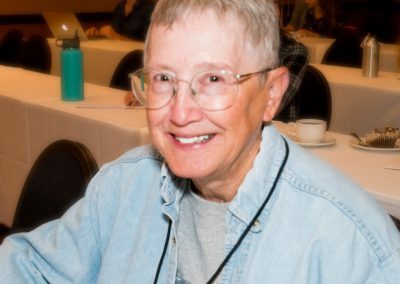 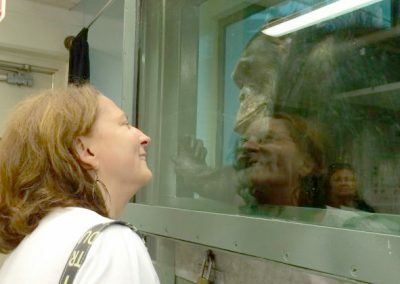 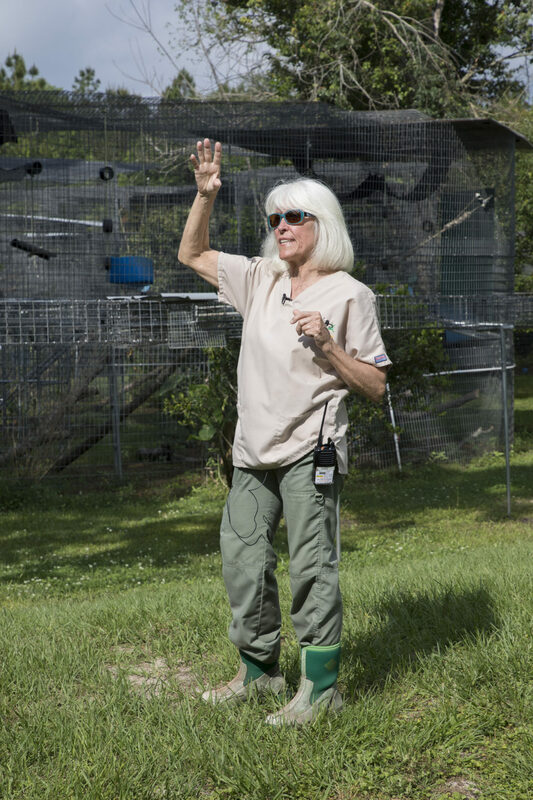 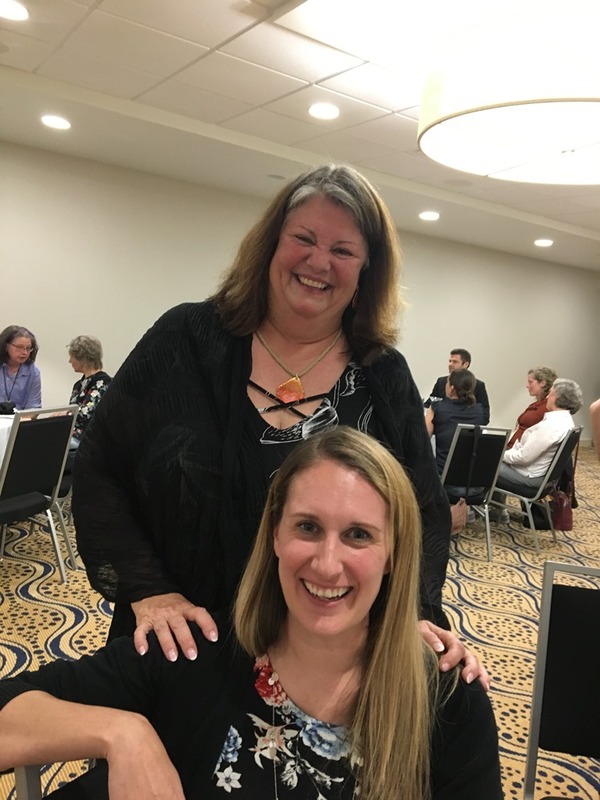 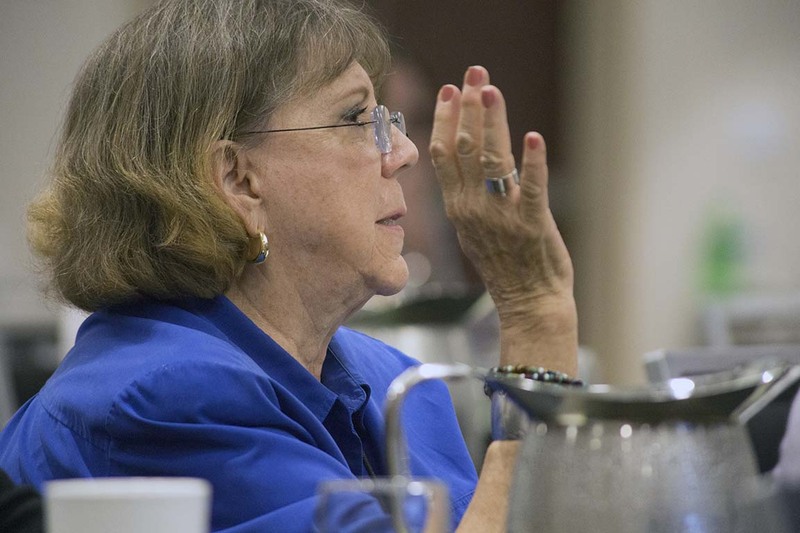 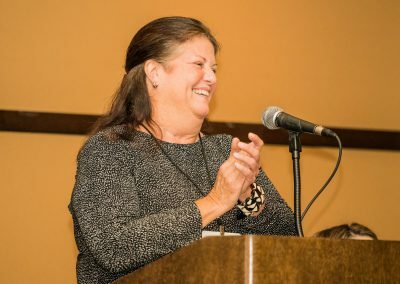 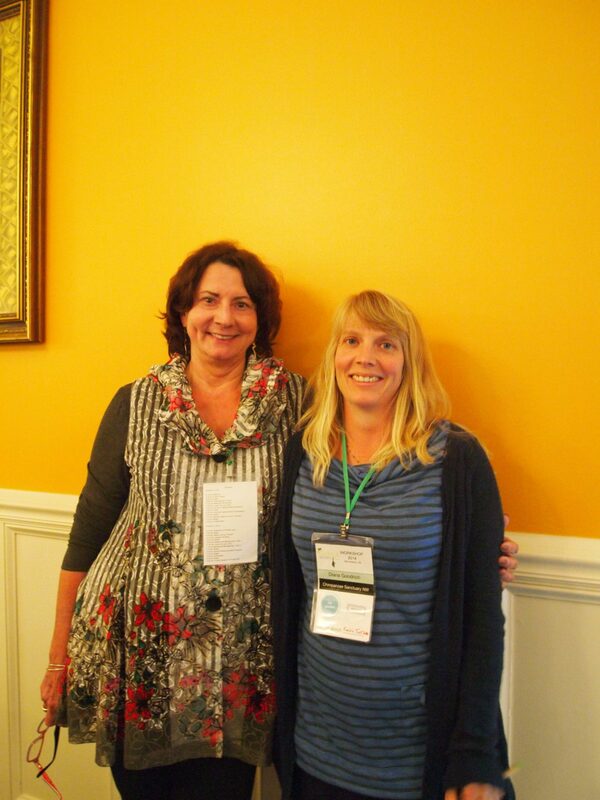 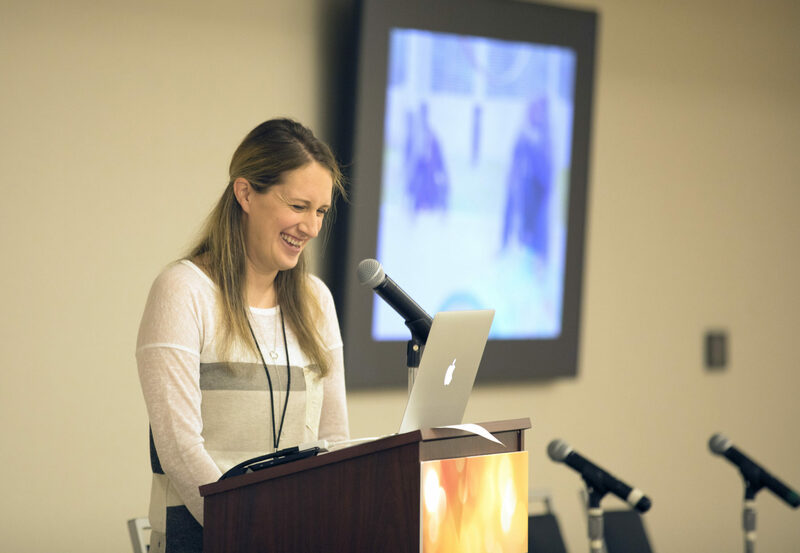 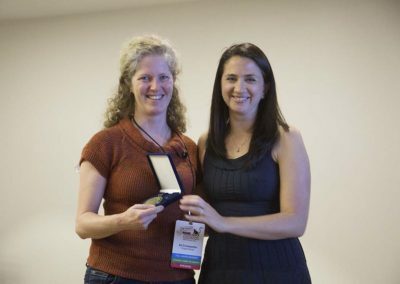 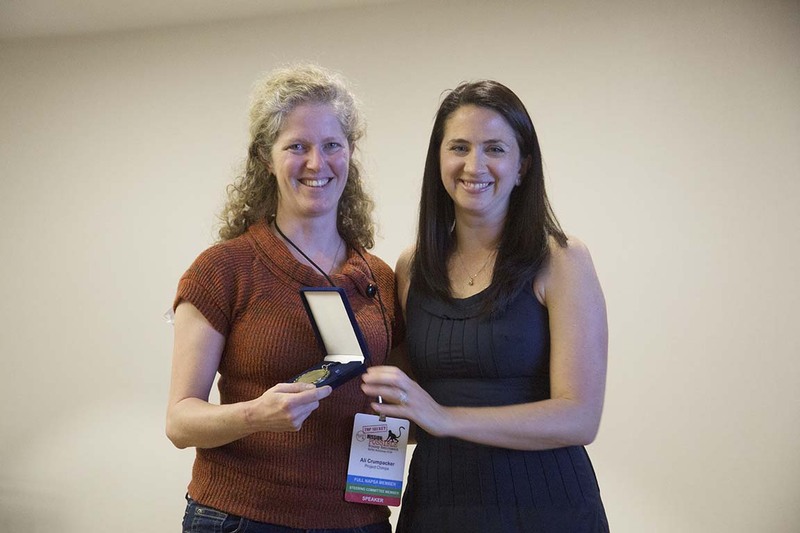 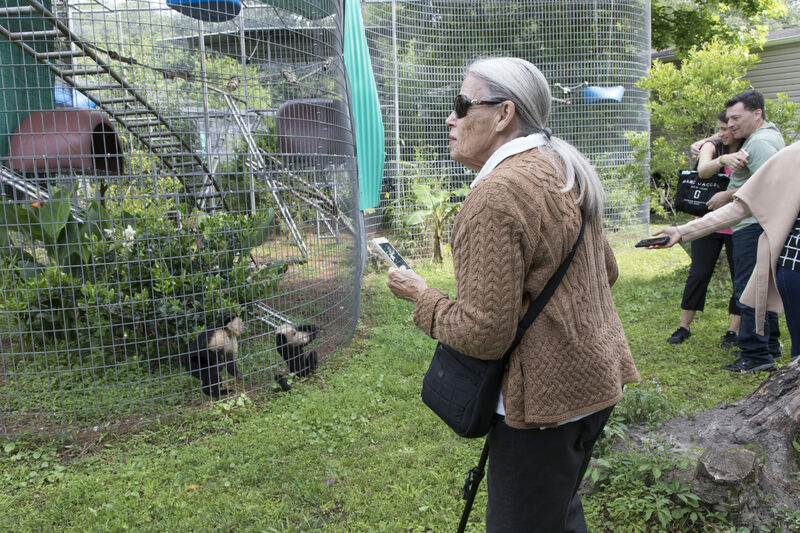 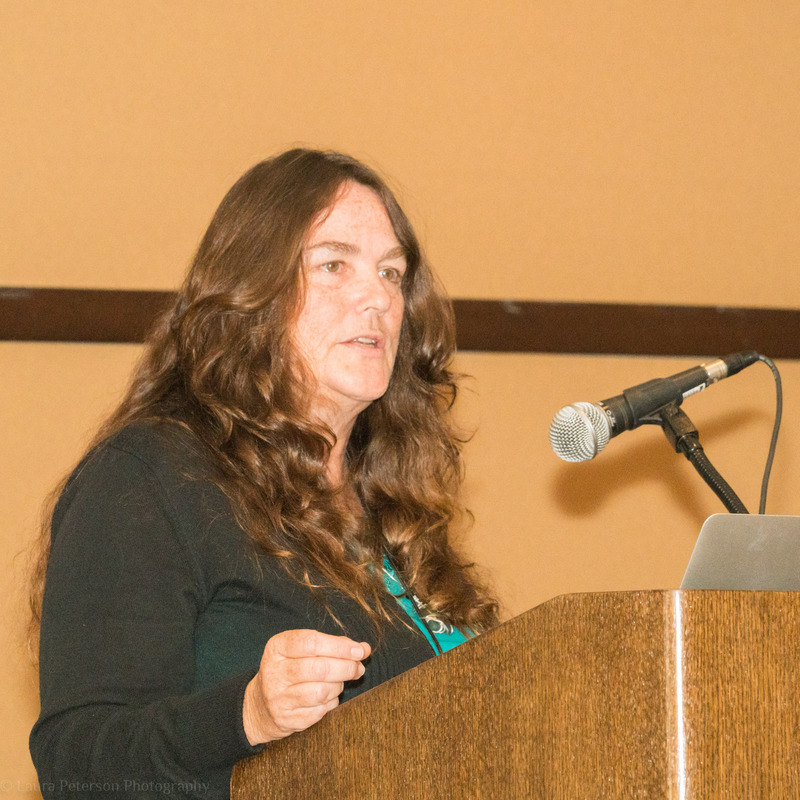 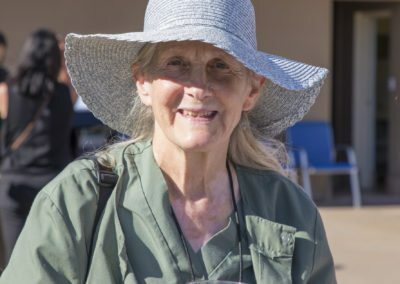 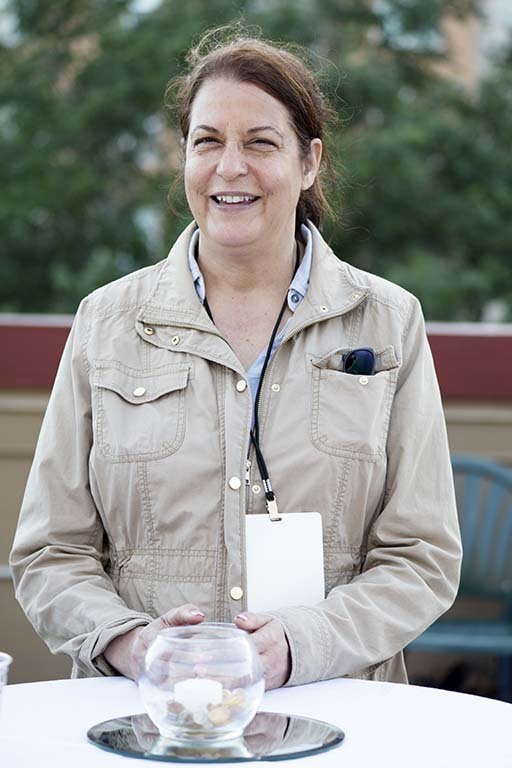 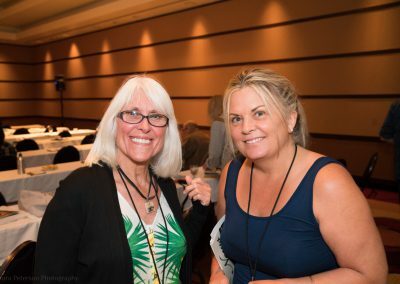 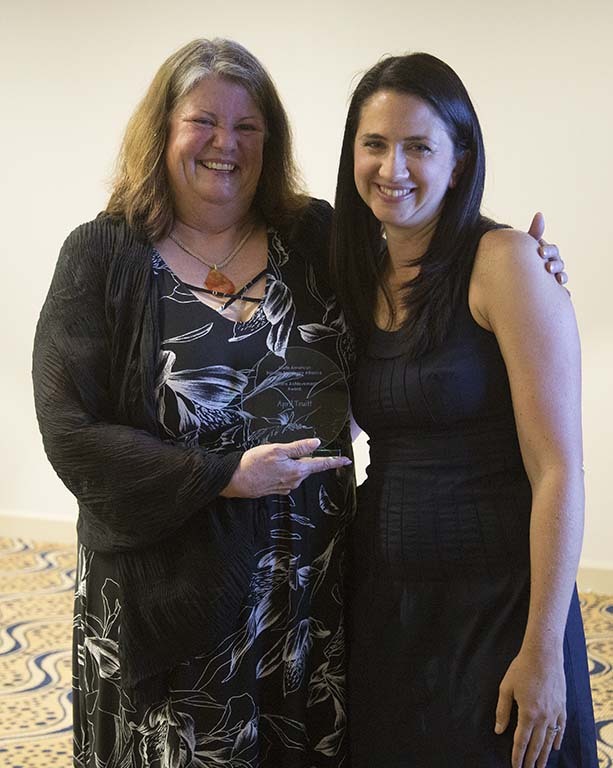 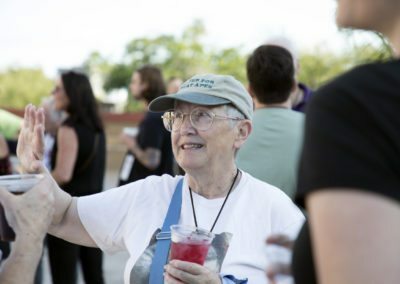 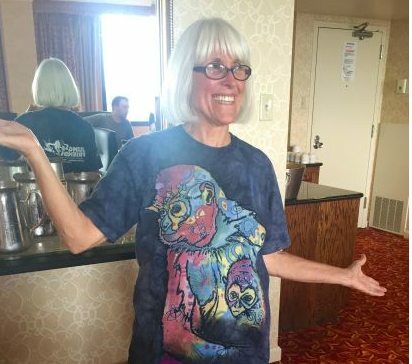 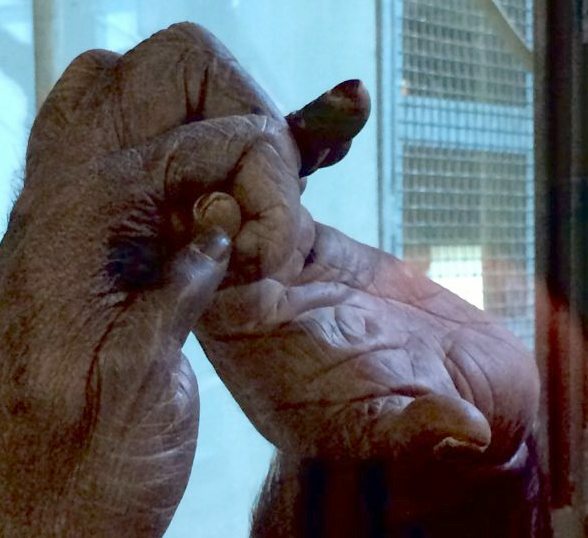 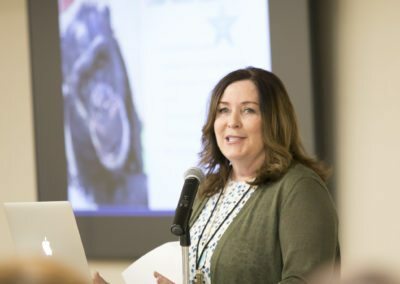 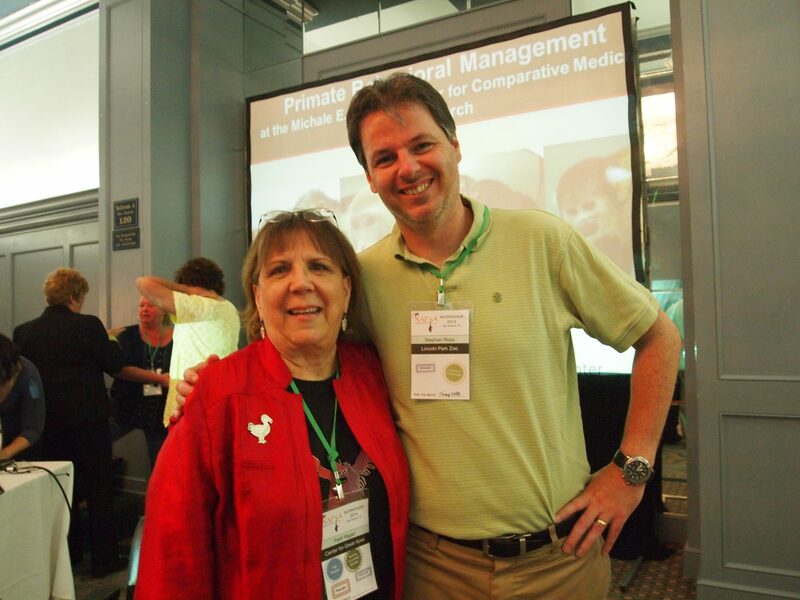 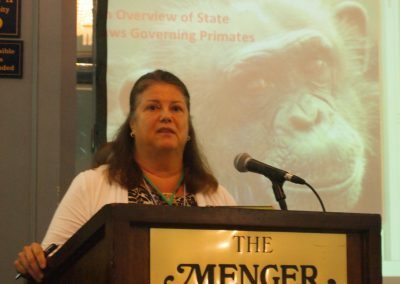 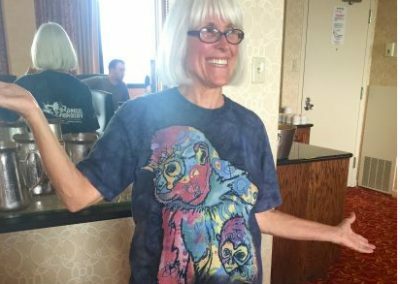 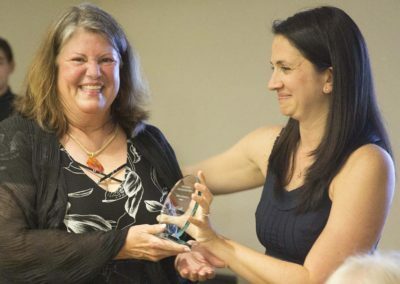 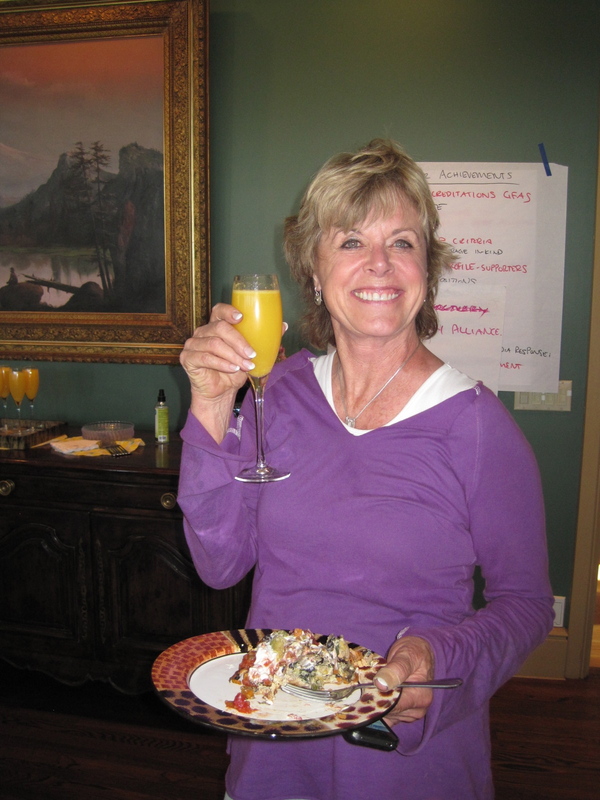 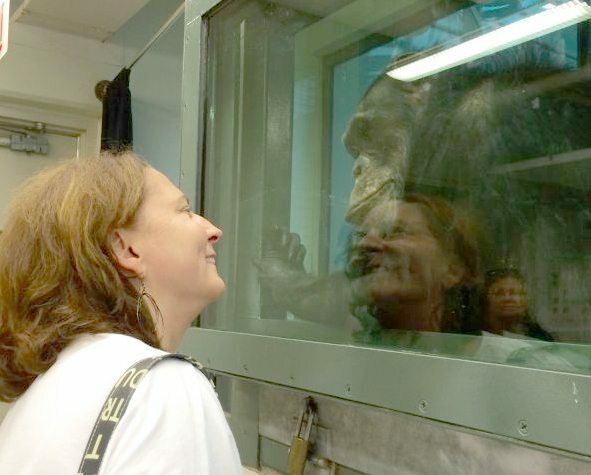 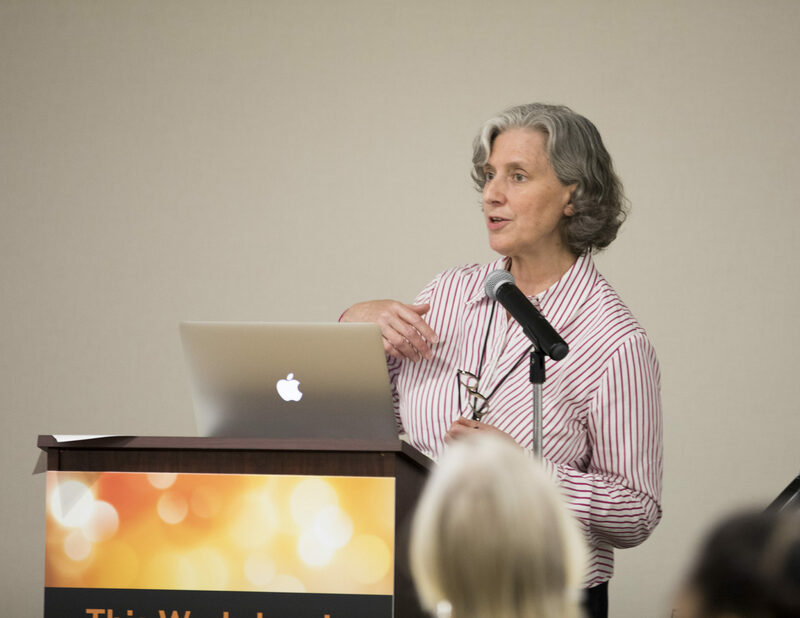 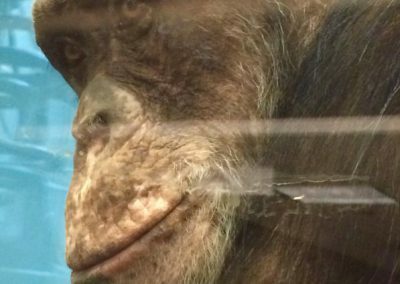 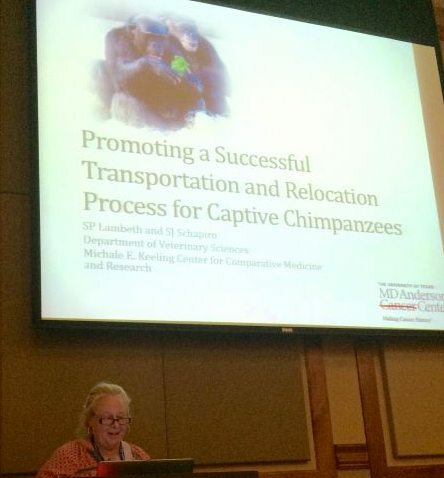 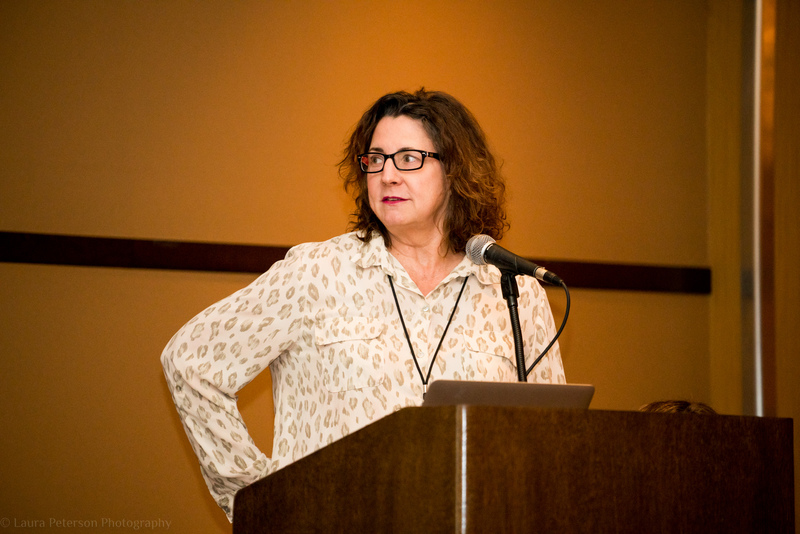 Kathleen Taylor was doing what she does best – talk chimps! 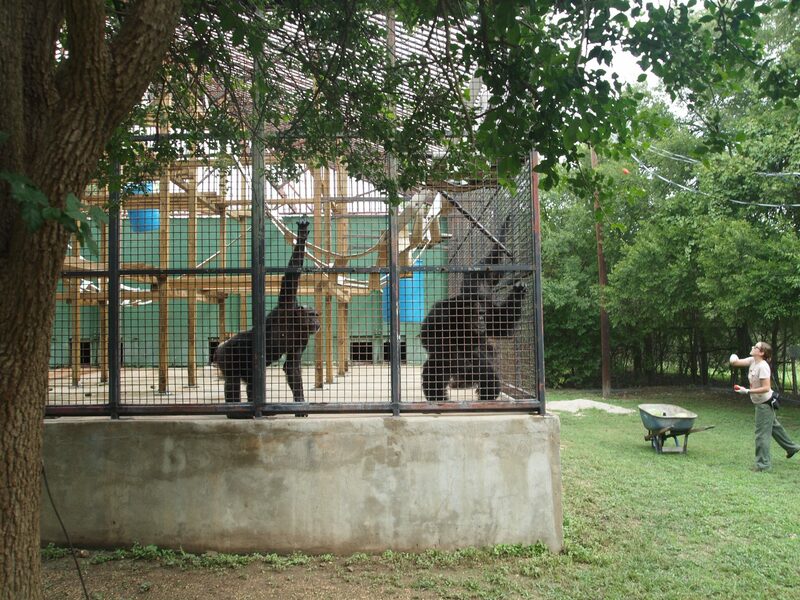 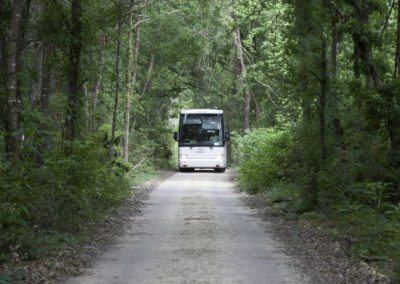 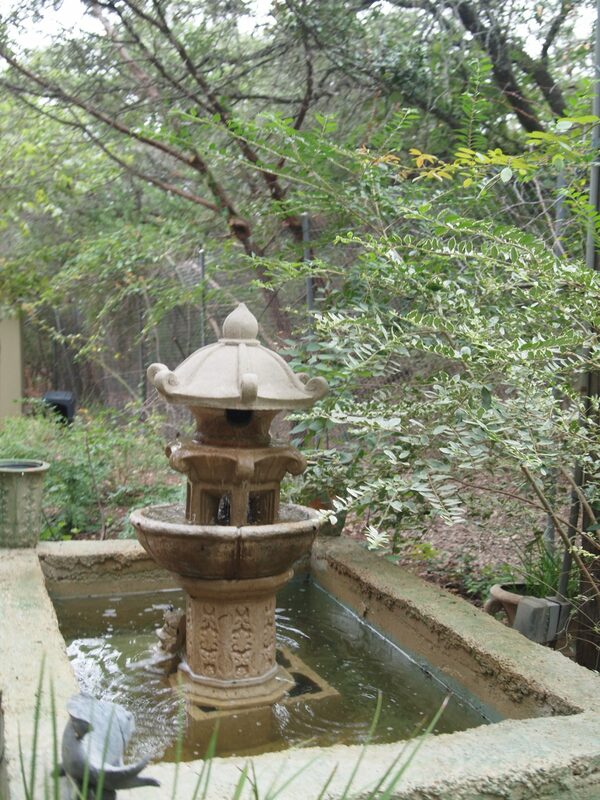 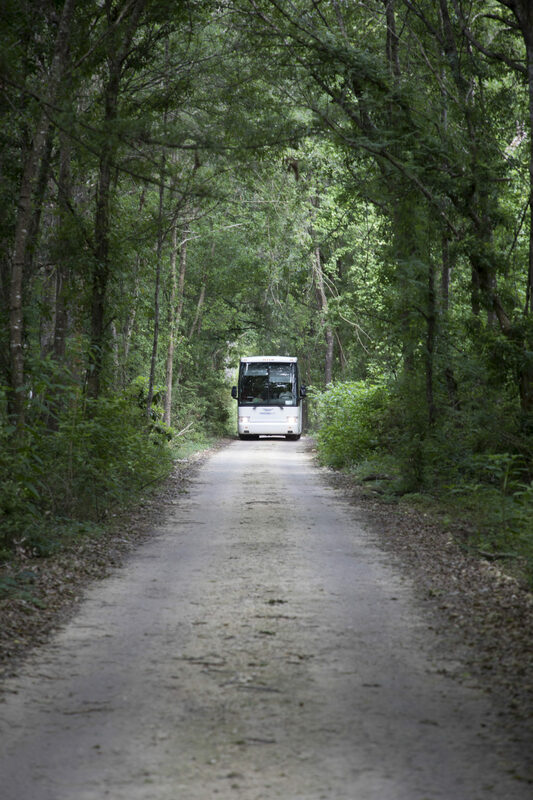 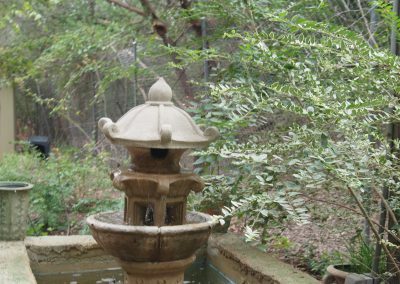 Chimp Haven’s lands are peaceful – just perfect for chimpanzee retirement. 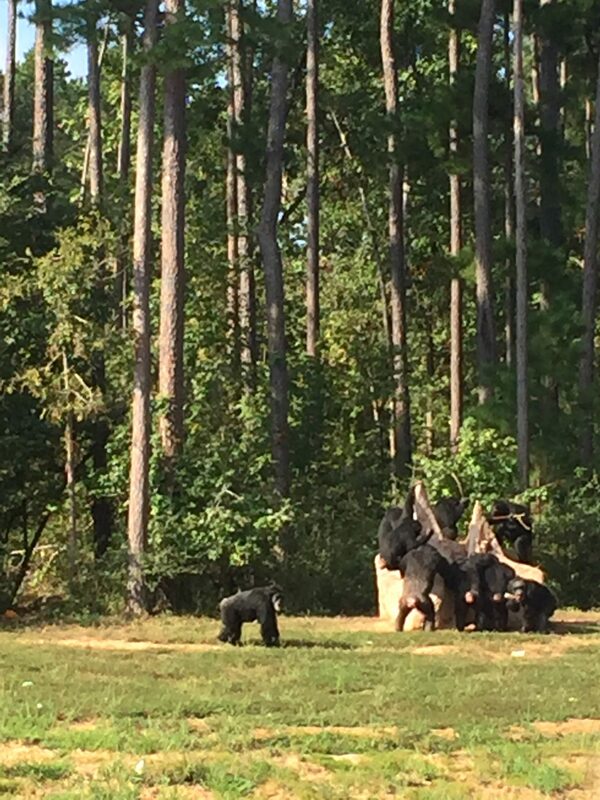 During our tour, the chimps were excited about fishing in their termite mounds. 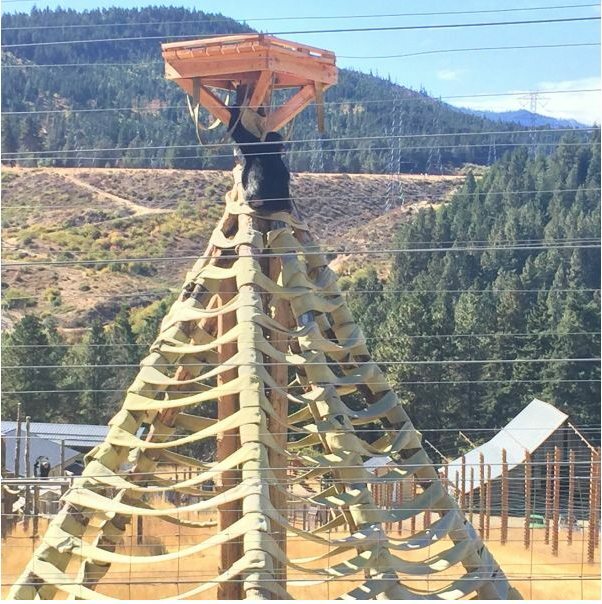 We heard many excited cries. 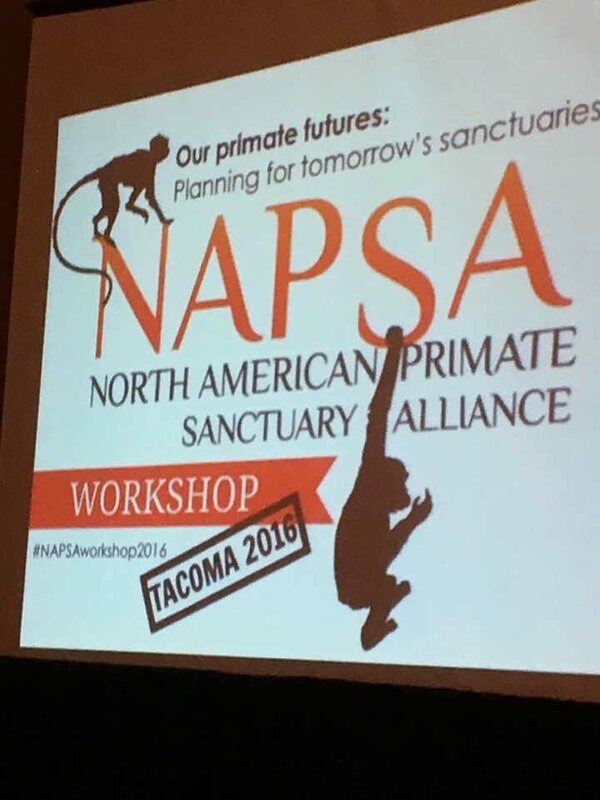 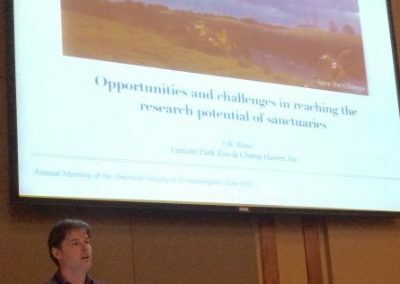 Over 85 people gathered in September 2016 as part of NAPSA’s fourth Workshop – Our Primate Futures: Planning for the Sanctuaries of Tomorrow. 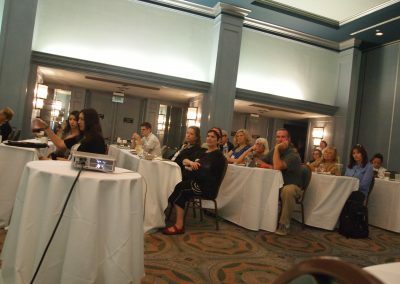 A wonderfully educational and inspirational time was had by all. 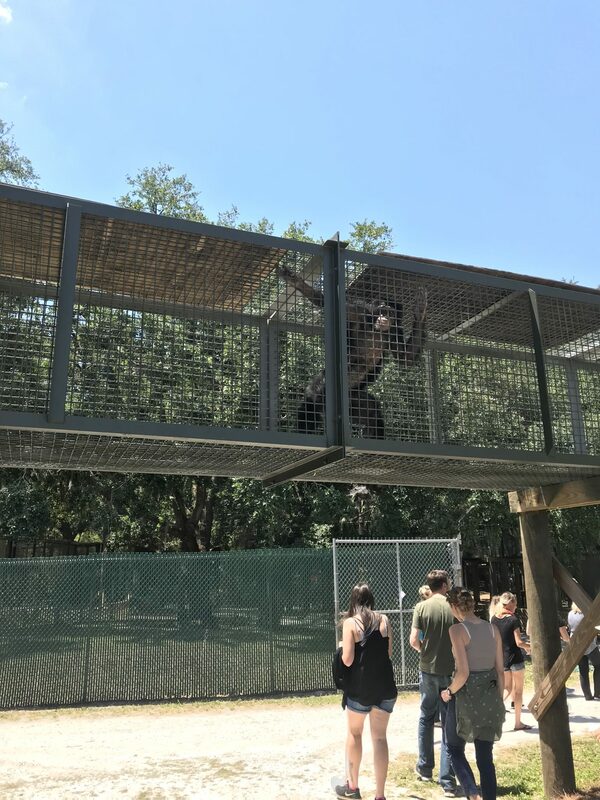 Burrito showed off his climbing skills for the NAPSA group! 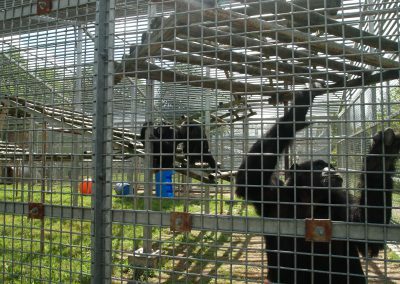 The views on the trip to Chimpanzee Sanctuary Northwest were stunning! 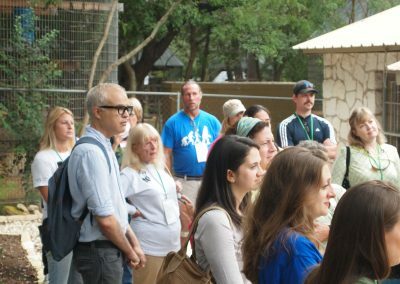 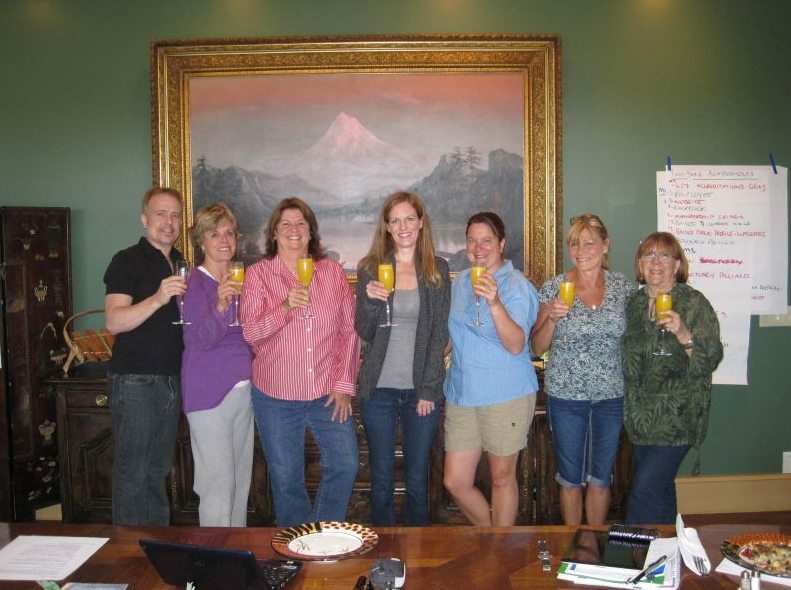 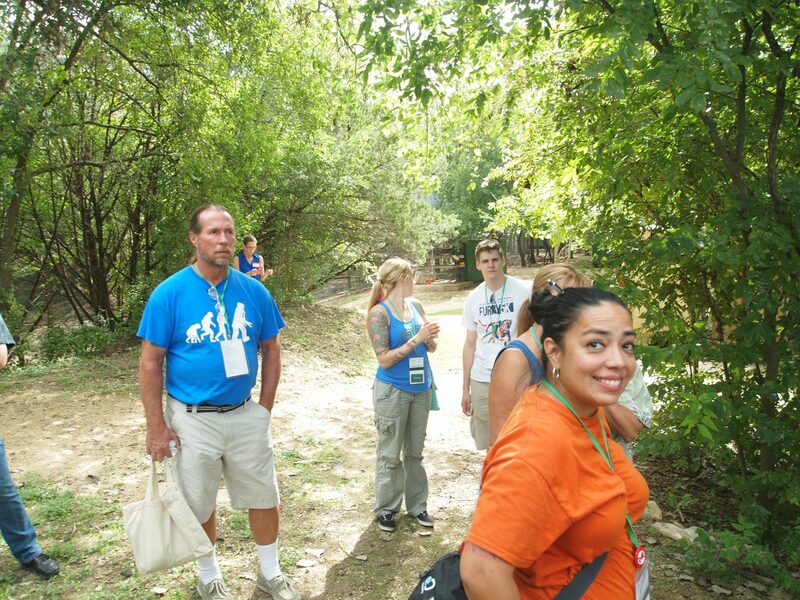 A happy tour group at Chimpanzee Sanctuary Northwest! 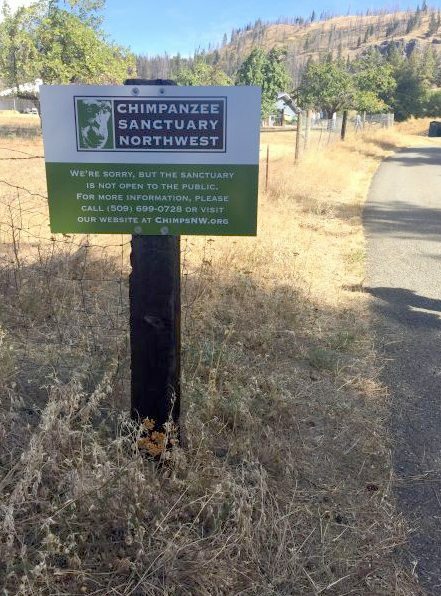 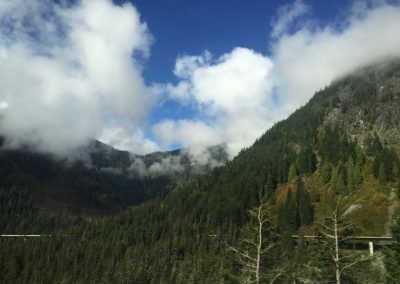 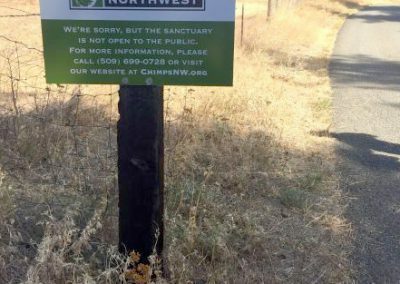 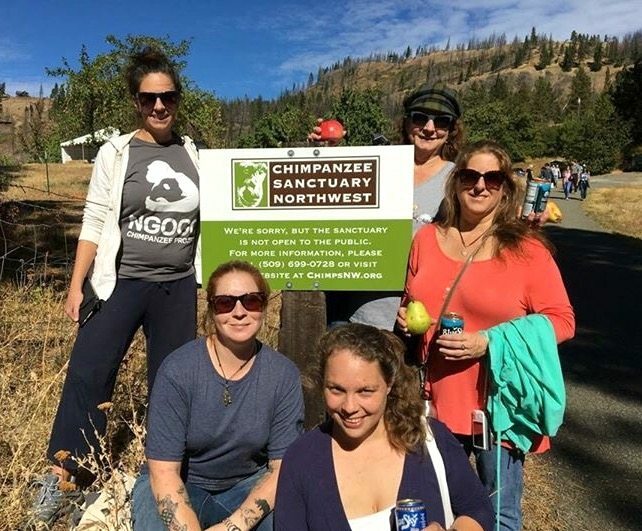 Welcome to Chimpanzee Sanctuary Northwest! 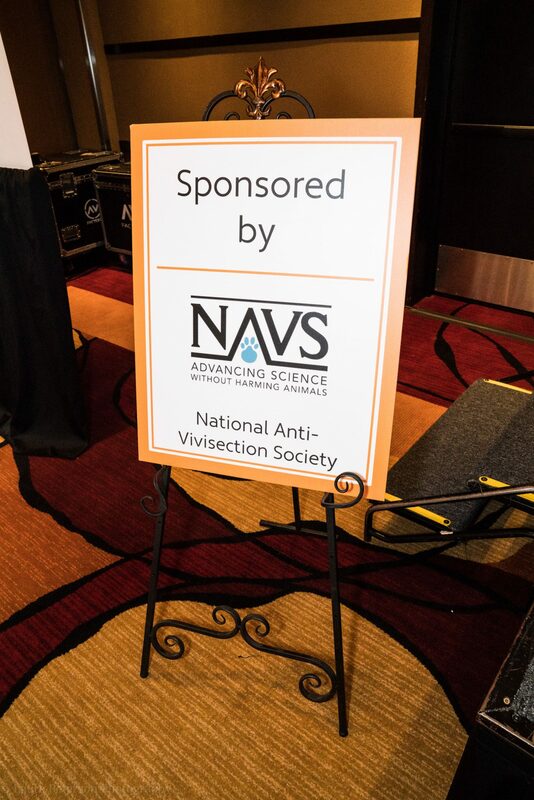 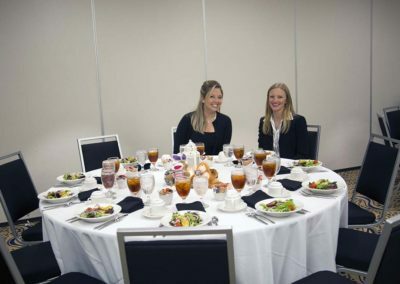 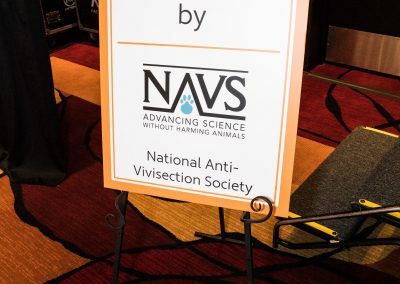 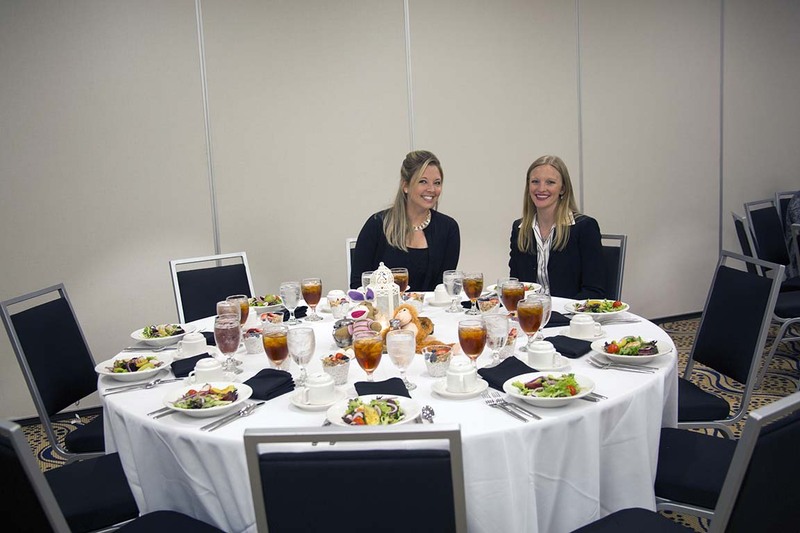 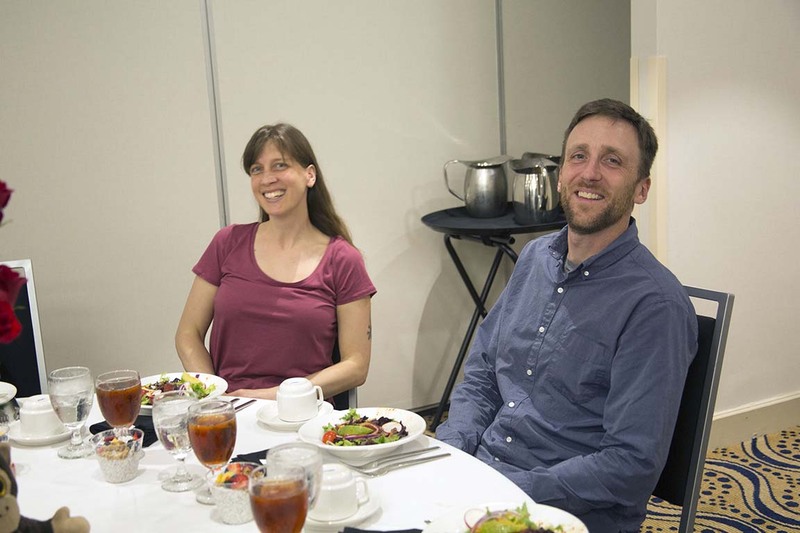 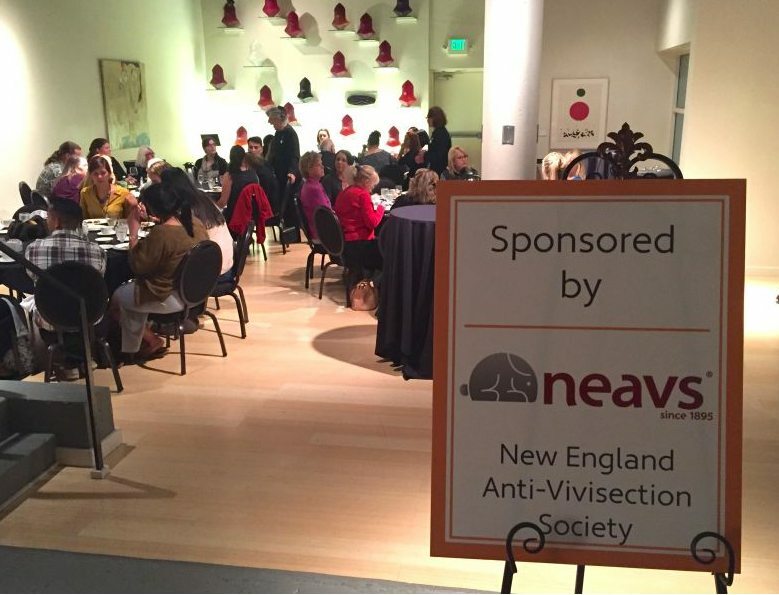 Thank you NEAVS for sponsoring a wonderful Recognition Dinner! 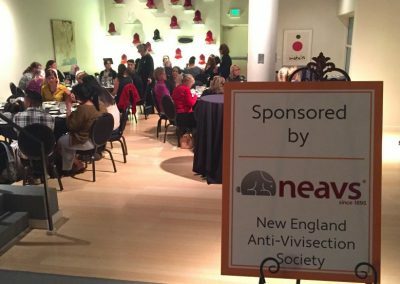 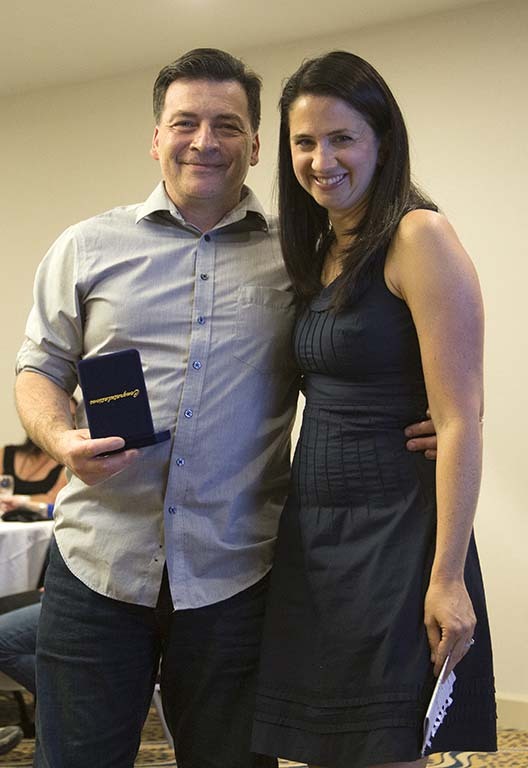 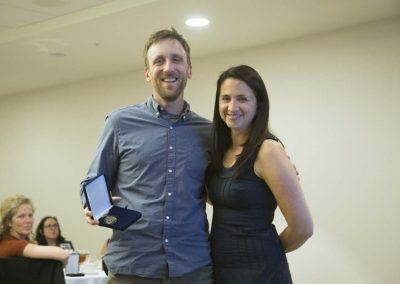 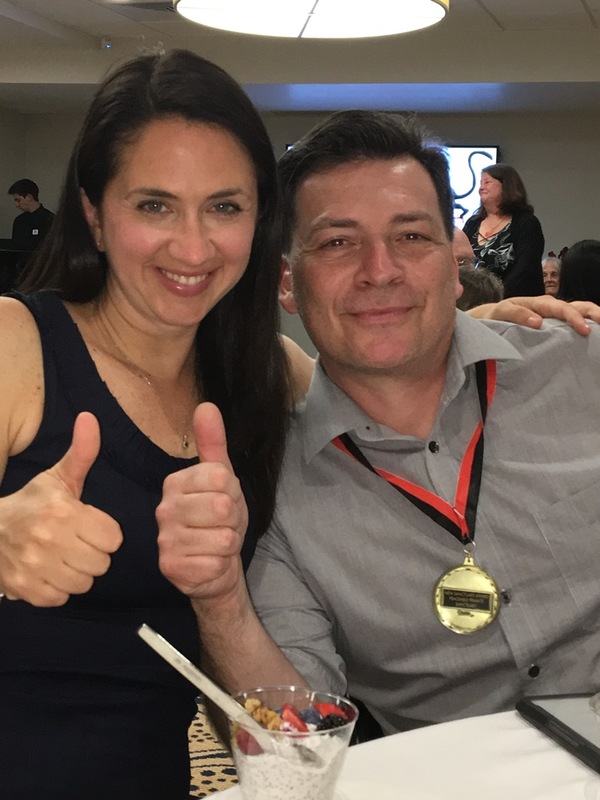 Thank you NEAVS for a great Recognition Dinner! 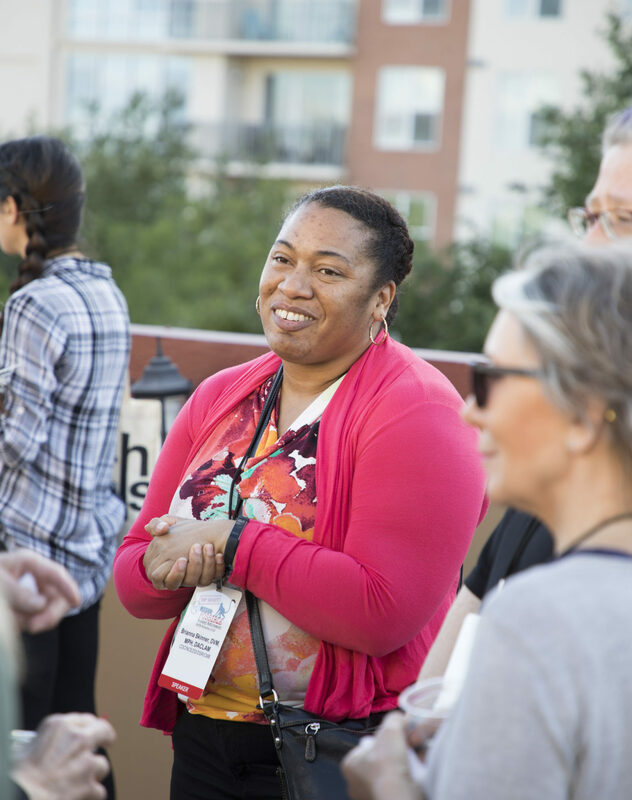 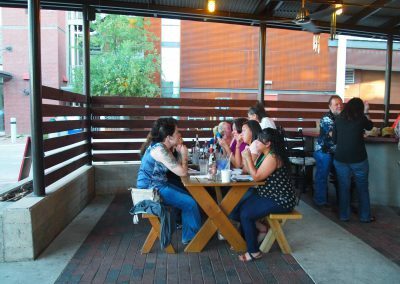 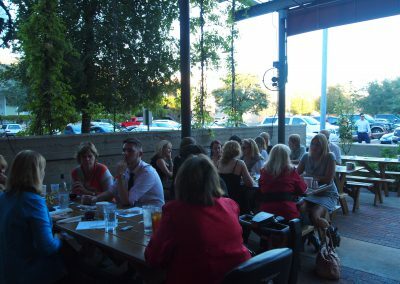 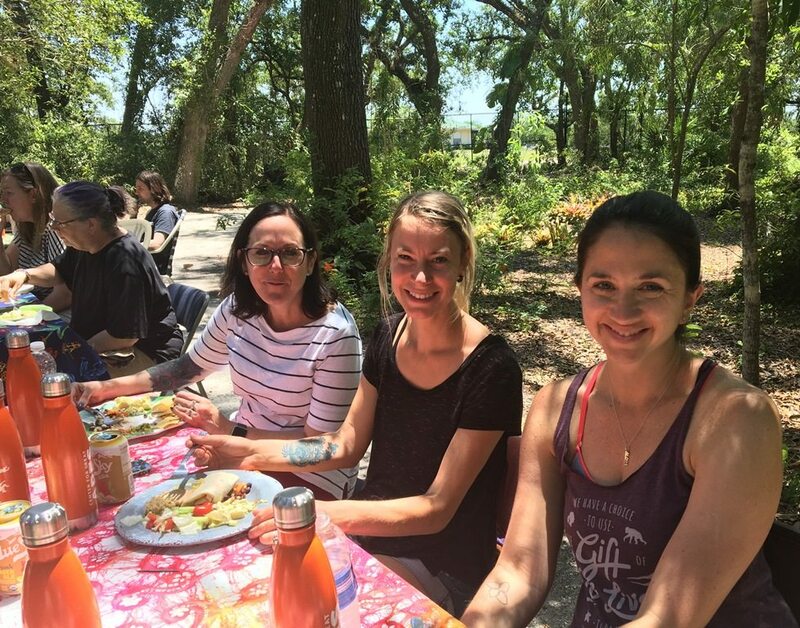 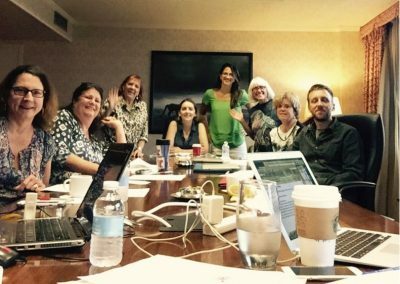 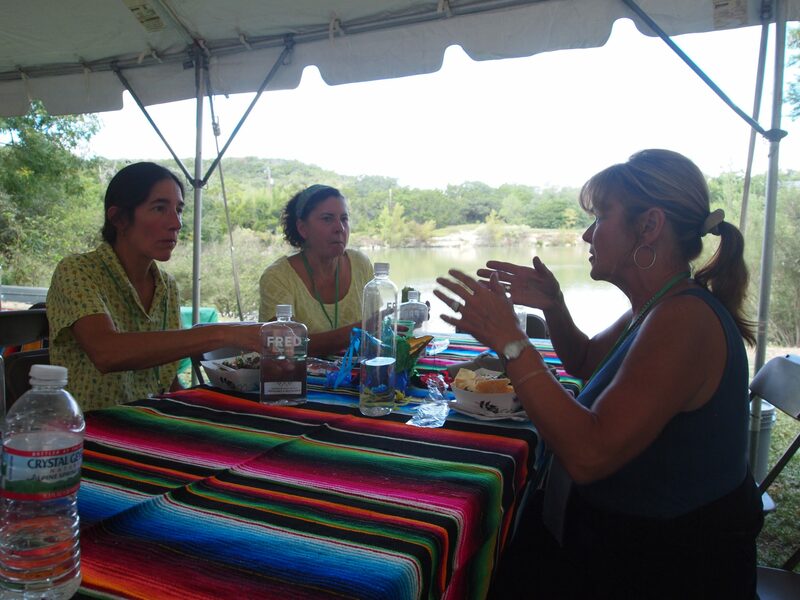 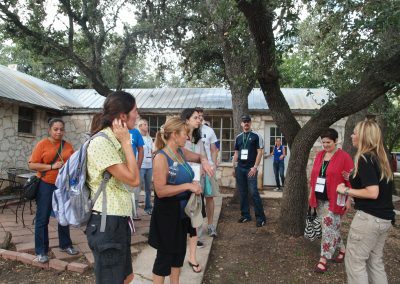 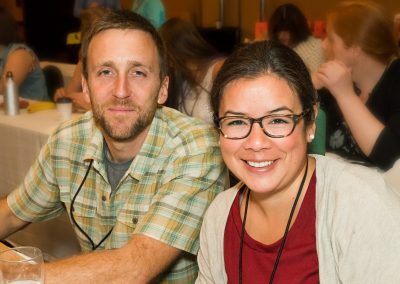 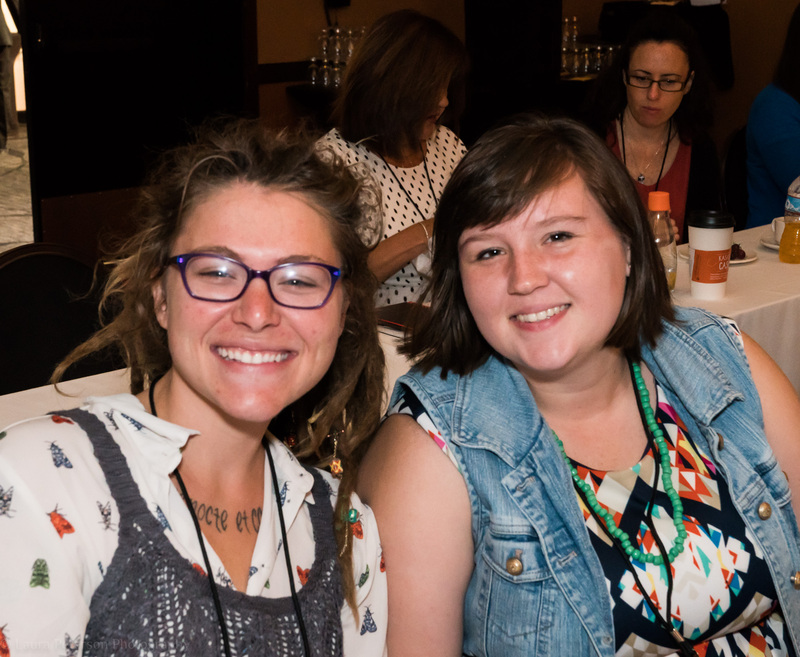 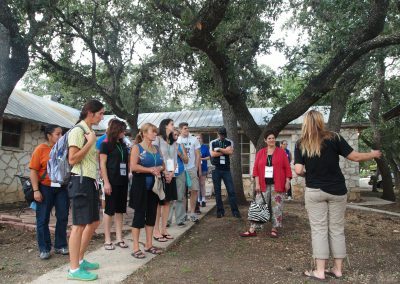 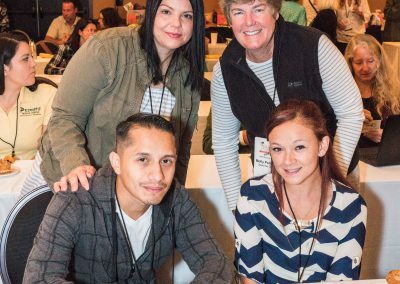 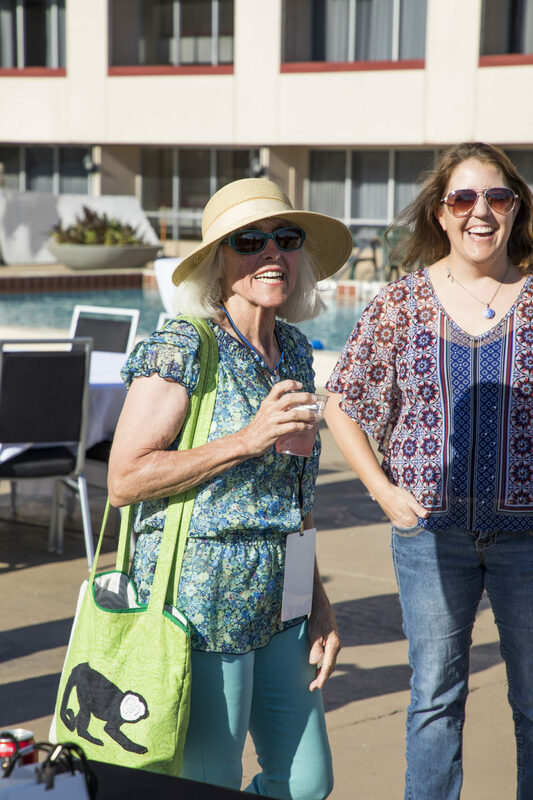 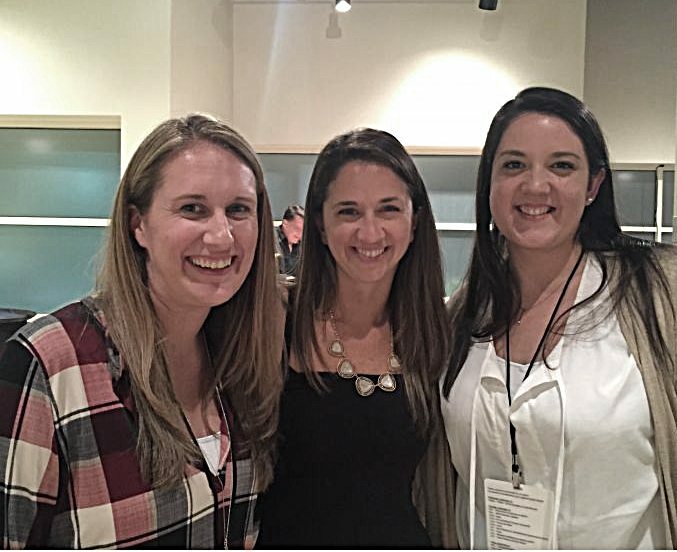 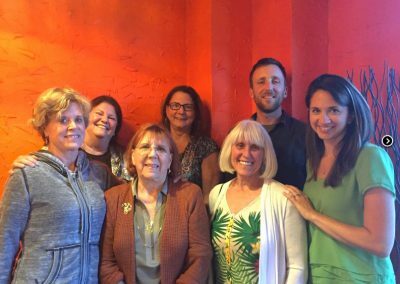 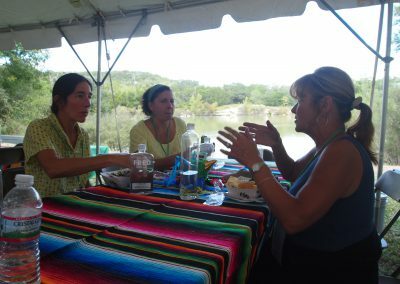 In May 2016, our Steering Committee met for an in-person retreat in Dallas, Texas. 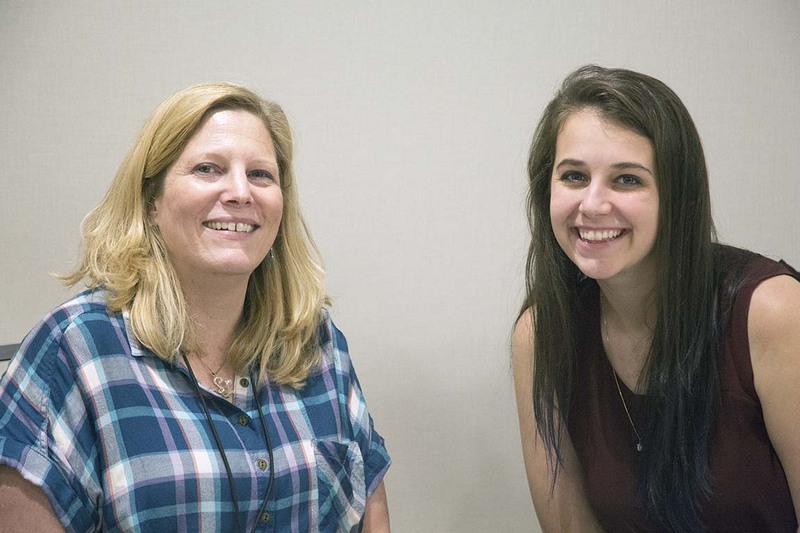 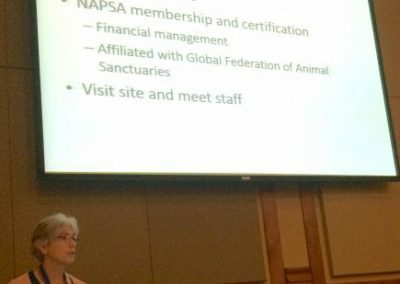 The group evaluated NAPSA’s progress and plotted for the year ahead. 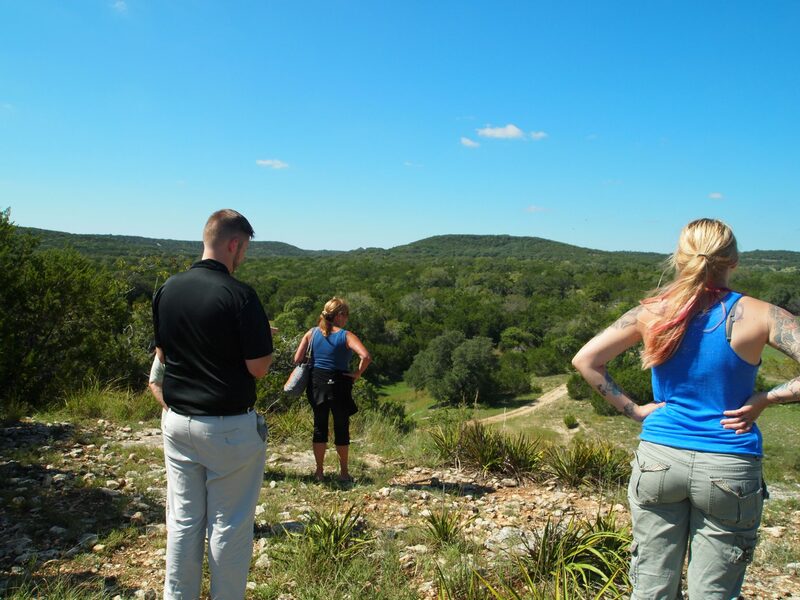 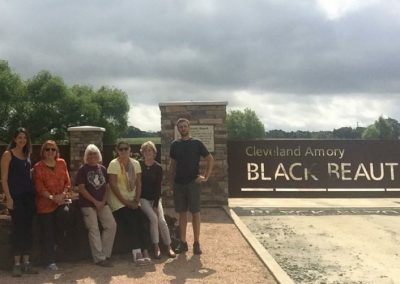 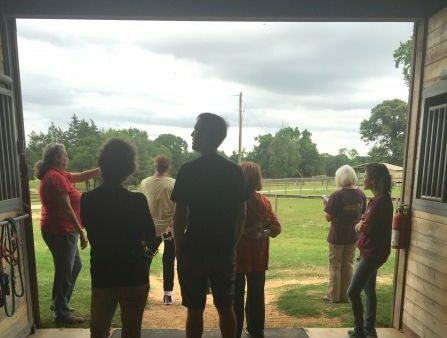 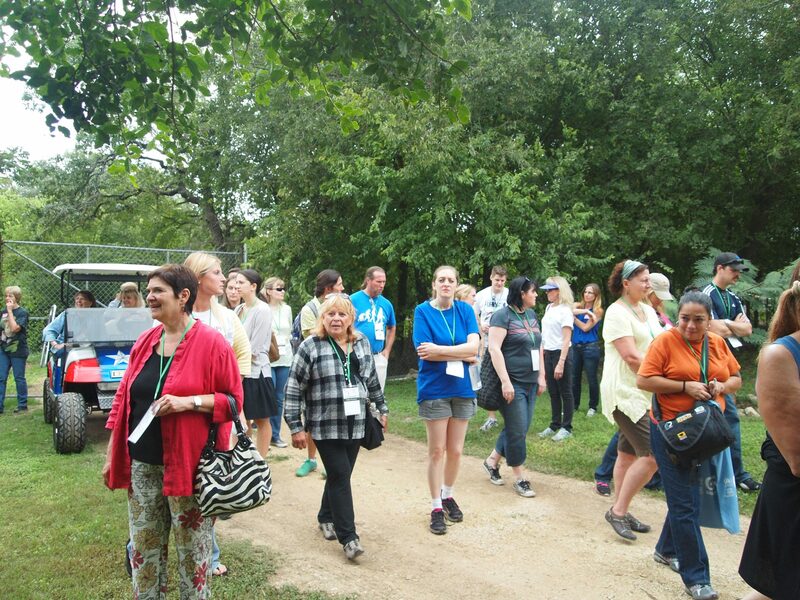 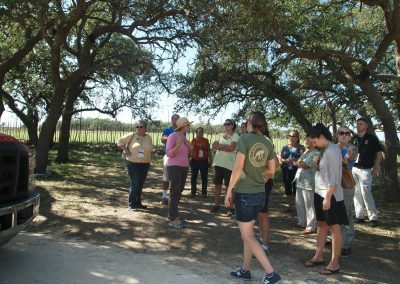 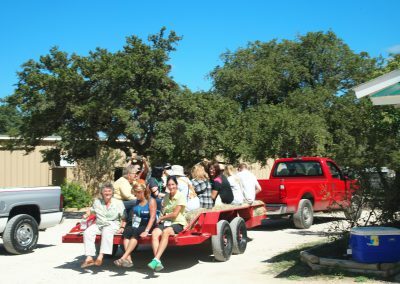 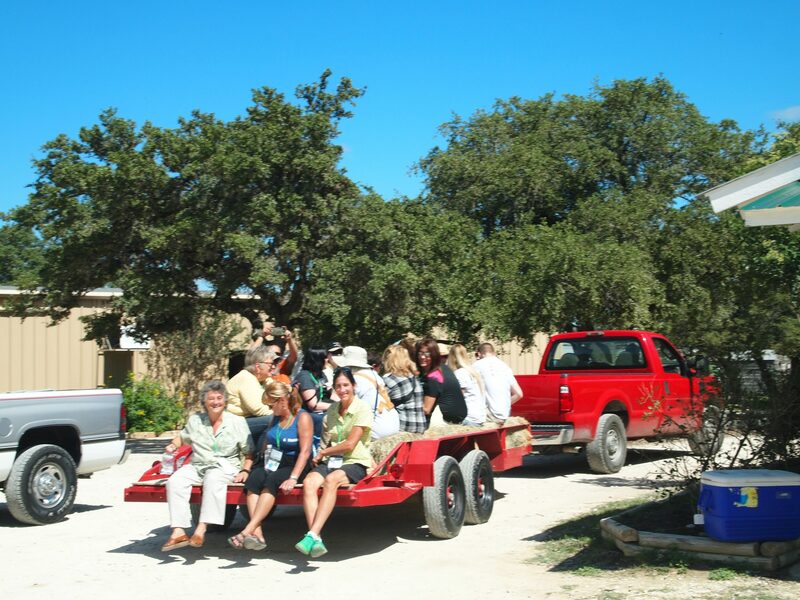 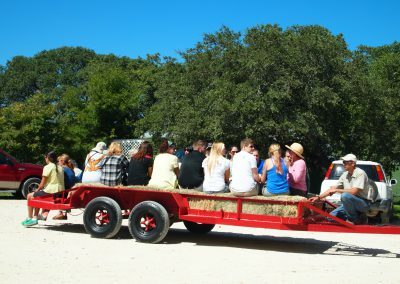 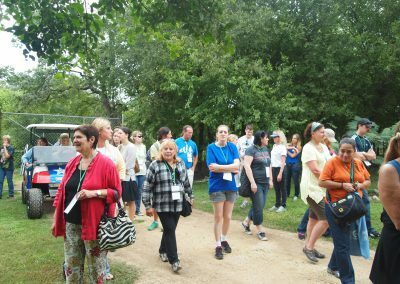 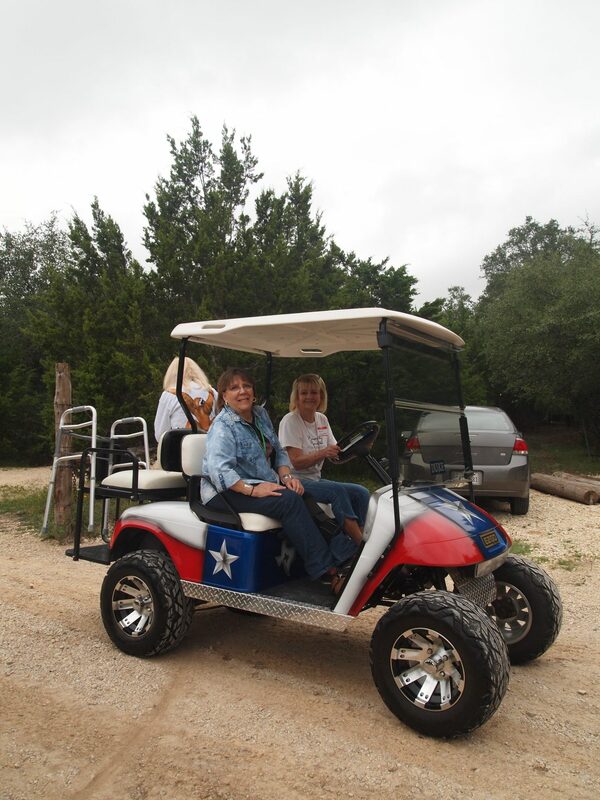 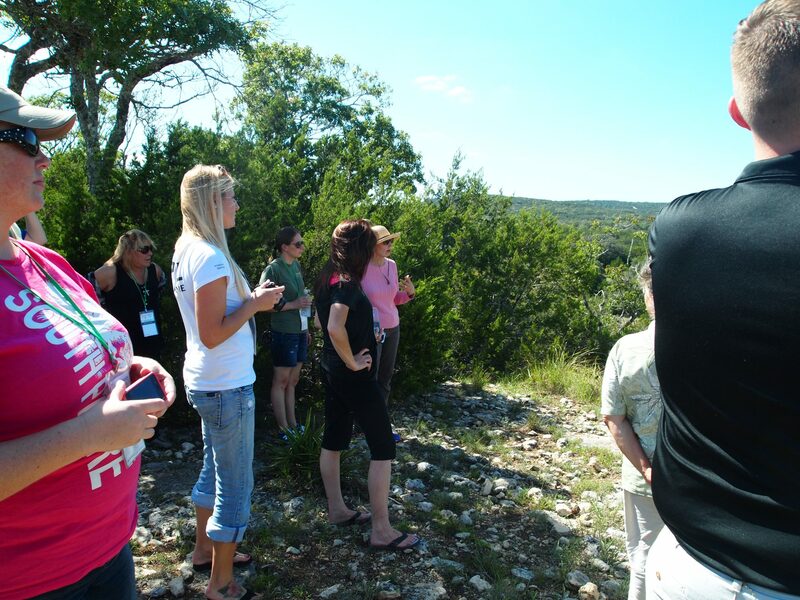 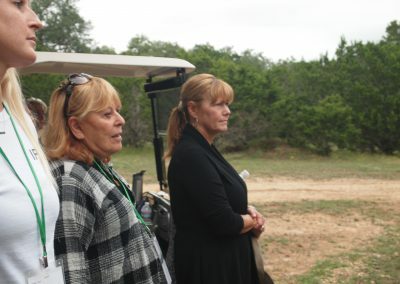 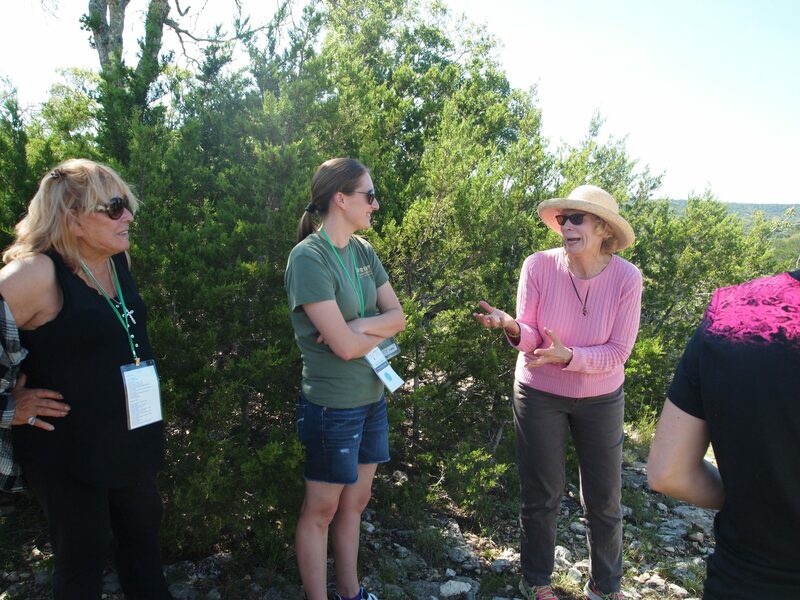 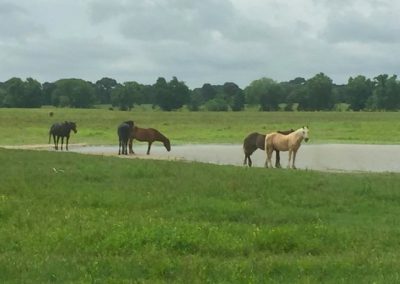 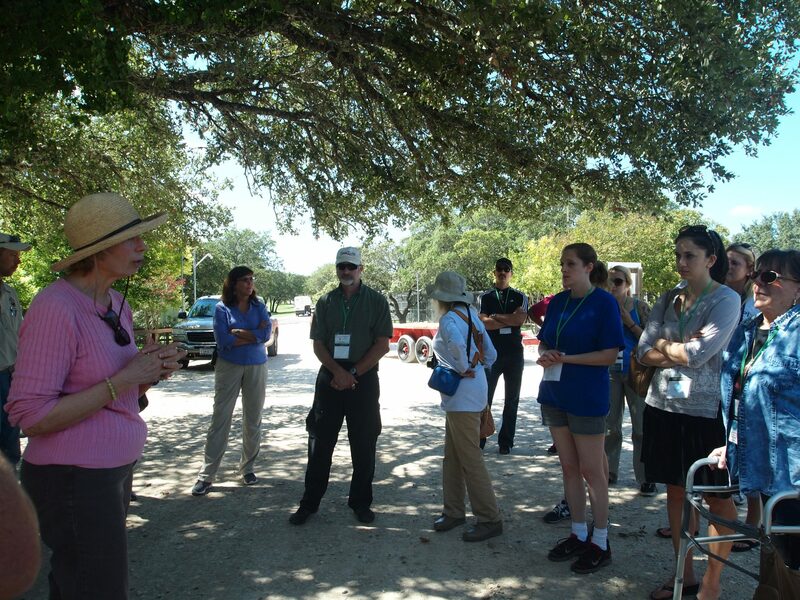 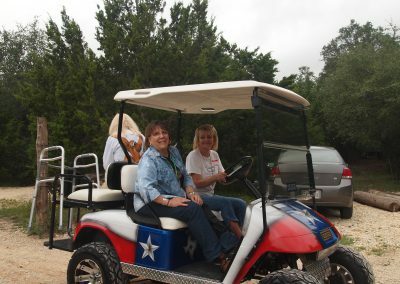 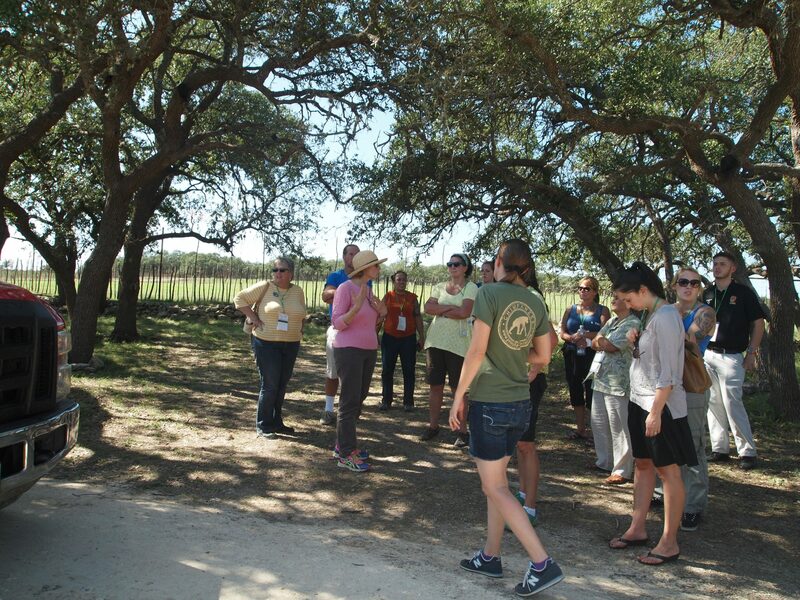 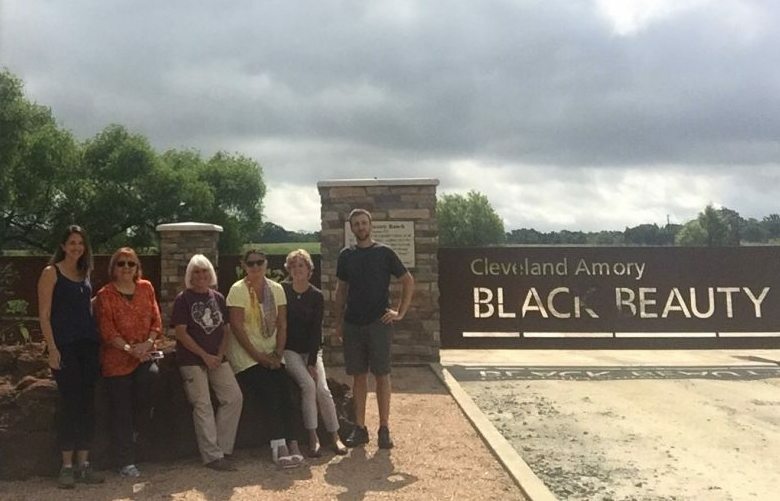 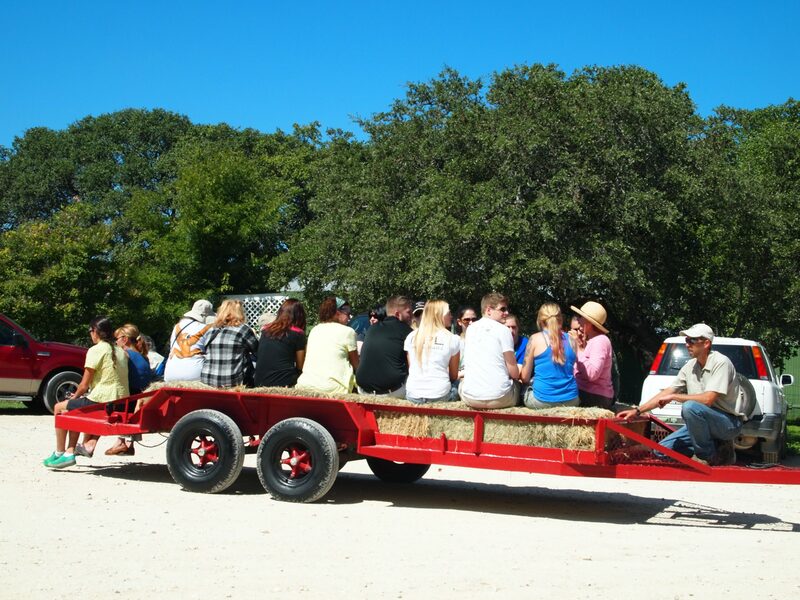 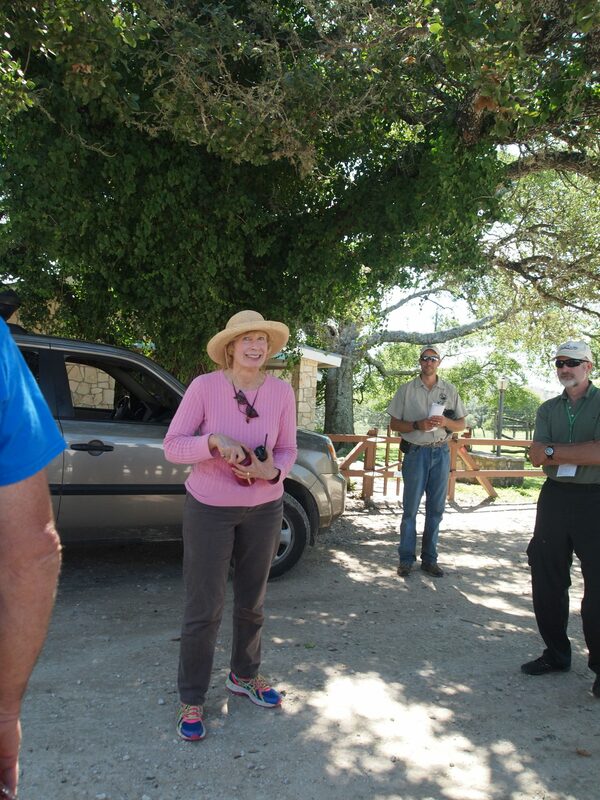 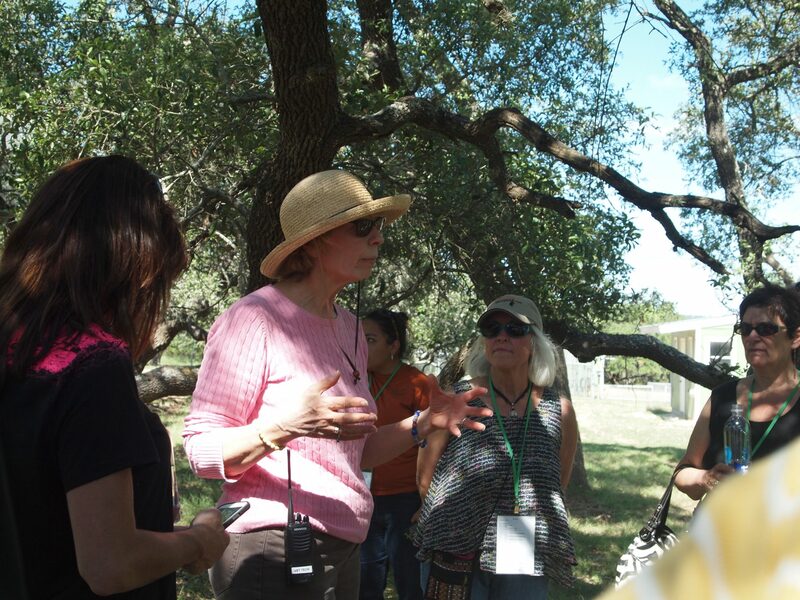 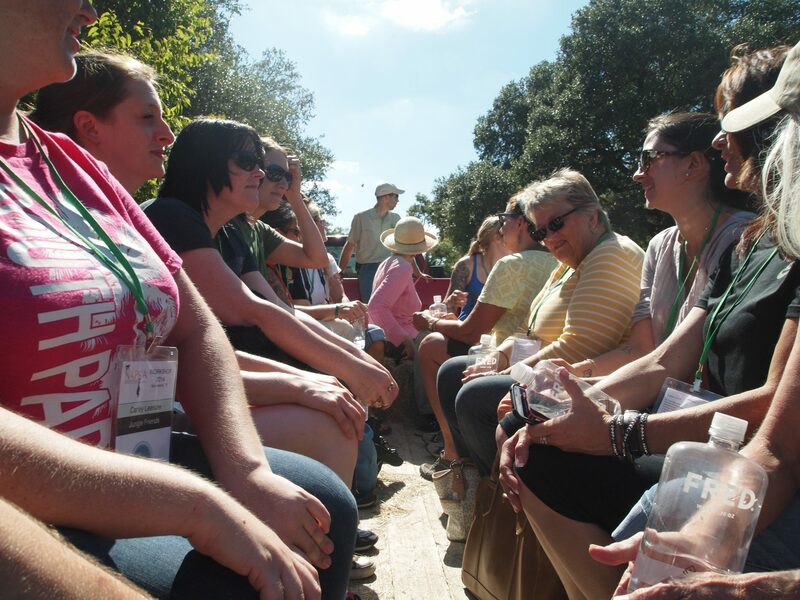 Then the fun part – we toured NAPSA member Cleveland Amory Black Beauty Ranch in Murchison, Texas! 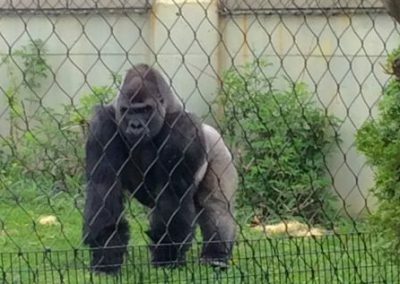 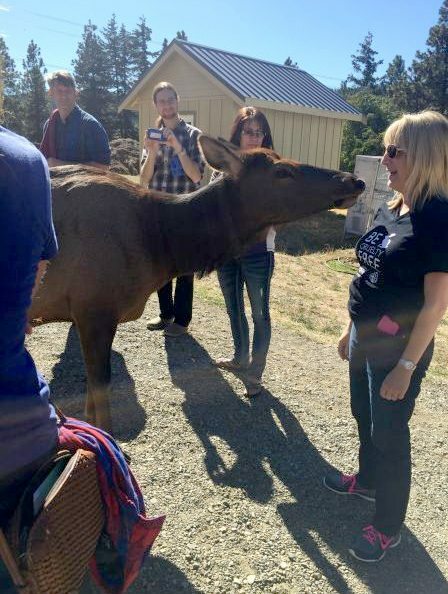 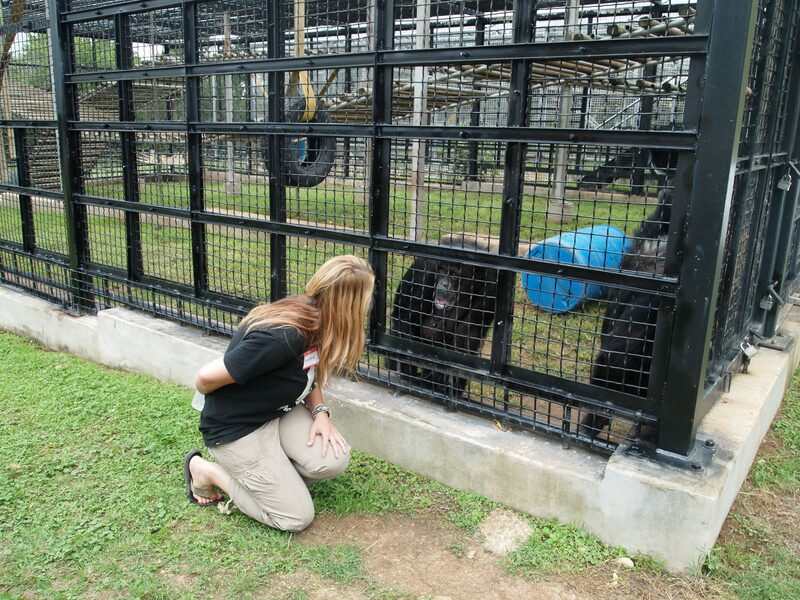 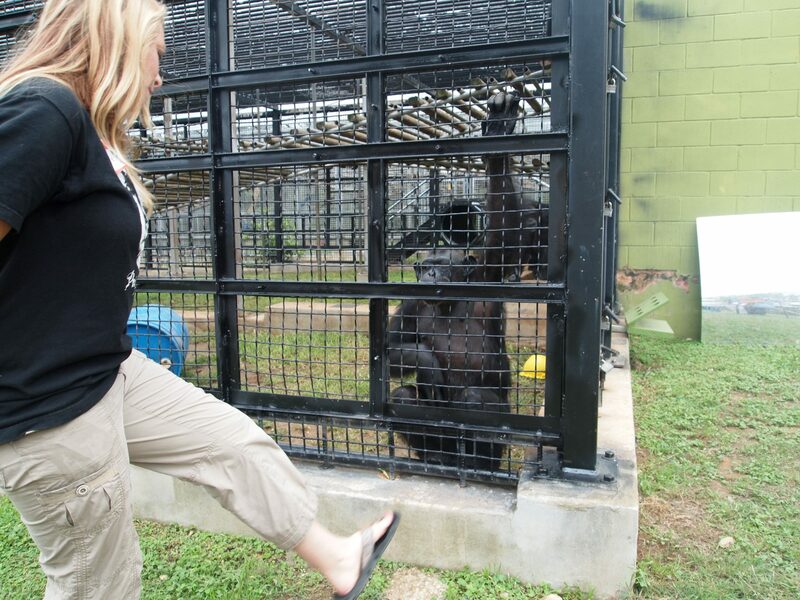 Kari Bagnall, Director of Jungle Friends Primate Sanctuary, found a friend at dinner time. 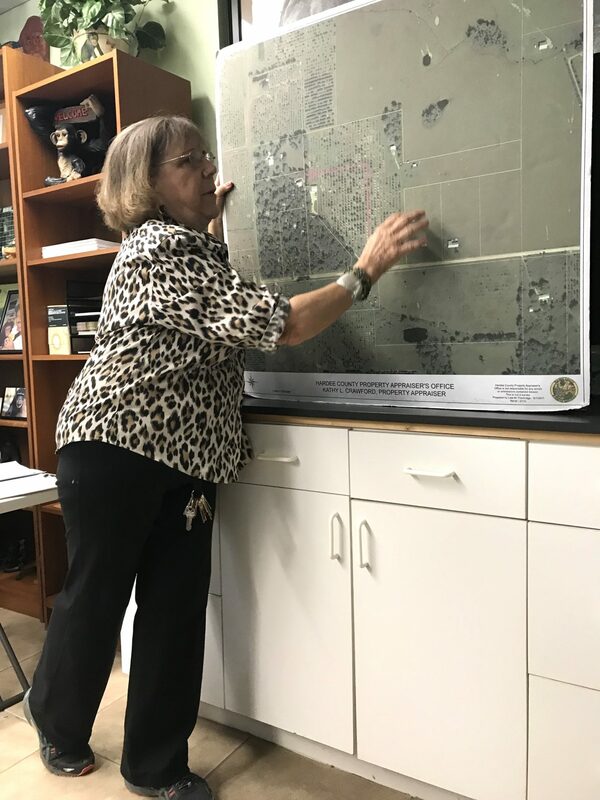 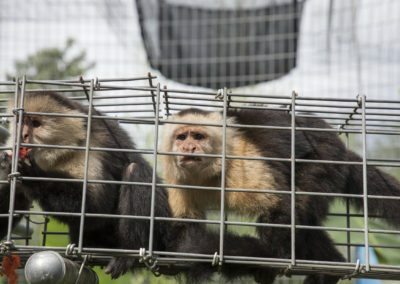 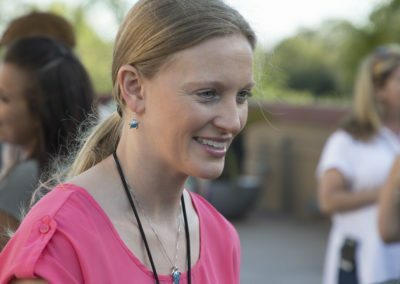 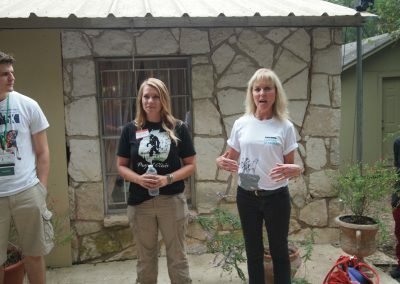 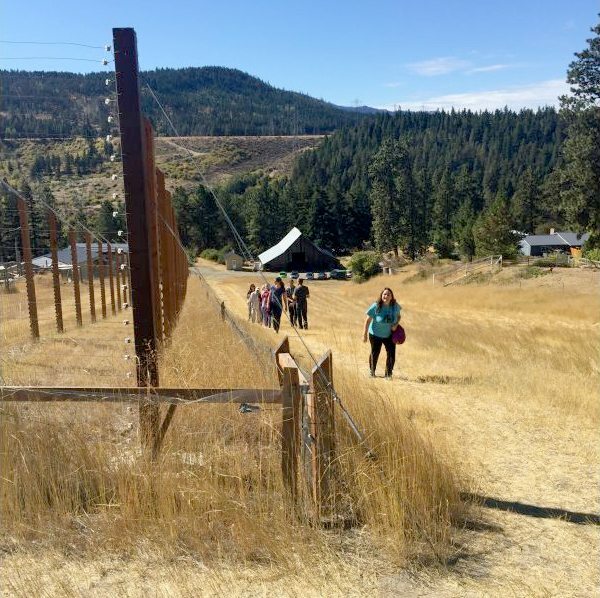 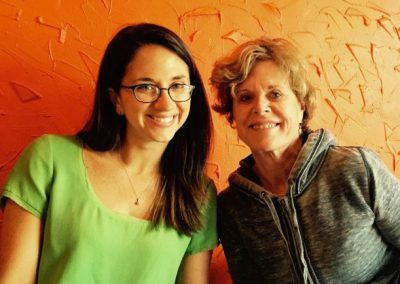 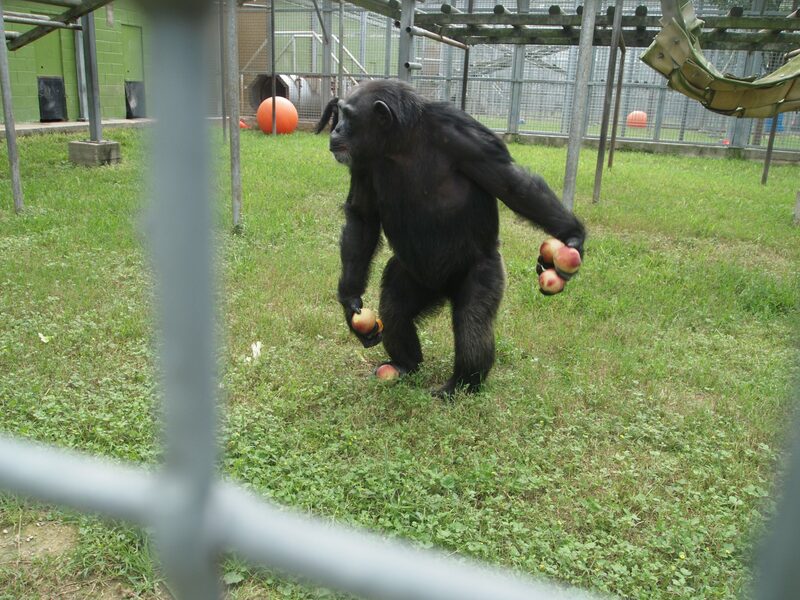 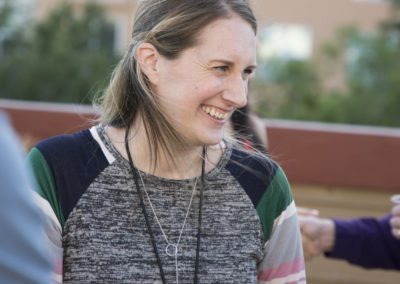 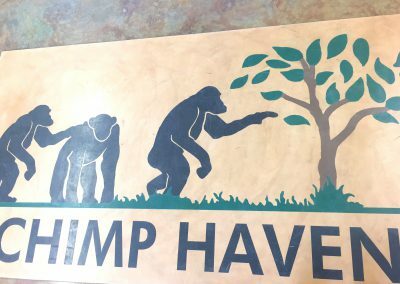 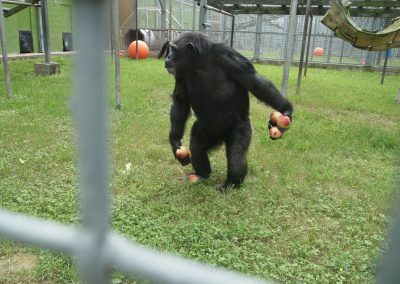 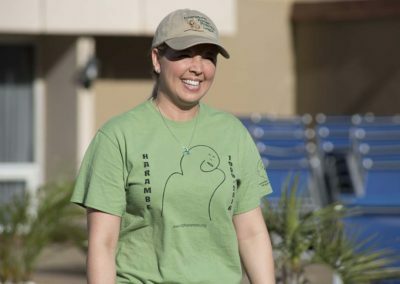 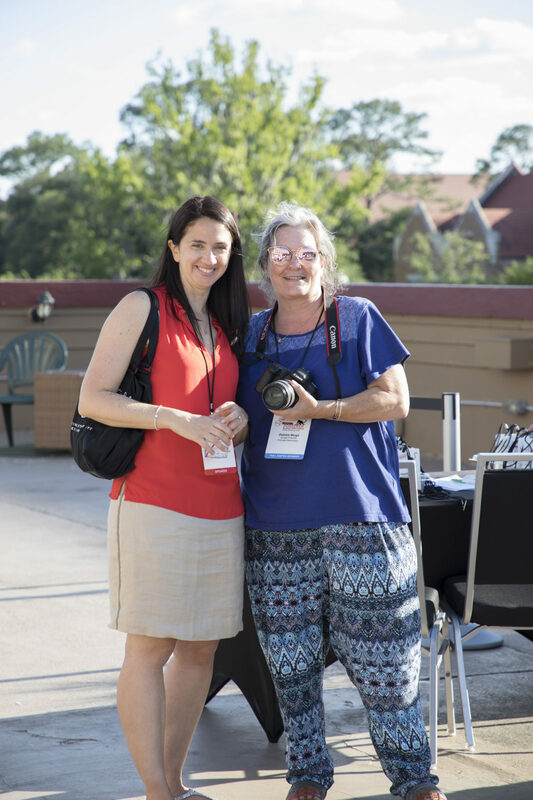 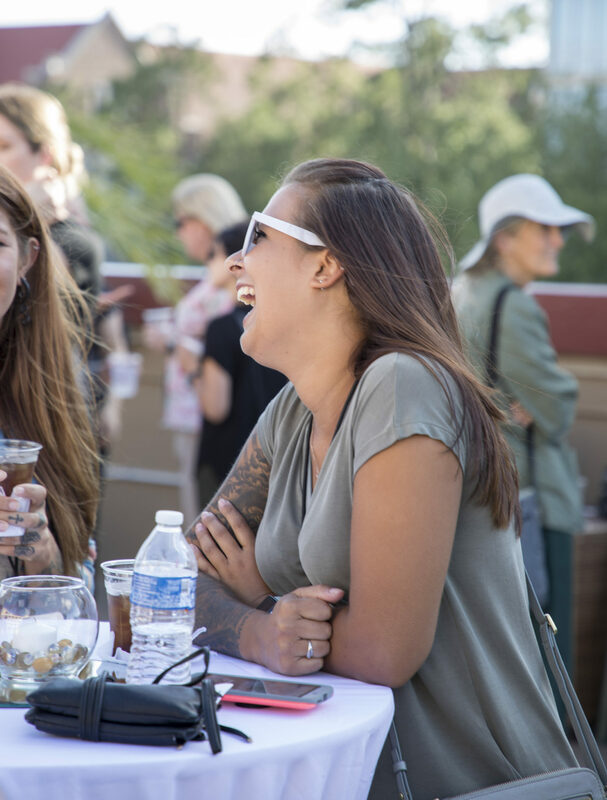 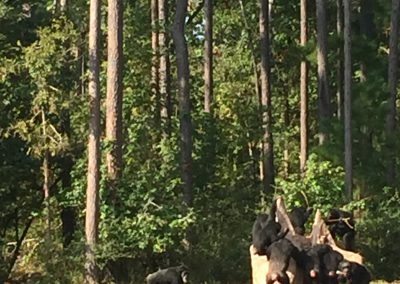 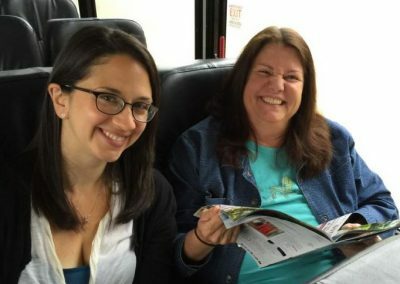 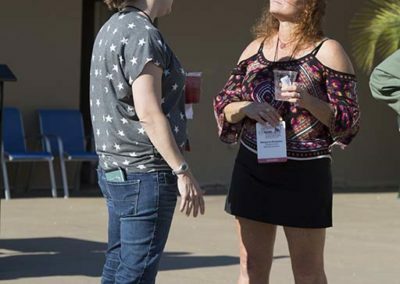 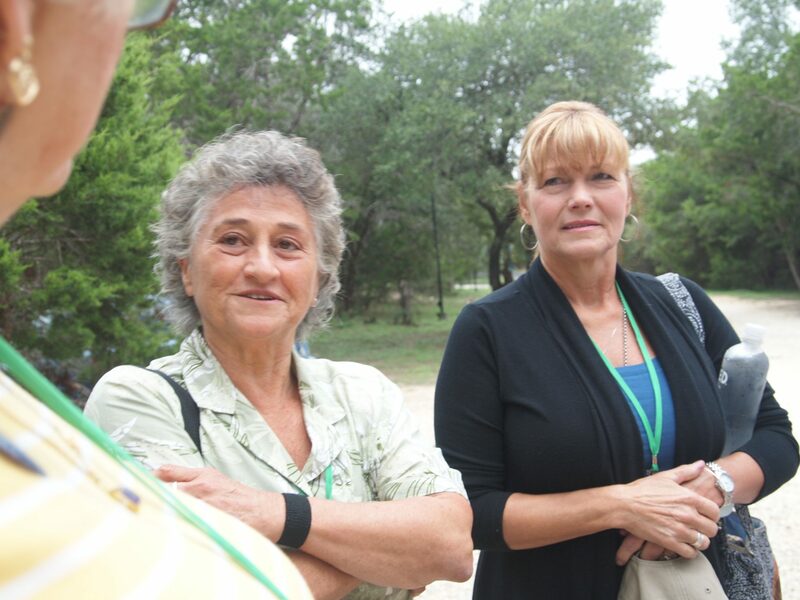 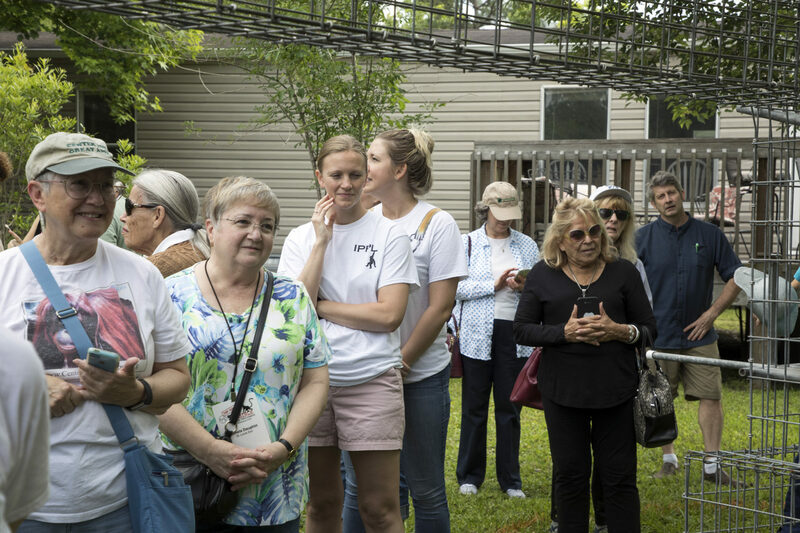 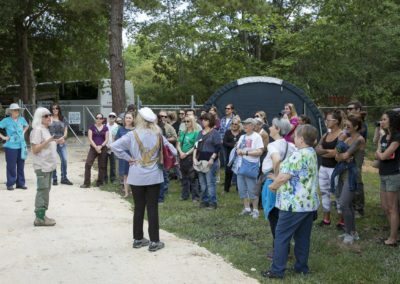 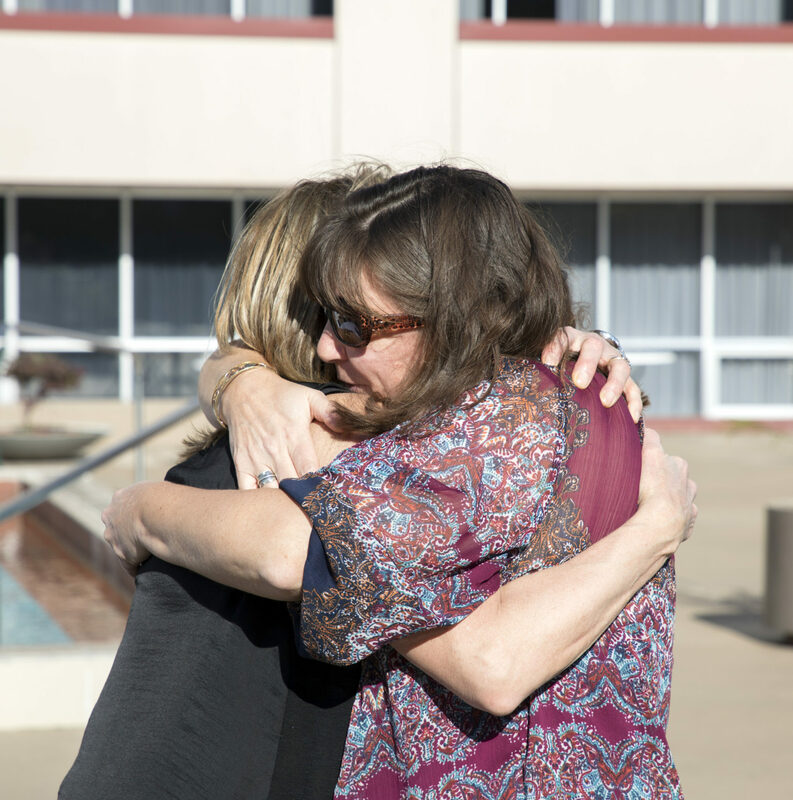 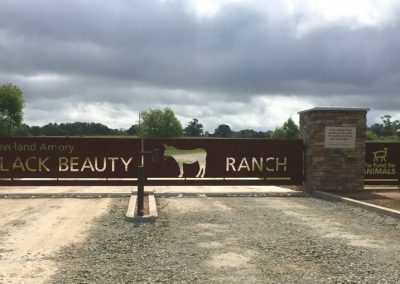 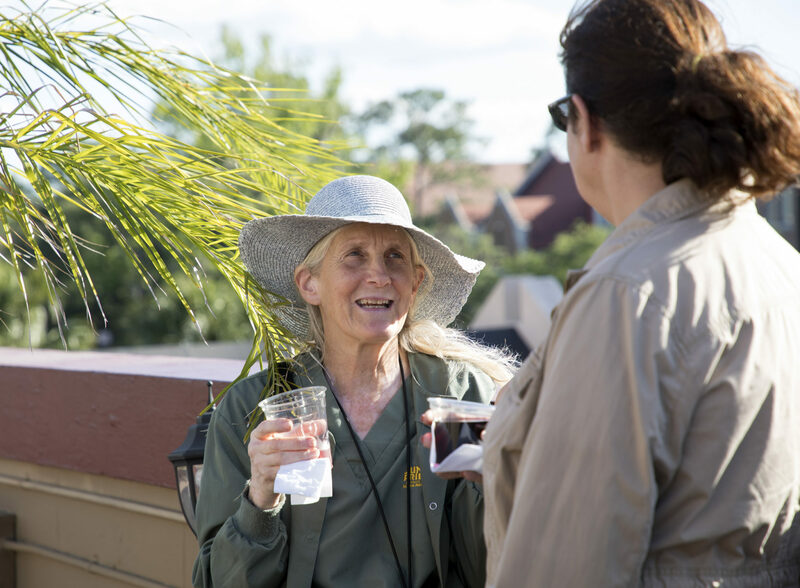 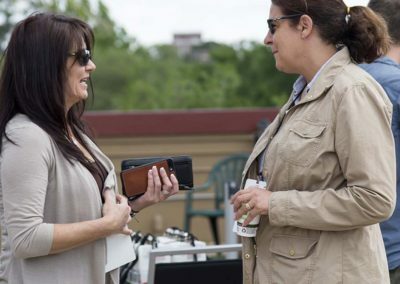 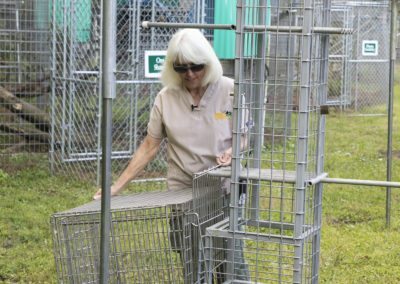 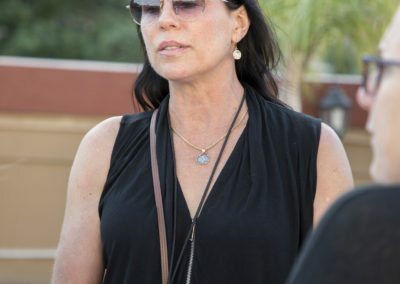 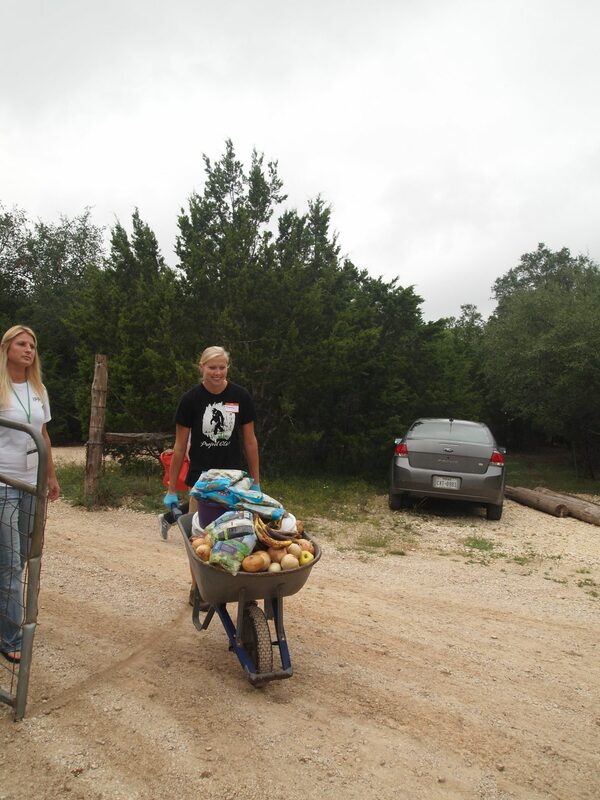 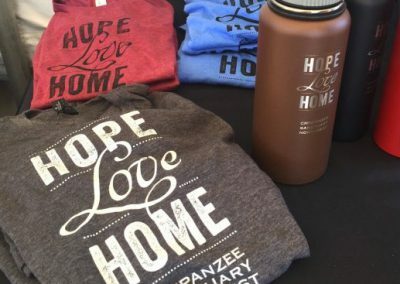 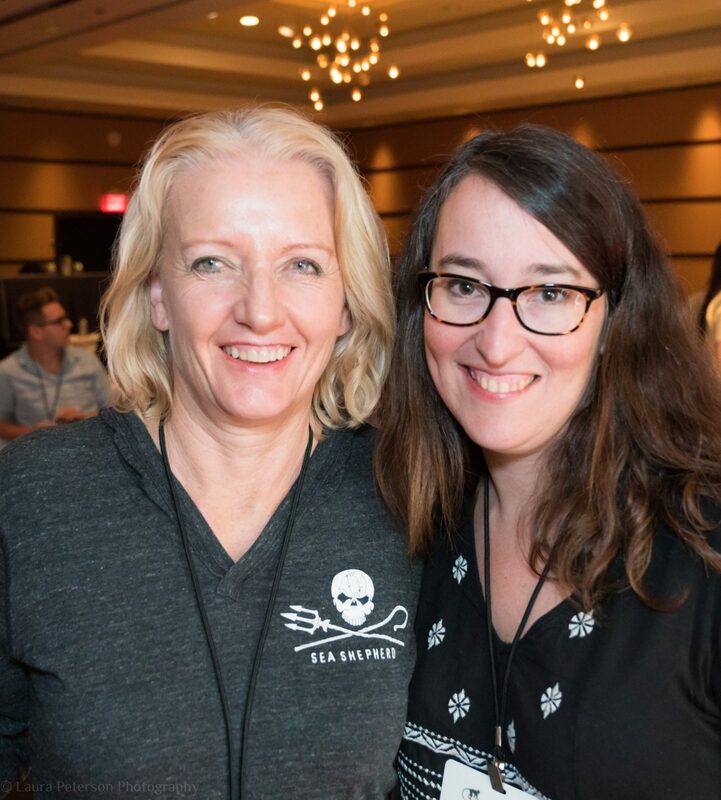 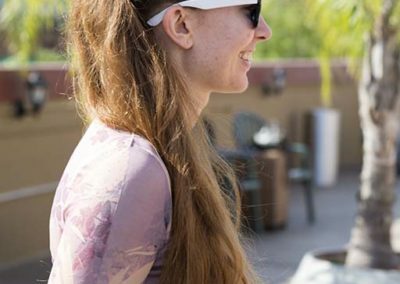 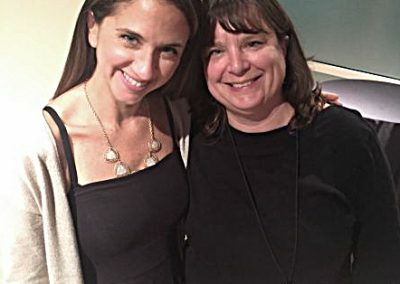 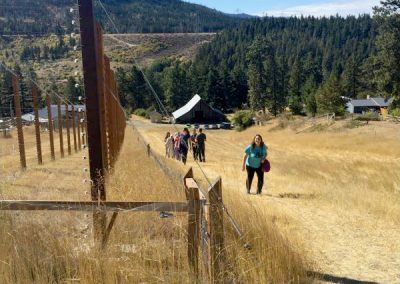 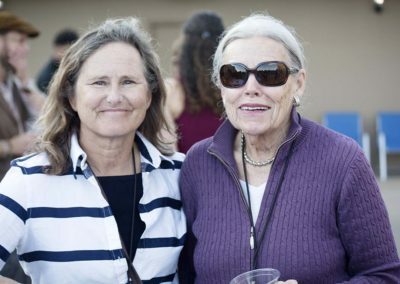 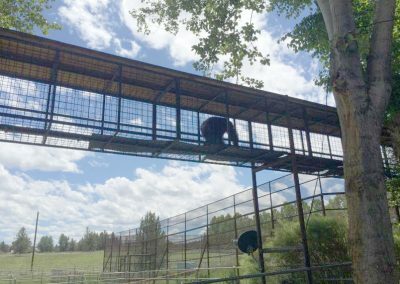 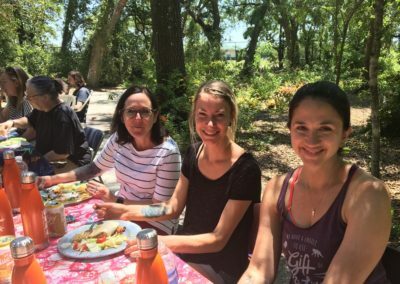 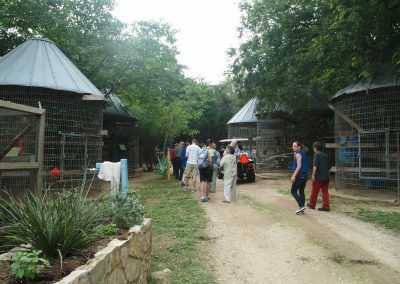 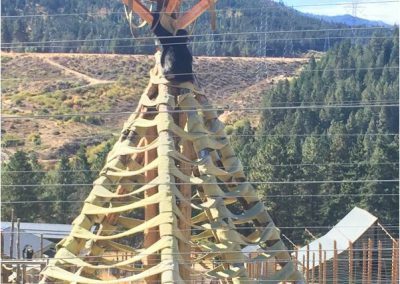 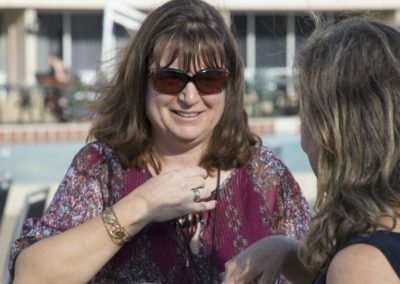 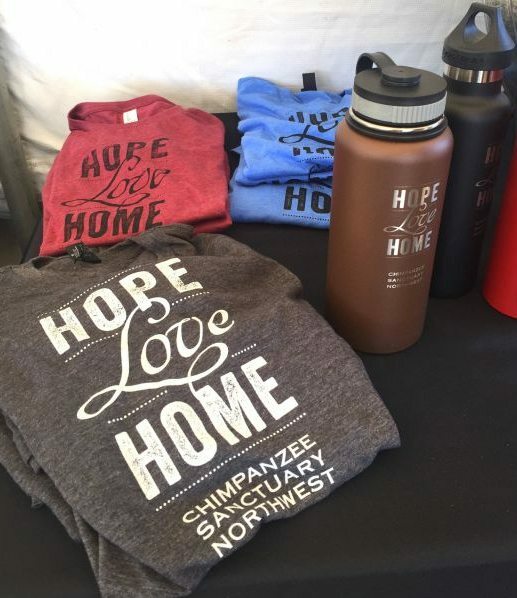 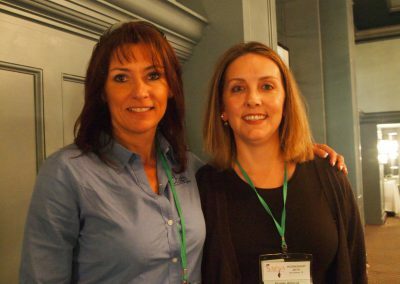 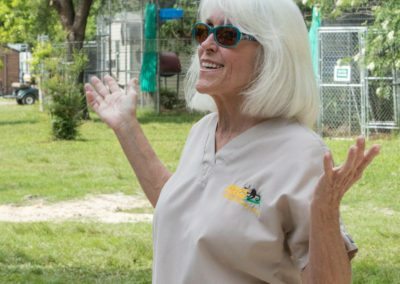 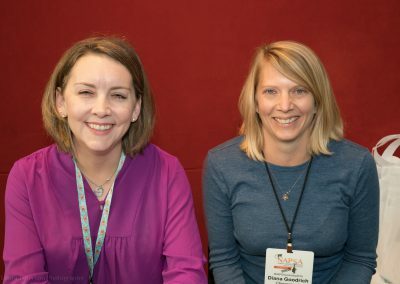 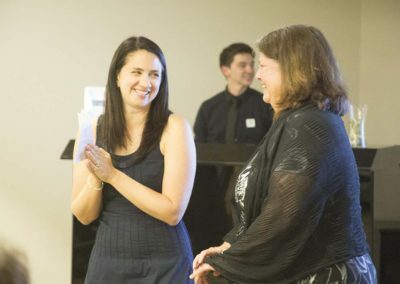 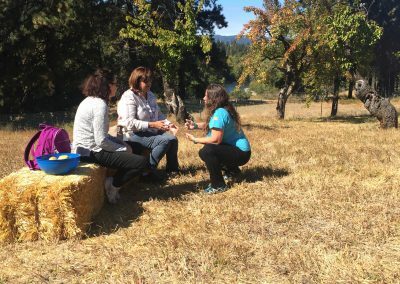 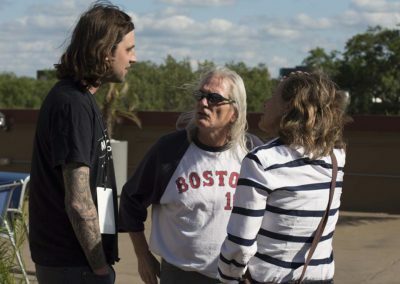 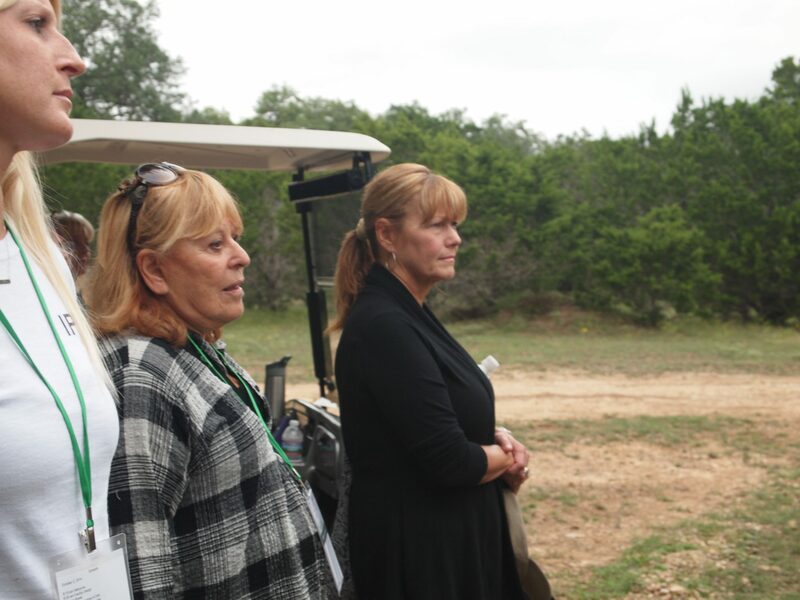 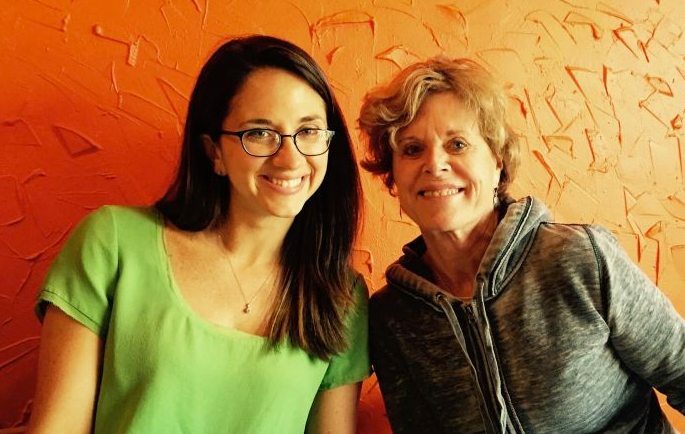 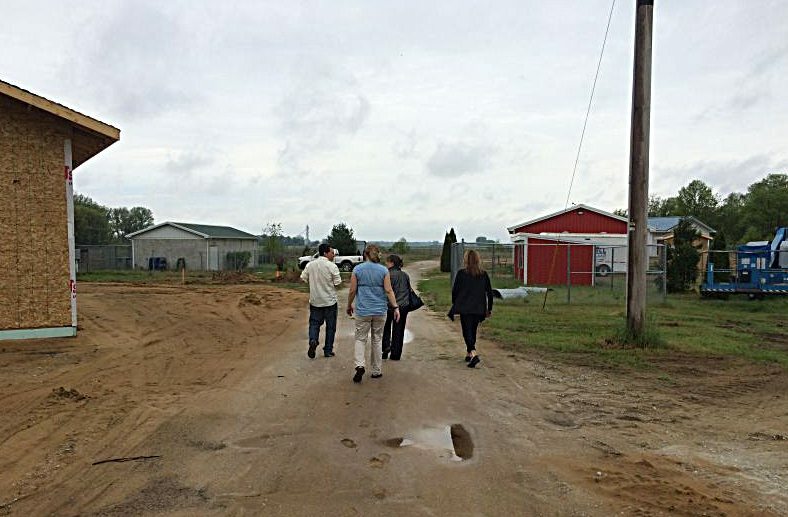 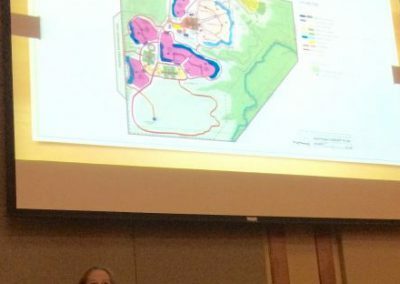 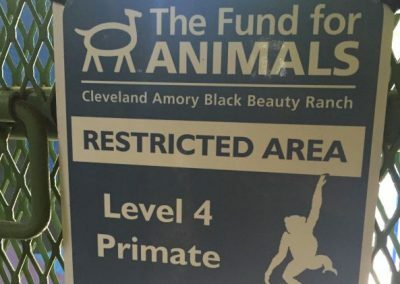 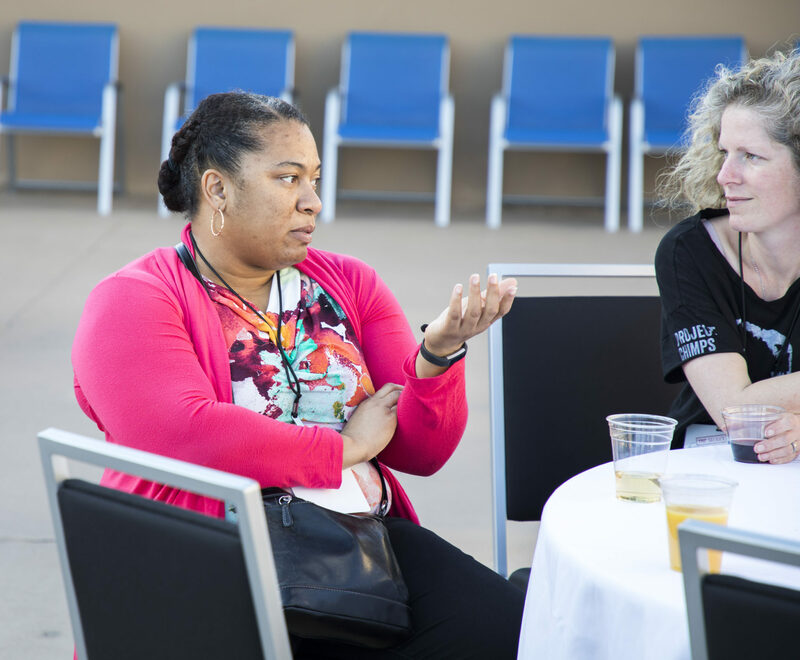 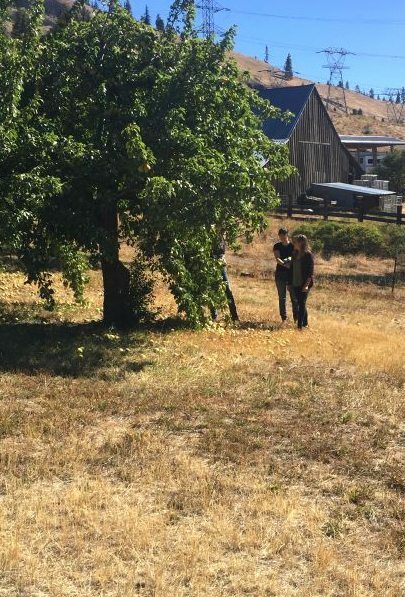 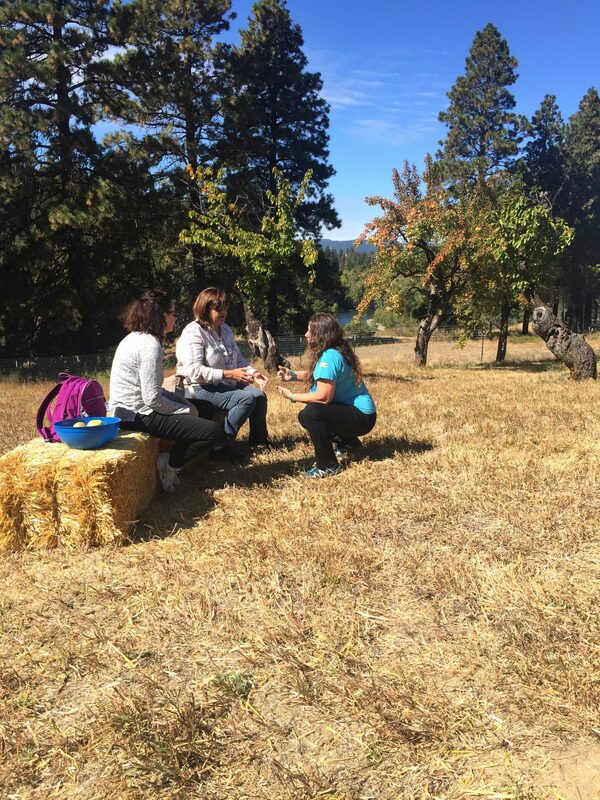 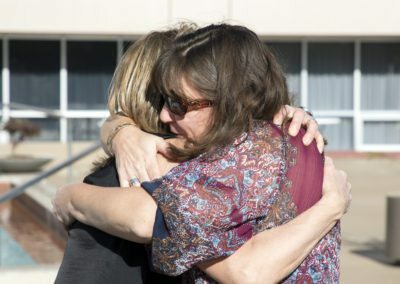 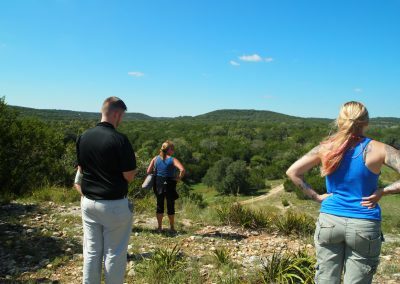 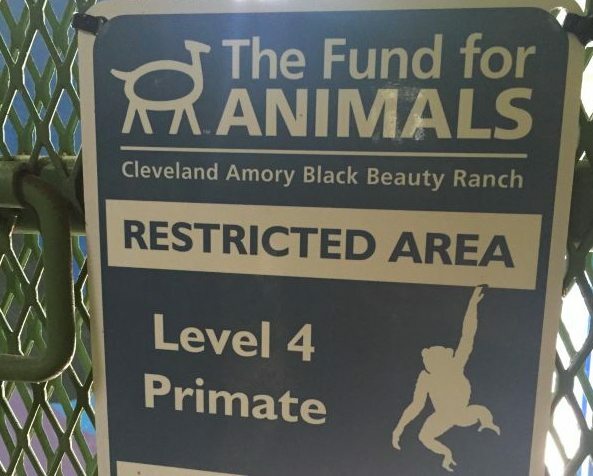 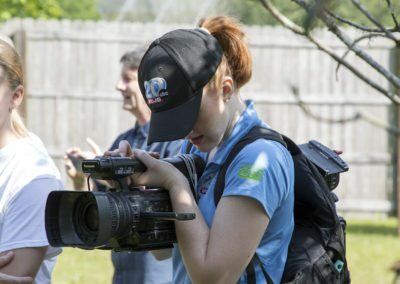 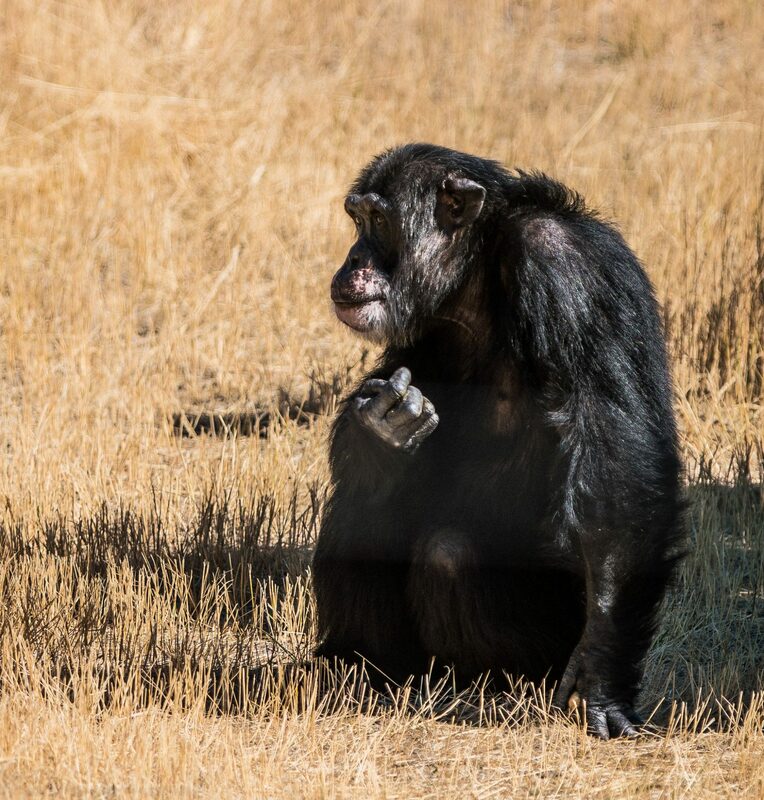 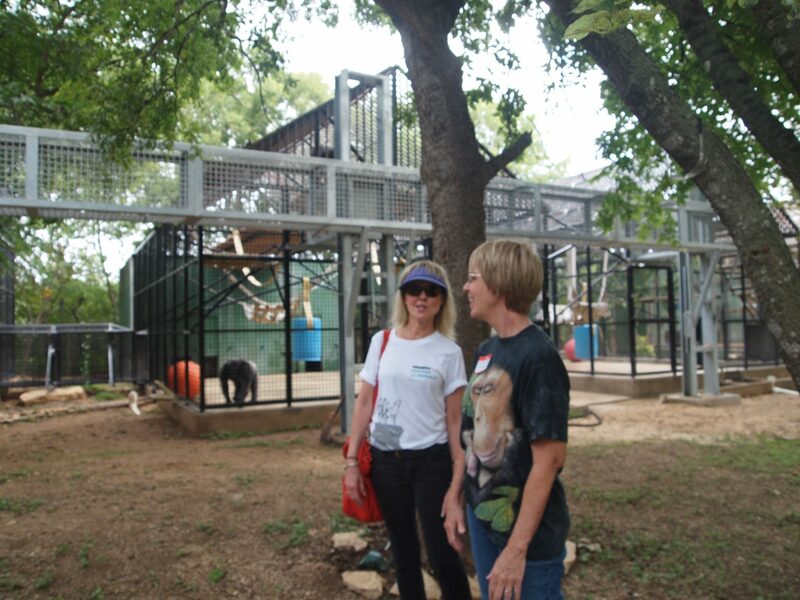 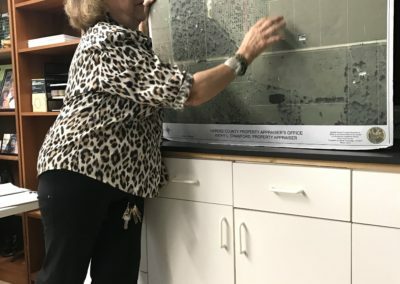 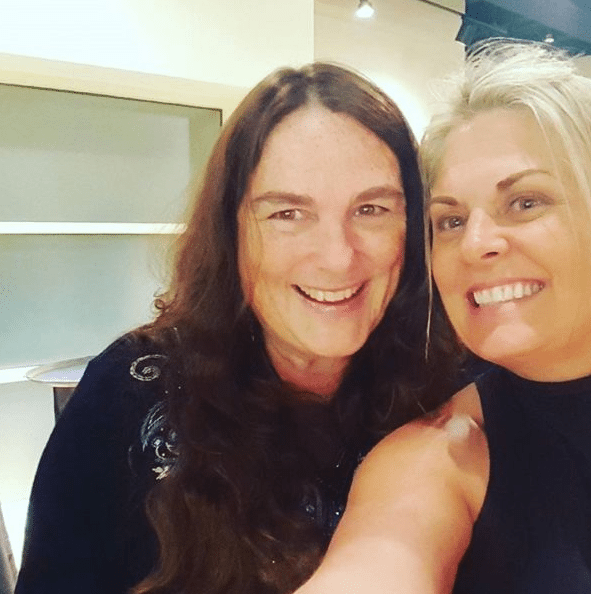 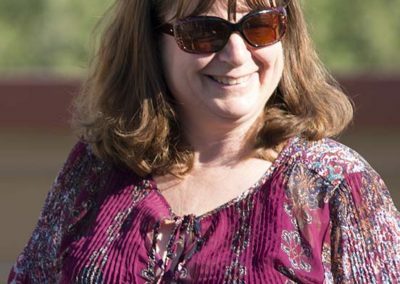 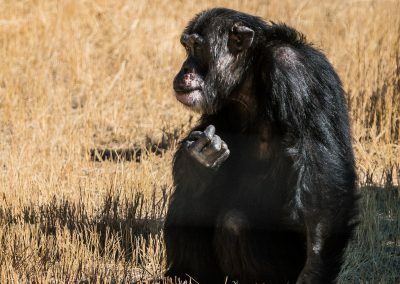 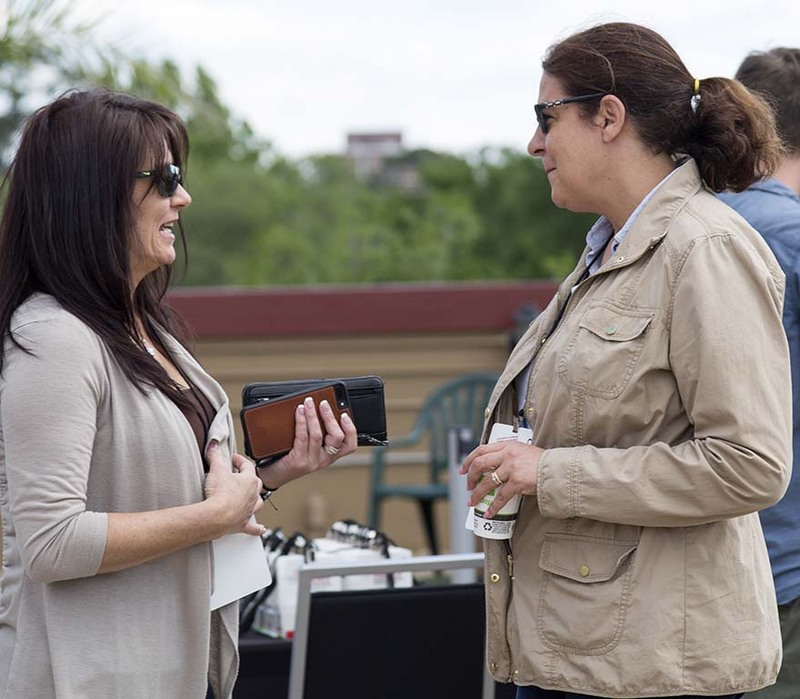 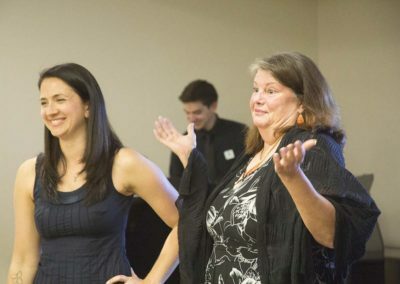 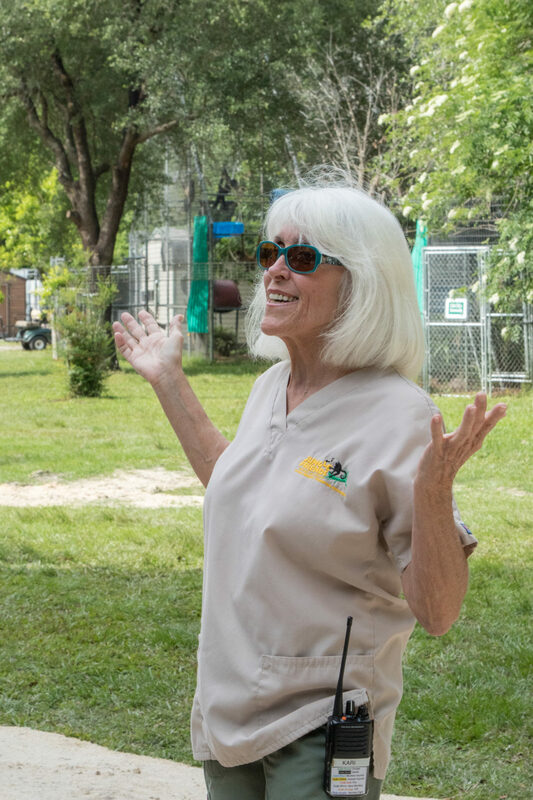 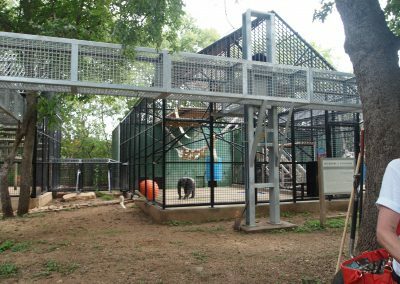 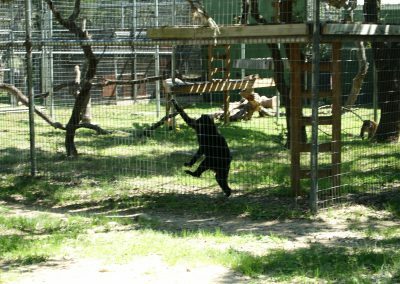 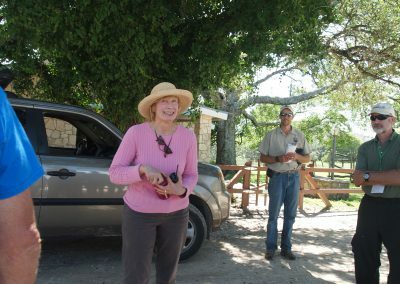 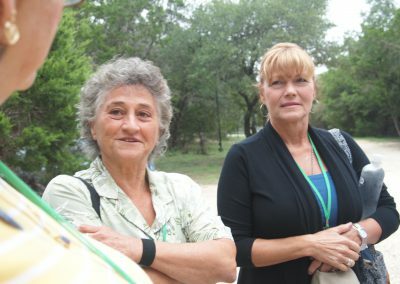 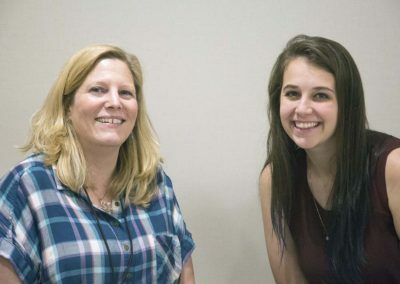 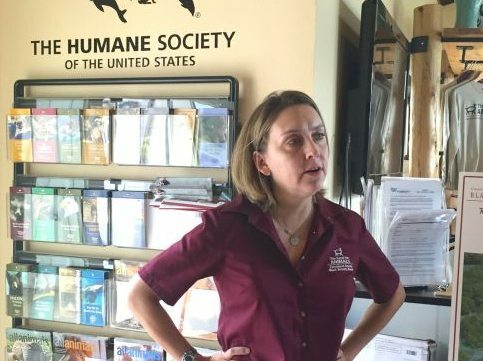 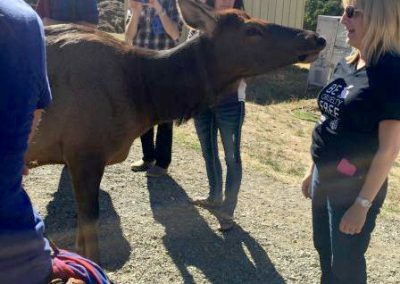 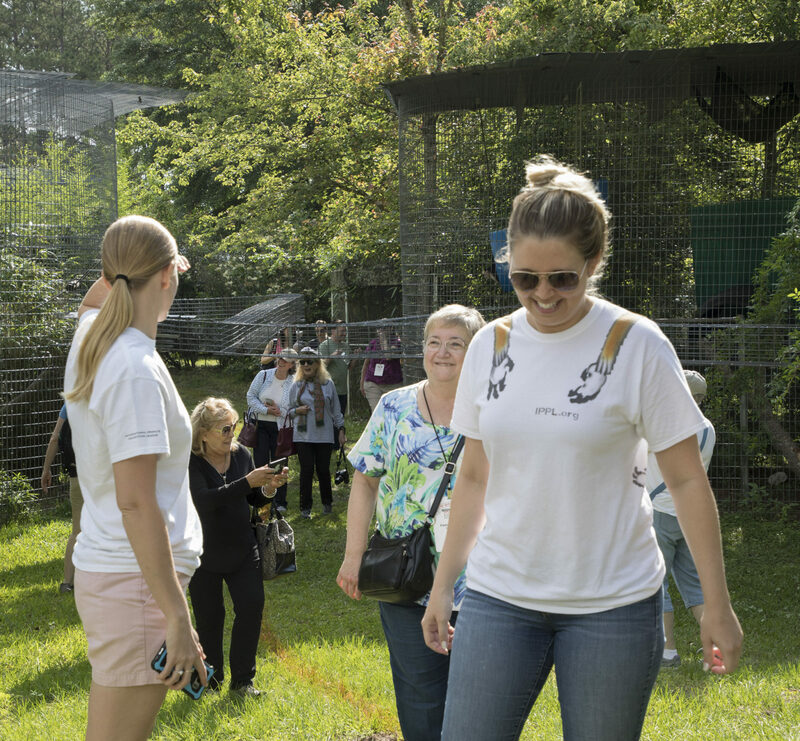 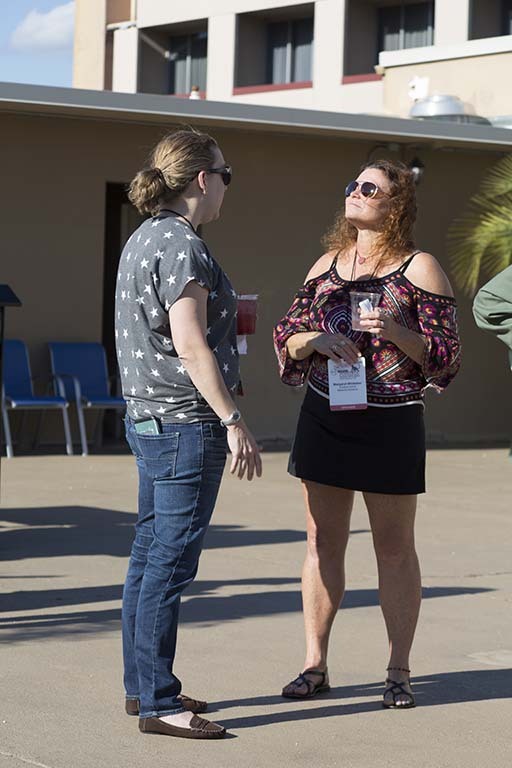 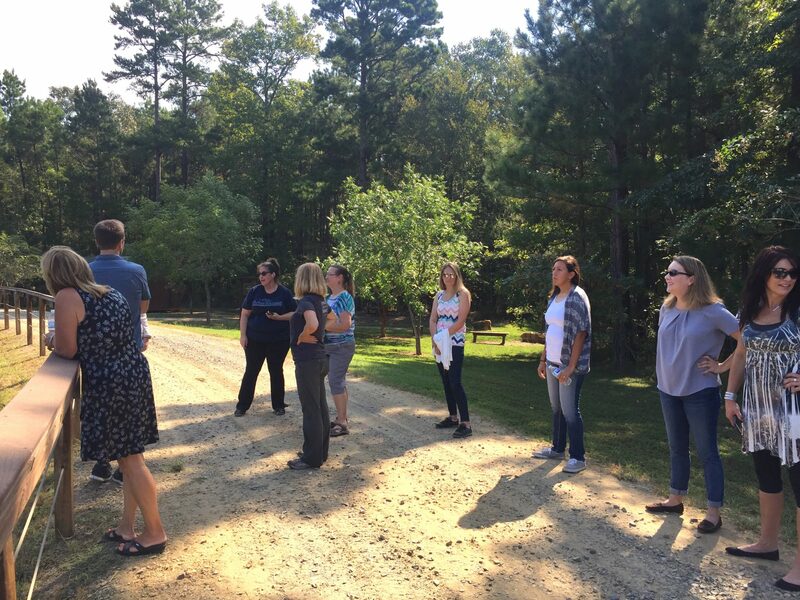 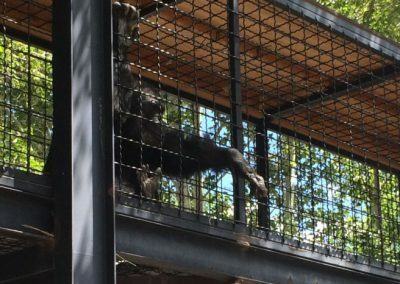 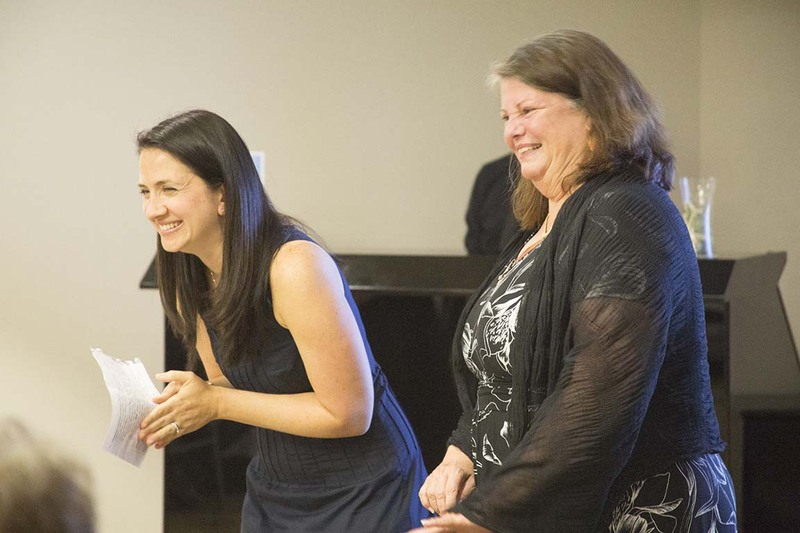 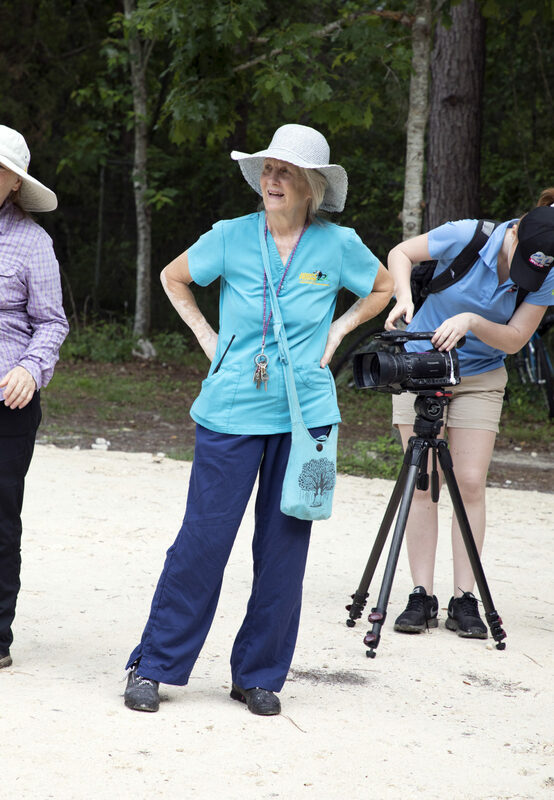 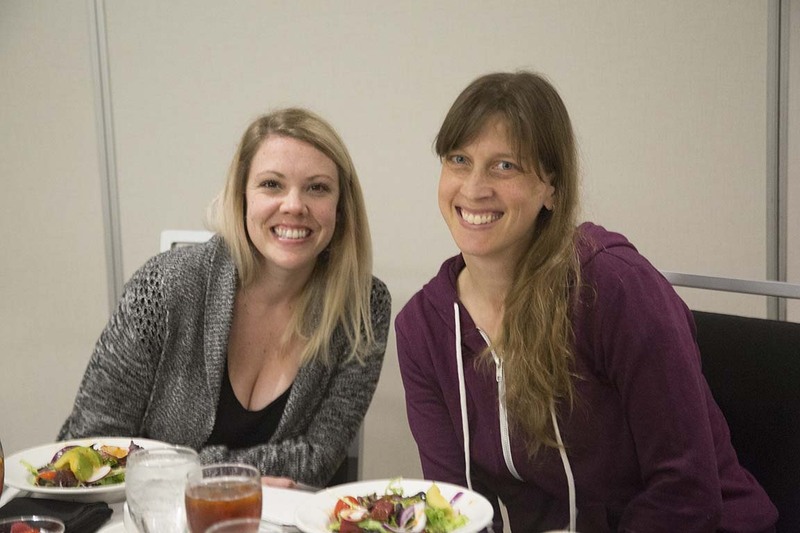 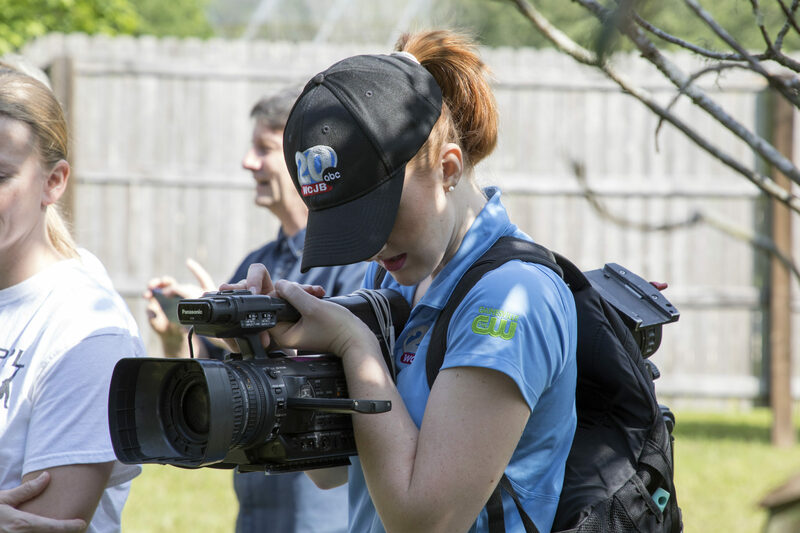 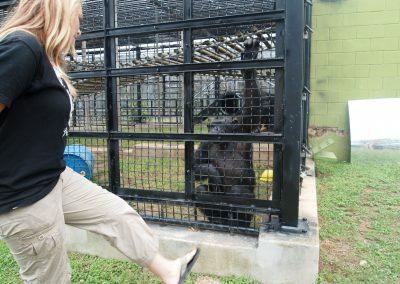 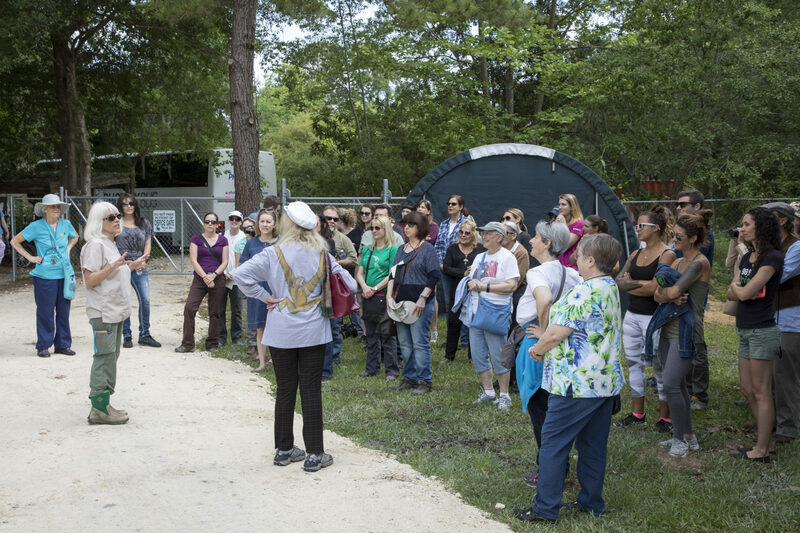 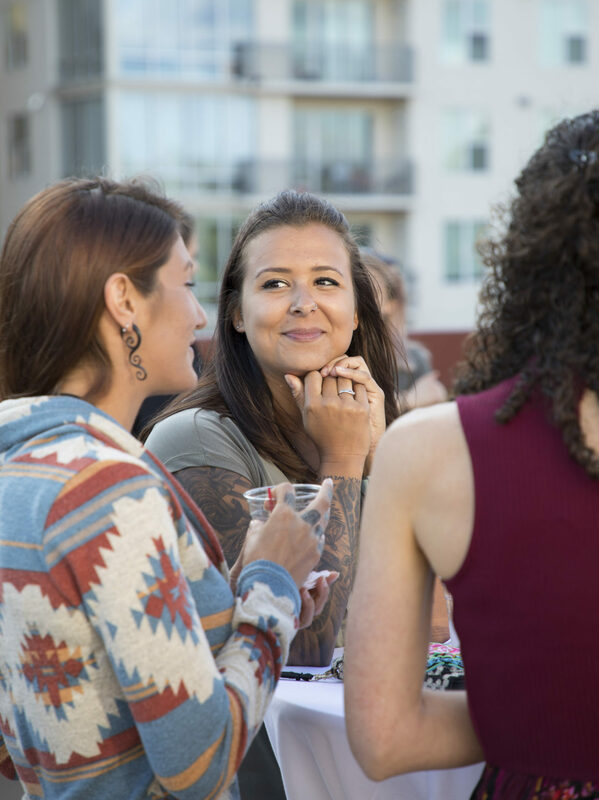 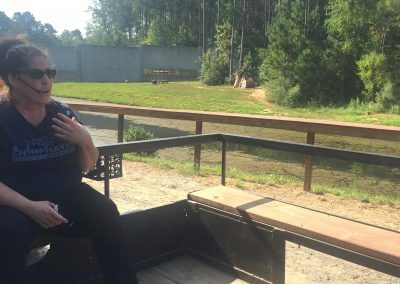 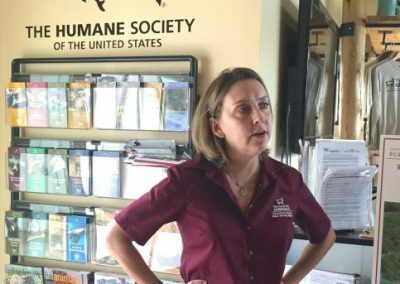 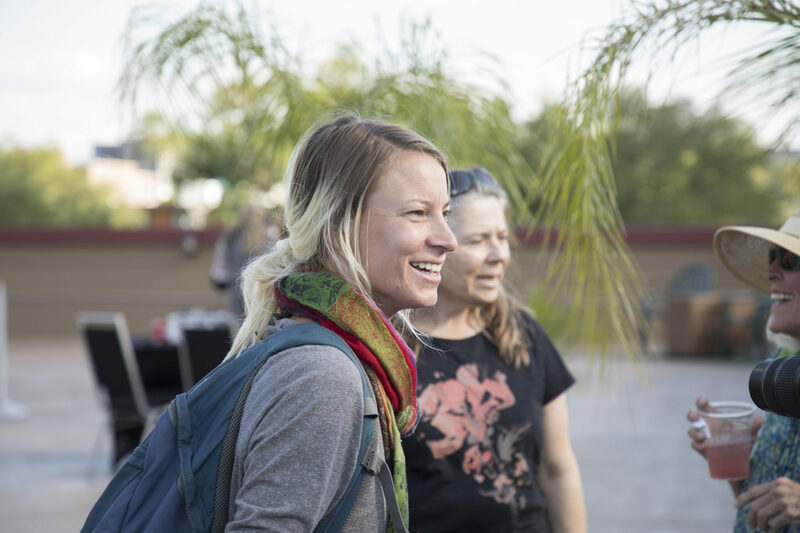 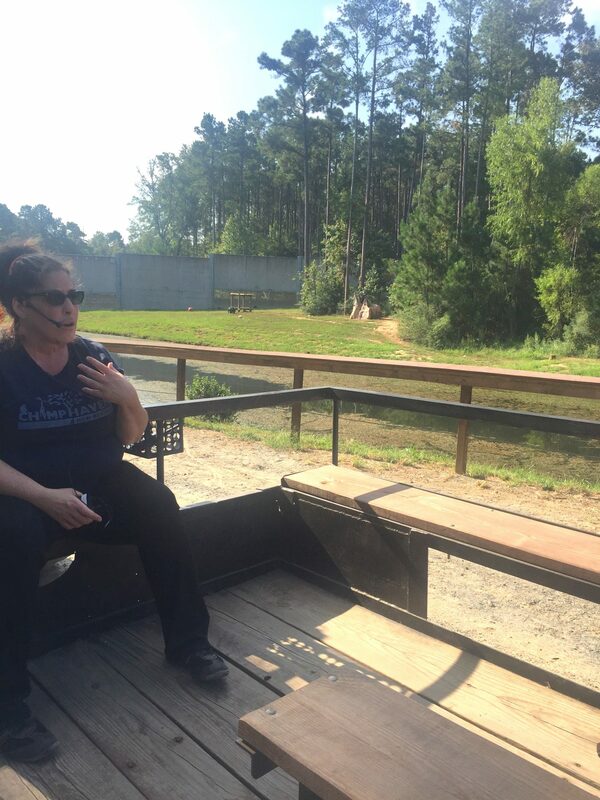 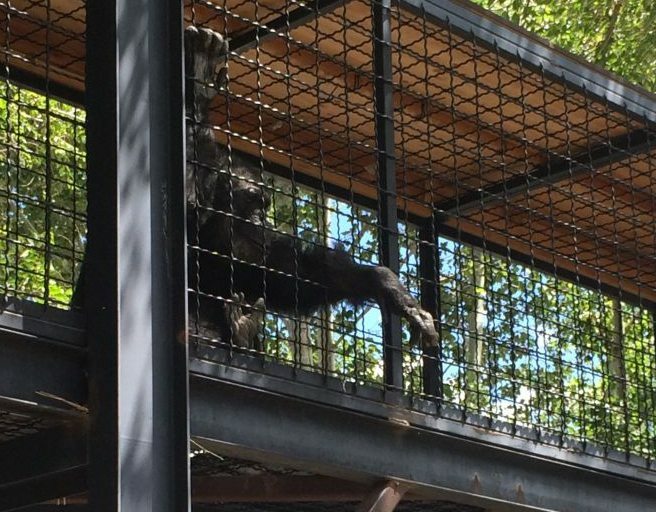 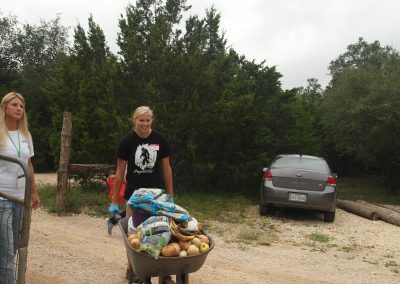 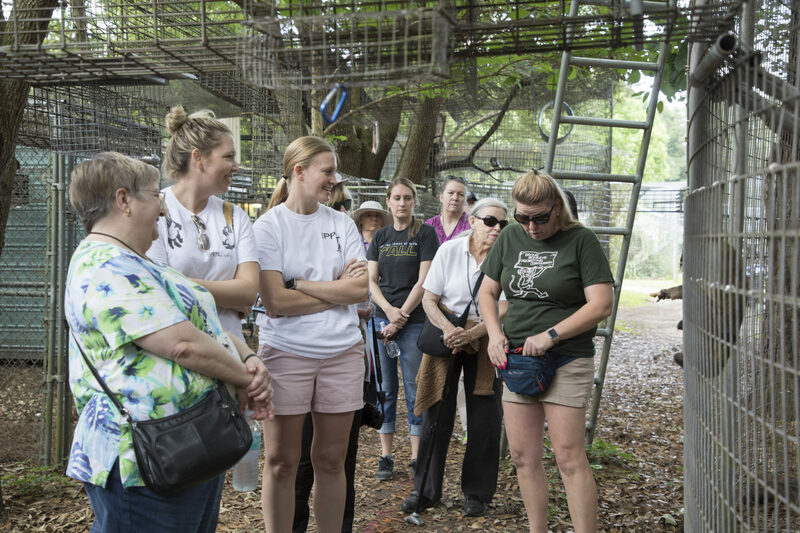 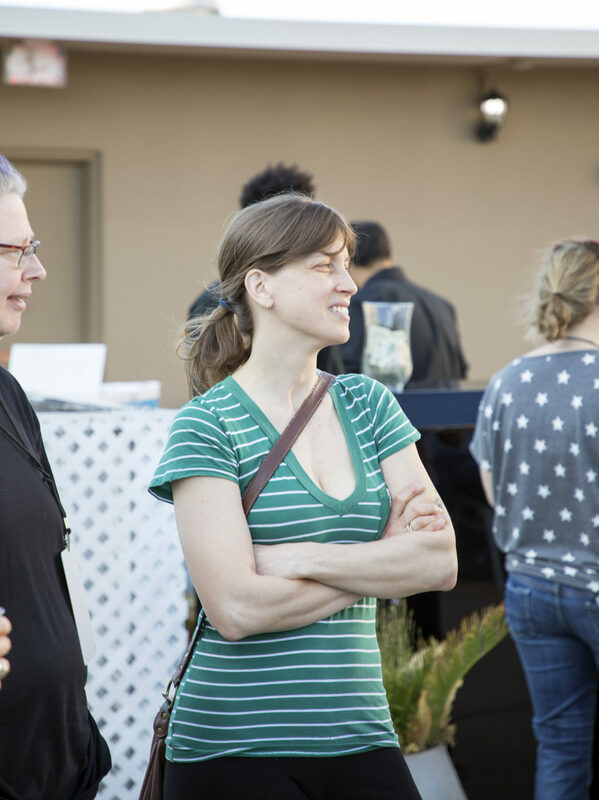 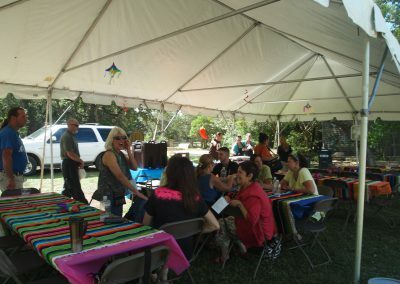 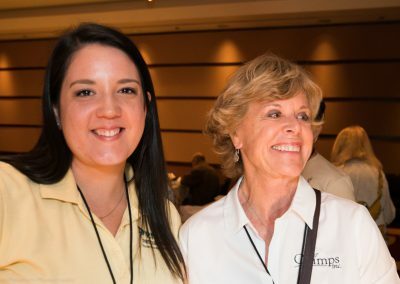 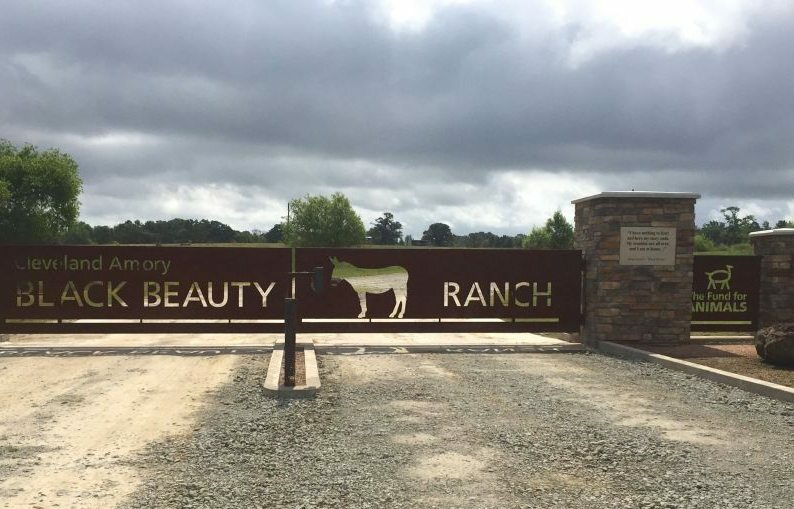 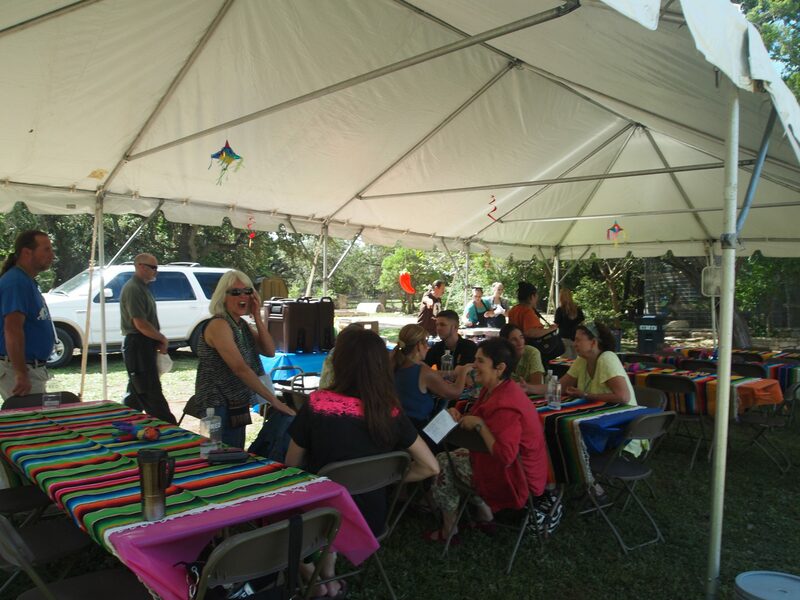 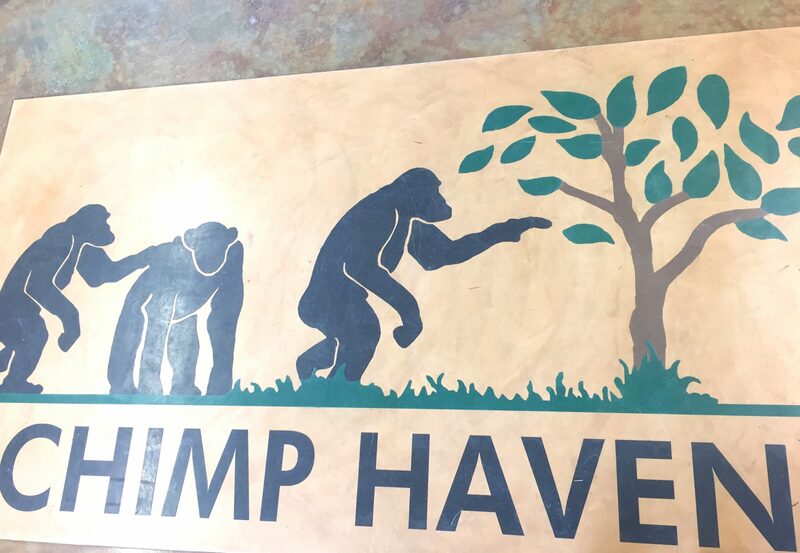 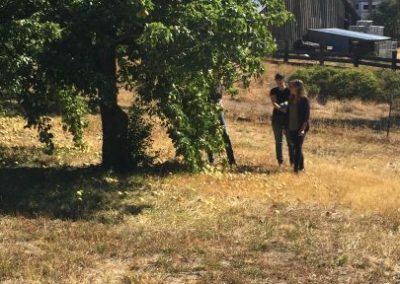 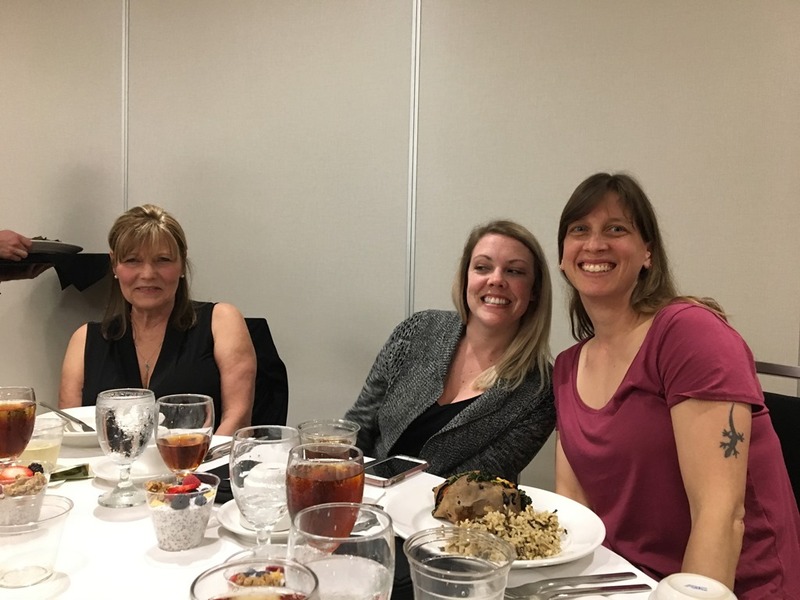 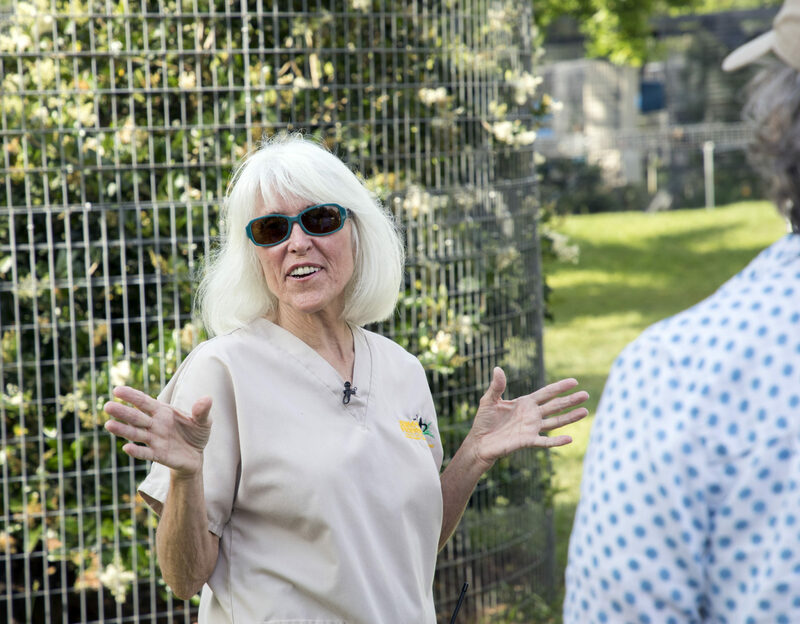 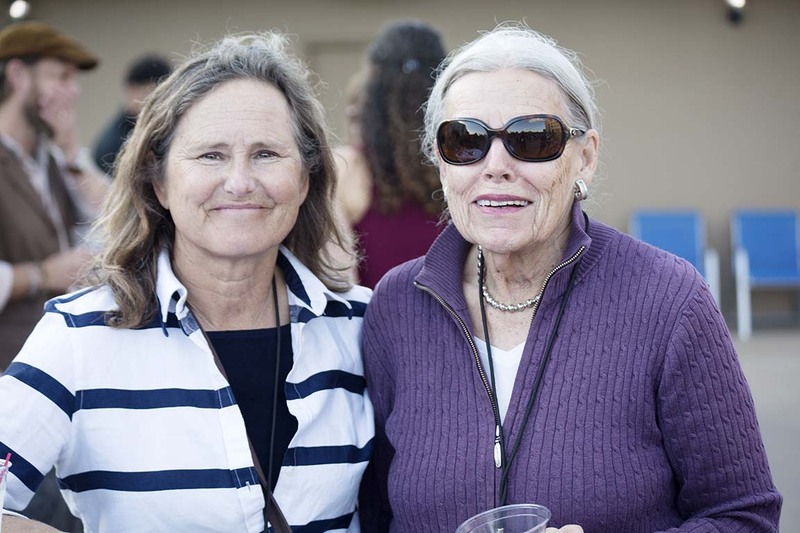 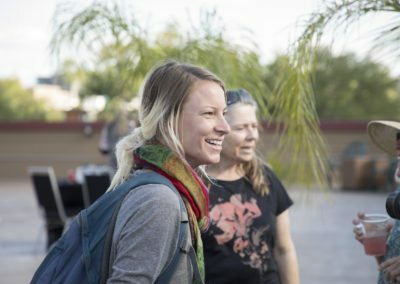 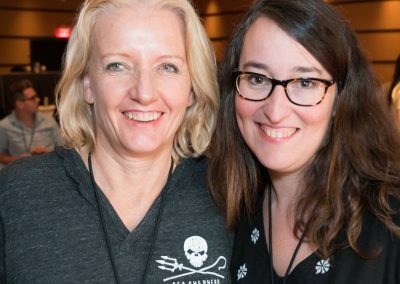 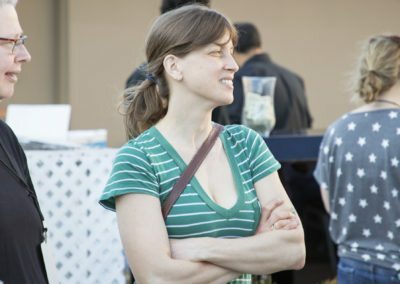 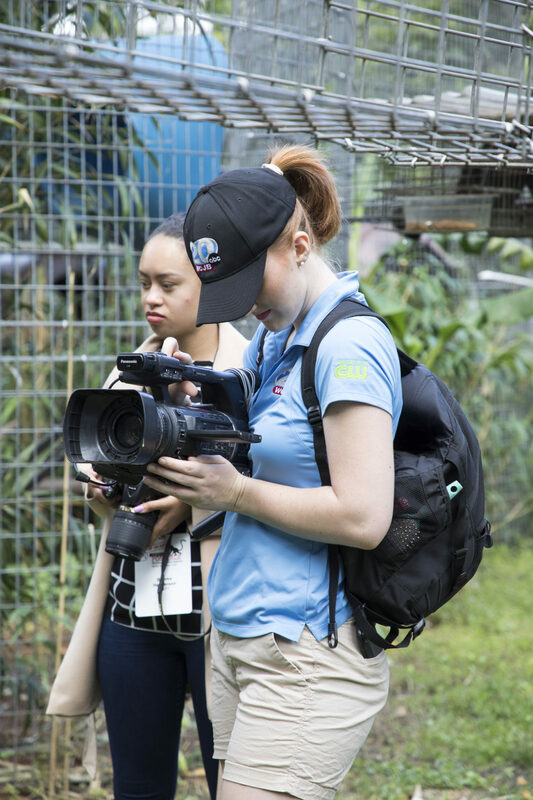 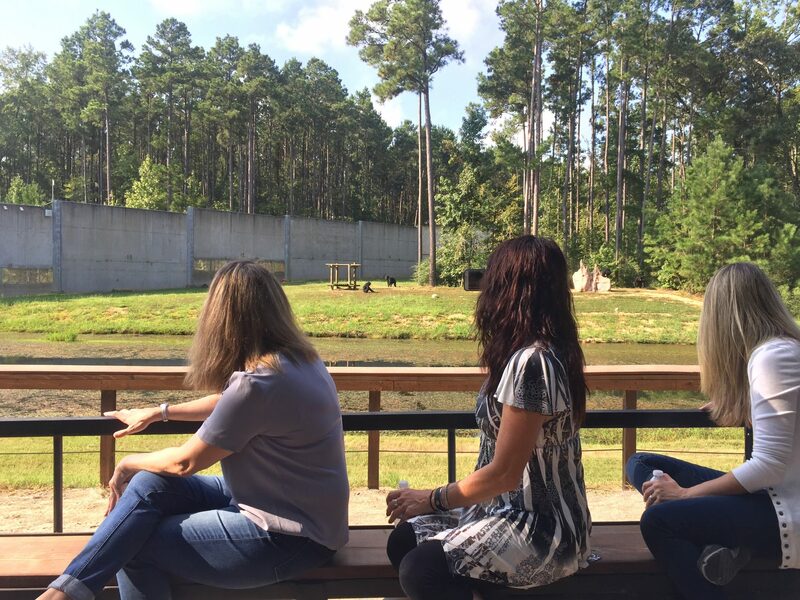 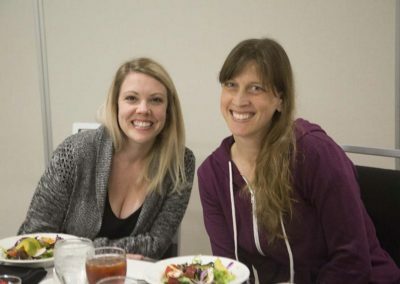 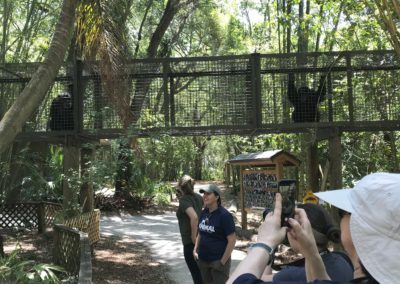 Erika Fleury, NAPSA’s Program Manager, and Lesley Day, President of Chimps Inc.
Interim Director Noelle Almrud explains Black Beauty Ranch’s plans for a new Home sweet home. 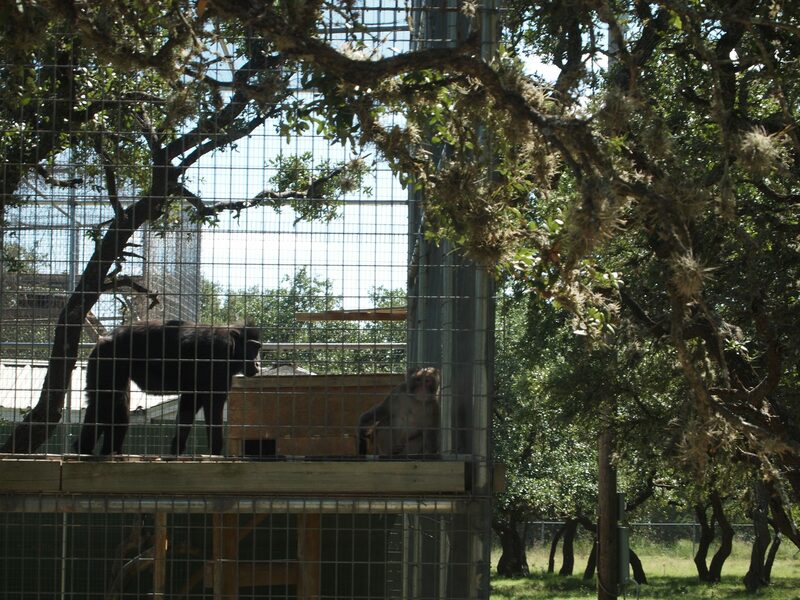 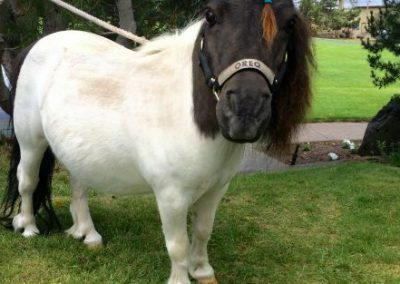 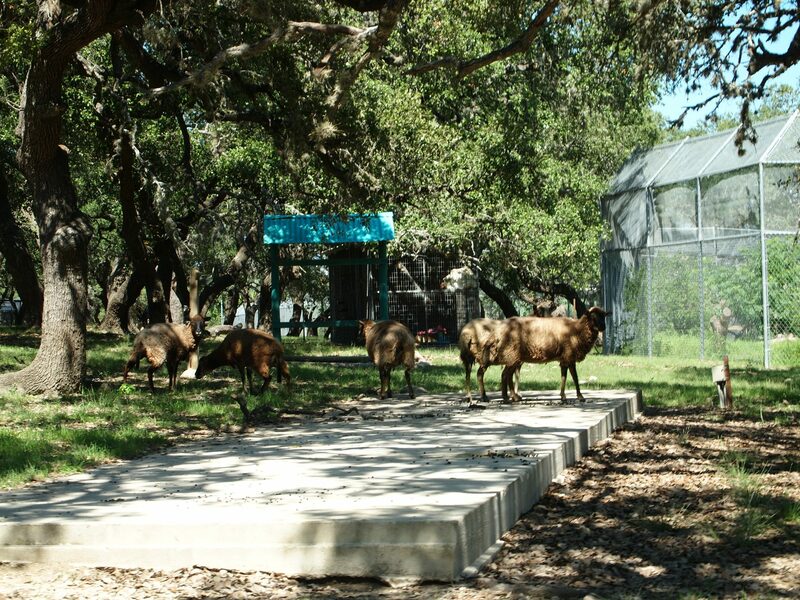 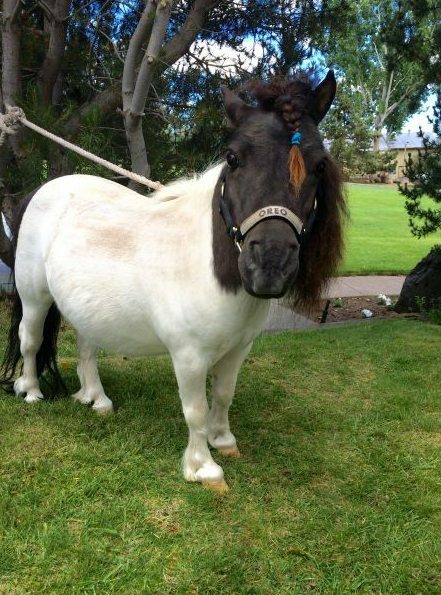 Black Beauty Ranch doesn’t care for only primates – there were many, many rescued horses. 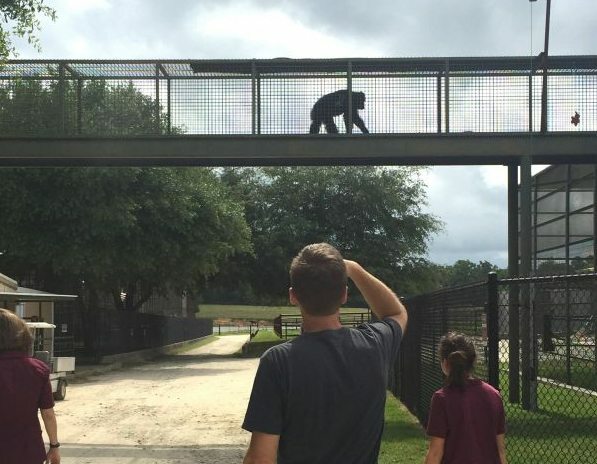 Chimpanzee Midge checks out the NAPSA crew upon arrival. 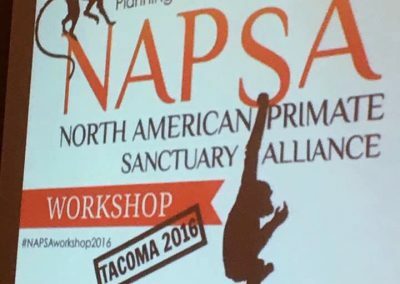 NAPSA took a slight break in the equine area. 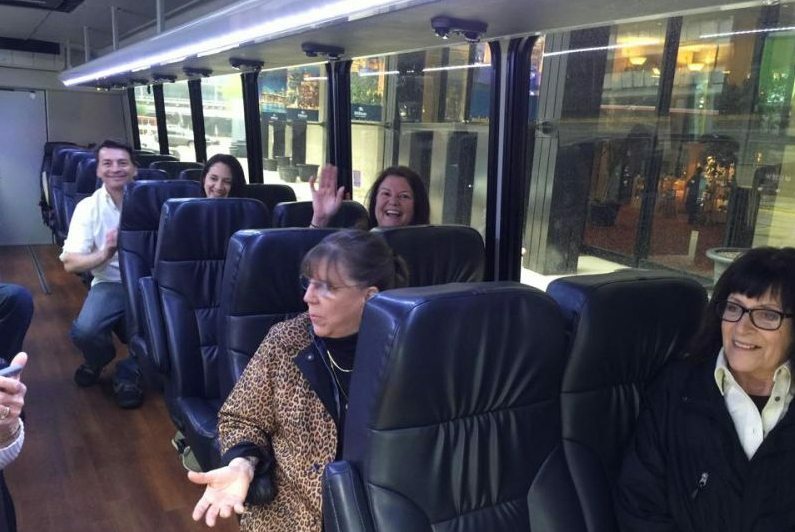 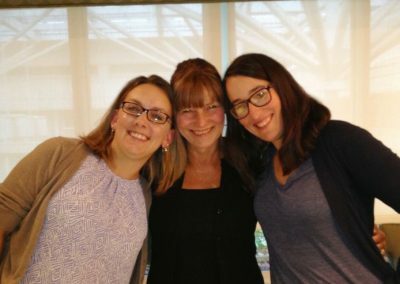 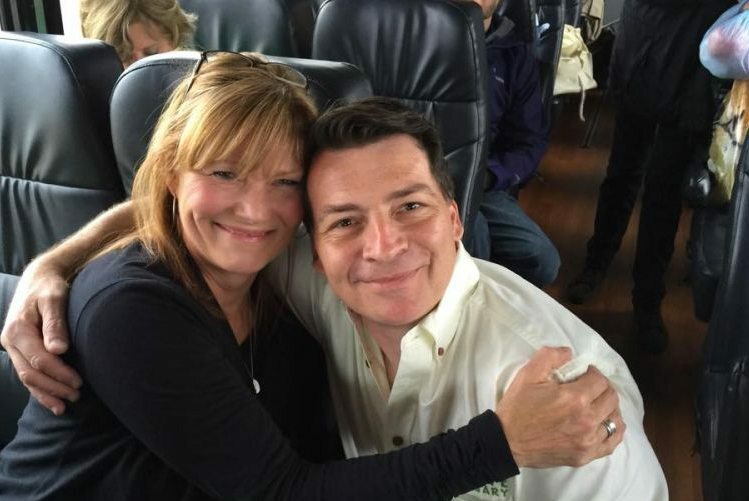 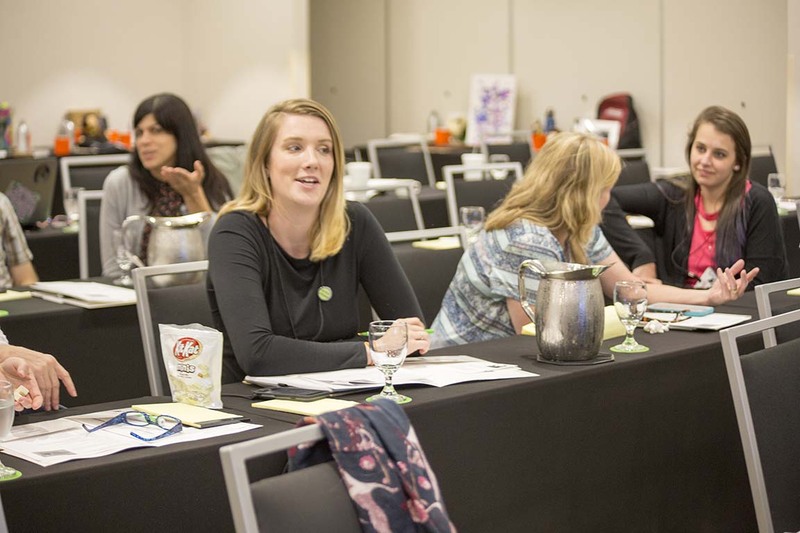 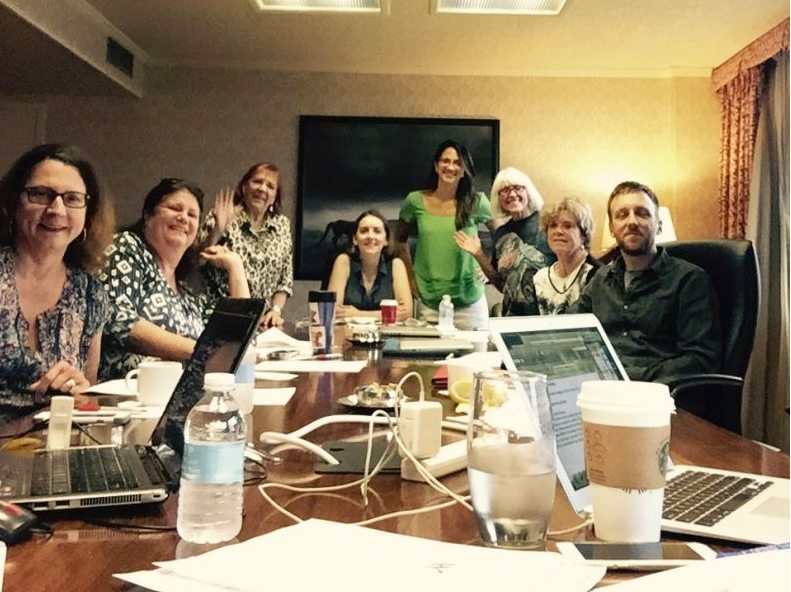 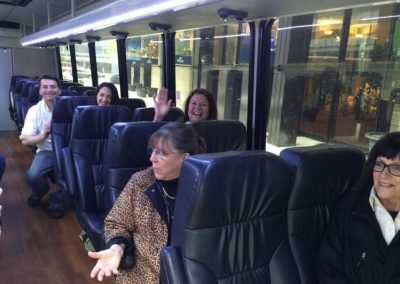 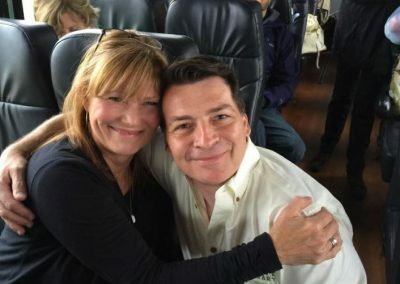 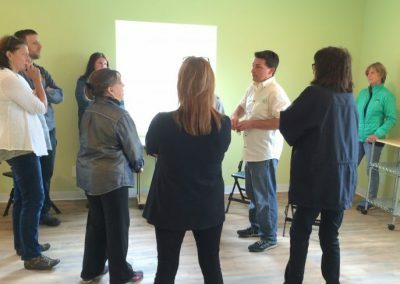 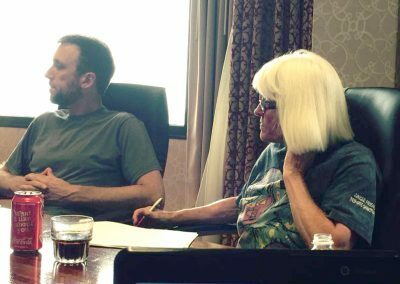 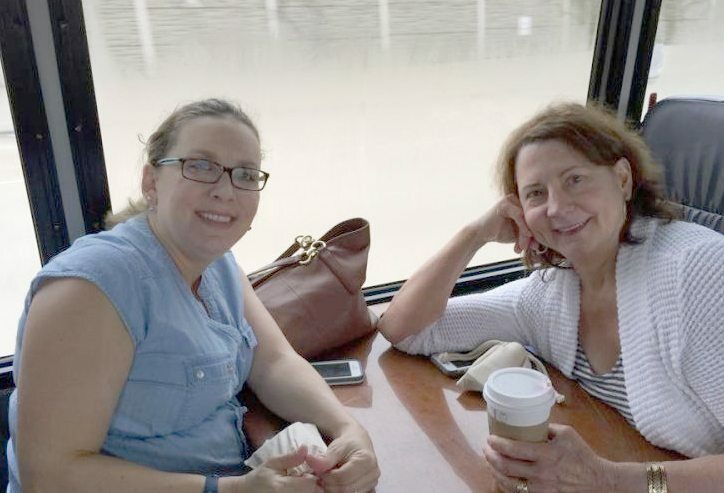 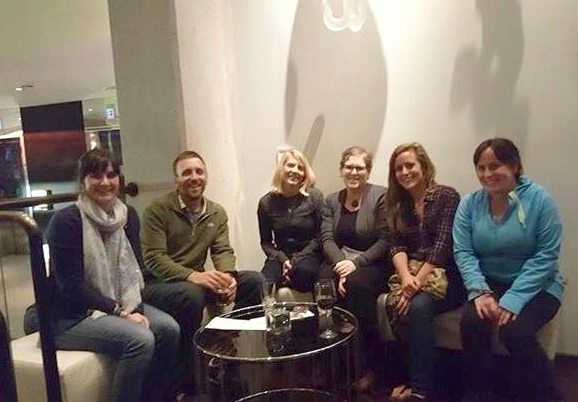 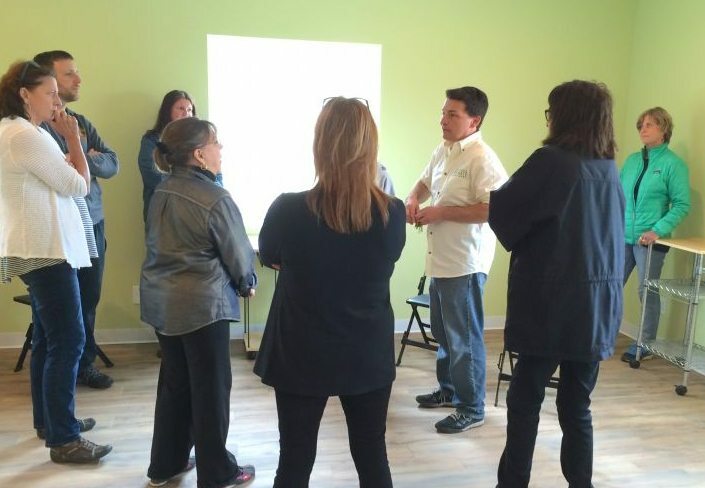 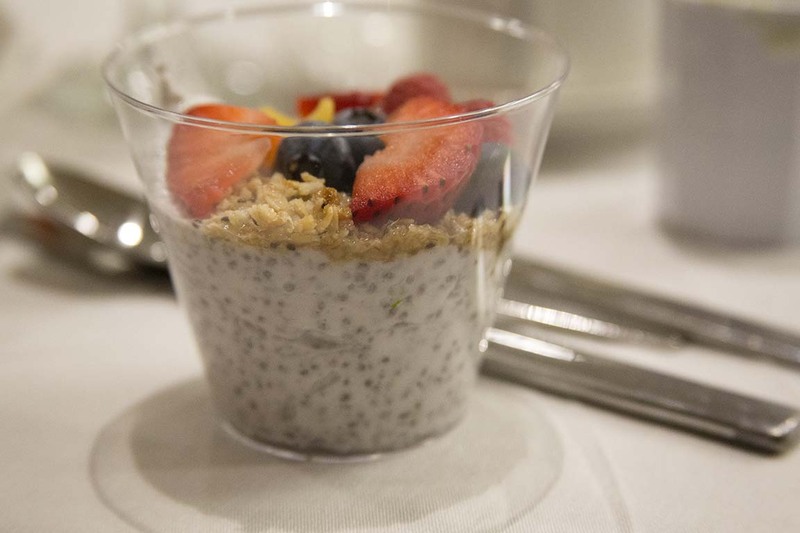 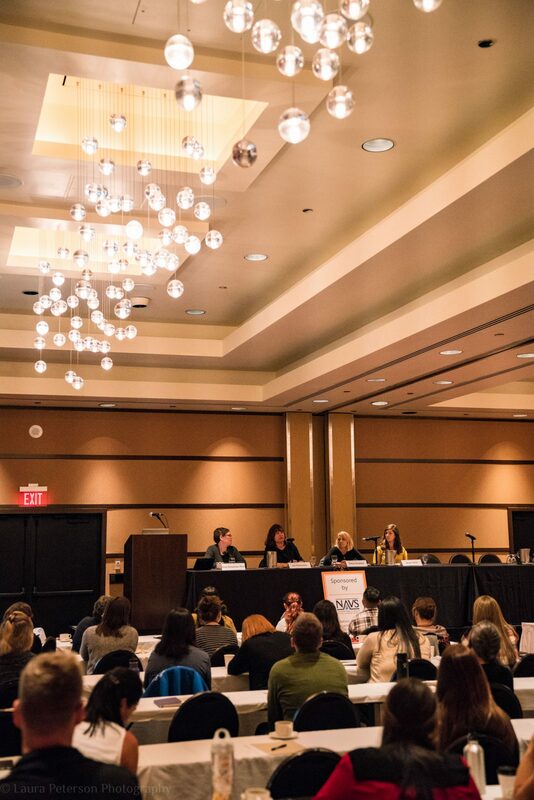 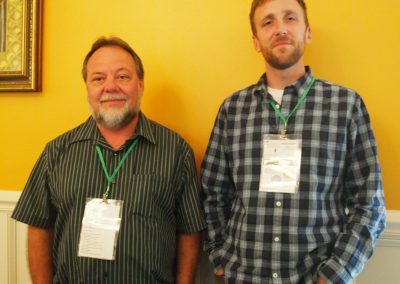 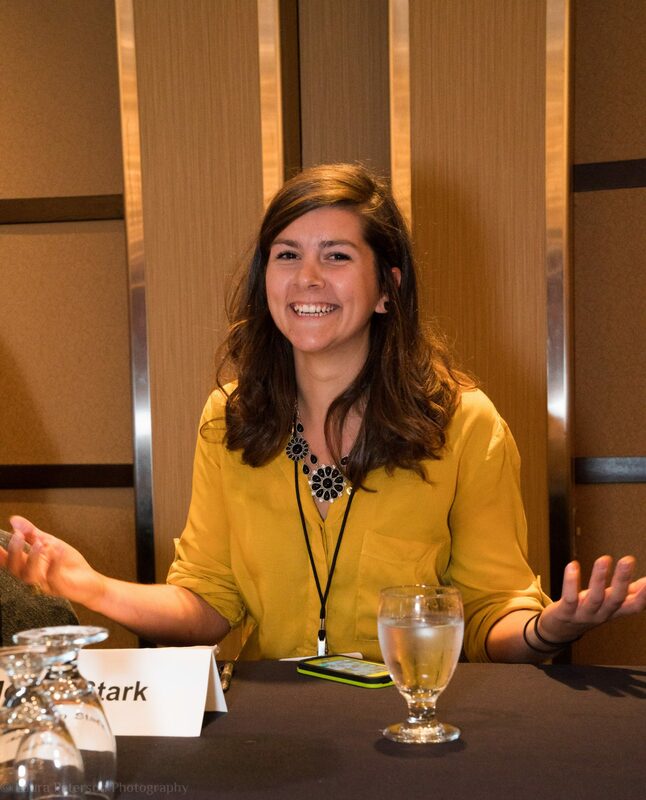 In May 2015, our Steering Committee met for an in-person retreat in Chicago. 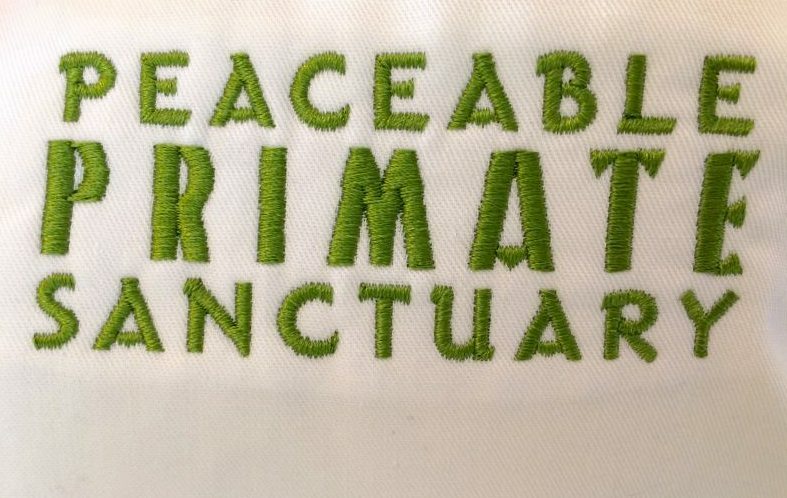 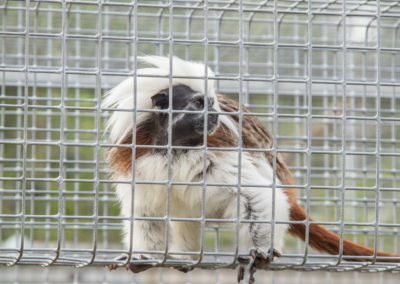 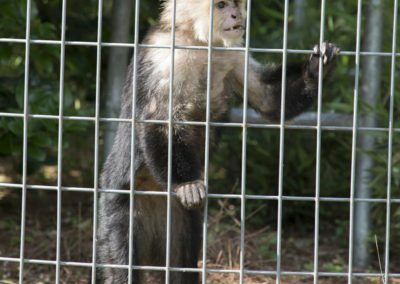 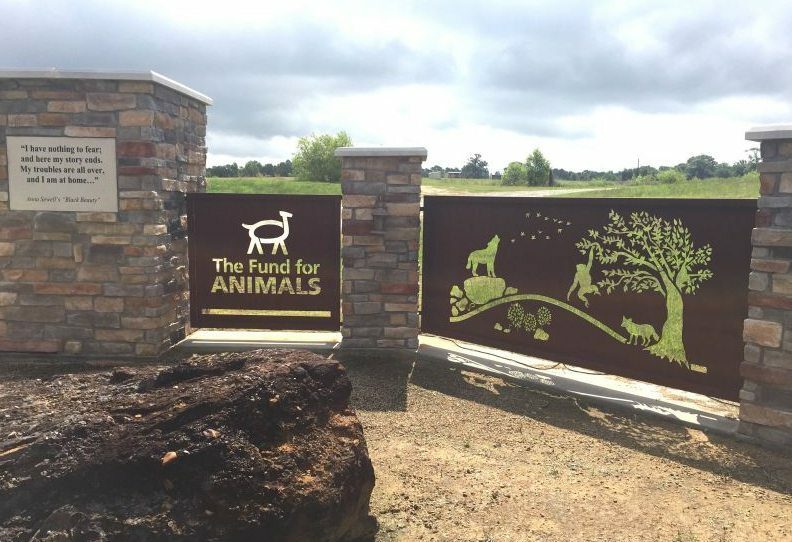 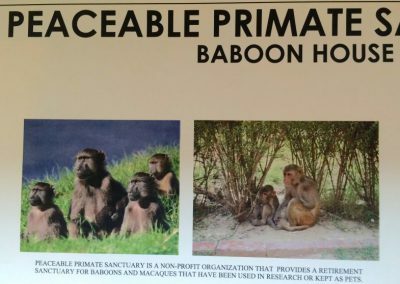 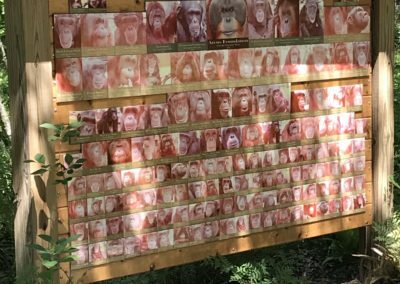 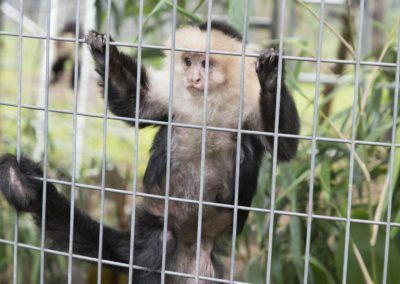 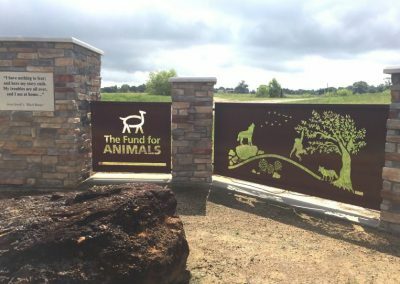 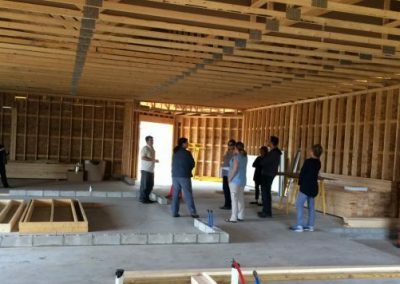 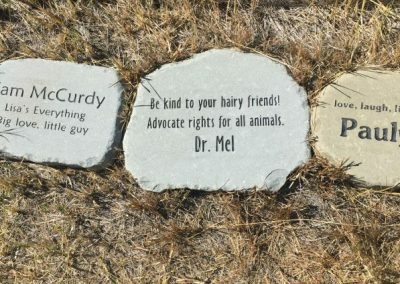 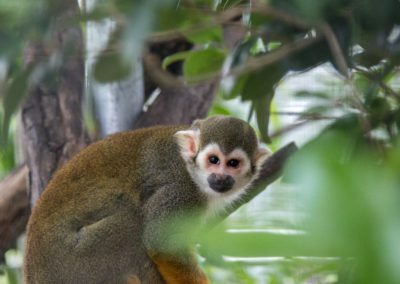 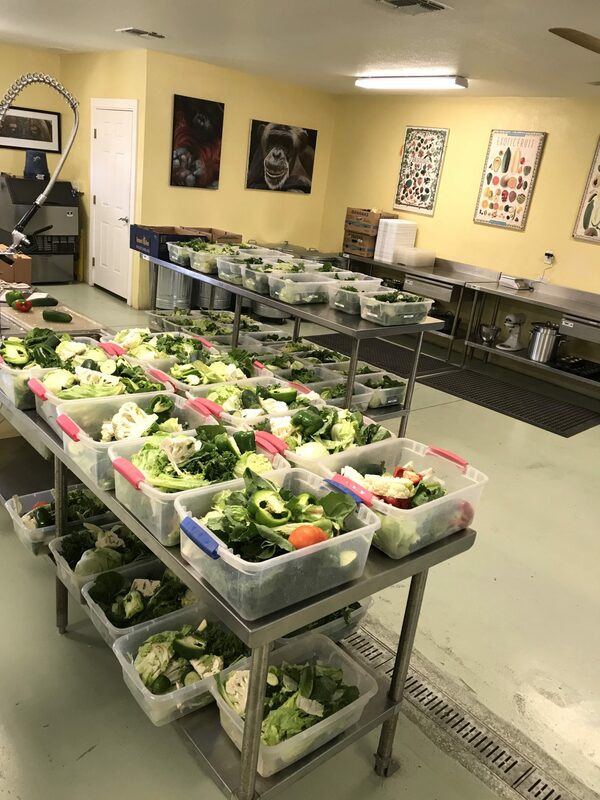 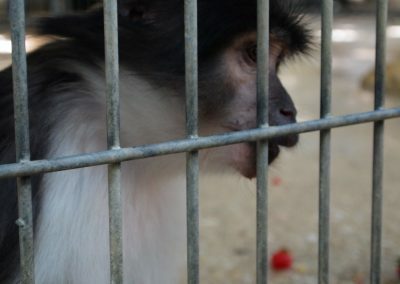 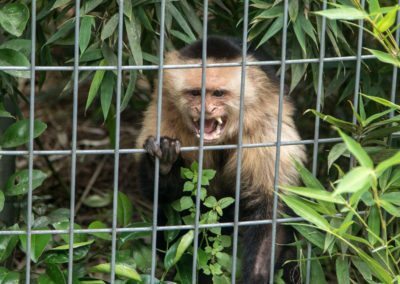 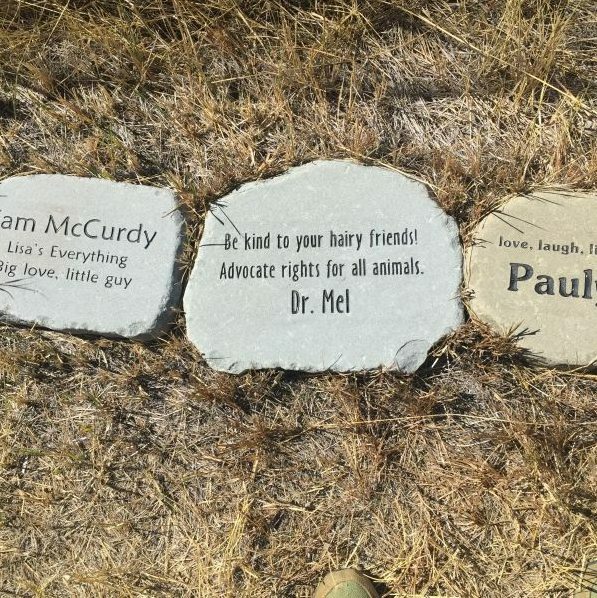 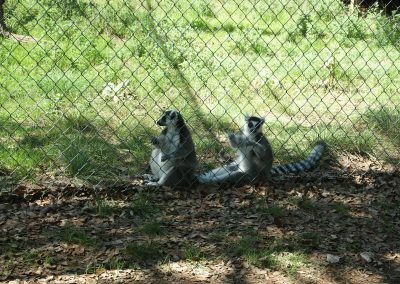 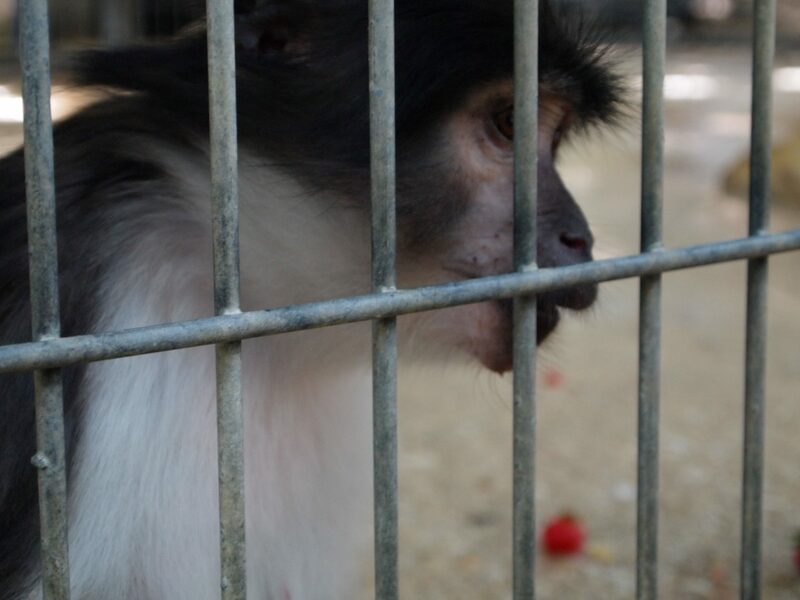 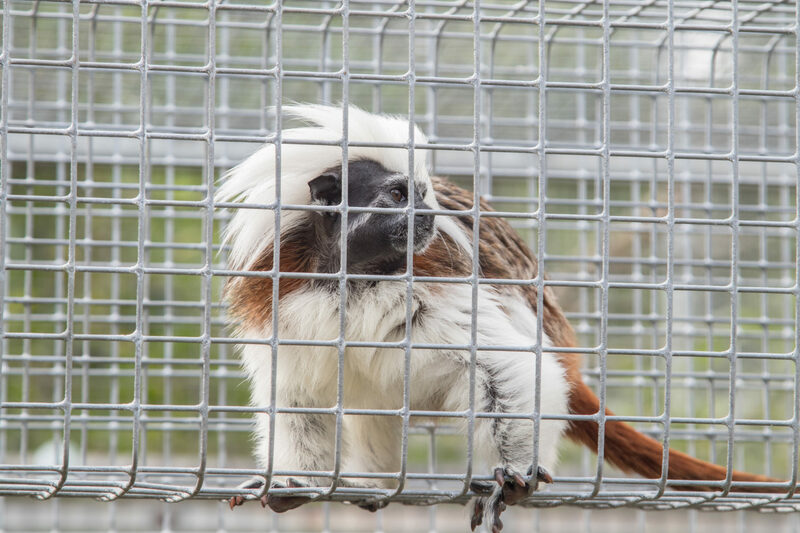 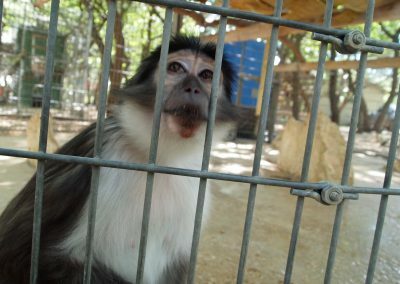 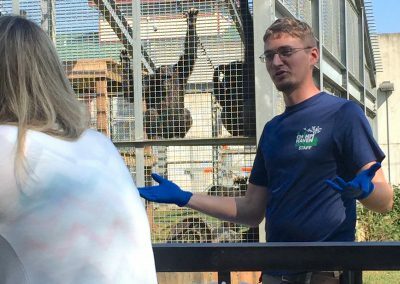 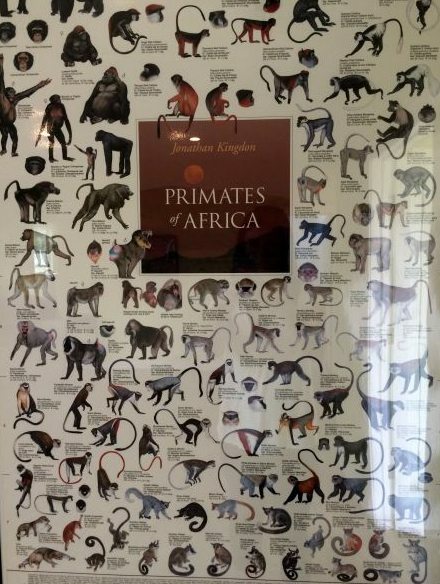 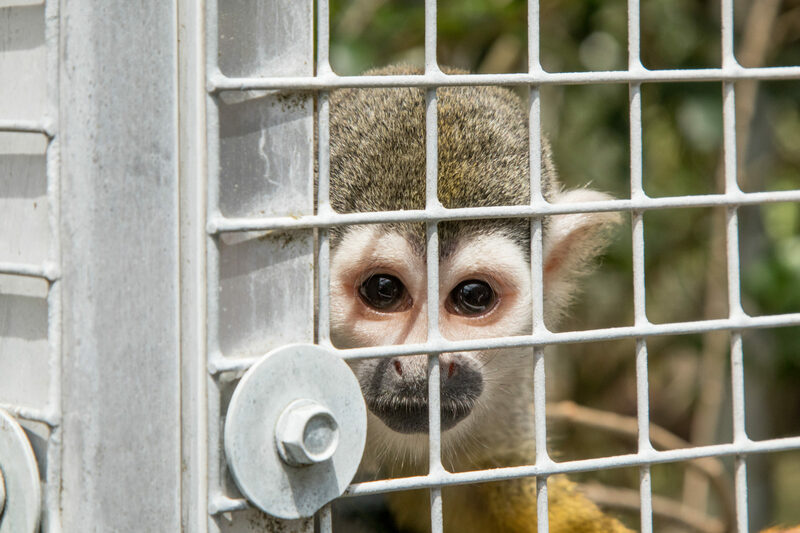 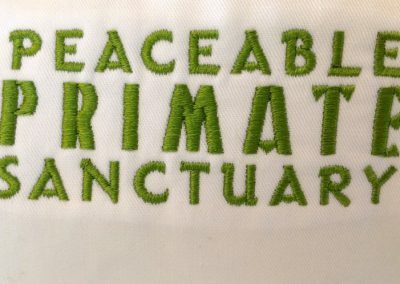 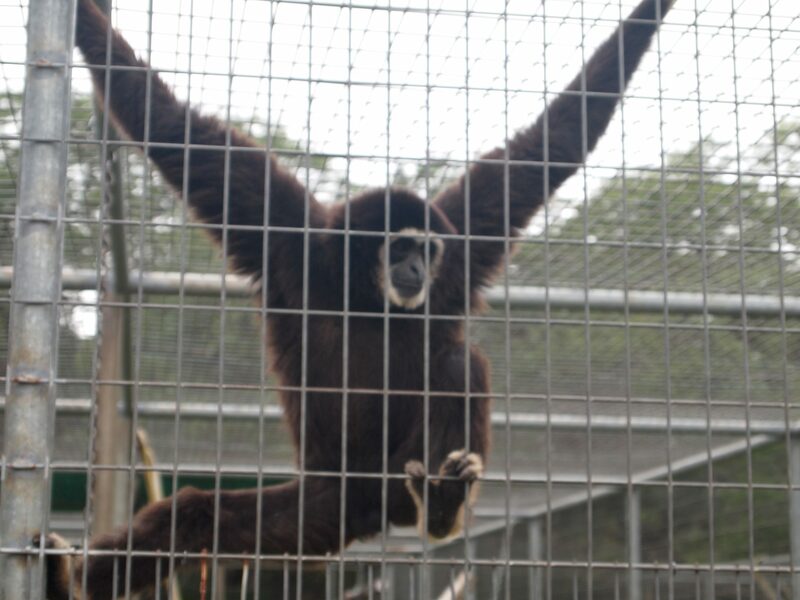 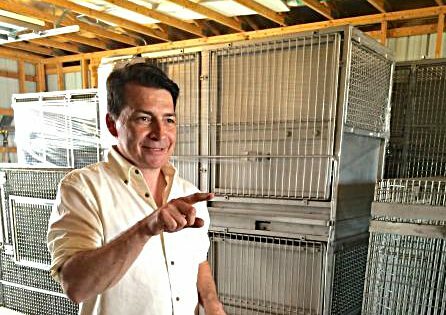 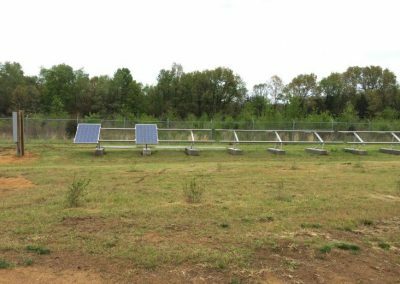 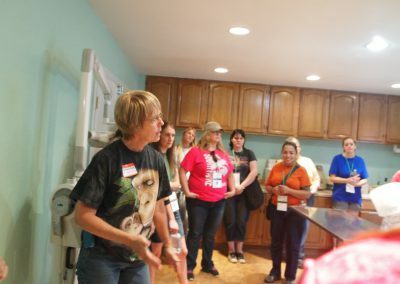 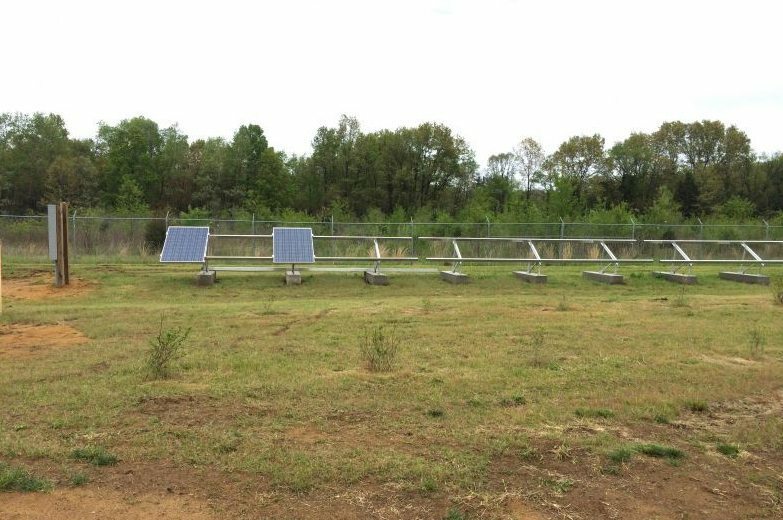 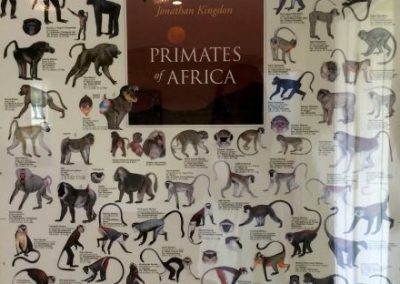 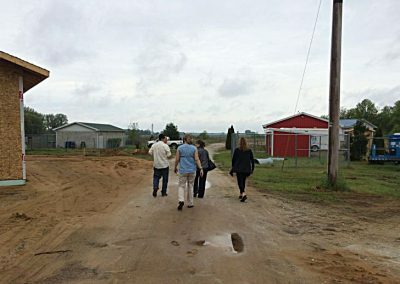 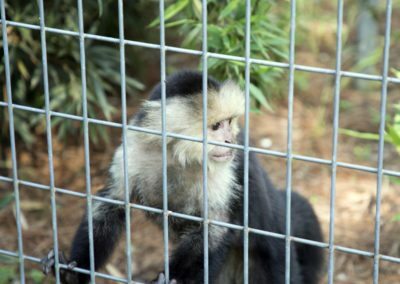 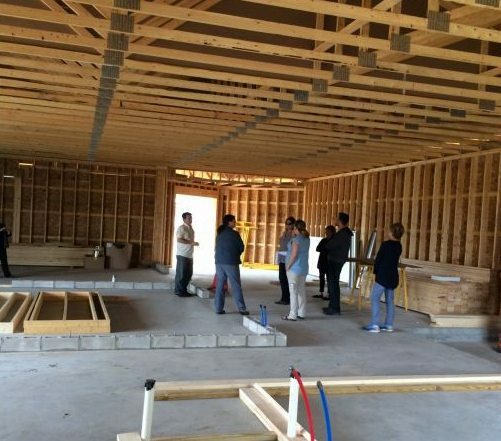 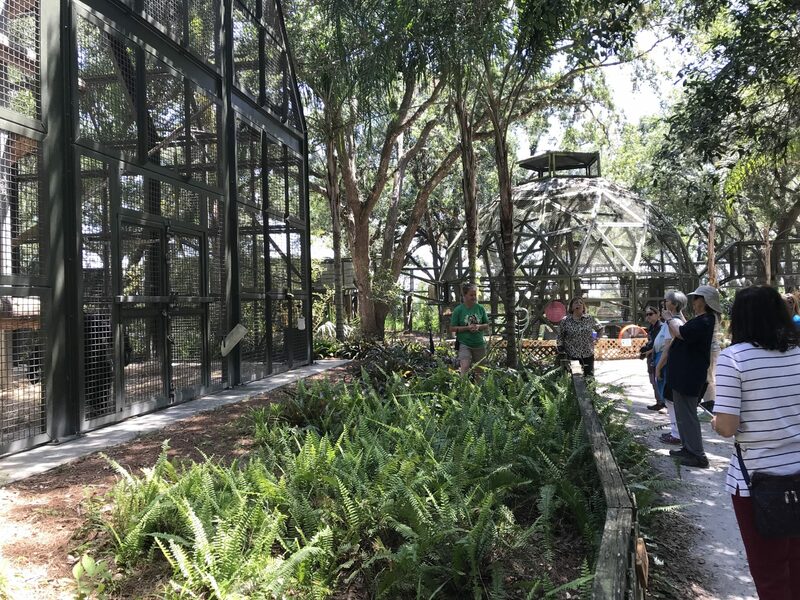 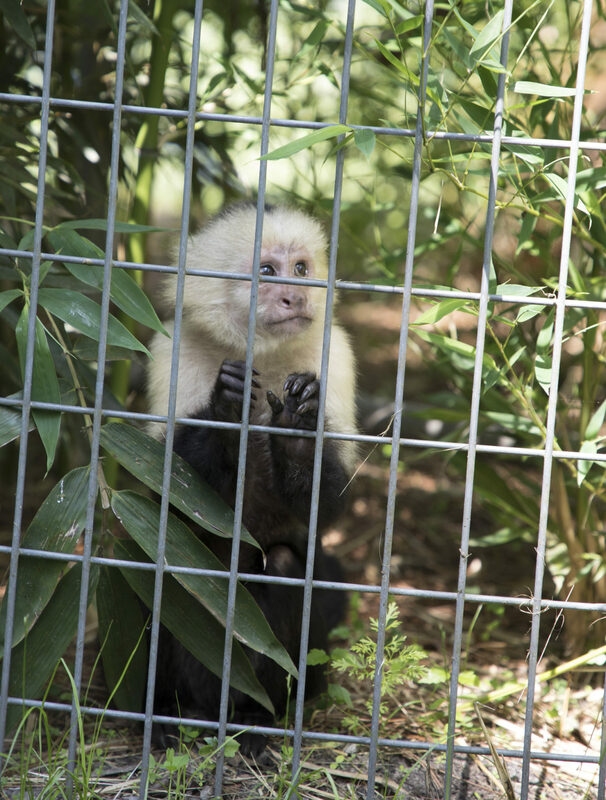 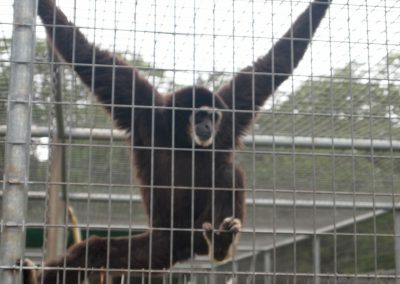 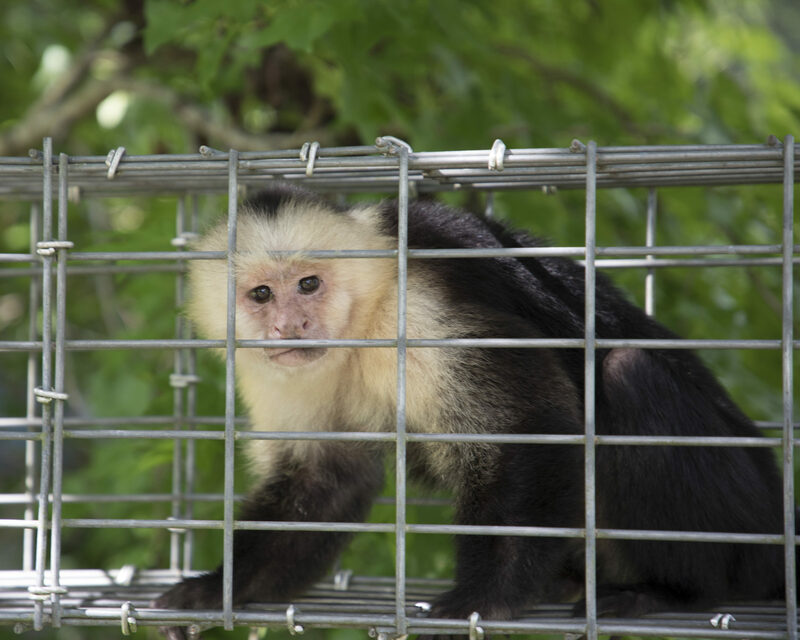 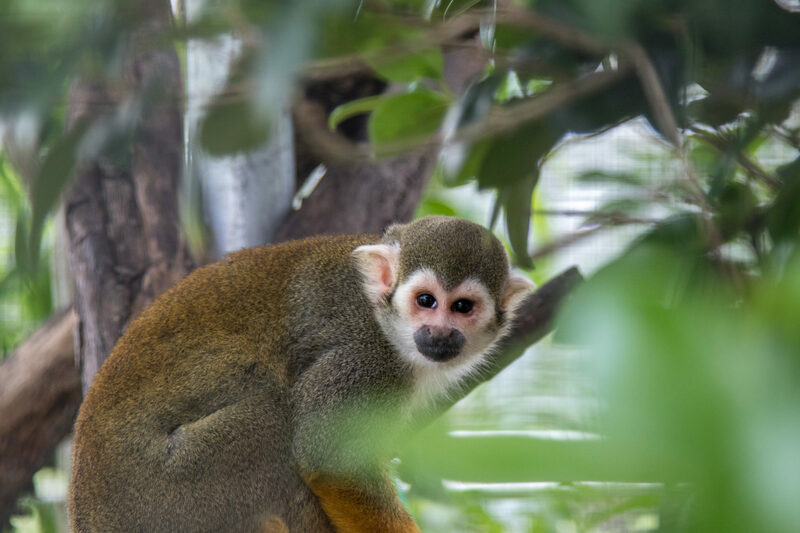 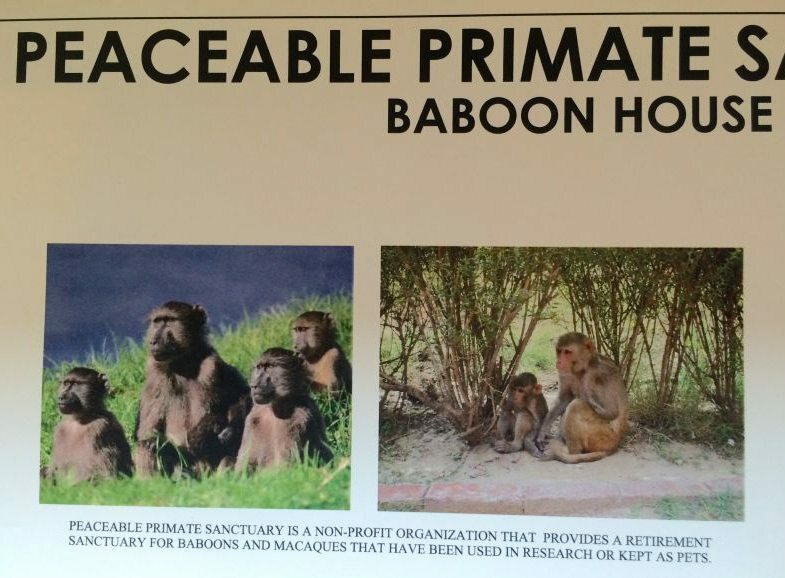 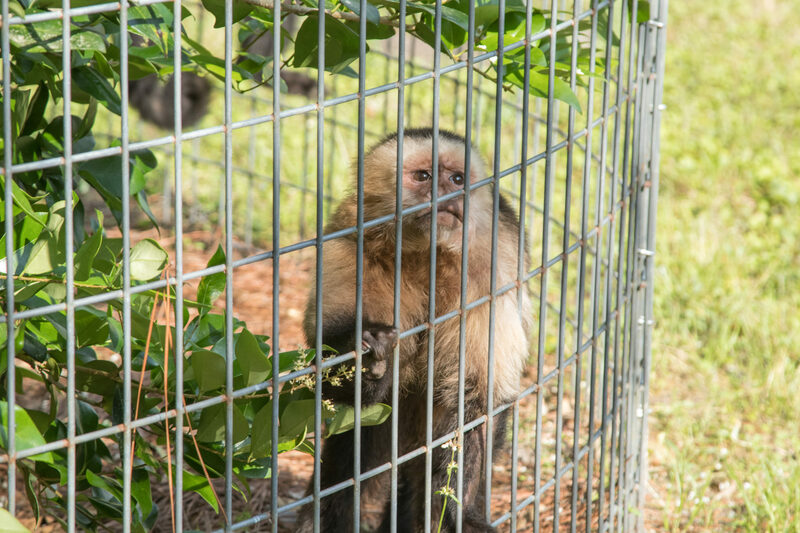 While we were there, we toured the grounds of one of Peaceable Primate Sanctuary, then an Introductory Member who was under construction in Winamac, Indiana. 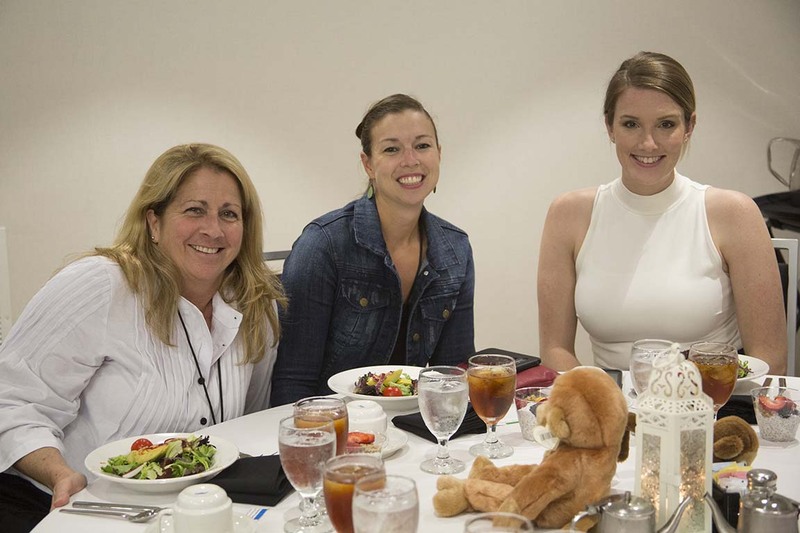 Noelle Almrud’s baby will be the best dressed kid on the block! 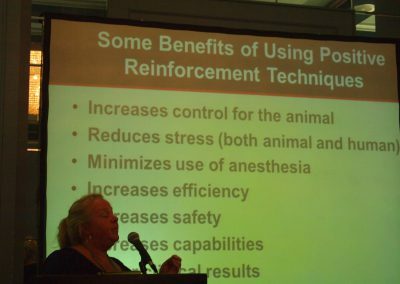 Interesting facts from Steve Ross. Standing room only – and there were some great questions for the speakers! 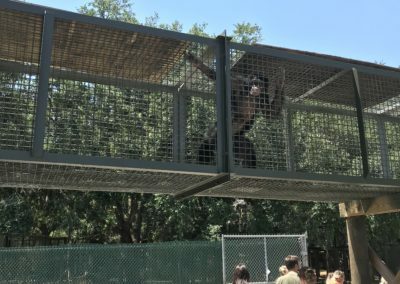 Mini Oreo almost stole the whole show during our tour of Chimps Inc.! 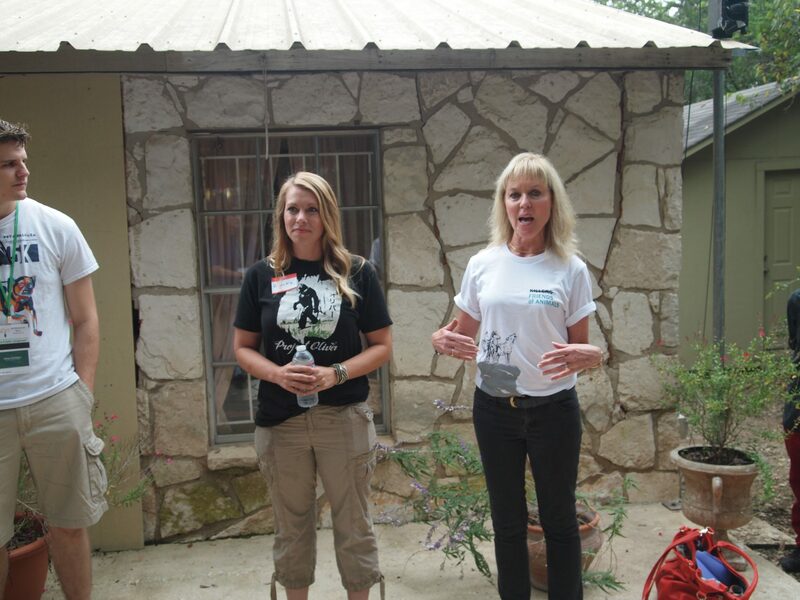 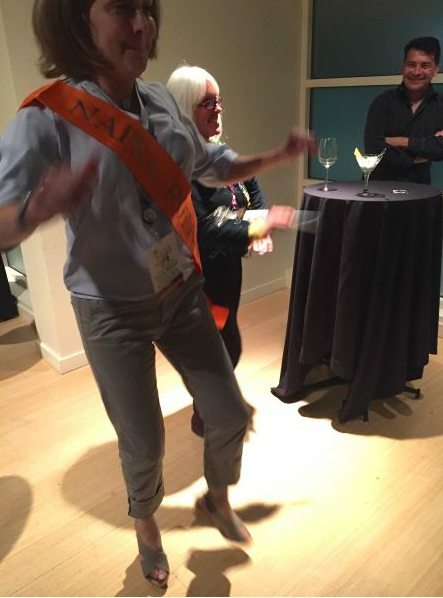 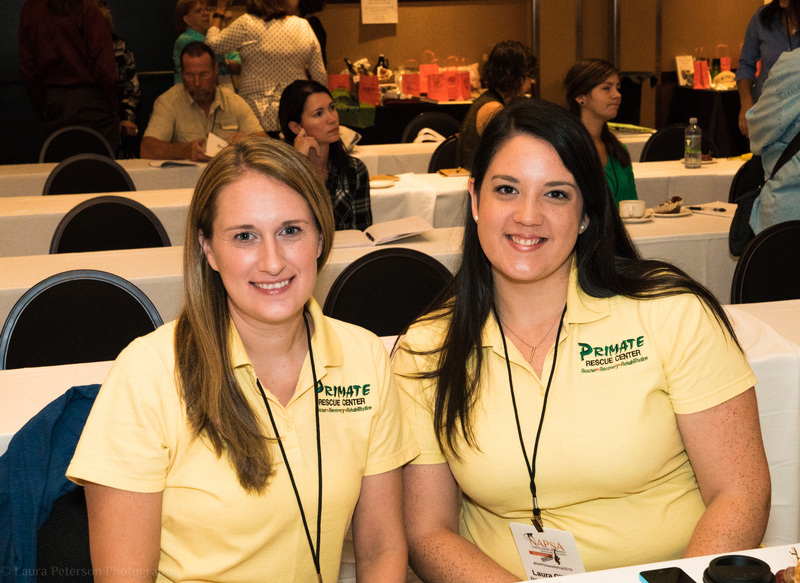 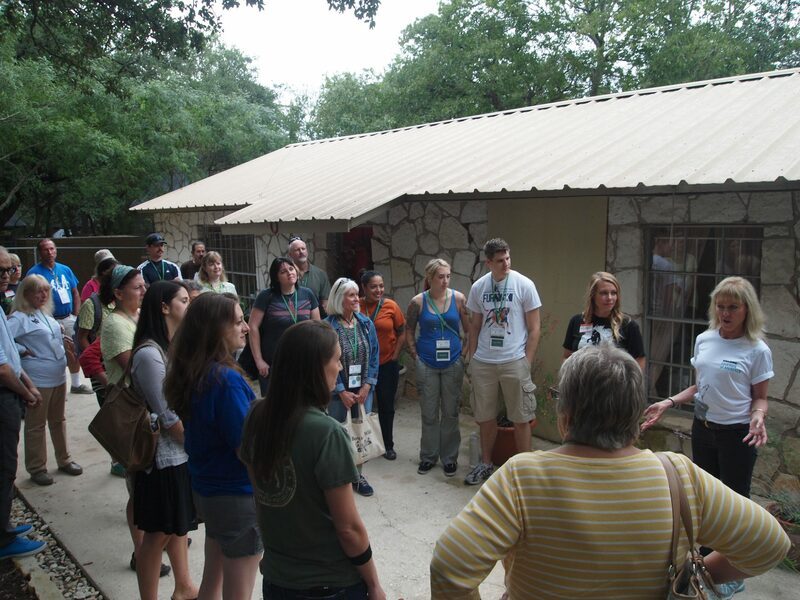 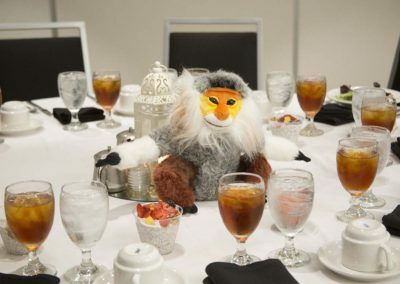 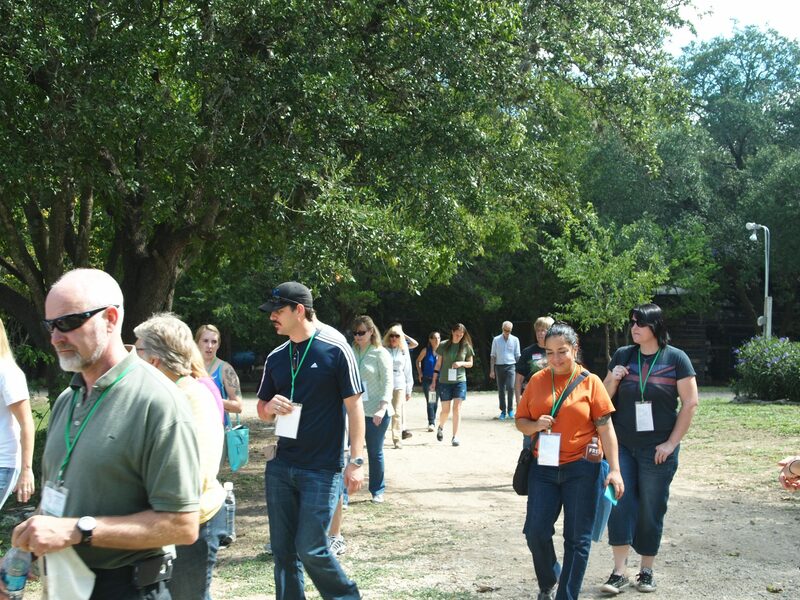 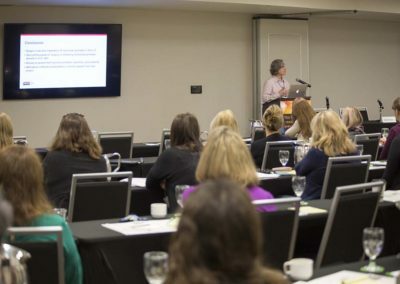 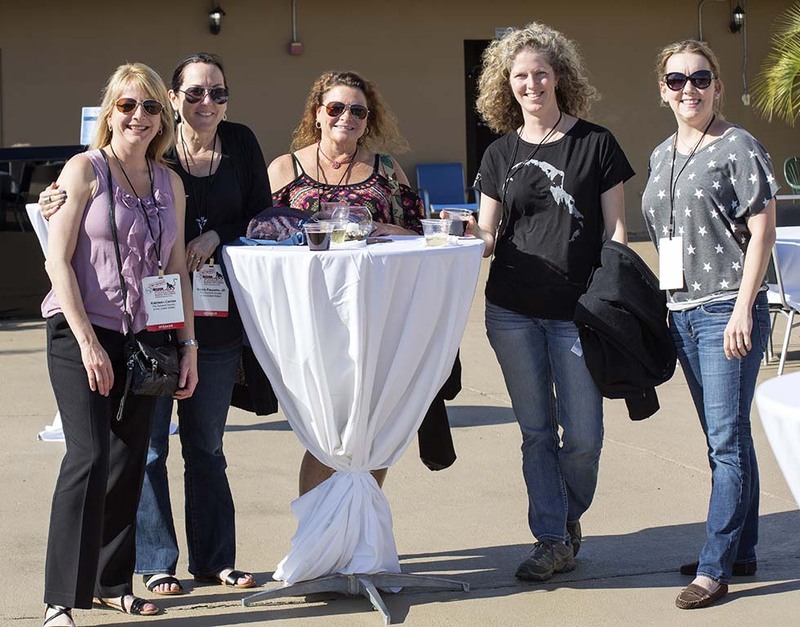 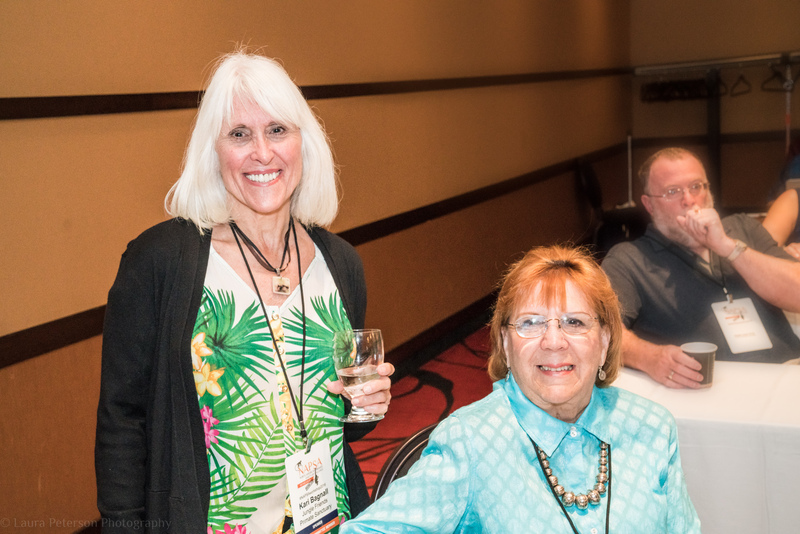 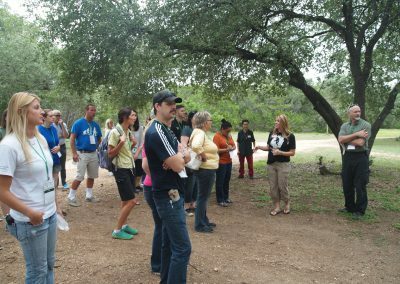 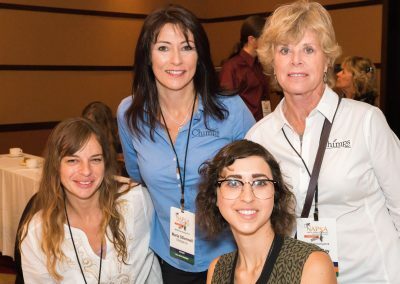 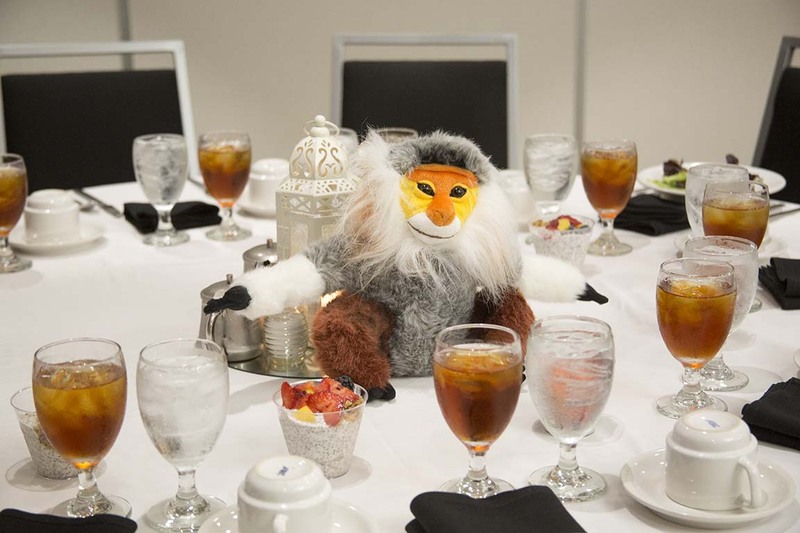 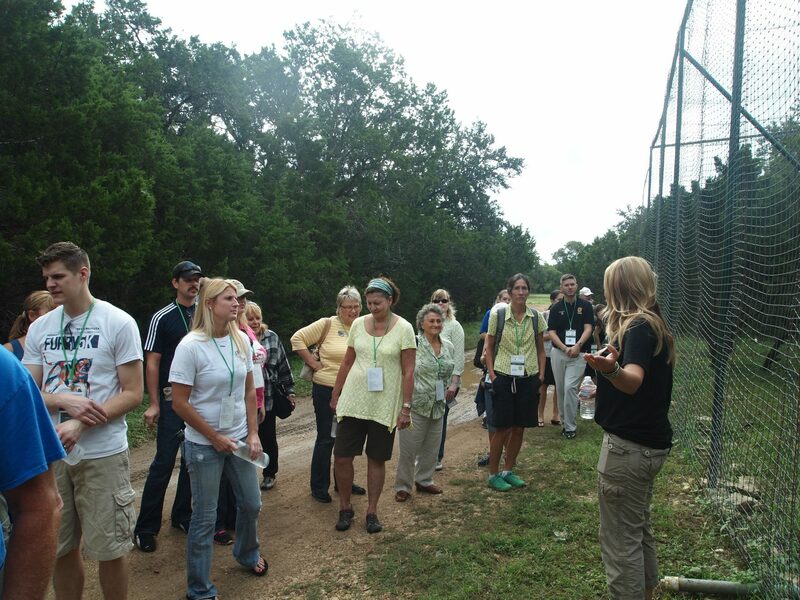 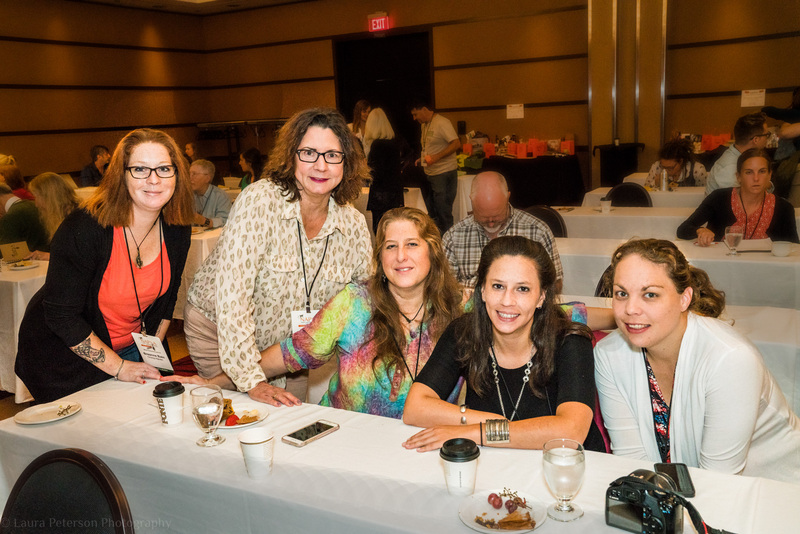 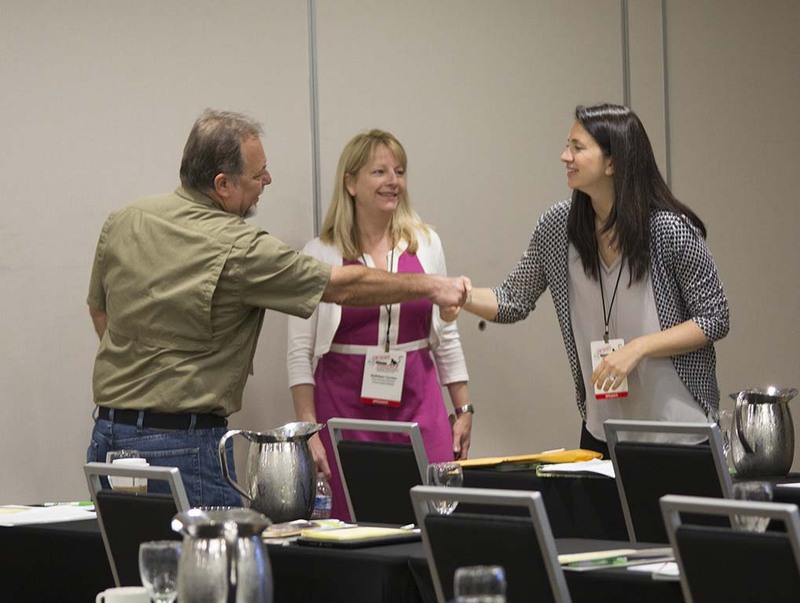 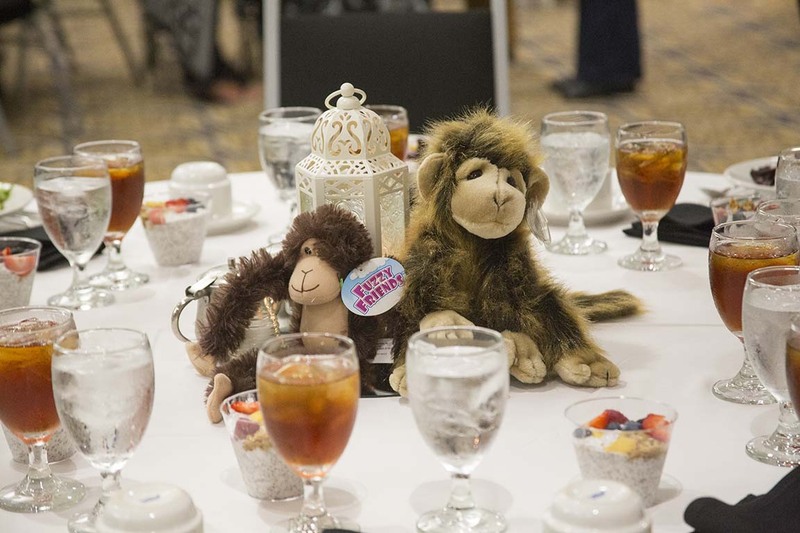 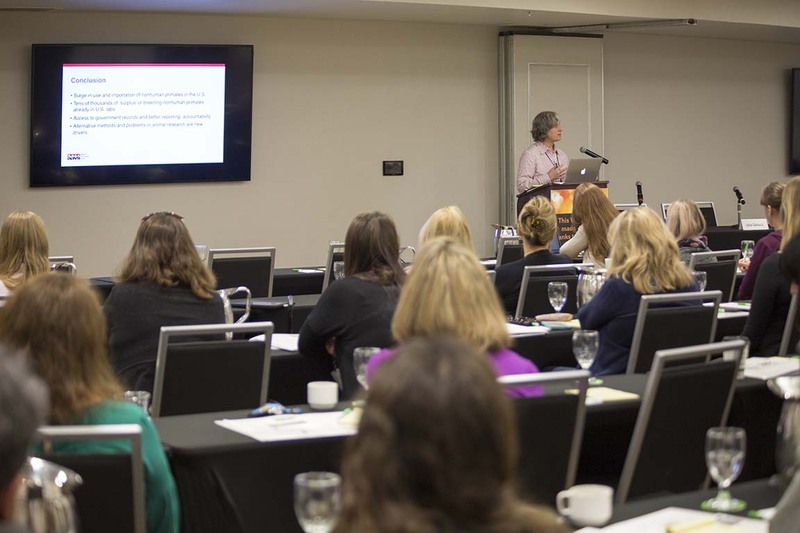 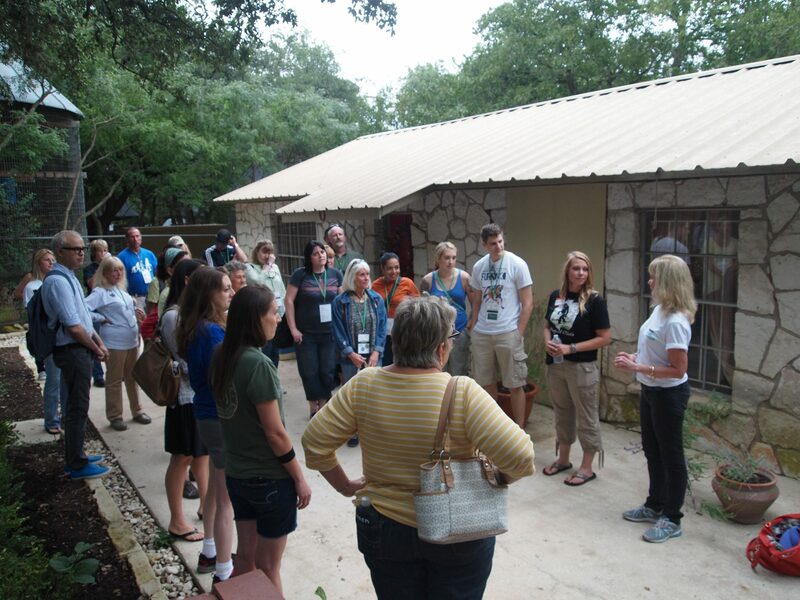 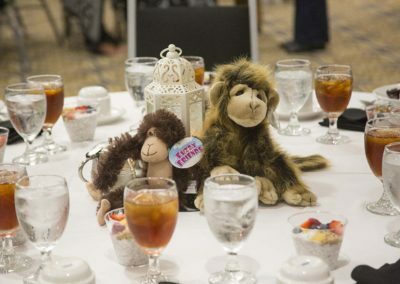 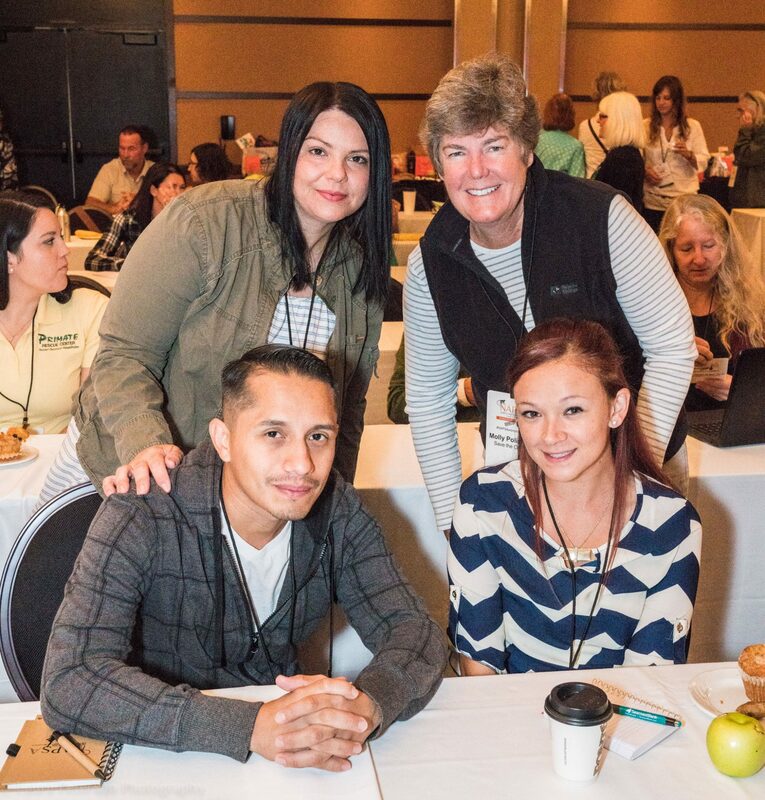 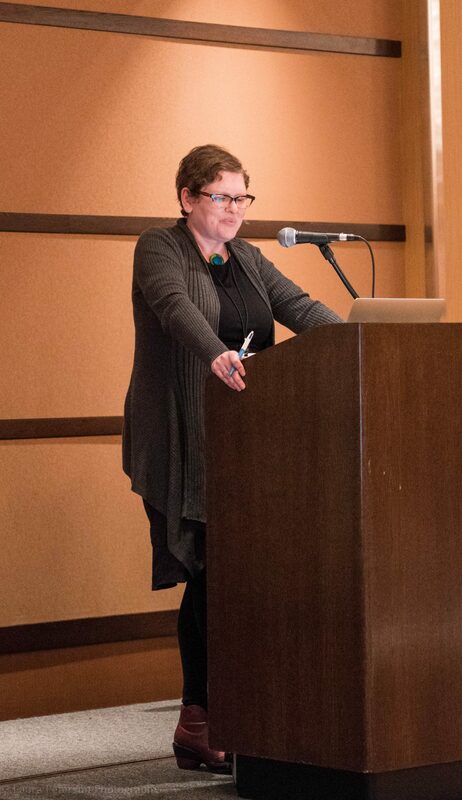 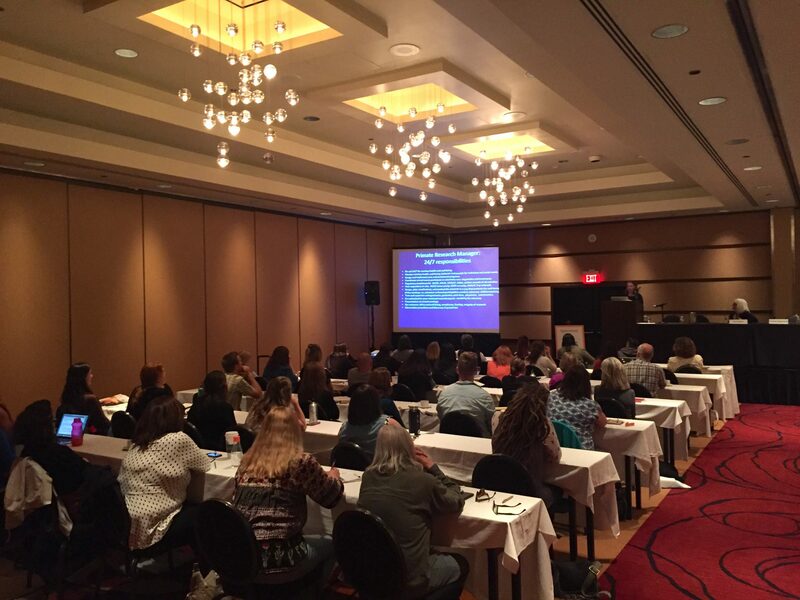 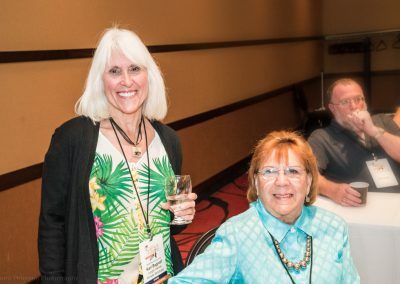 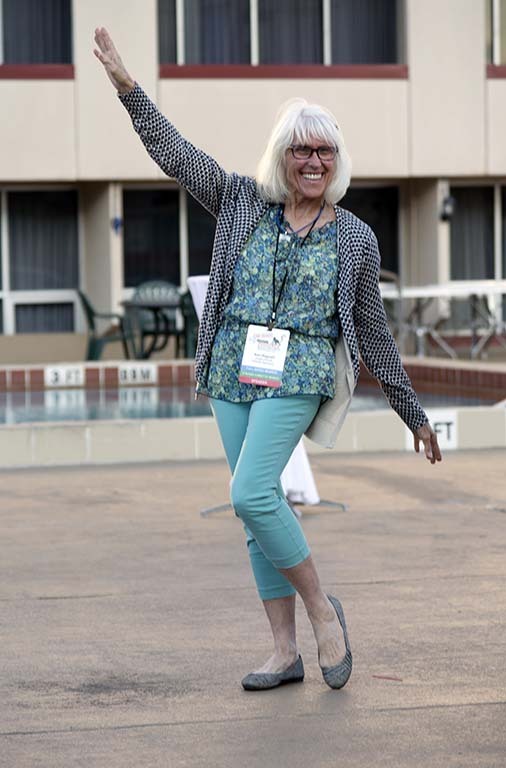 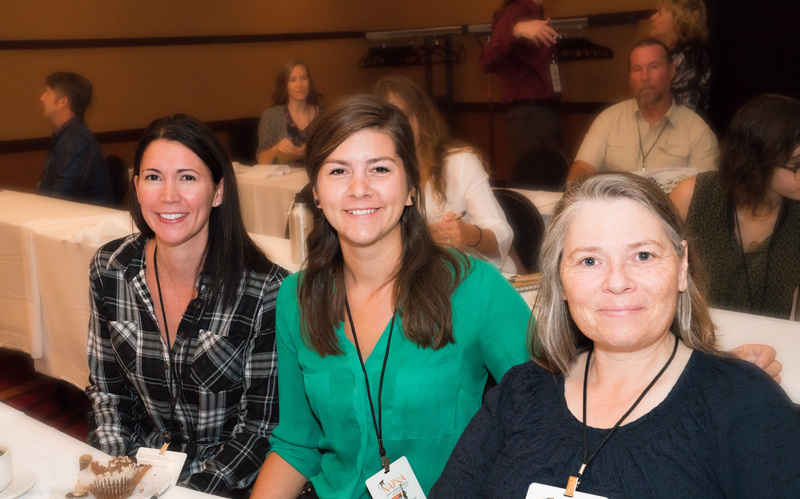 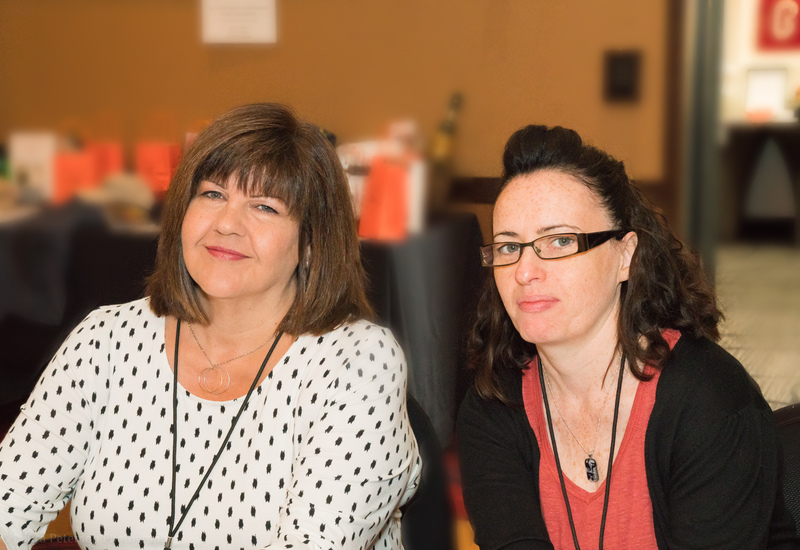 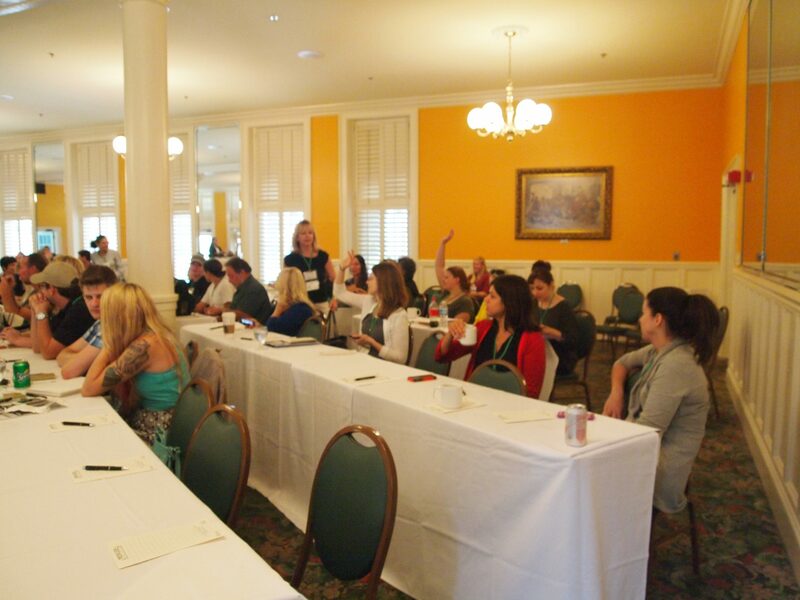 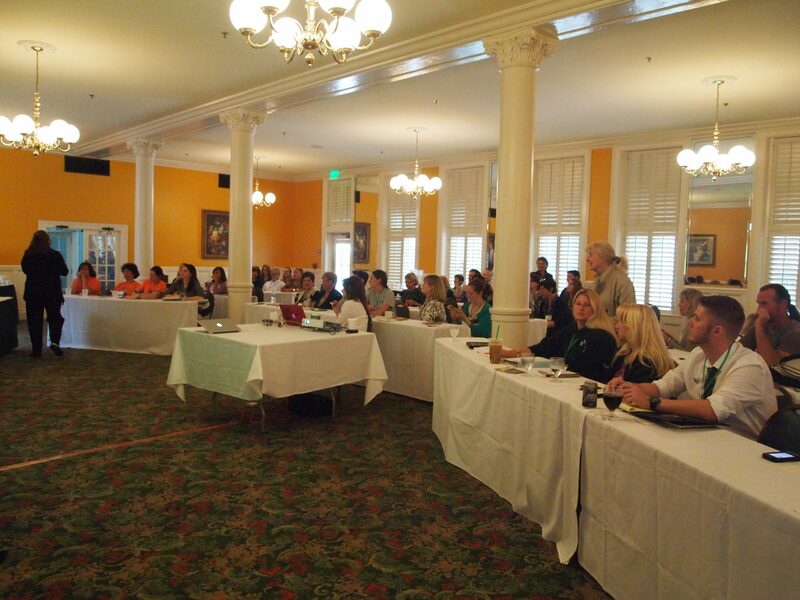 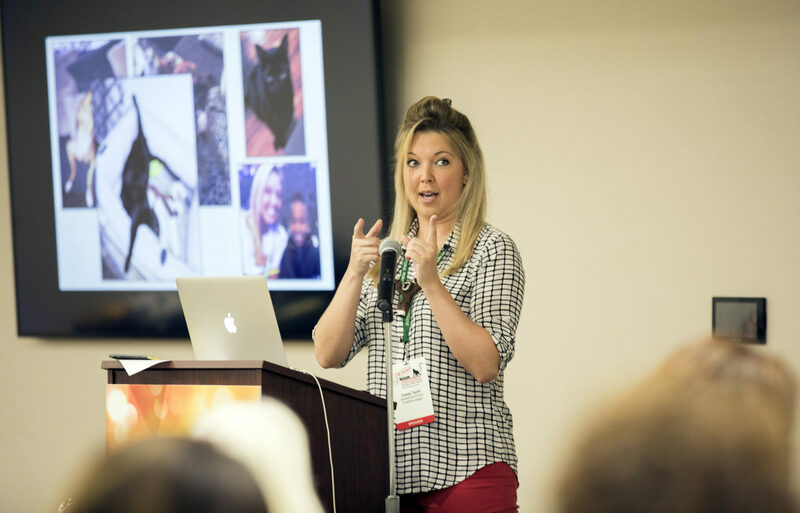 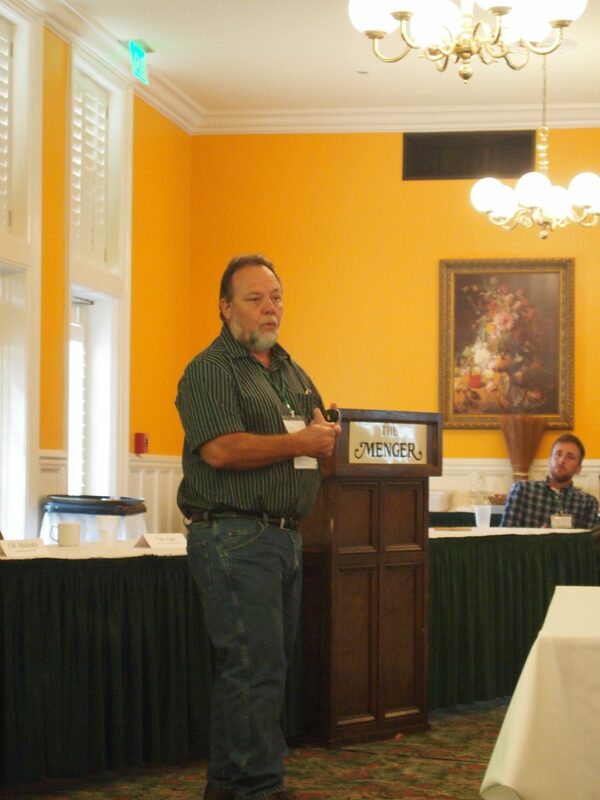 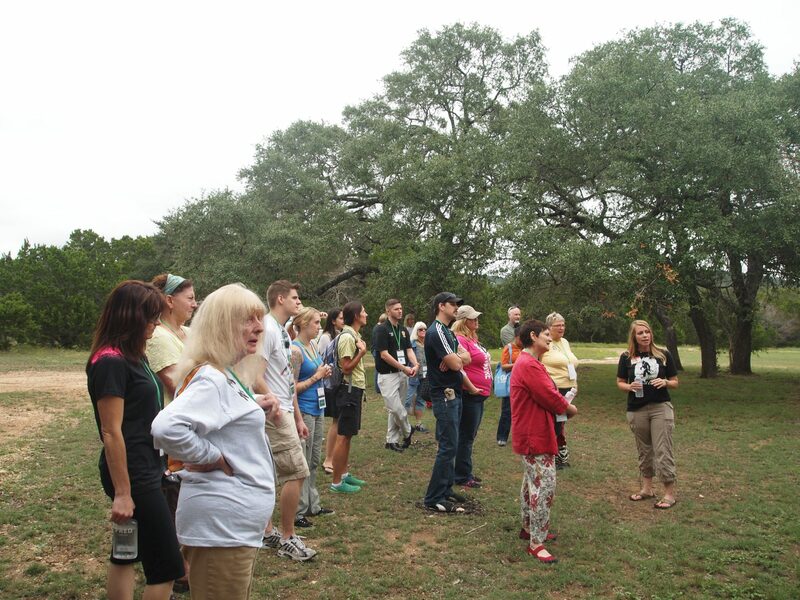 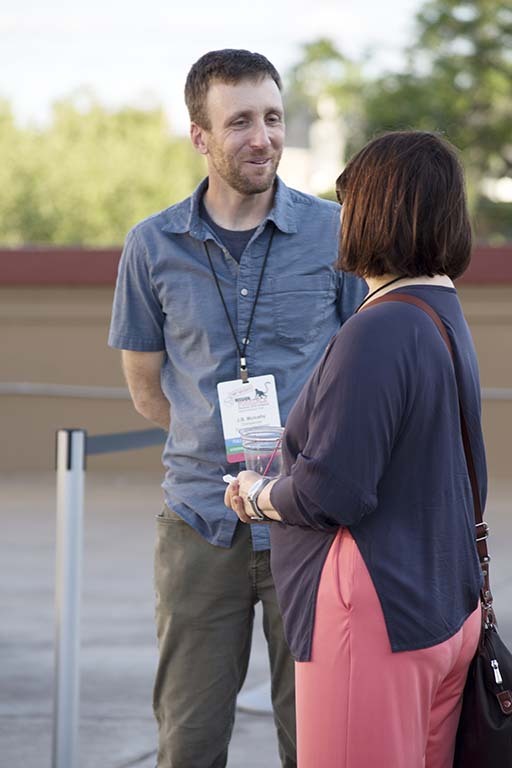 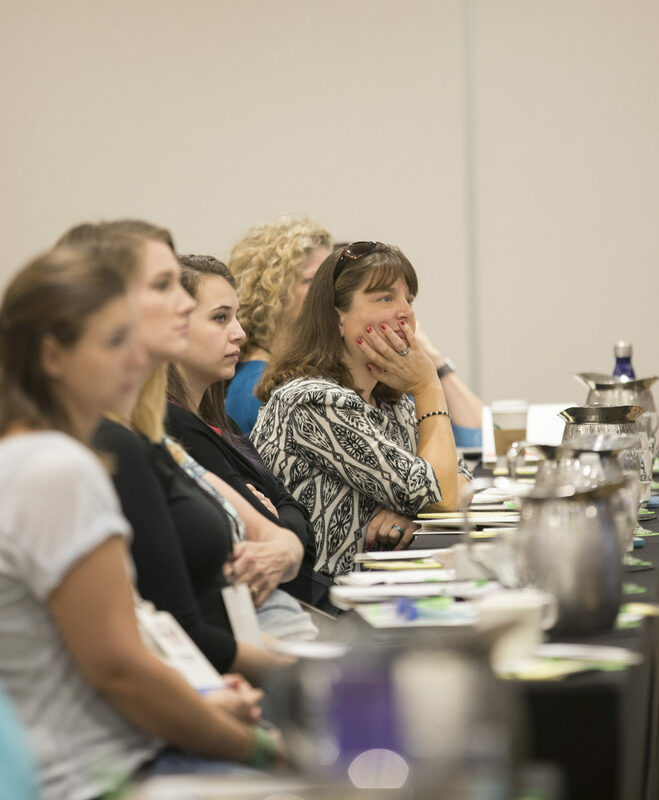 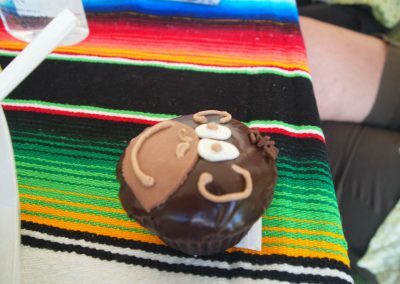 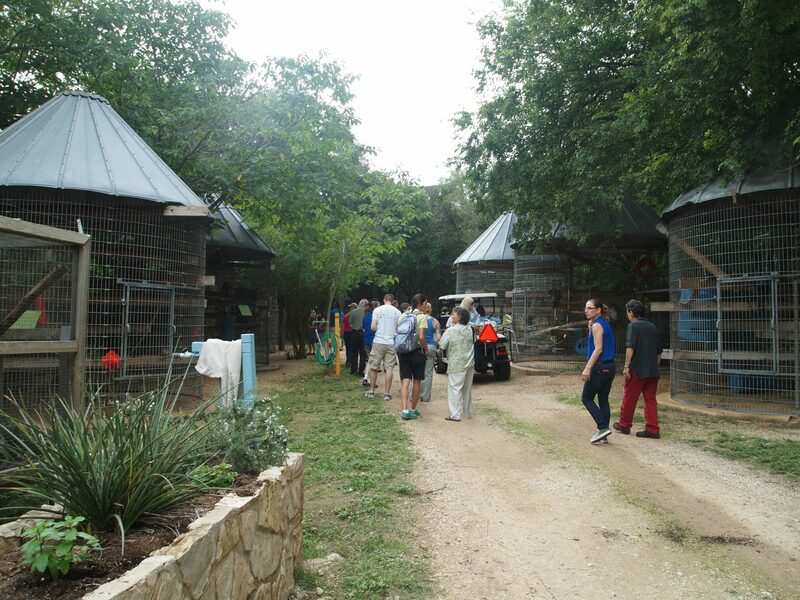 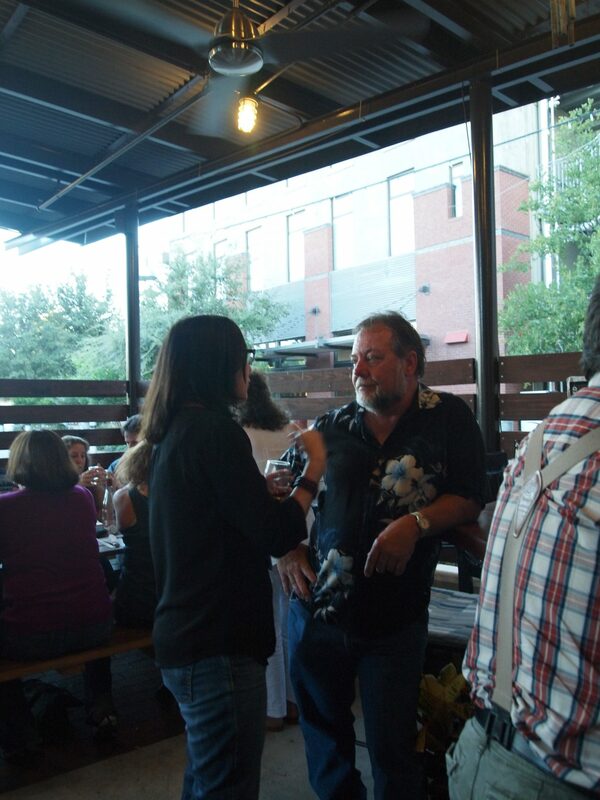 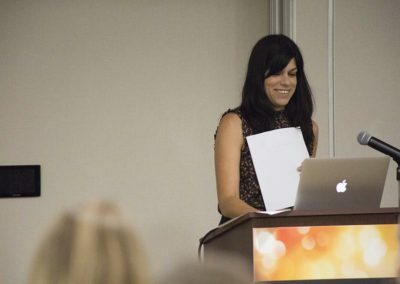 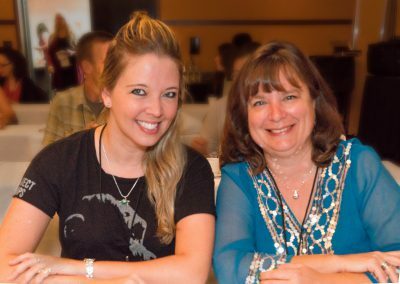 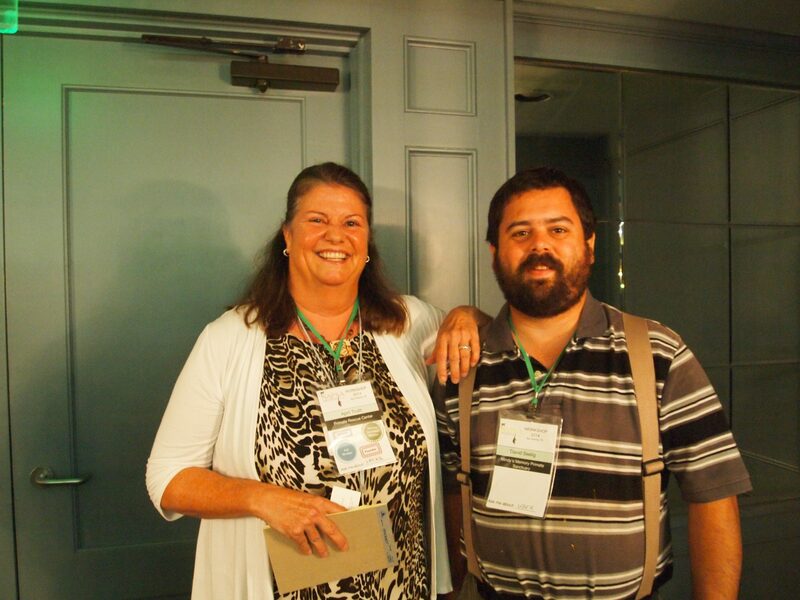 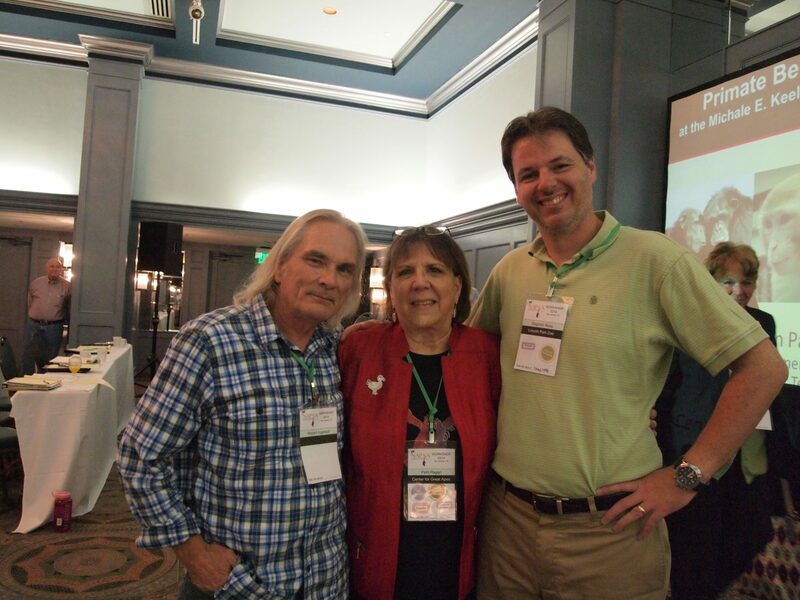 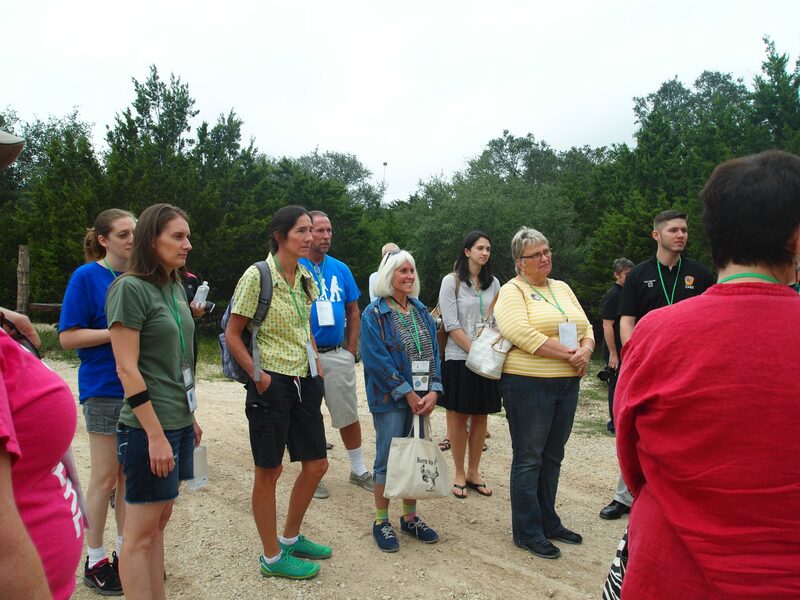 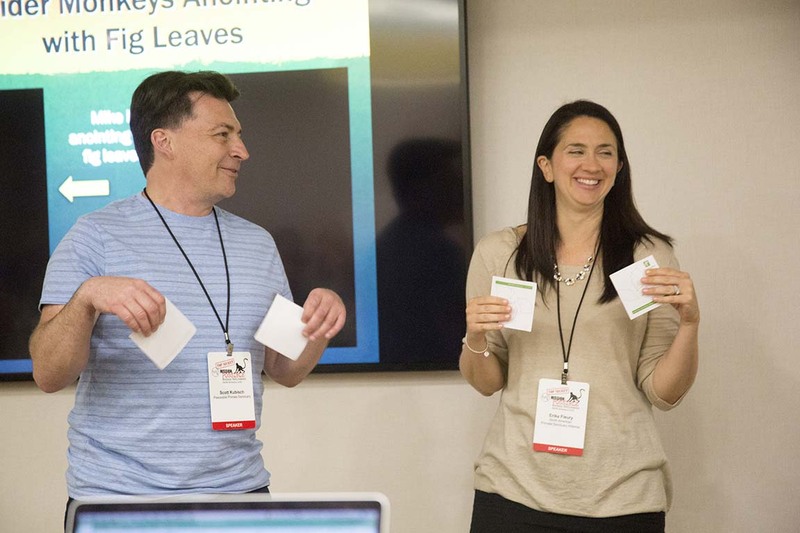 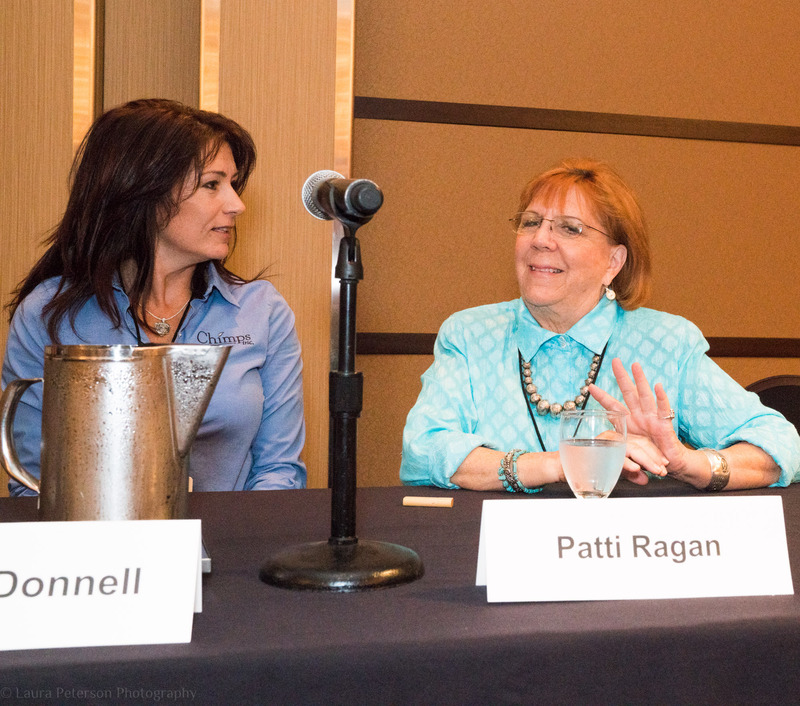 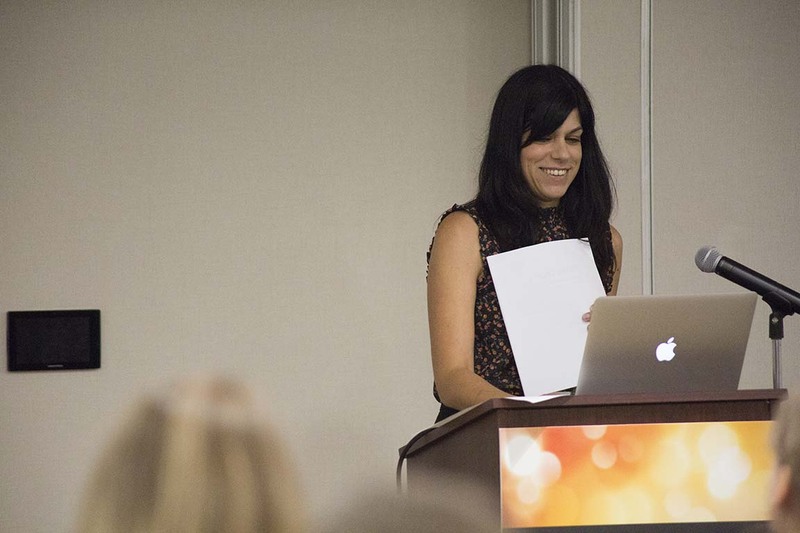 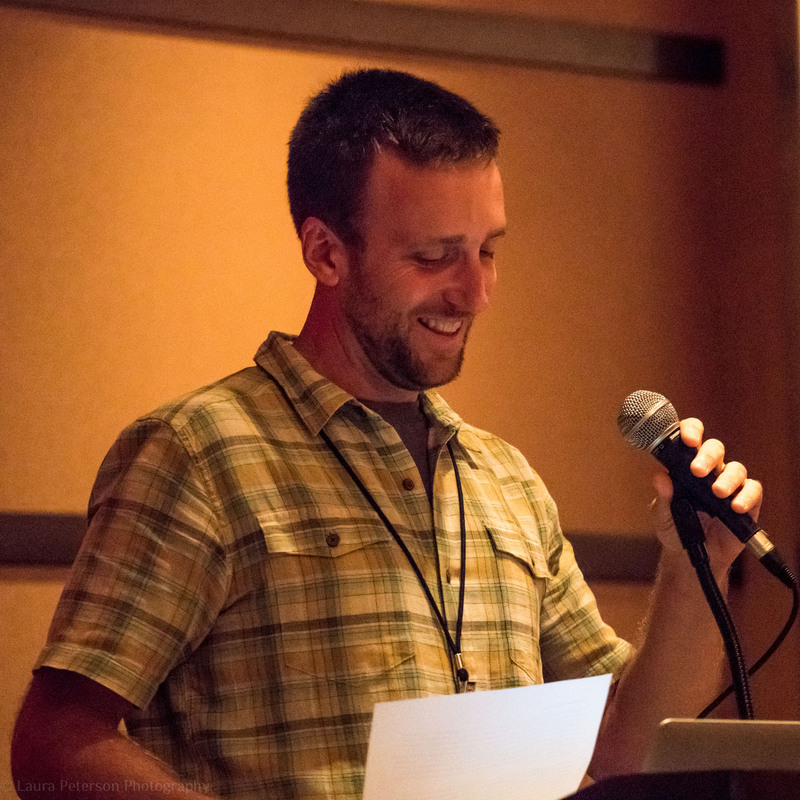 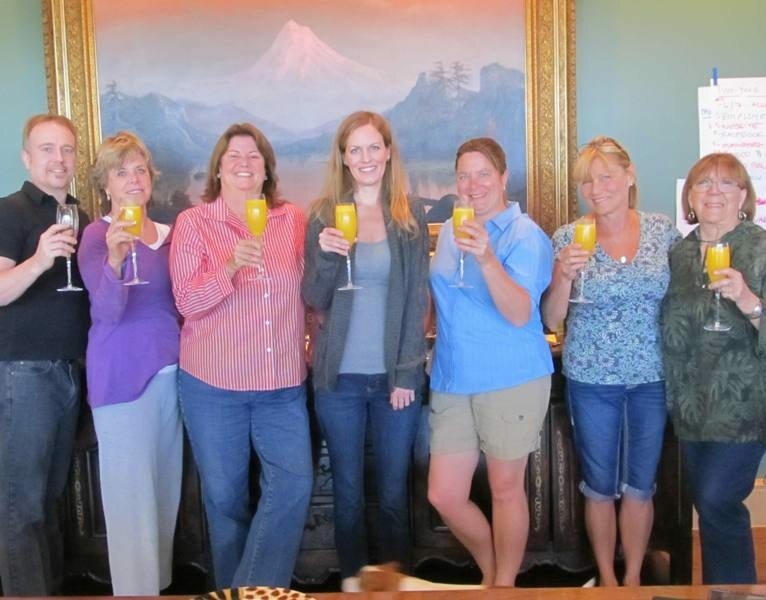 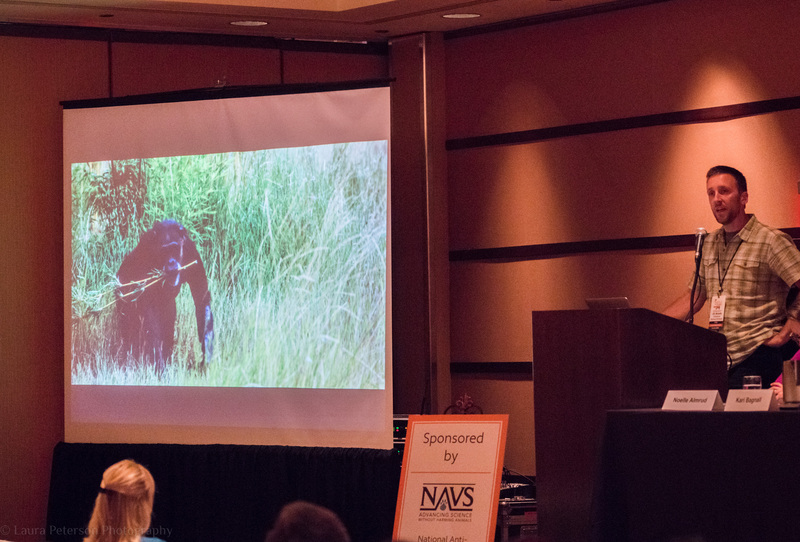 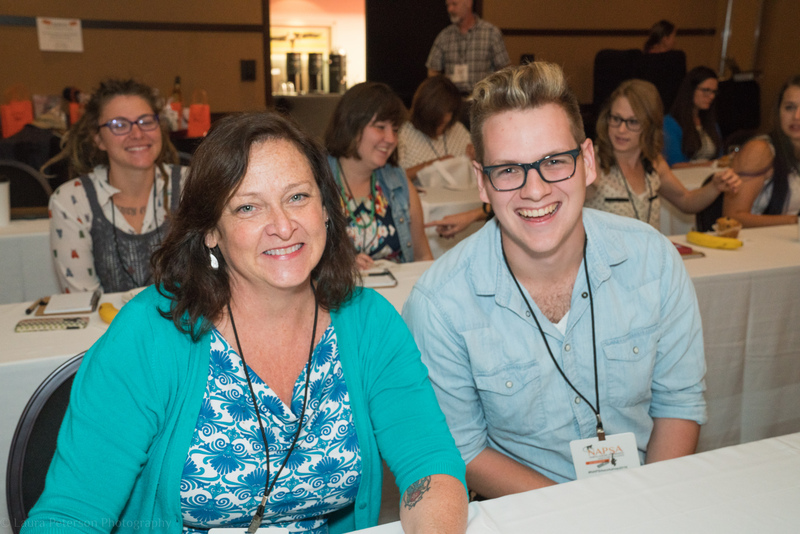 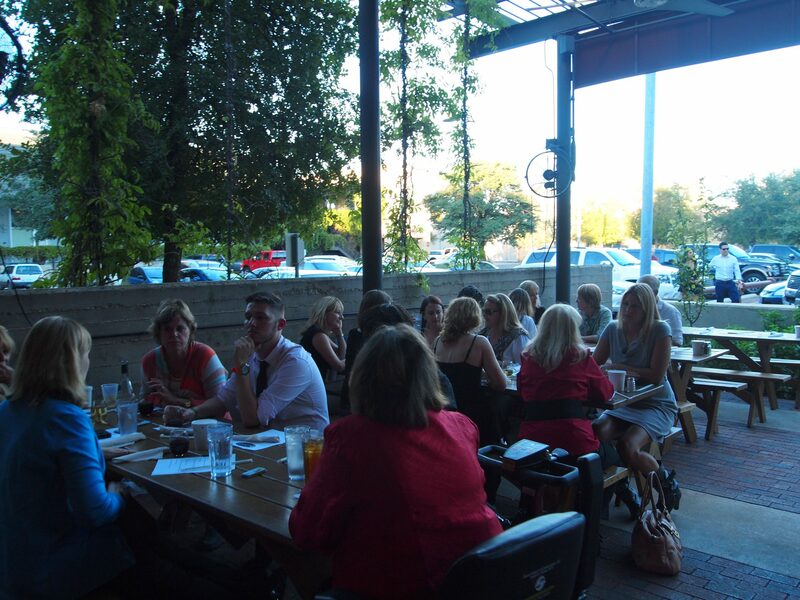 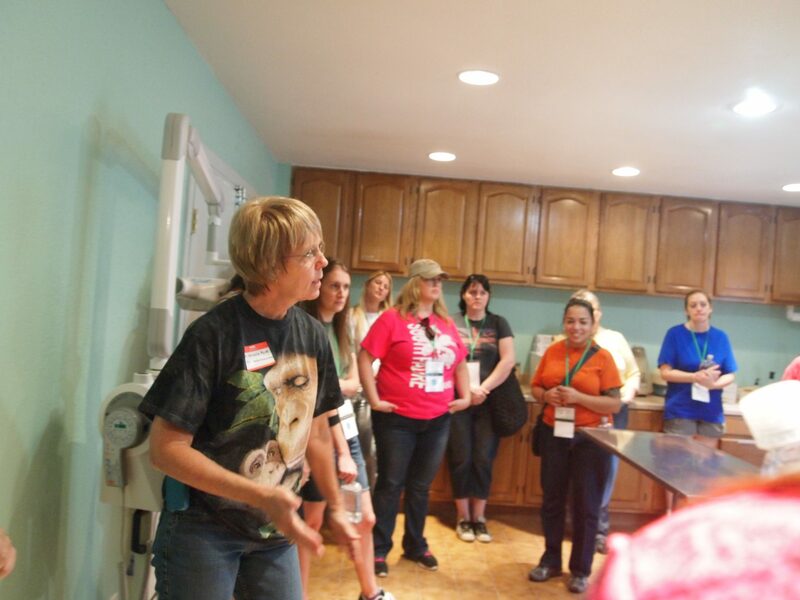 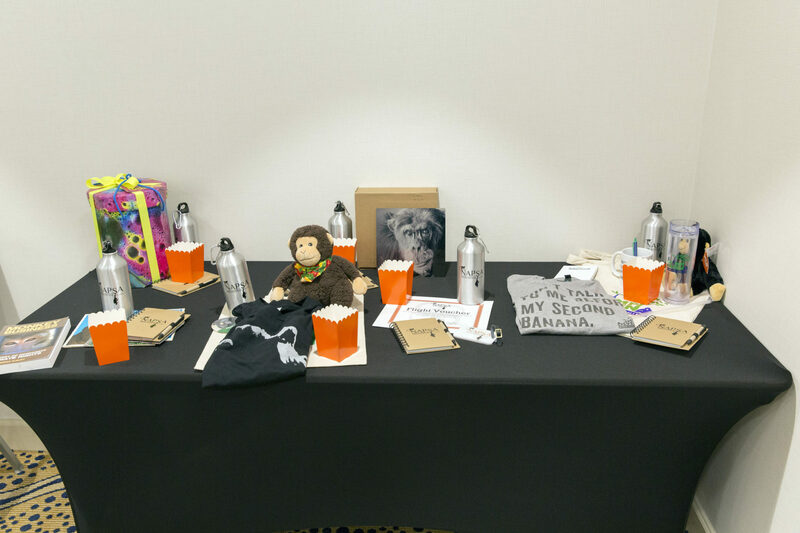 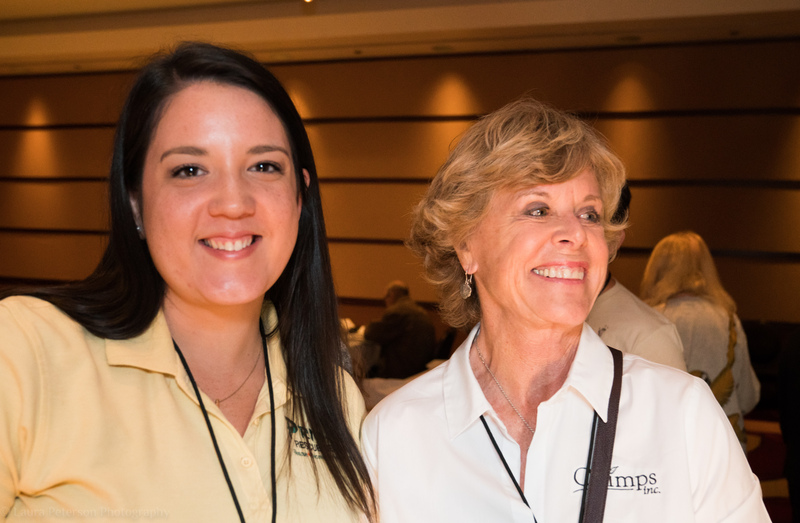 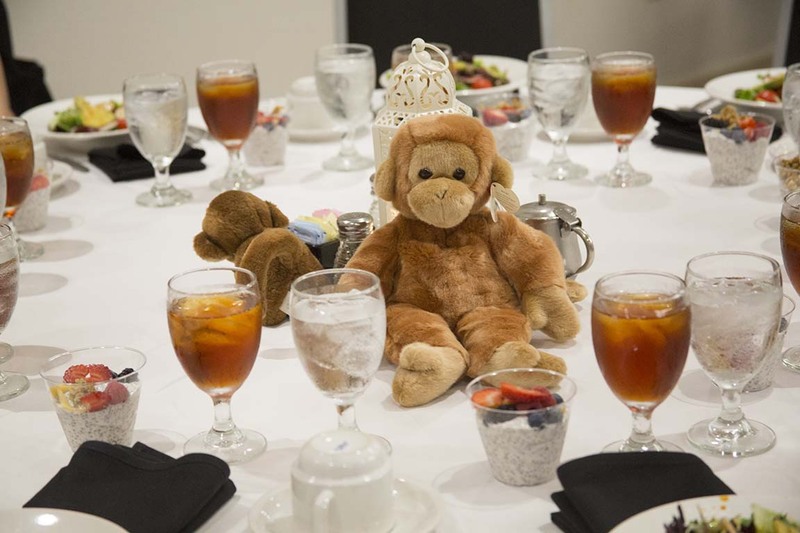 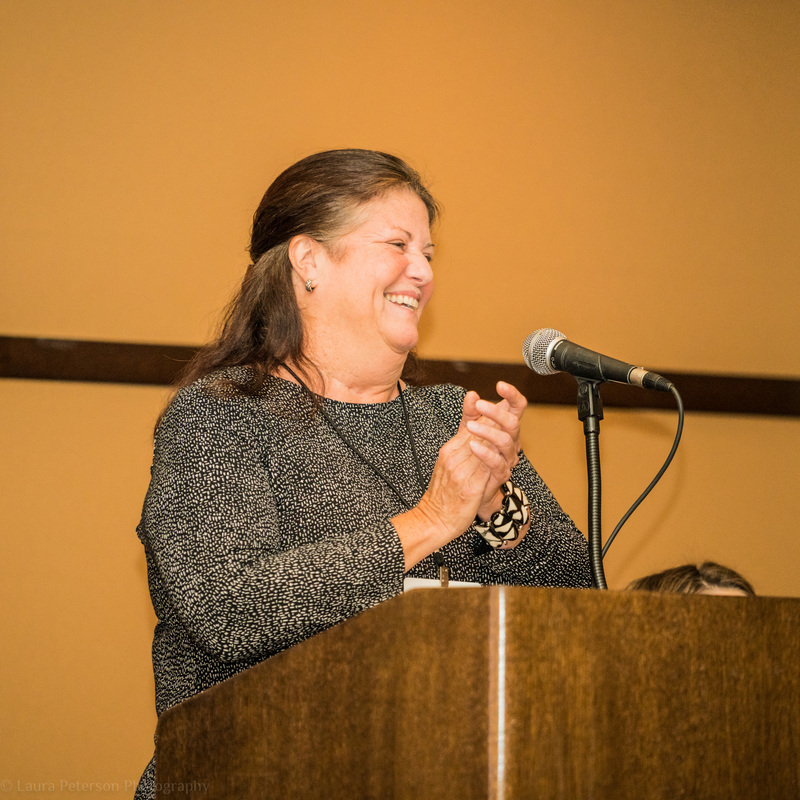 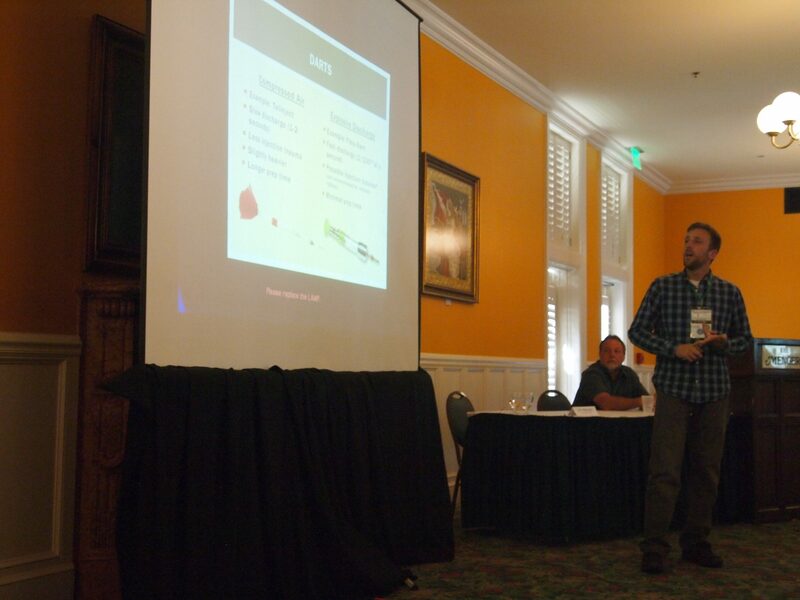 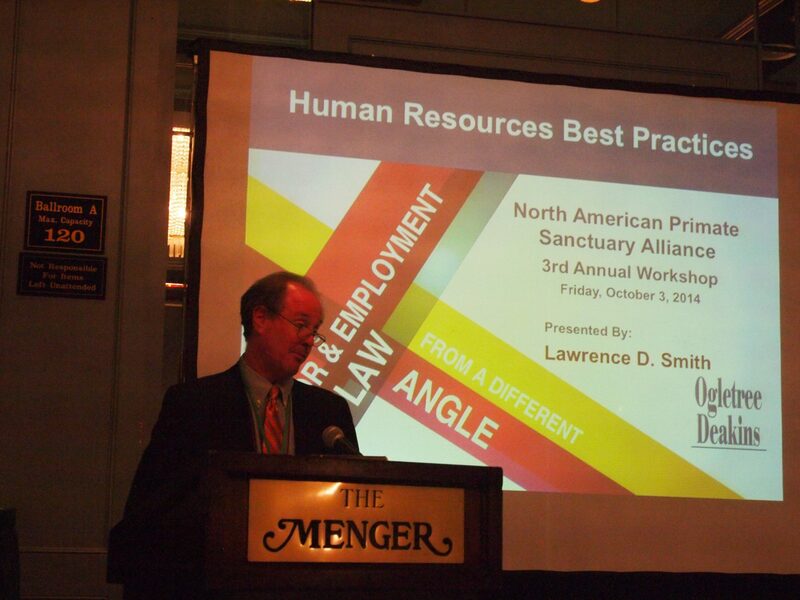 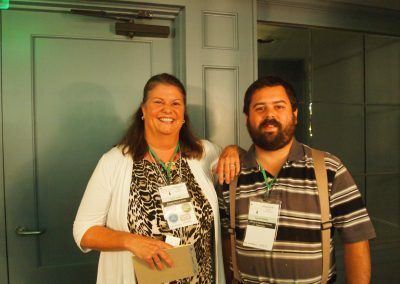 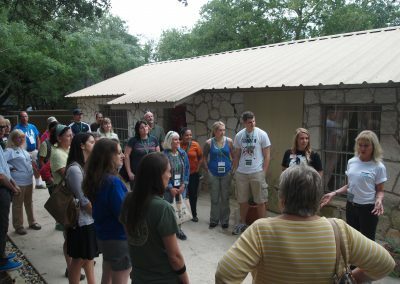 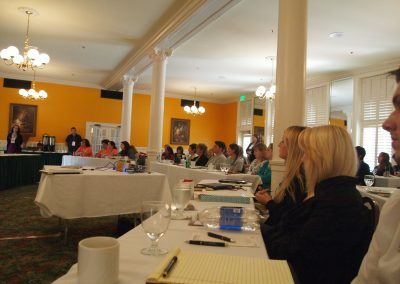 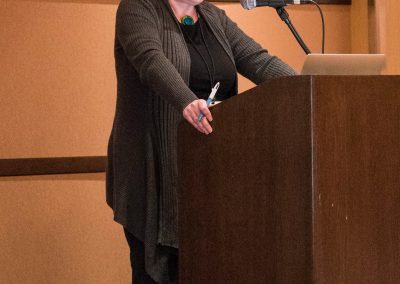 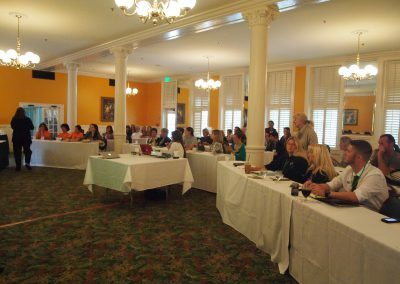 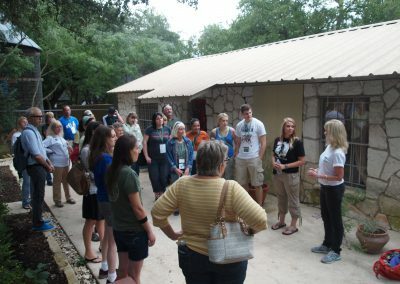 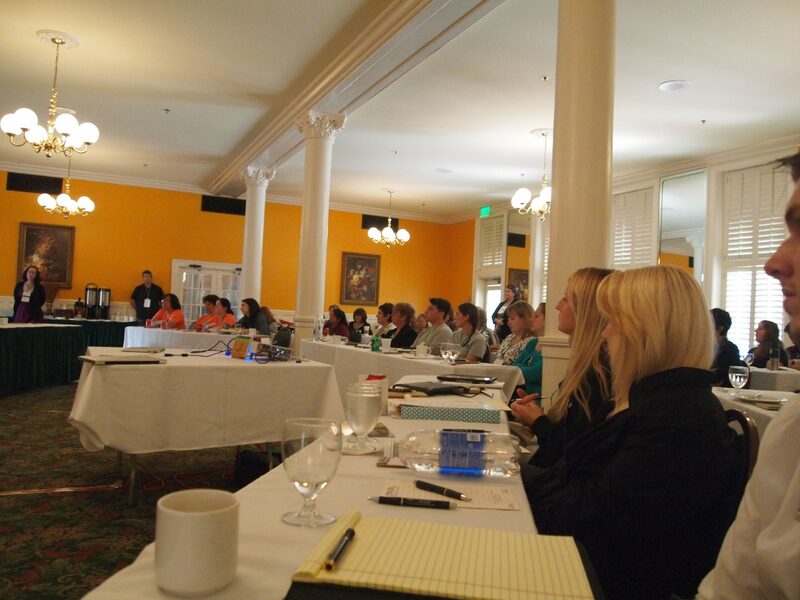 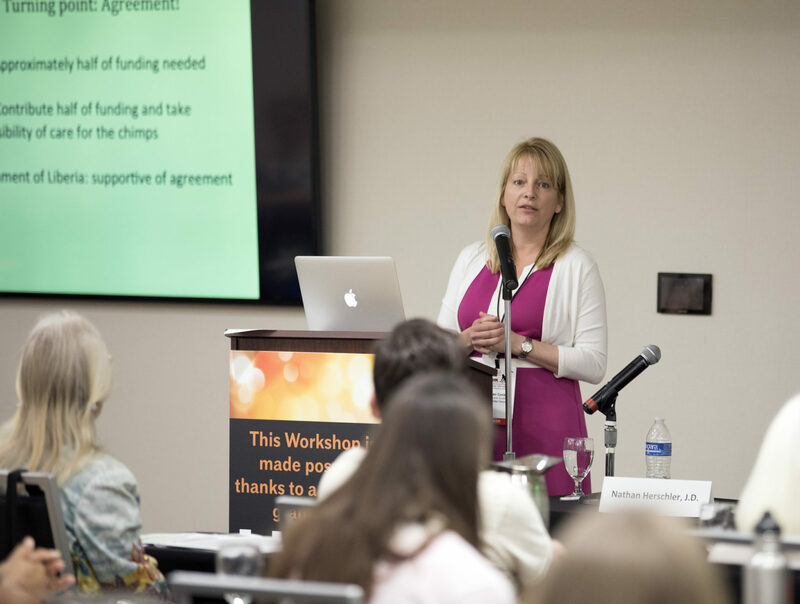 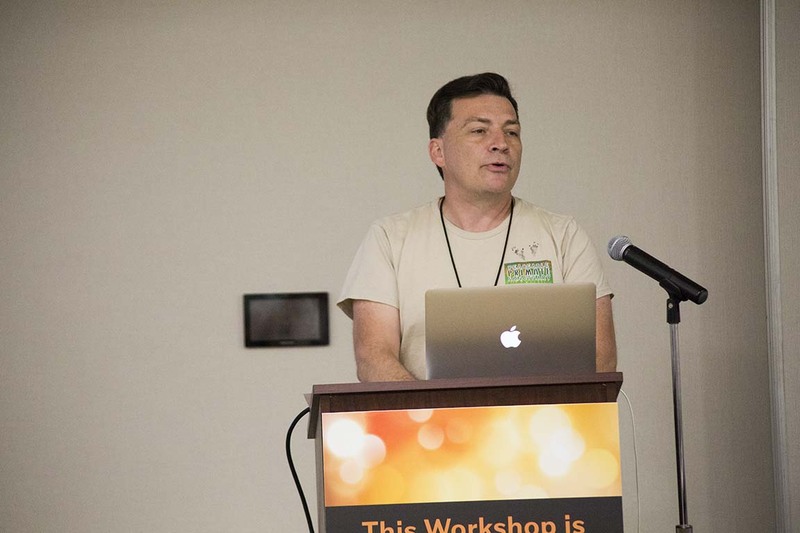 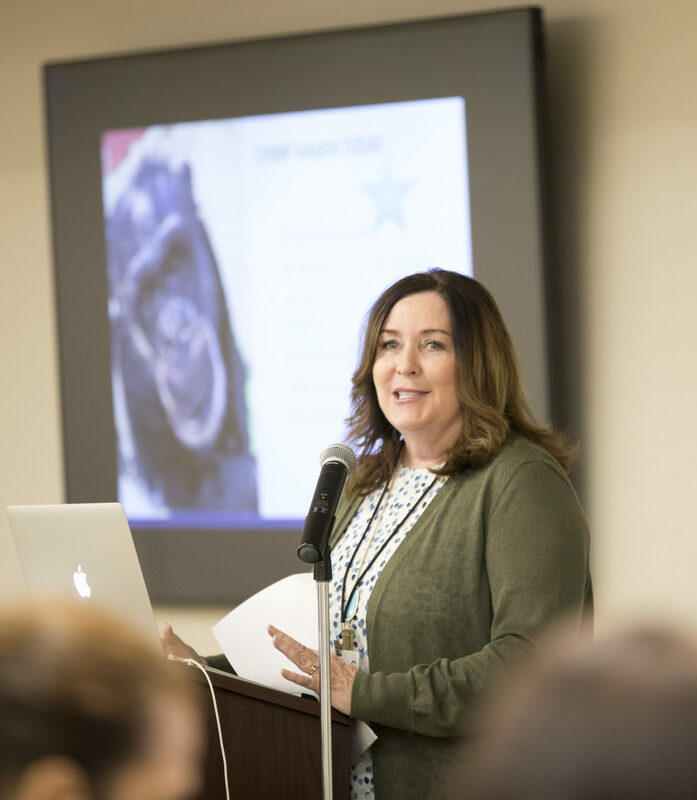 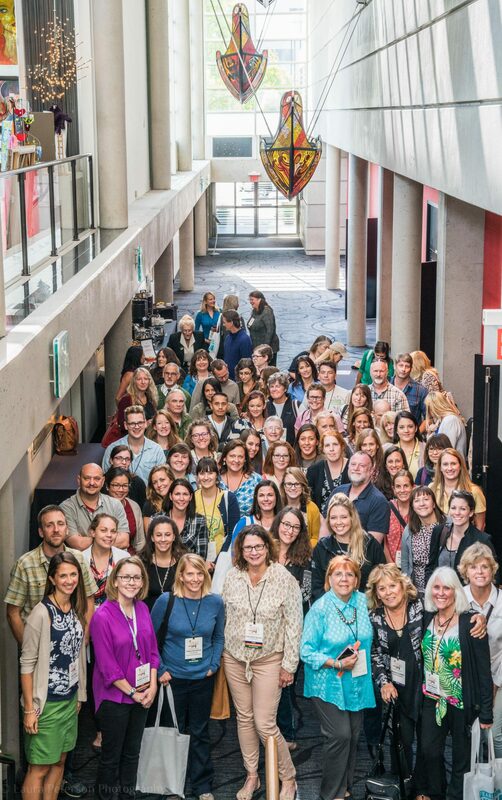 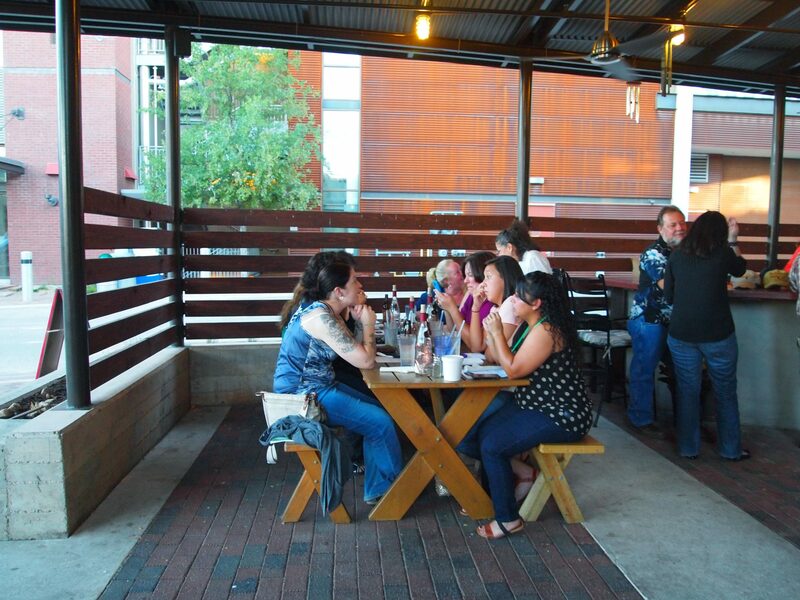 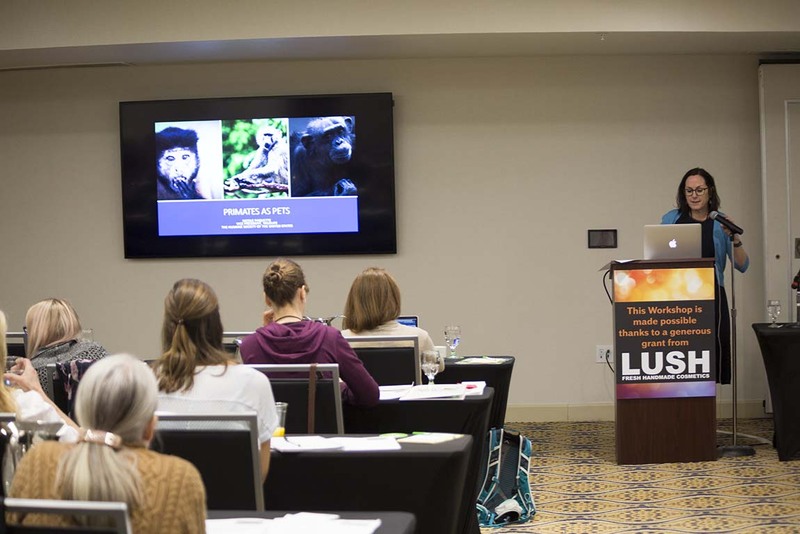 Pant hoots welcomed us to Chimps Inc.
Over 80 attendees traveled to San Antonio, Texas for NAPSA’s Workshop in 2014. 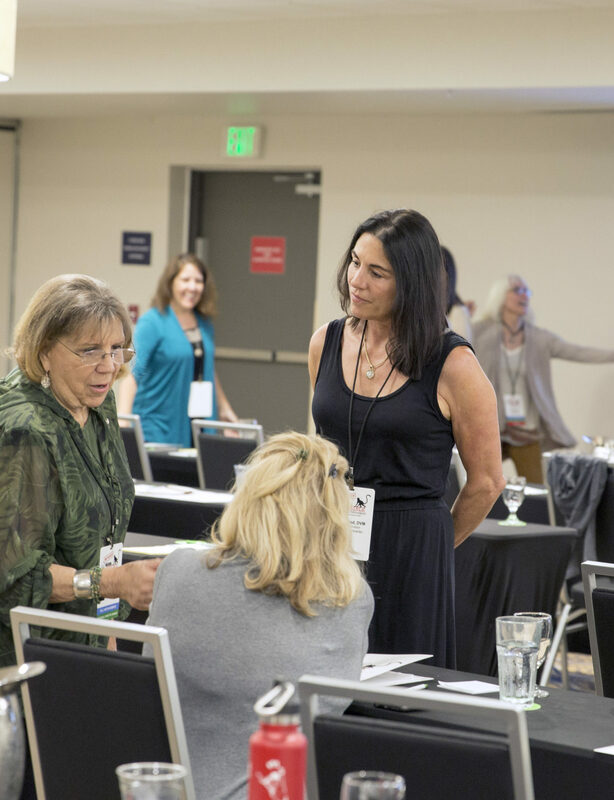 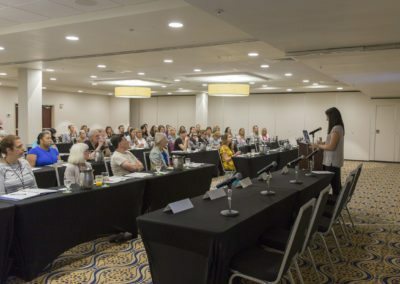 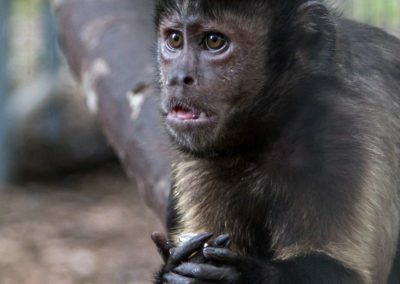 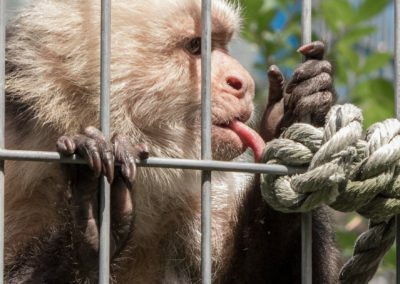 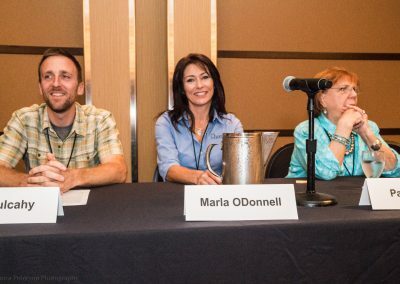 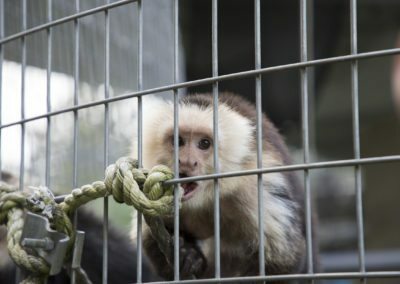 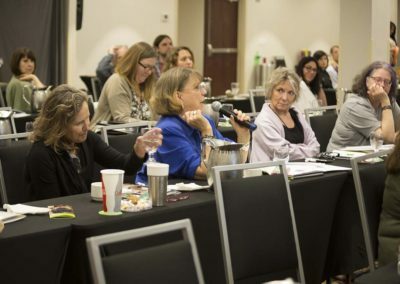 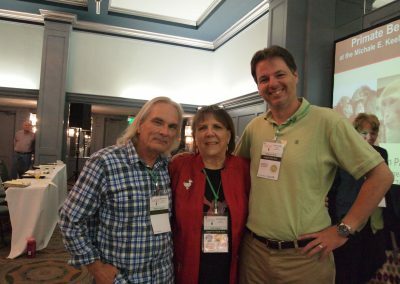 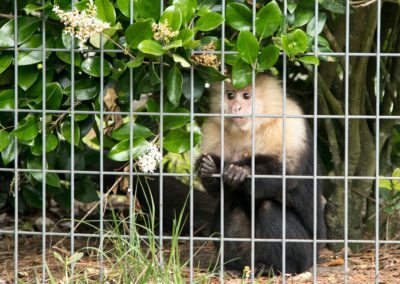 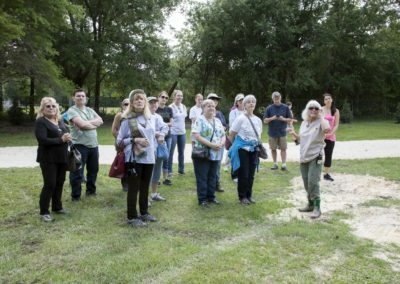 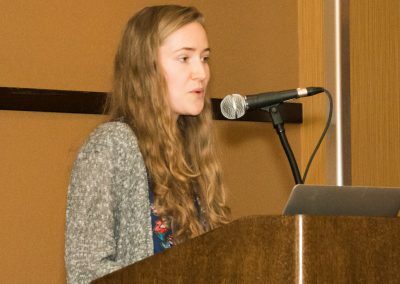 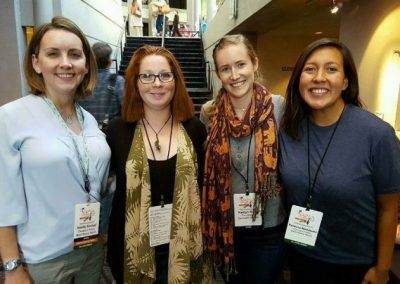 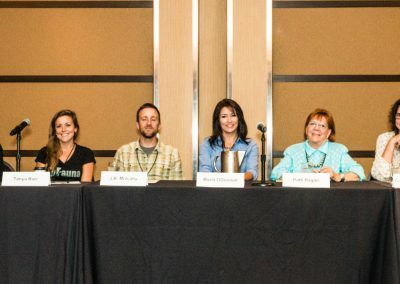 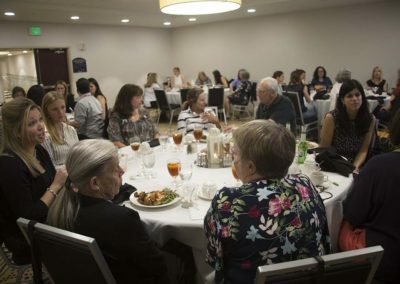 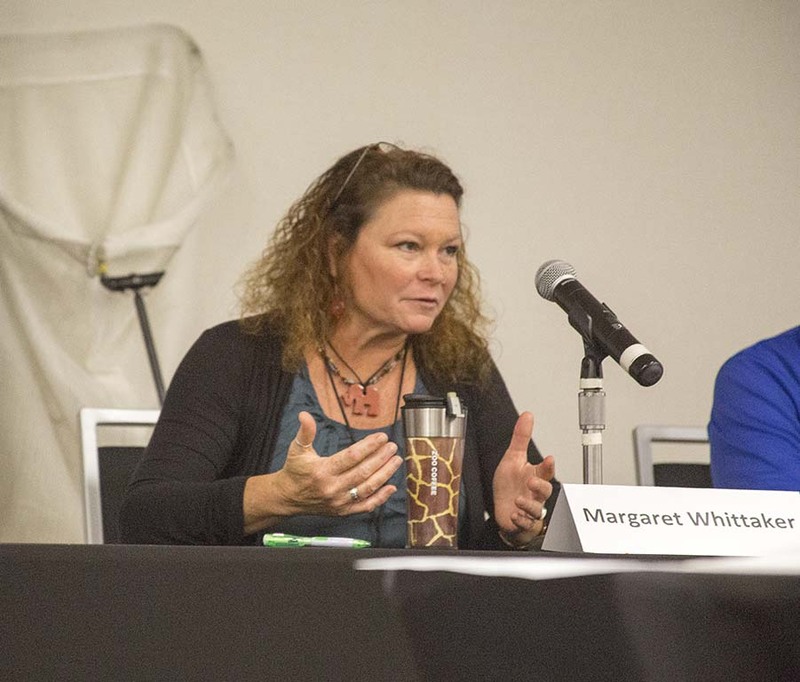 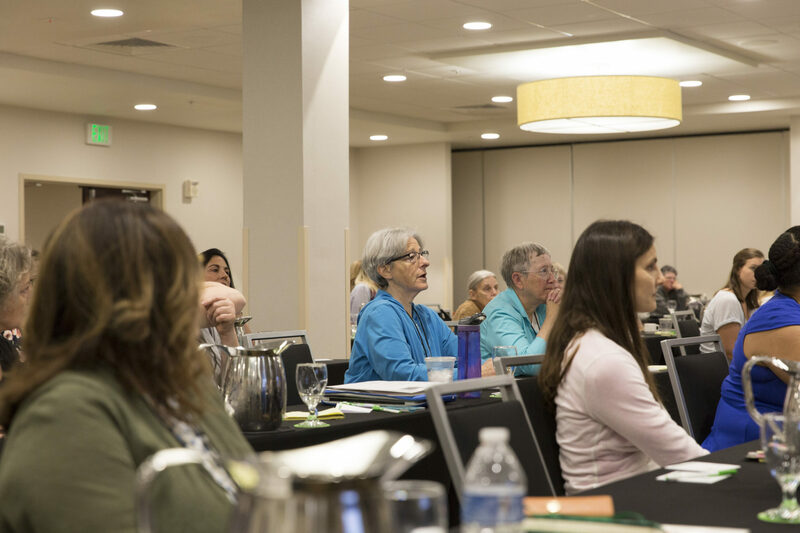 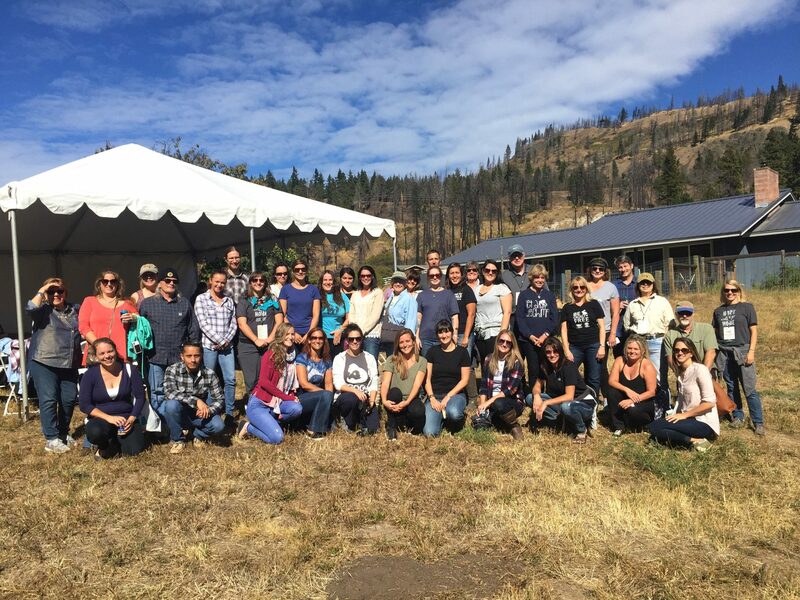 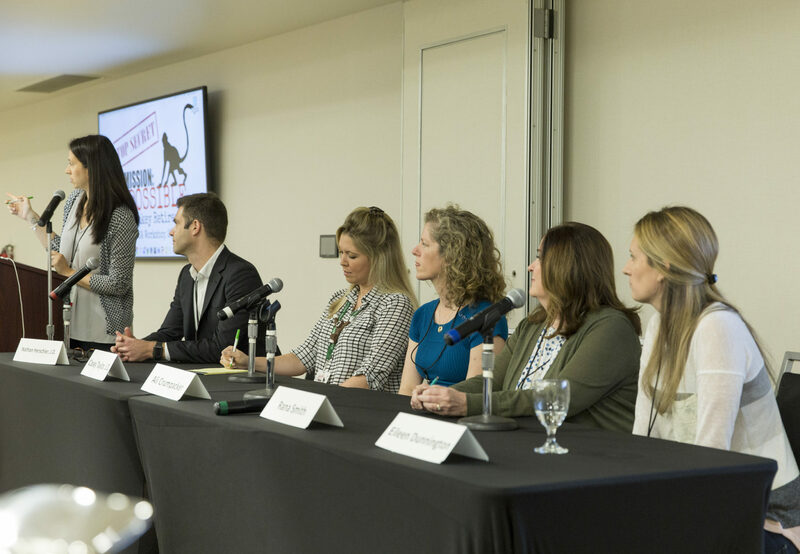 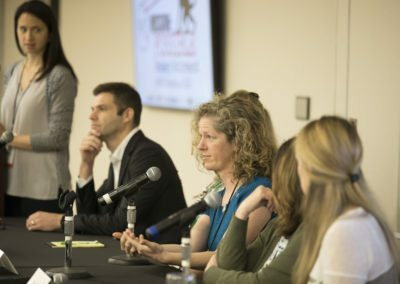 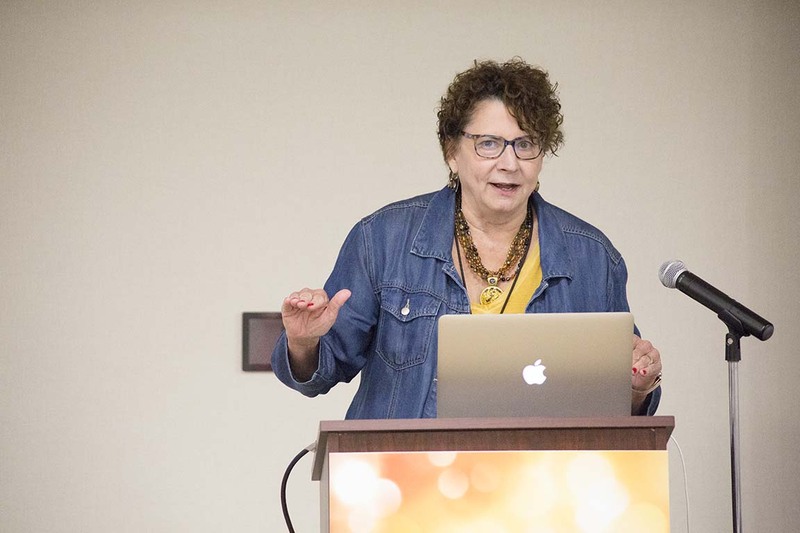 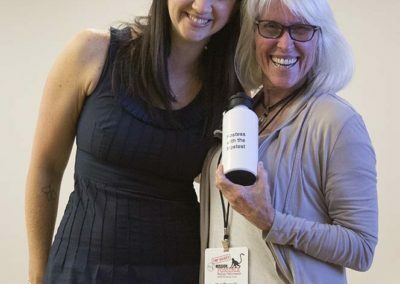 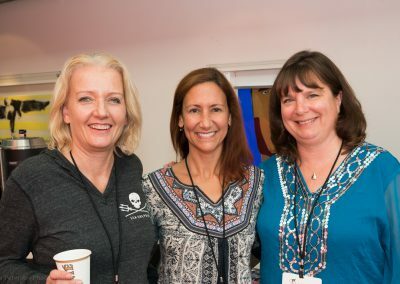 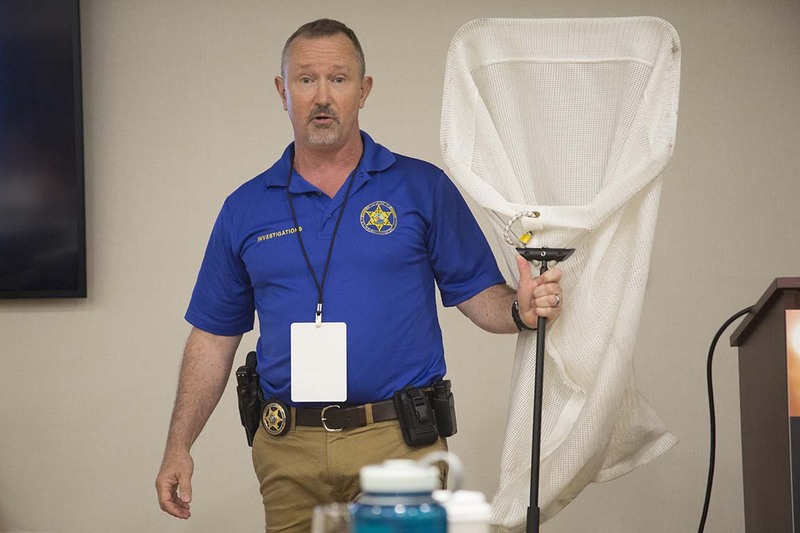 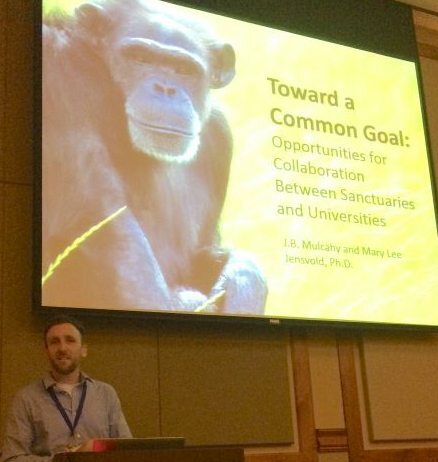 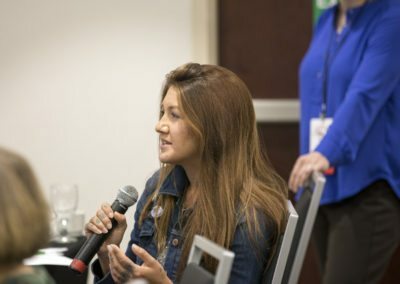 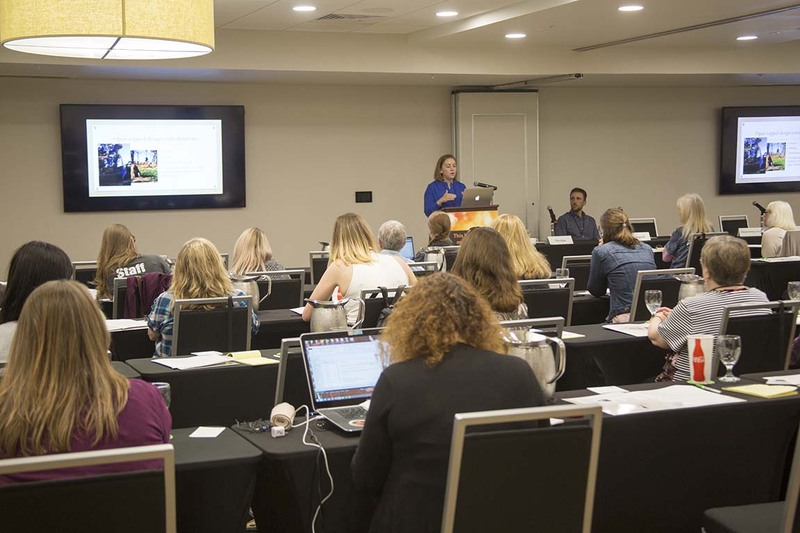 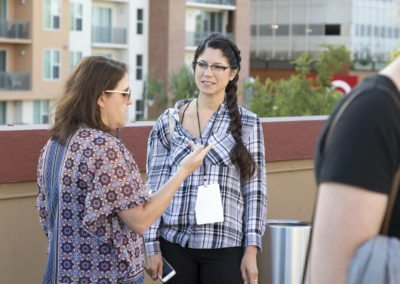 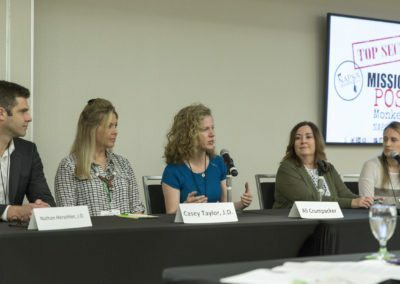 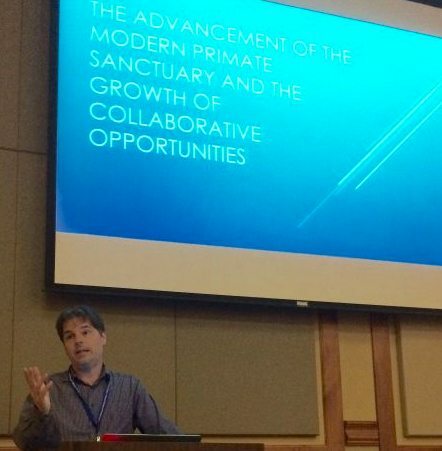 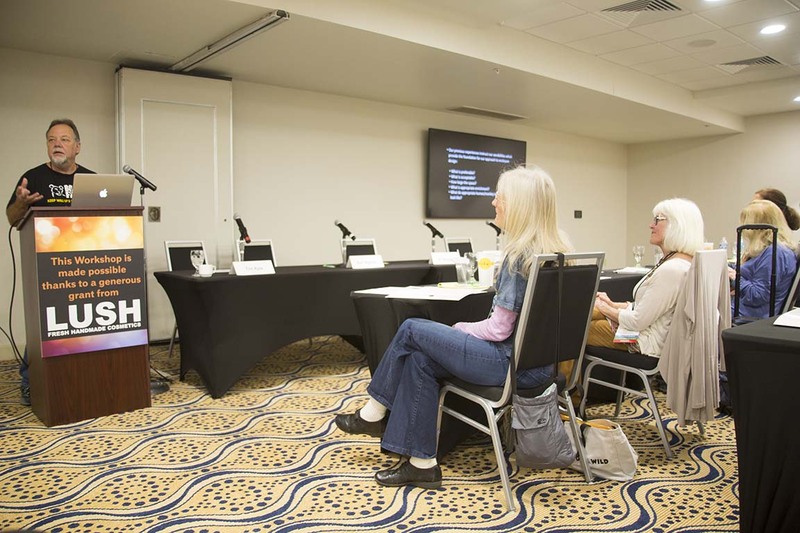 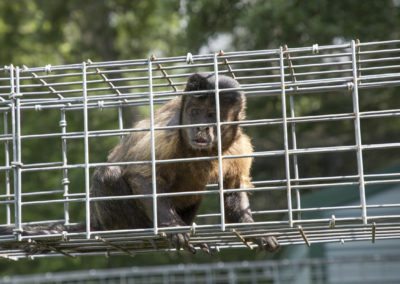 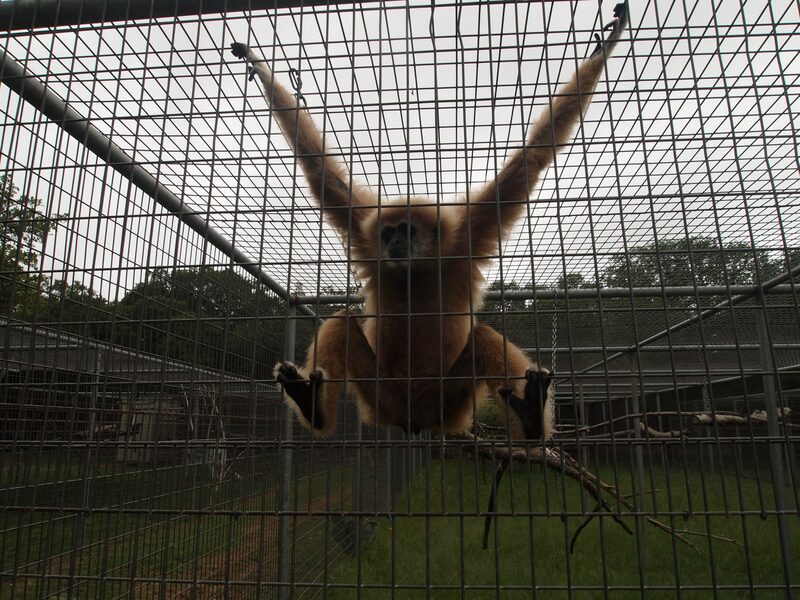 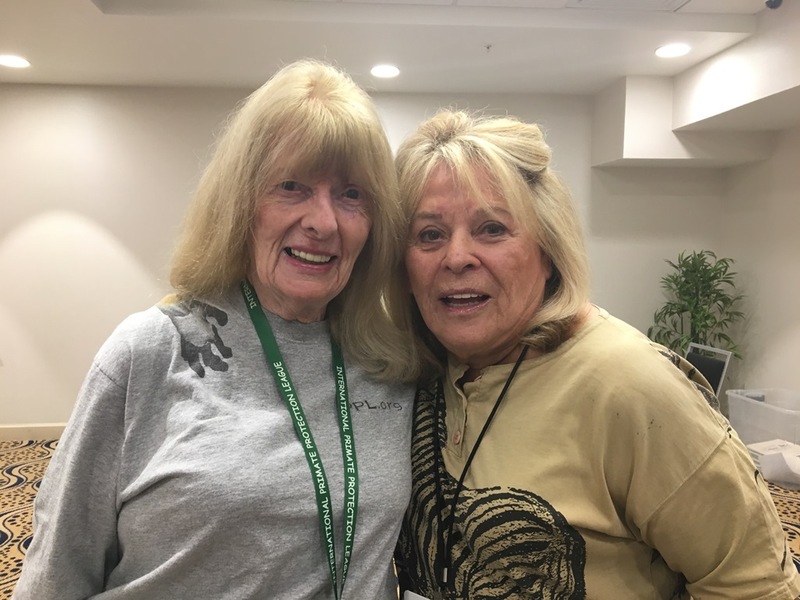 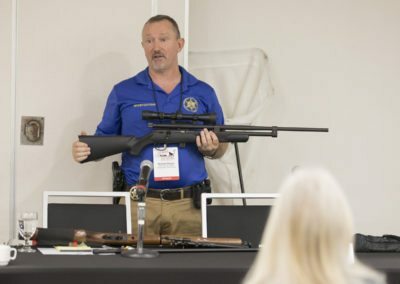 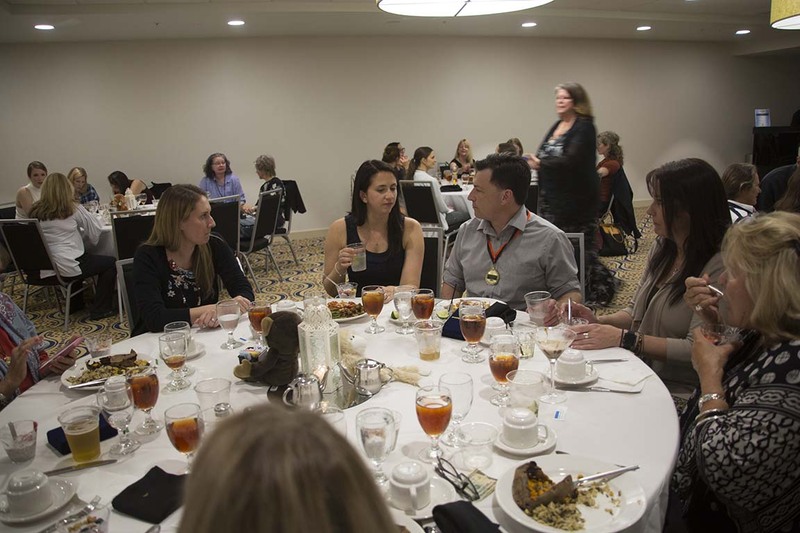 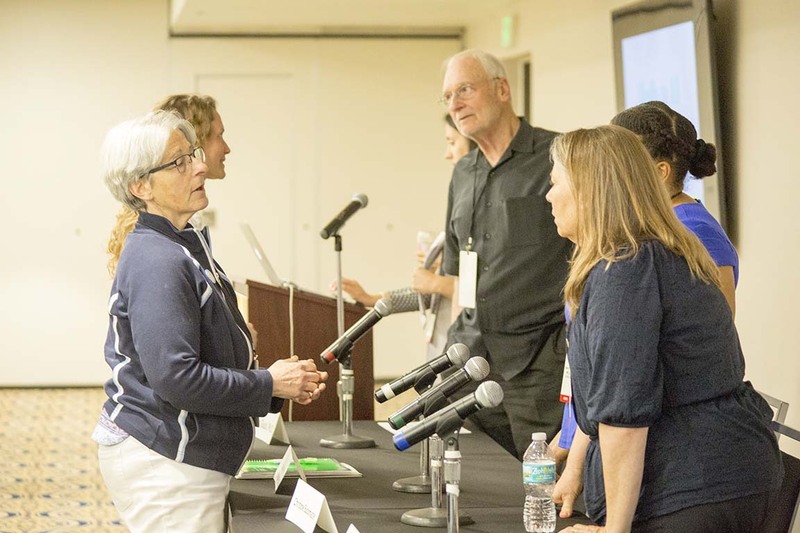 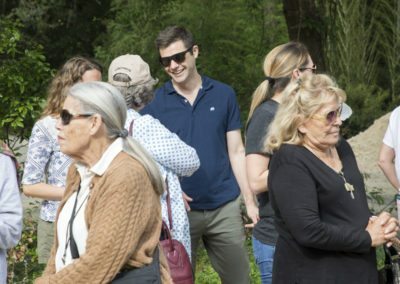 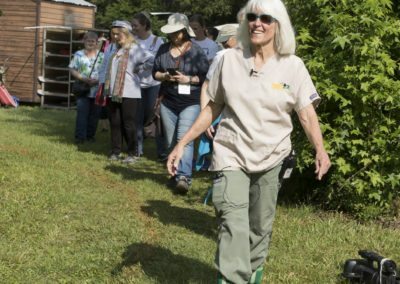 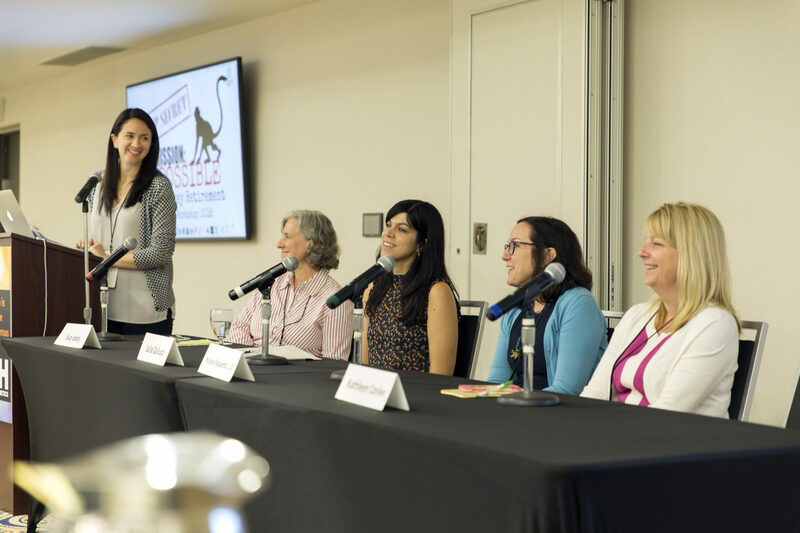 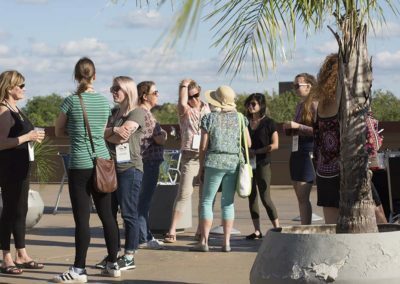 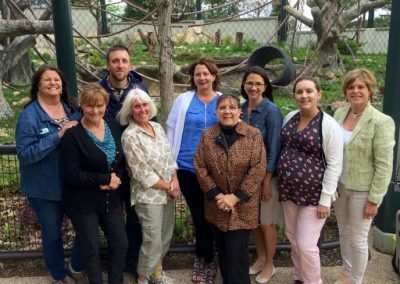 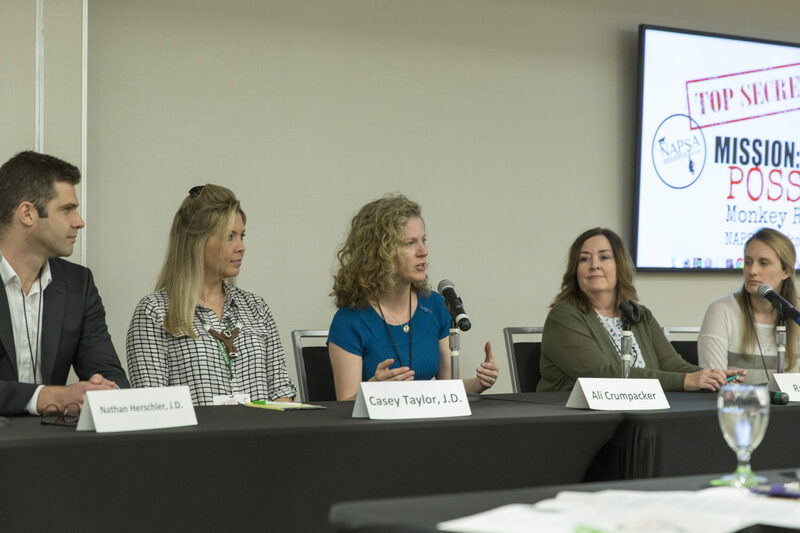 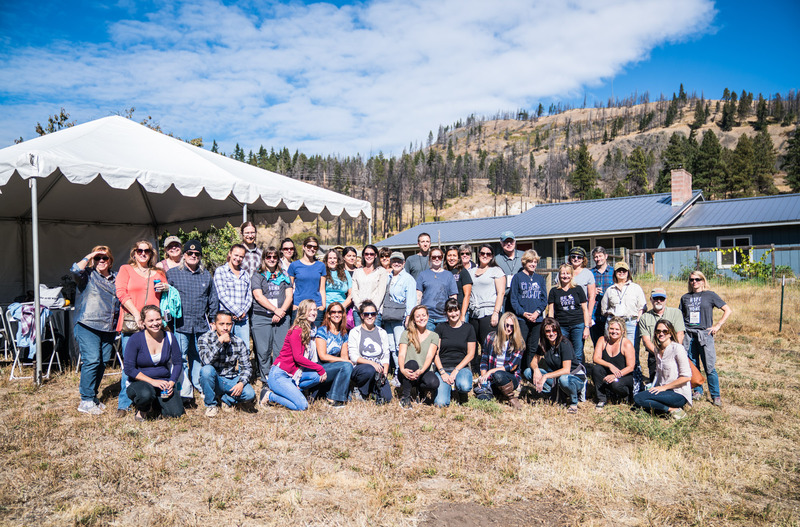 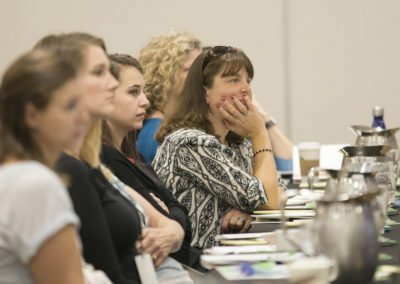 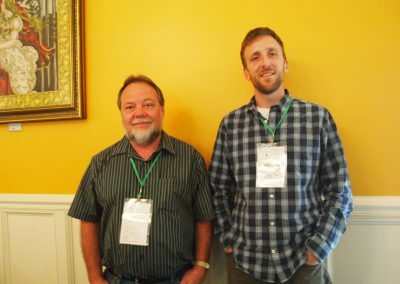 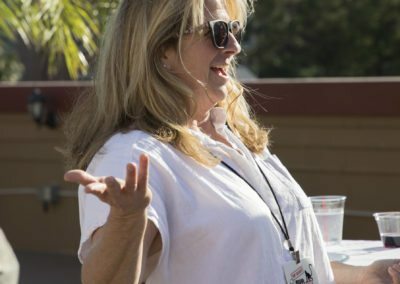 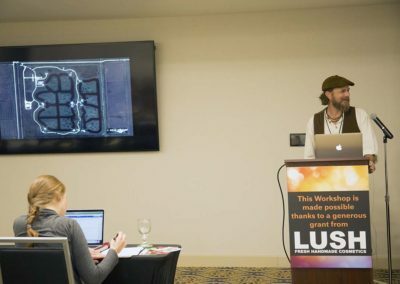 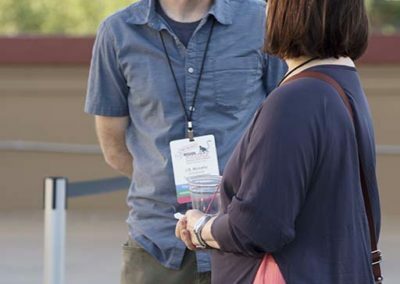 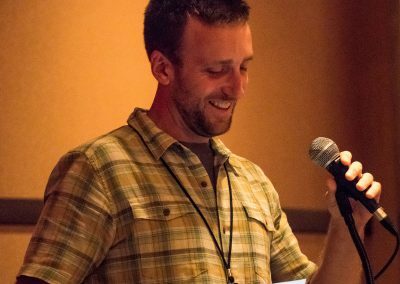 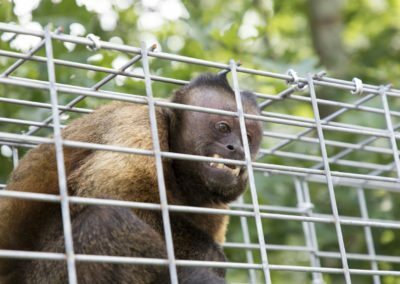 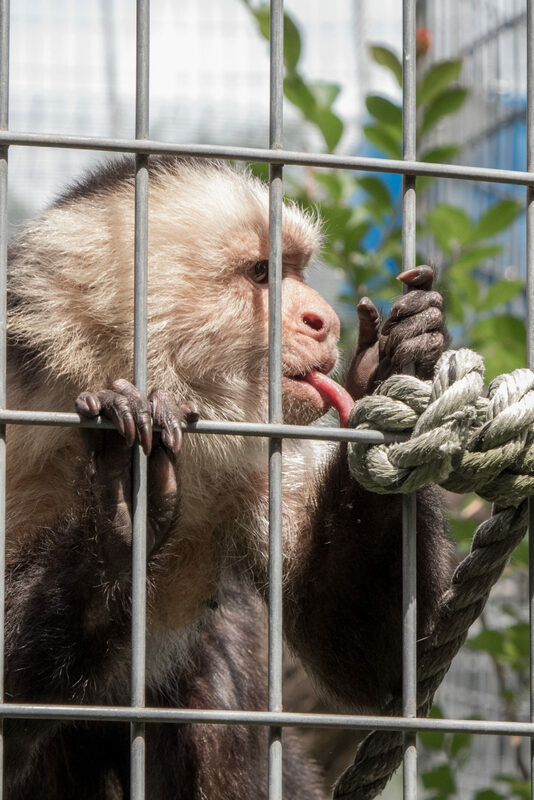 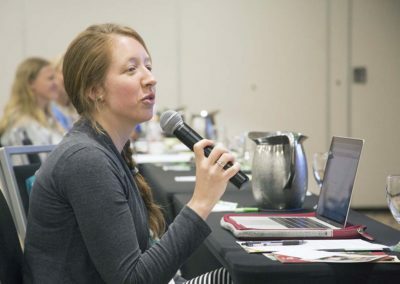 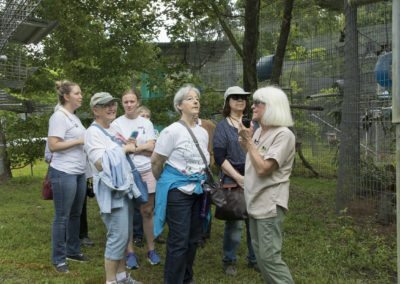 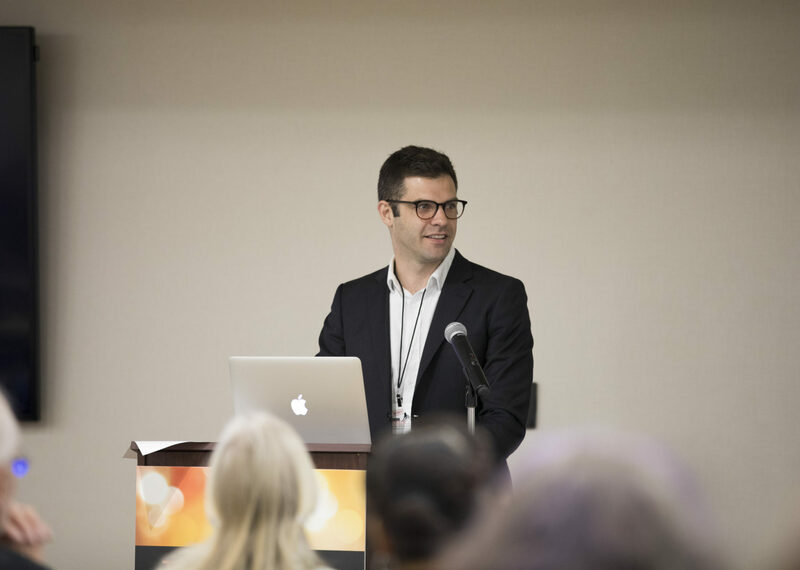 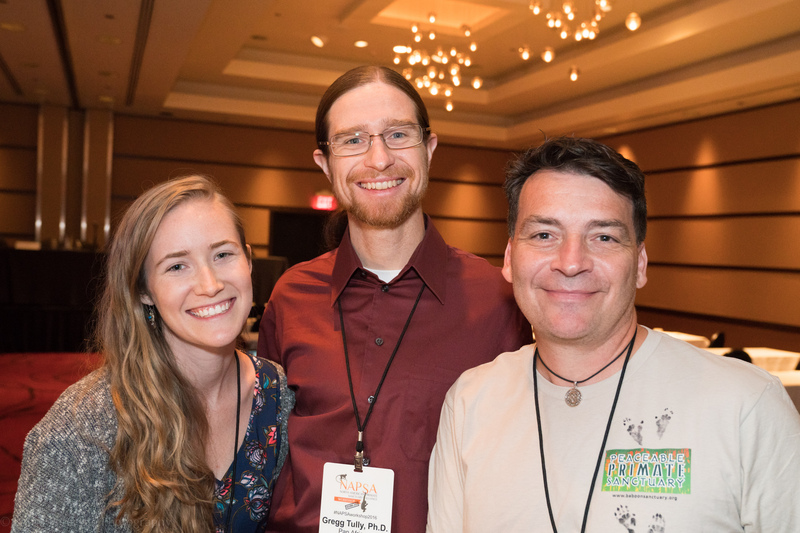 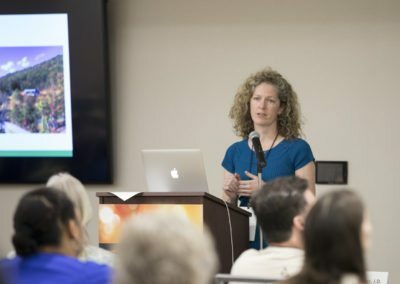 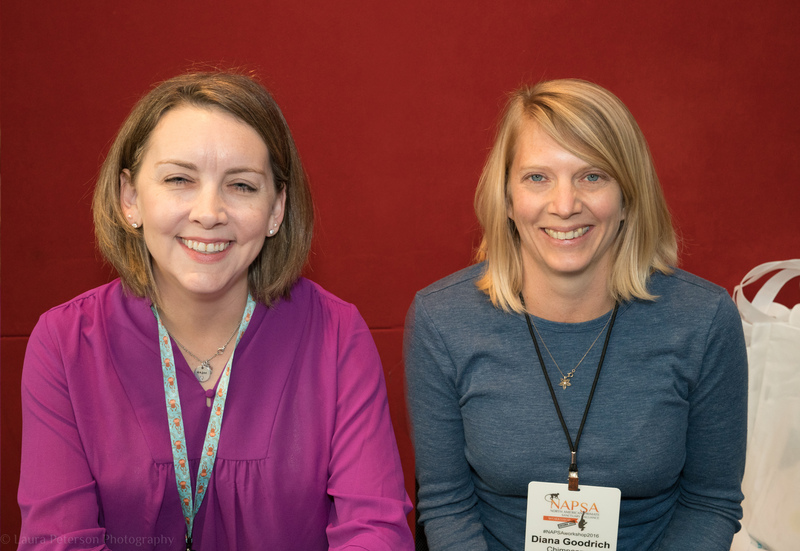 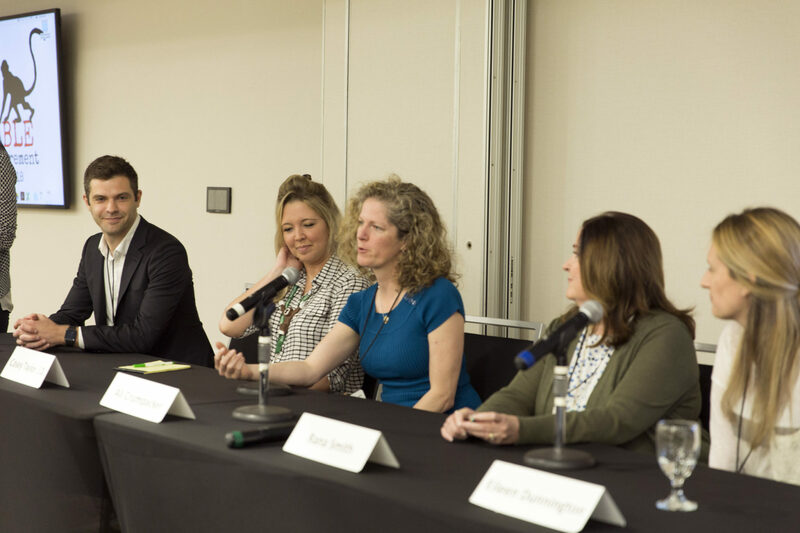 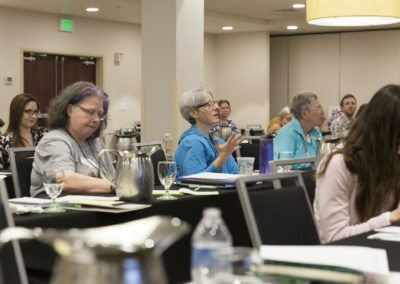 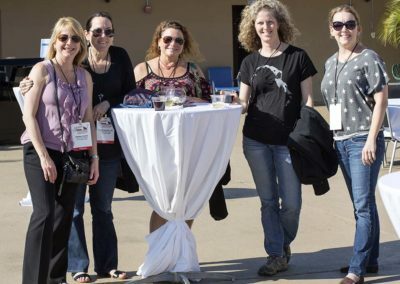 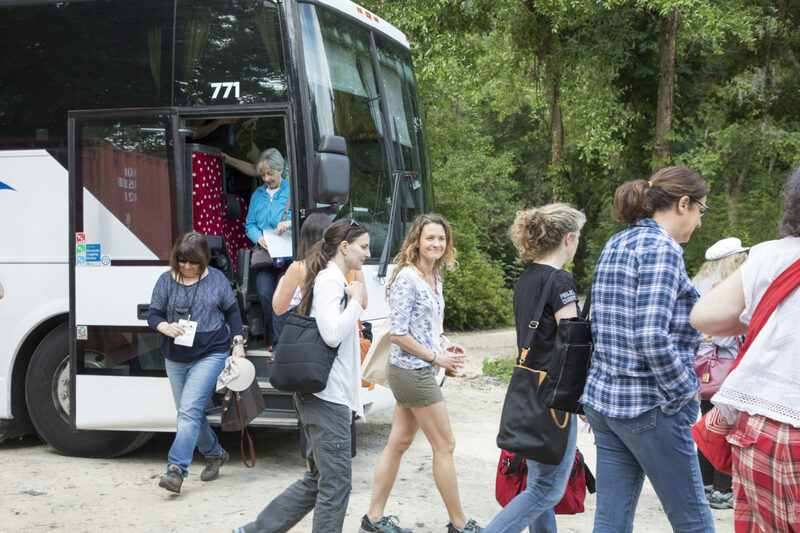 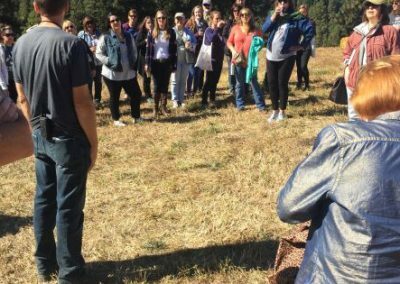 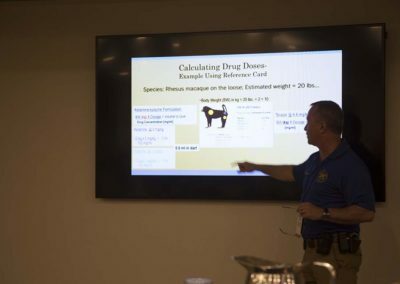 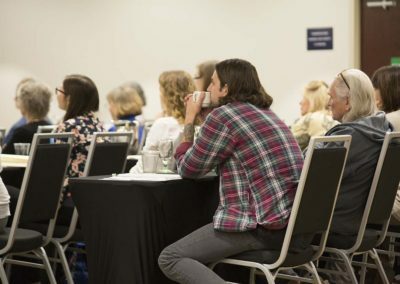 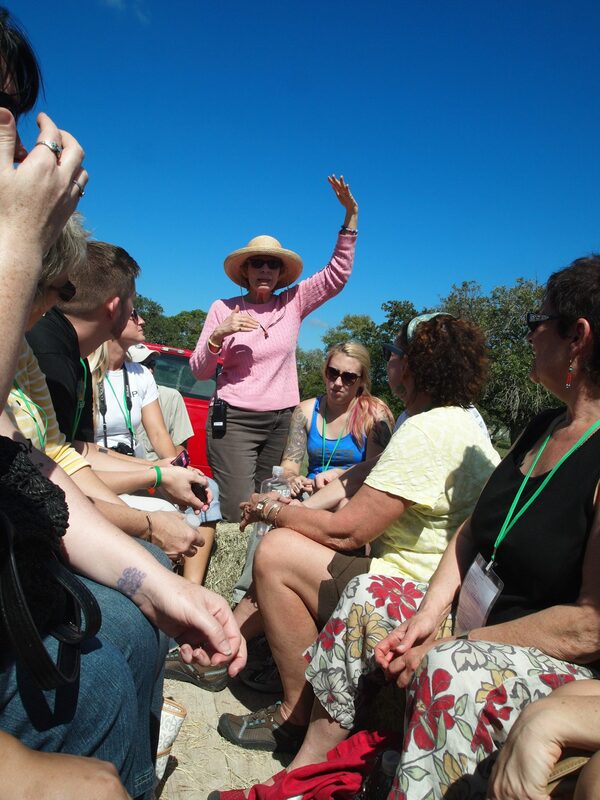 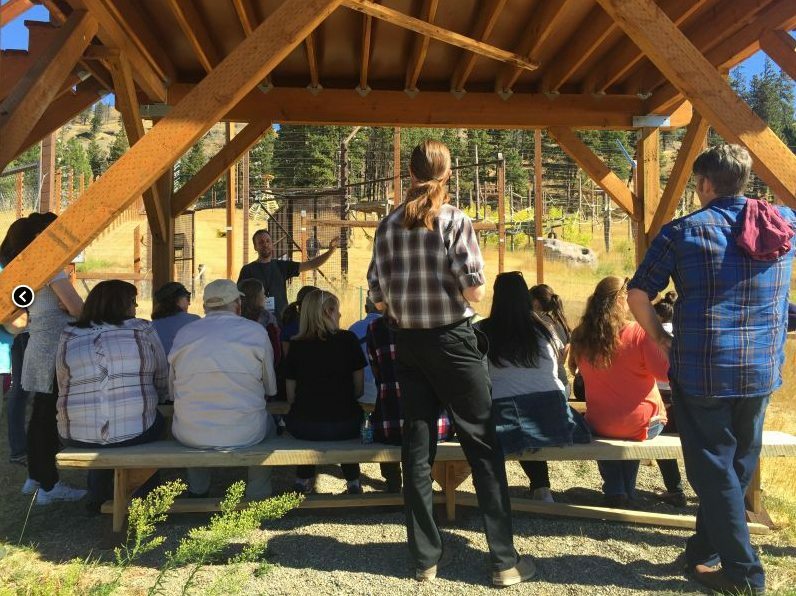 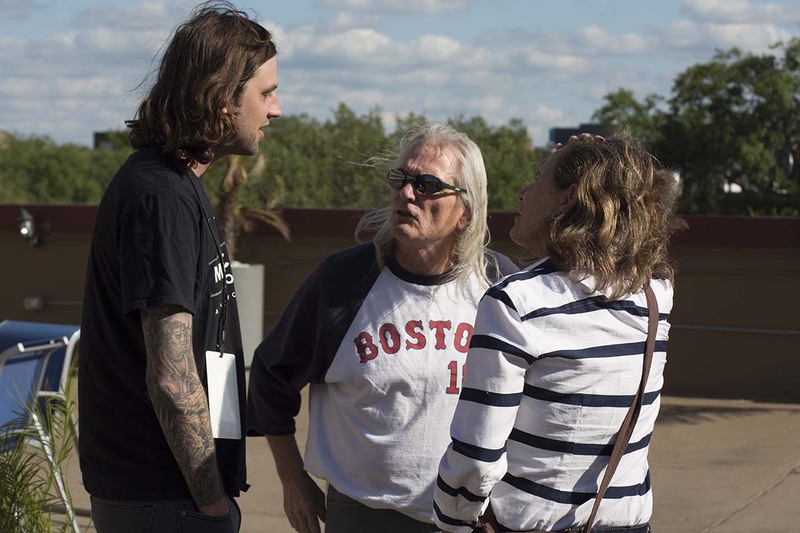 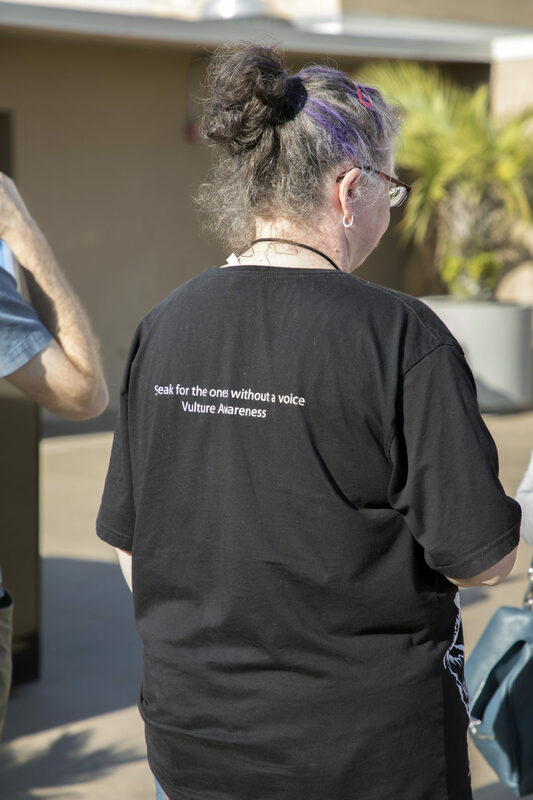 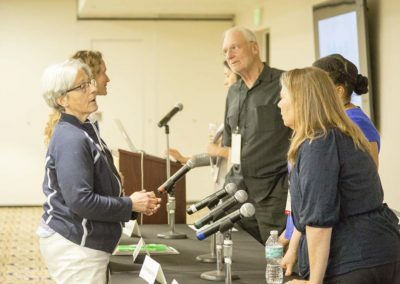 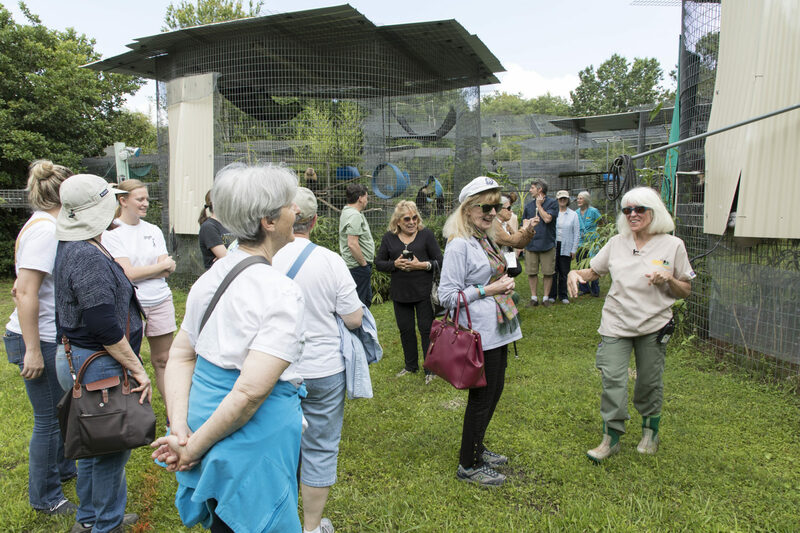 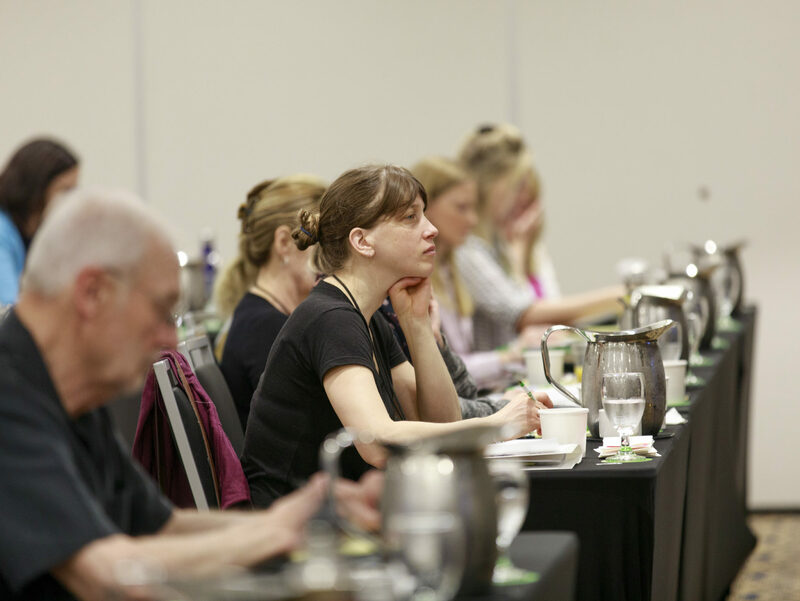 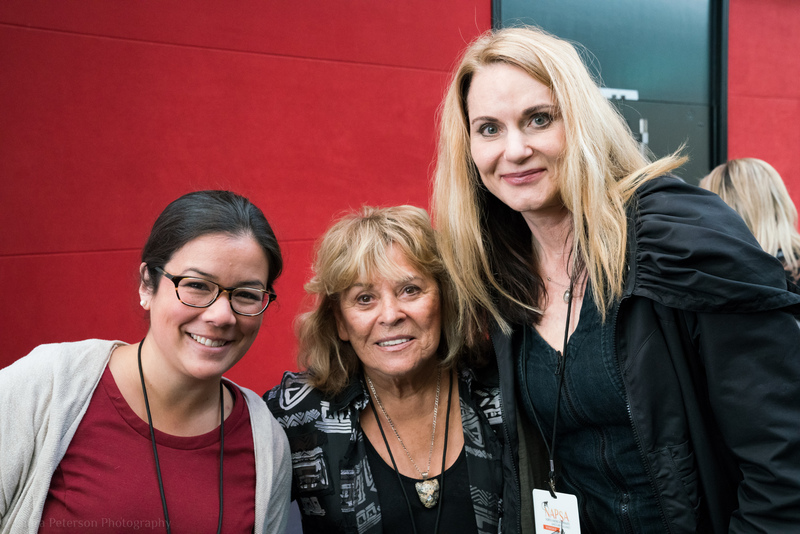 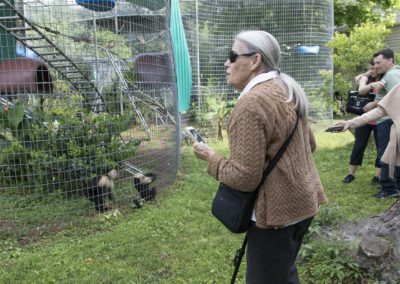 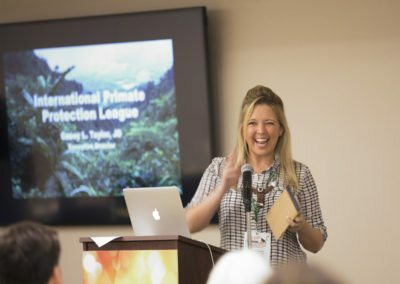 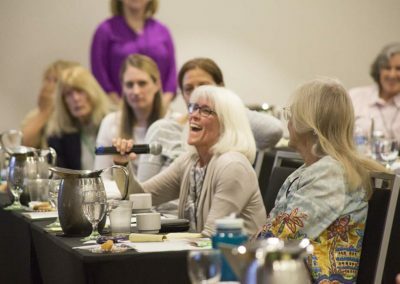 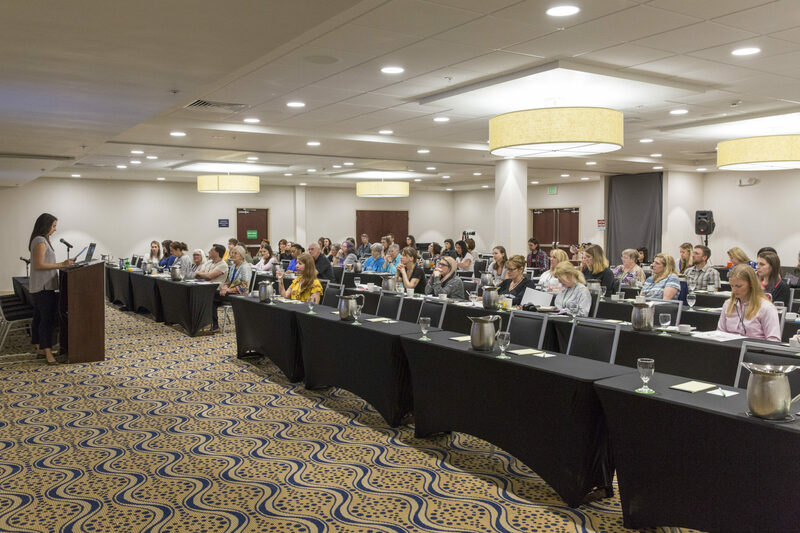 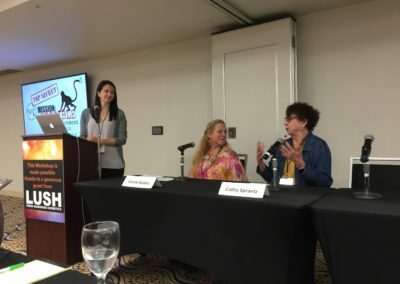 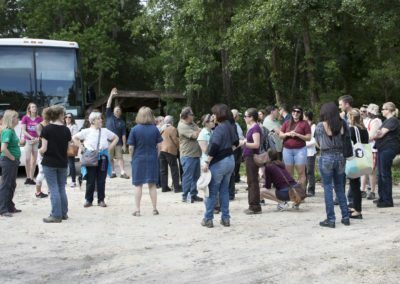 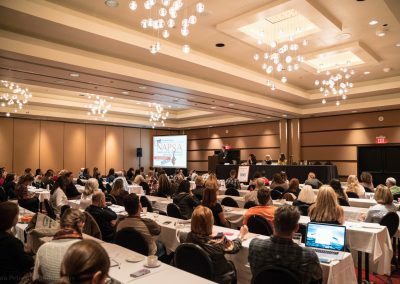 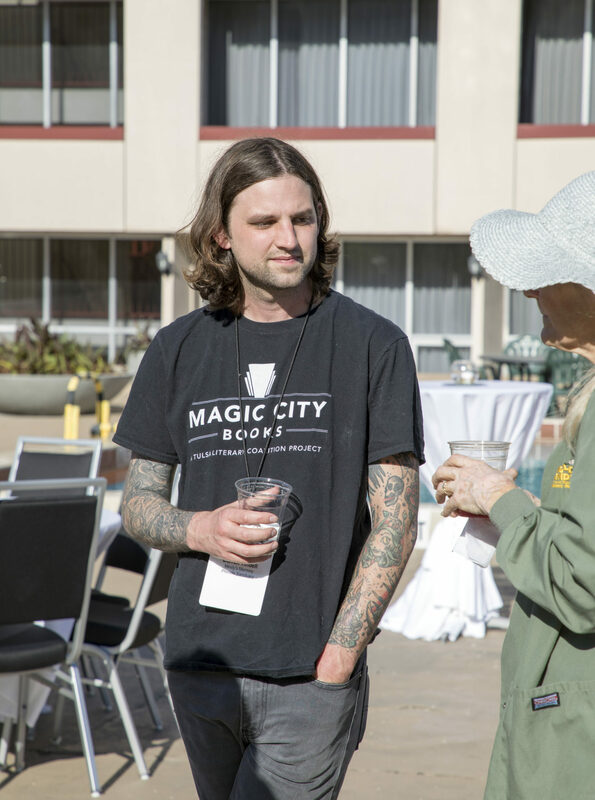 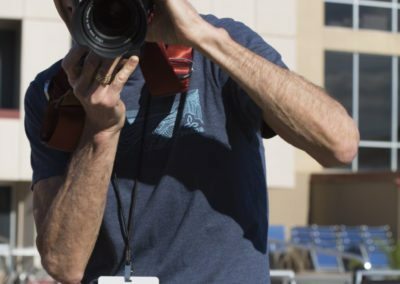 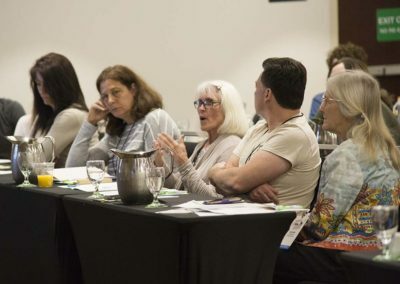 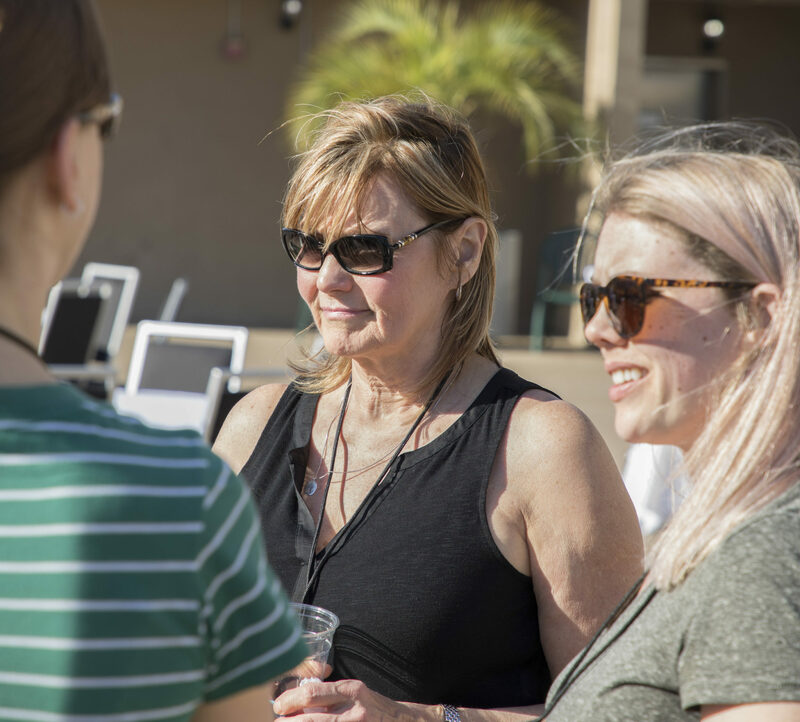 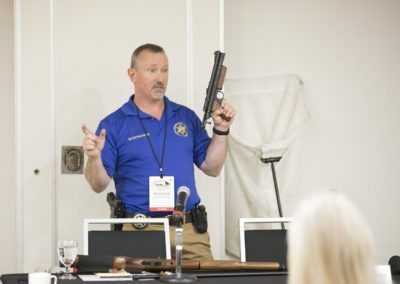 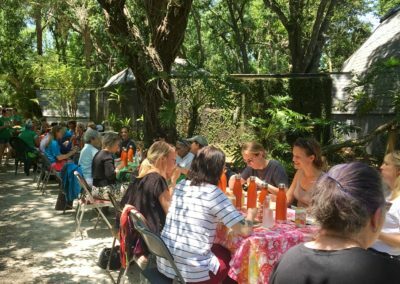 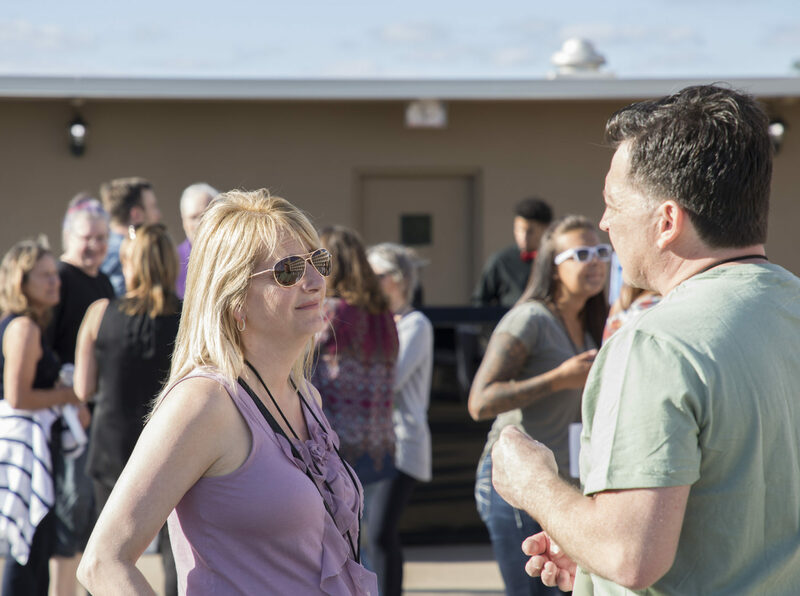 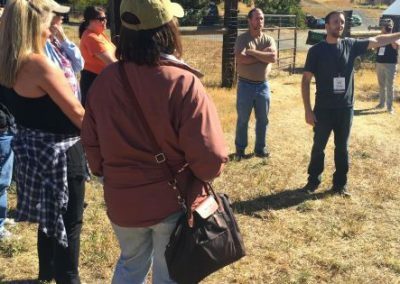 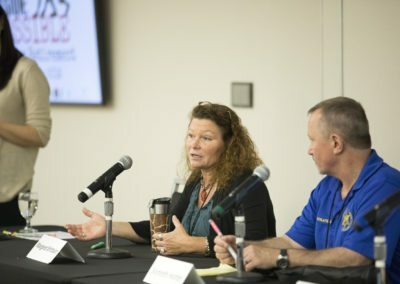 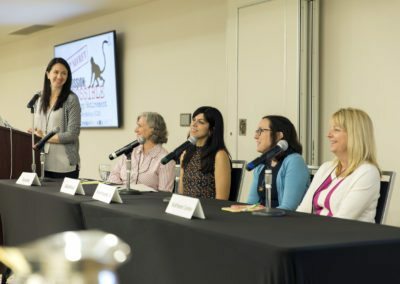 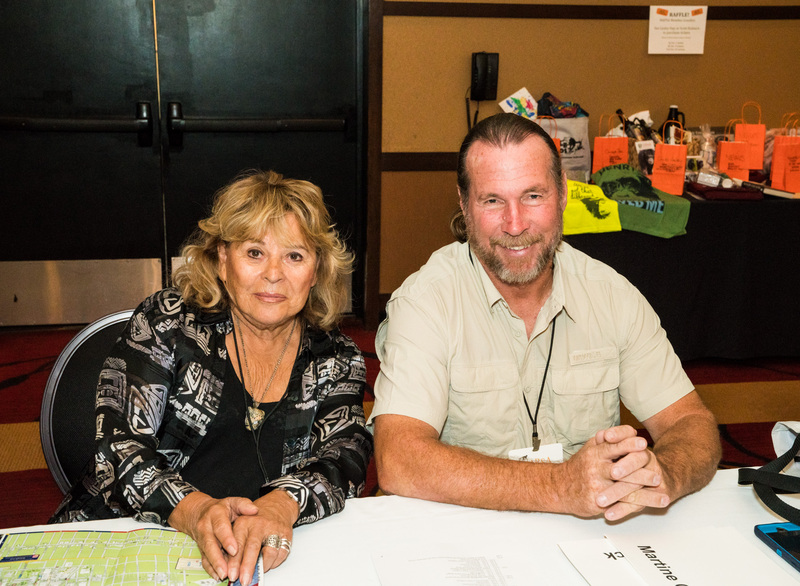 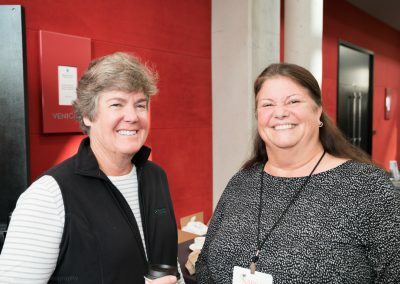 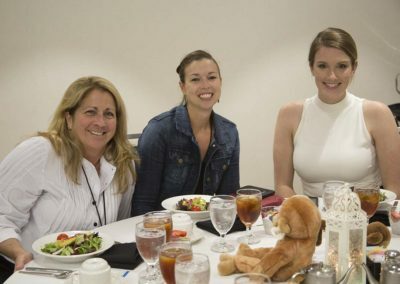 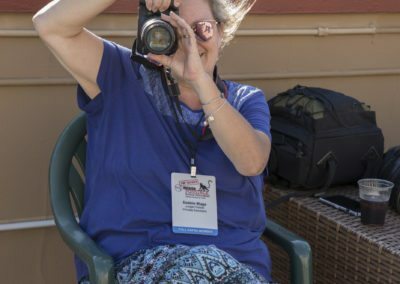 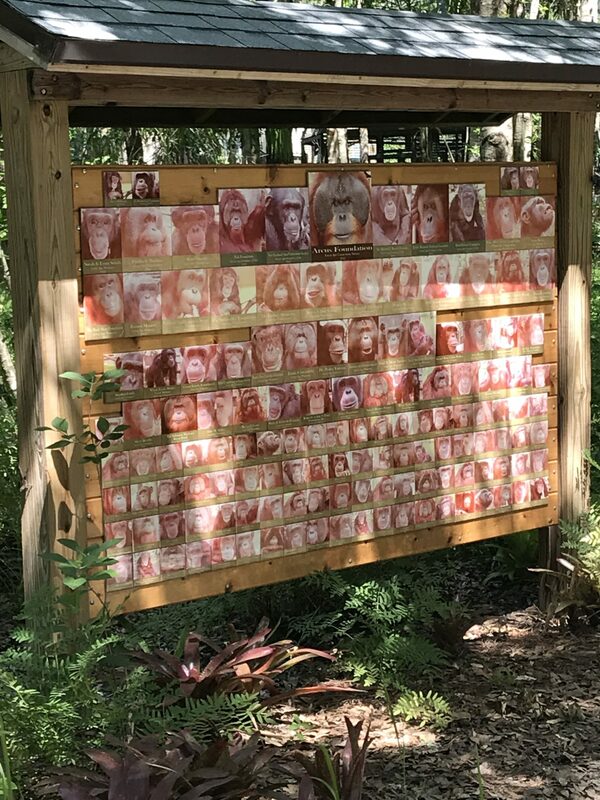 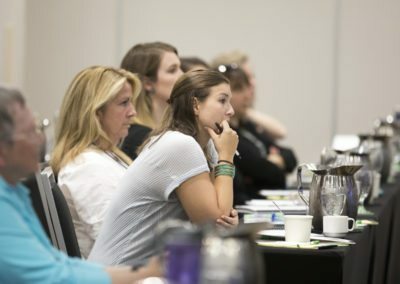 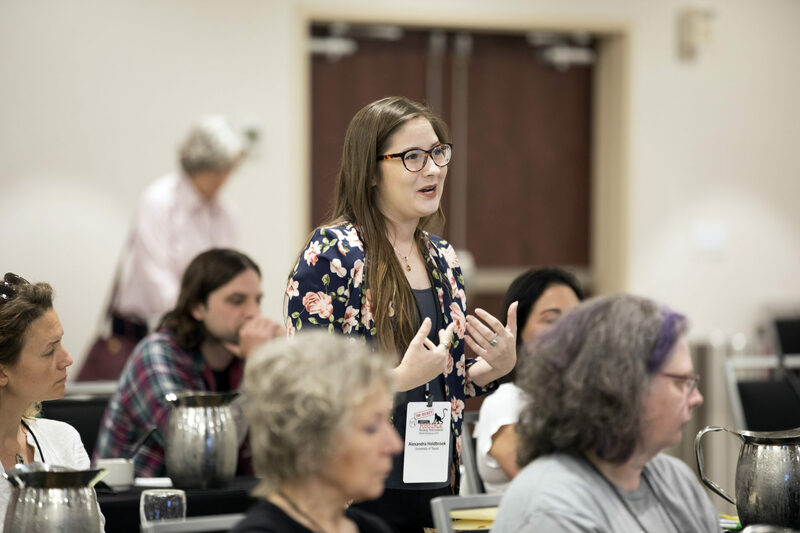 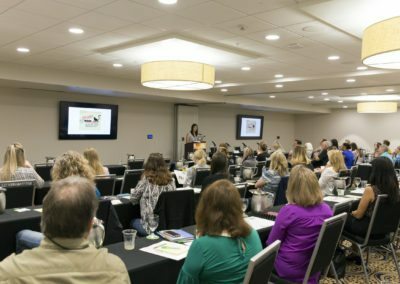 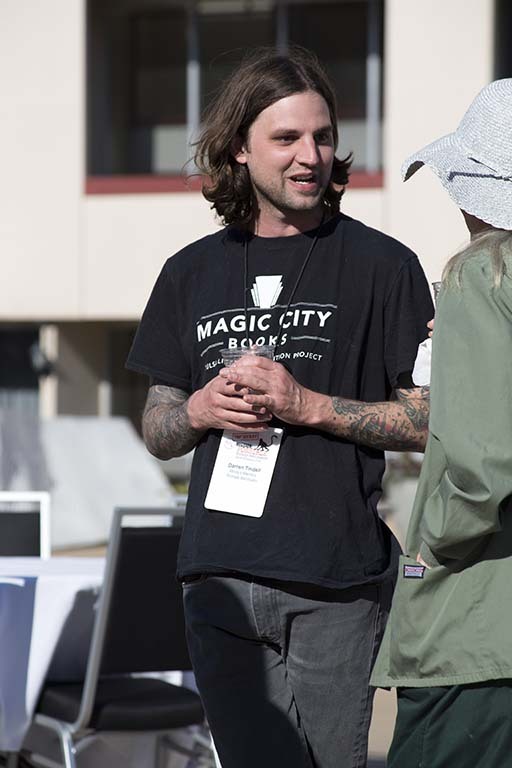 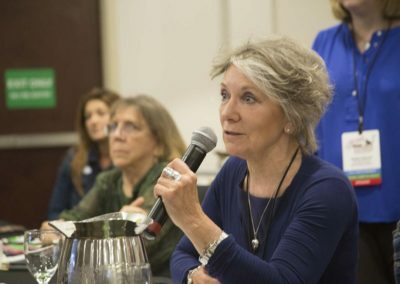 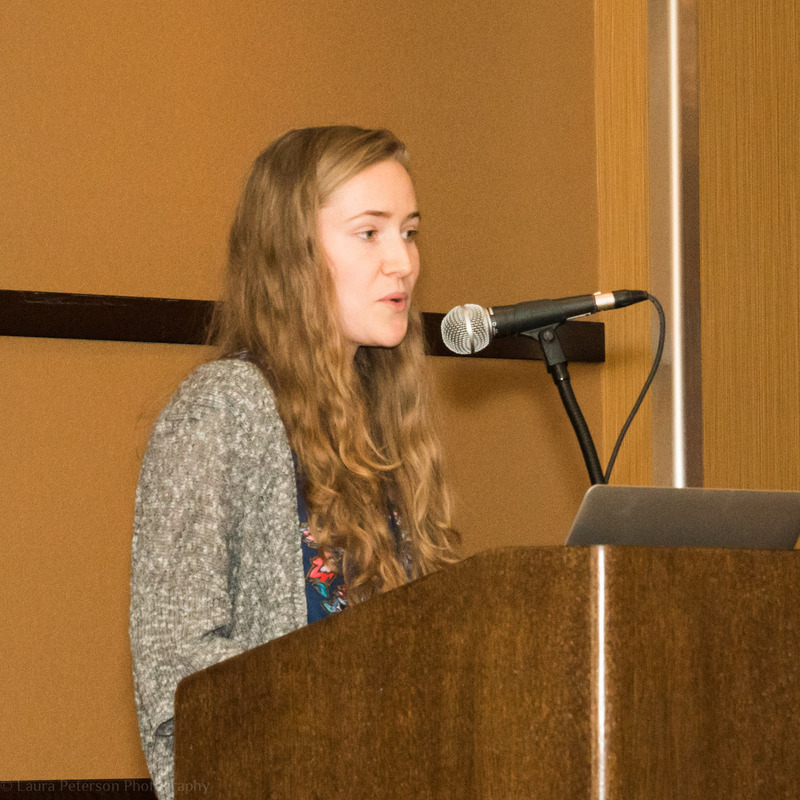 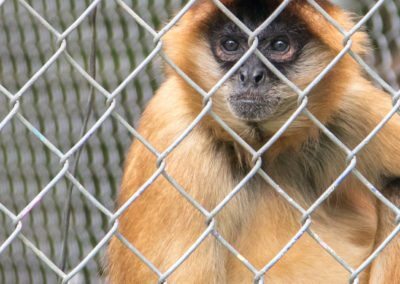 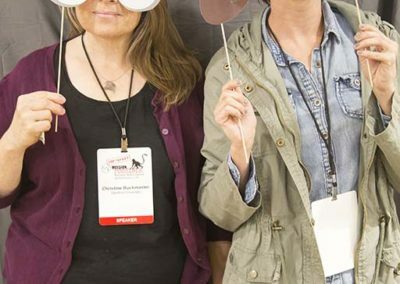 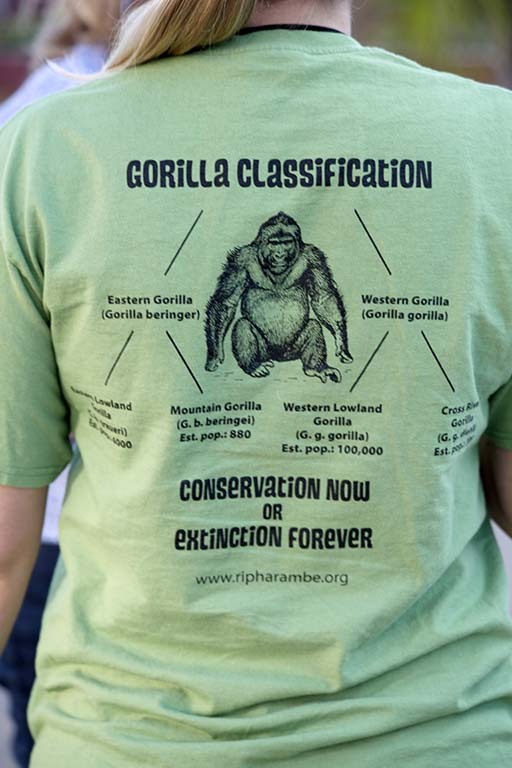 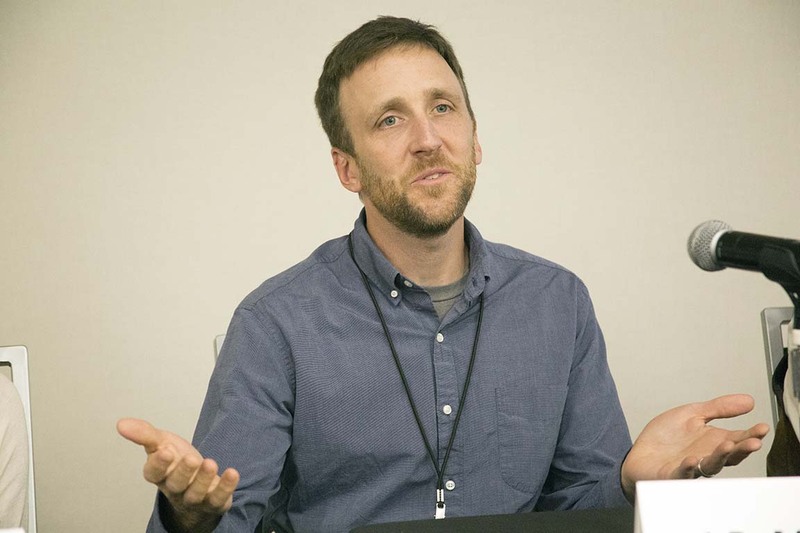 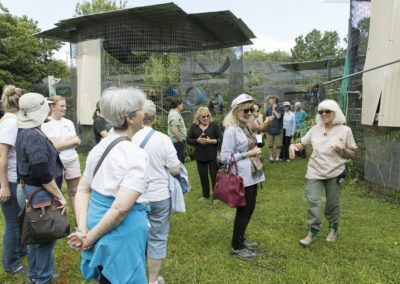 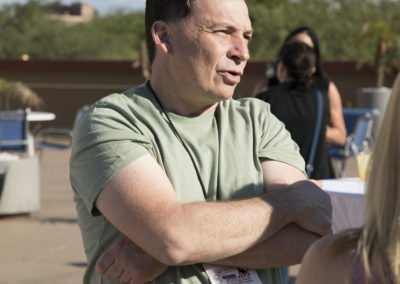 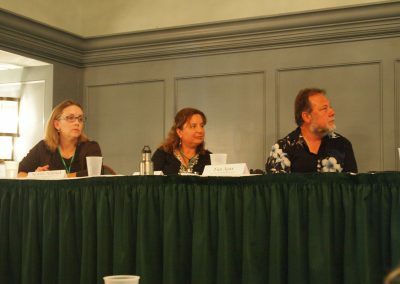 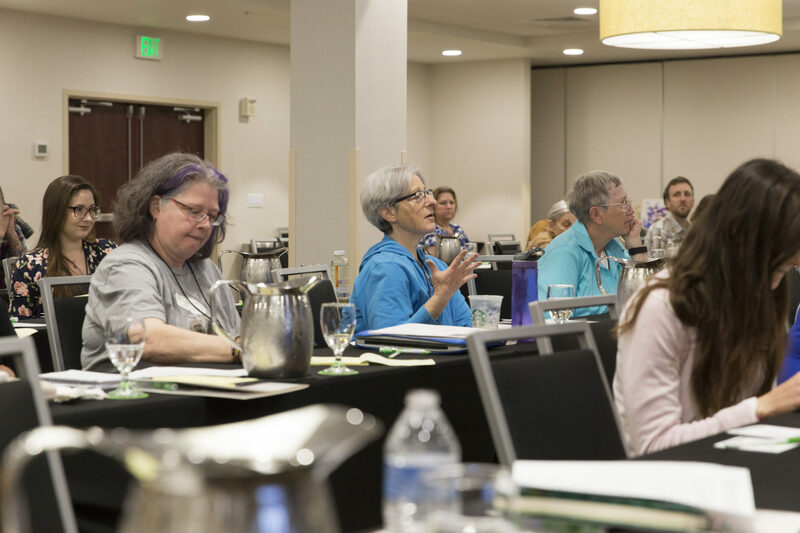 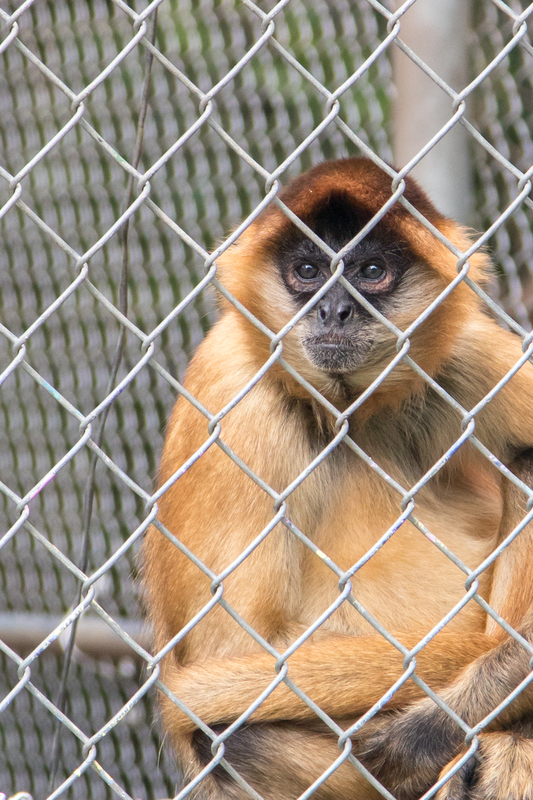 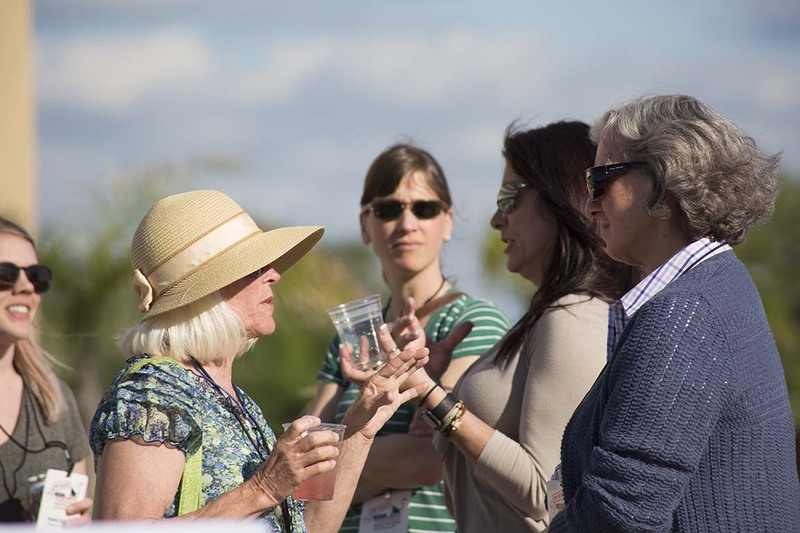 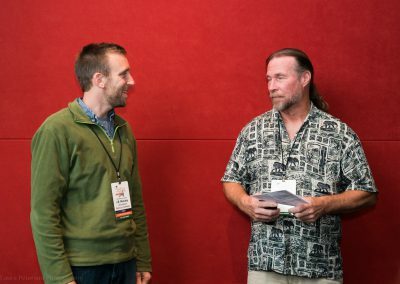 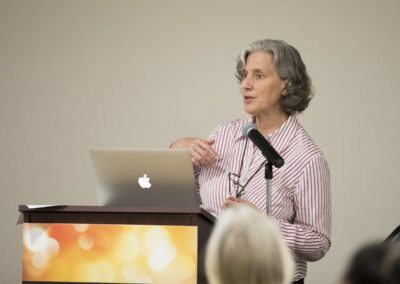 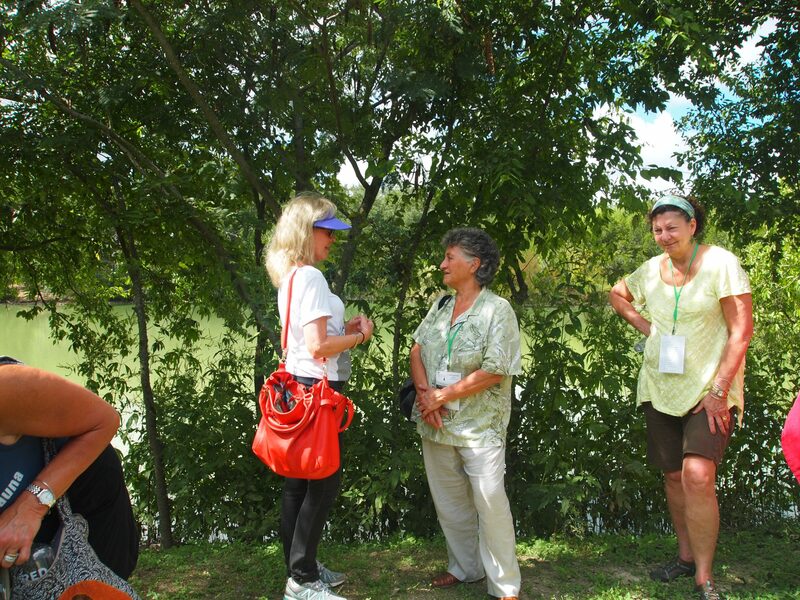 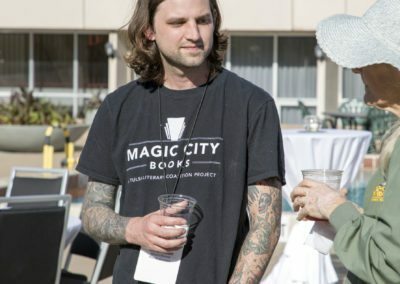 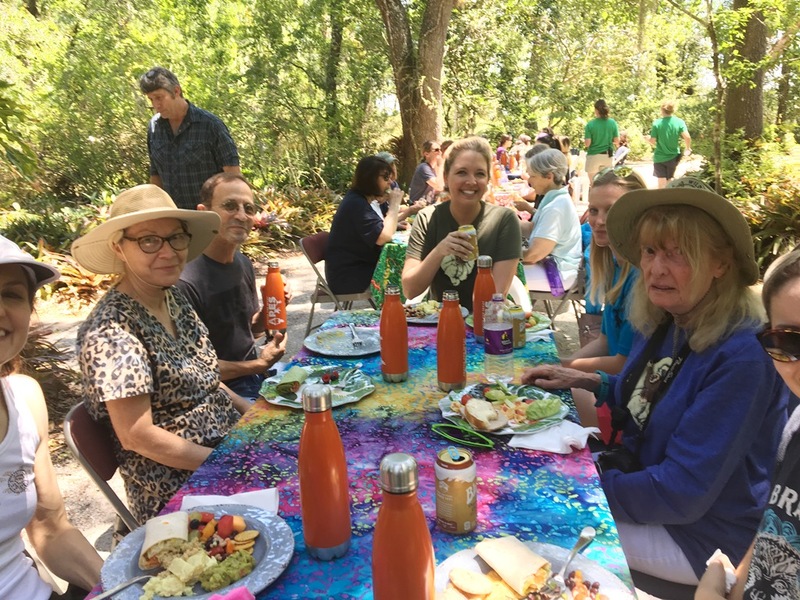 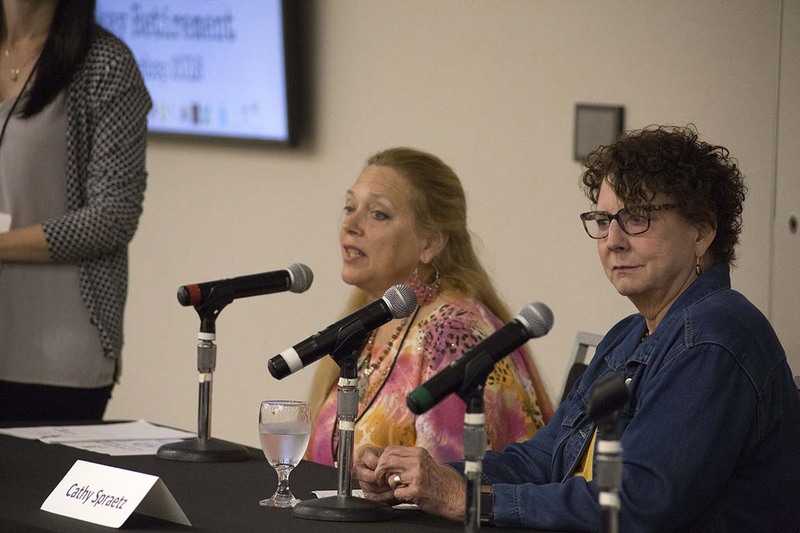 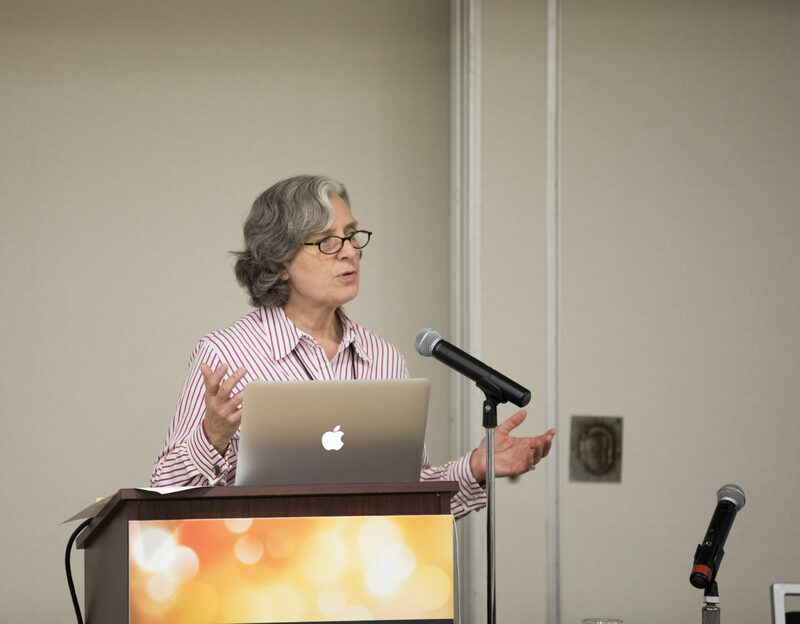 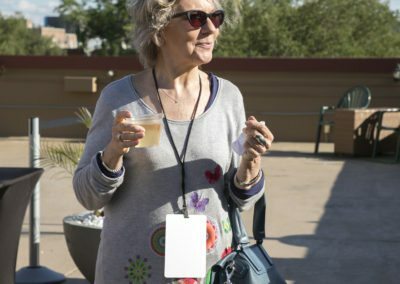 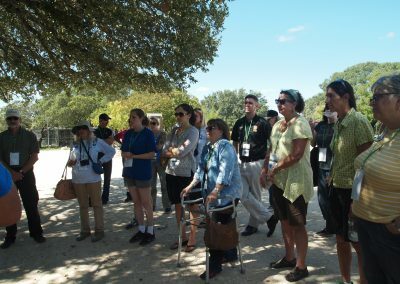 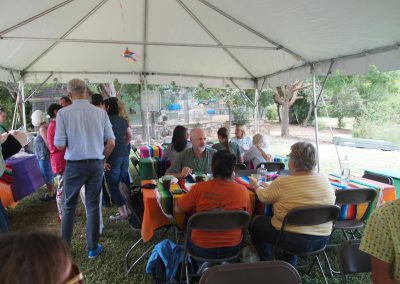 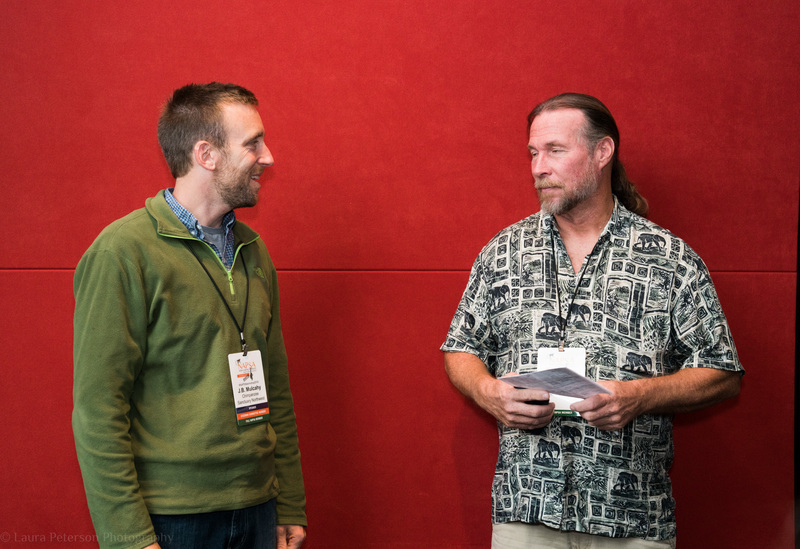 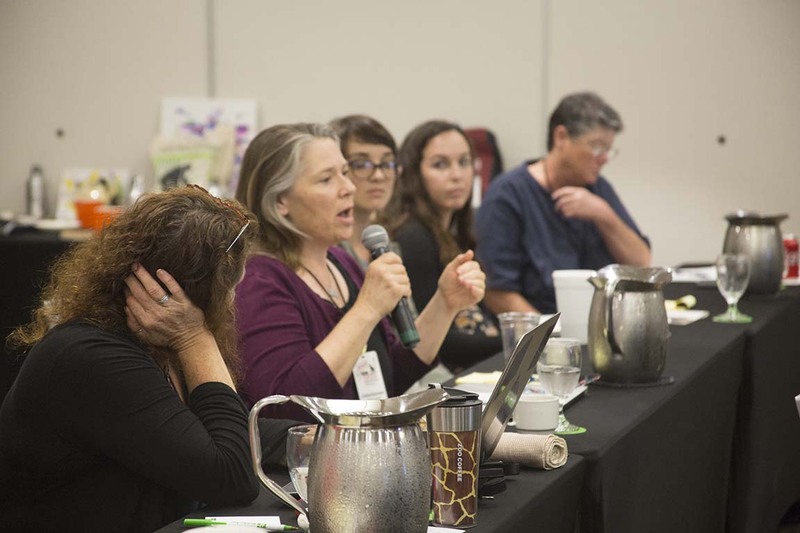 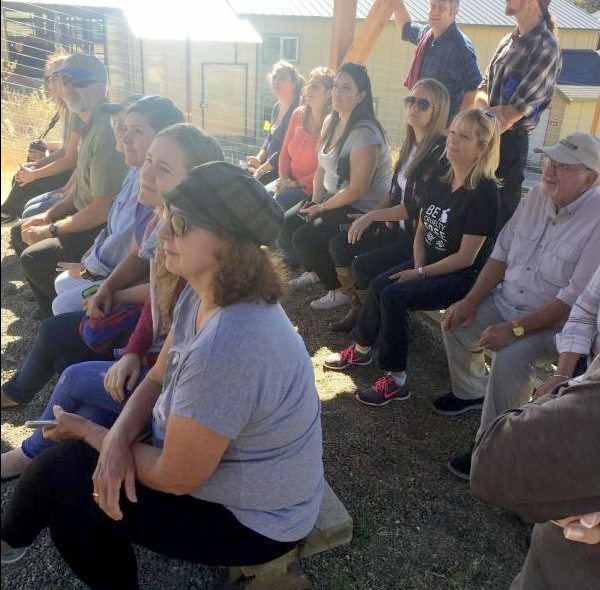 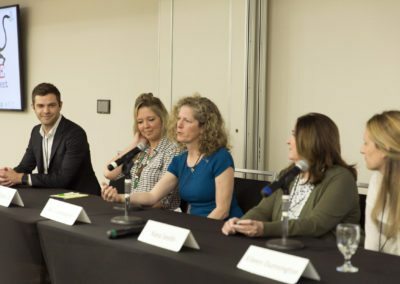 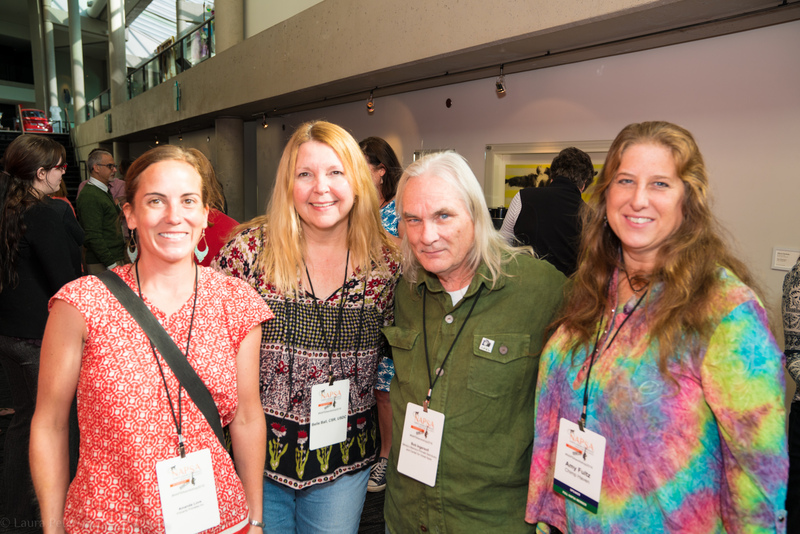 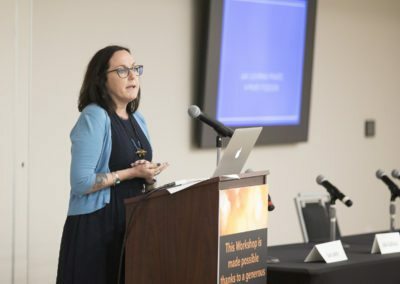 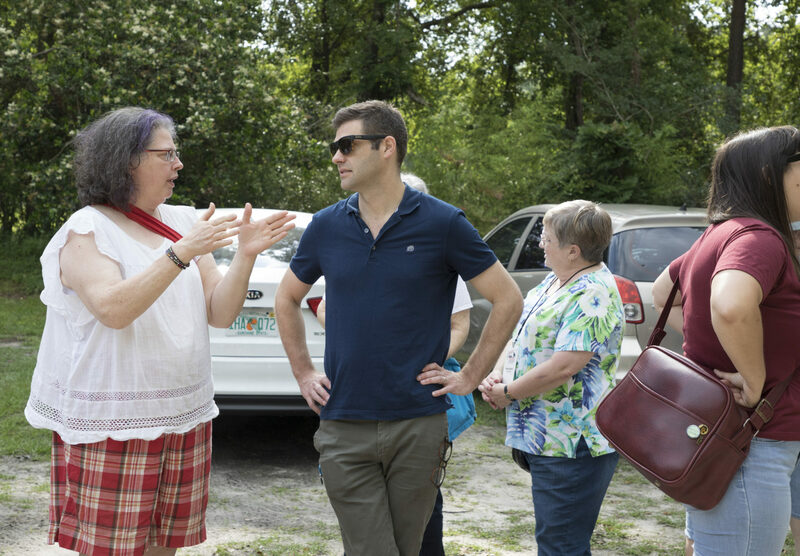 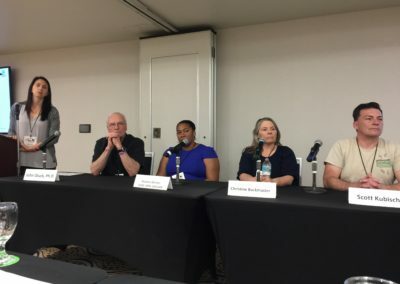 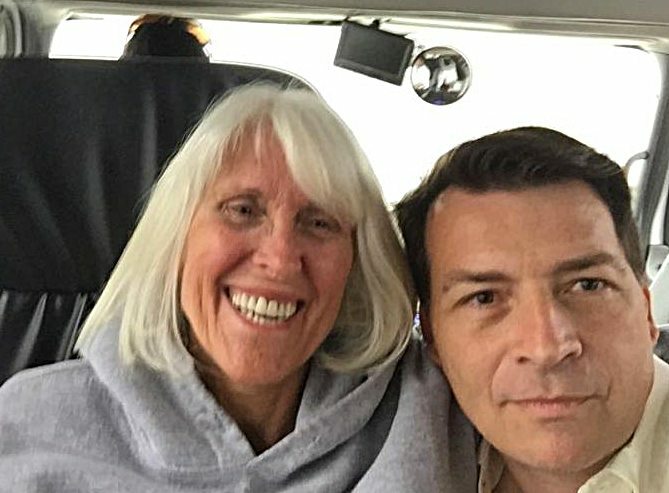 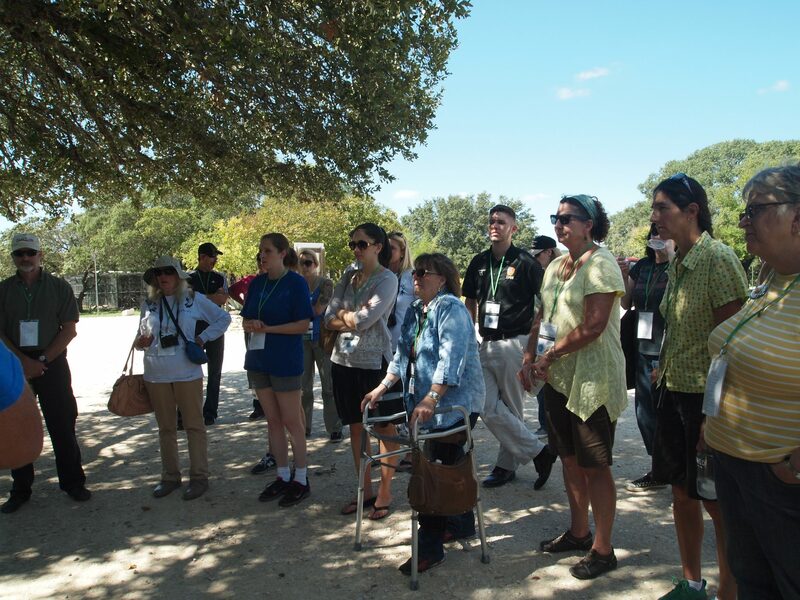 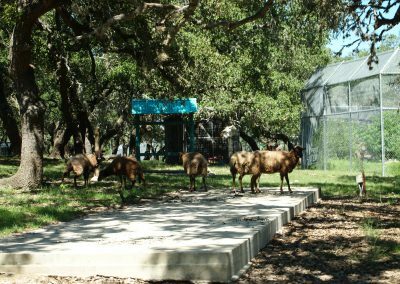 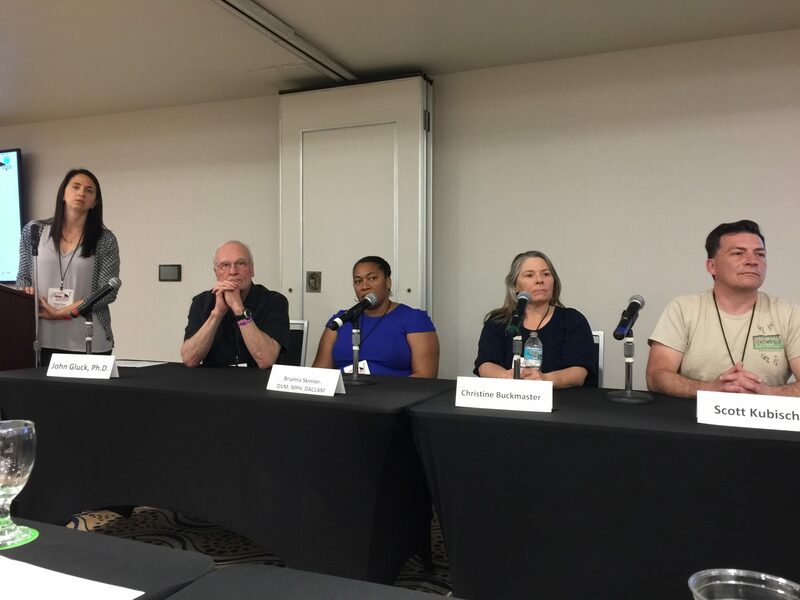 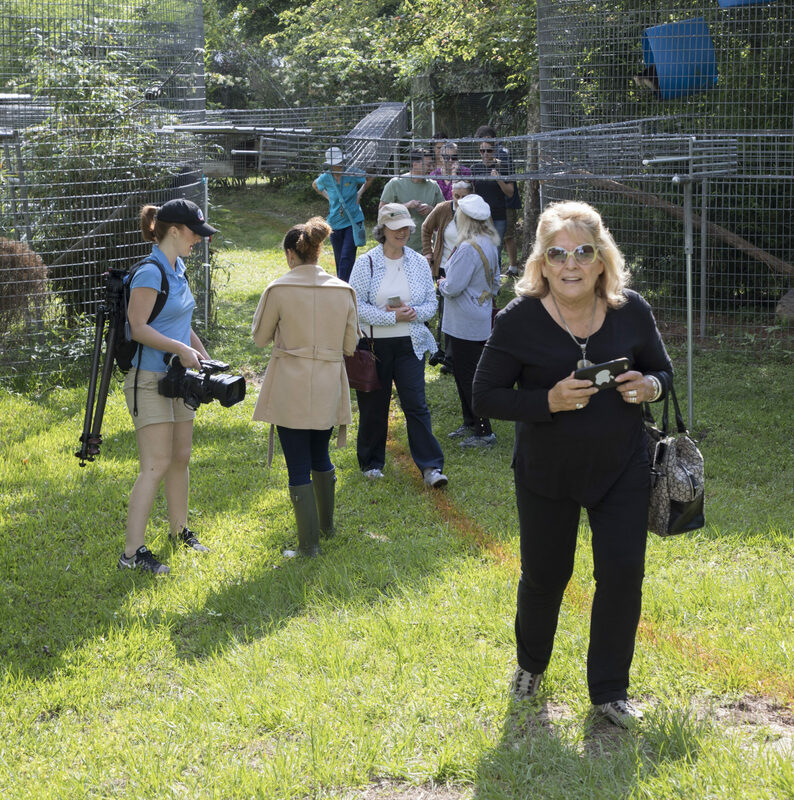 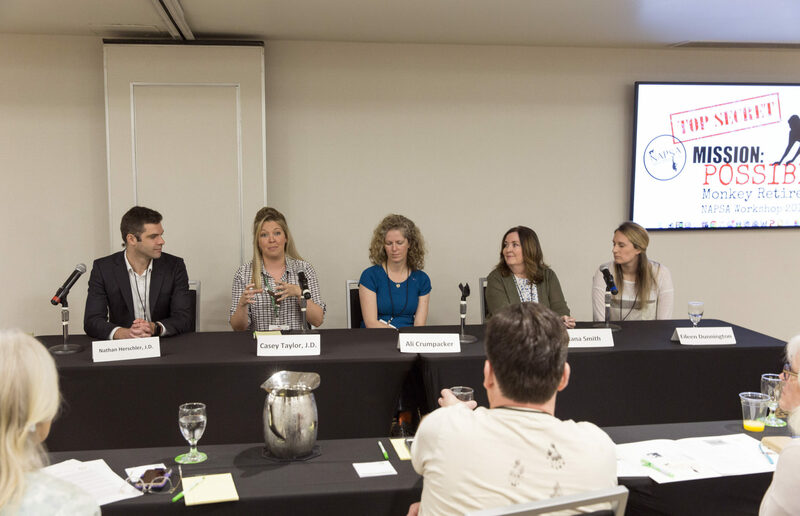 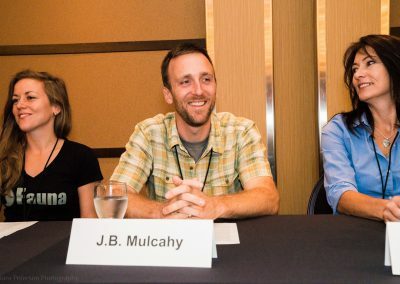 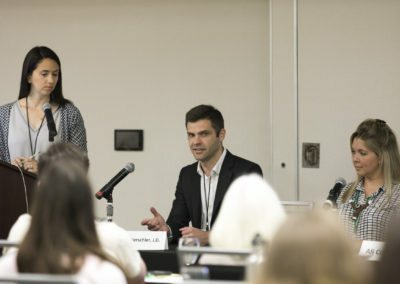 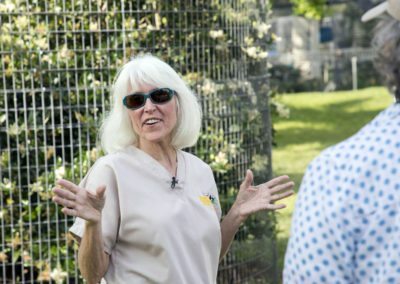 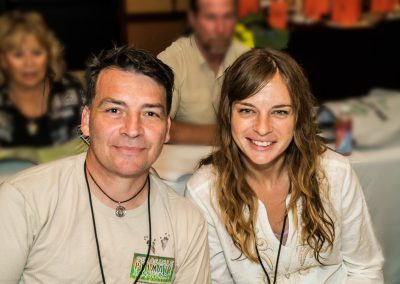 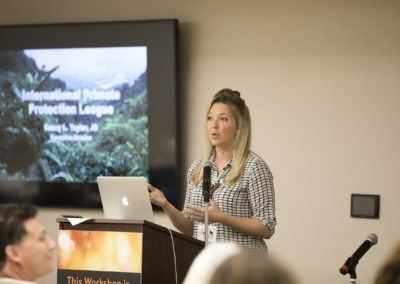 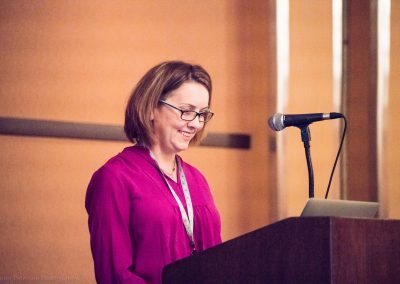 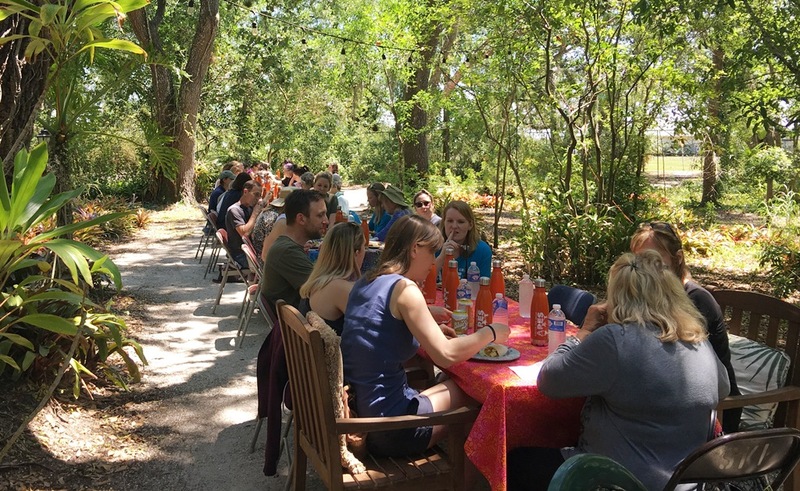 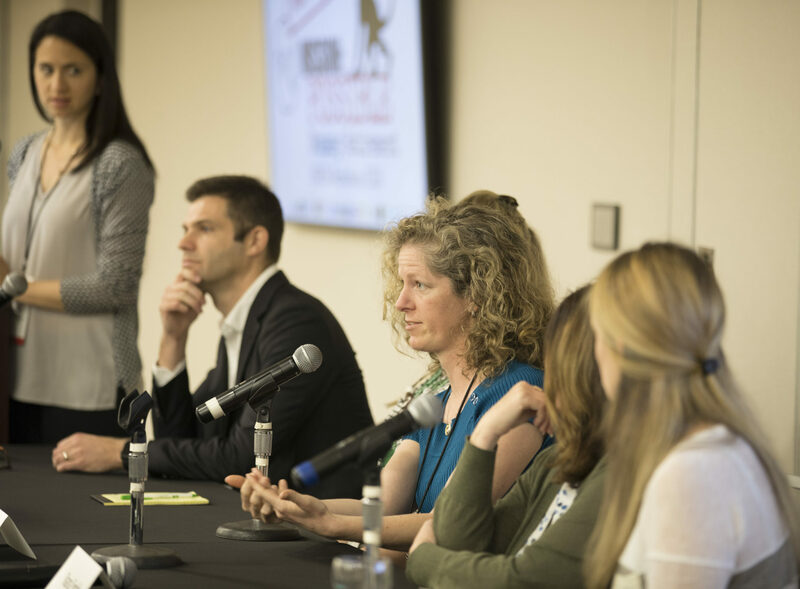 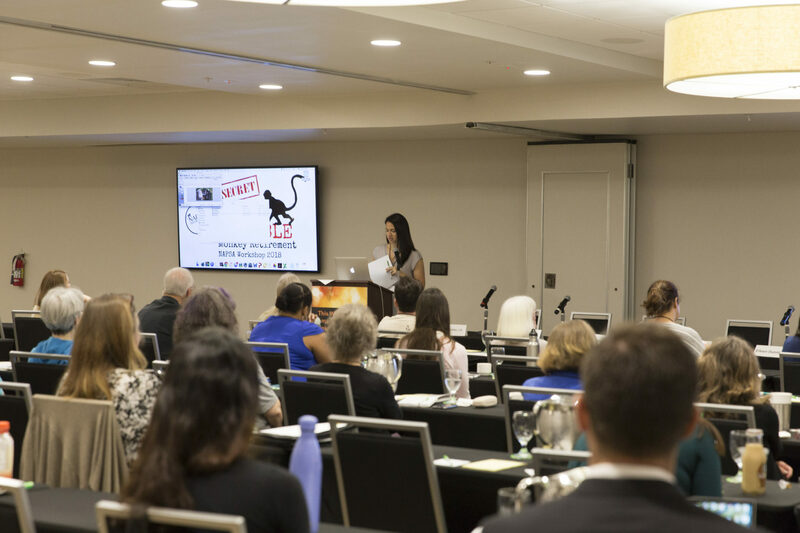 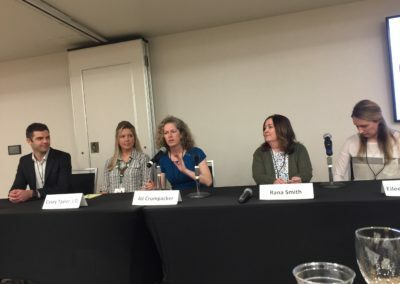 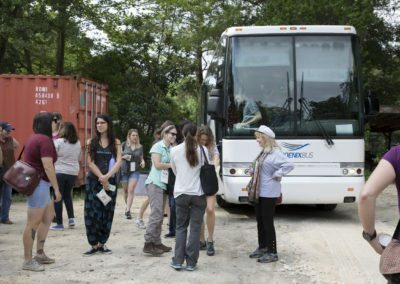 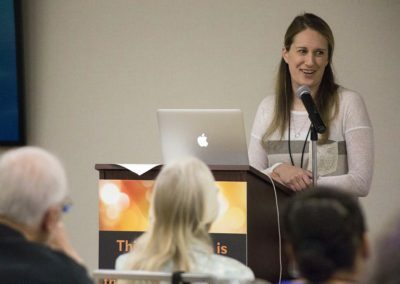 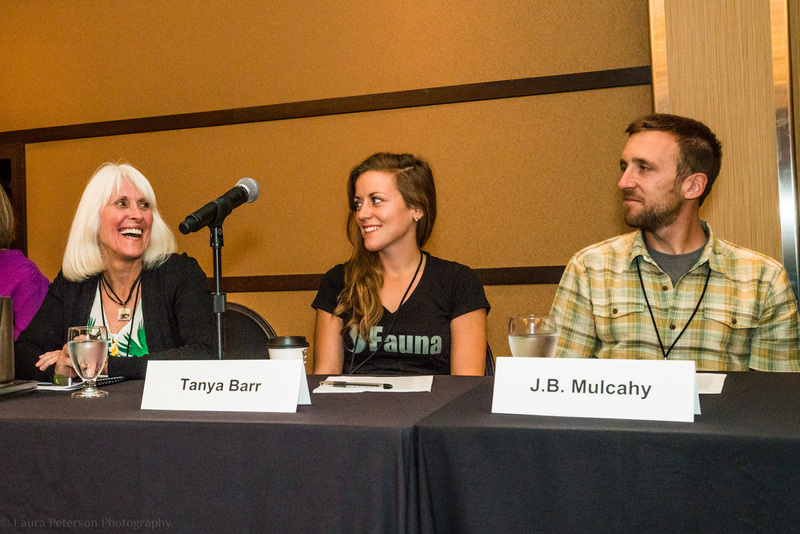 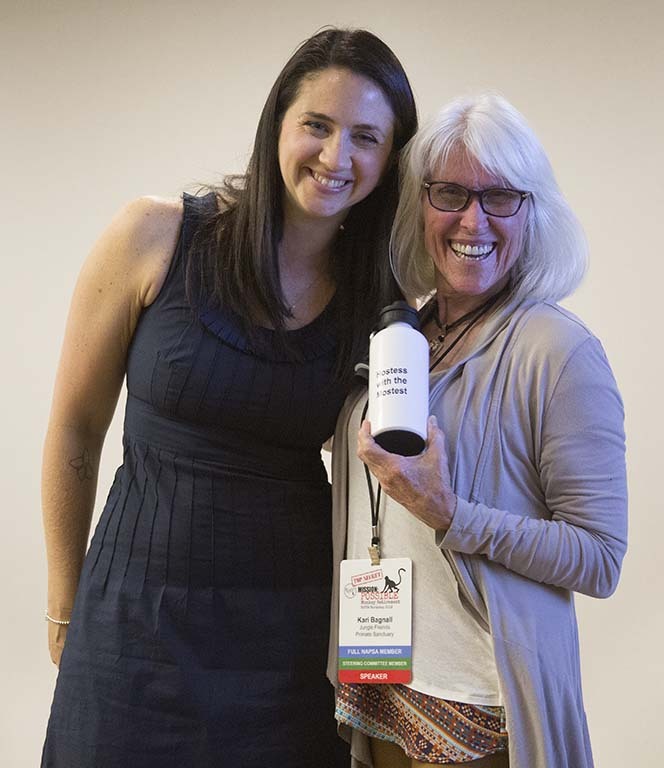 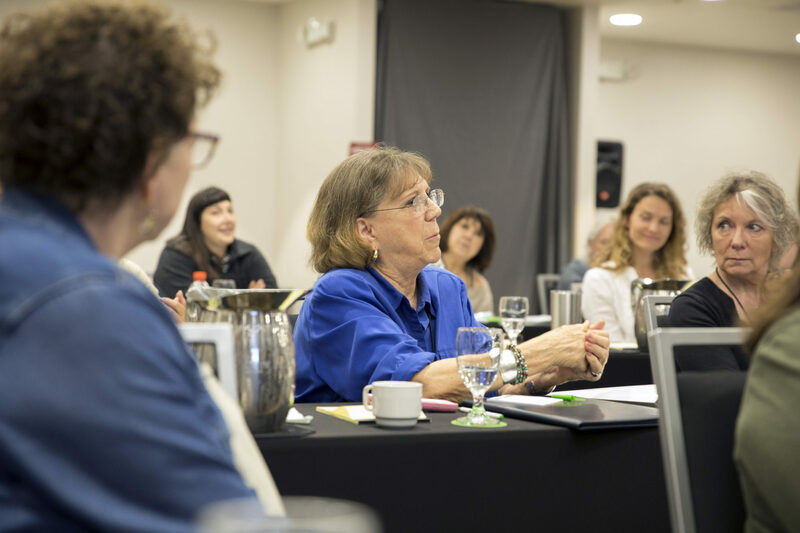 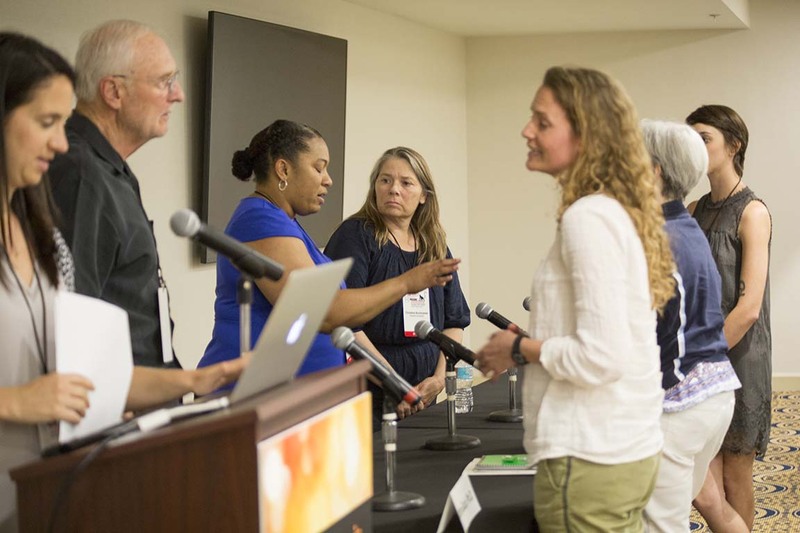 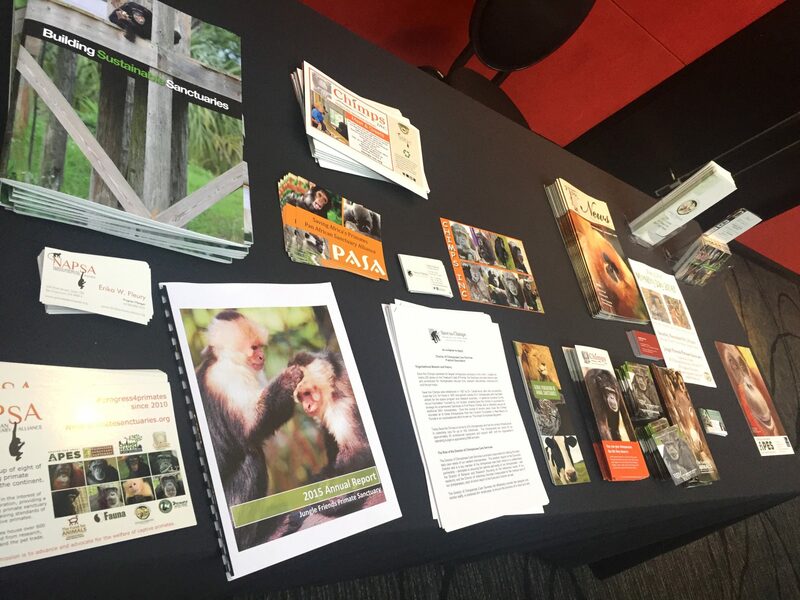 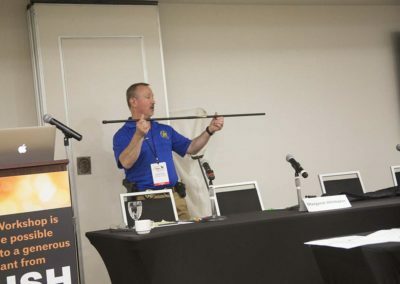 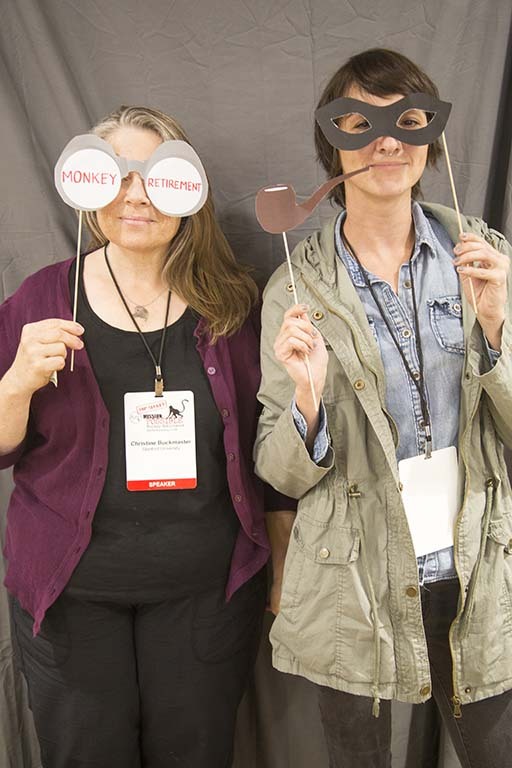 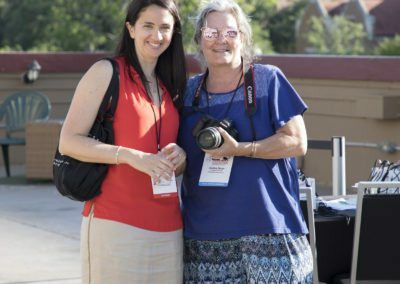 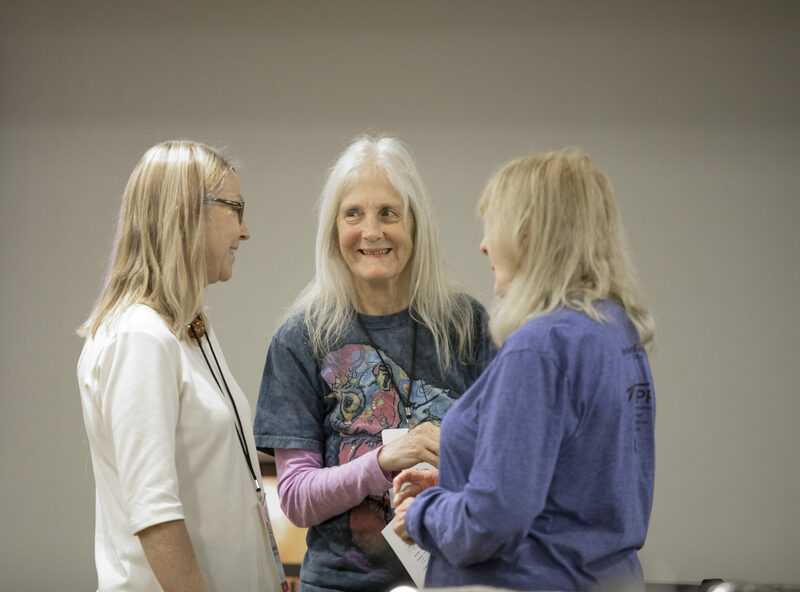 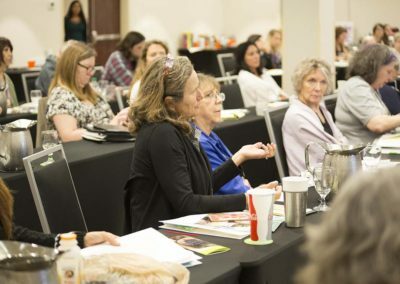 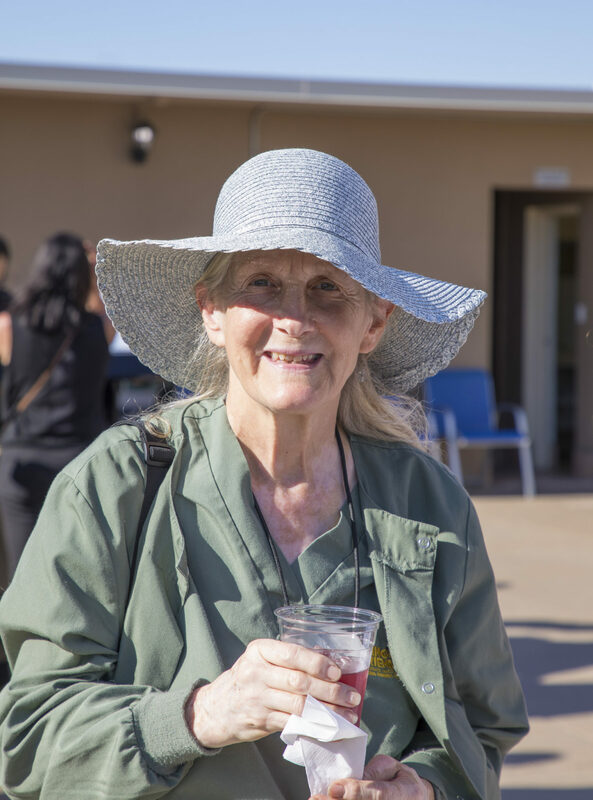 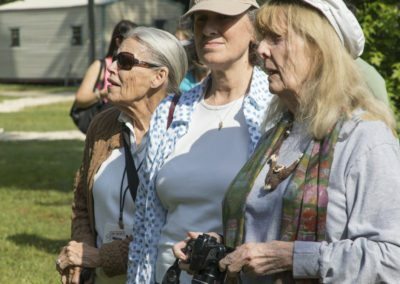 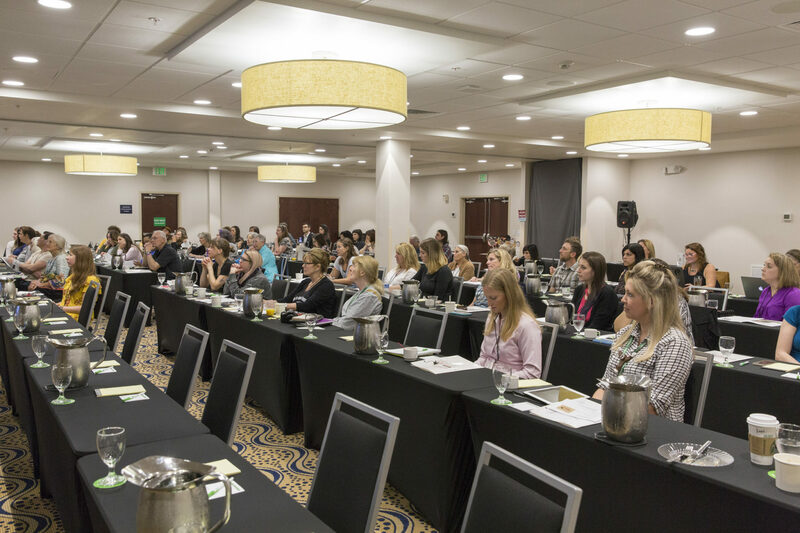 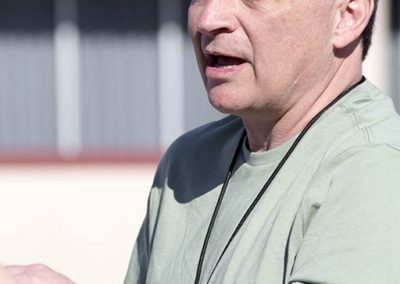 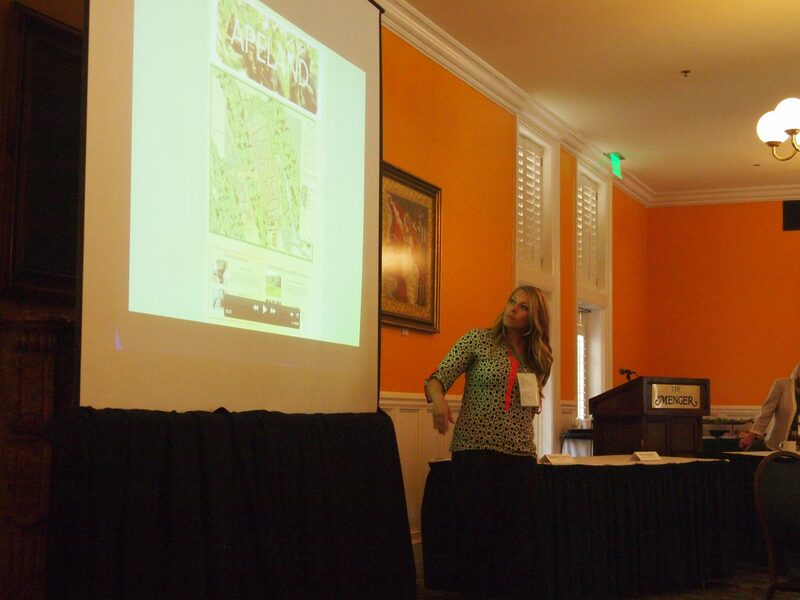 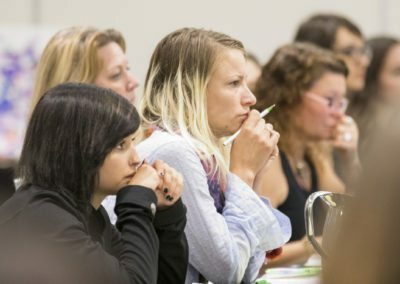 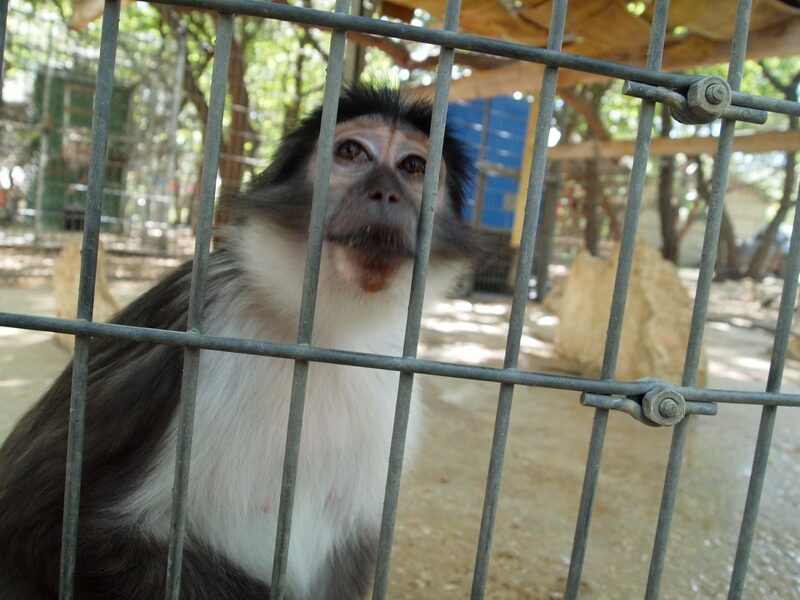 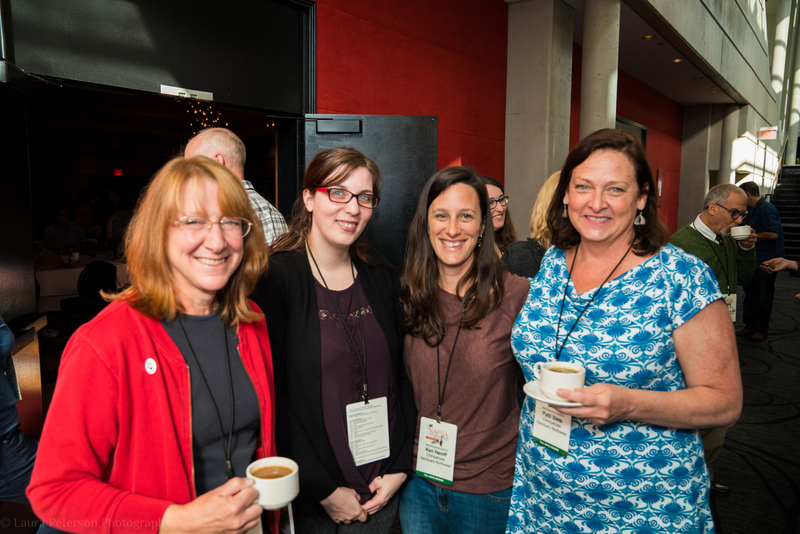 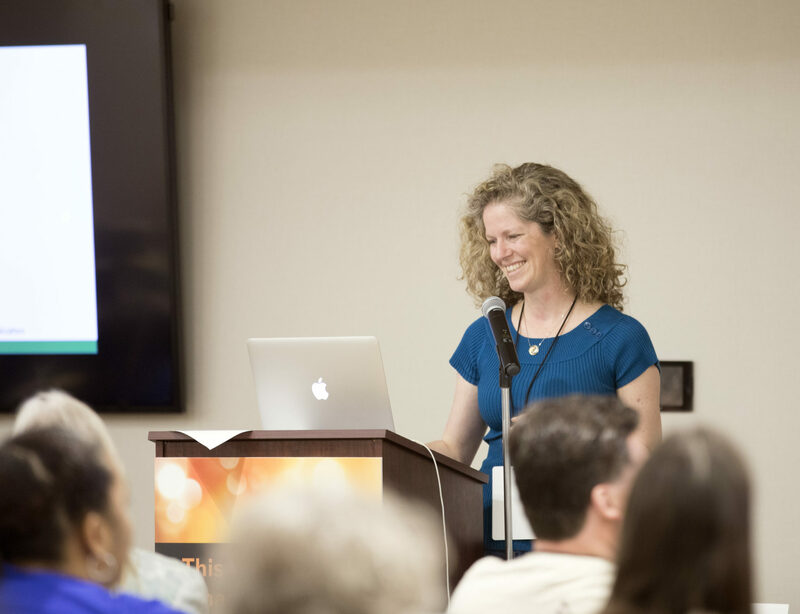 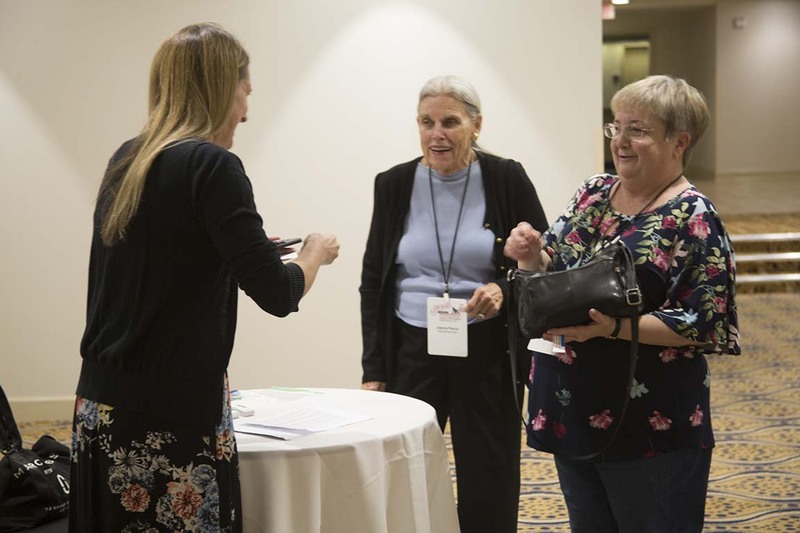 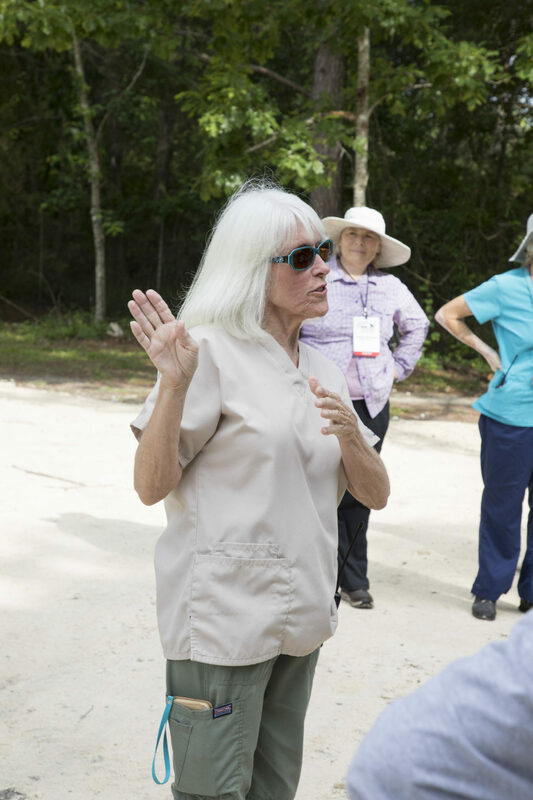 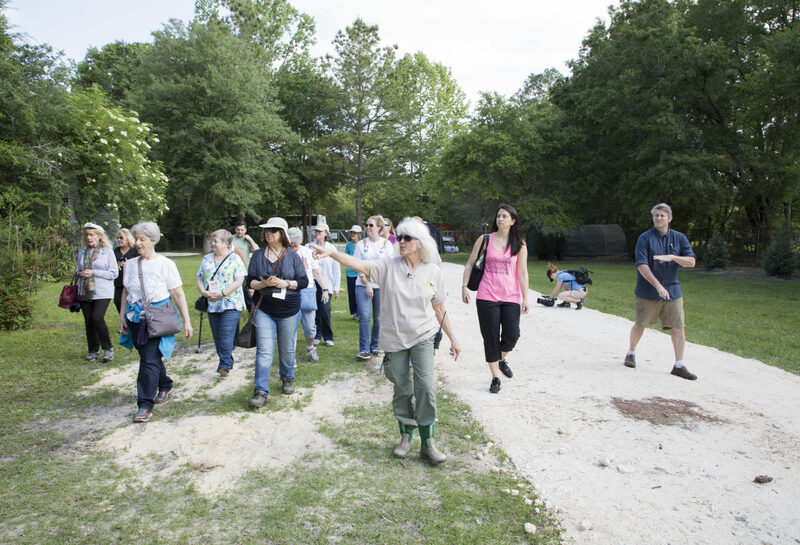 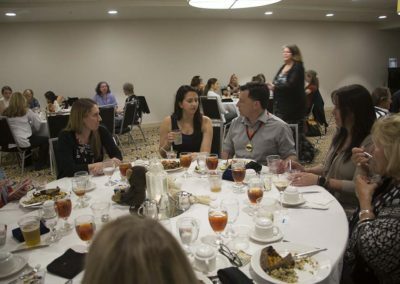 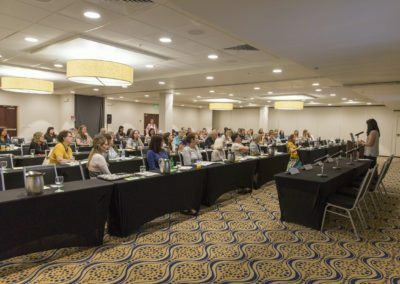 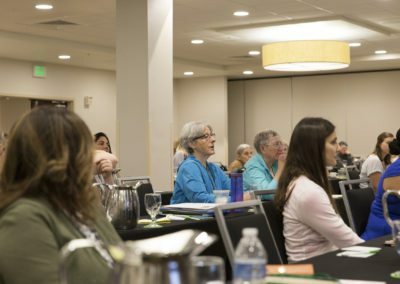 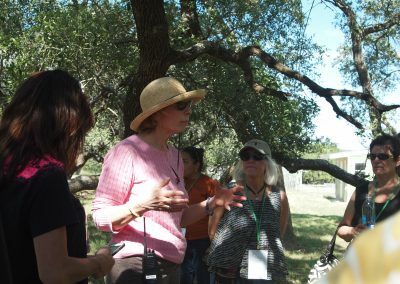 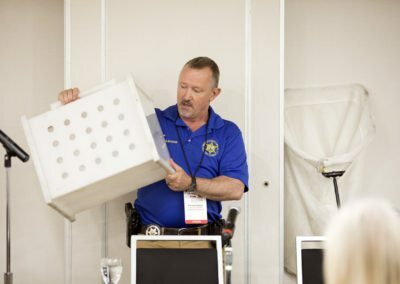 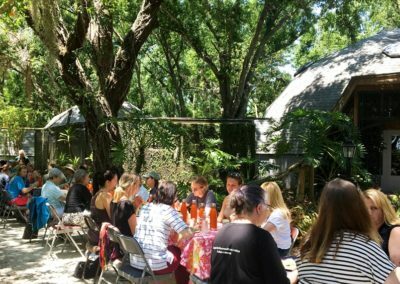 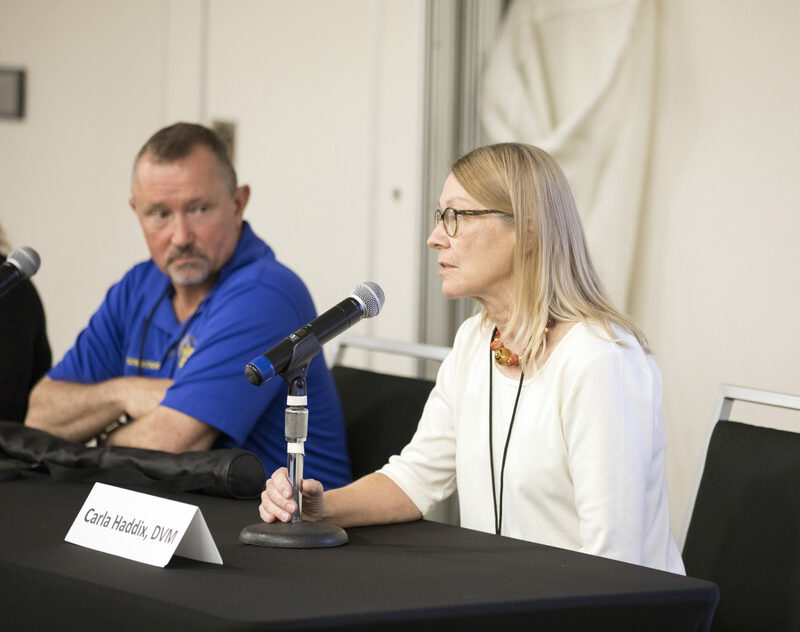 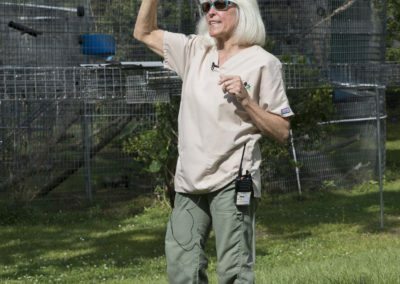 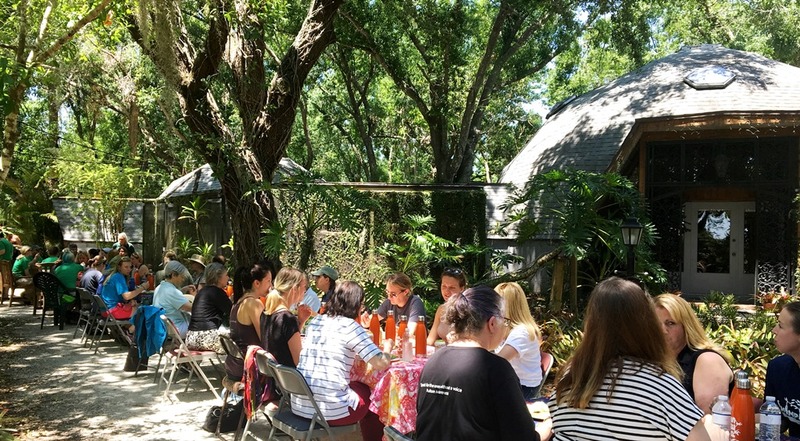 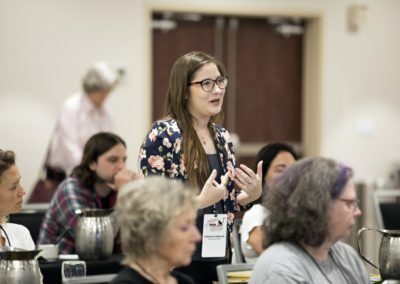 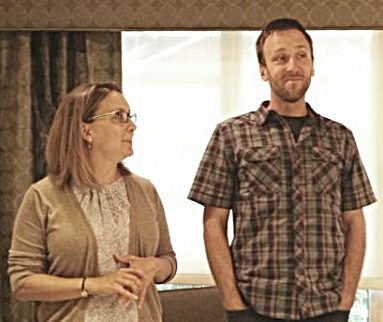 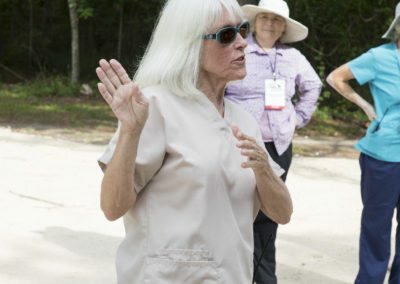 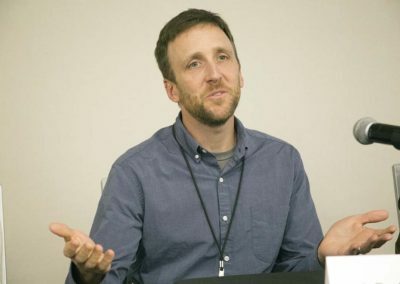 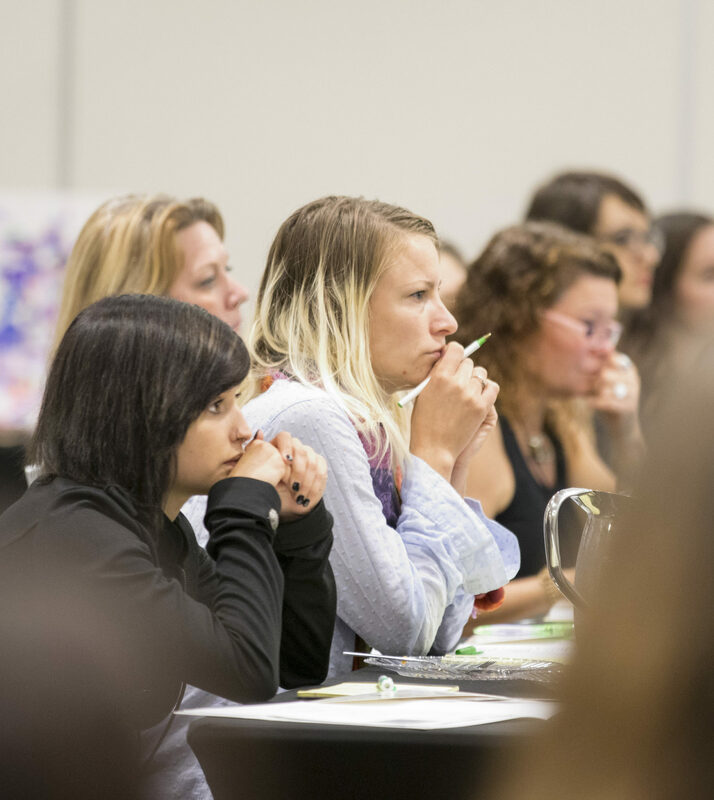 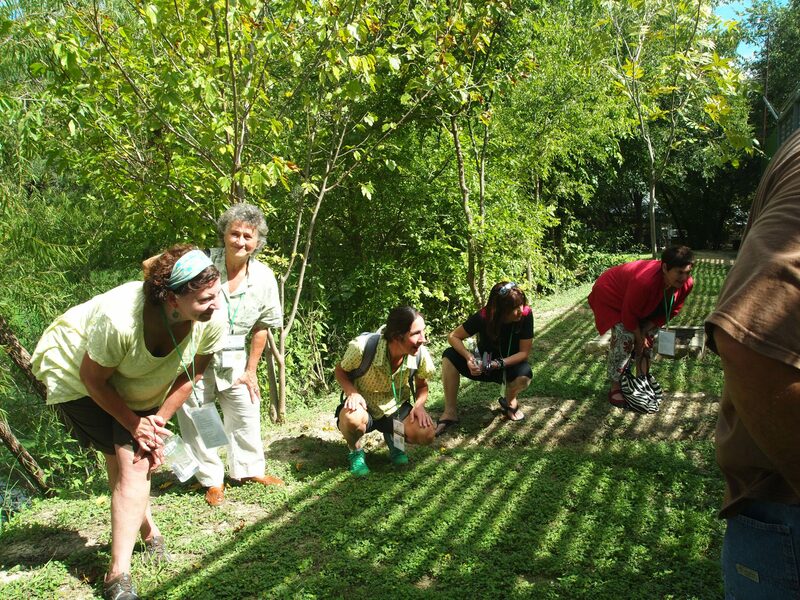 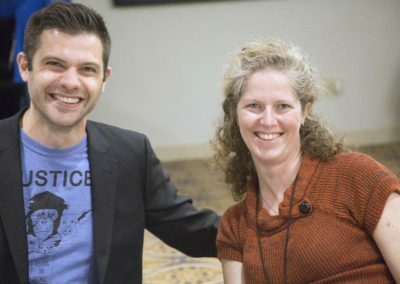 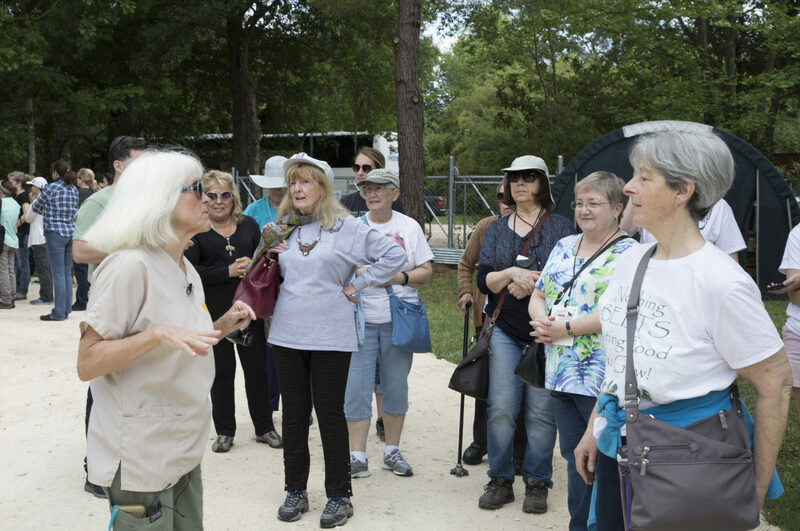 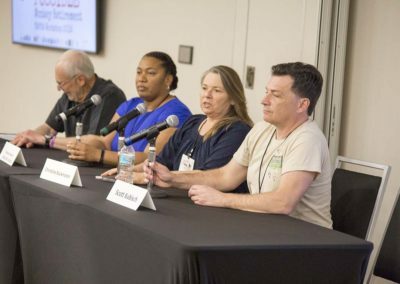 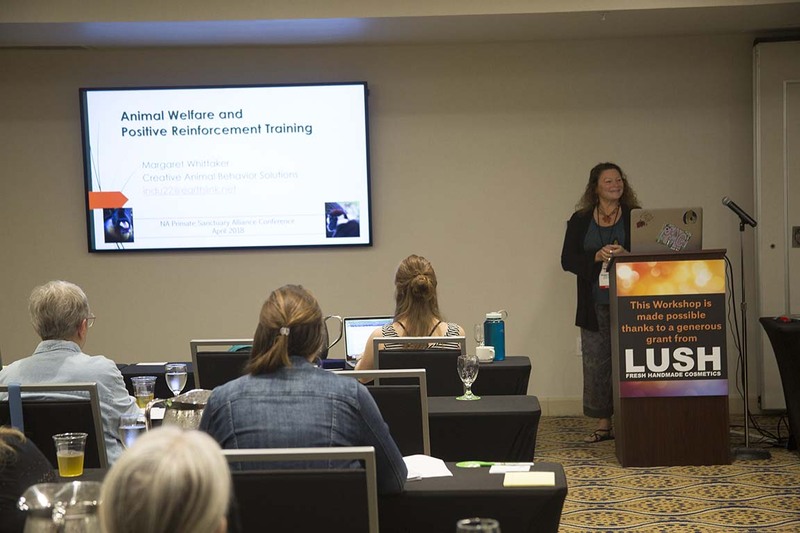 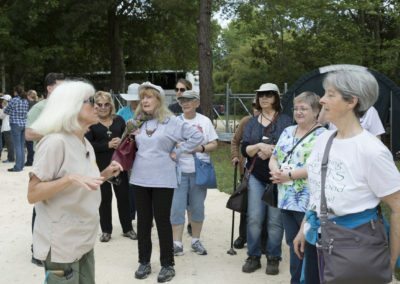 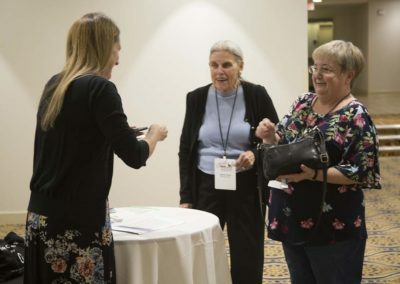 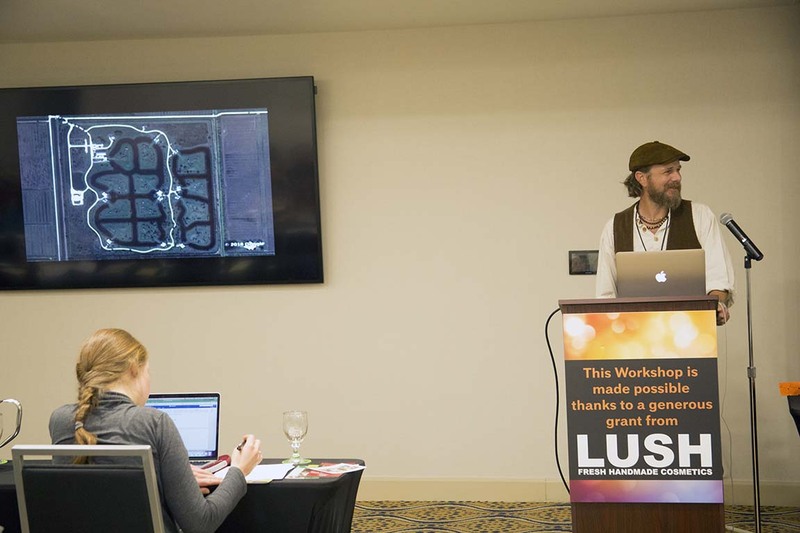 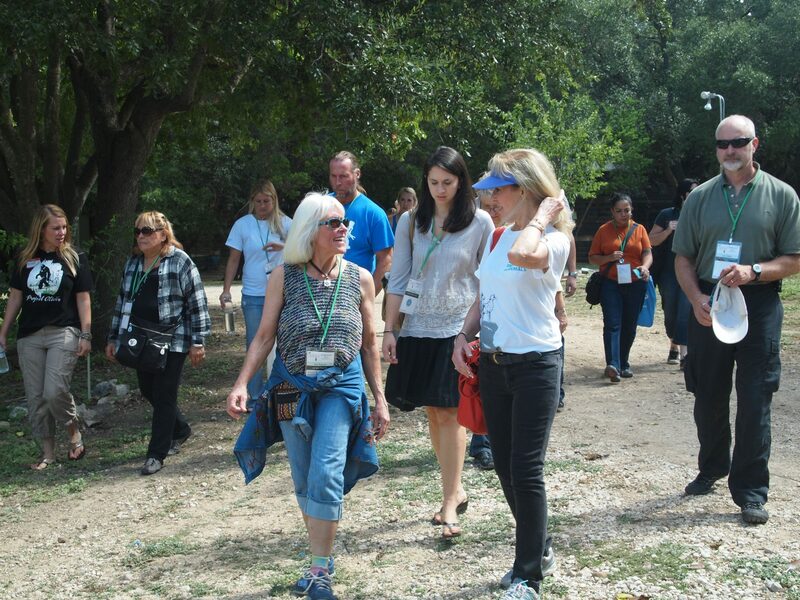 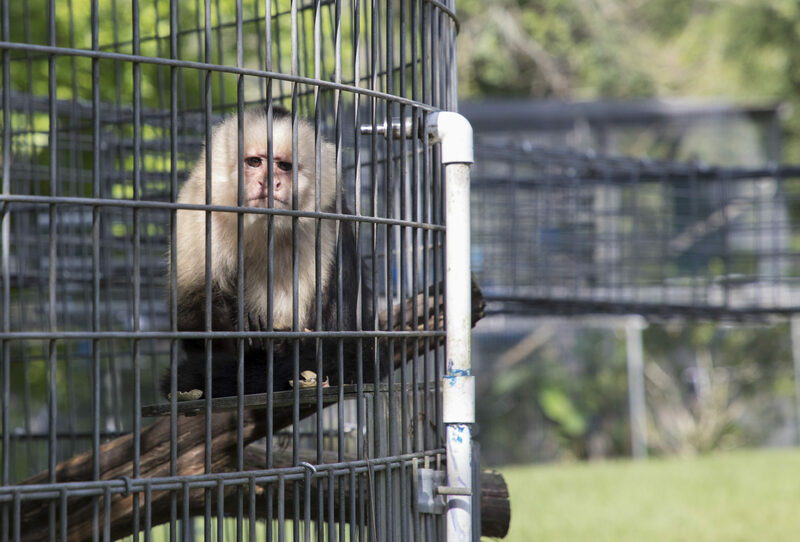 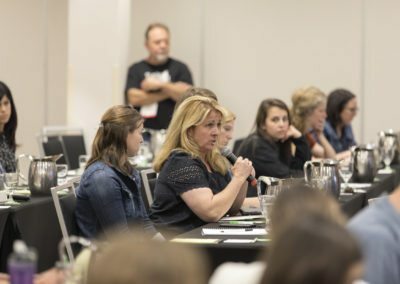 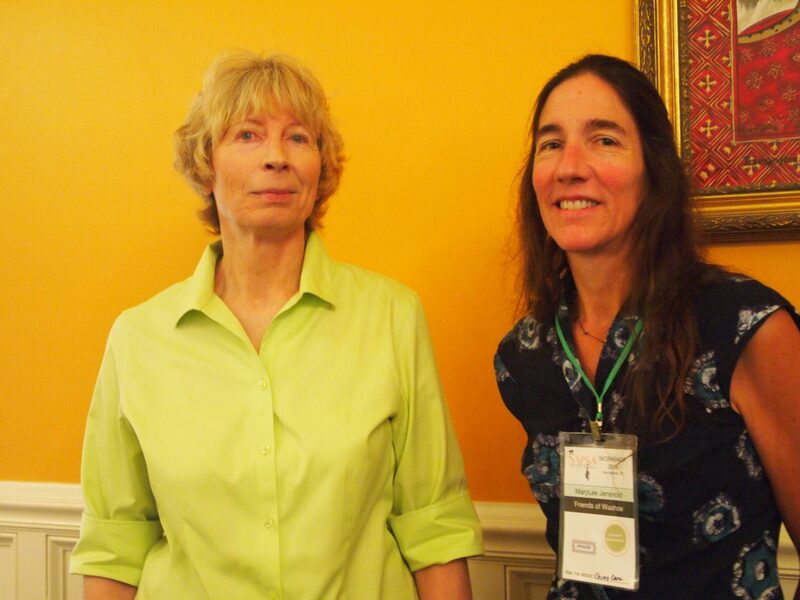 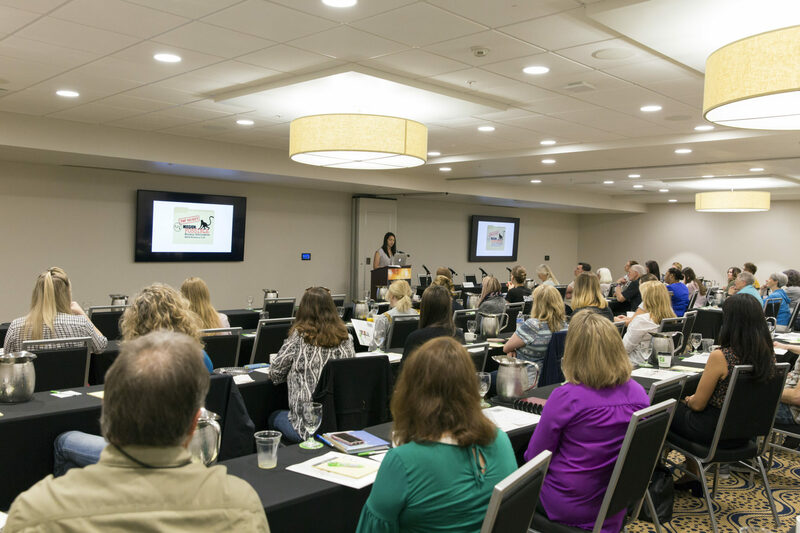 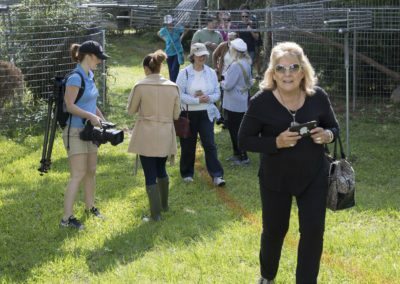 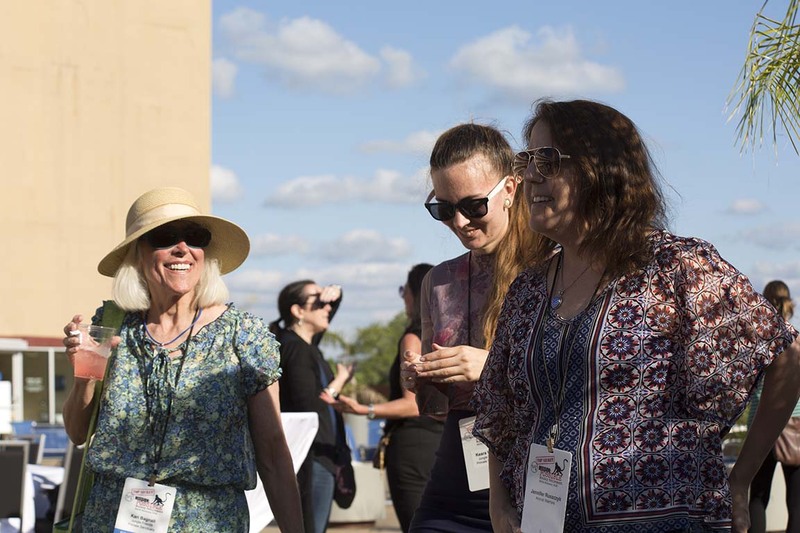 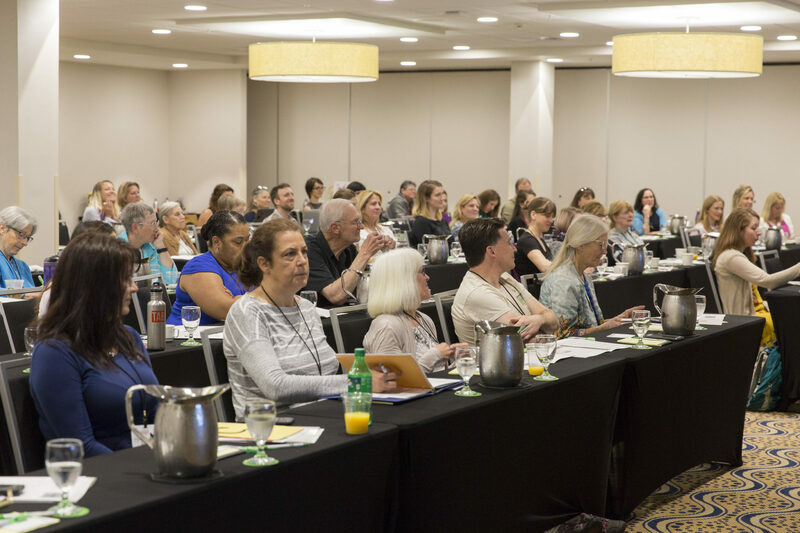 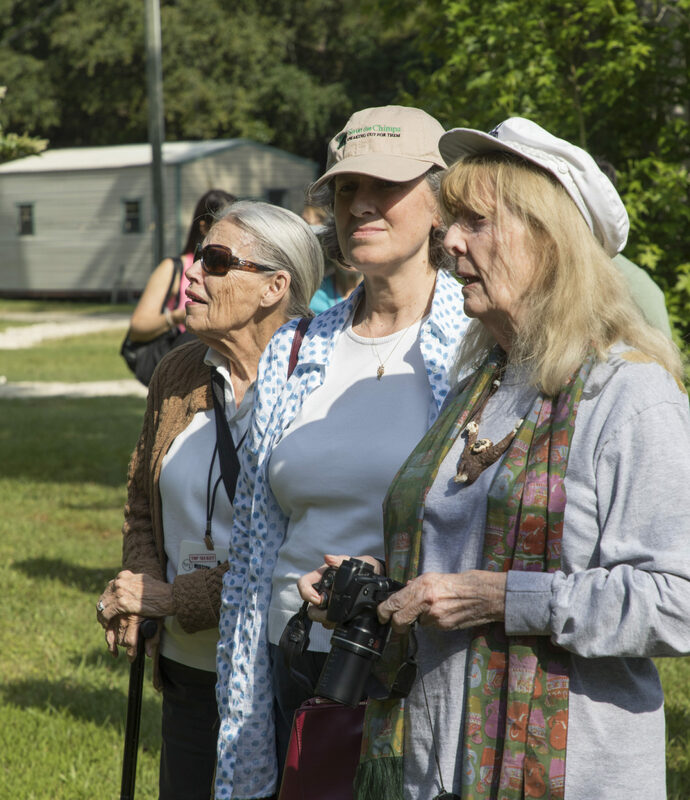 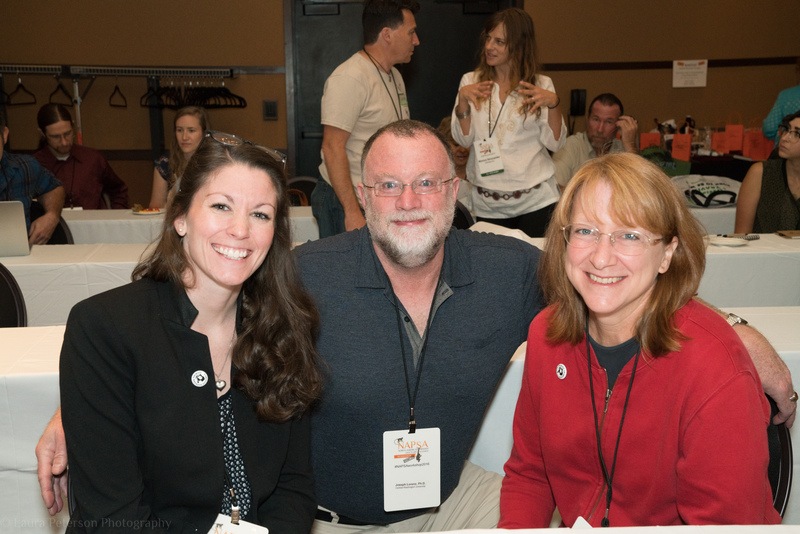 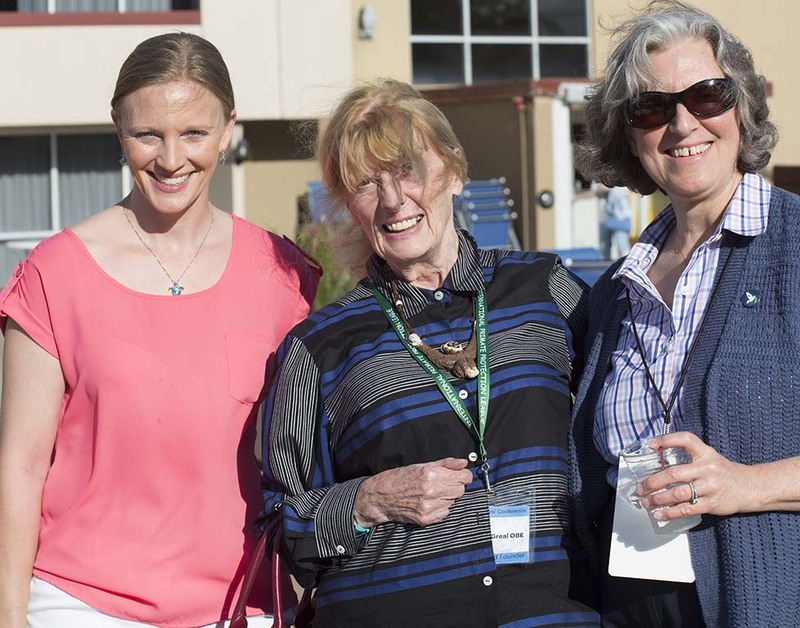 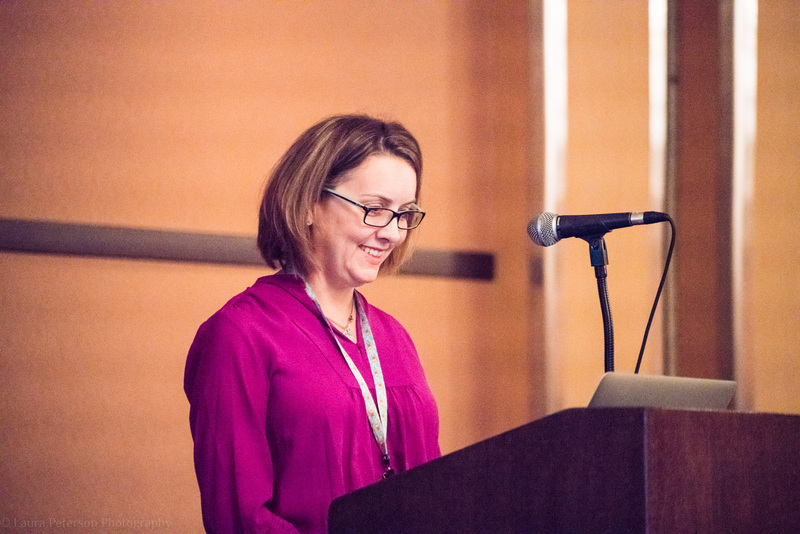 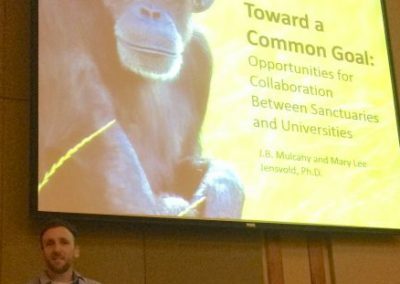 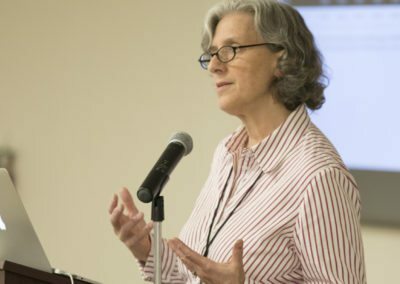 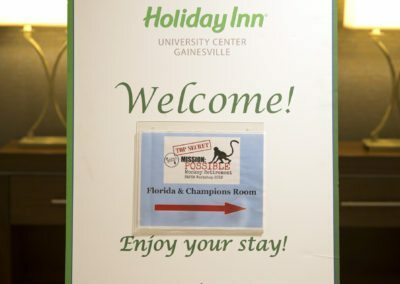 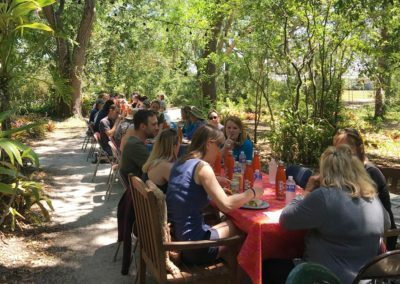 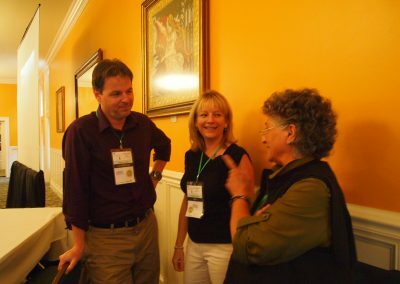 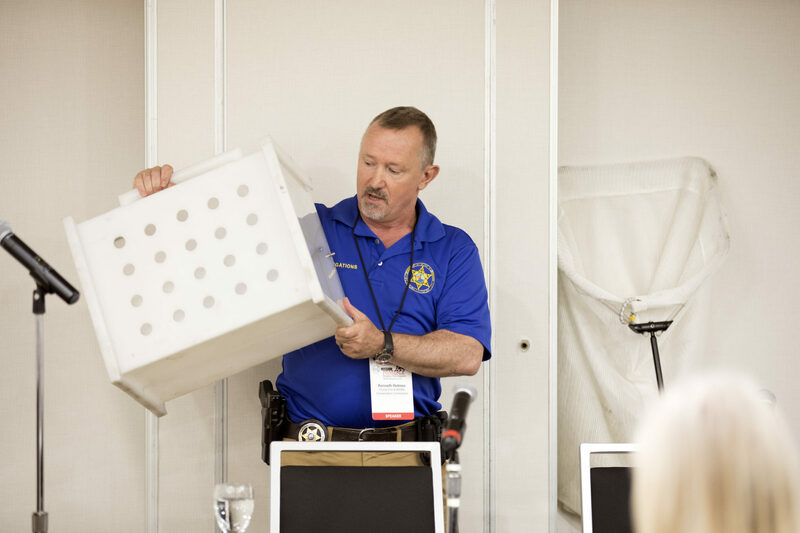 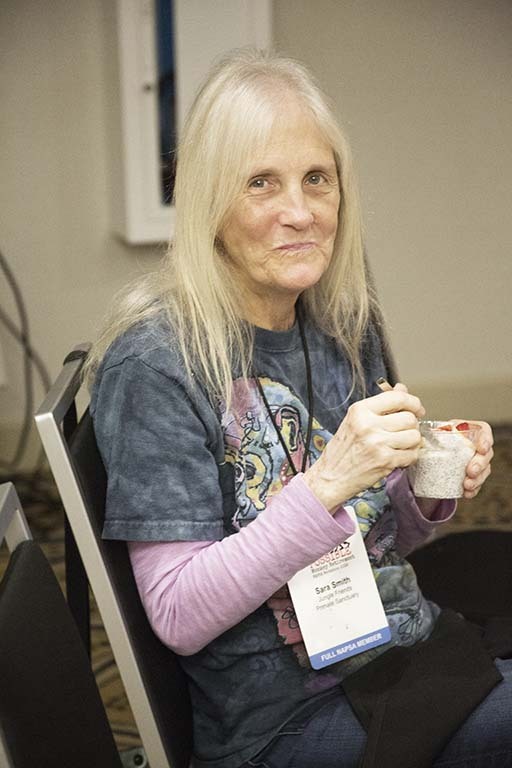 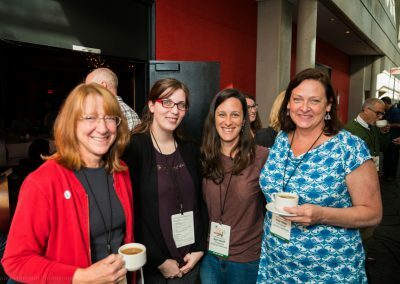 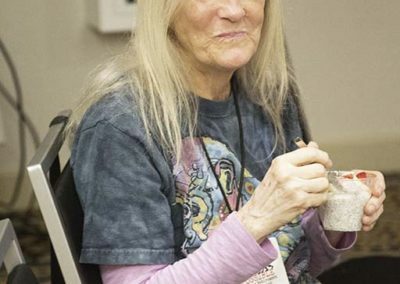 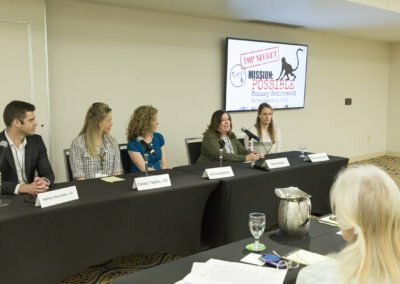 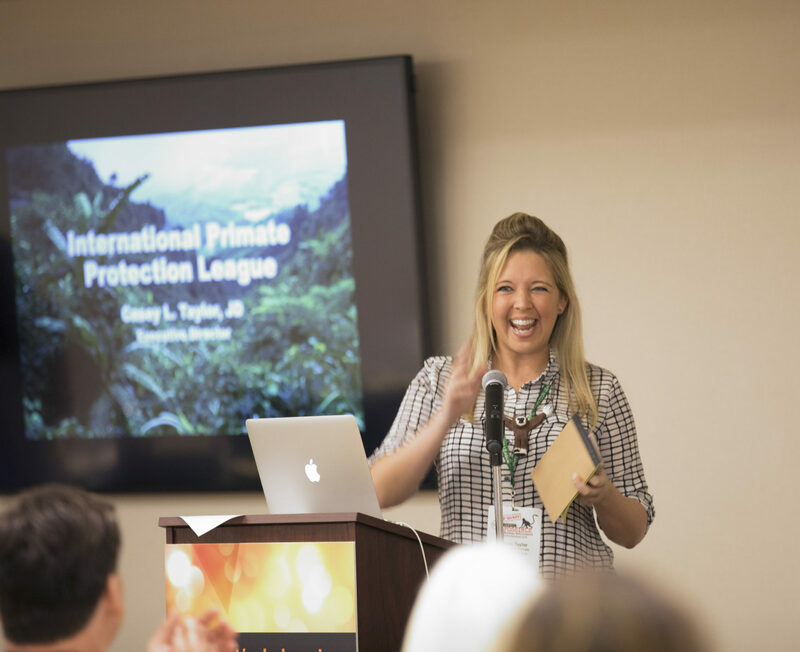 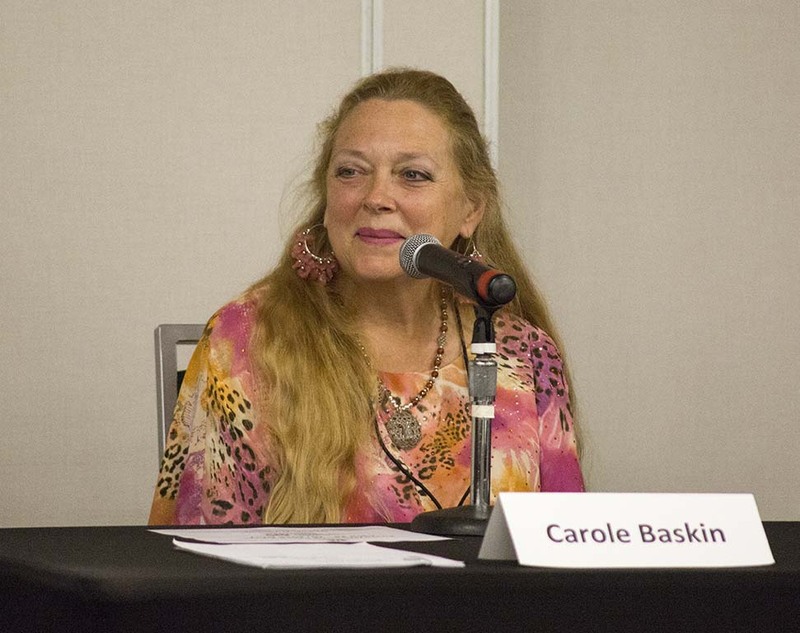 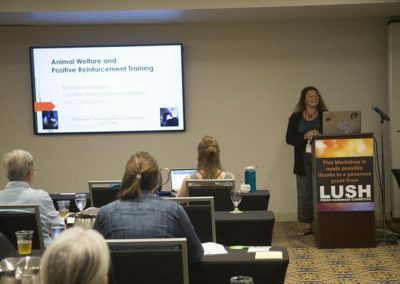 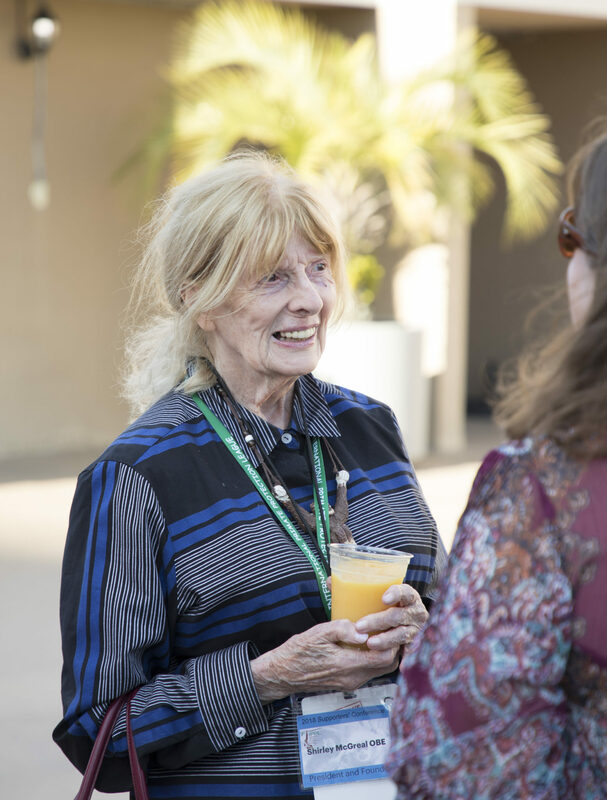 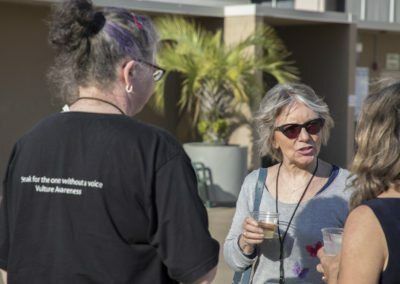 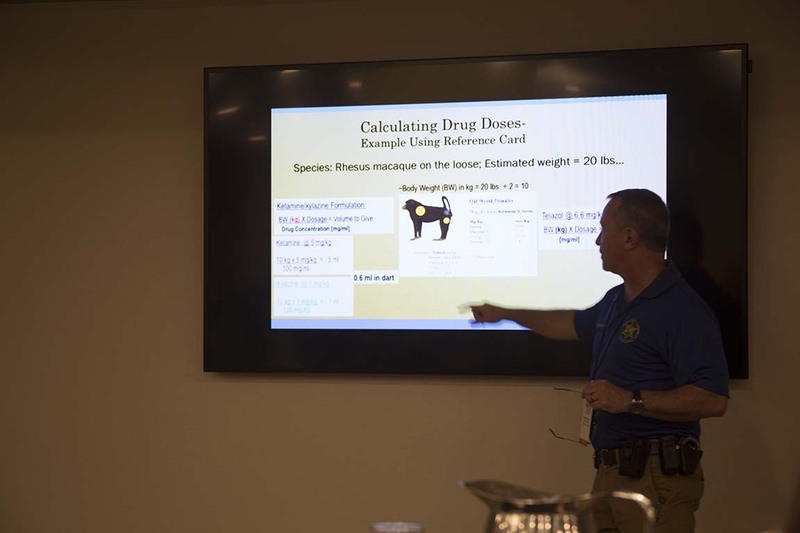 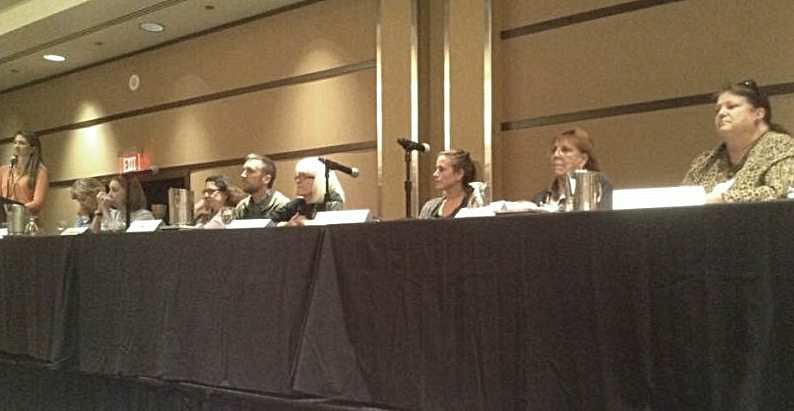 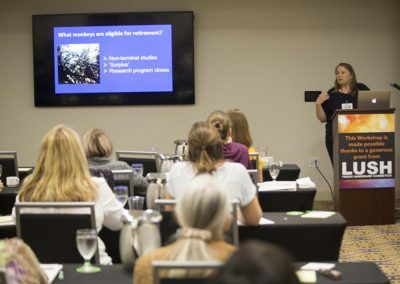 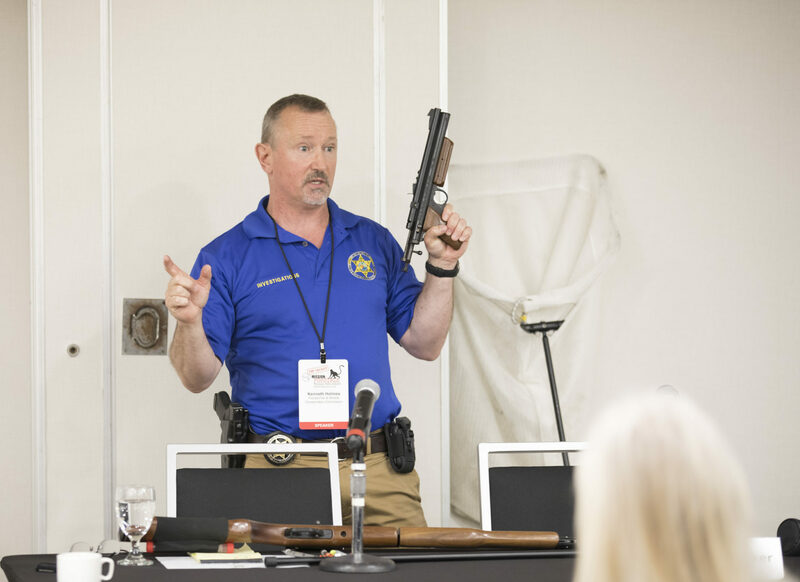 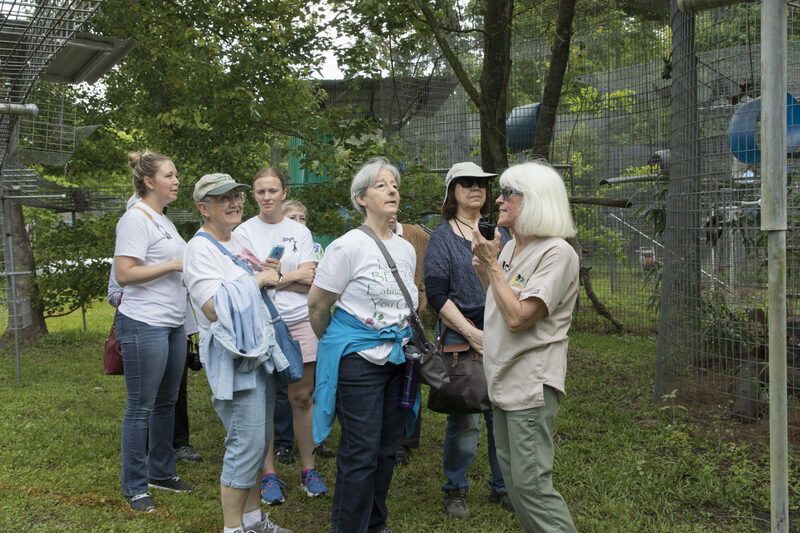 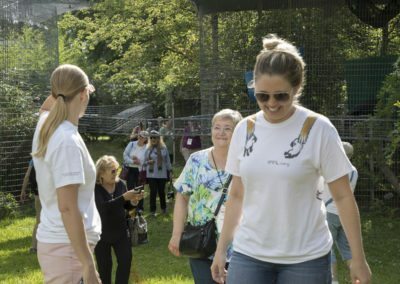 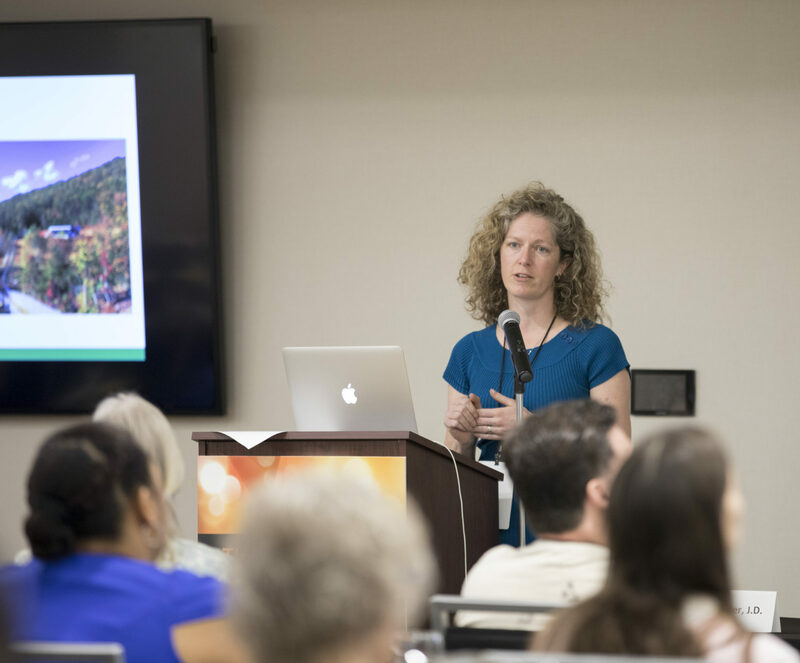 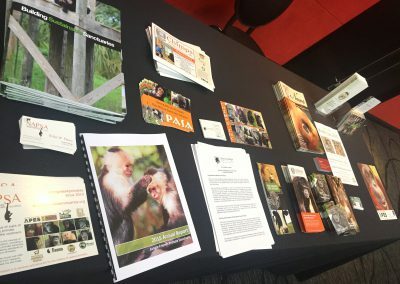 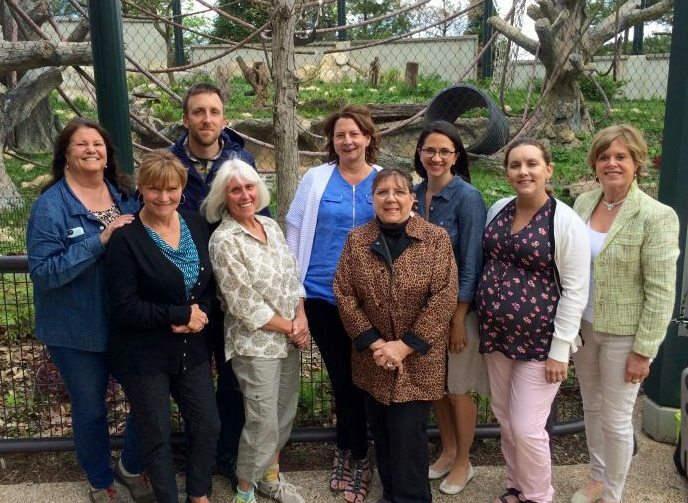 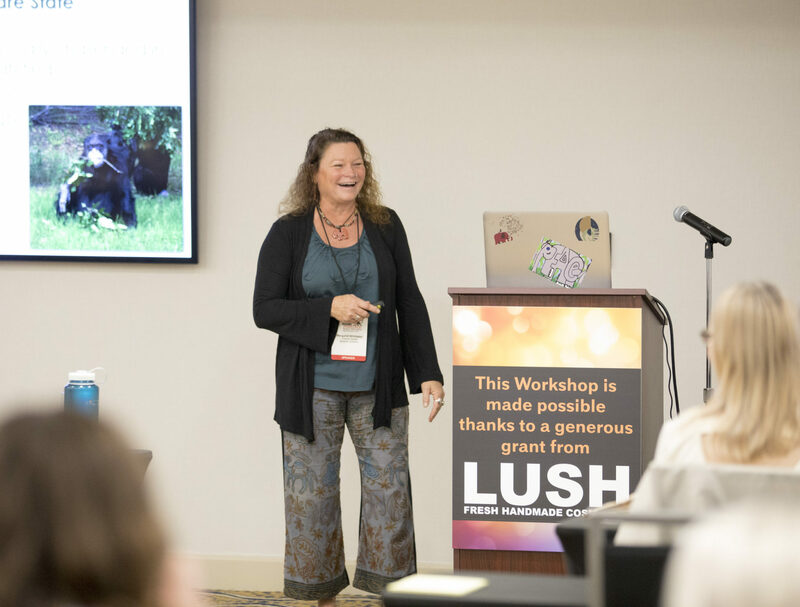 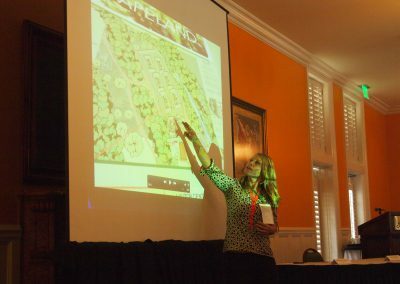 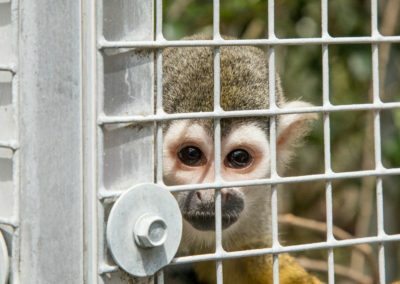 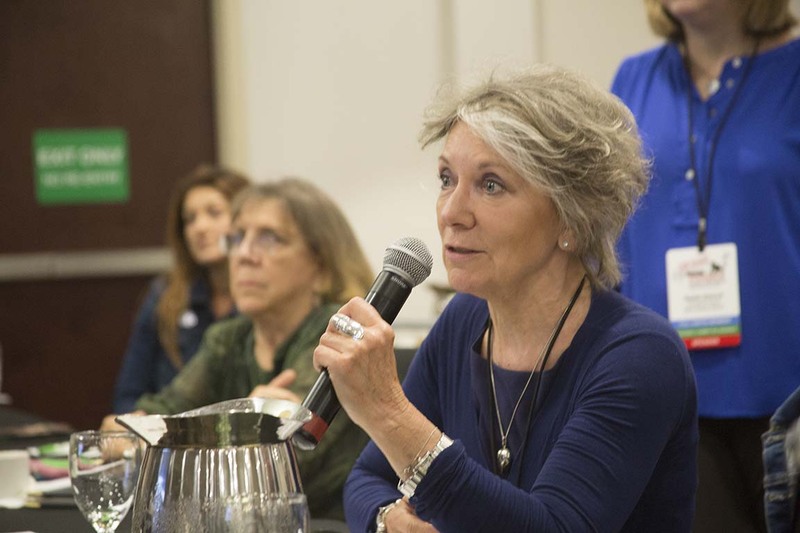 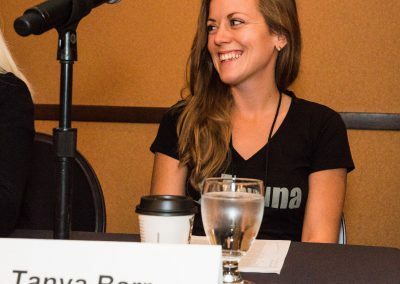 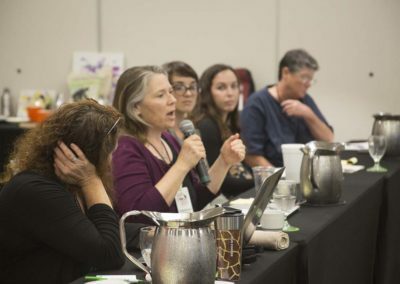 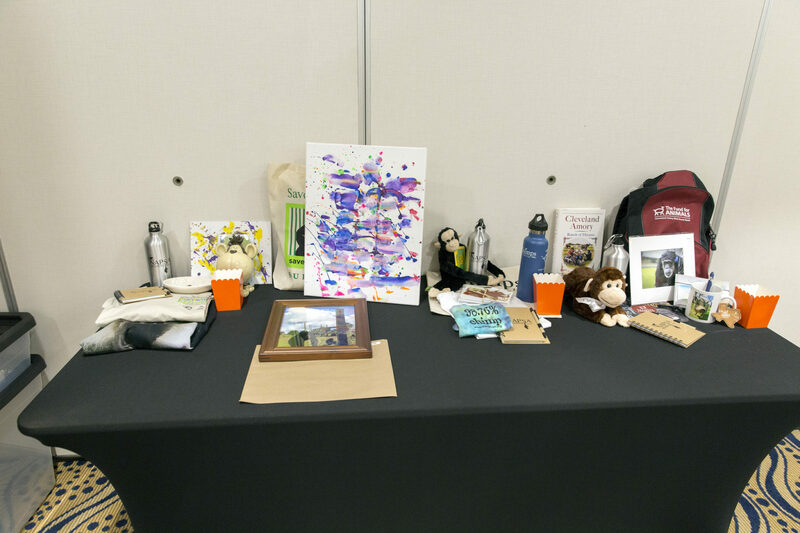 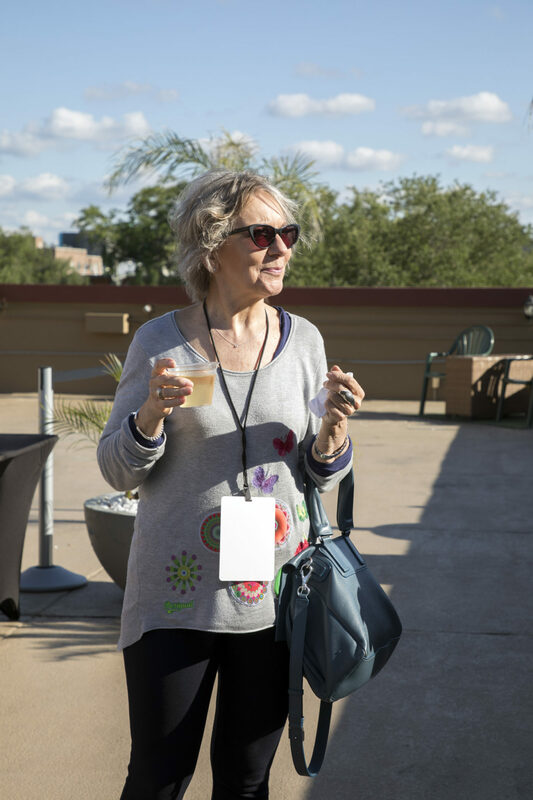 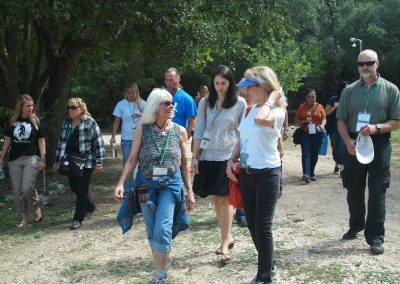 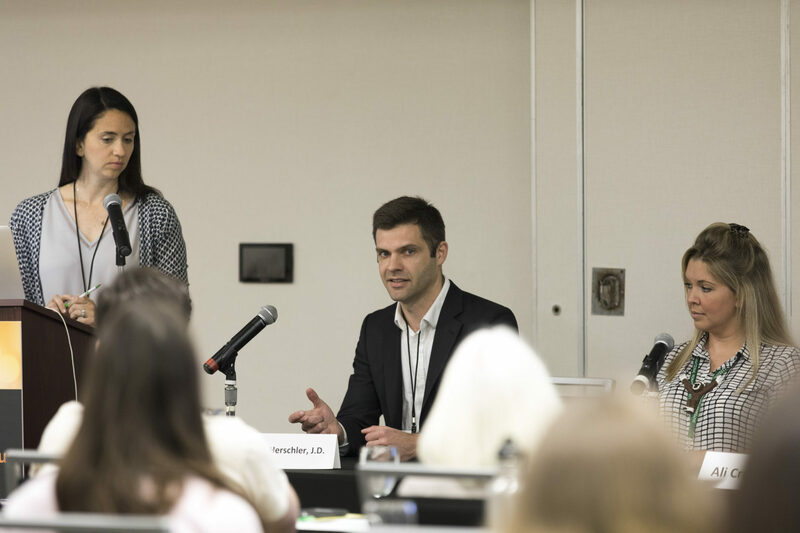 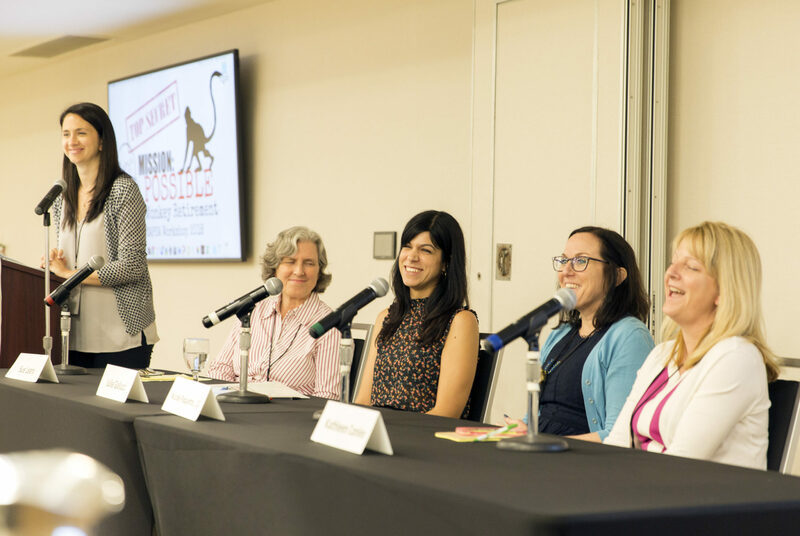 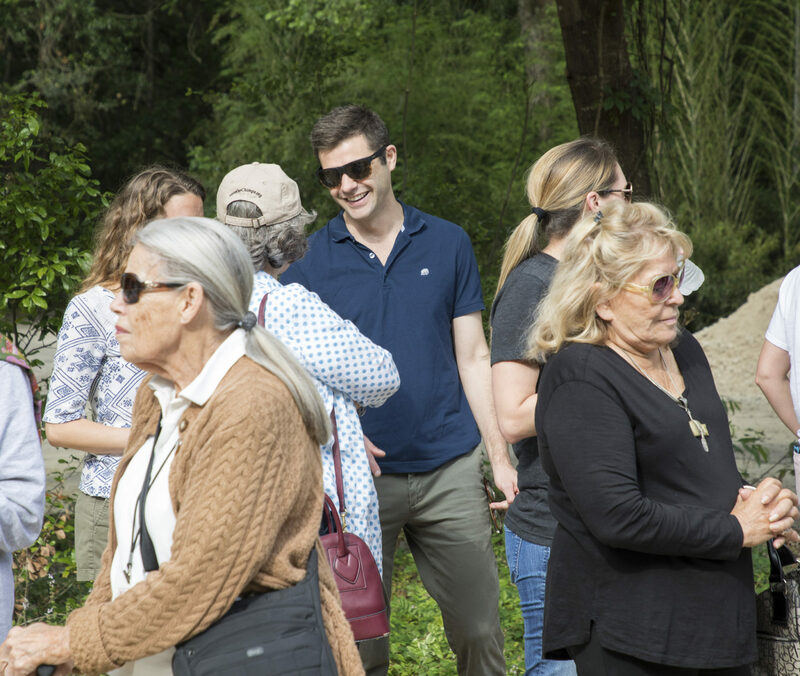 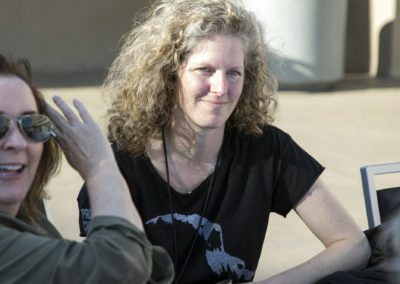 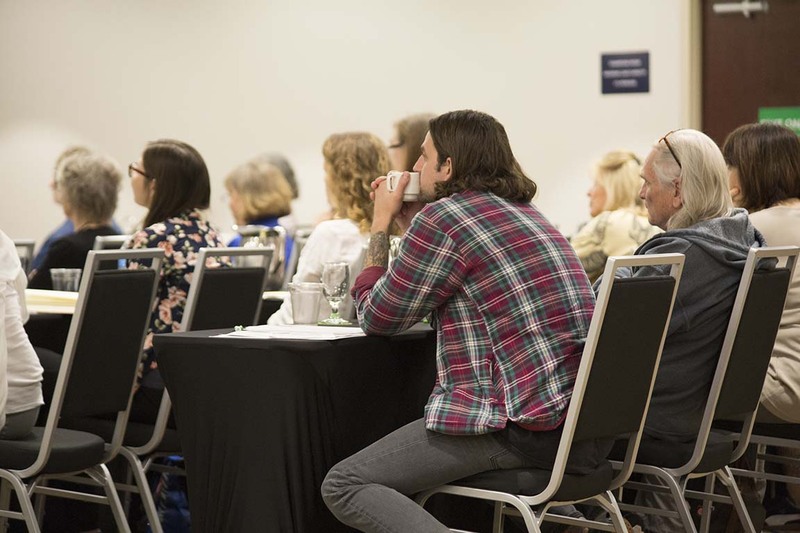 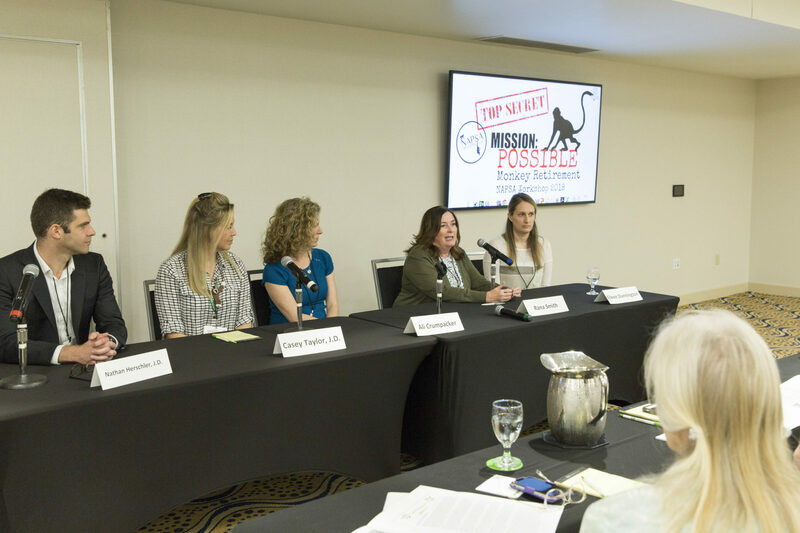 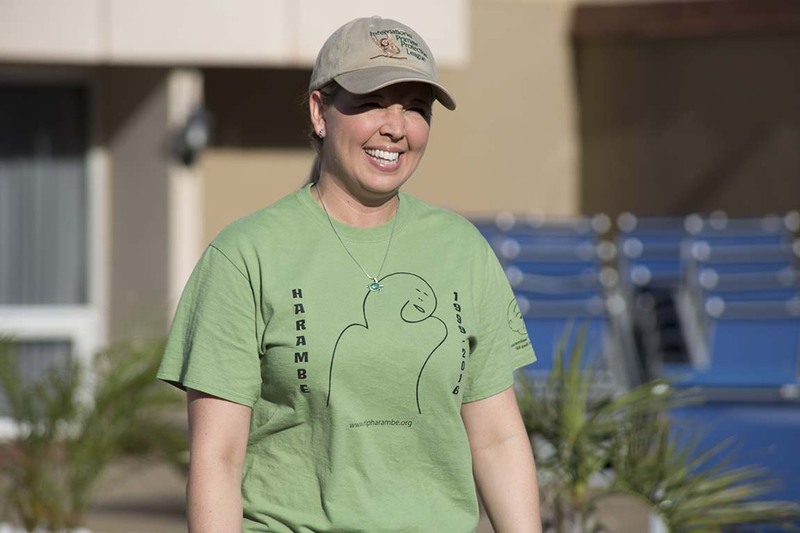 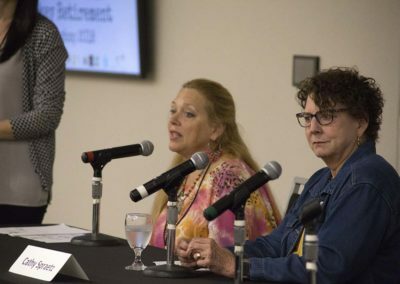 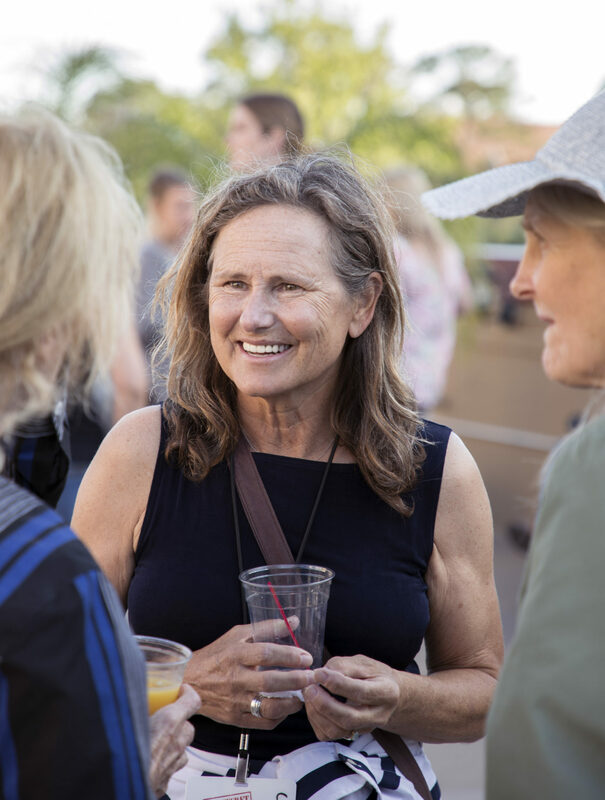 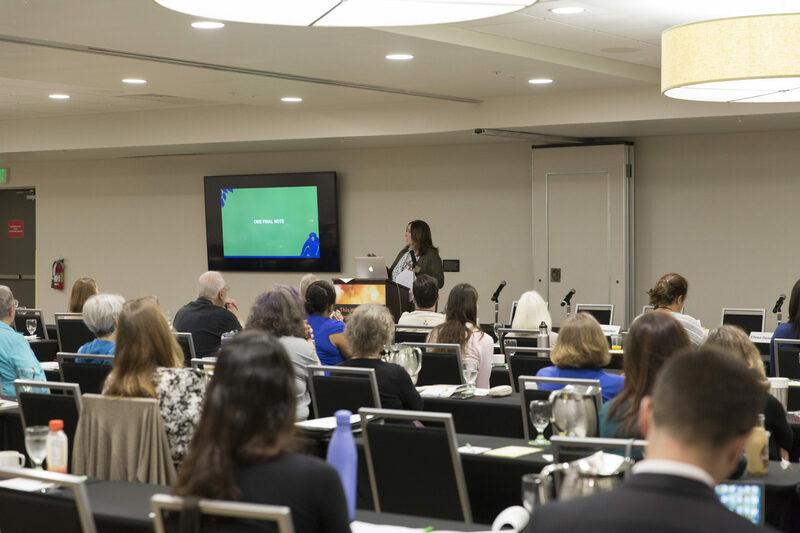 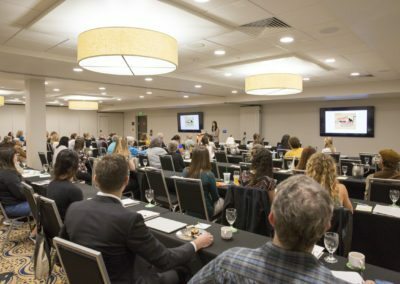 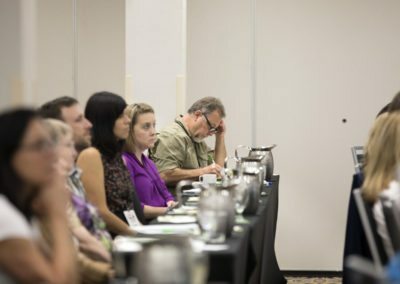 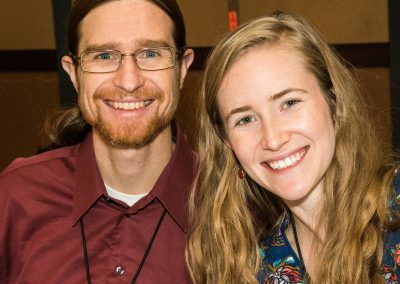 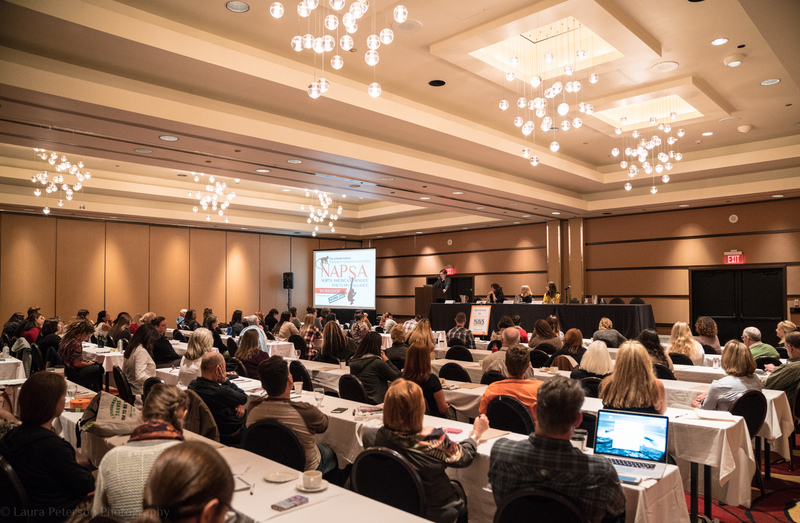 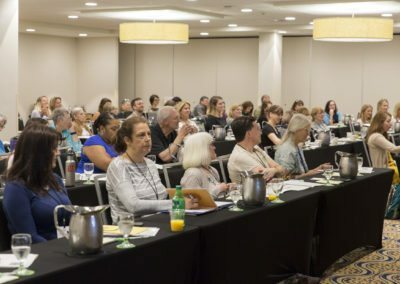 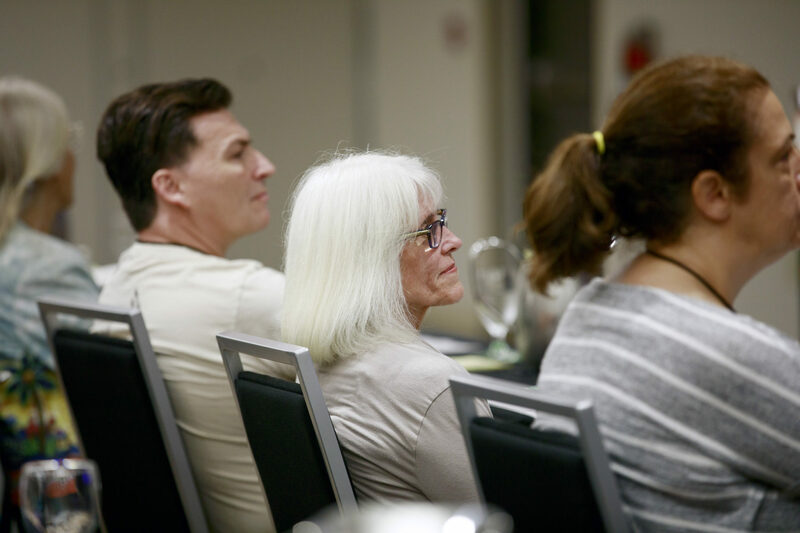 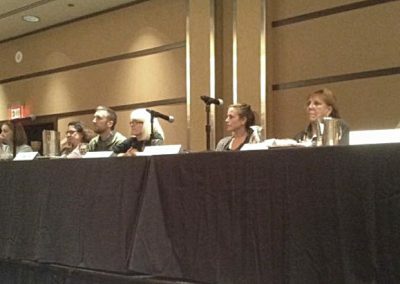 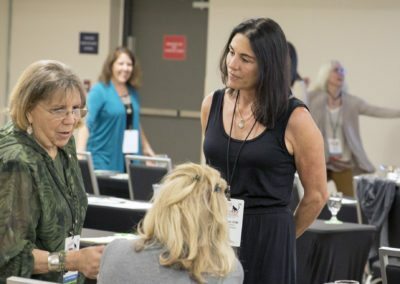 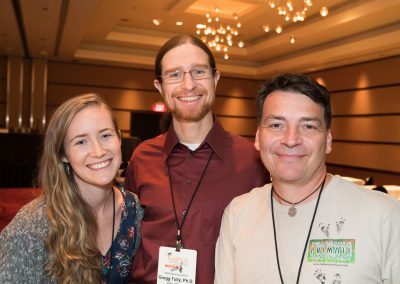 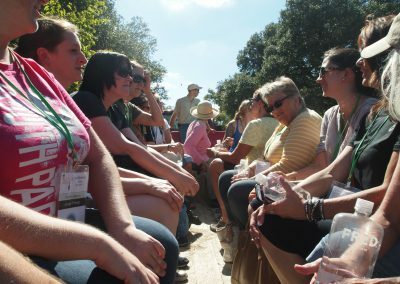 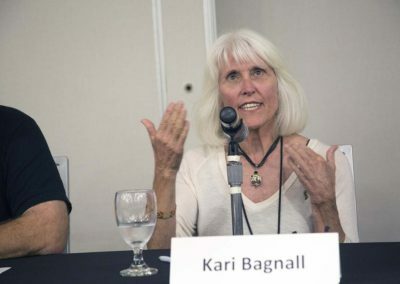 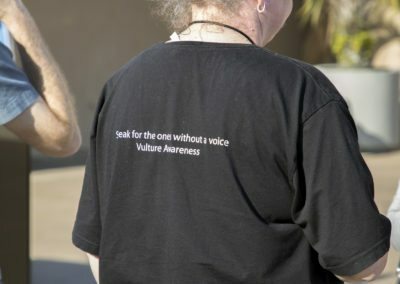 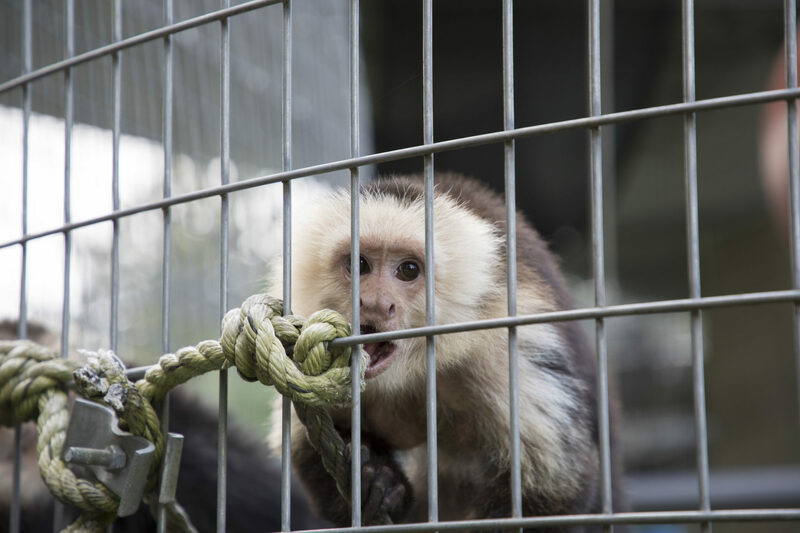 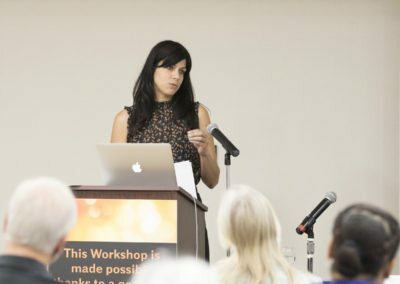 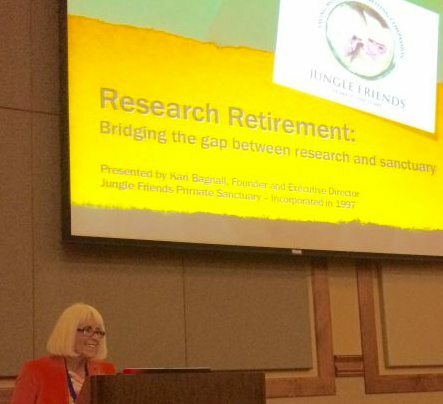 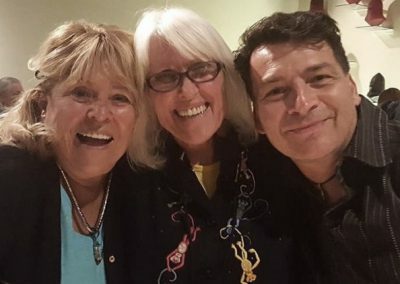 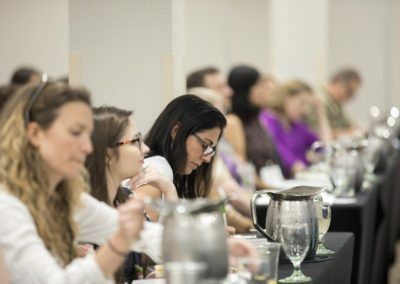 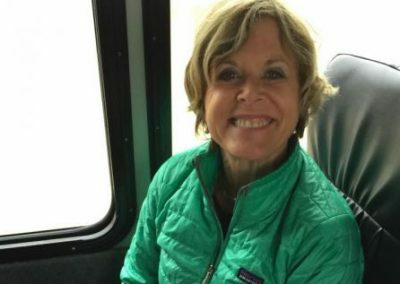 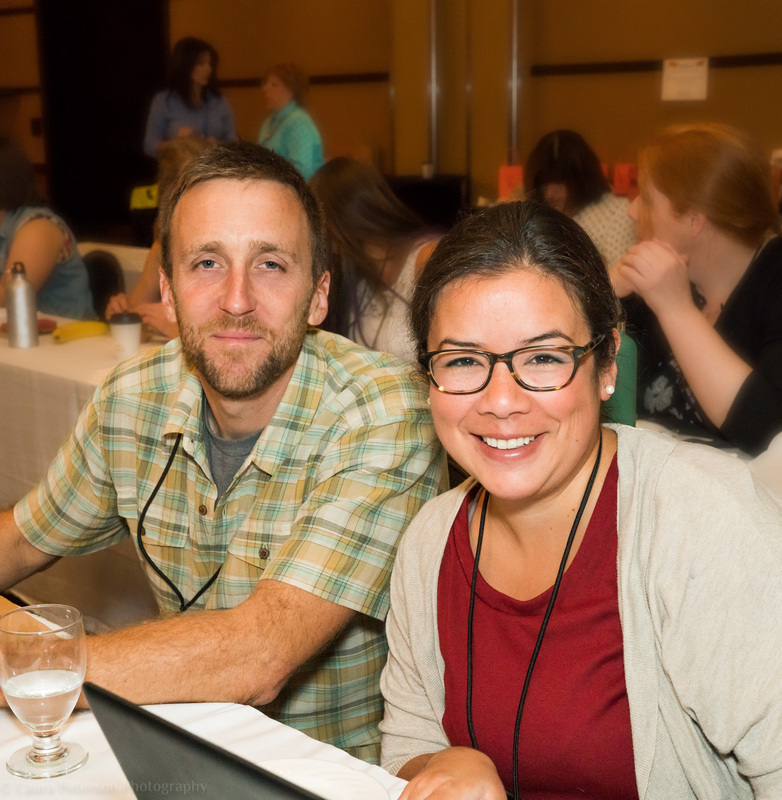 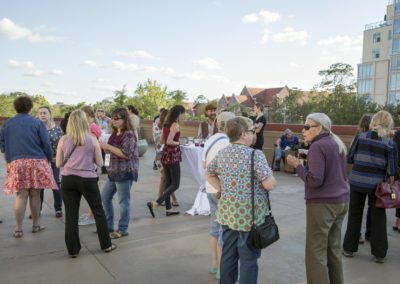 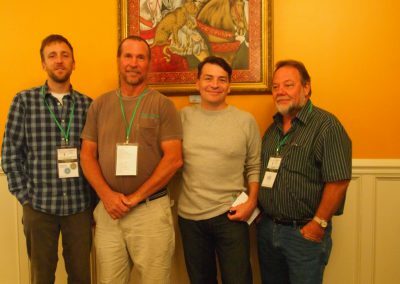 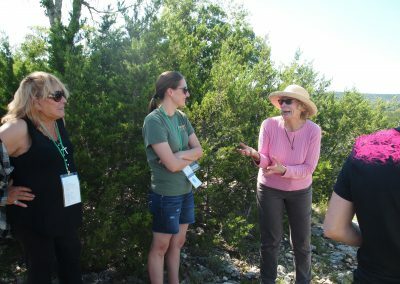 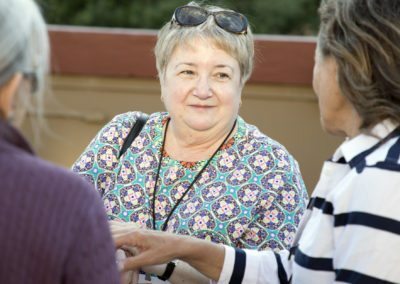 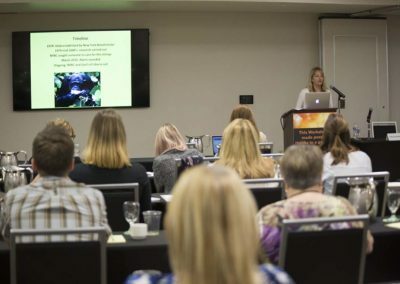 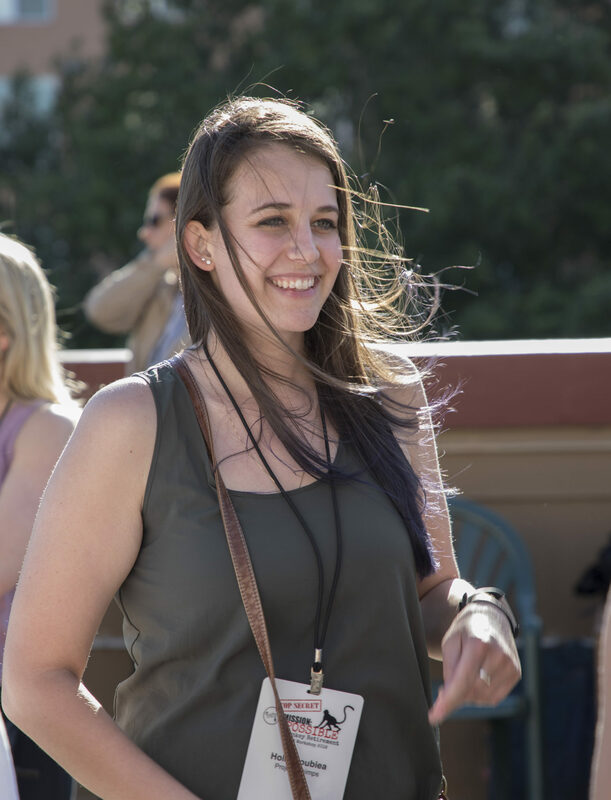 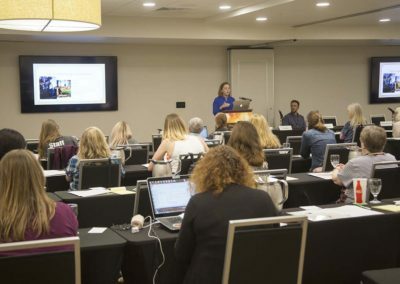 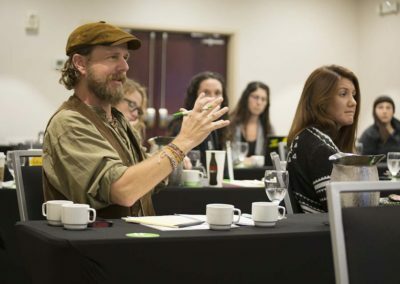 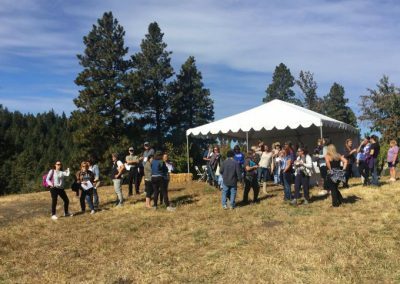 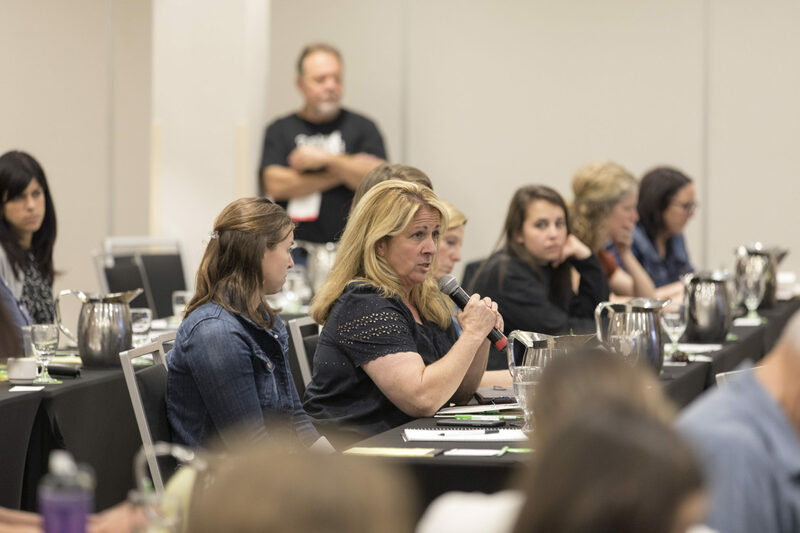 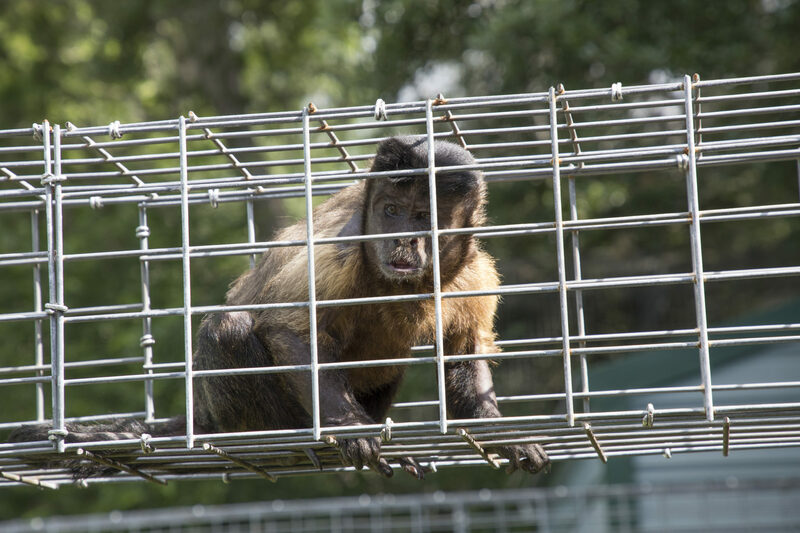 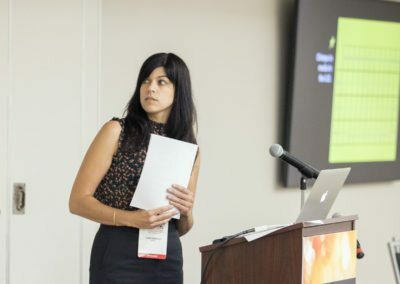 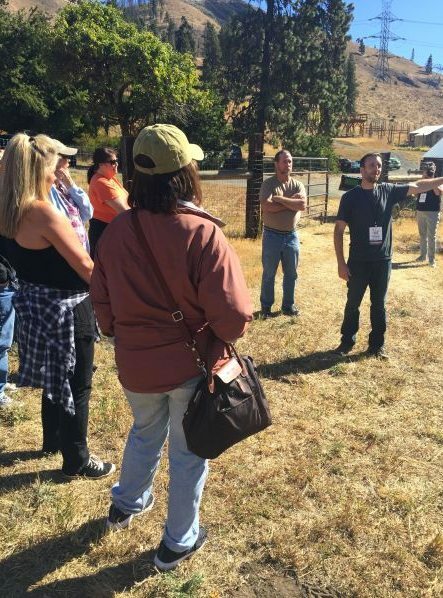 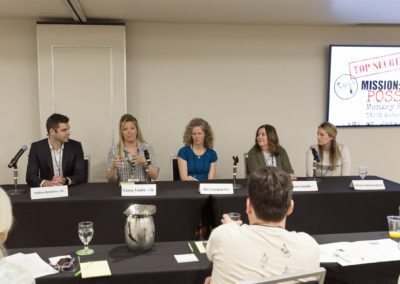 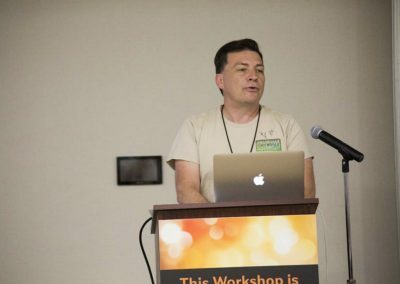 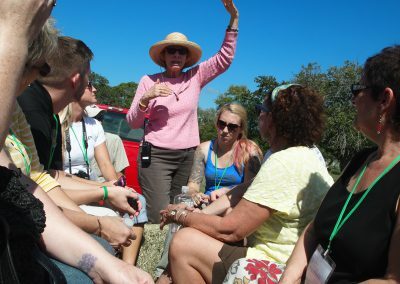 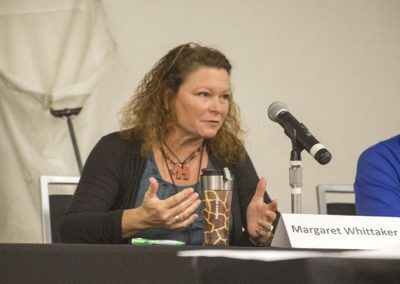 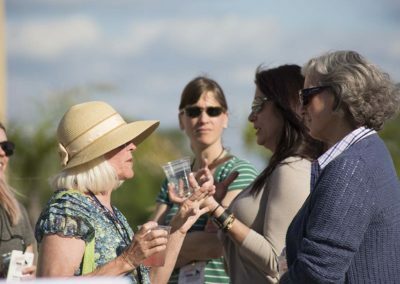 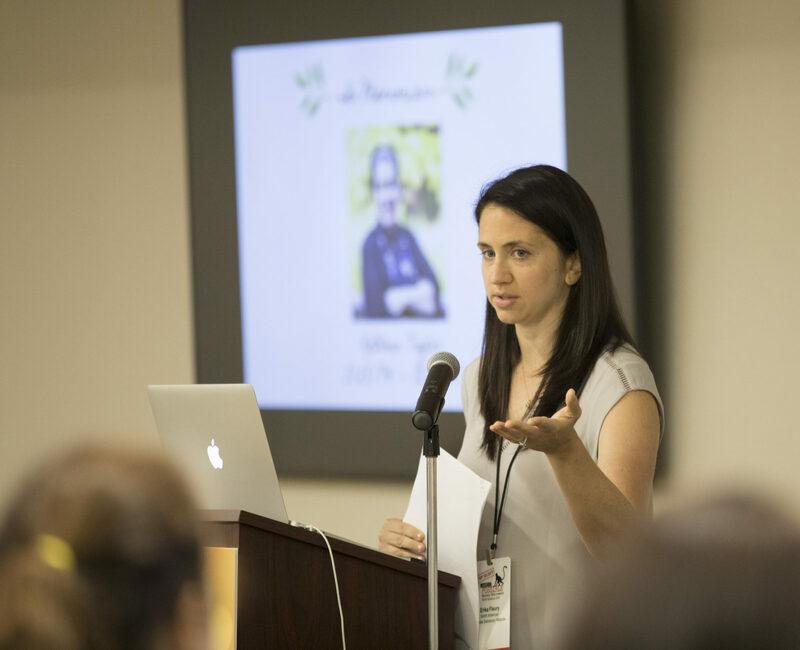 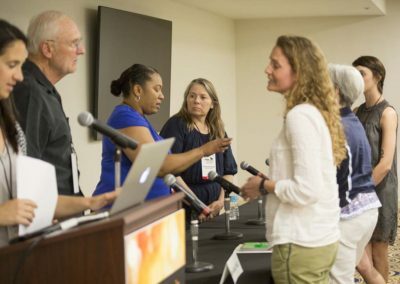 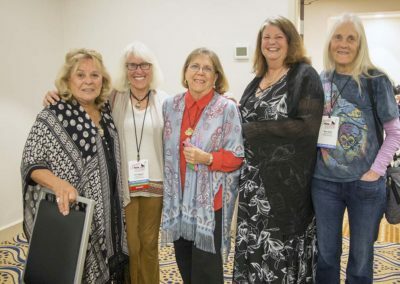 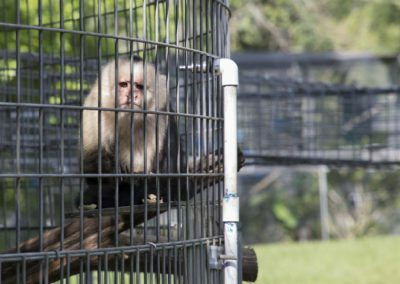 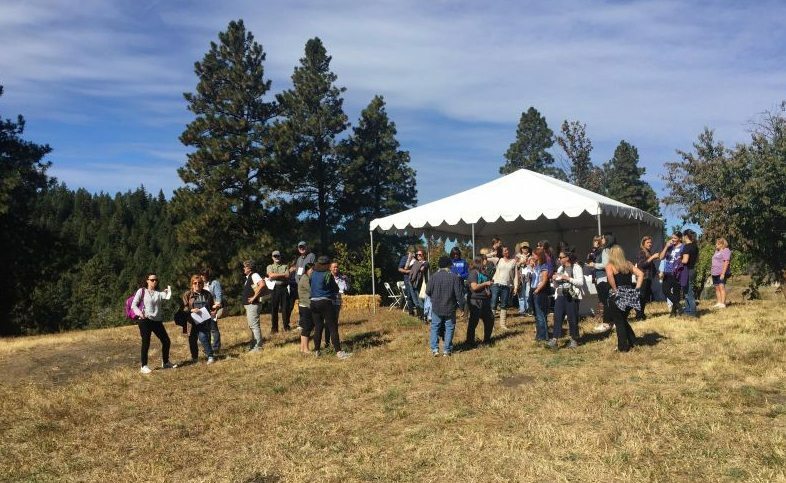 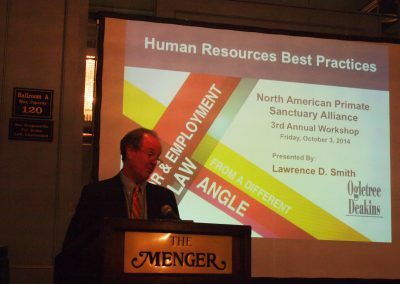 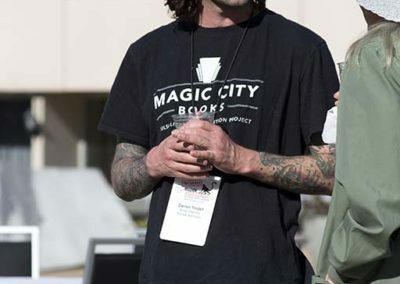 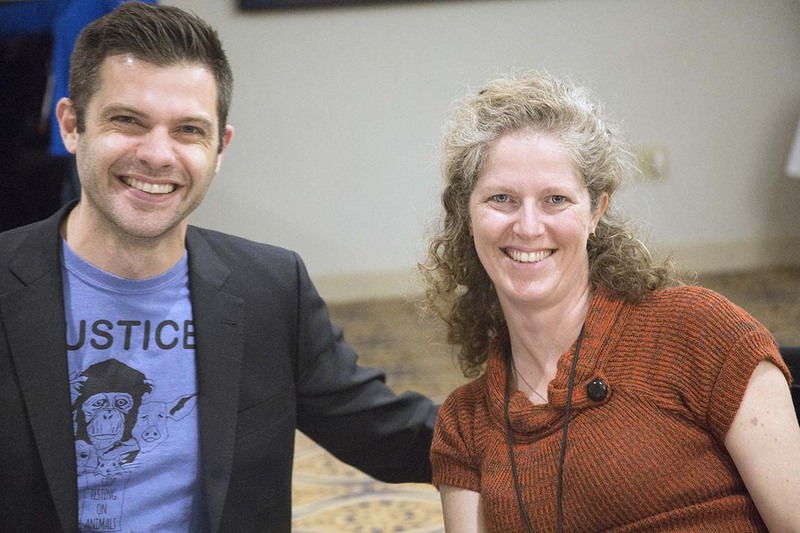 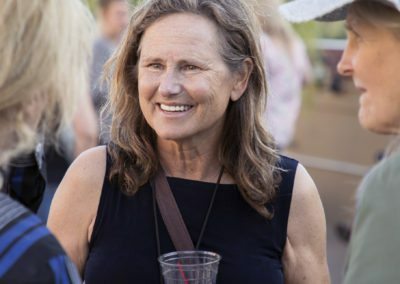 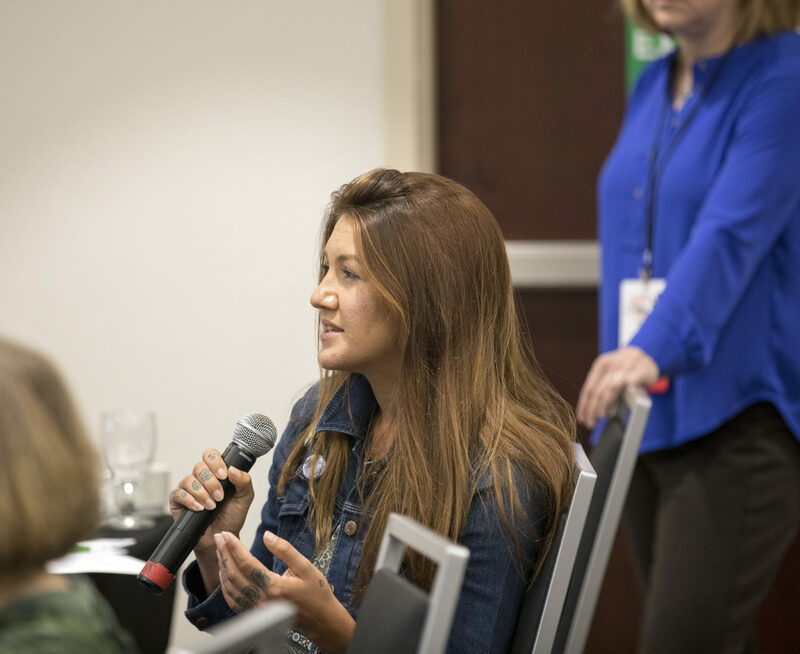 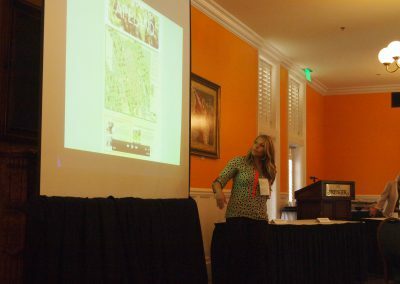 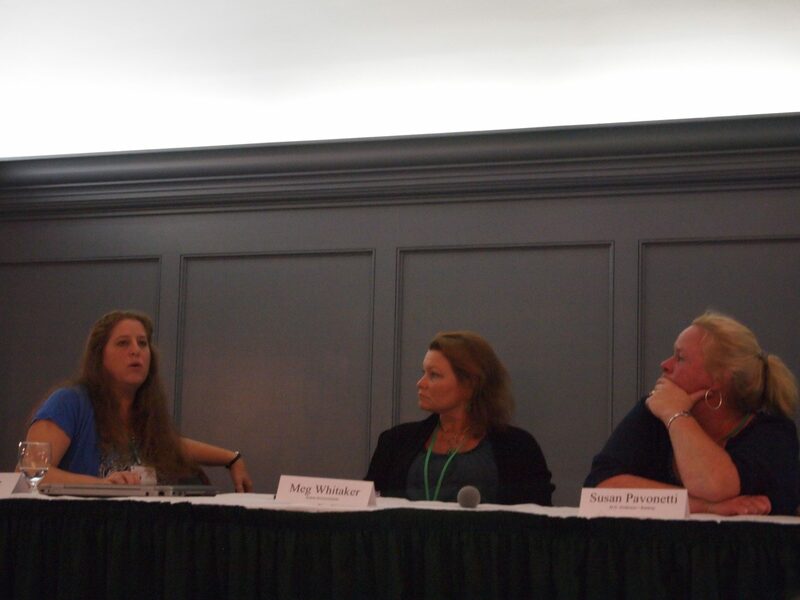 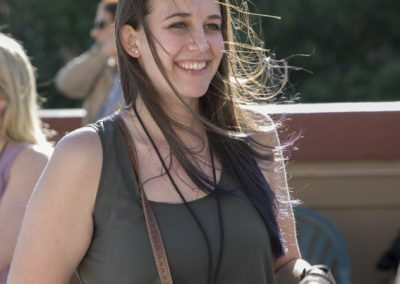 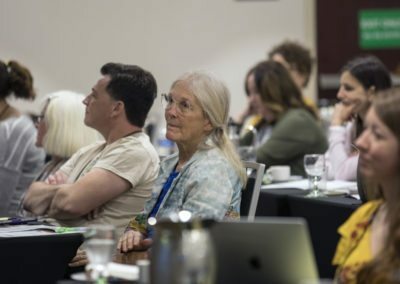 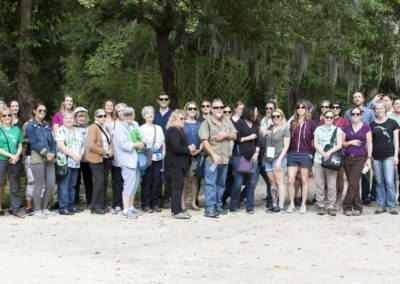 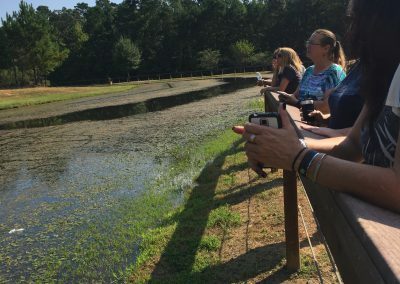 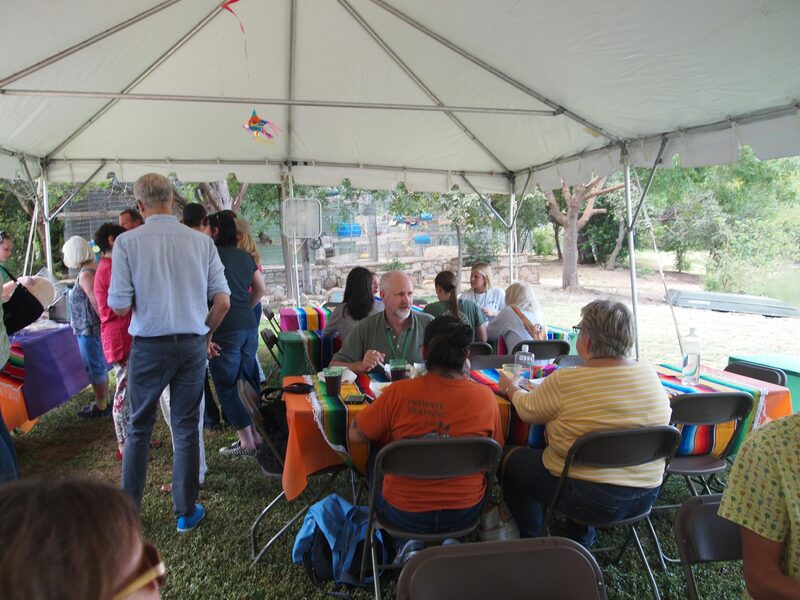 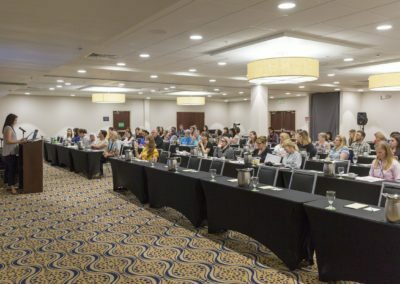 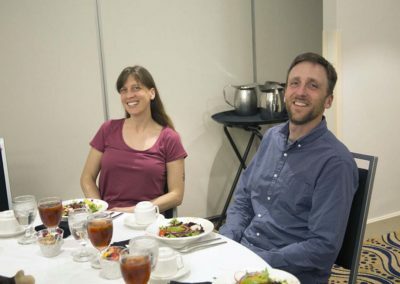 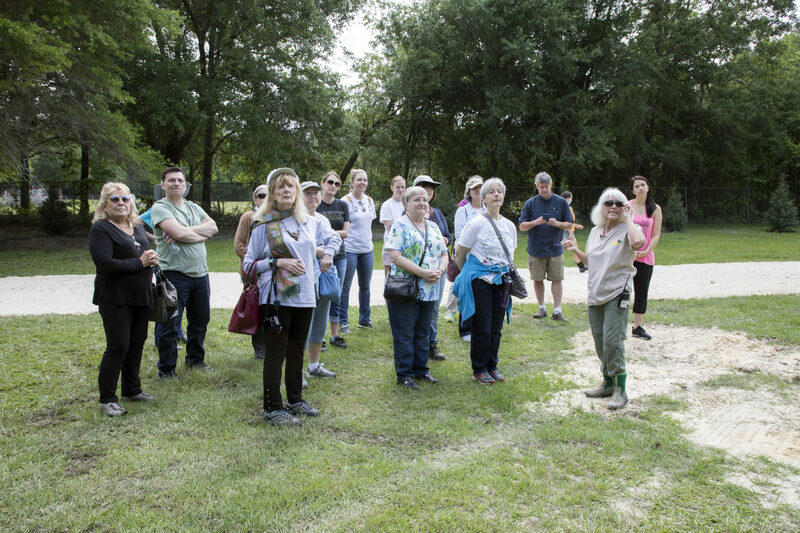 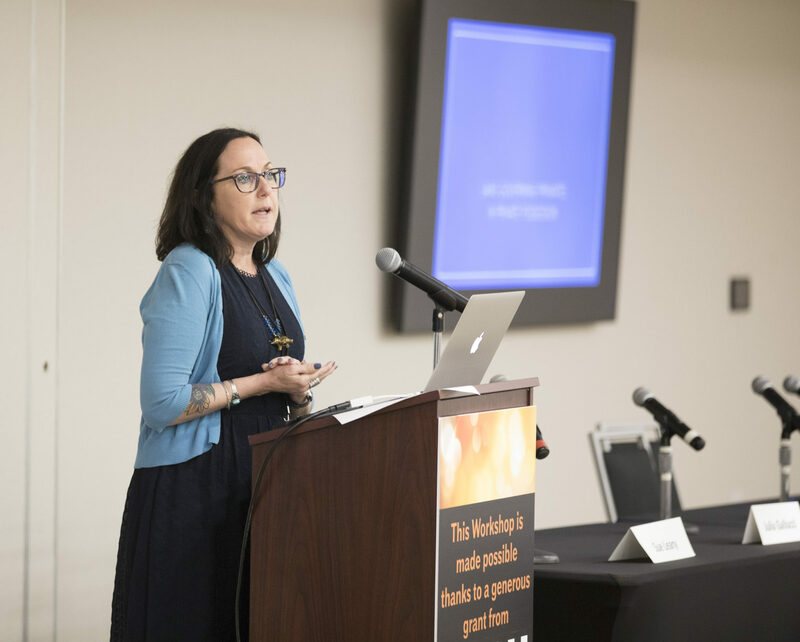 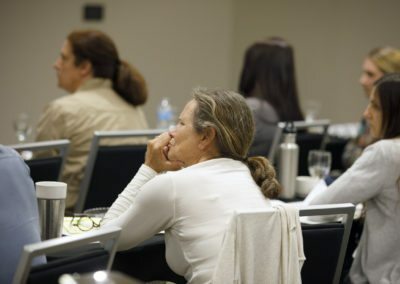 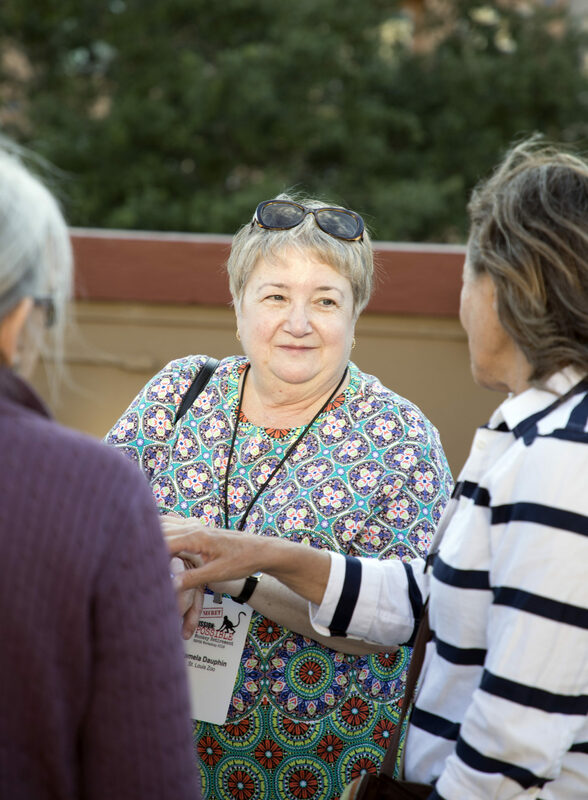 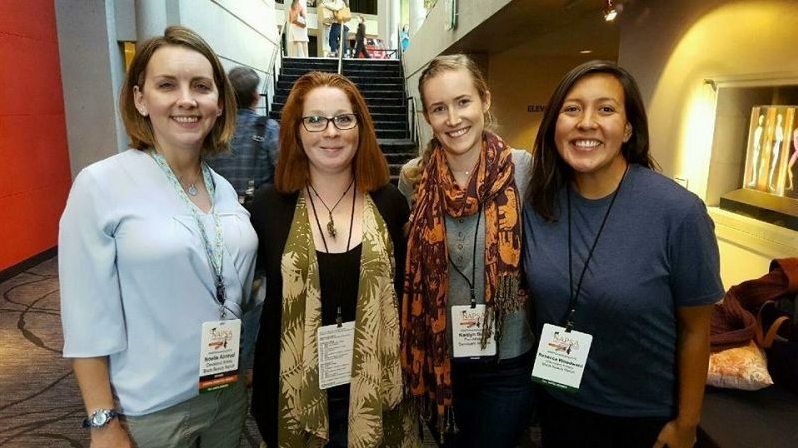 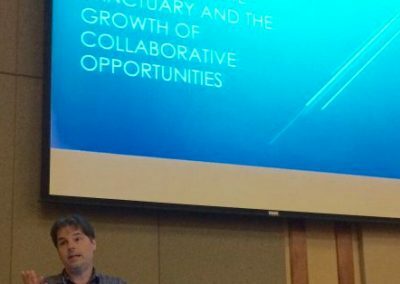 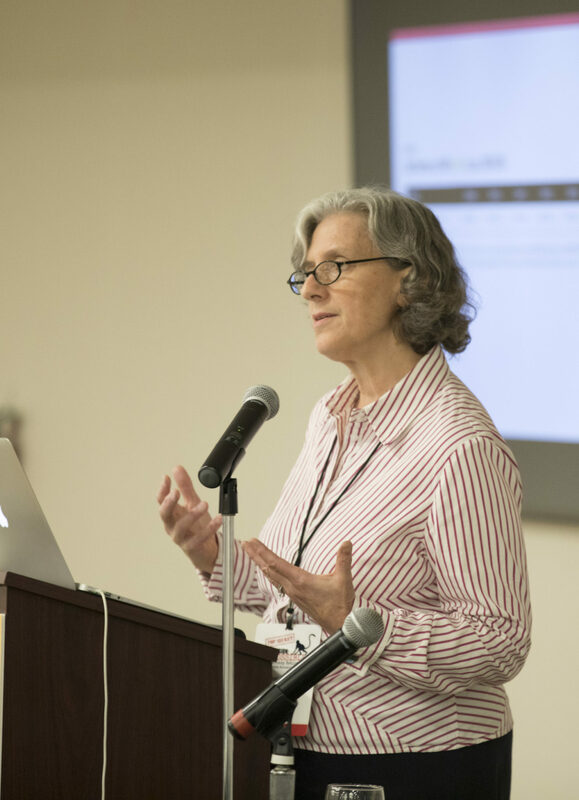 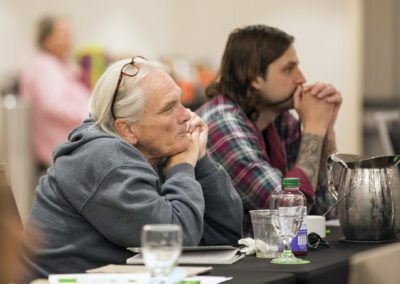 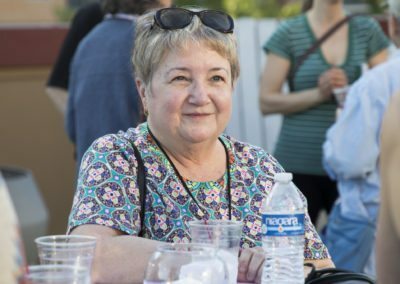 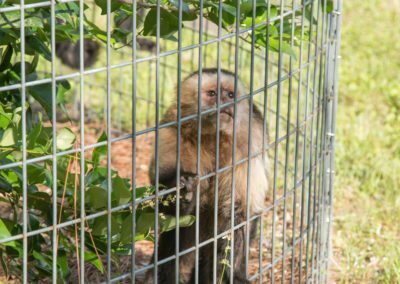 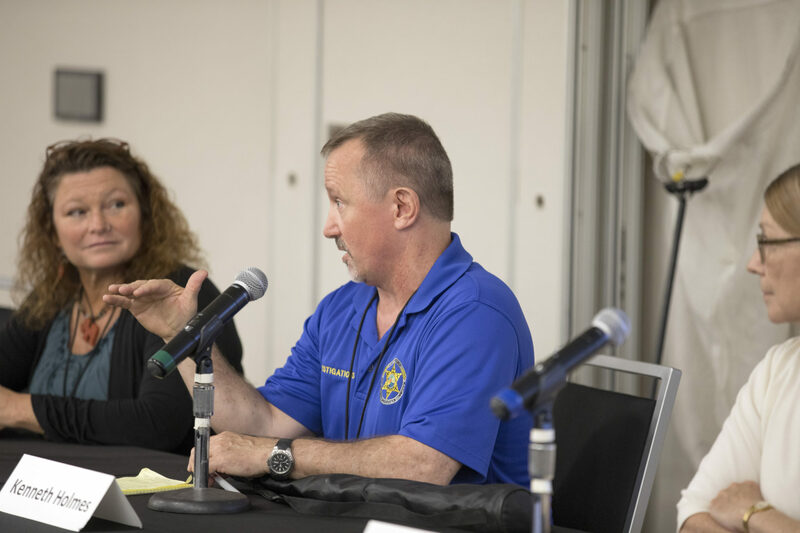 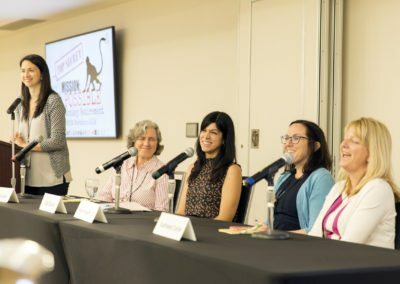 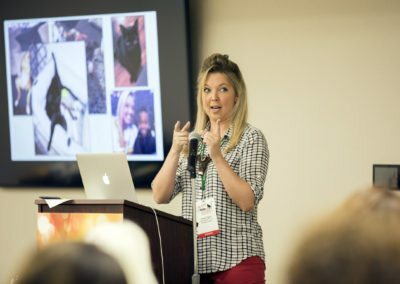 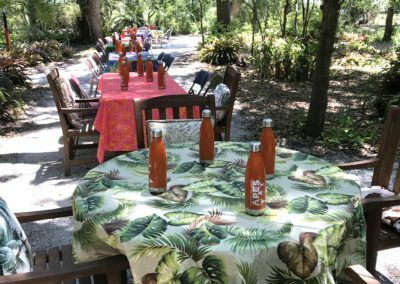 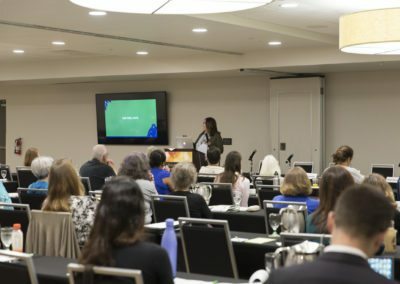 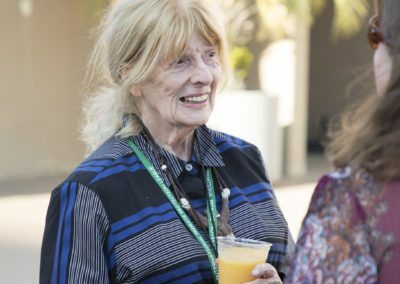 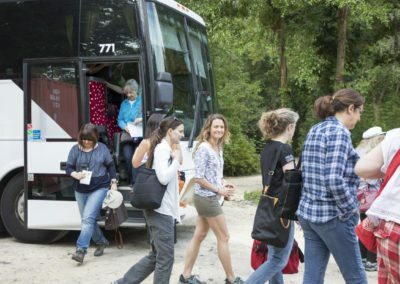 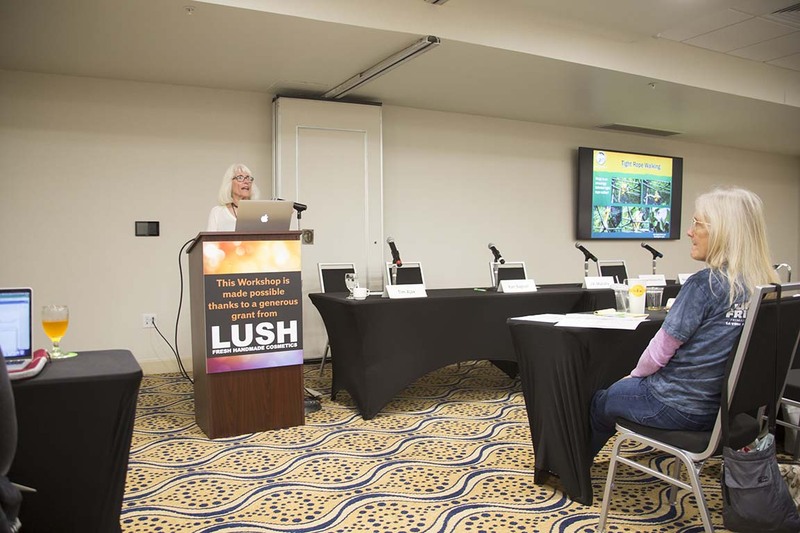 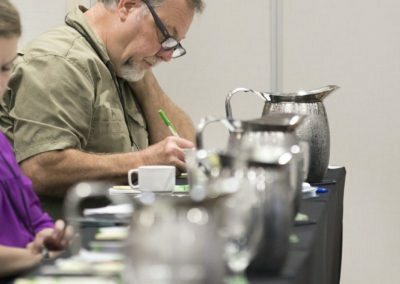 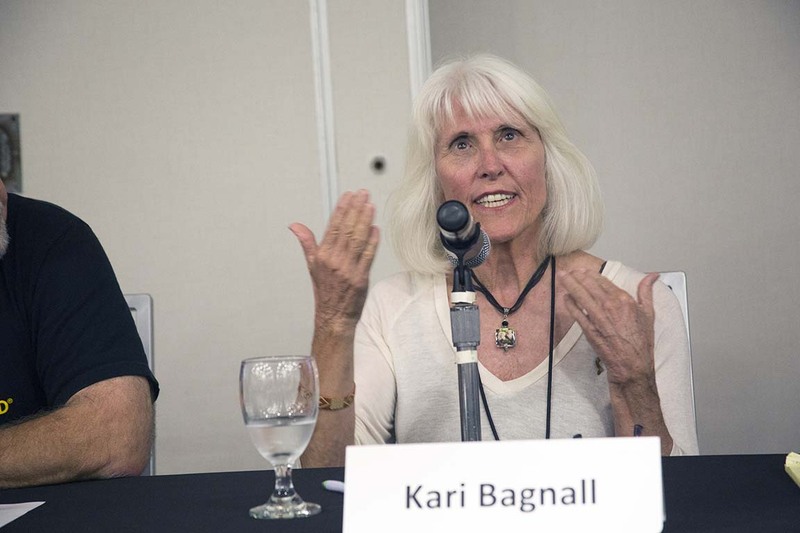 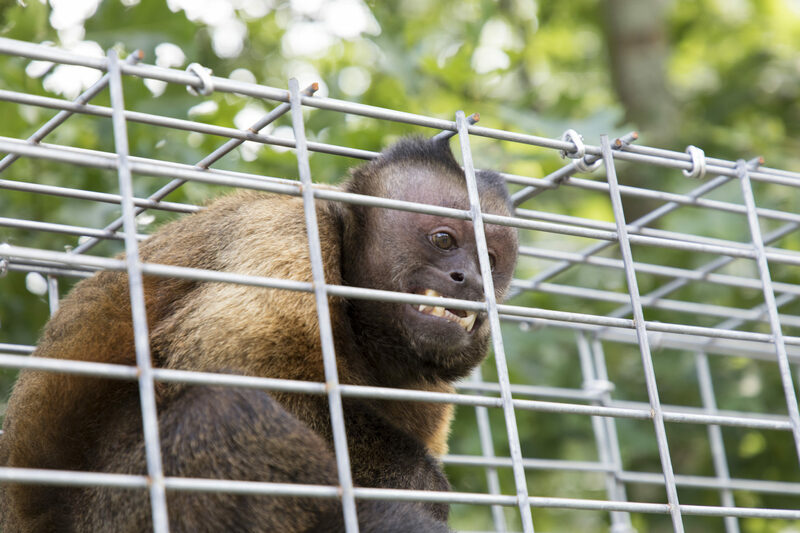 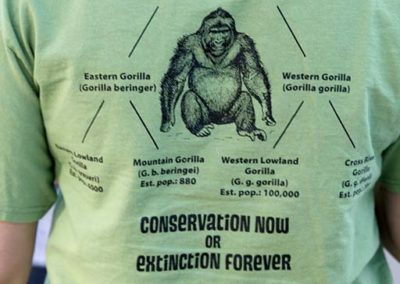 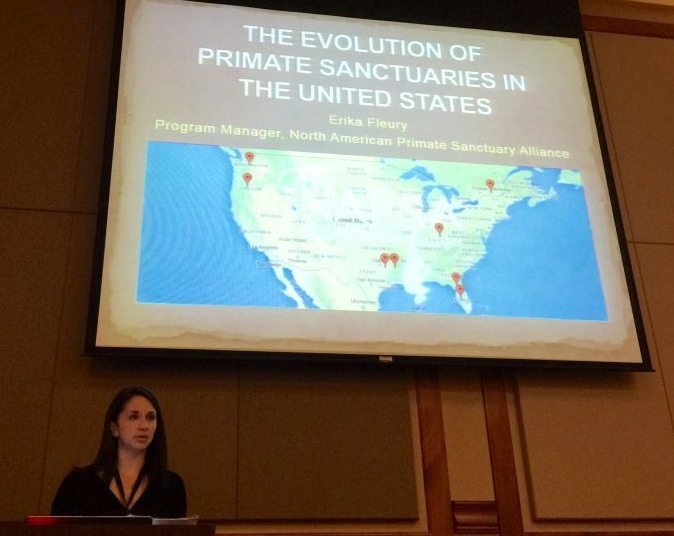 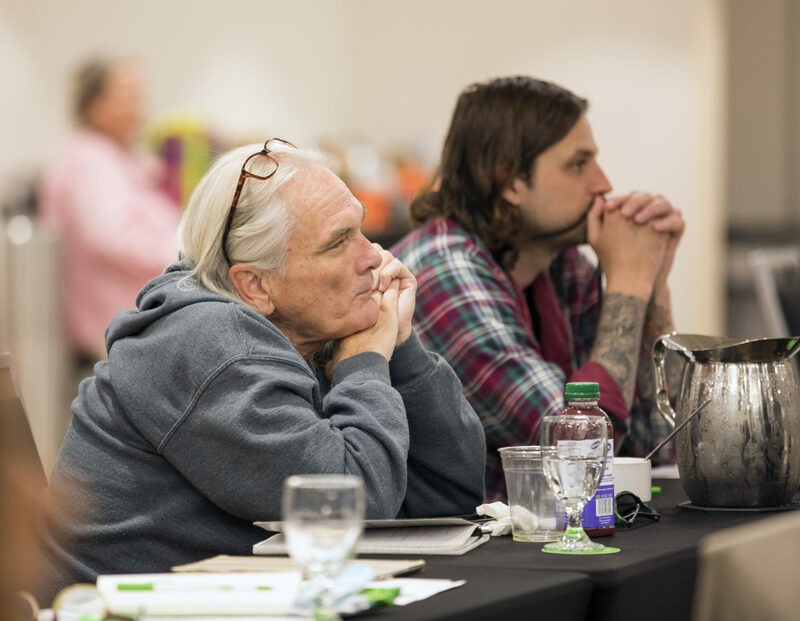 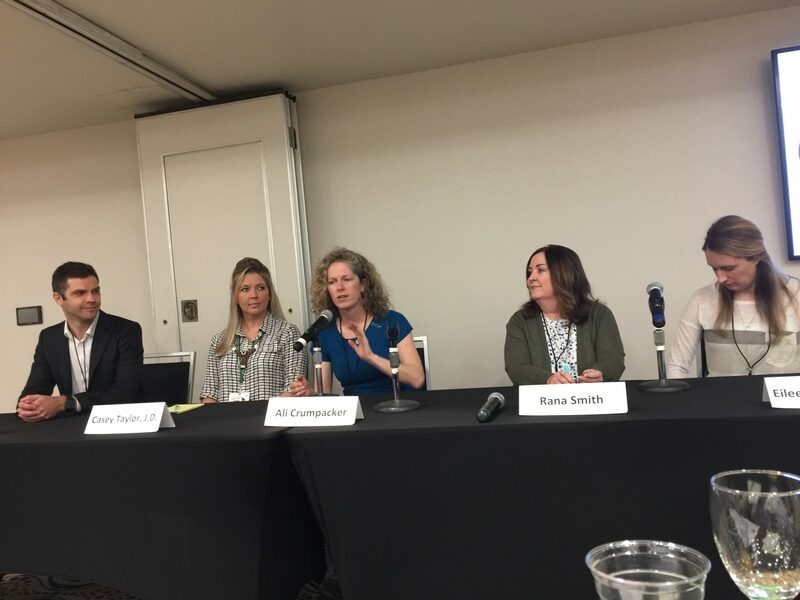 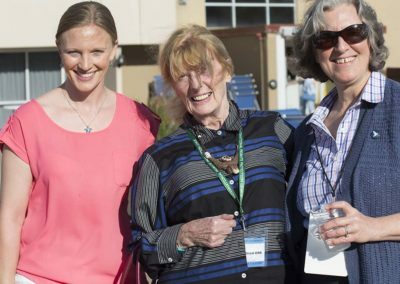 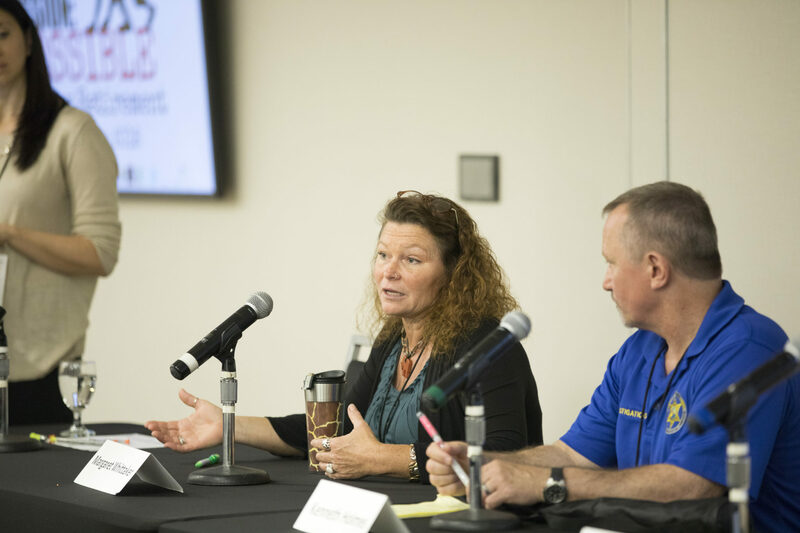 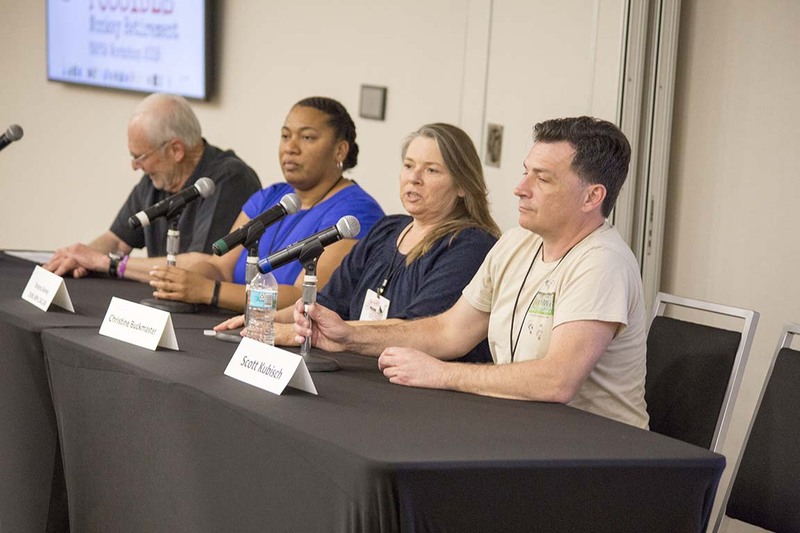 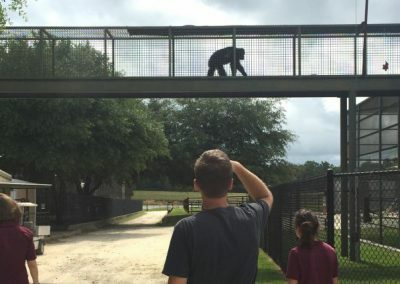 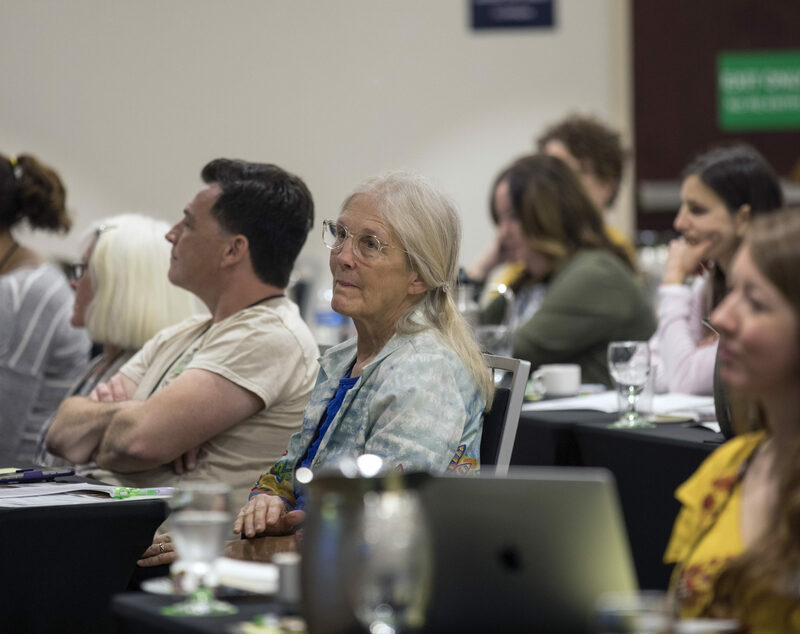 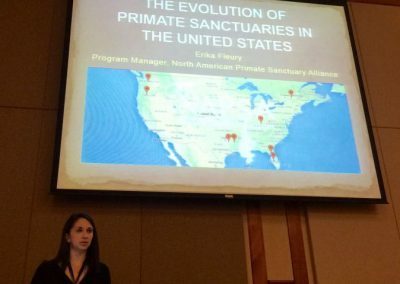 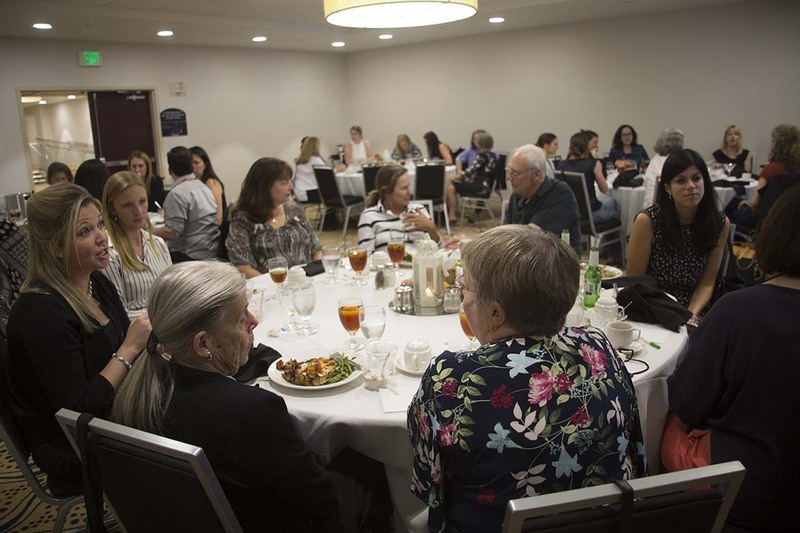 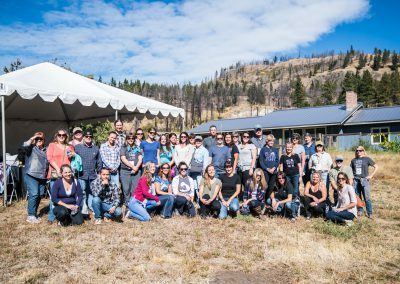 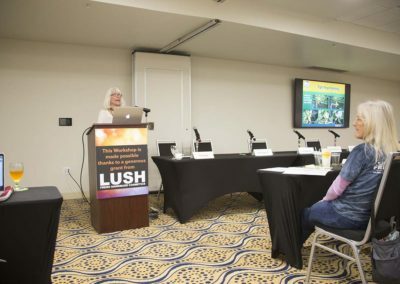 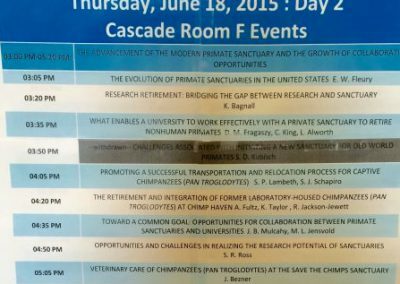 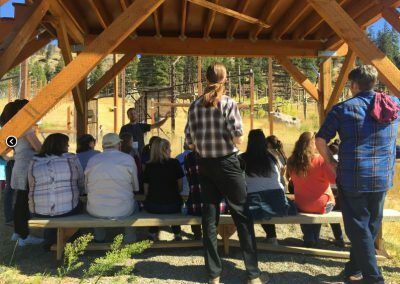 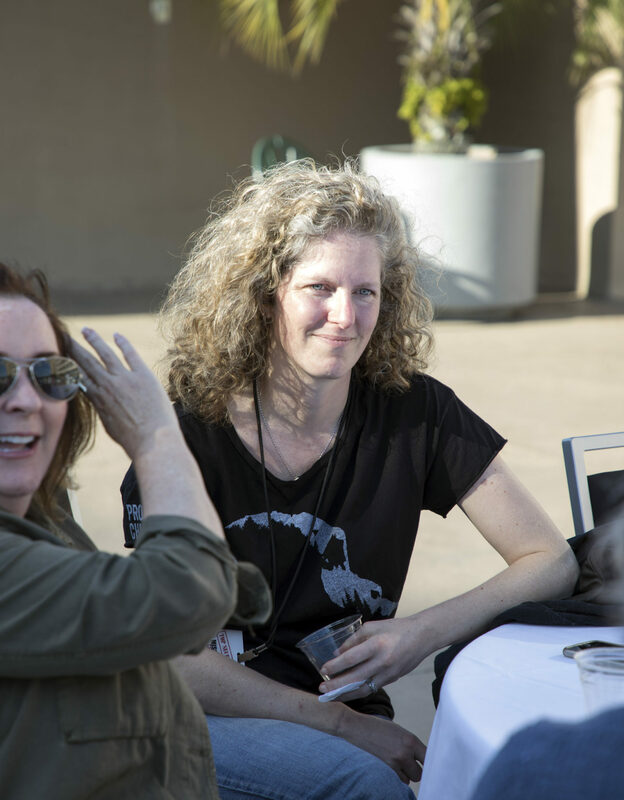 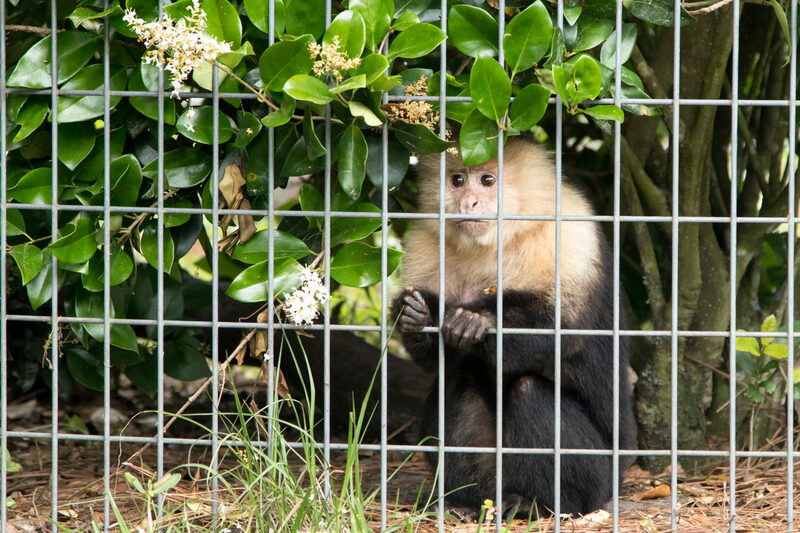 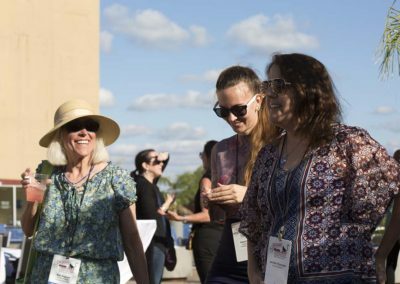 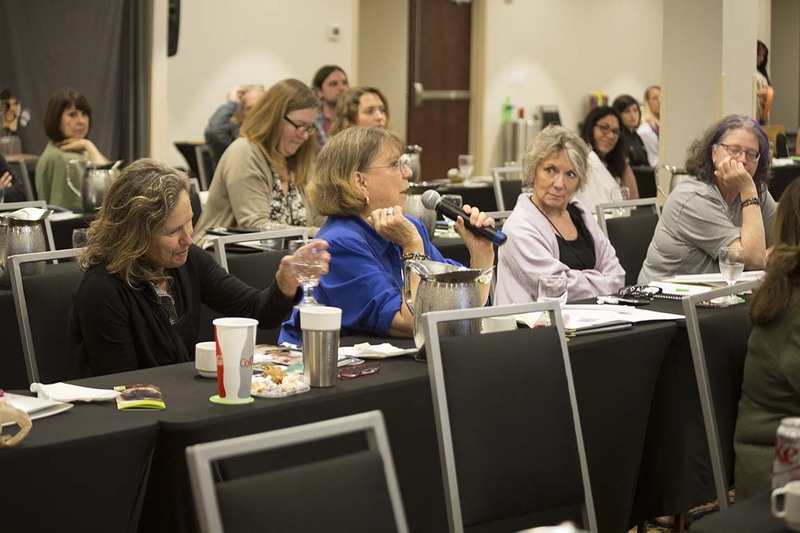 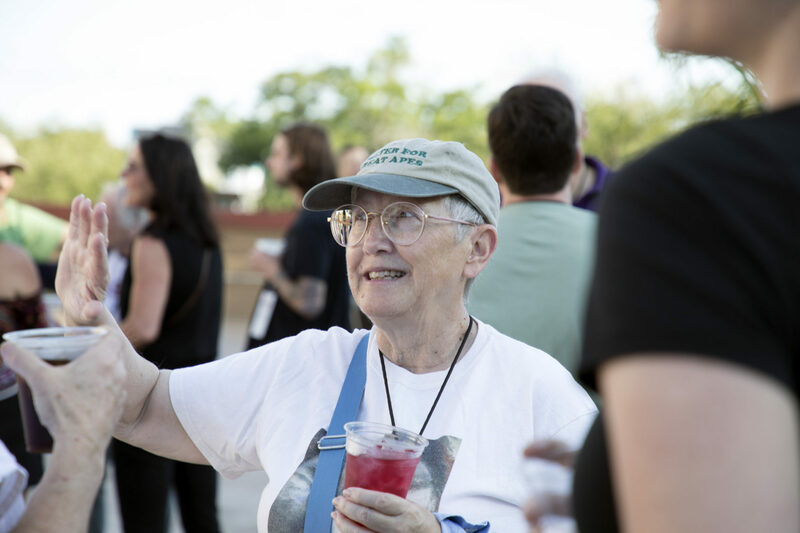 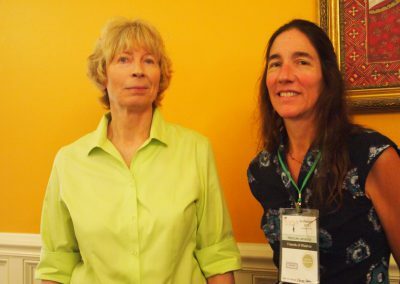 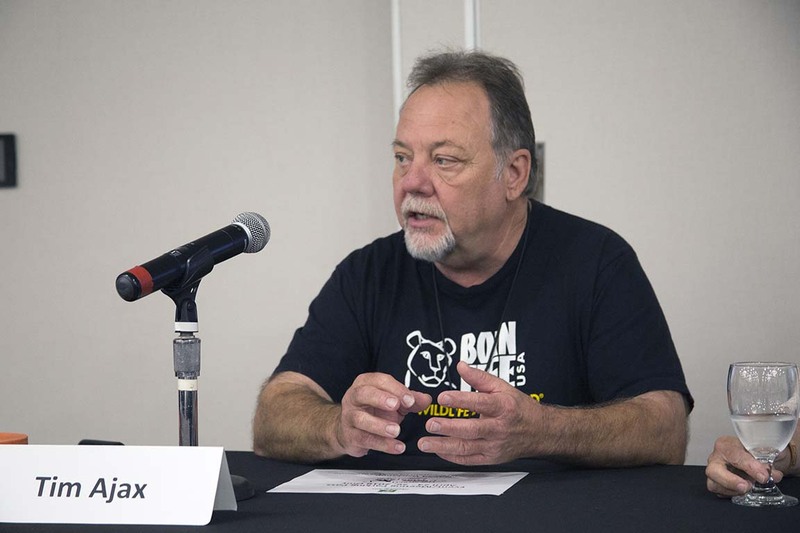 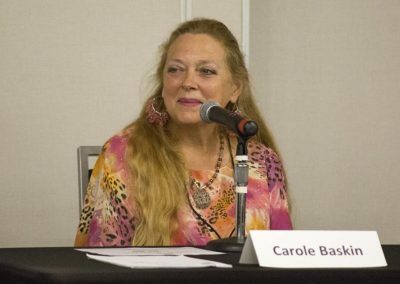 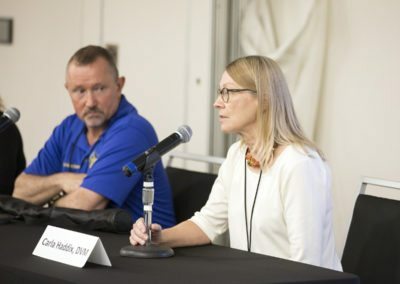 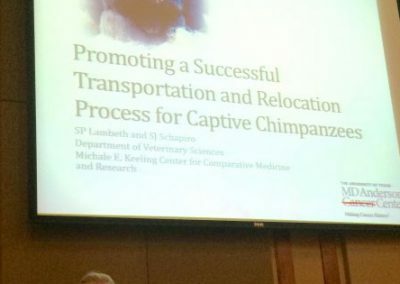 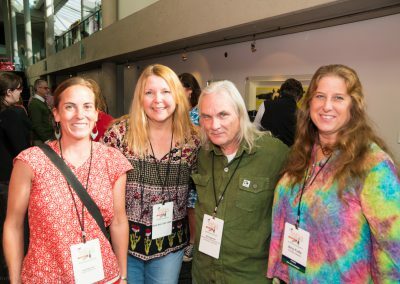 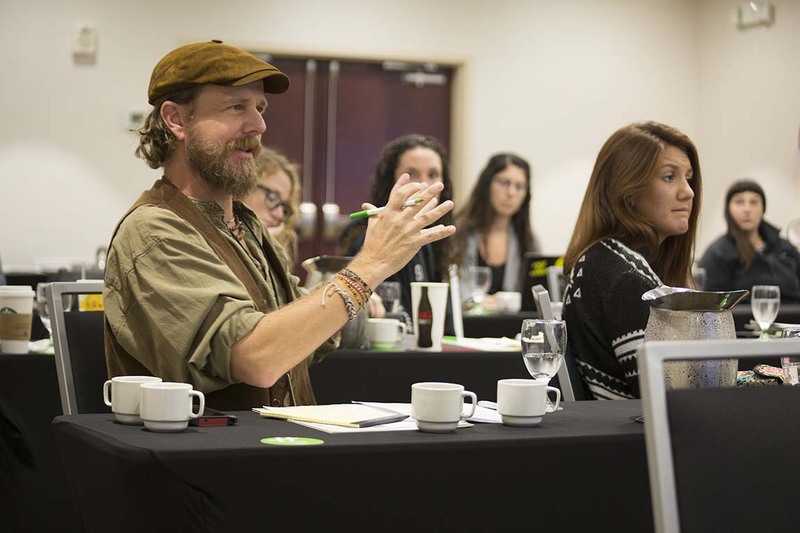 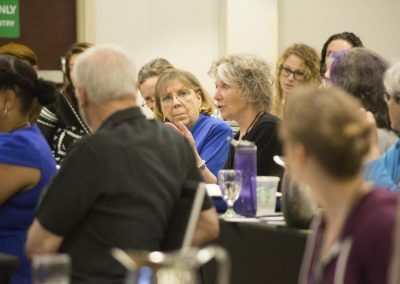 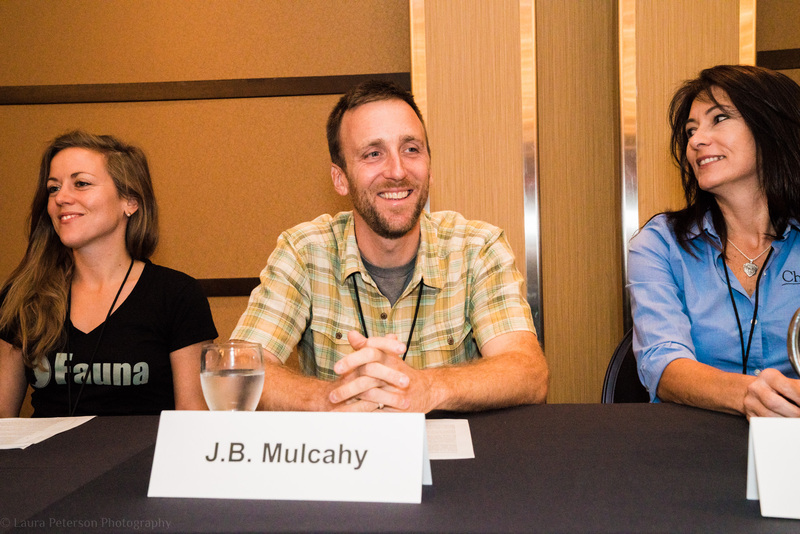 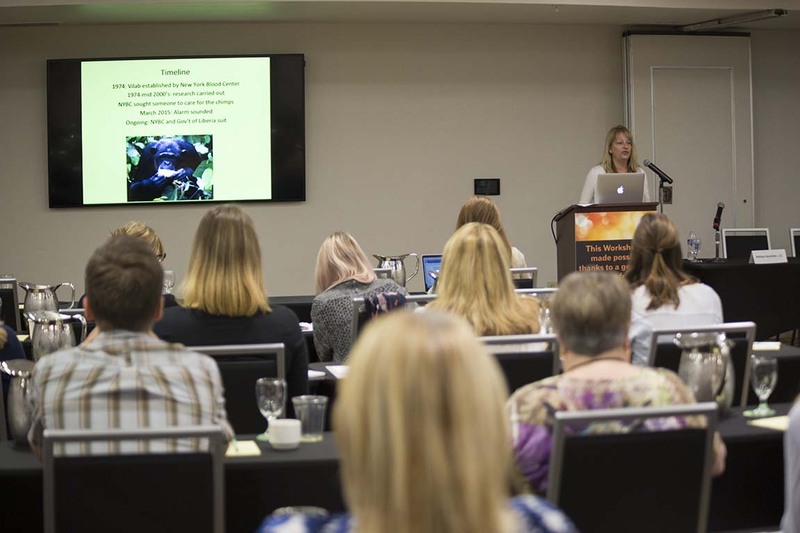 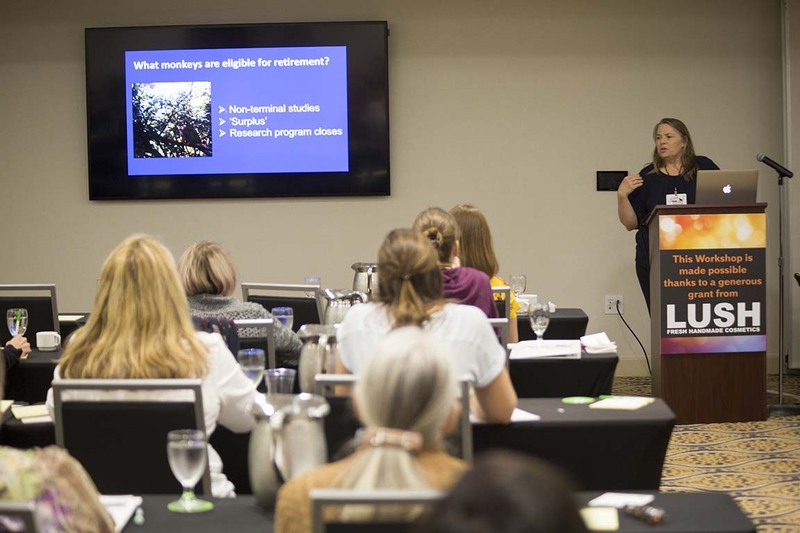 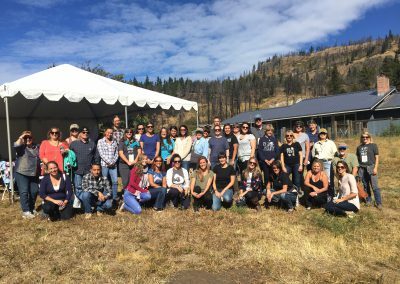 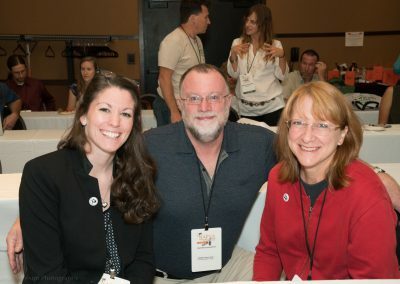 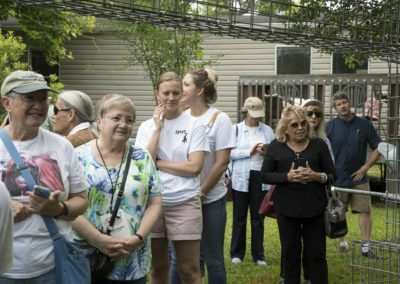 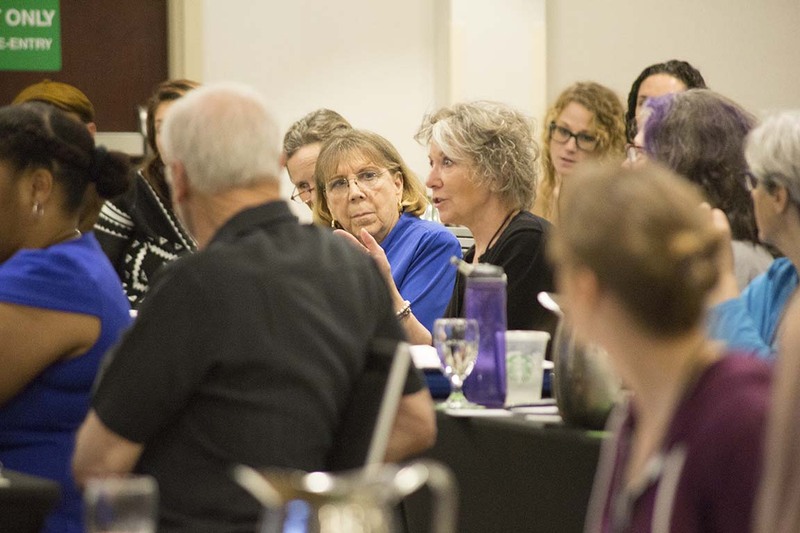 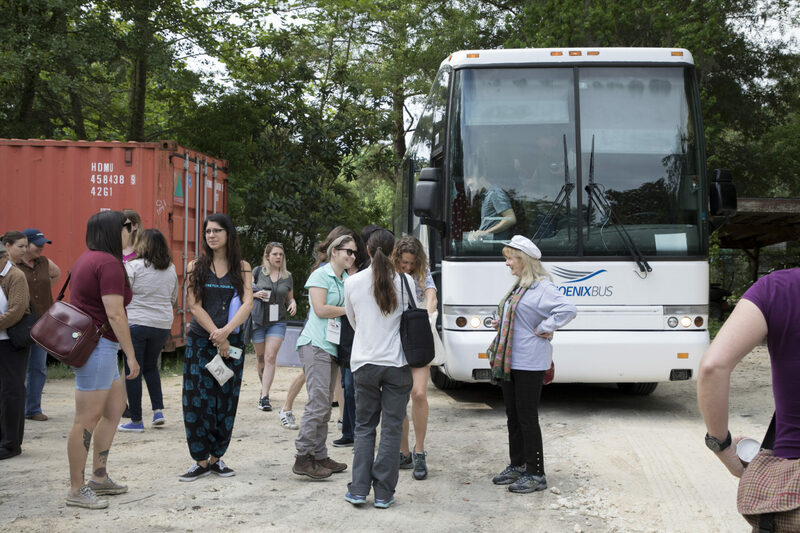 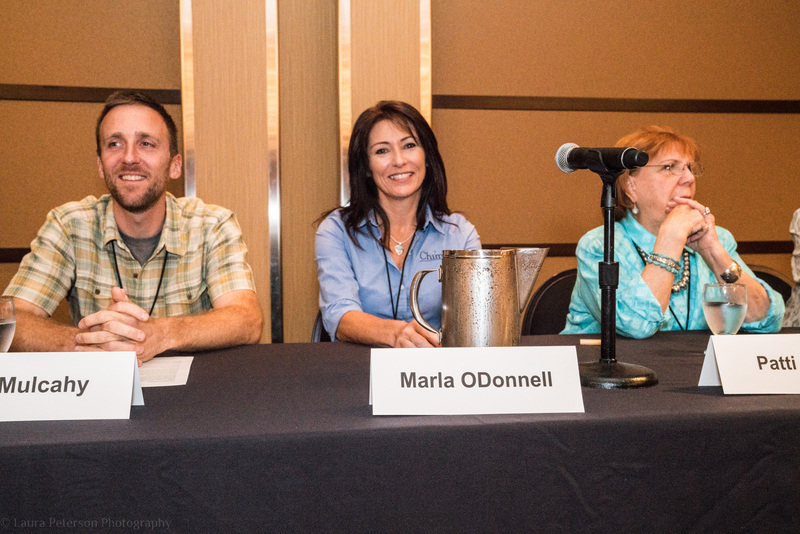 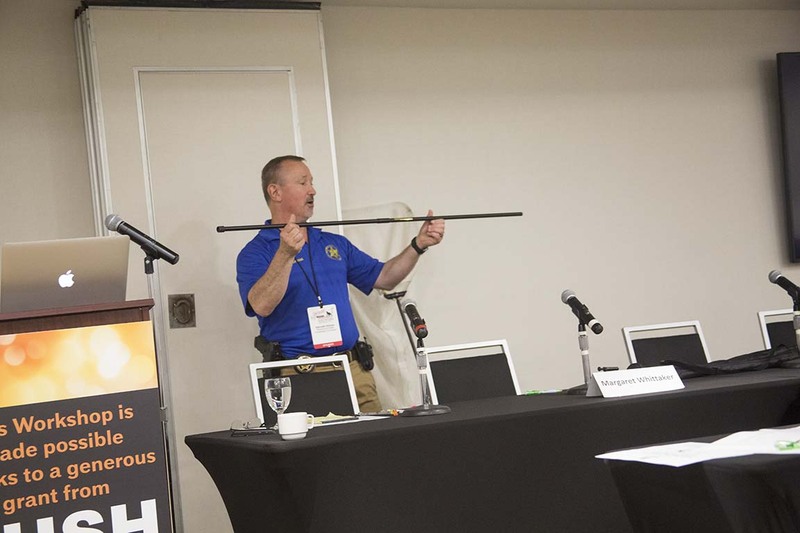 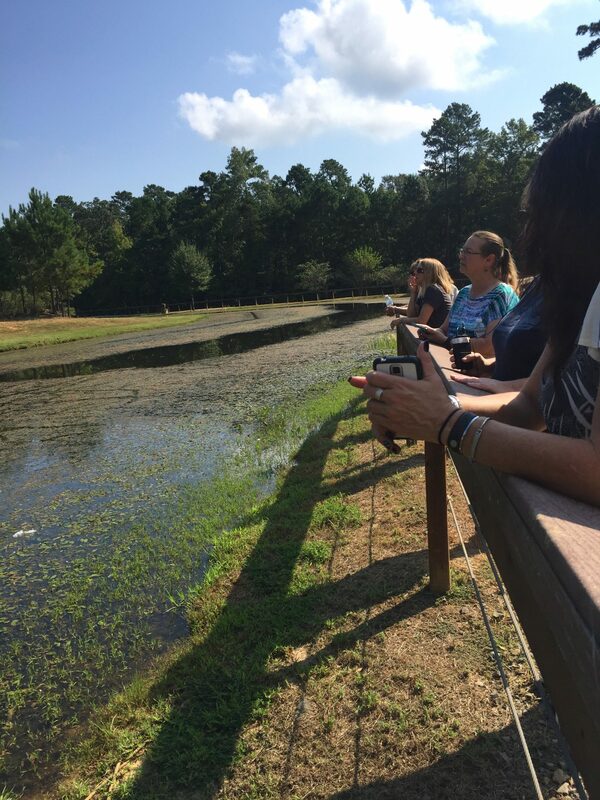 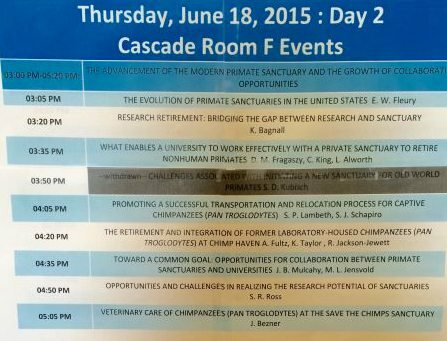 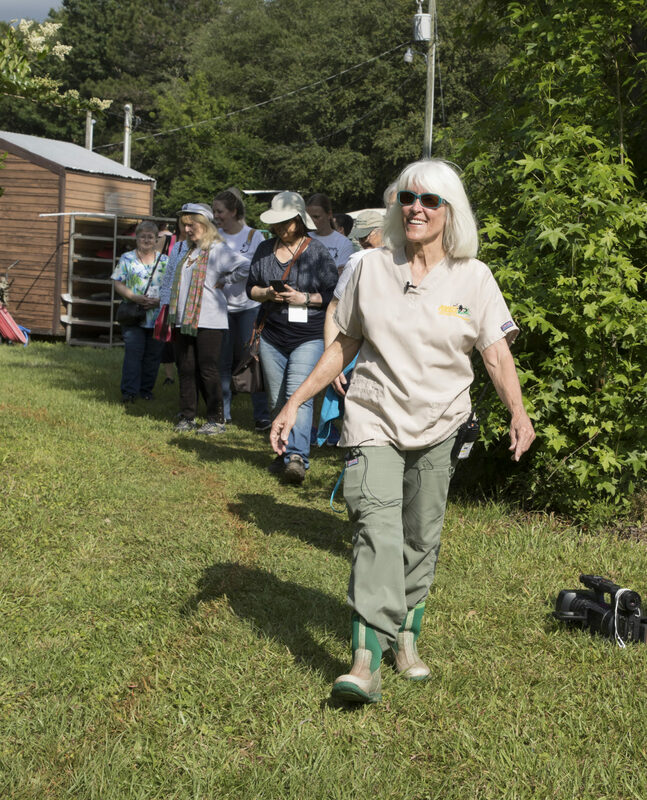 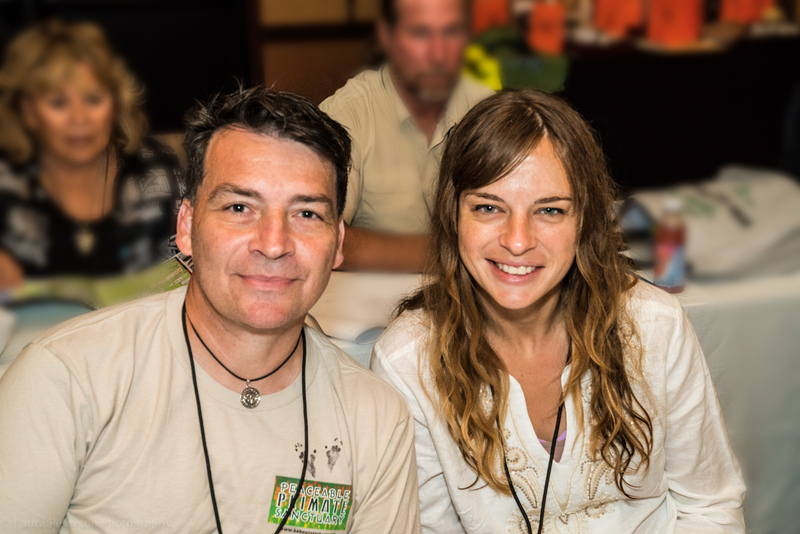 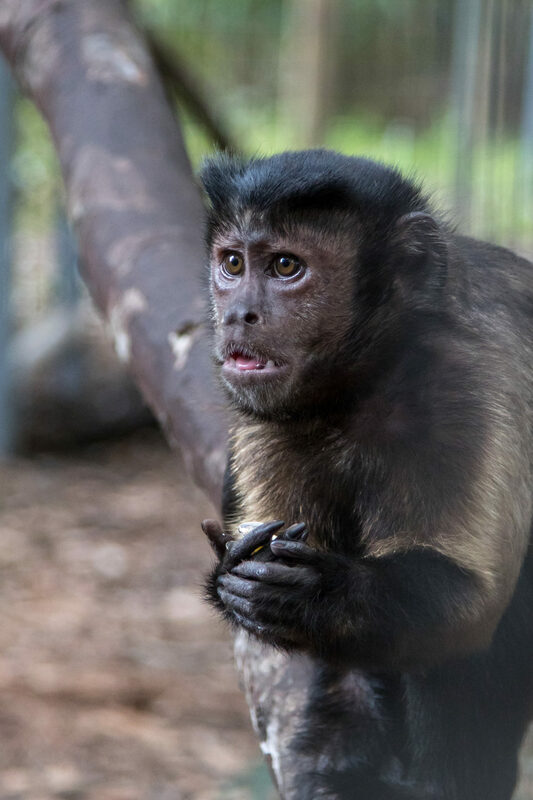 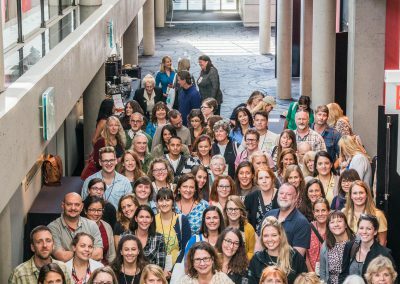 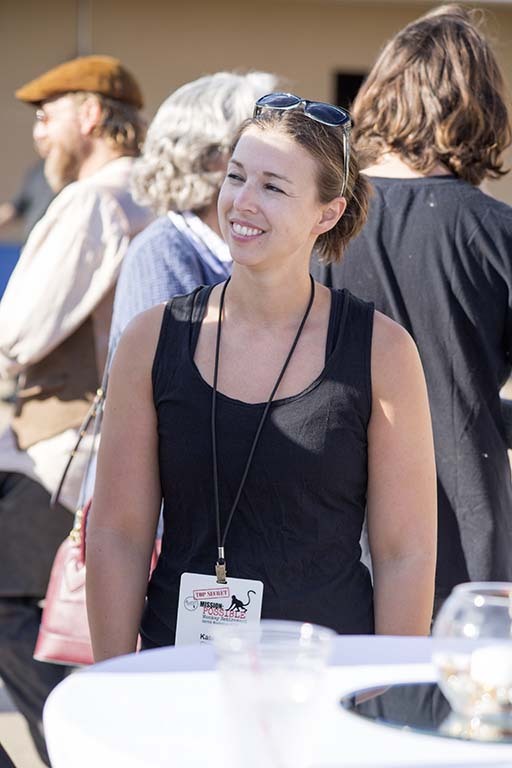 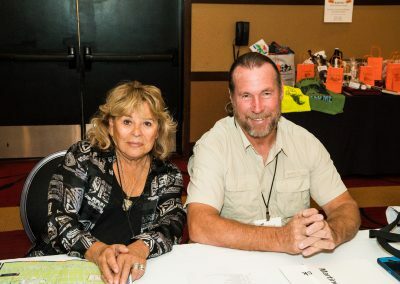 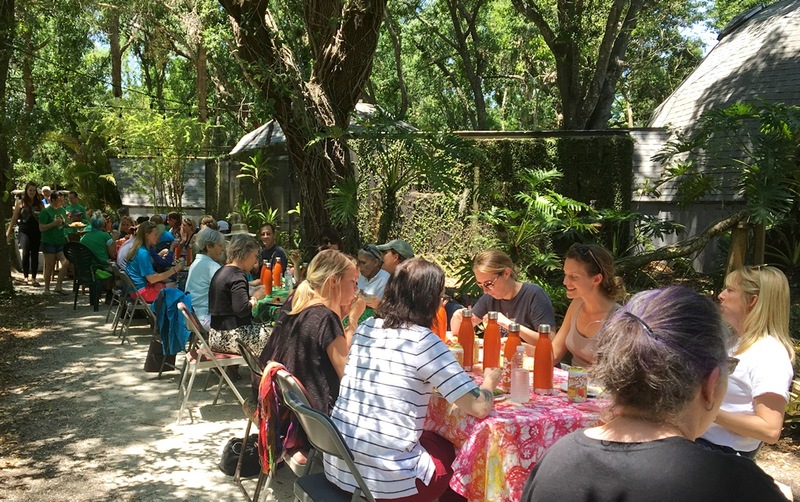 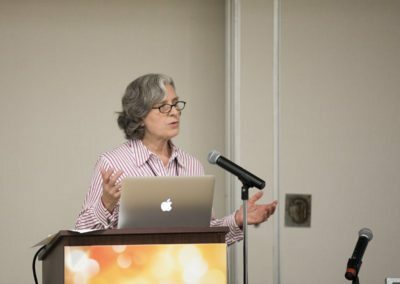 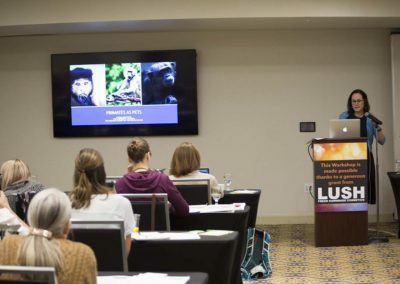 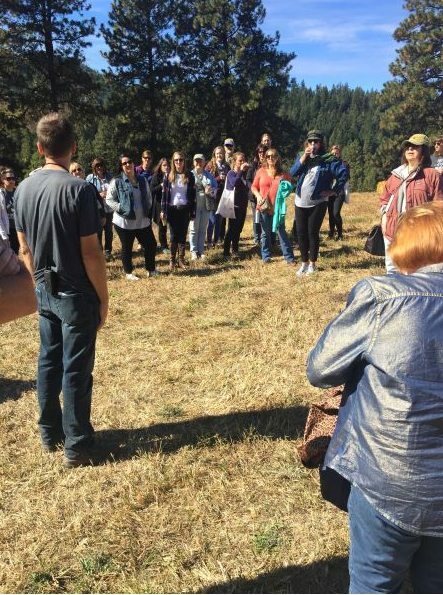 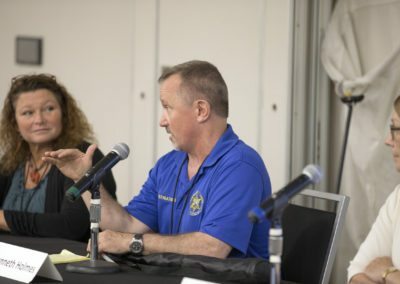 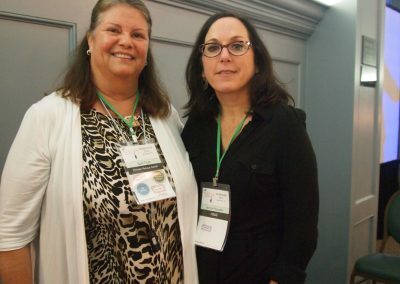 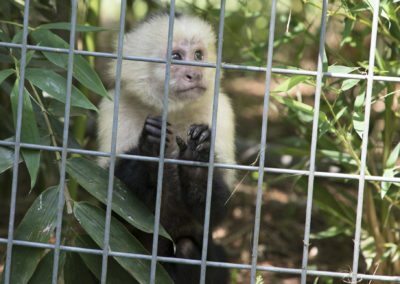 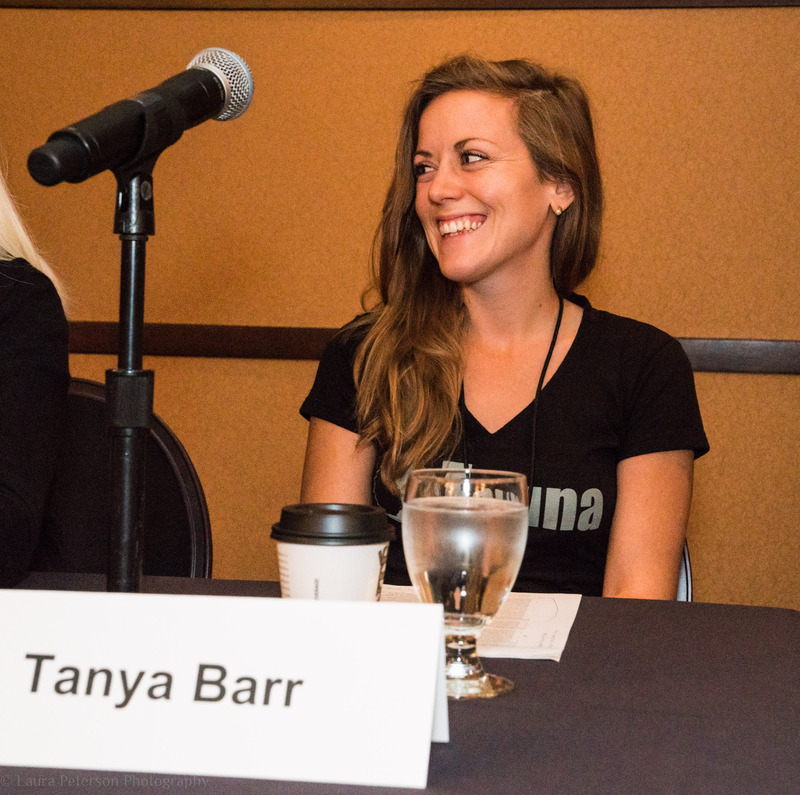 The multi-day event involved tours of two area sanctuaries and two days of panel discussions and presentations that touched on virtually all aspects of primate sanctuary management. 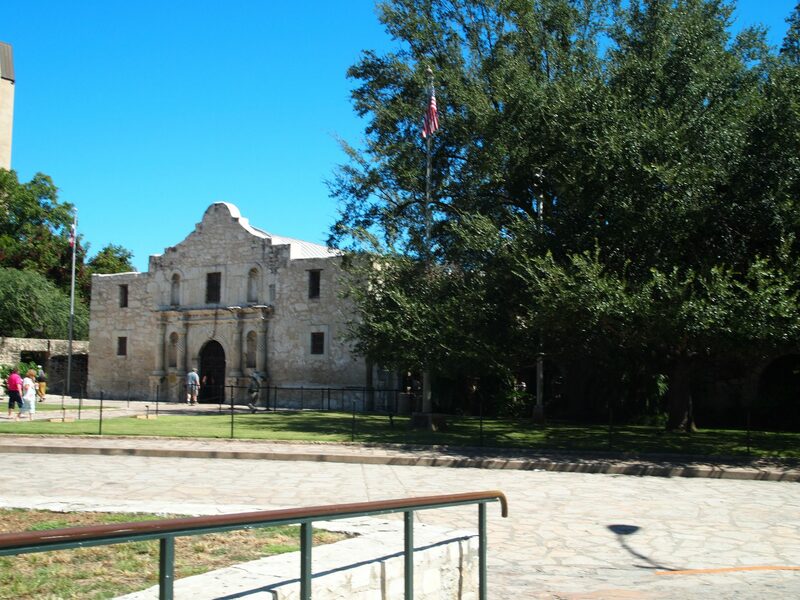 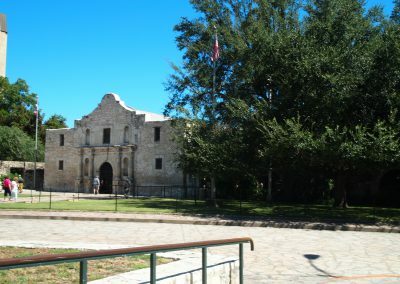 We were right next to the famous Alamo! 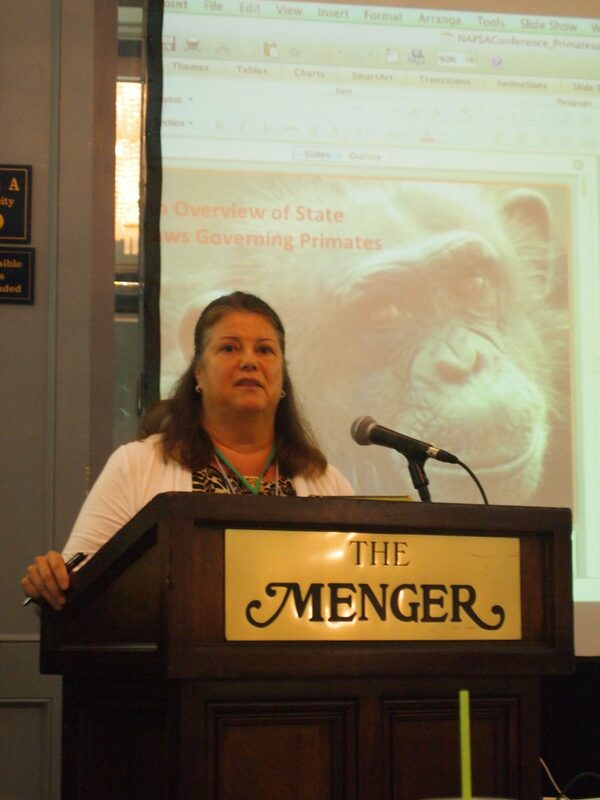 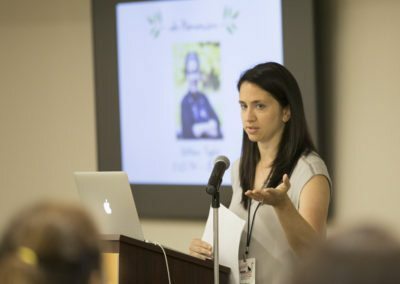 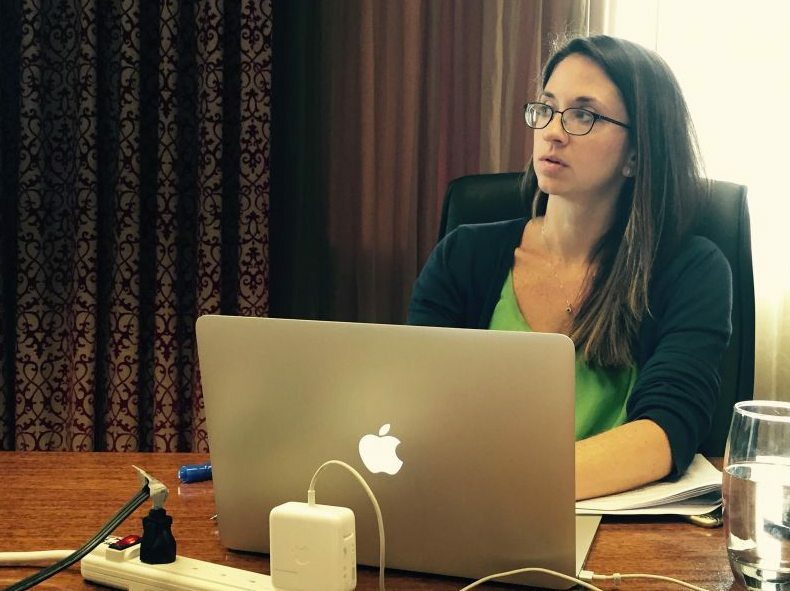 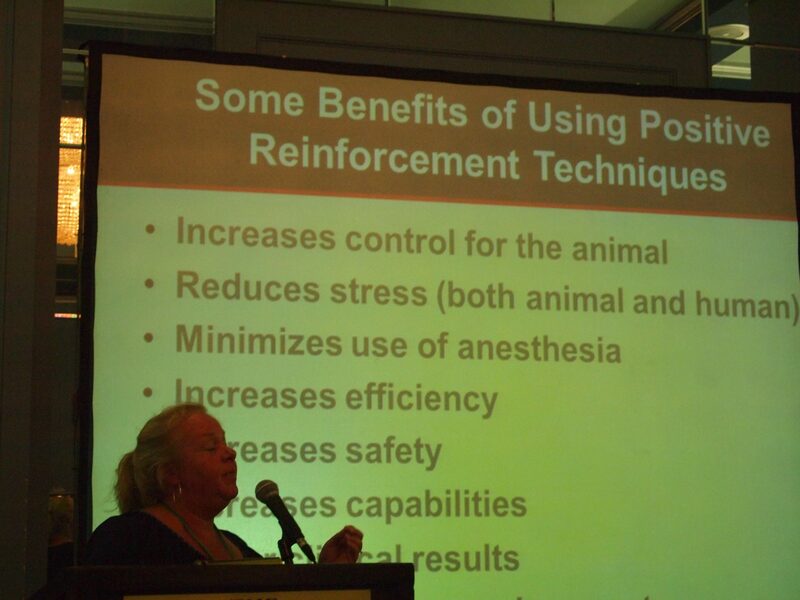 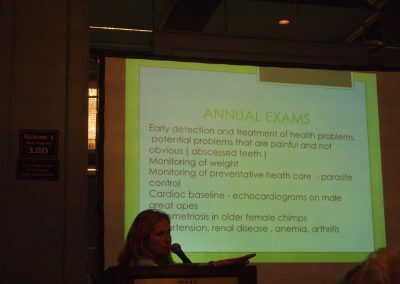 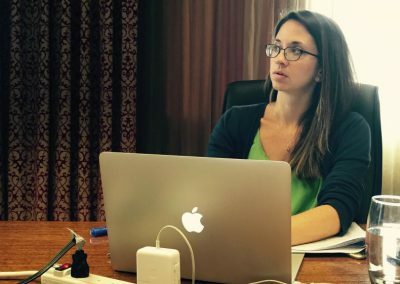 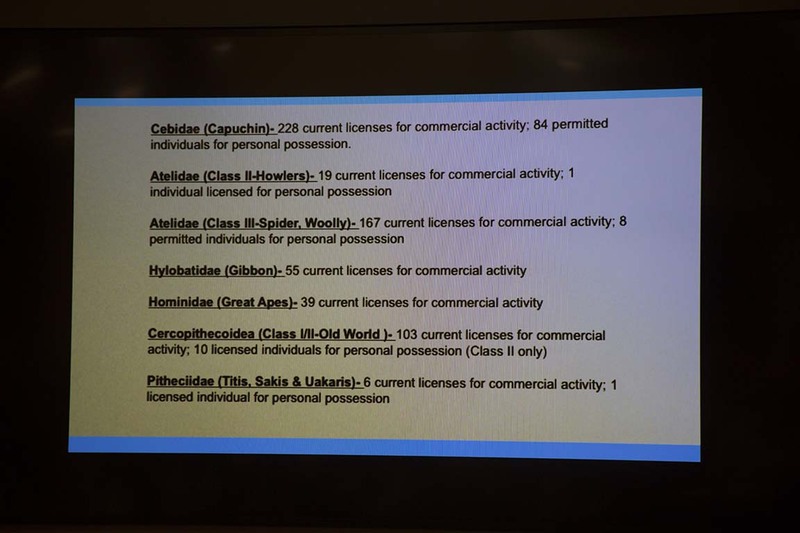 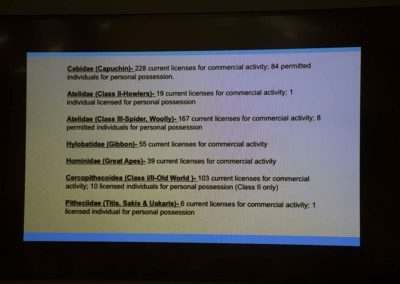 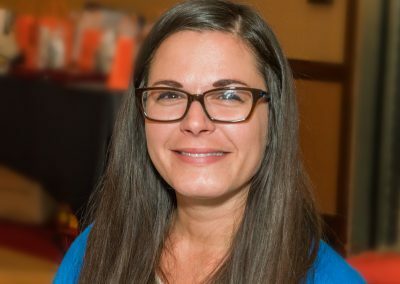 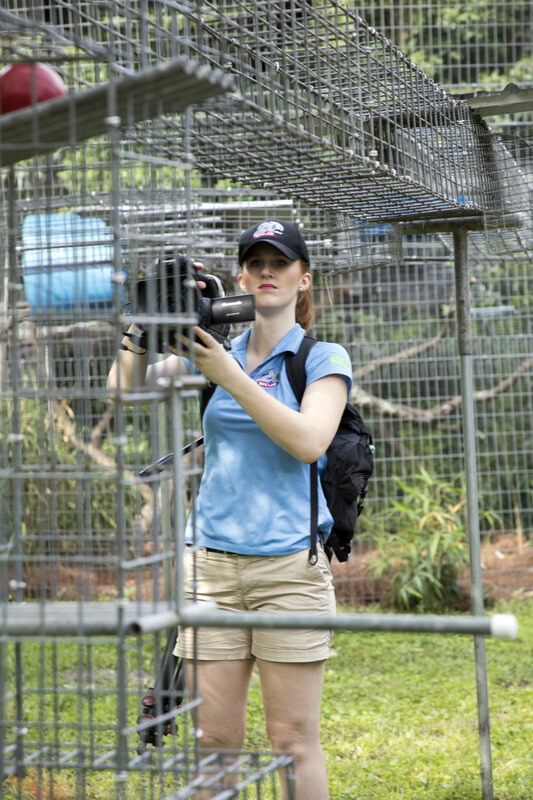 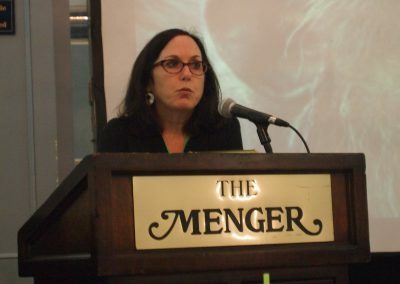 Dr. Jocelyn Bezner discusses Save The Chimps’ veterinary practices. 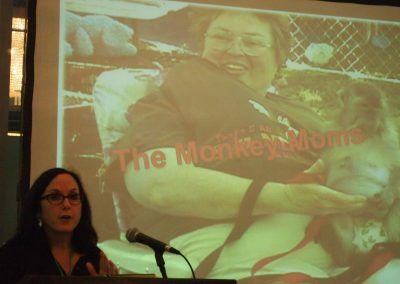 Nicole Paquette of the Humane Society of the United States presents about pet primates. 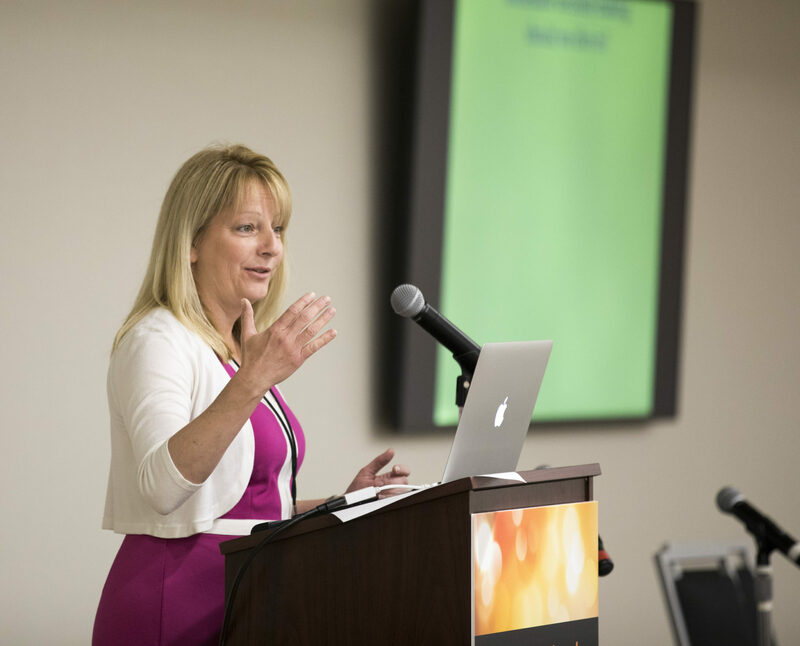 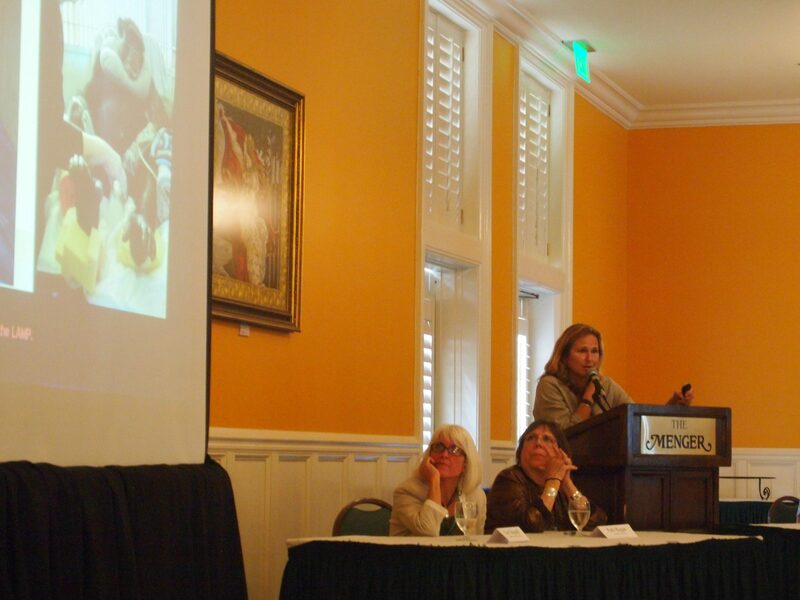 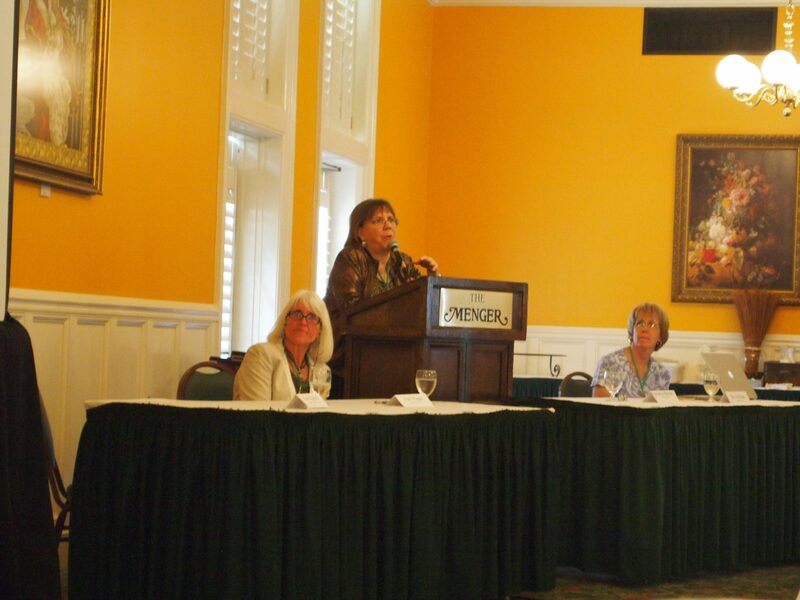 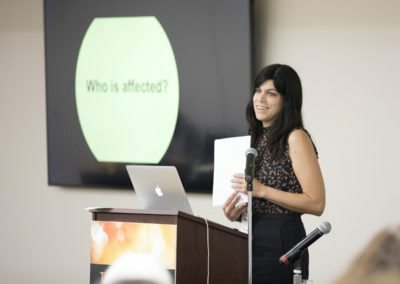 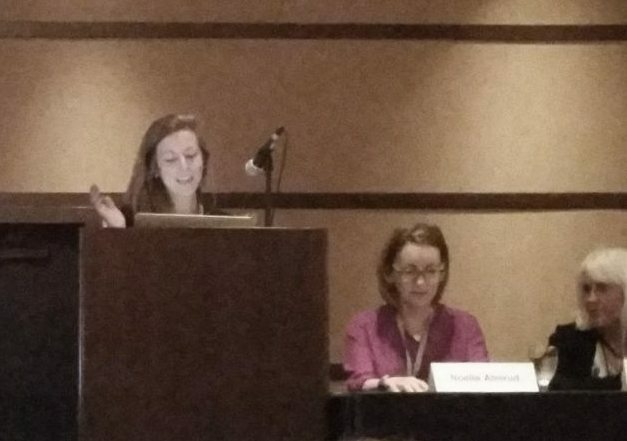 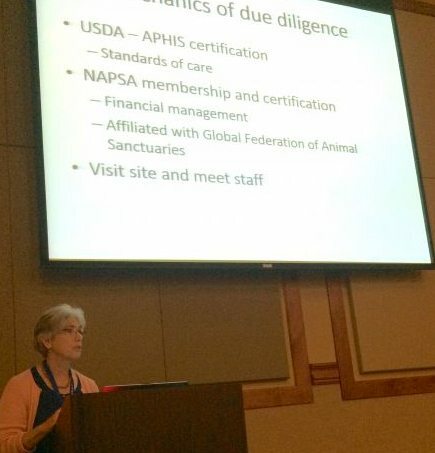 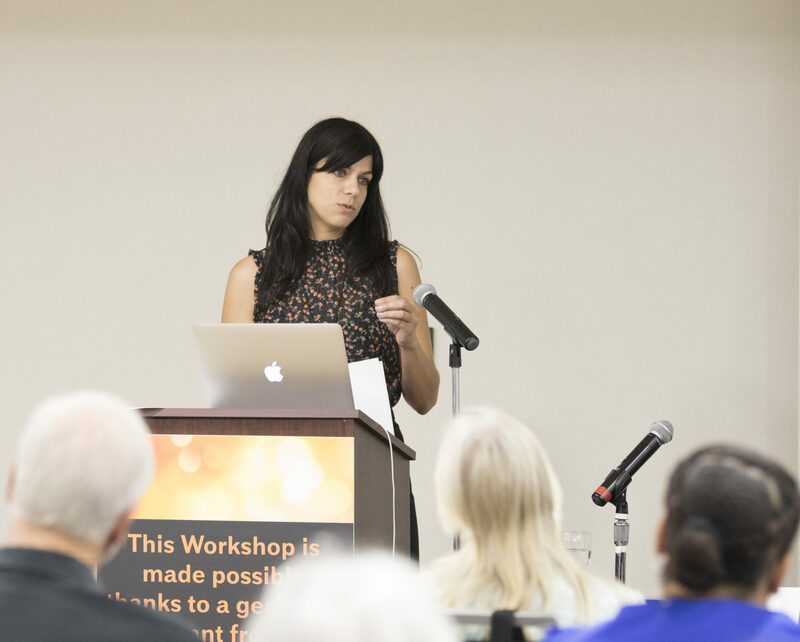 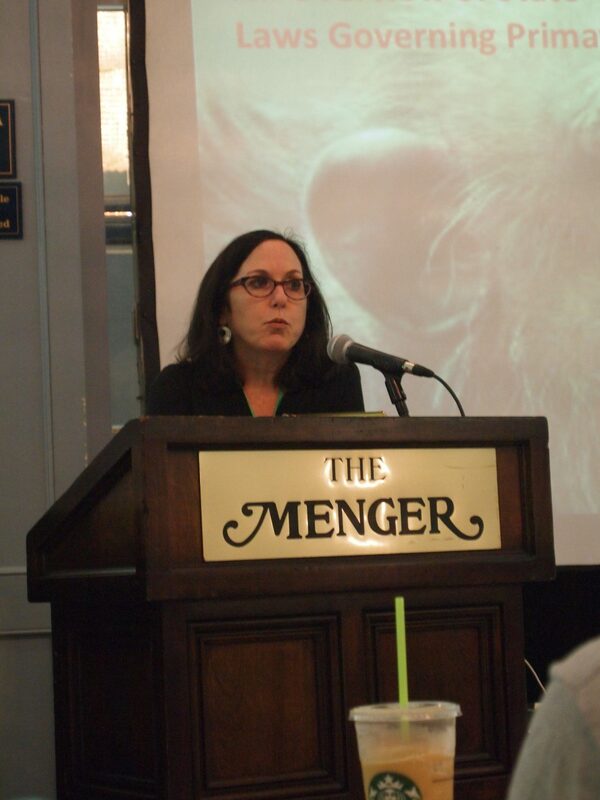 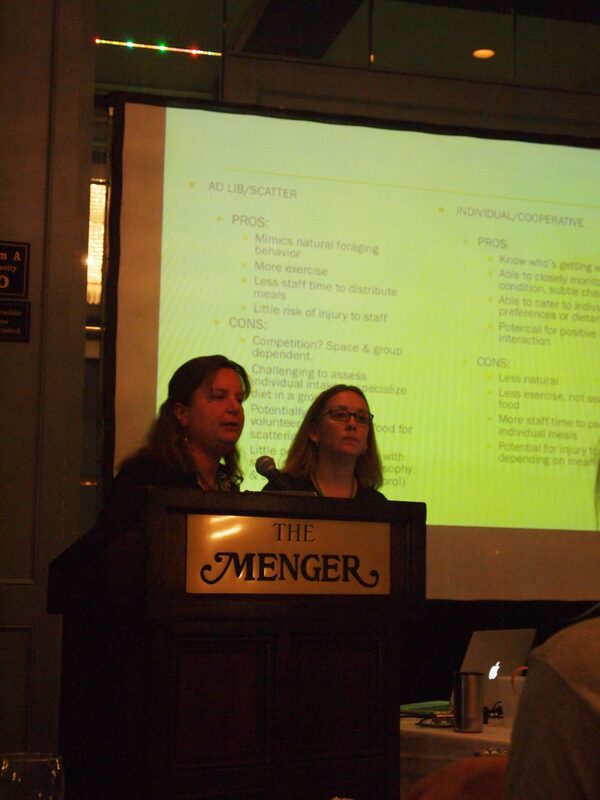 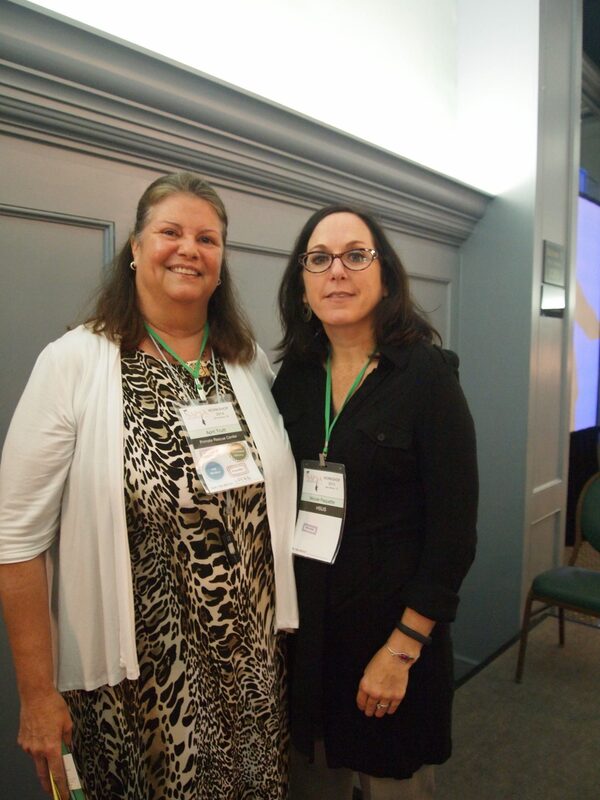 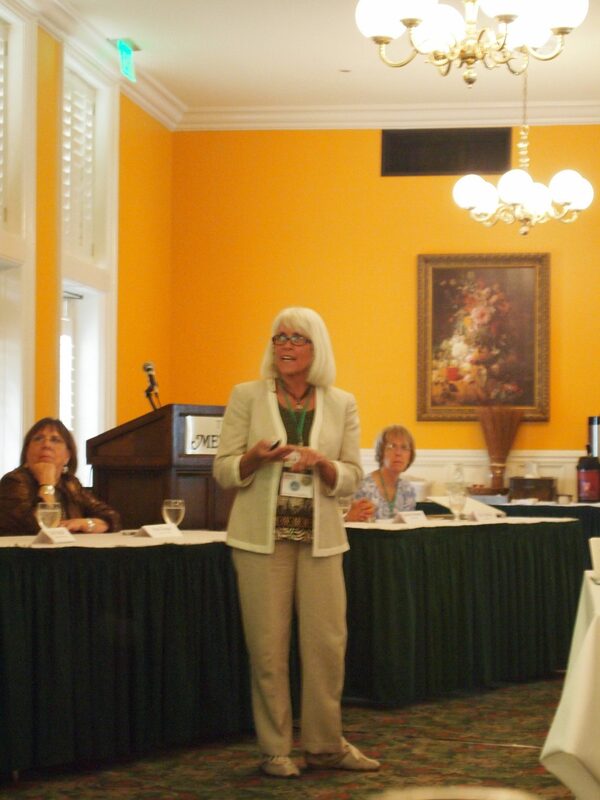 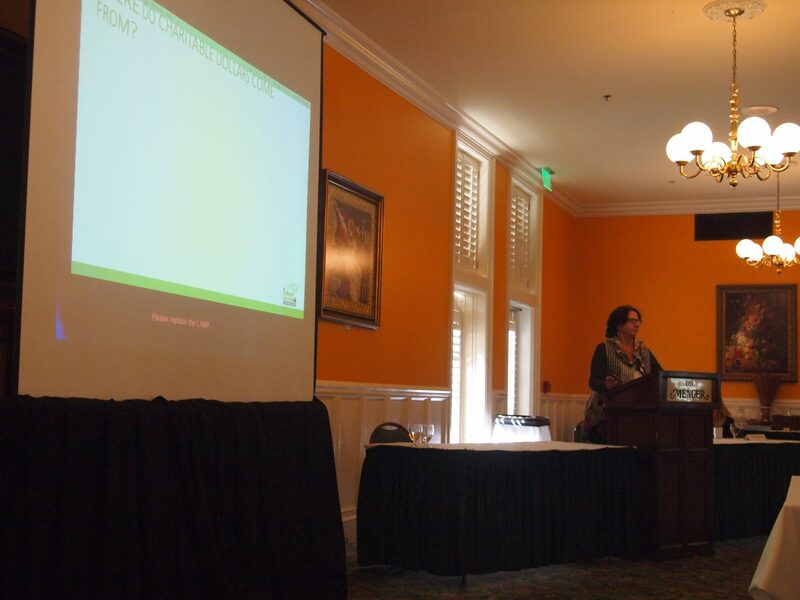 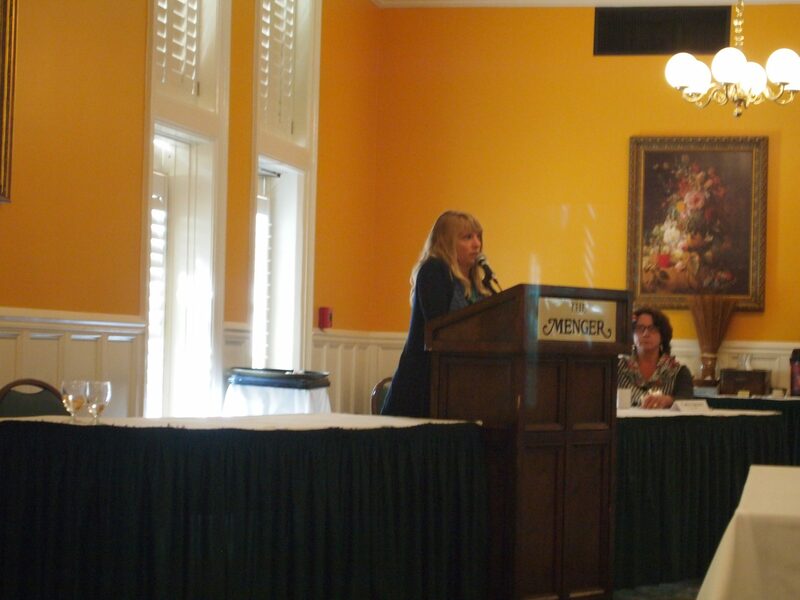 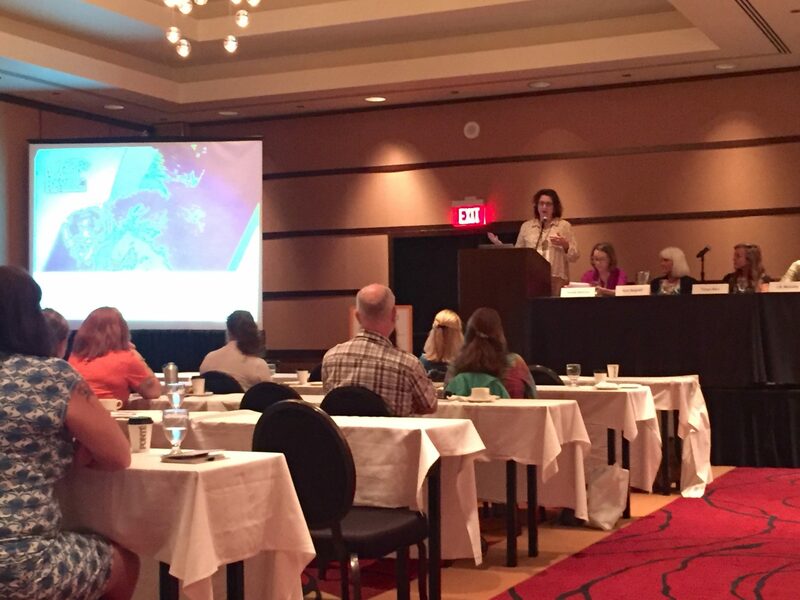 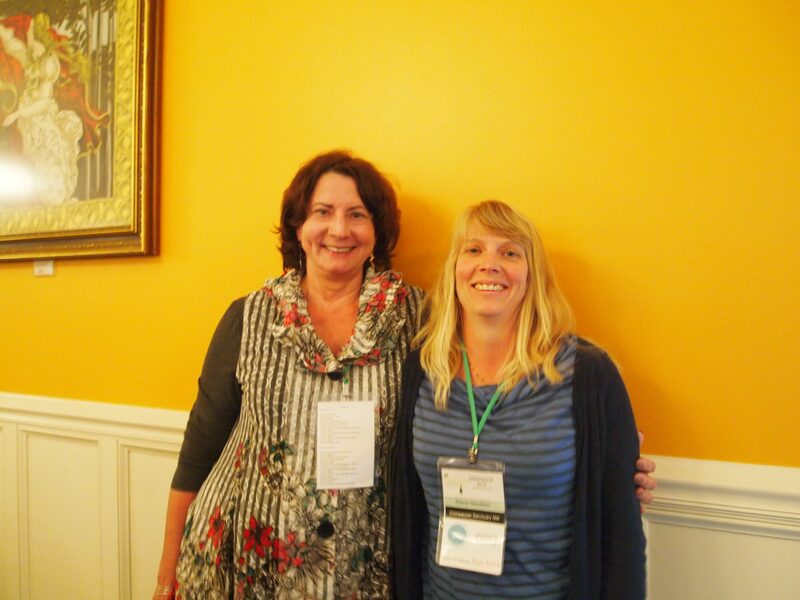 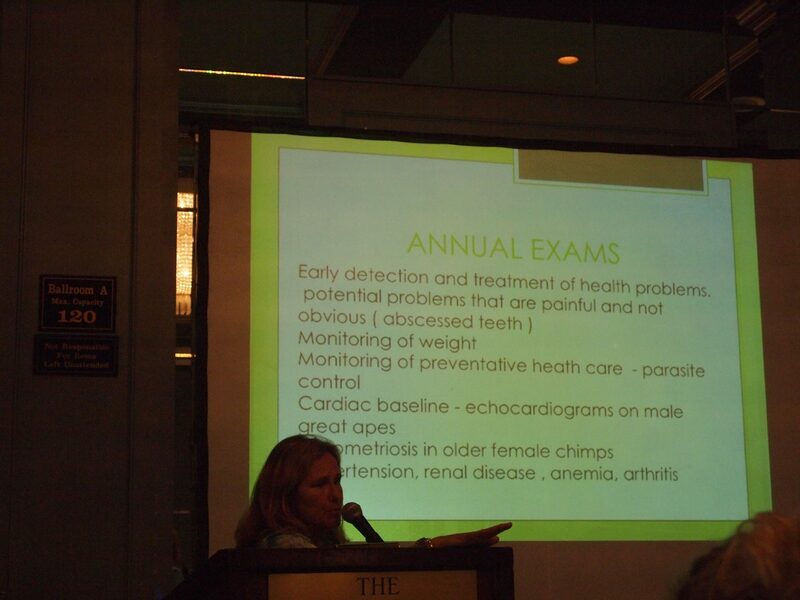 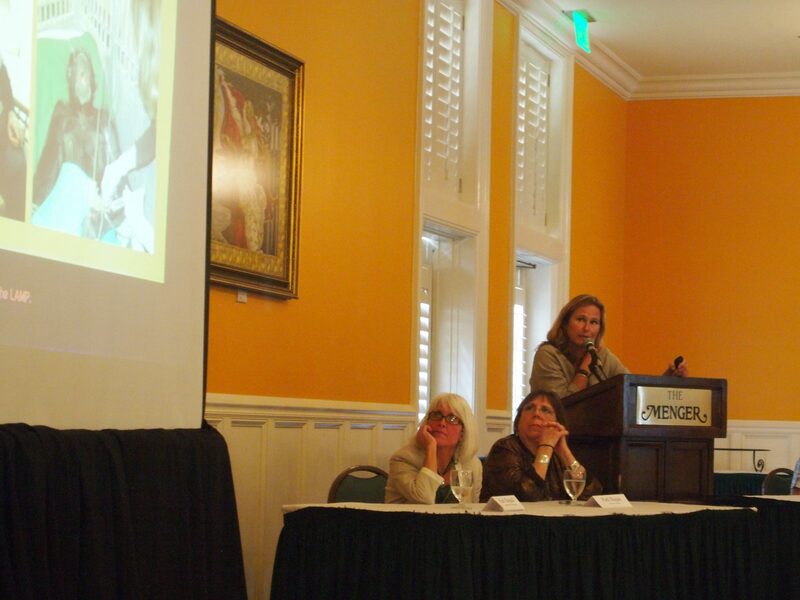 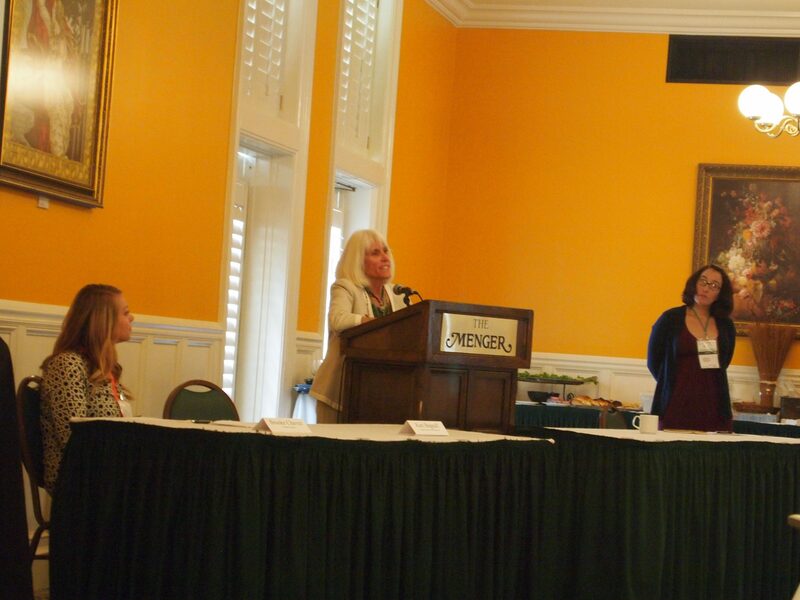 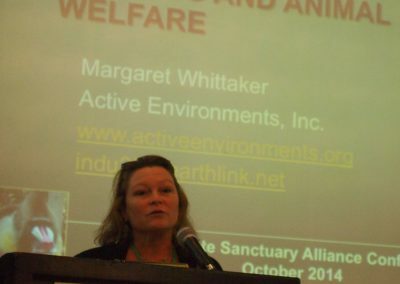 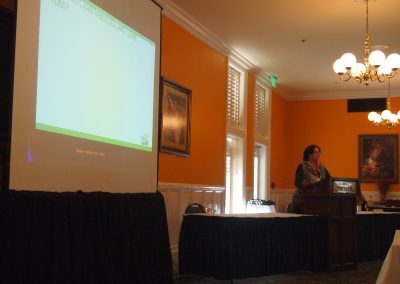 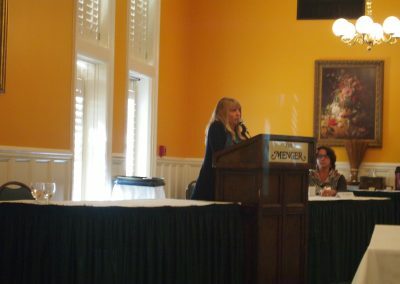 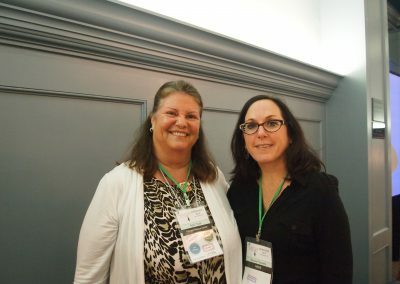 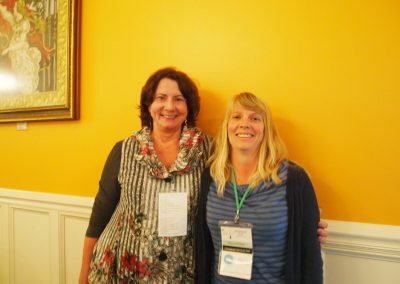 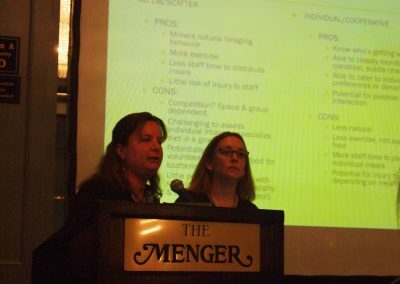 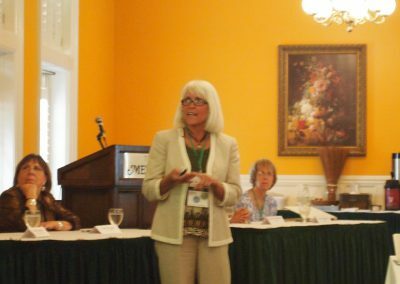 Dr. Theodora Capaldo of NEAVS spoke about collaboration amongst animal advocacy organizations. 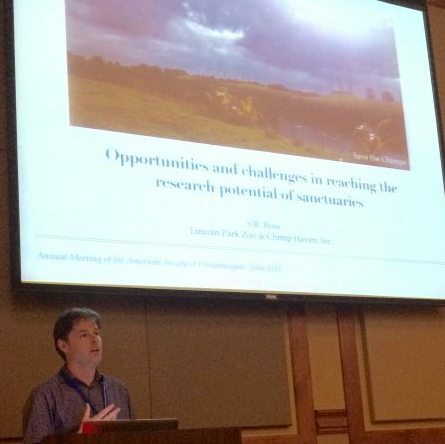 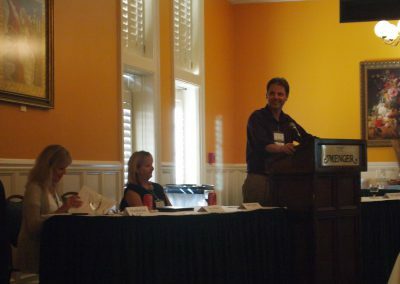 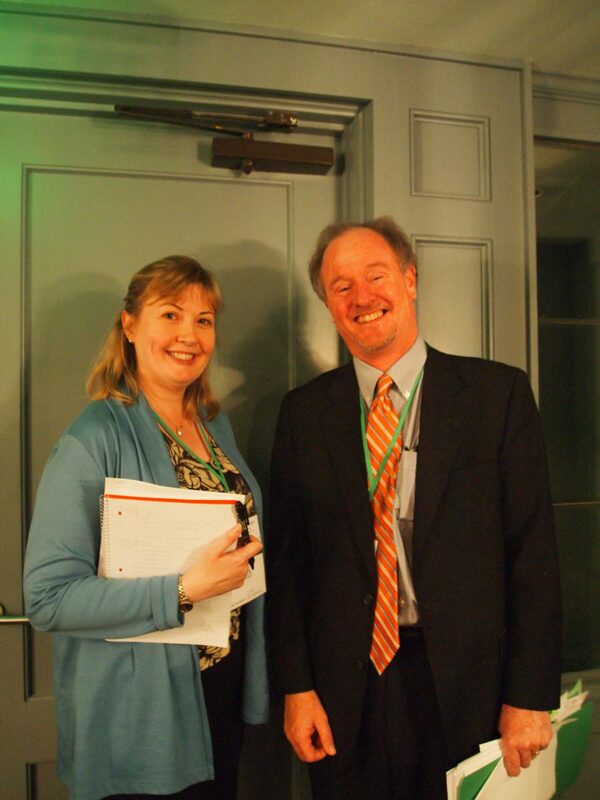 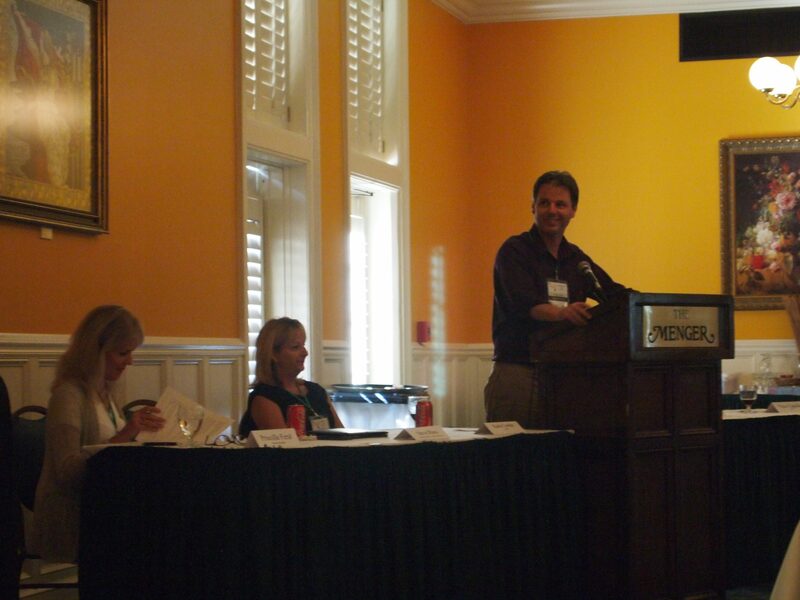 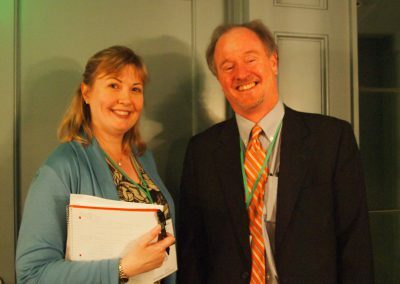 Steve Ross of the Lincoln Park Zoo also spoke about collaboration. 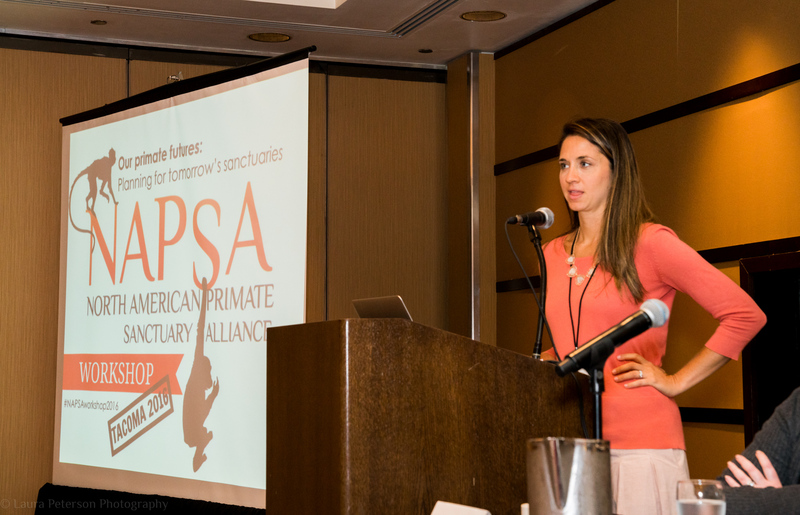 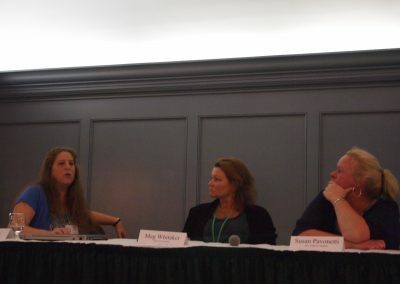 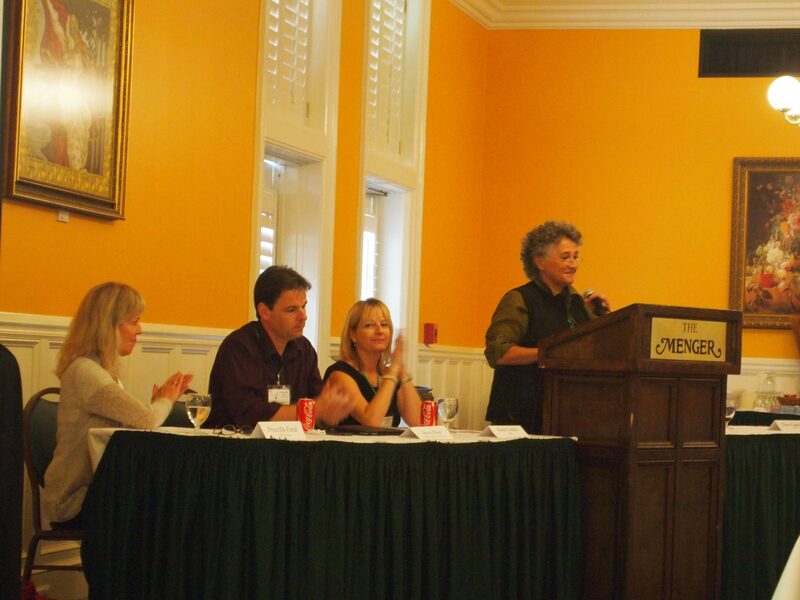 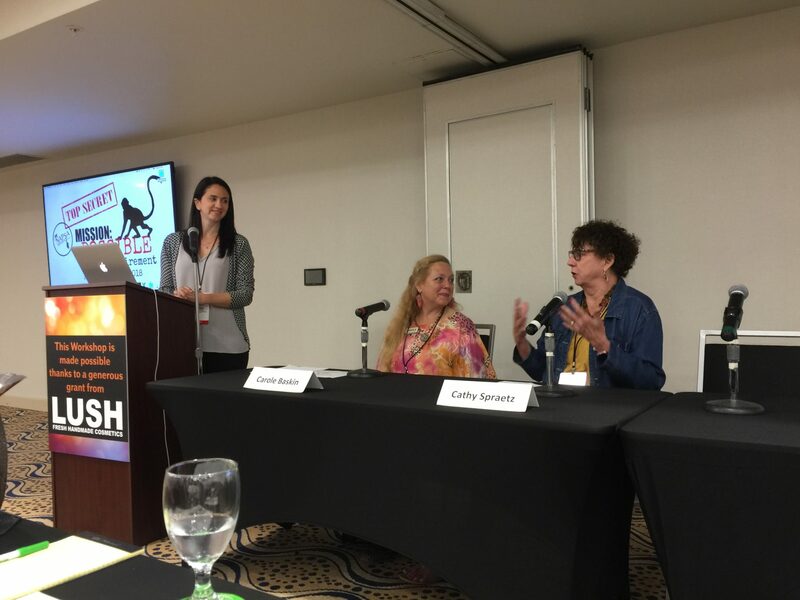 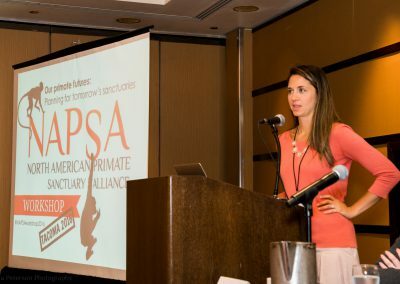 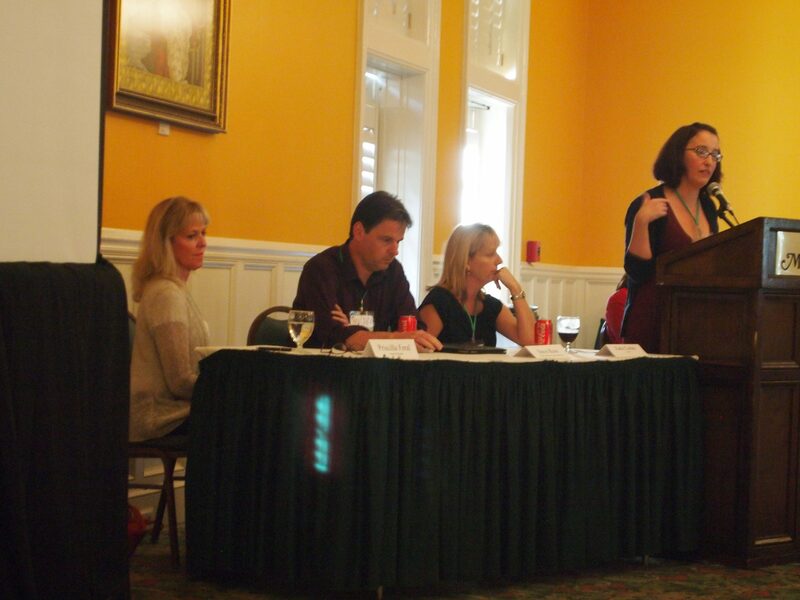 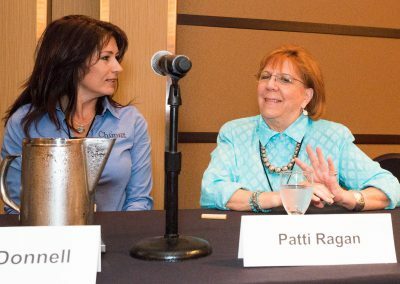 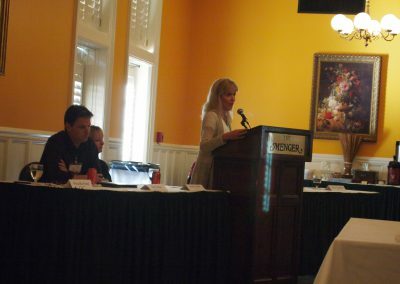 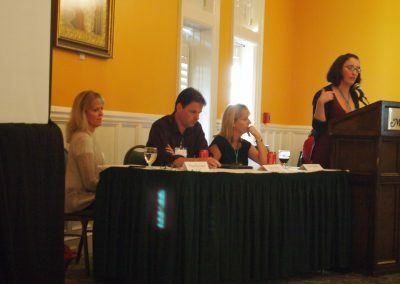 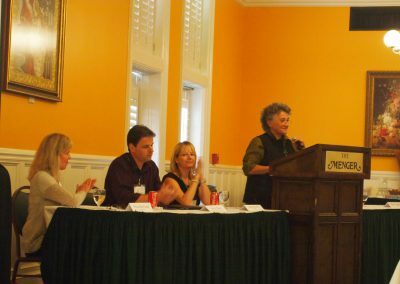 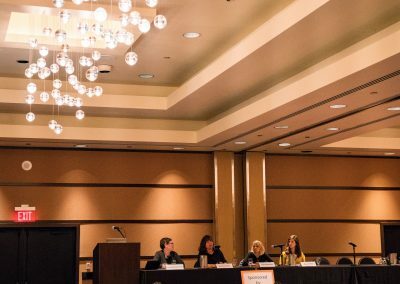 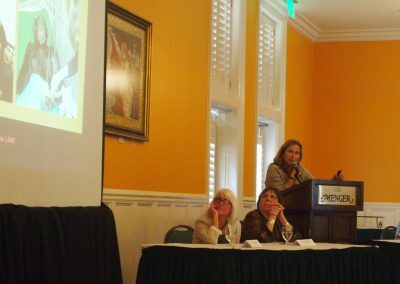 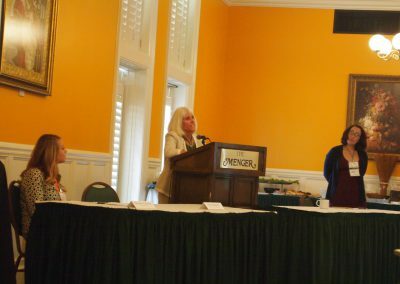 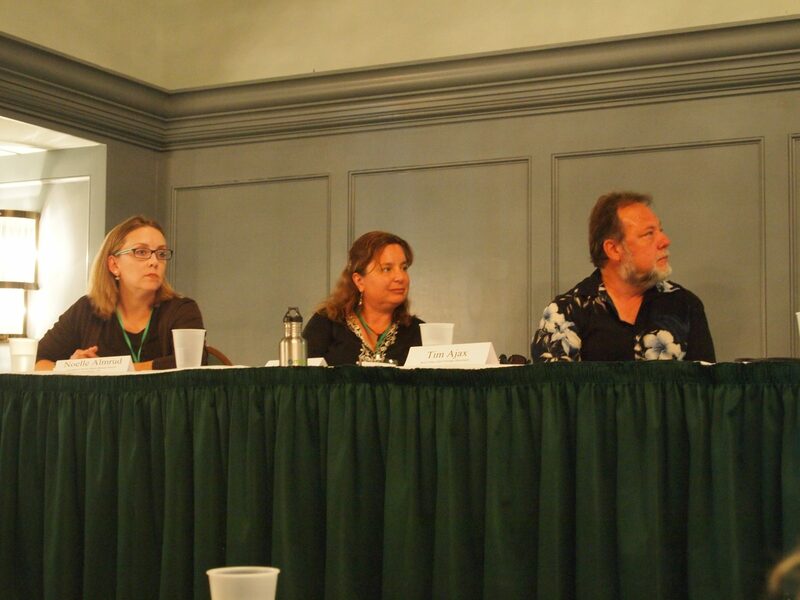 Priscilla Feral of Friends of Animals and Primarily Primates, Inc.
NAPSA’s Executive Director Sarah Baeckler Davis, moderating. 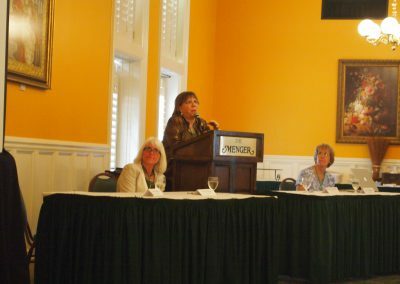 Discussion didn’t end when the speakers stepped down. 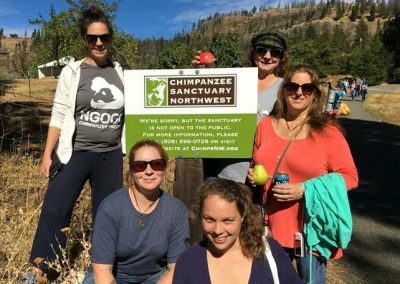 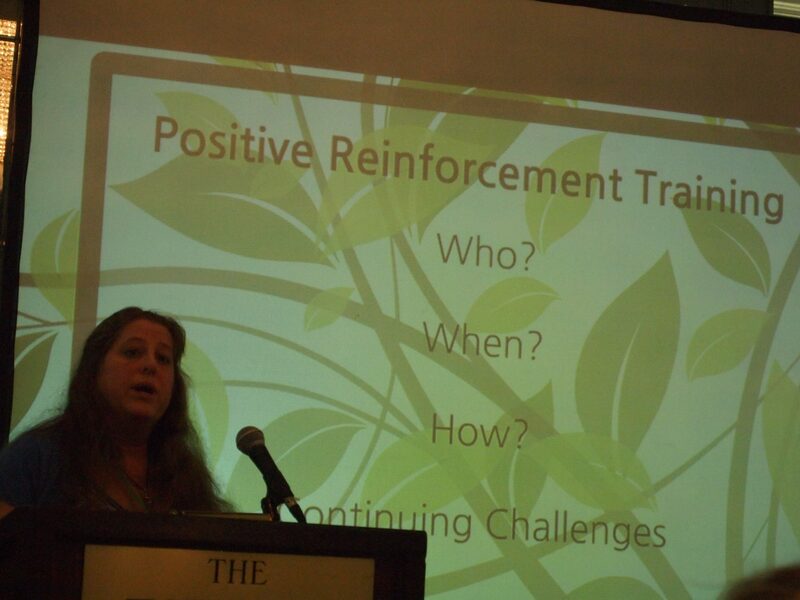 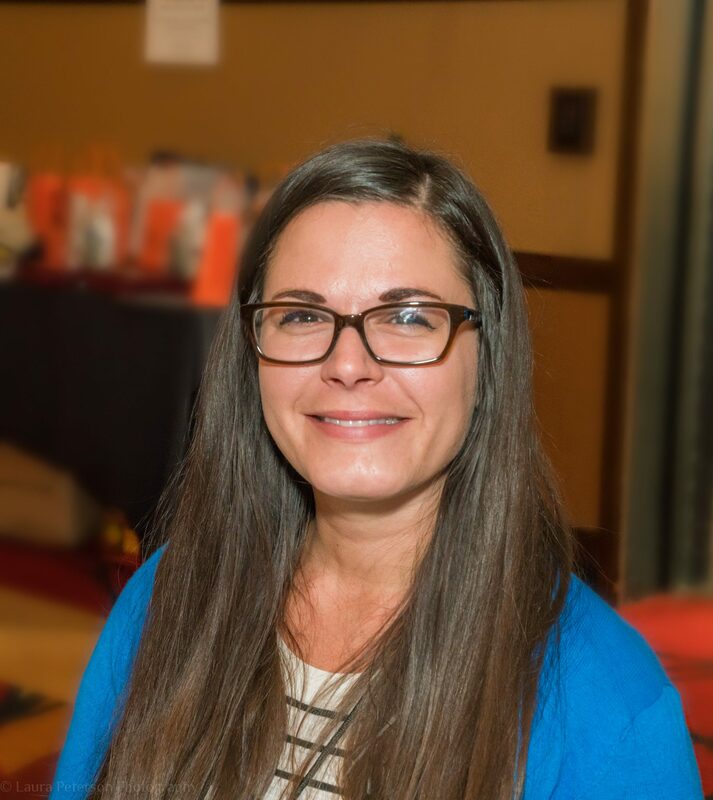 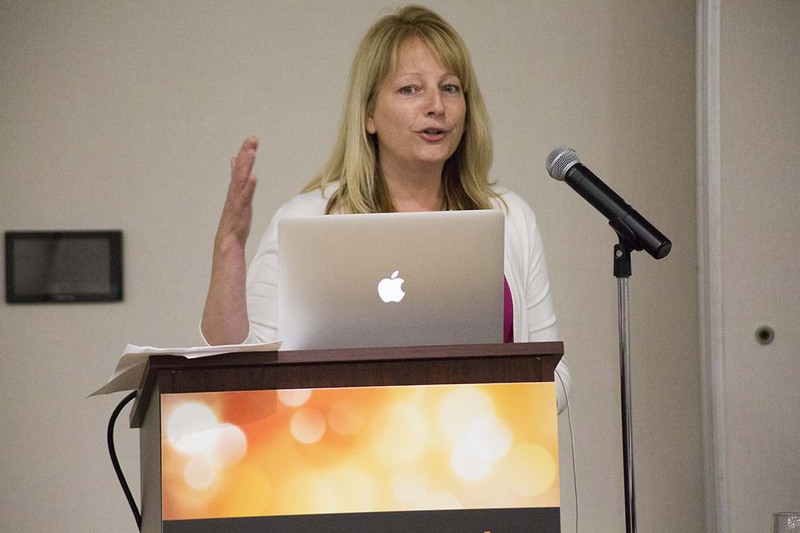 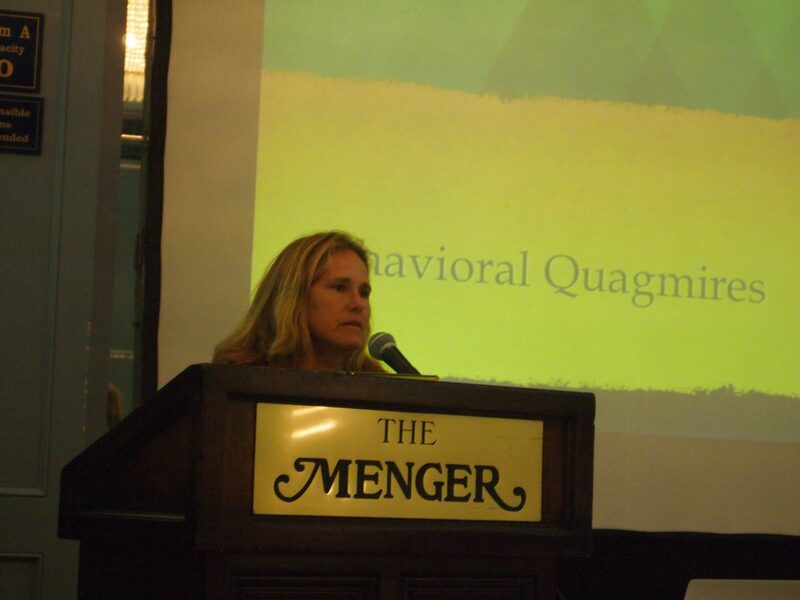 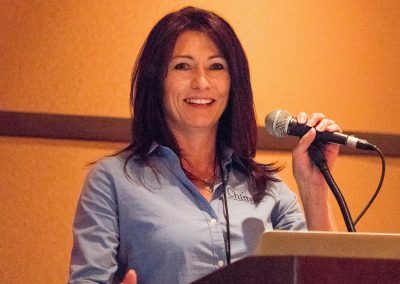 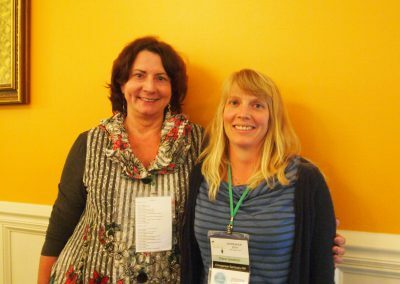 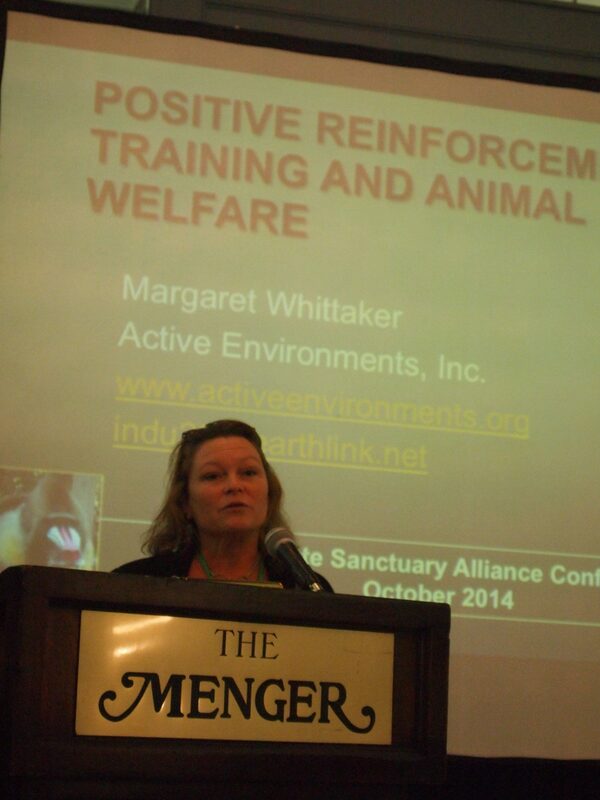 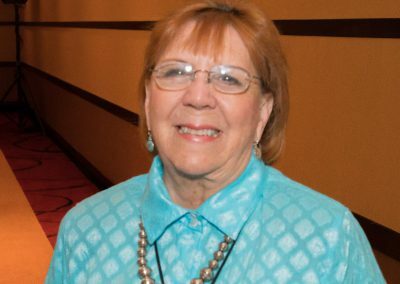 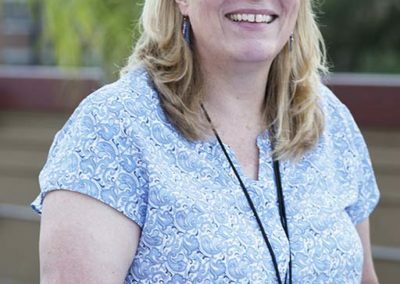 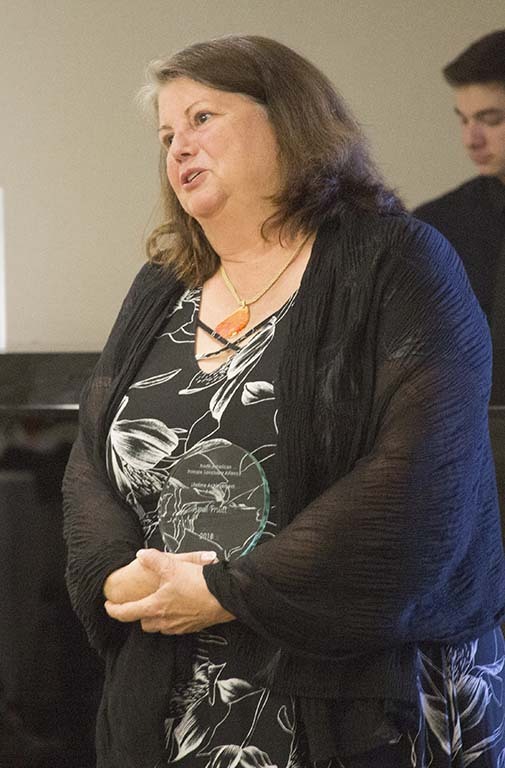 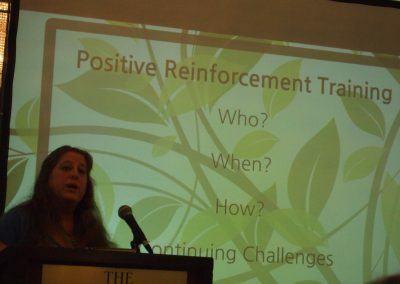 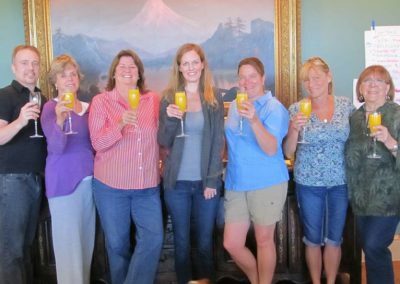 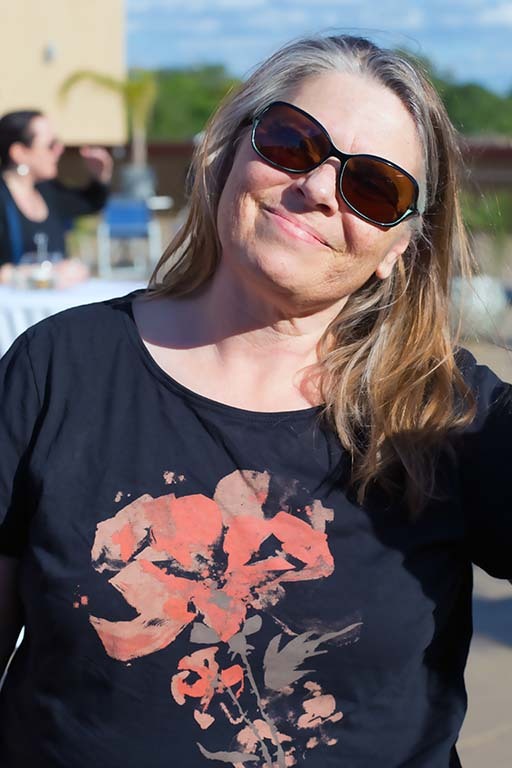 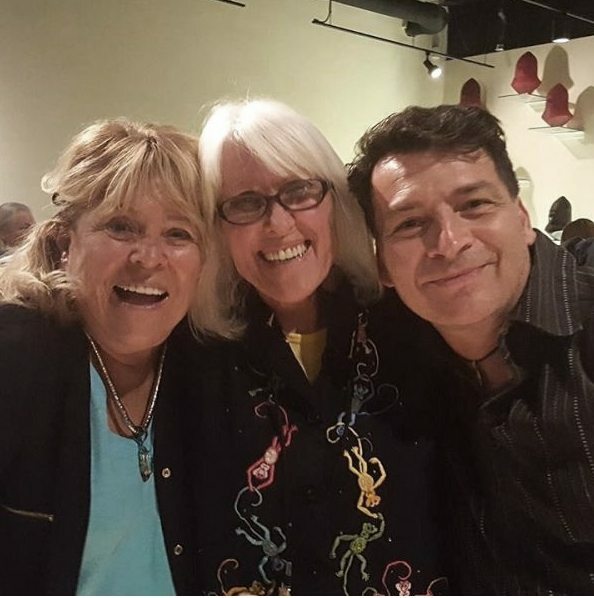 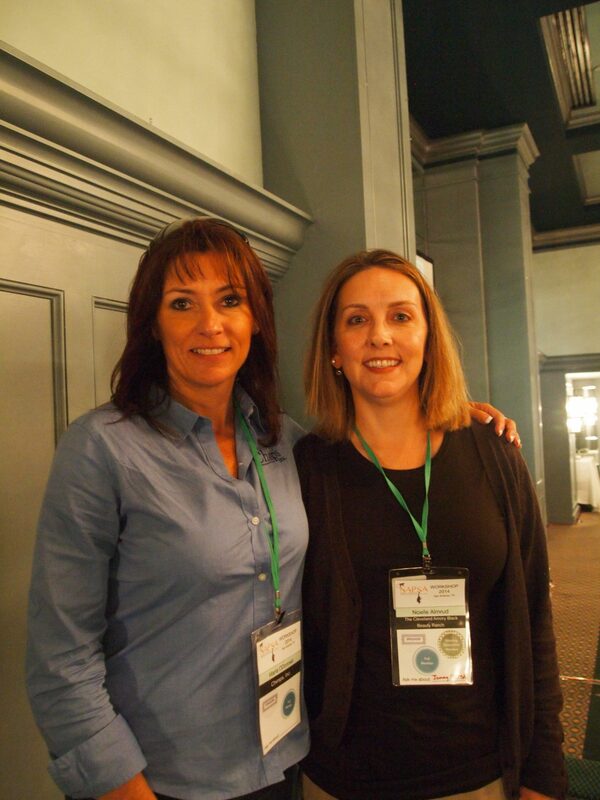 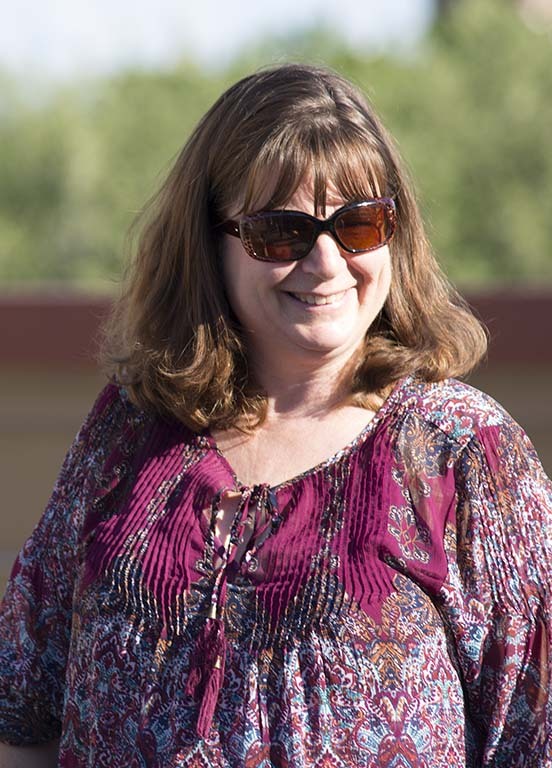 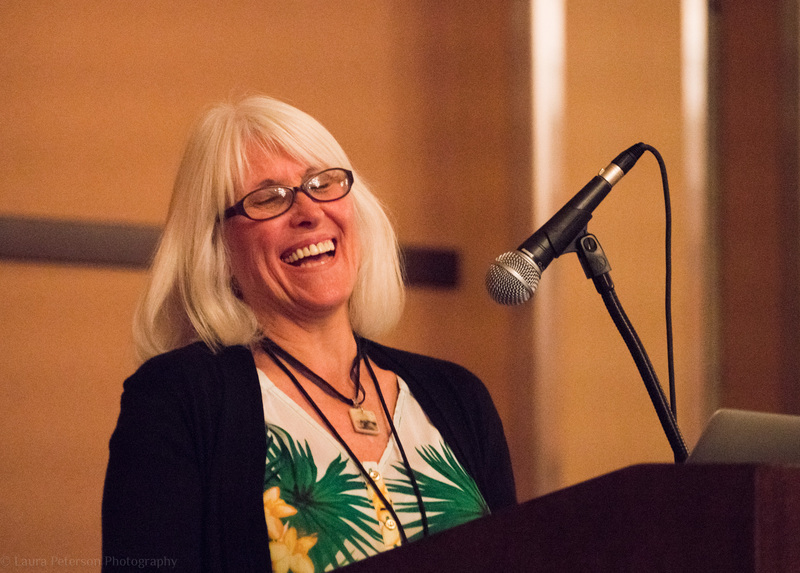 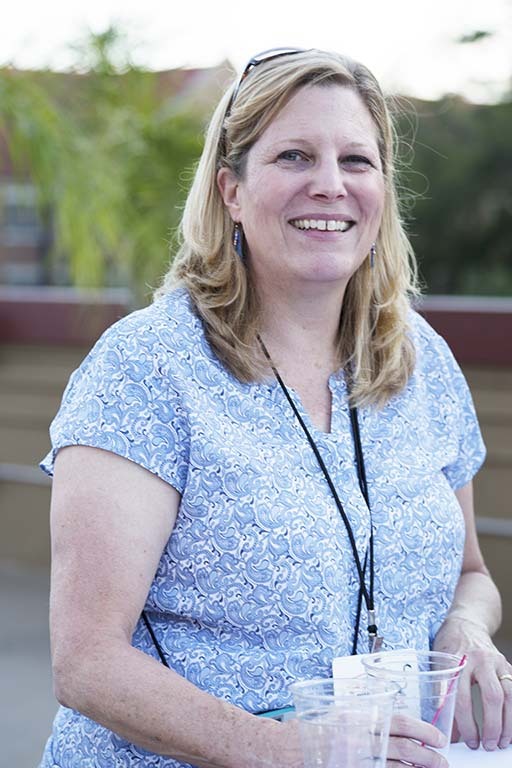 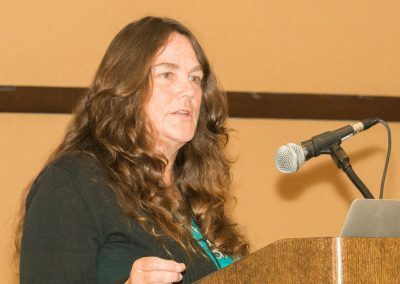 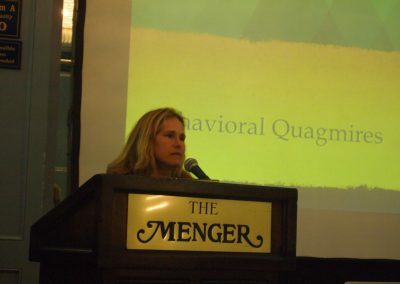 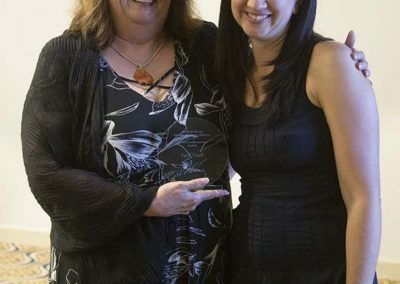 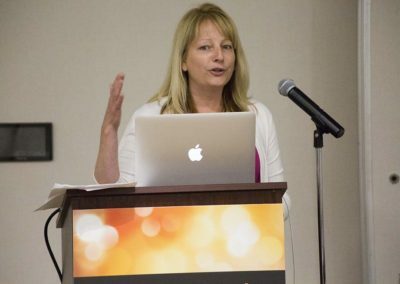 Diana Goodrich of Chimpanzee Sanctuary Northwest shared fundraising advice. 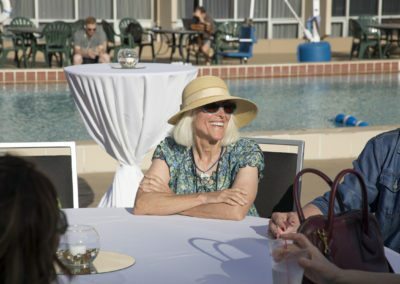 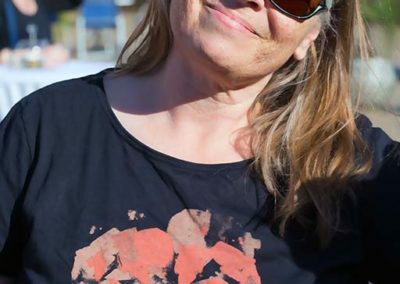 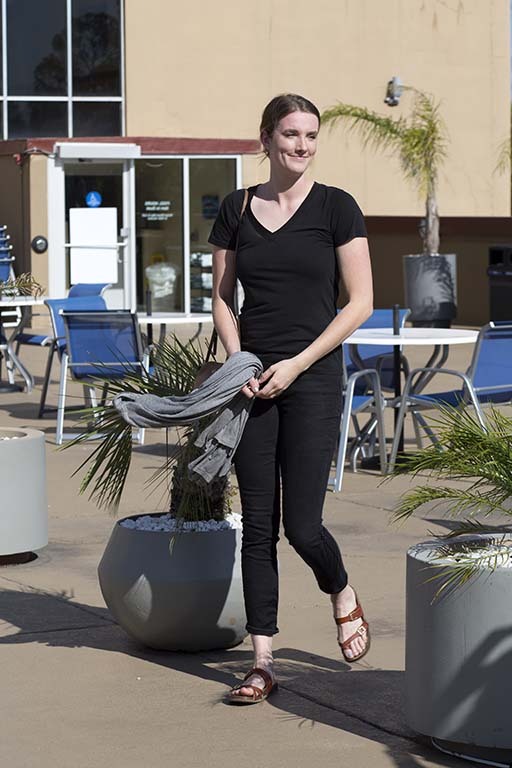 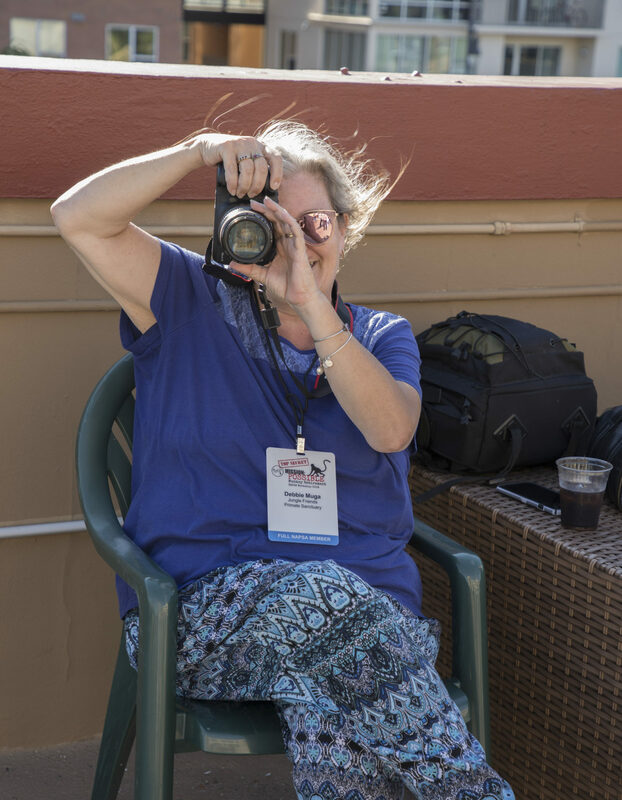 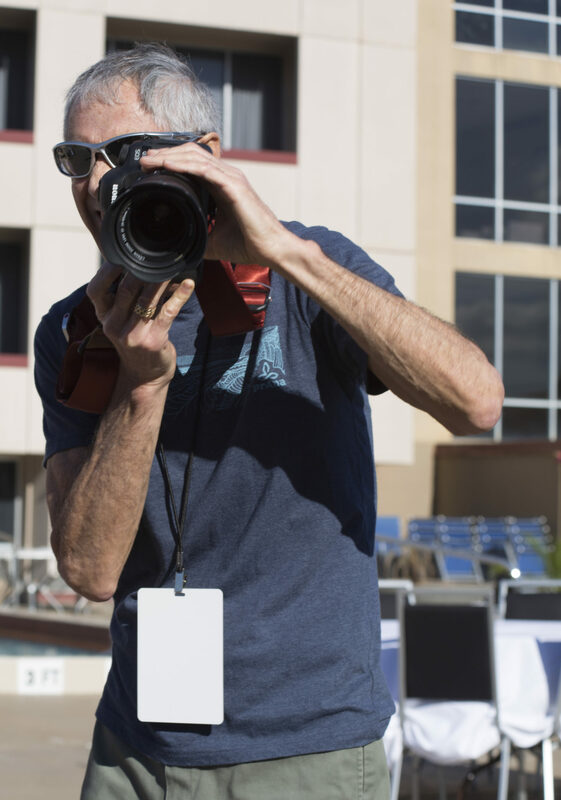 It was very hot, and Lynn Cuny knew how to shade herself properly from the sun! 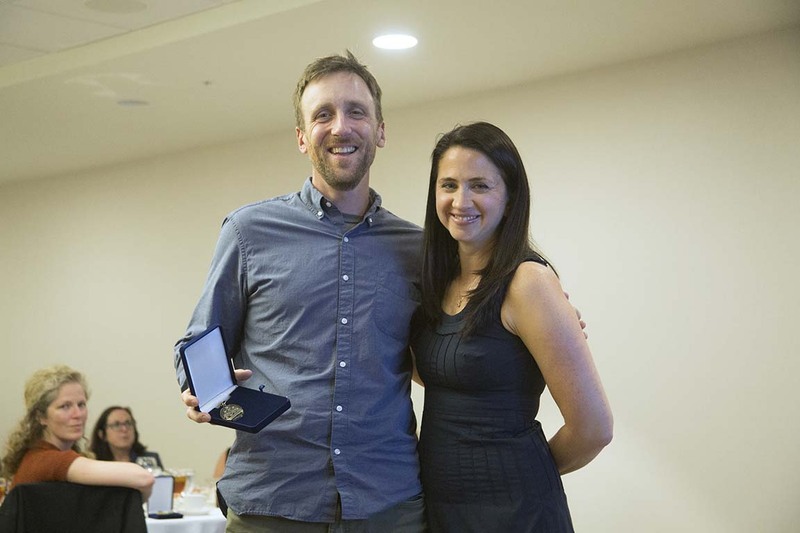 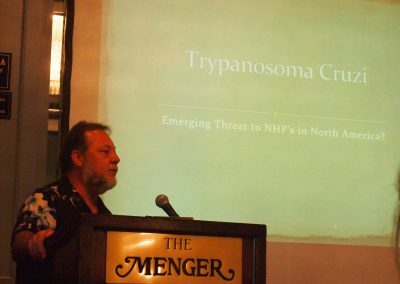 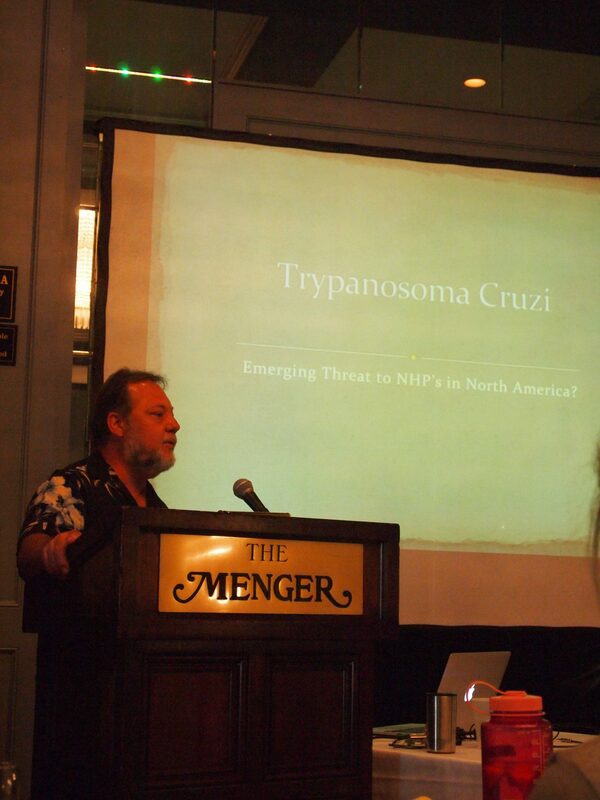 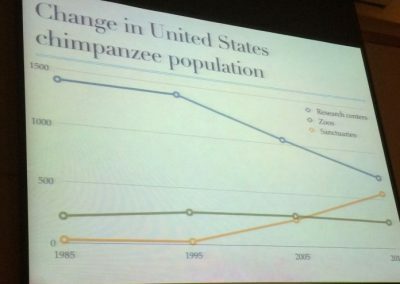 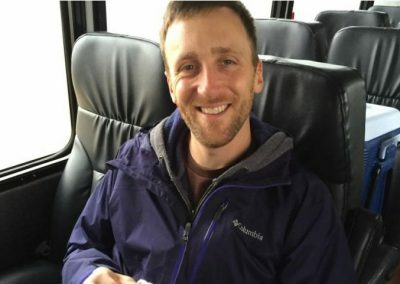 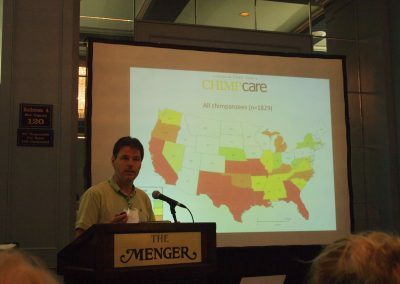 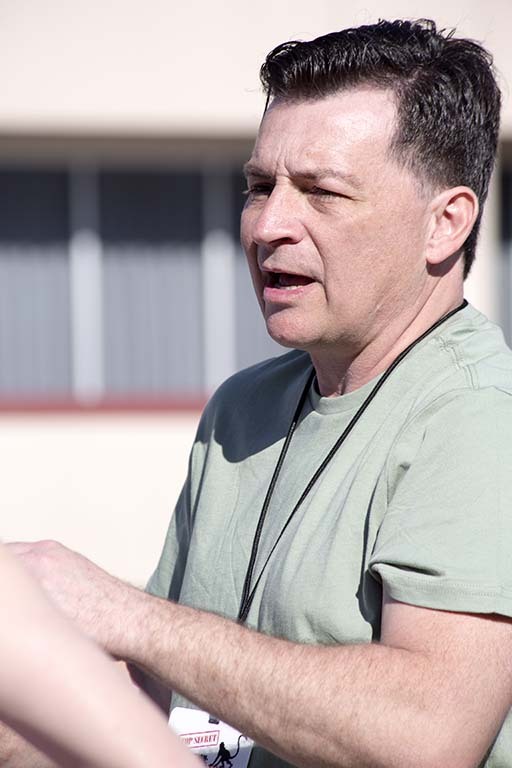 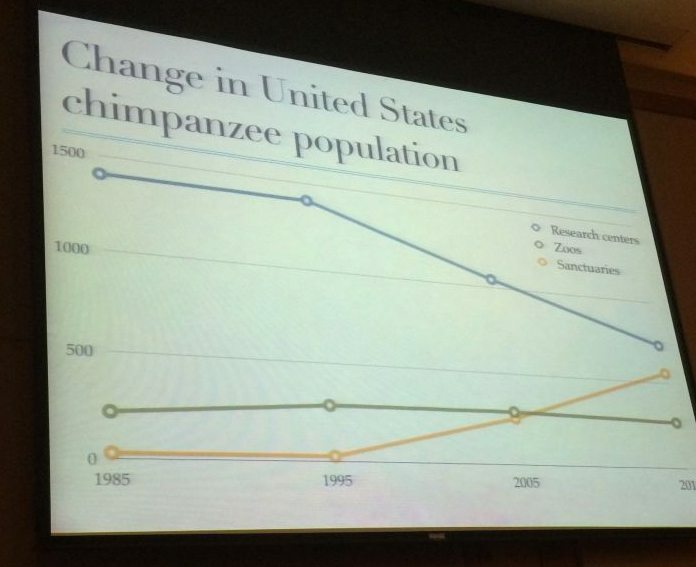 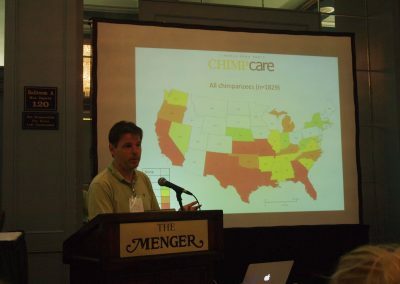 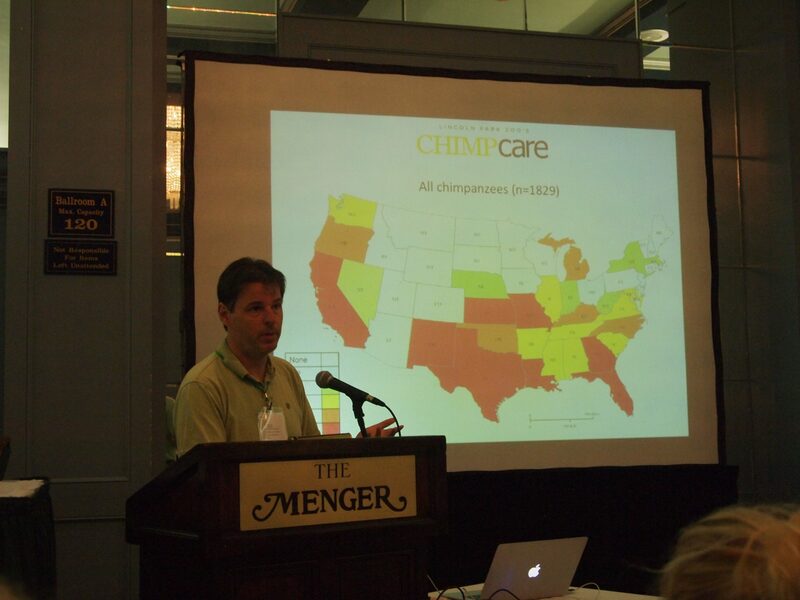 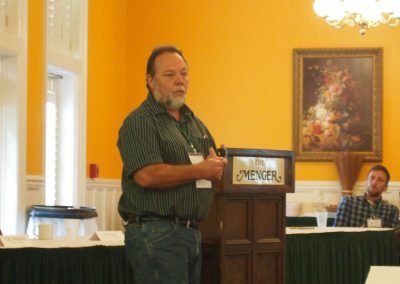 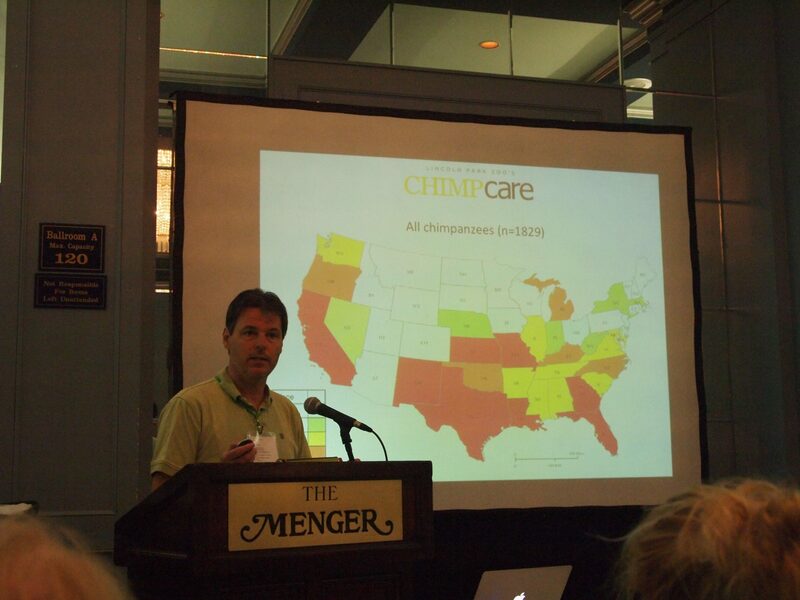 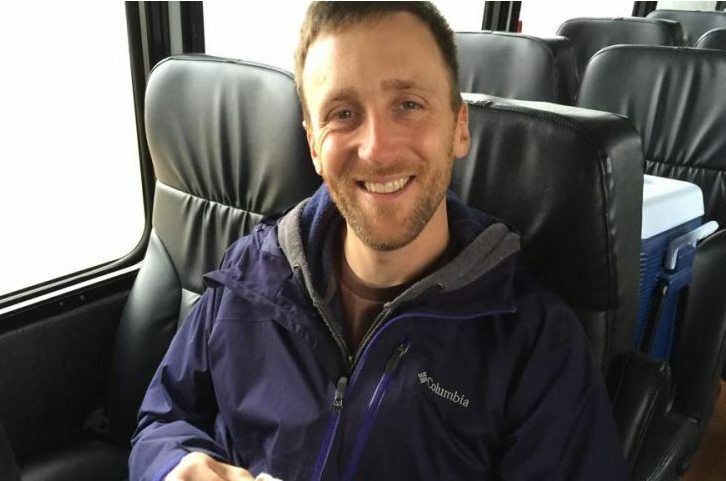 Steve Ross of Lincoln Park Zoo spoke about chimpanzees and their locations throughout the U.S. 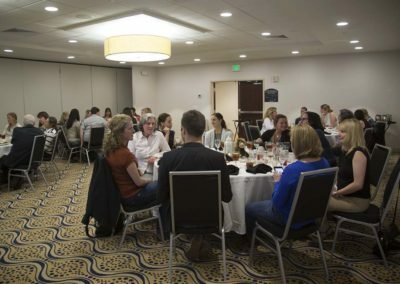 Recognition Dinner on the final night. 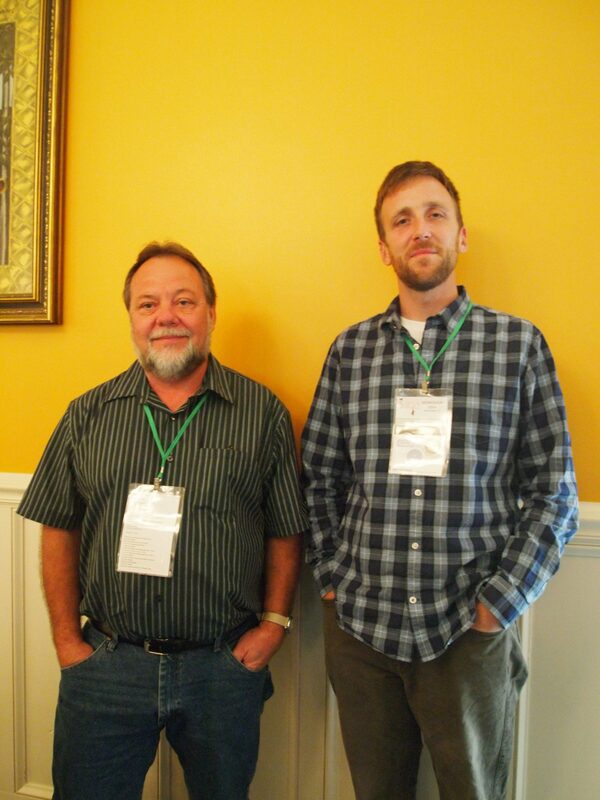 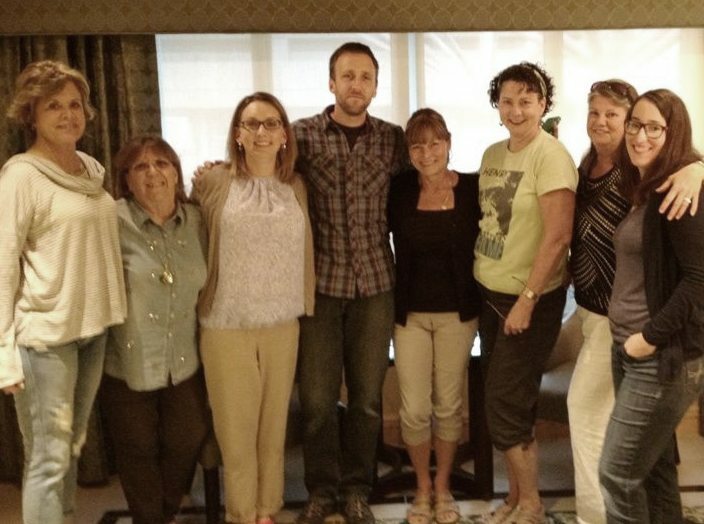 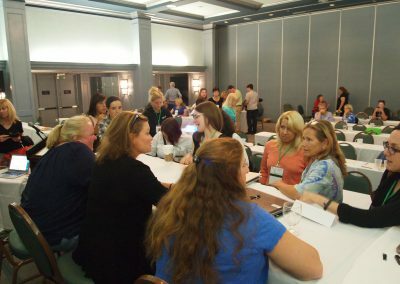 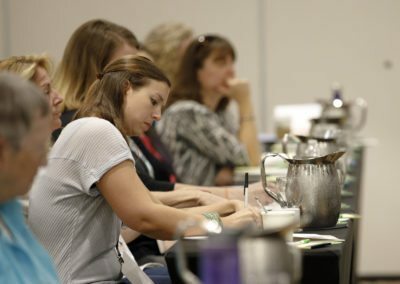 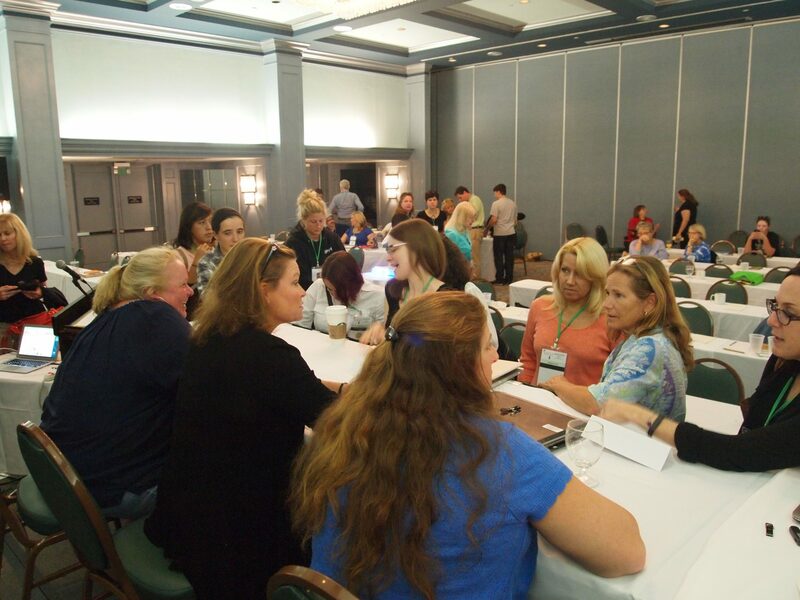 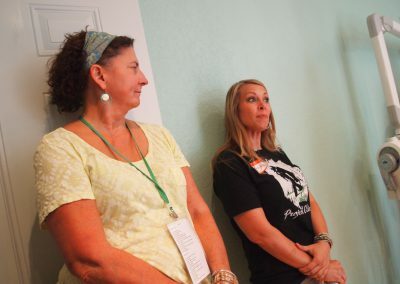 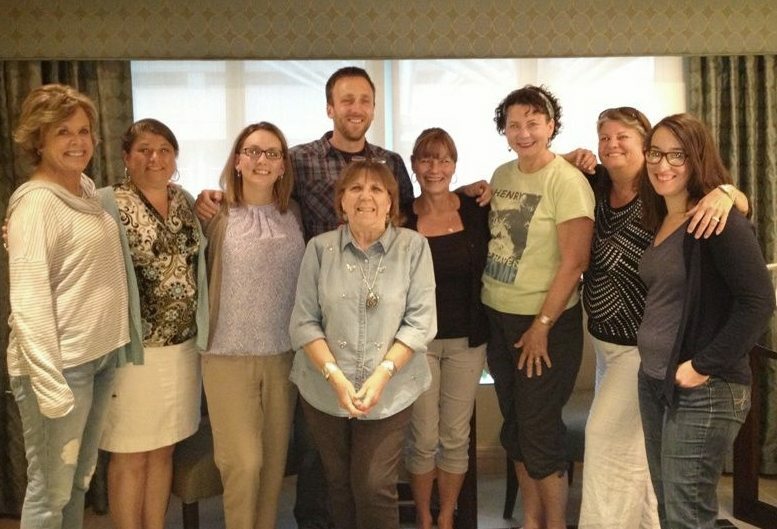 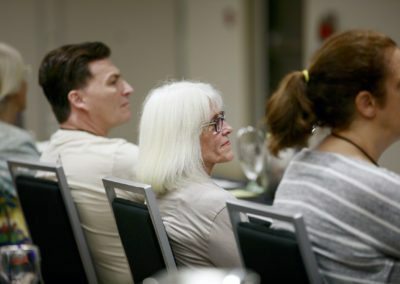 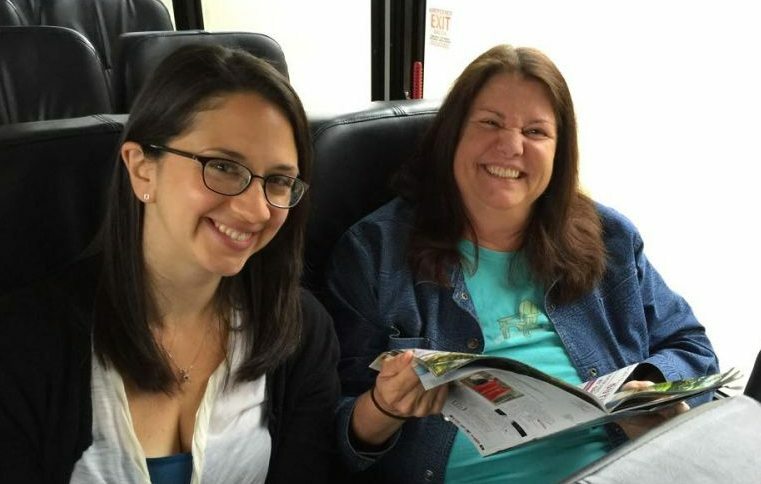 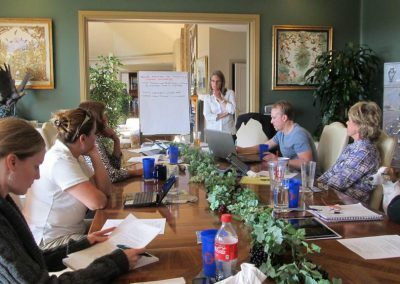 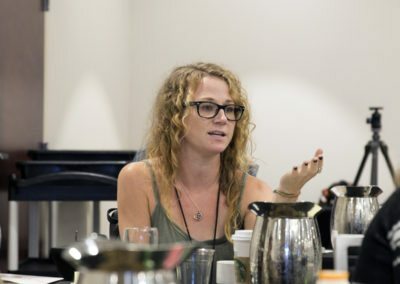 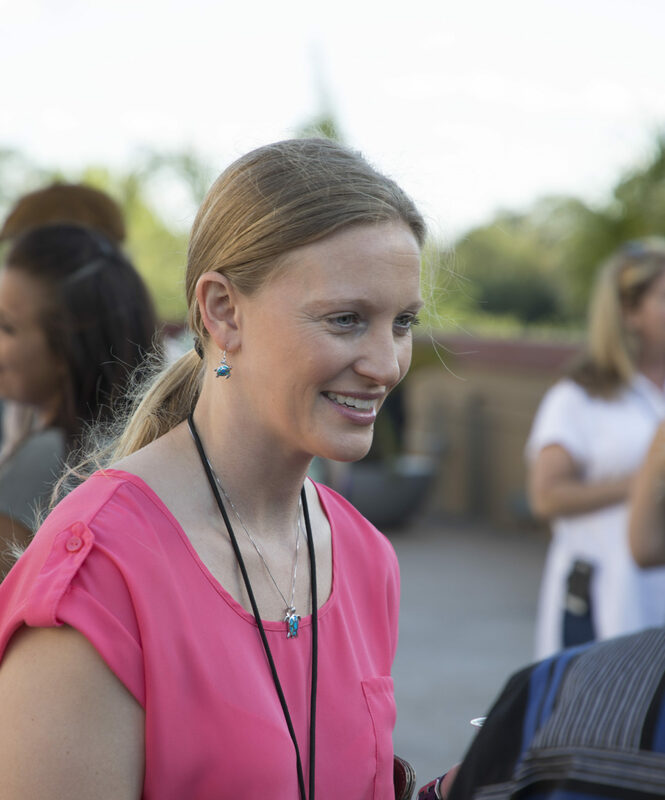 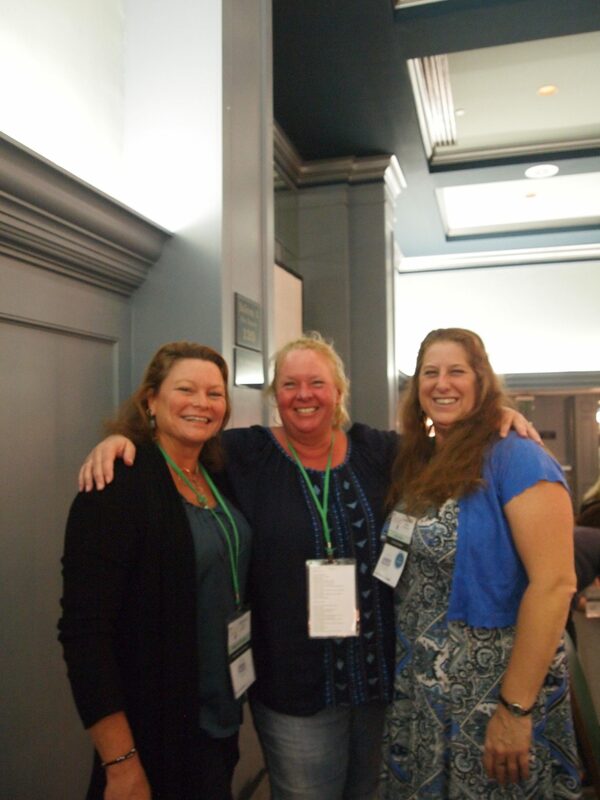 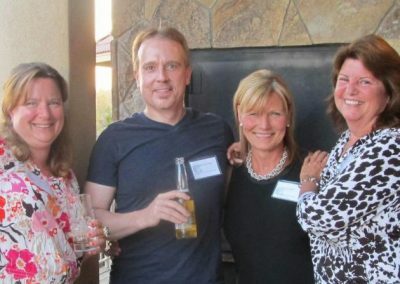 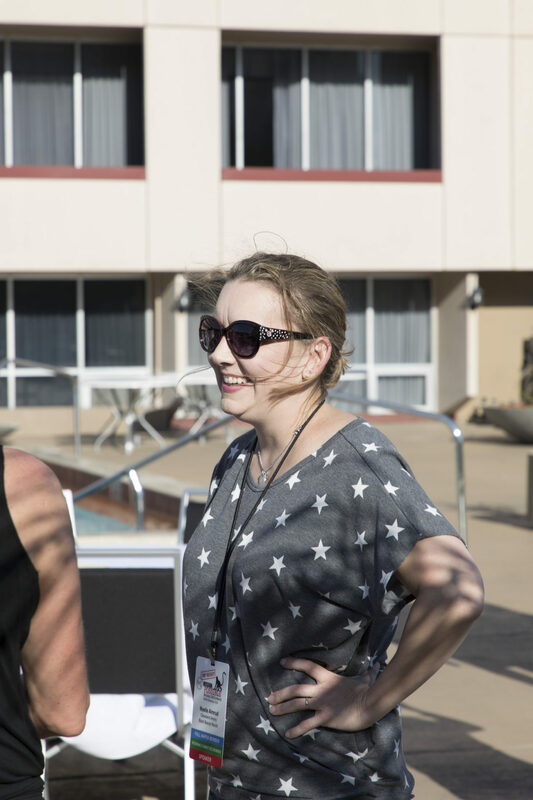 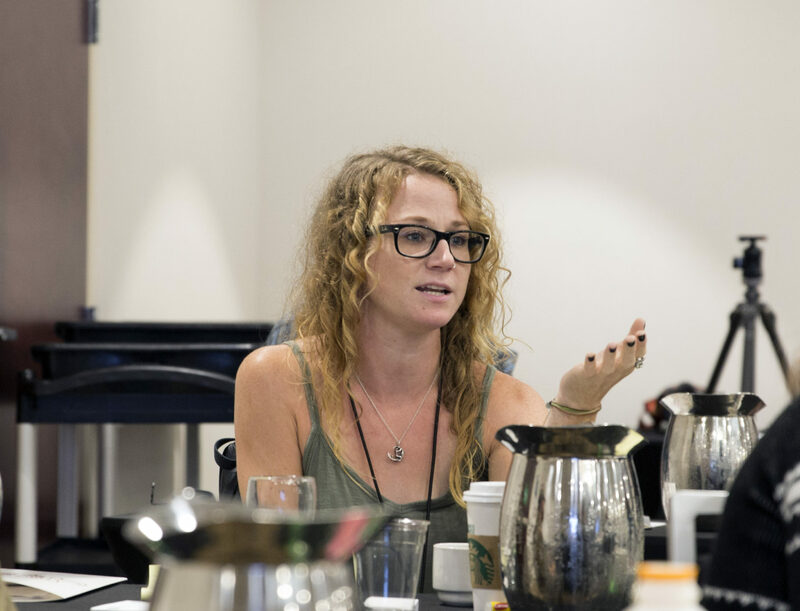 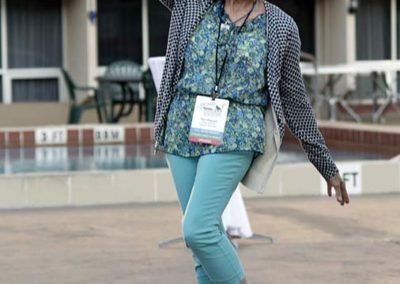 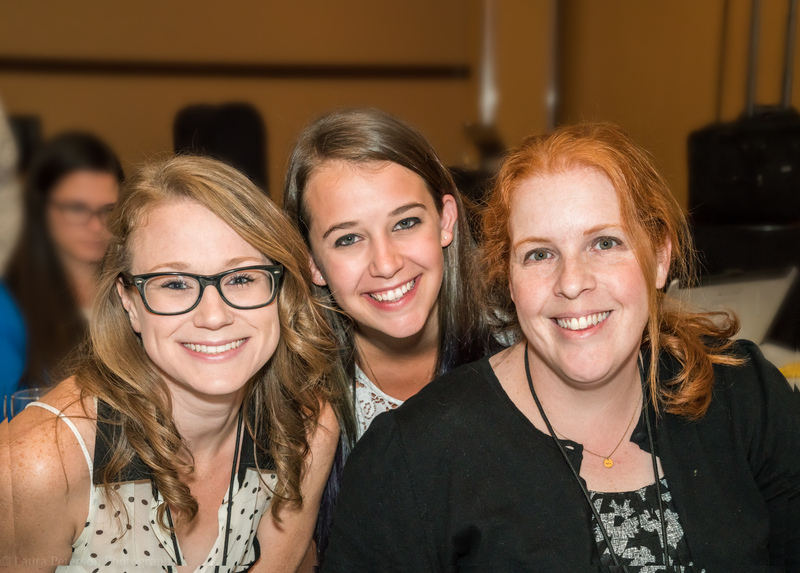 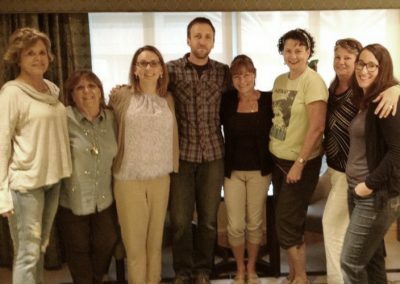 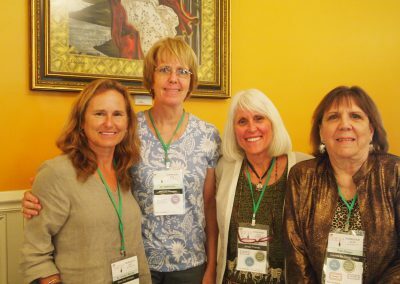 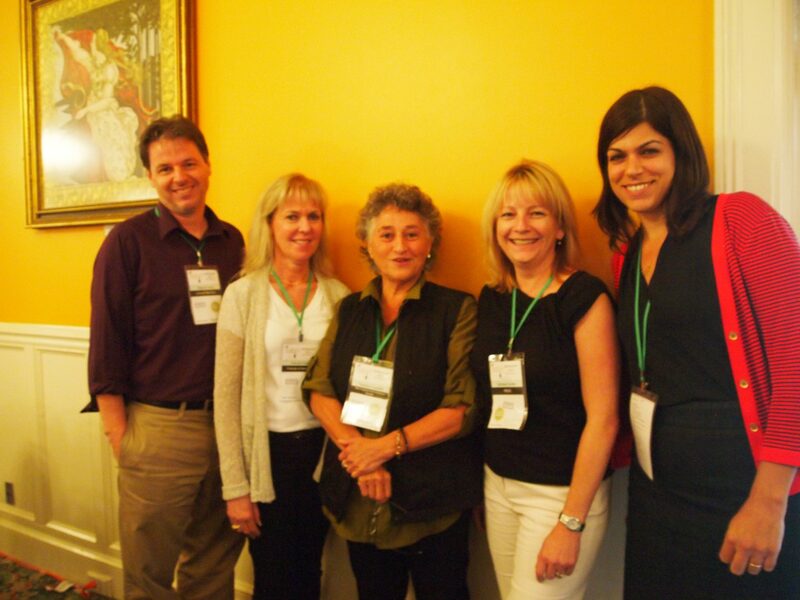 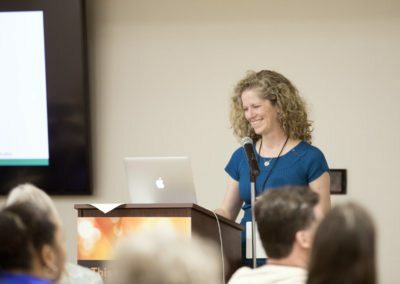 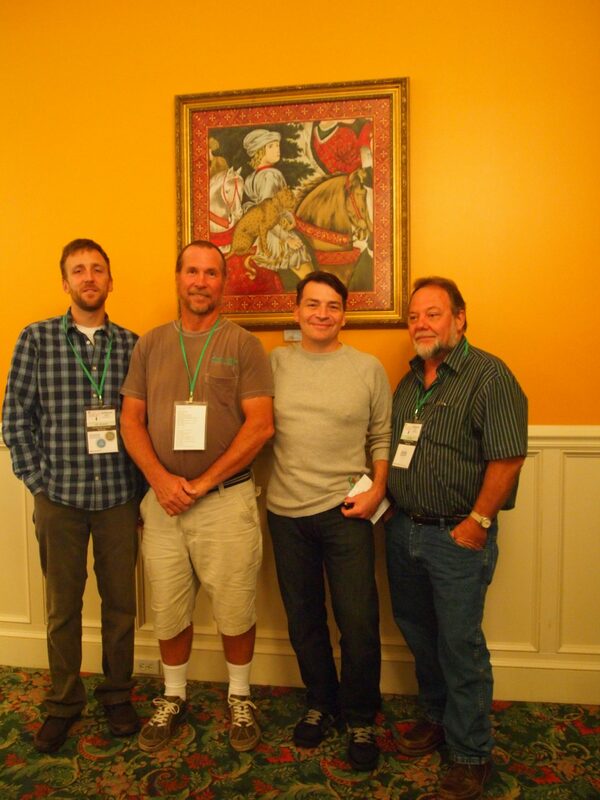 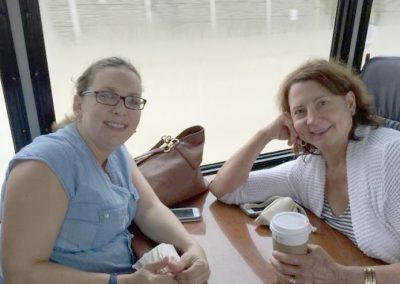 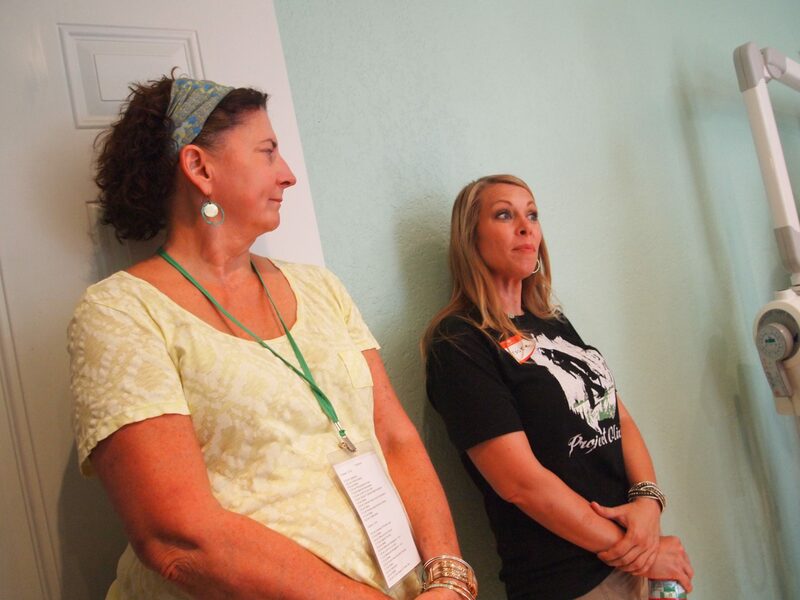 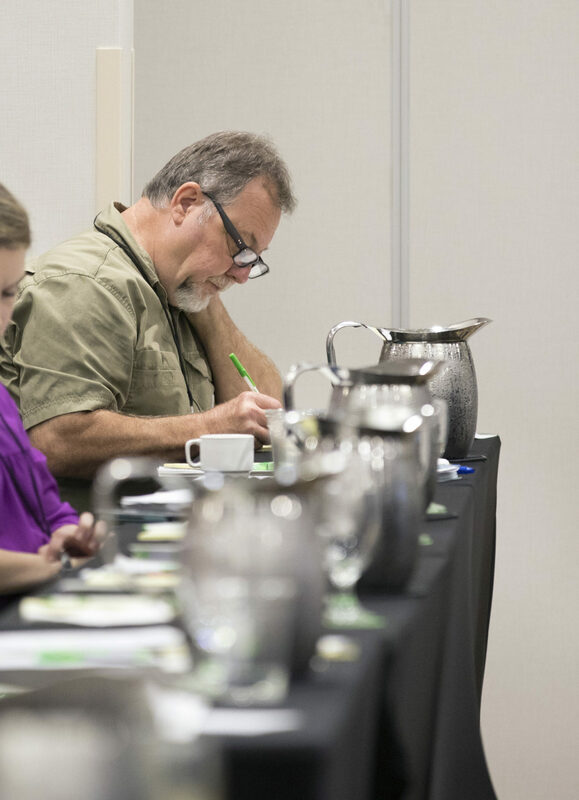 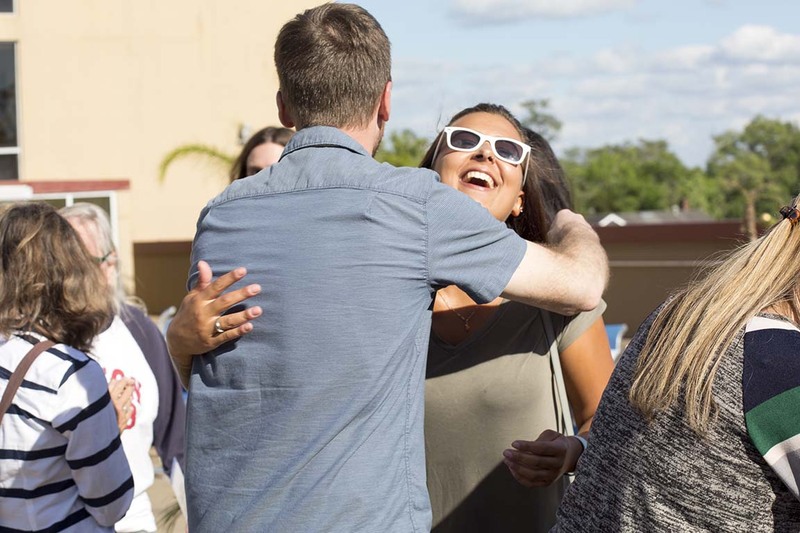 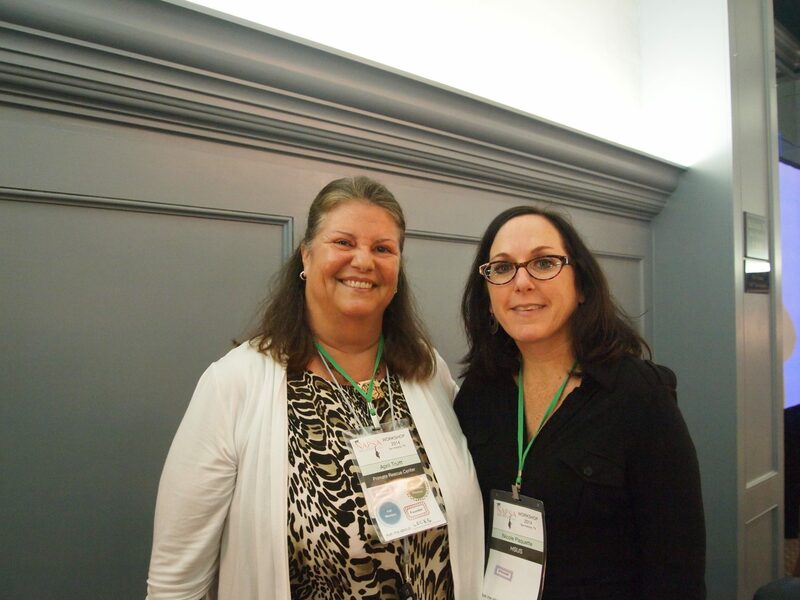 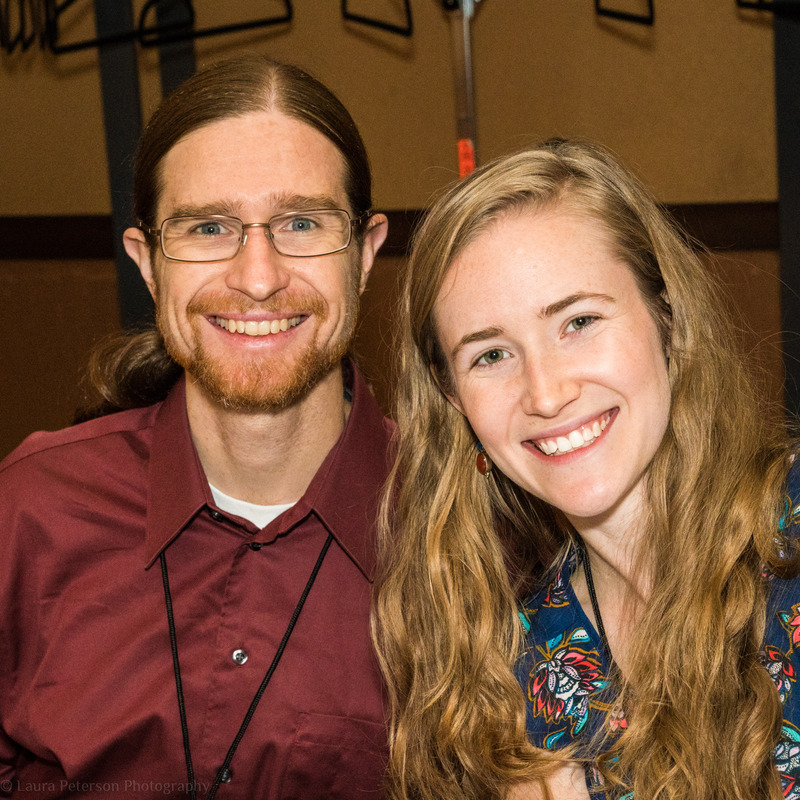 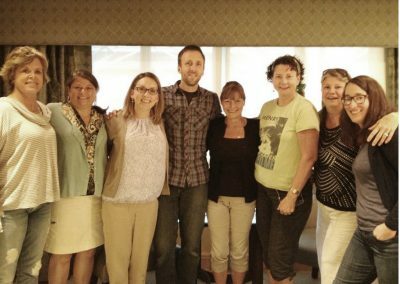 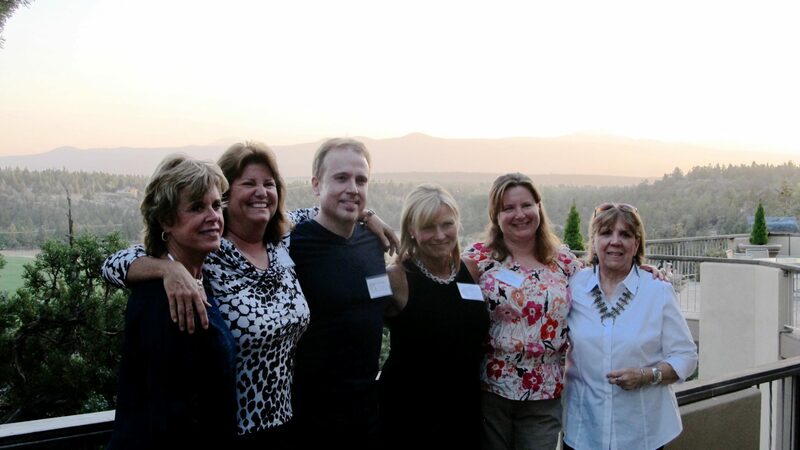 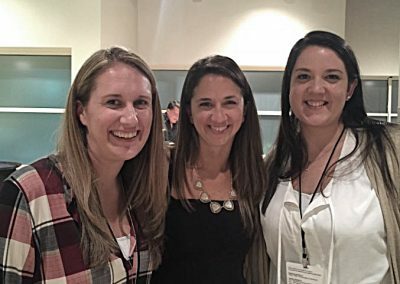 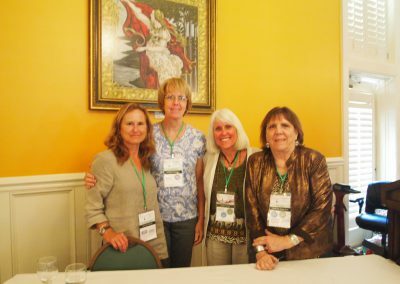 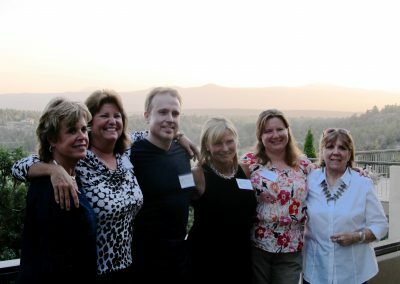 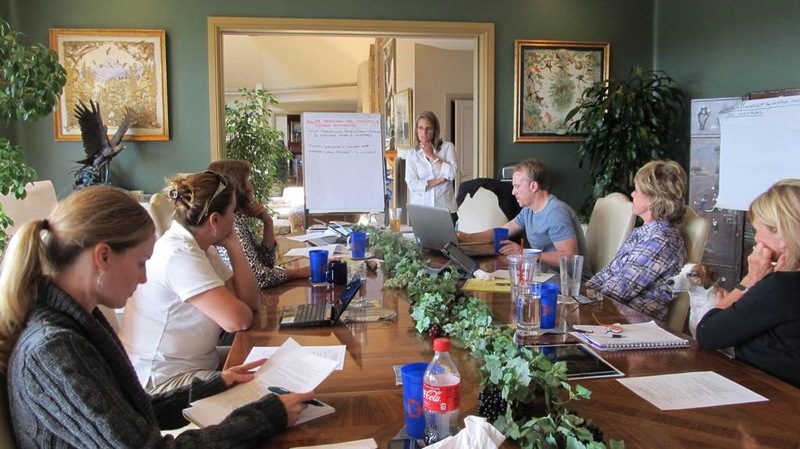 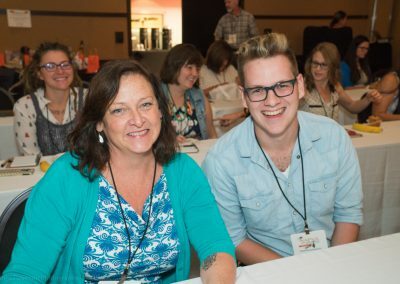 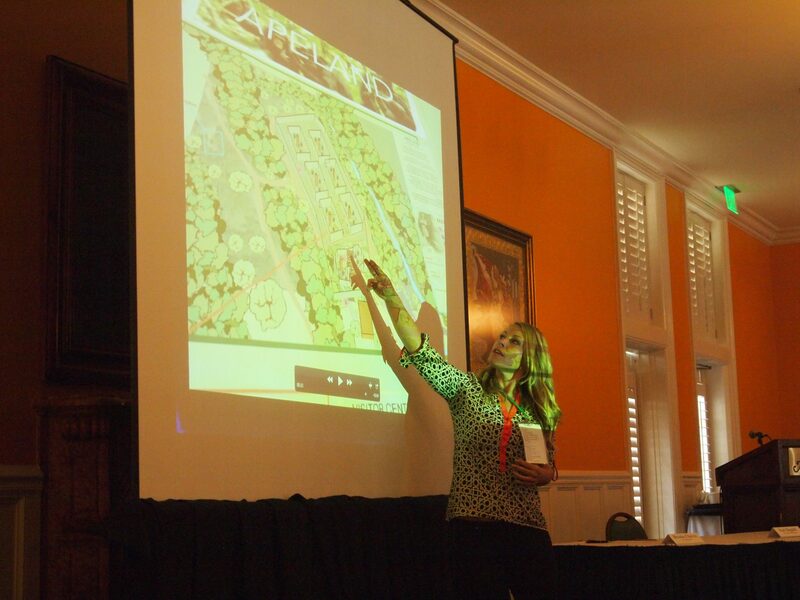 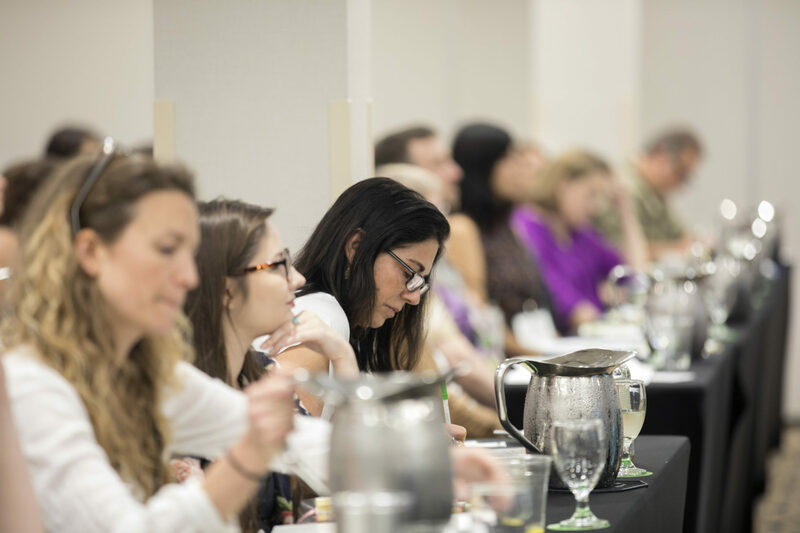 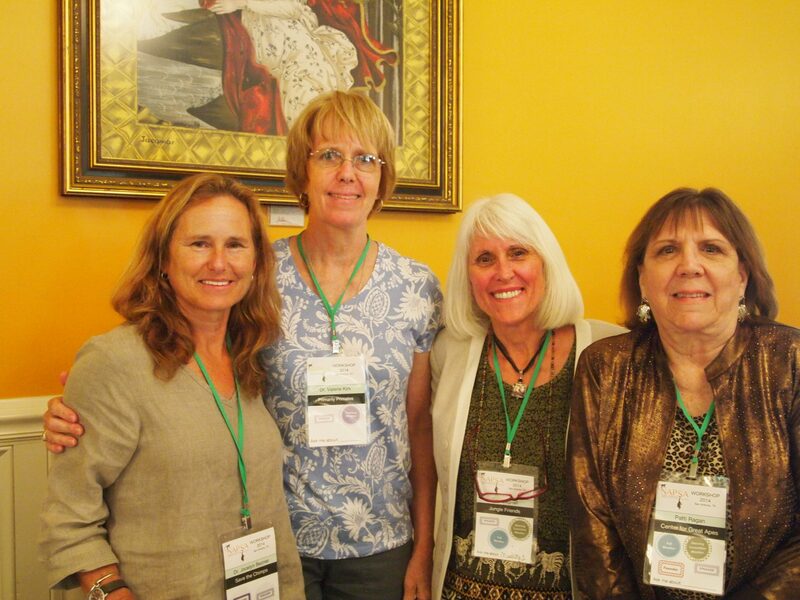 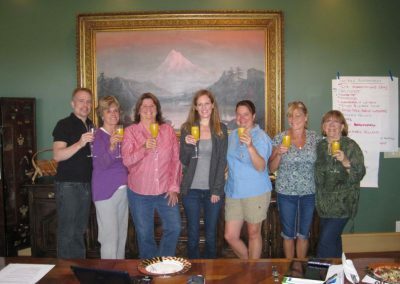 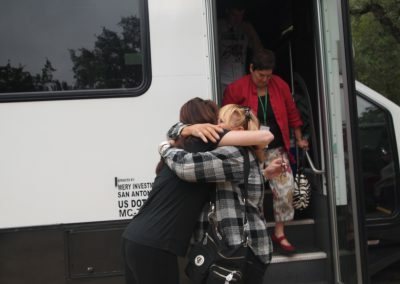 In July 2014, our Steering Committee met for an in-person retreat in Orlando, Florida. 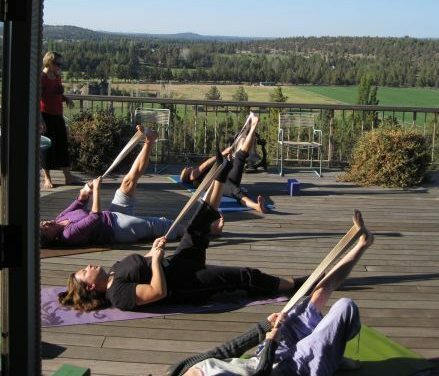 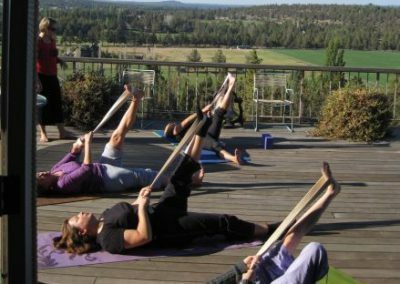 Is there a more beautiful spot for morning yoga? 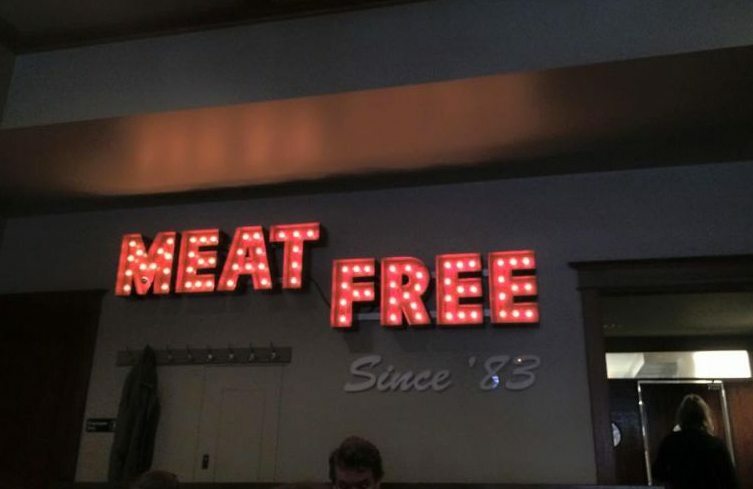 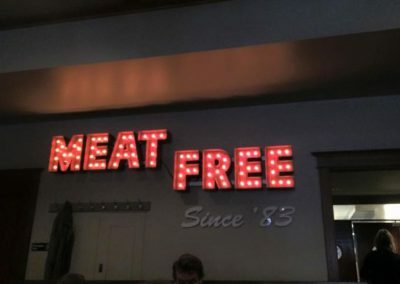 We doubt it. 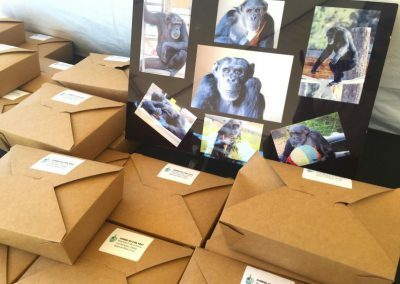 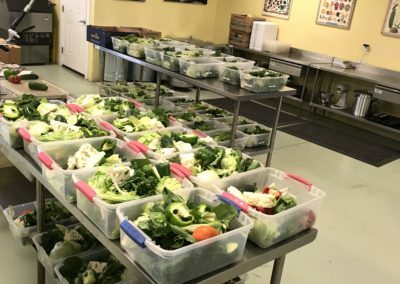 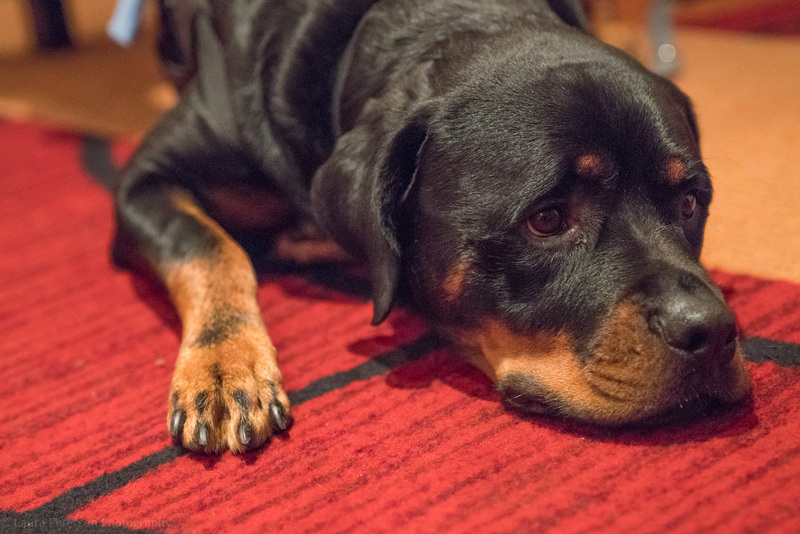 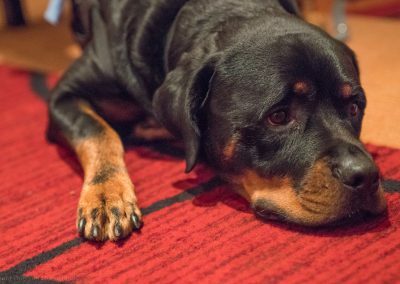 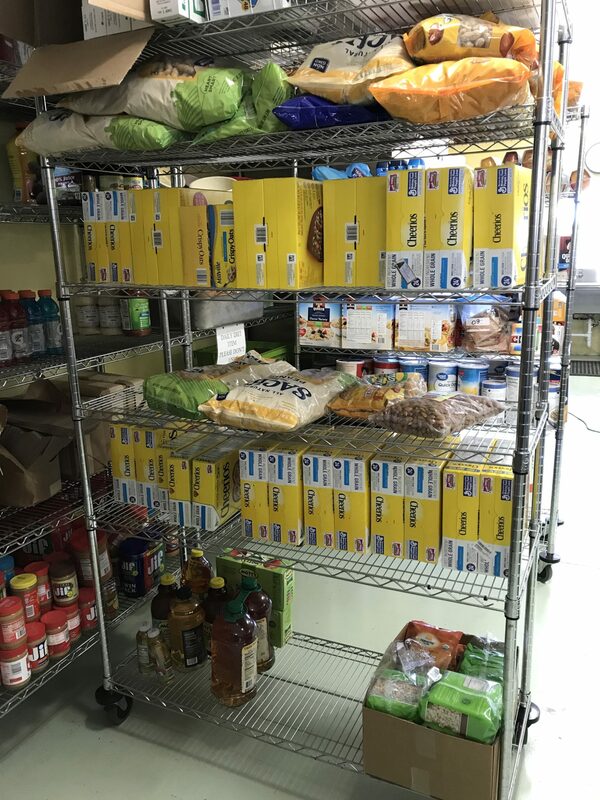 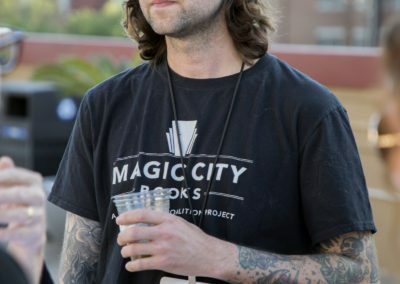 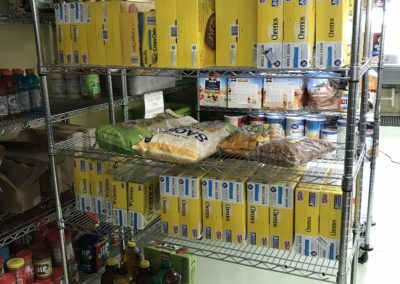 Chimps Inc cares for more than just chimps! 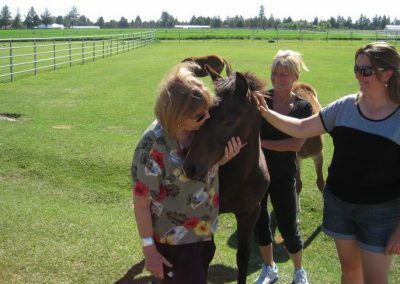 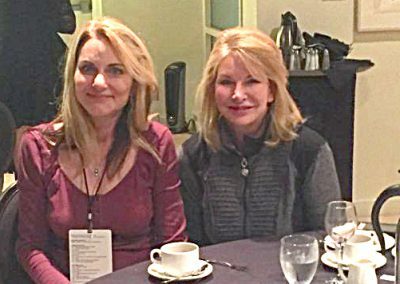 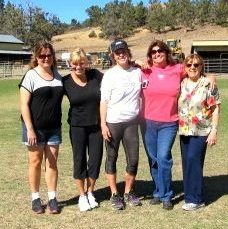 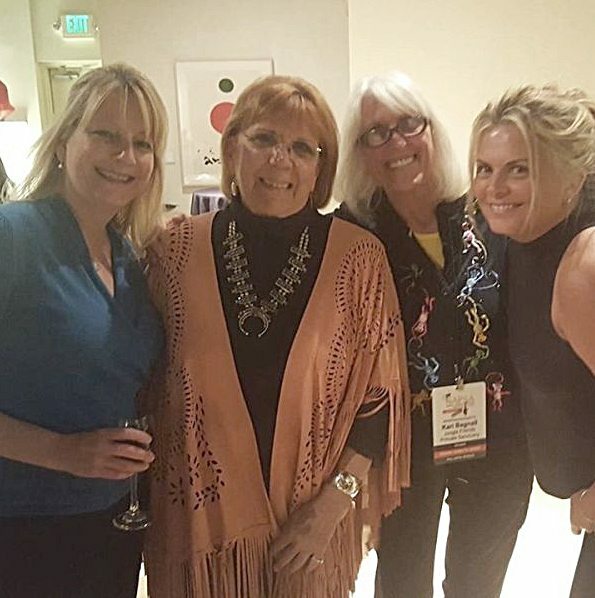 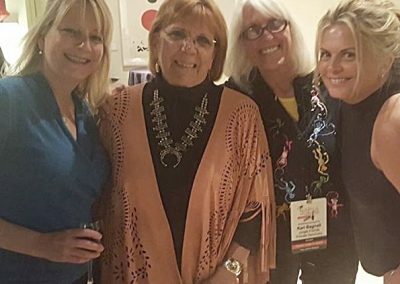 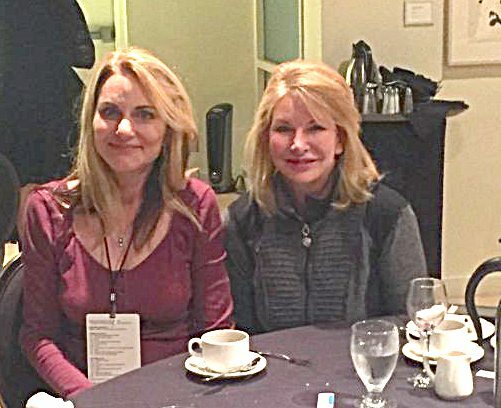 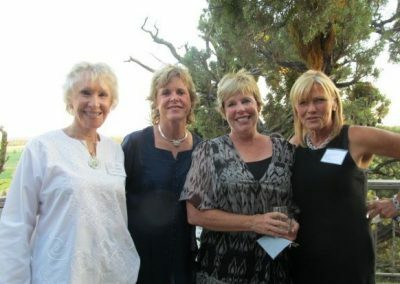 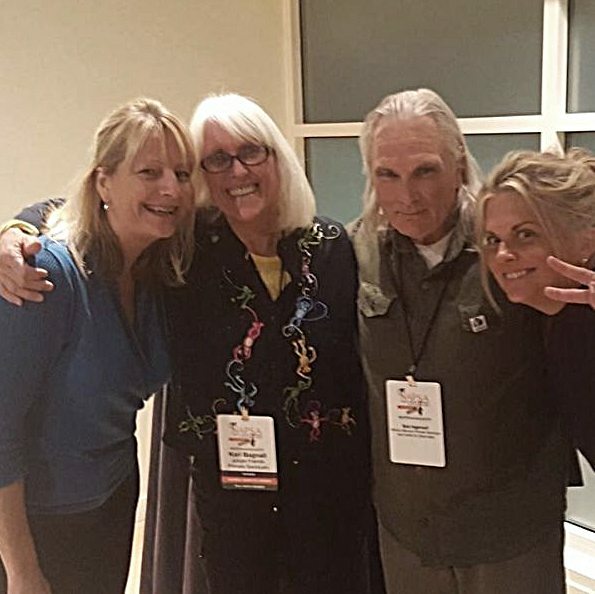 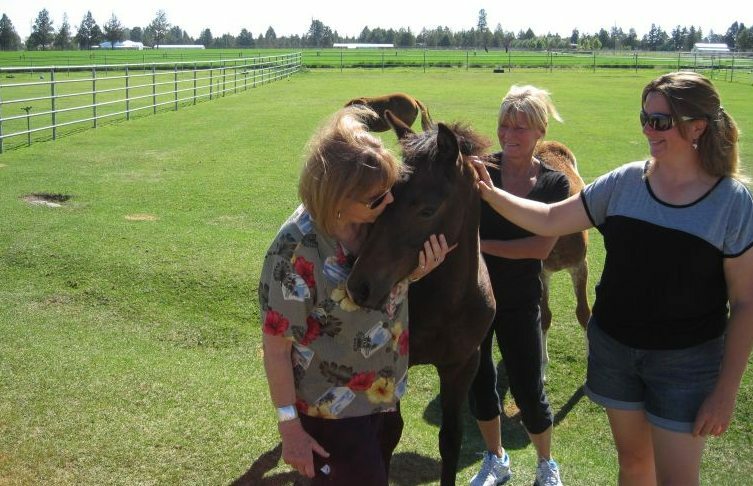 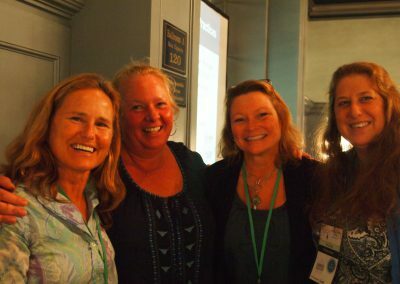 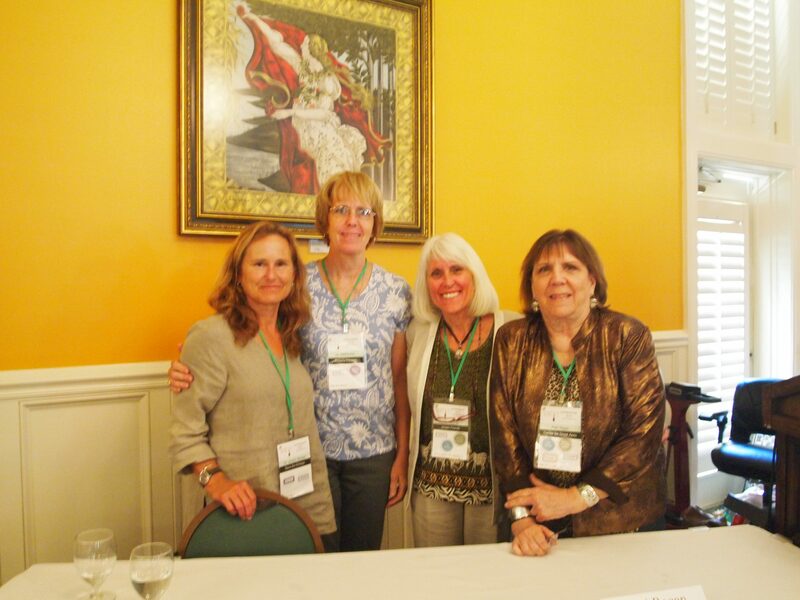 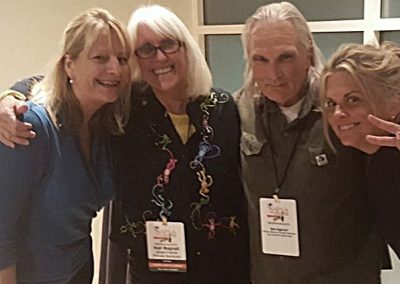 Patti Ragan, Gloria Grow, Jen Feuerstein and an equine friend. 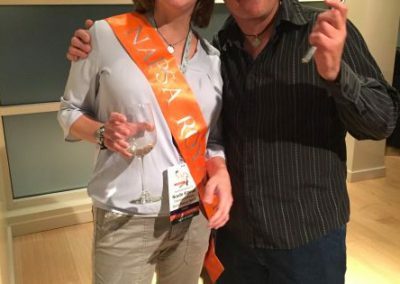 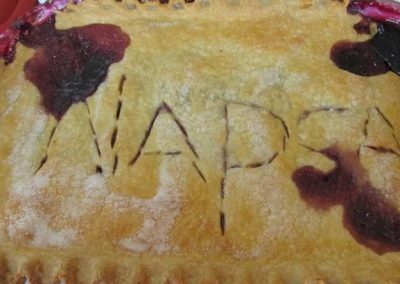 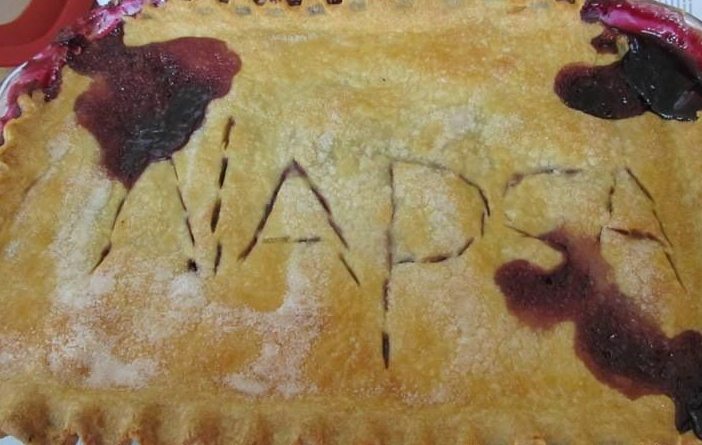 Just about anything can be NAPSA-themed! 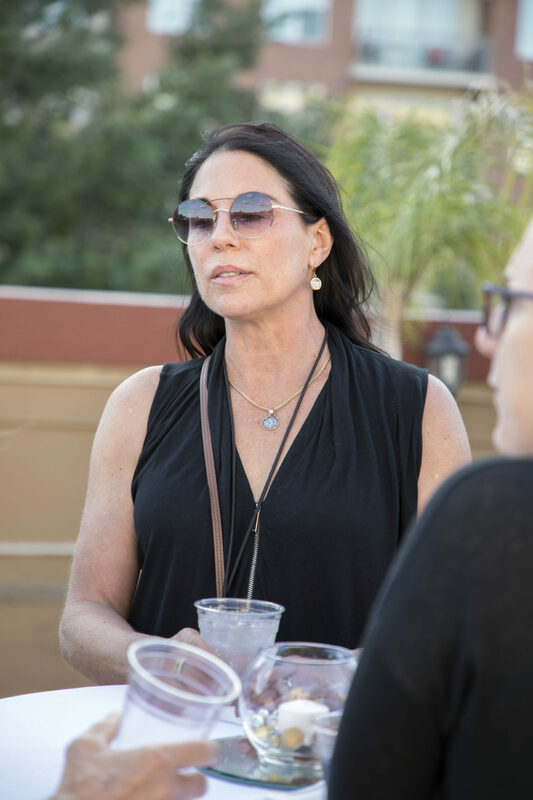 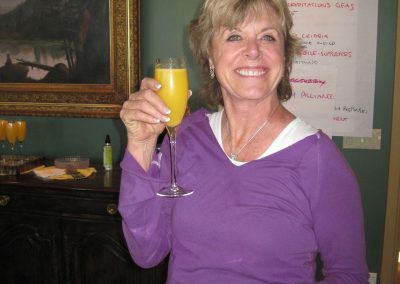 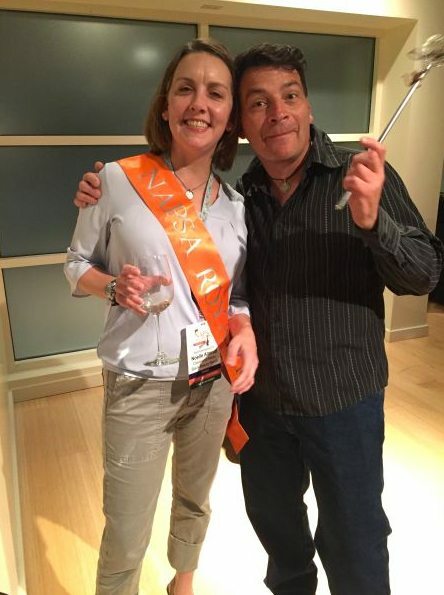 Lesley Day was the hostess with the mostess!